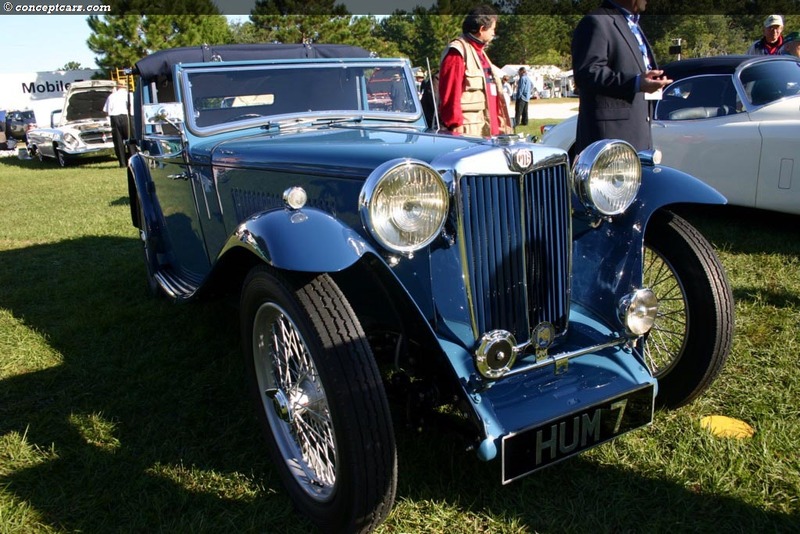 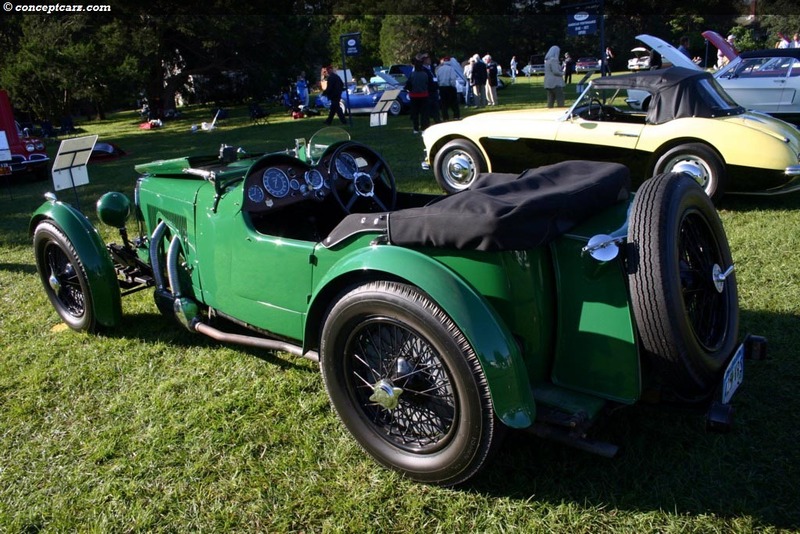 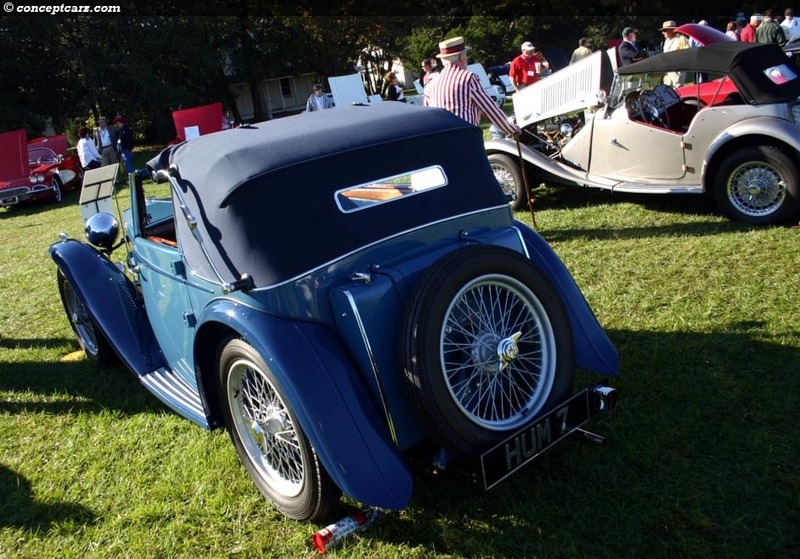 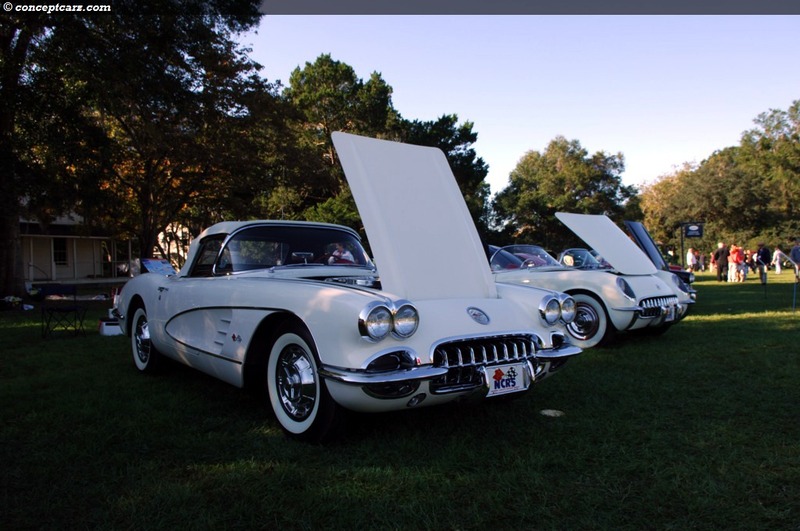 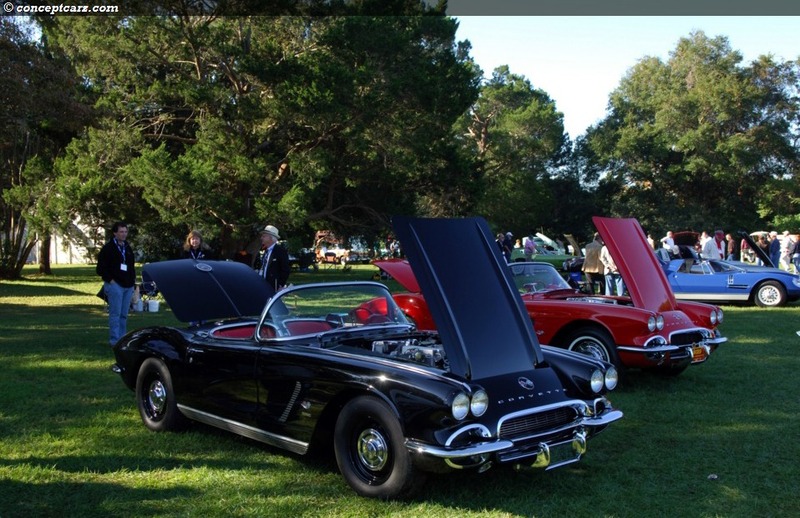 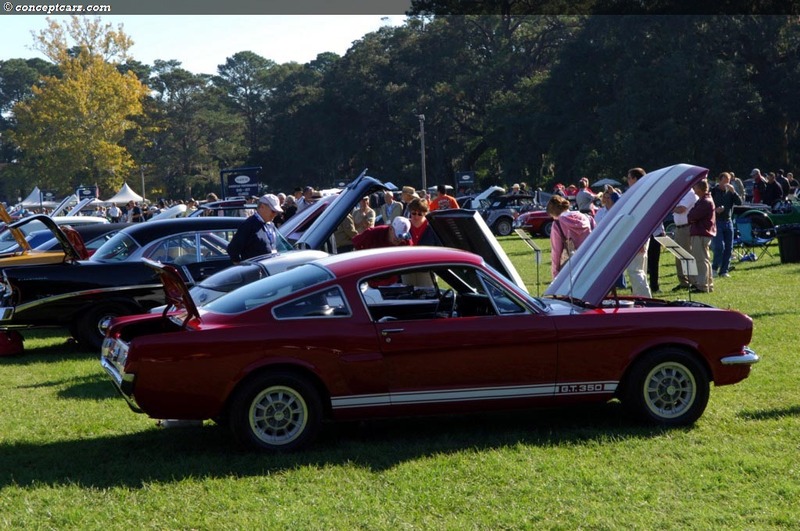 The Sixth Annual Concours d'Elegance & Motoring Festival was held in early November and featured a very broad array of automotive related events that catered to a very wide audience. 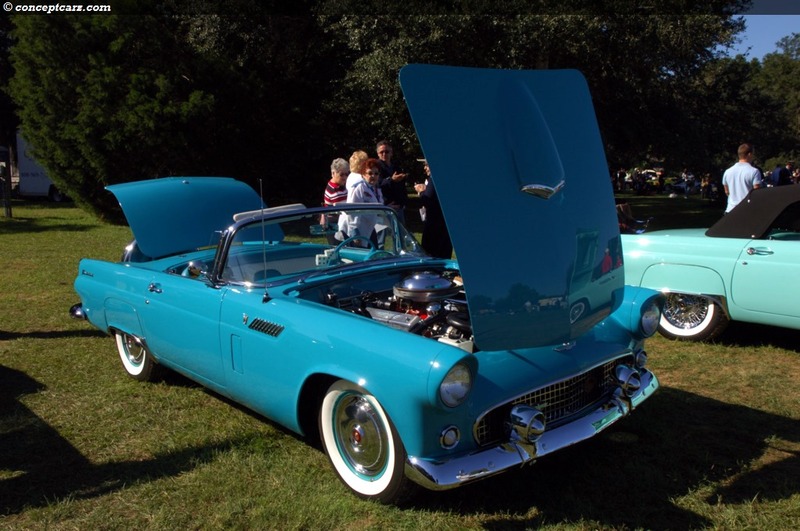 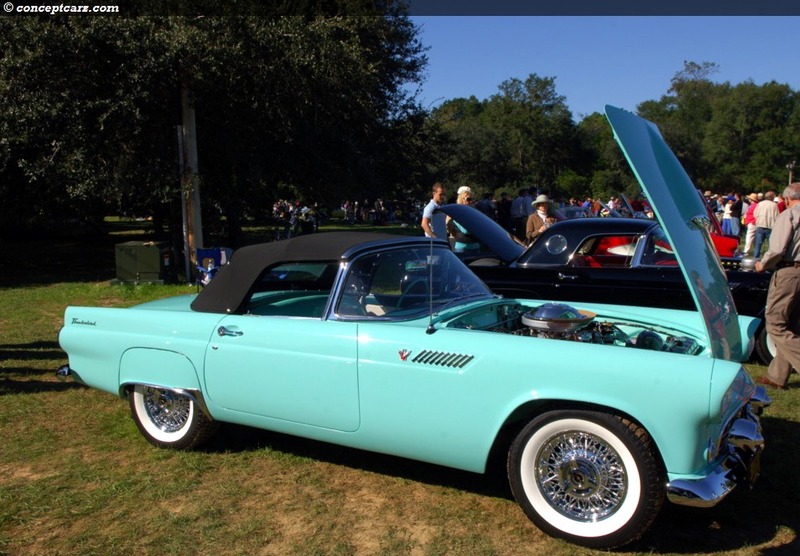 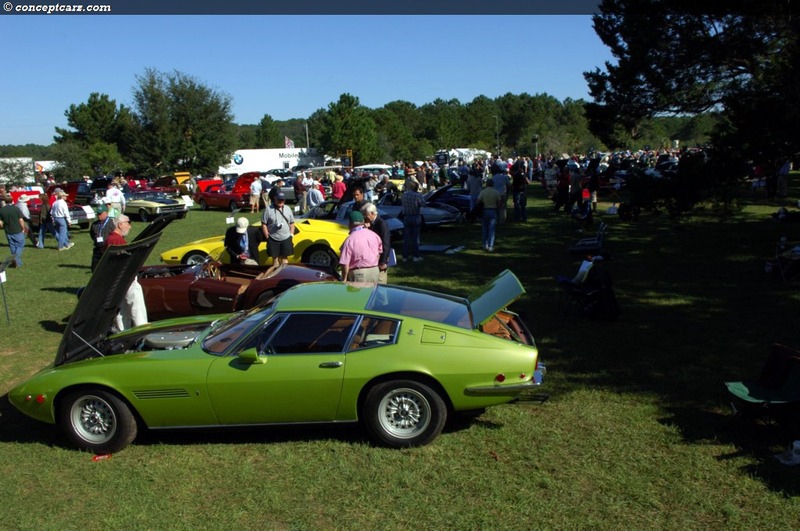 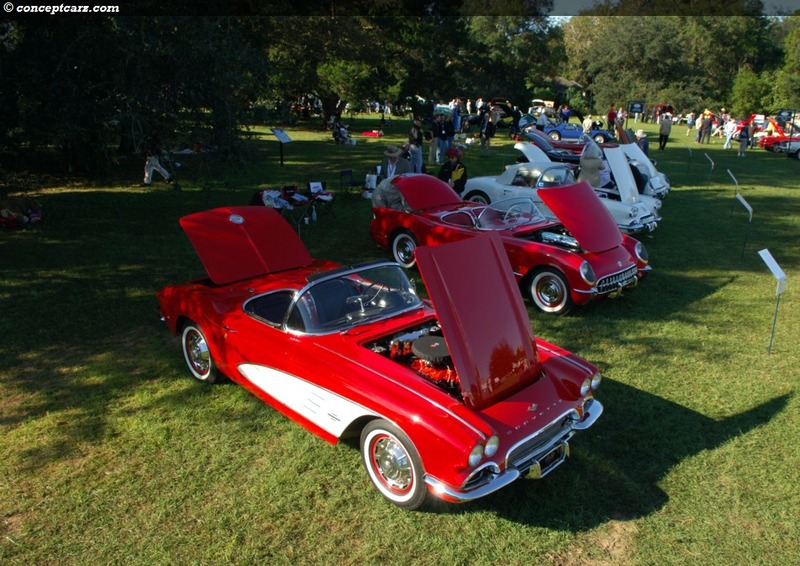 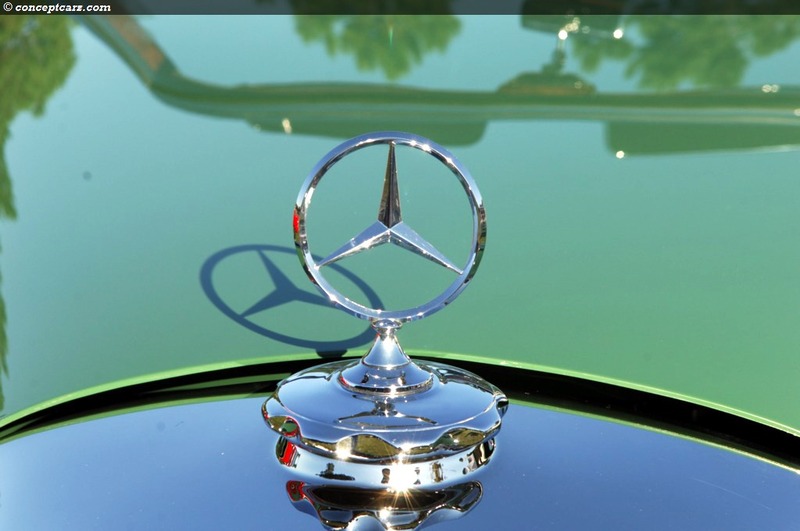 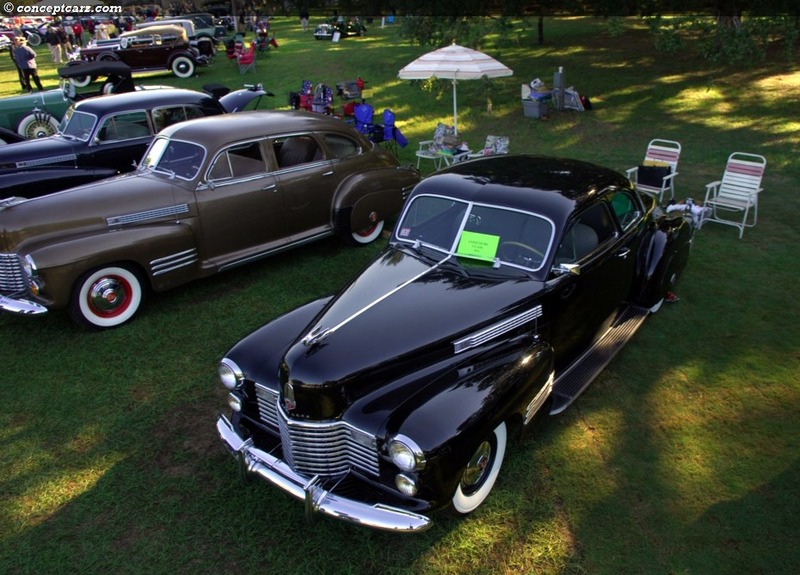 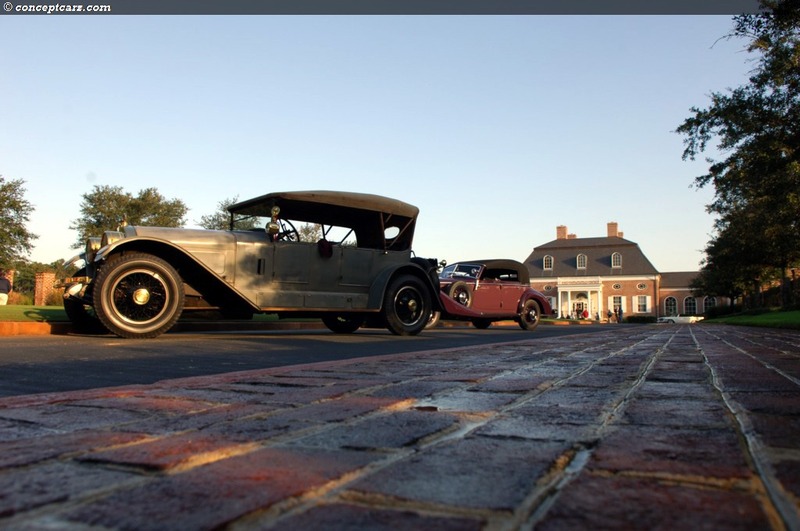 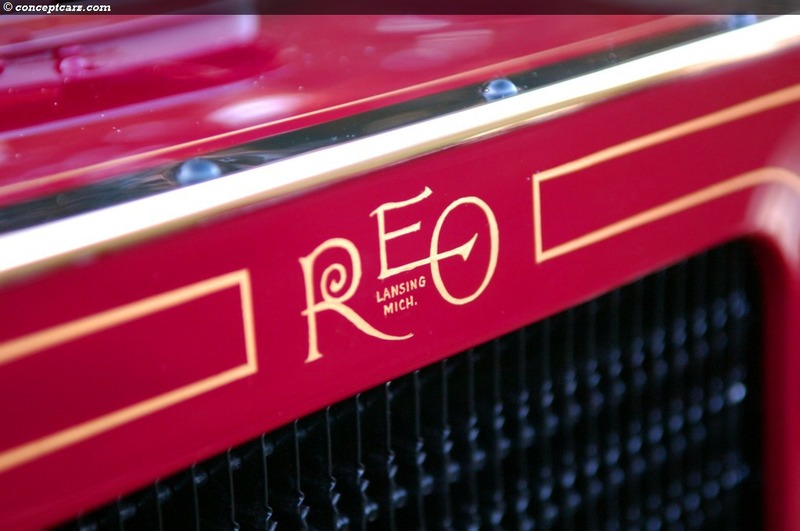 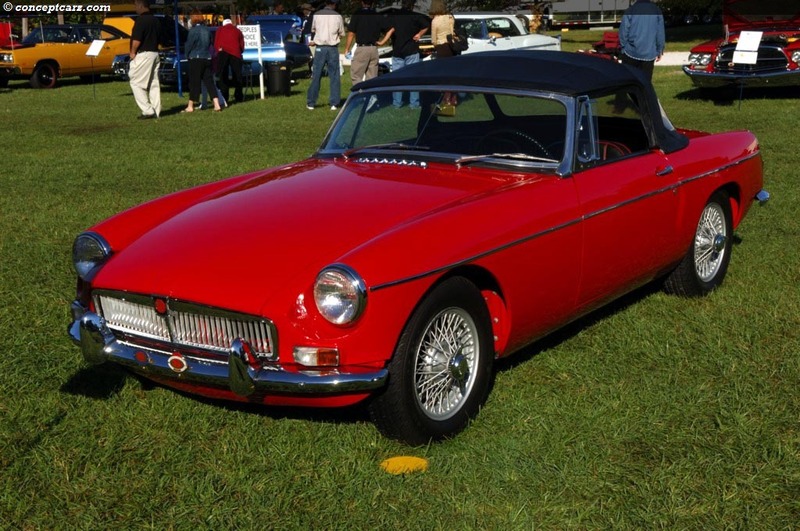 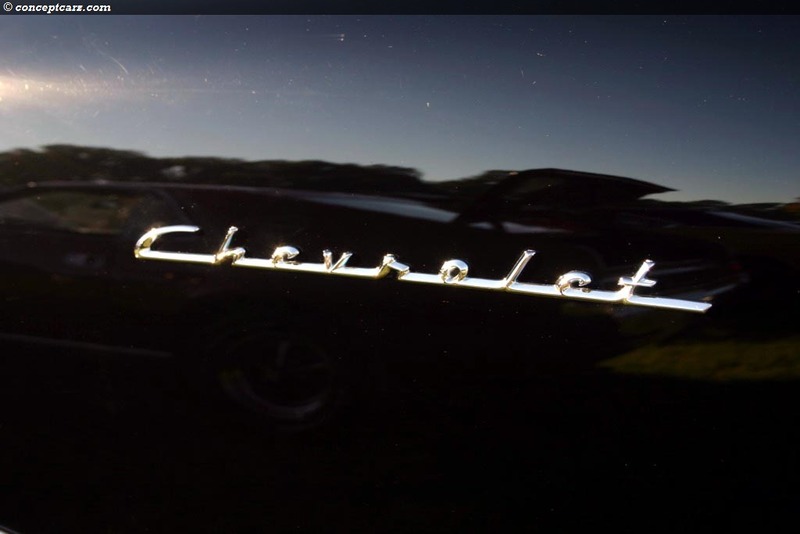 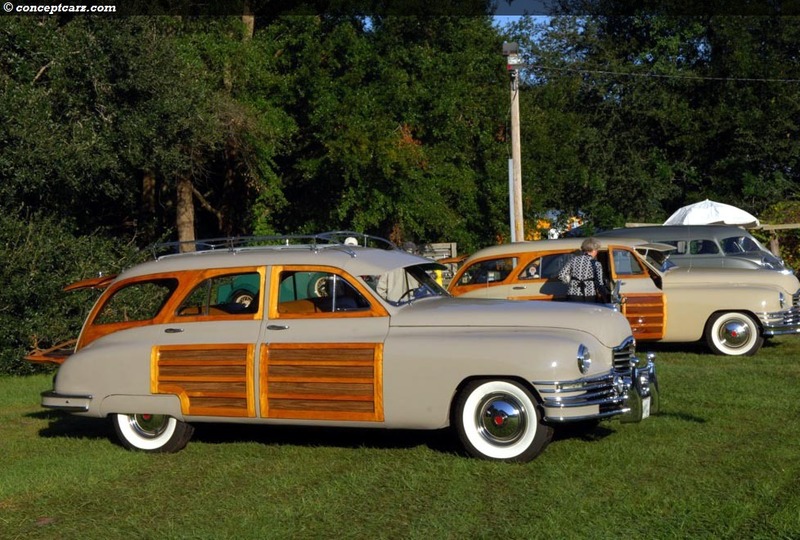 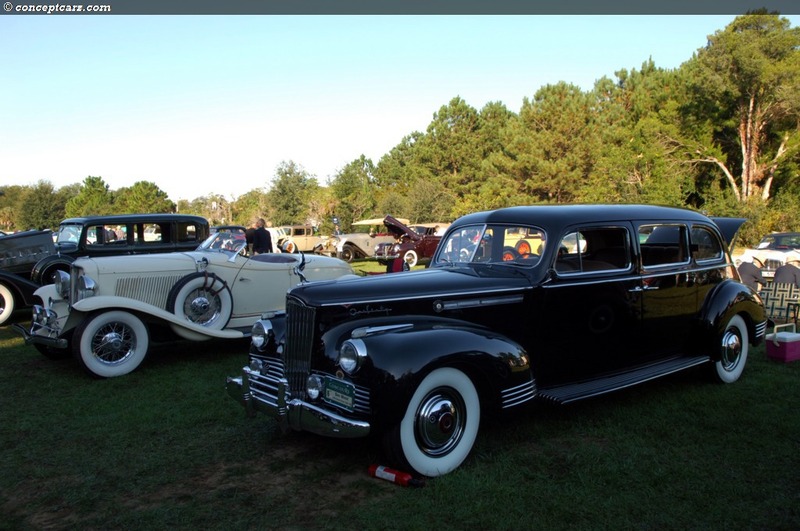 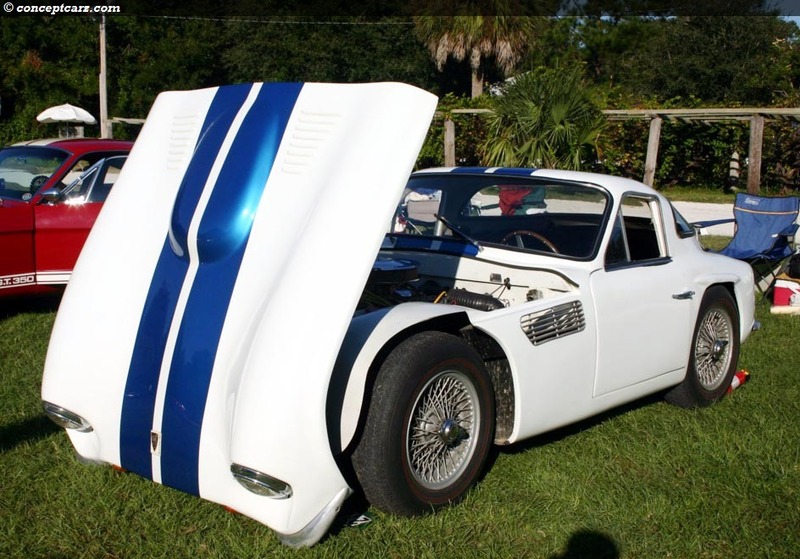 Festivities began with a two-day racing event at Roebling Road, in addition to a new-for-2007 Golf Tournament, fashion show, Worldwide Group auction, automobile tours, car club jamboree, and the Concours d'Elegance as the event's conclusion. 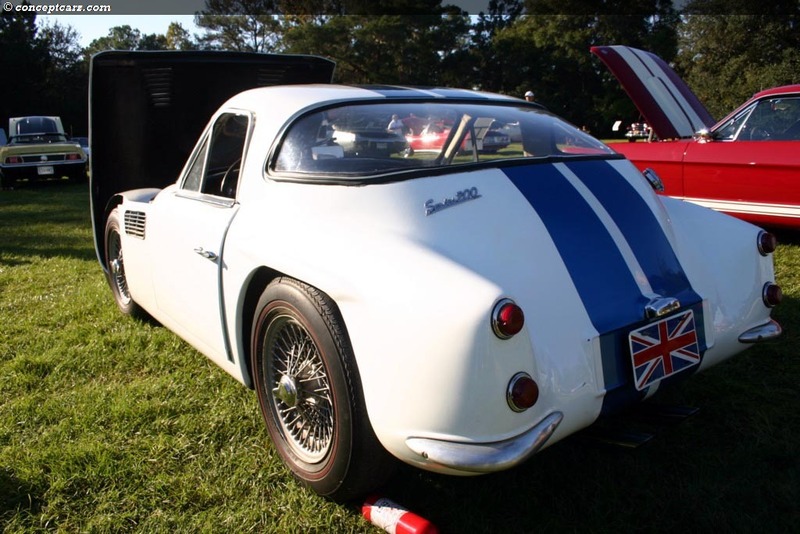 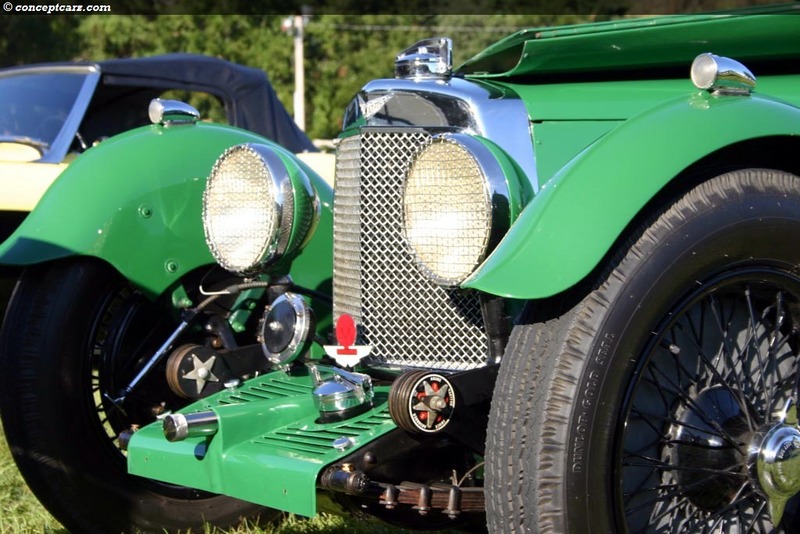 On concours day, there were over ten classes for the 155 judged vehicles, a motorcycle display, racing cars and 'Quest for Speed' machines, and emergency vehicles including police cars, fire engines, and ambulances. 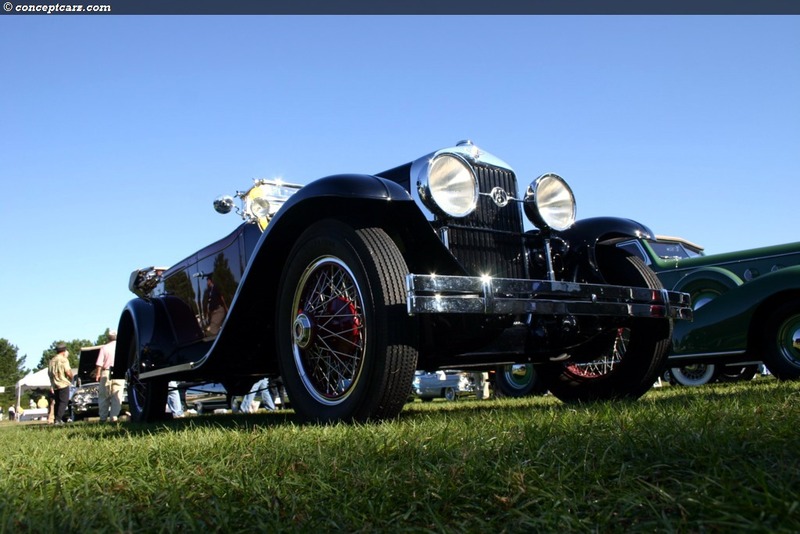 The concours has made extra efforts to educate even the youngest of visitors, by showcasing museum displays with personnel on hand to explain the historical significance of the vehicles. 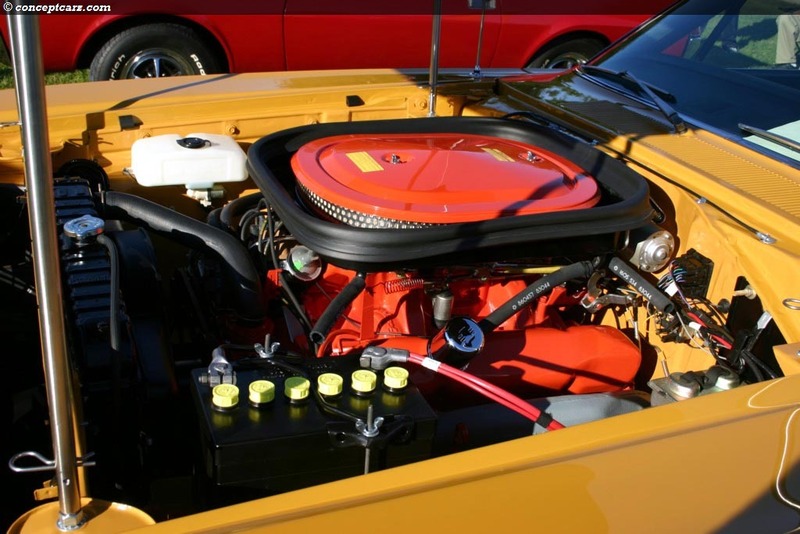 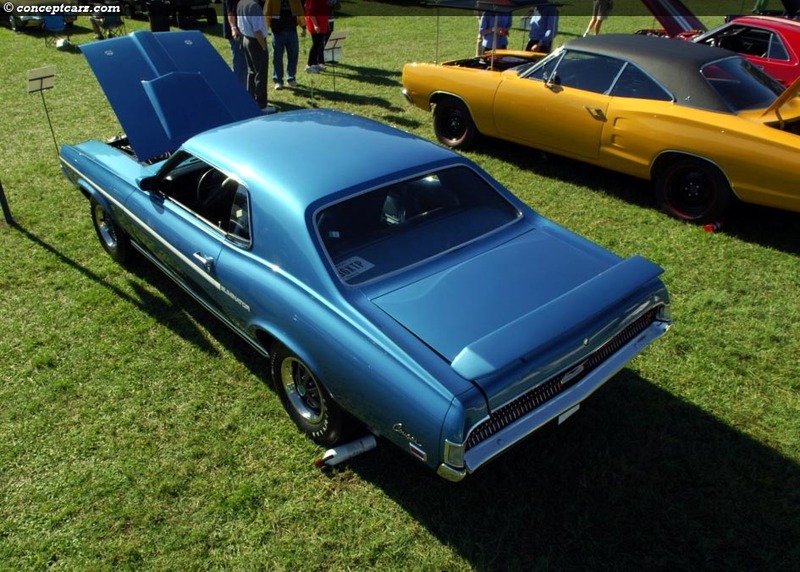 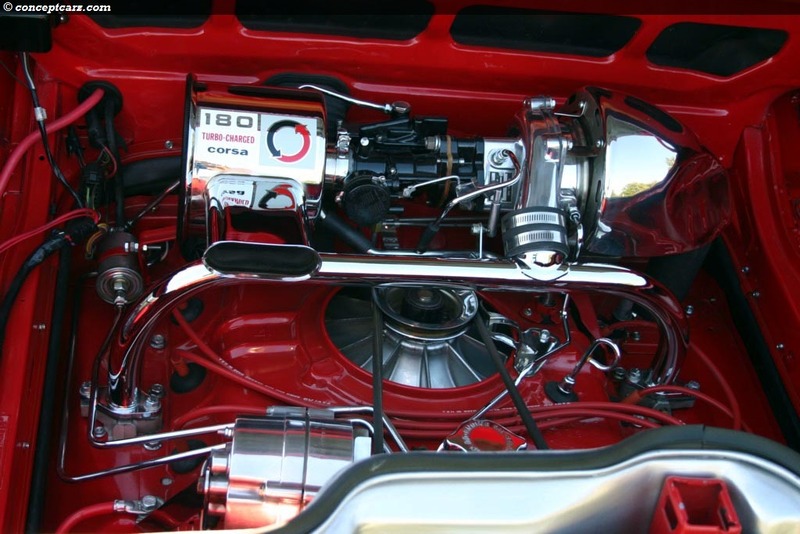 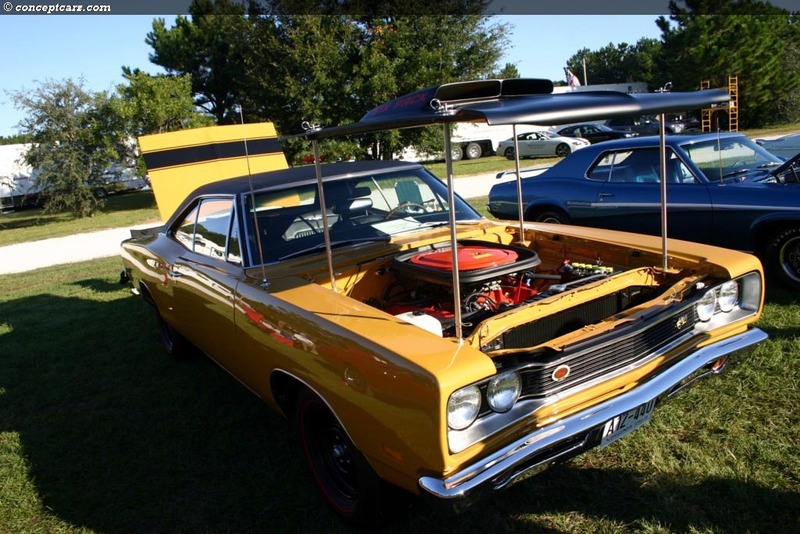 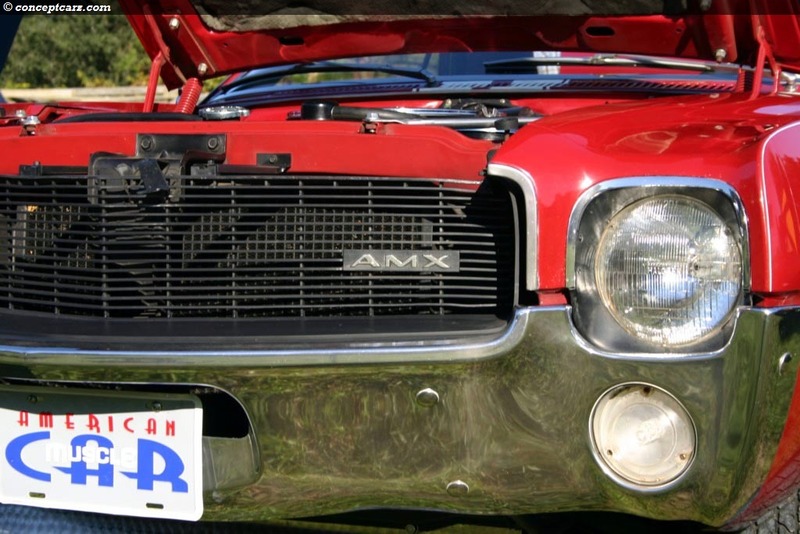 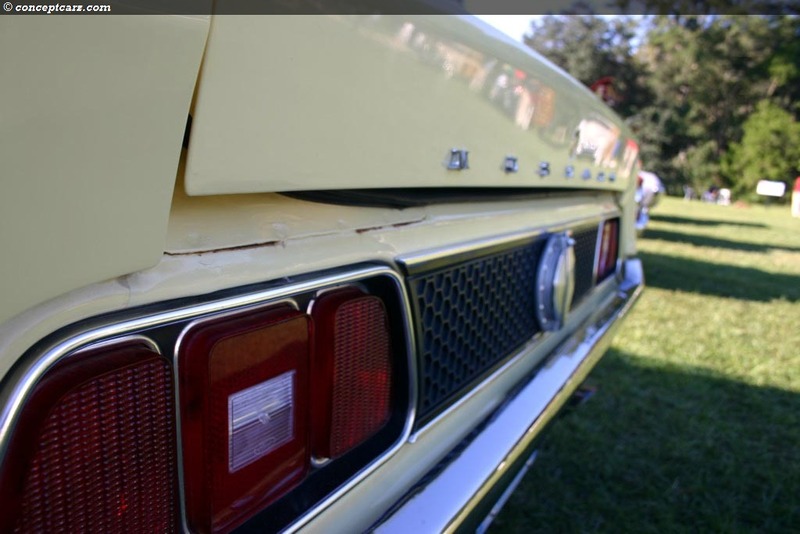 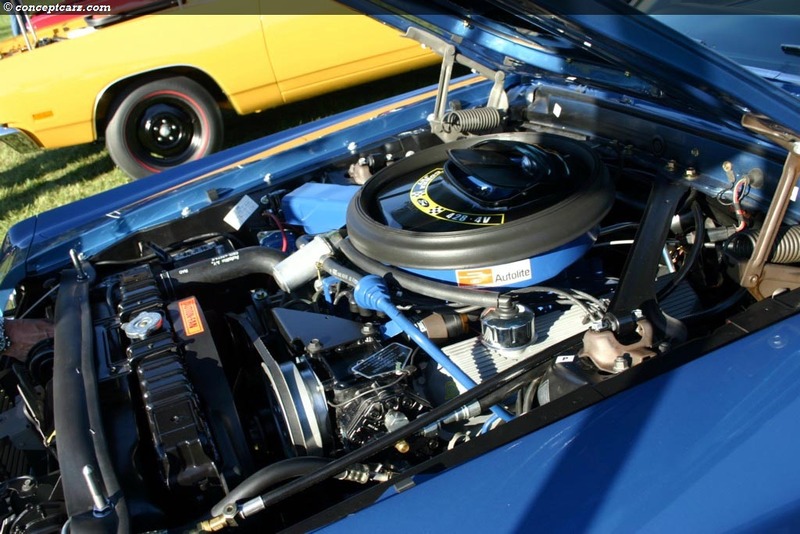 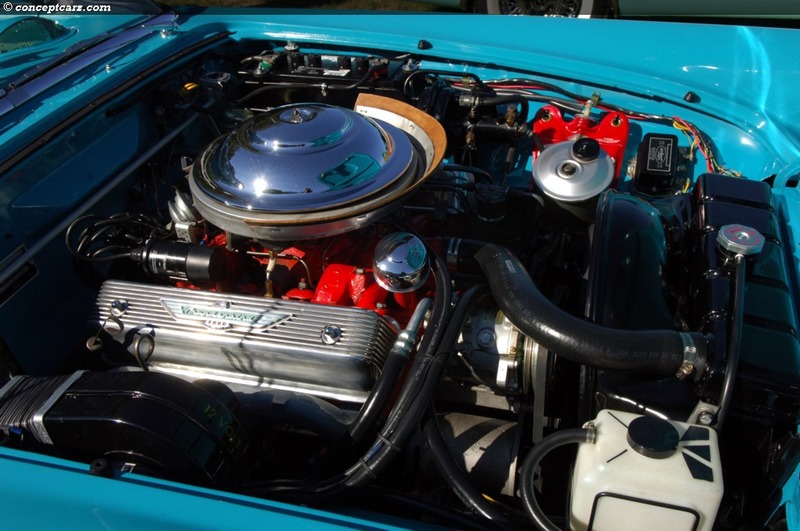 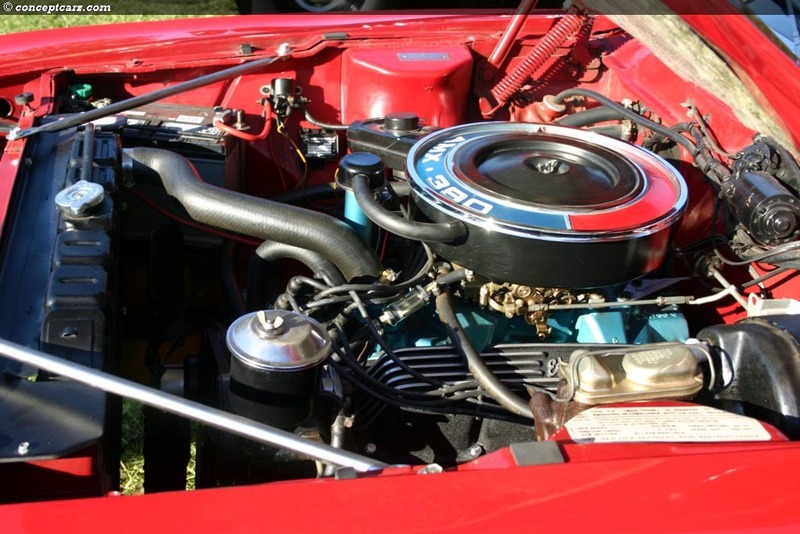 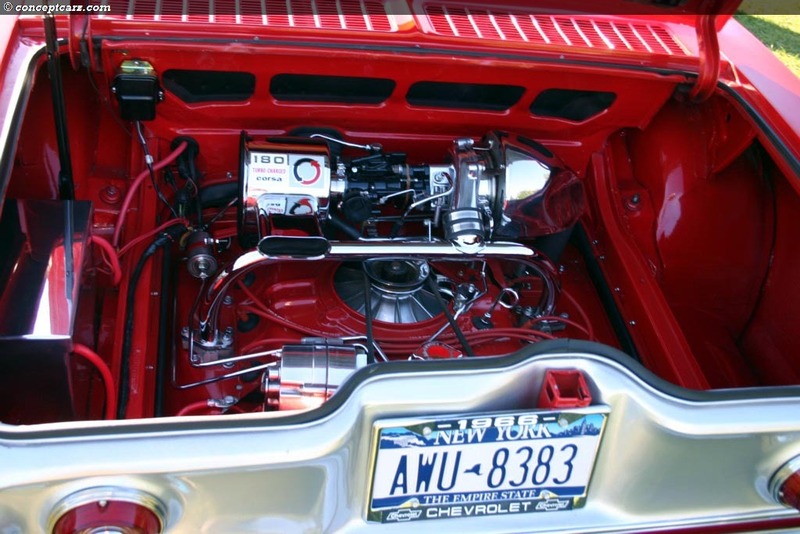 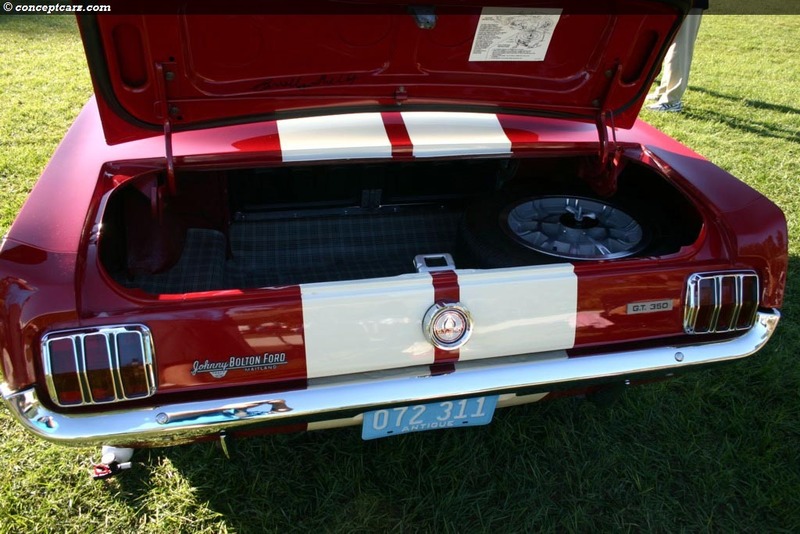 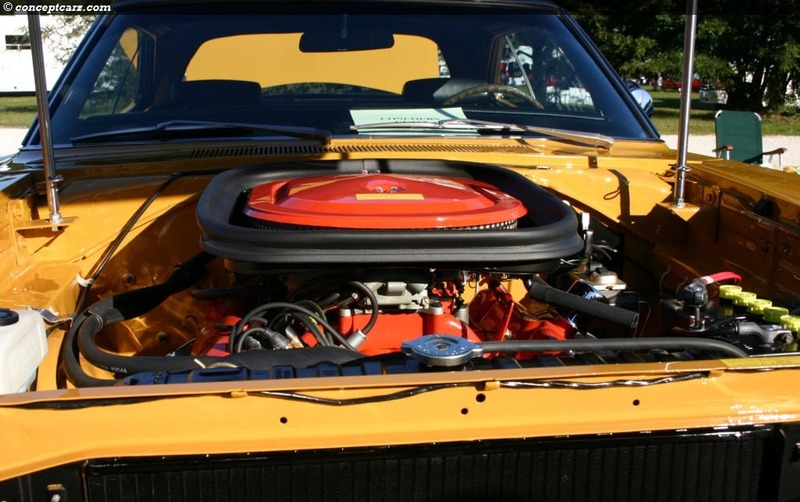 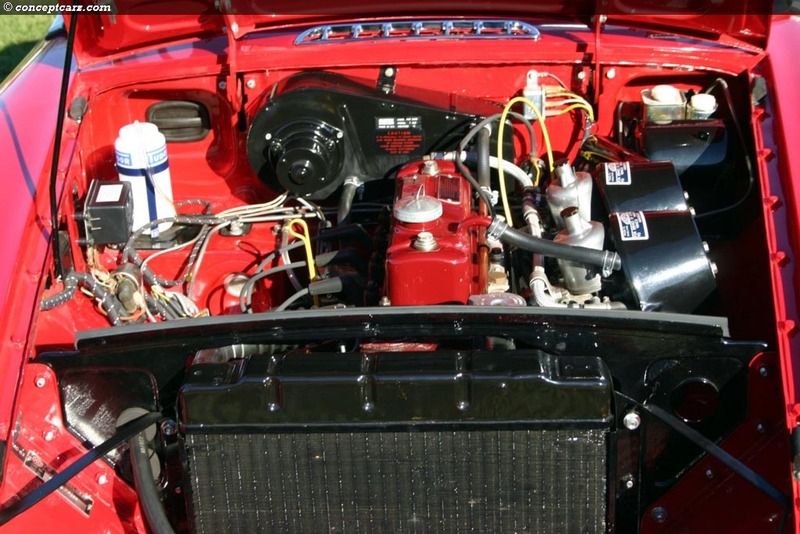 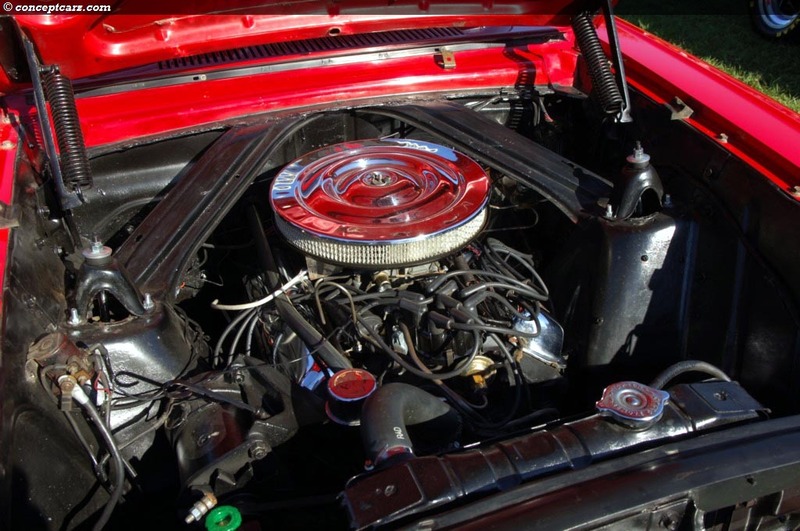 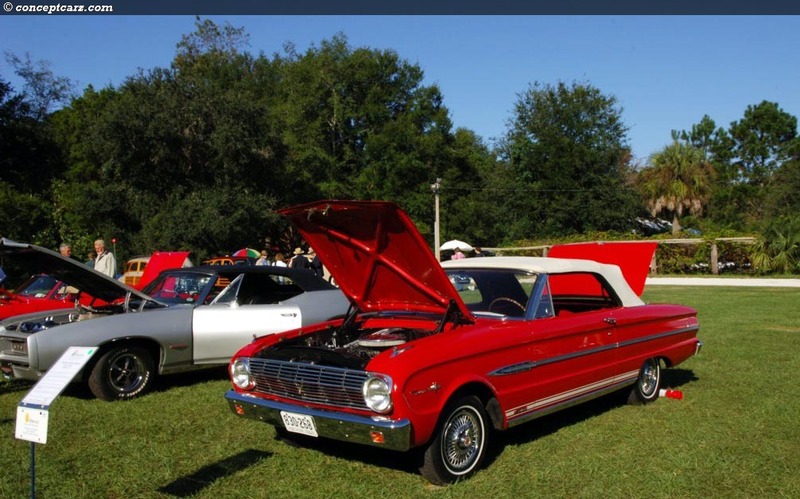 Universities, colleges, and high schools with automotive programs were invited and encouraged to bring students to describe their project vehicles, which were on display. 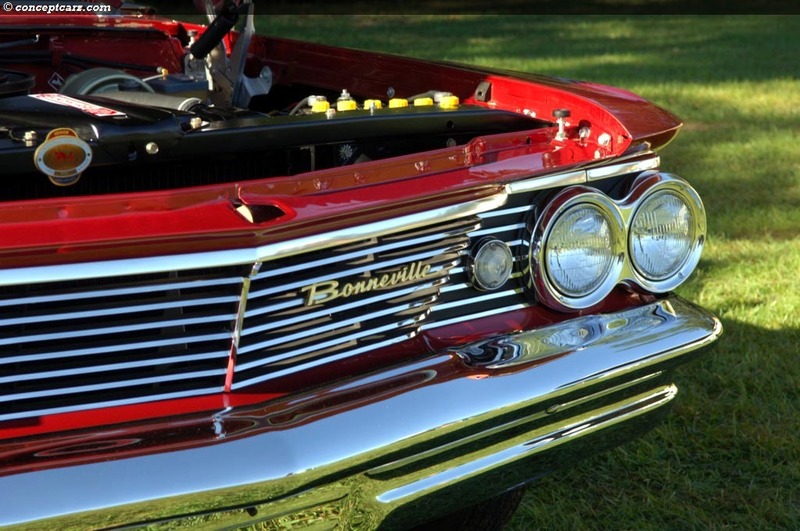 The feature university this year was the Engineering Department of The Ohio State University which brought their record-setting Bonneville Lake Speedster, powered by a fuel cell. 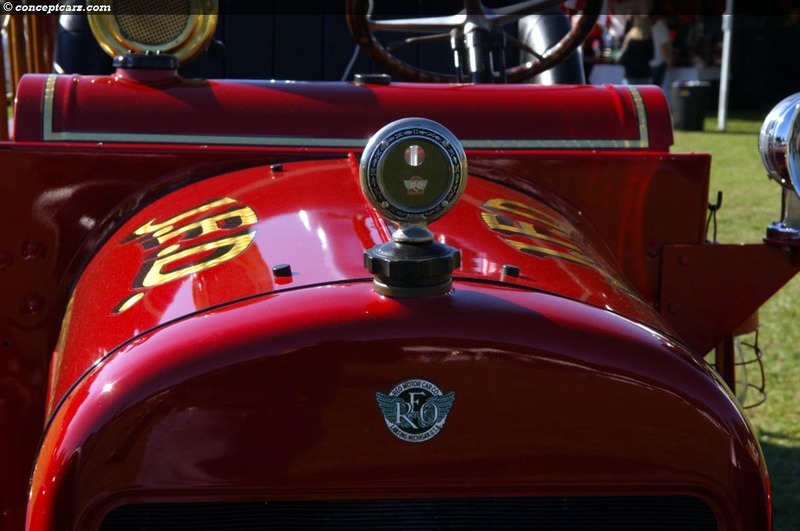 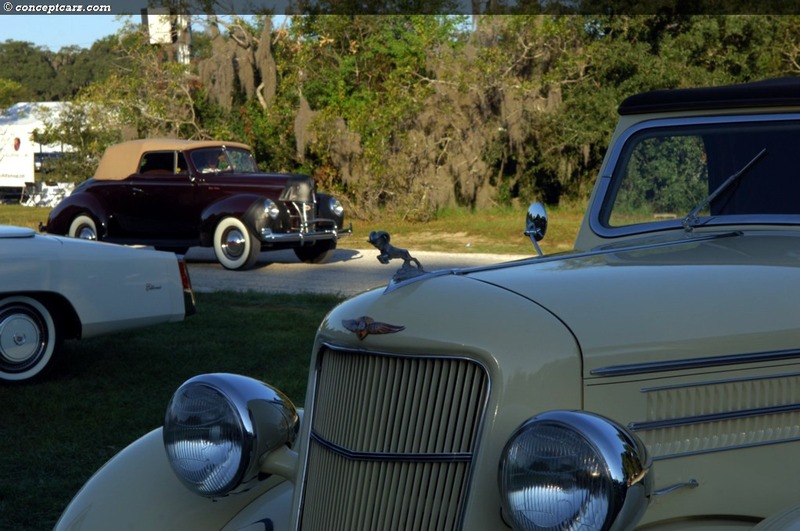 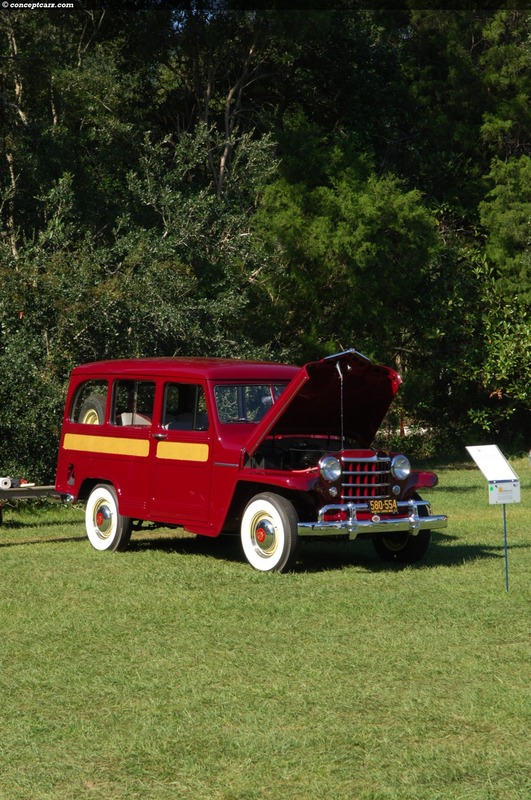 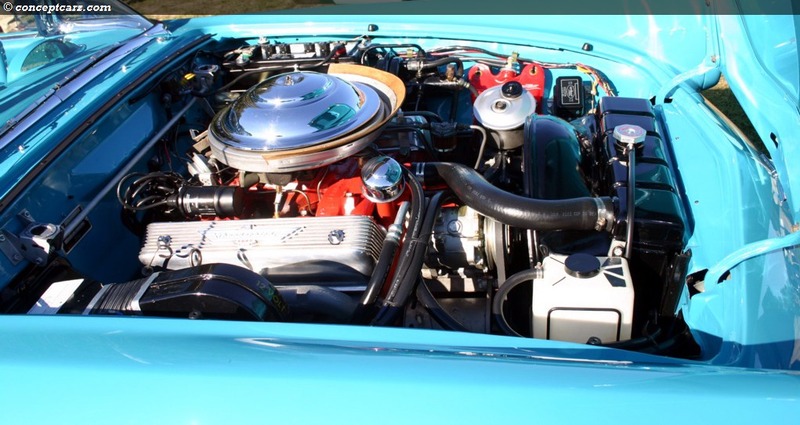 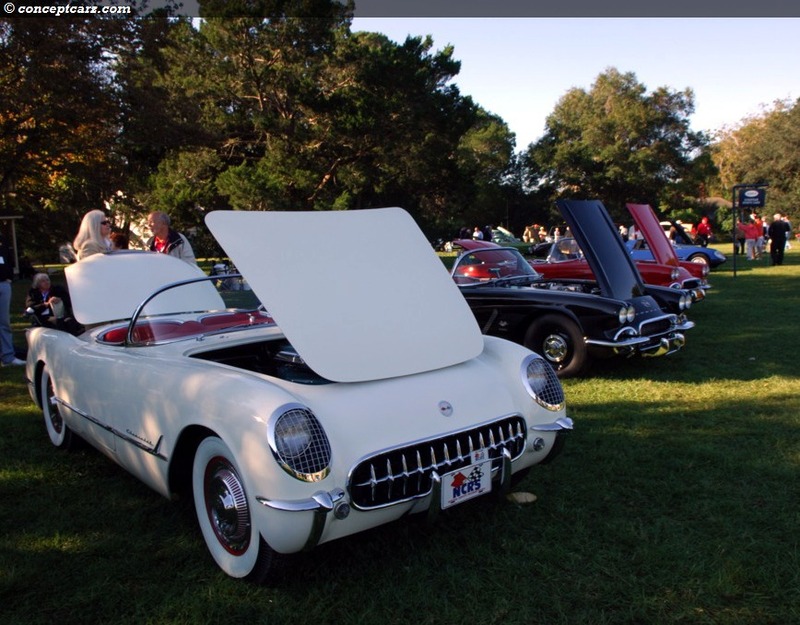 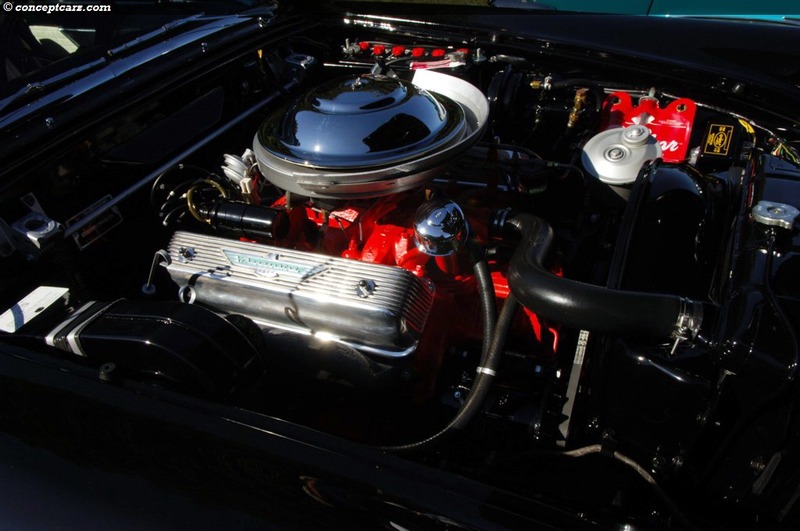 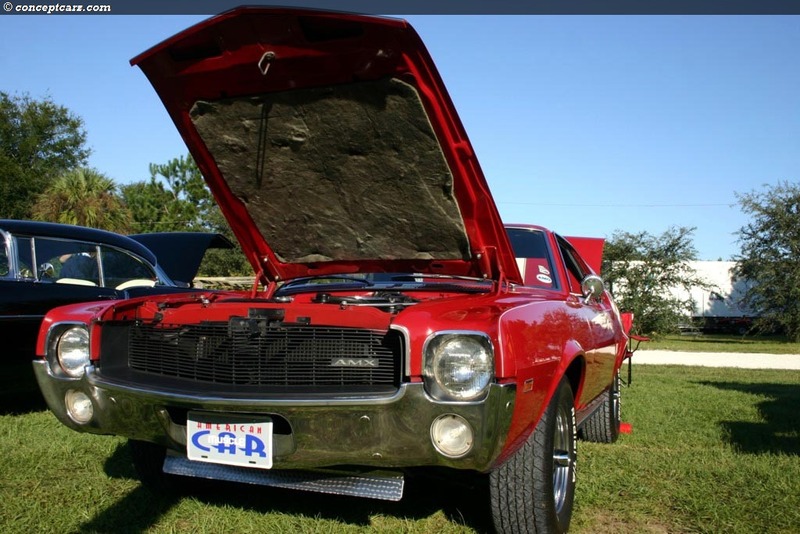 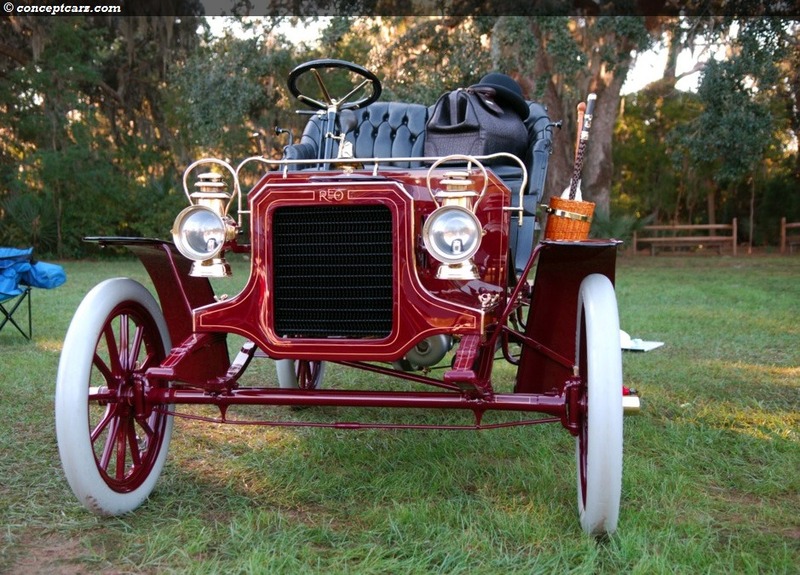 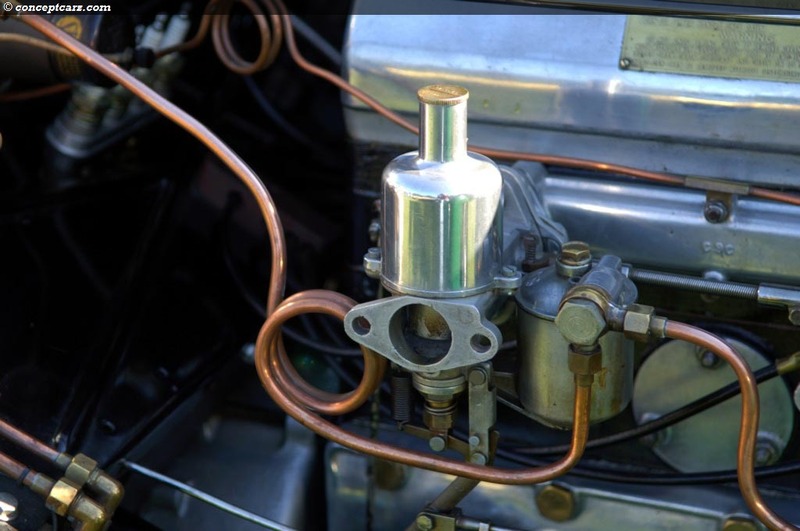 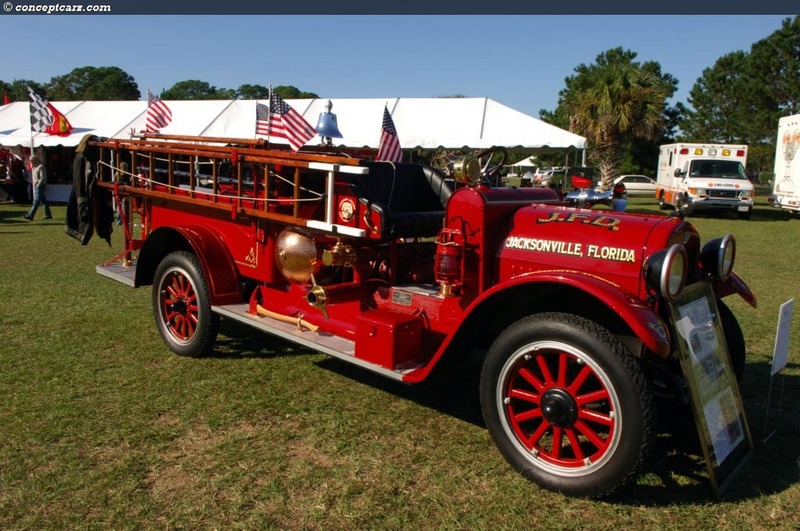 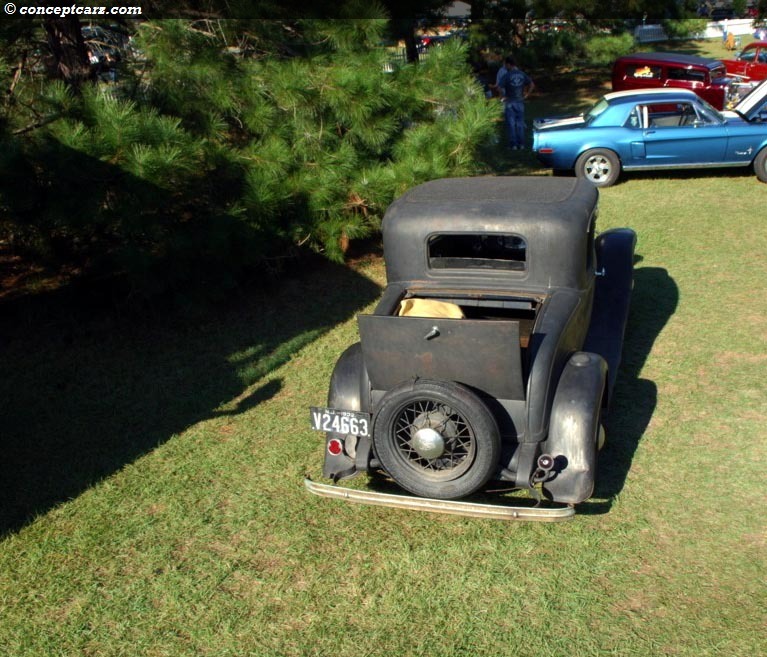 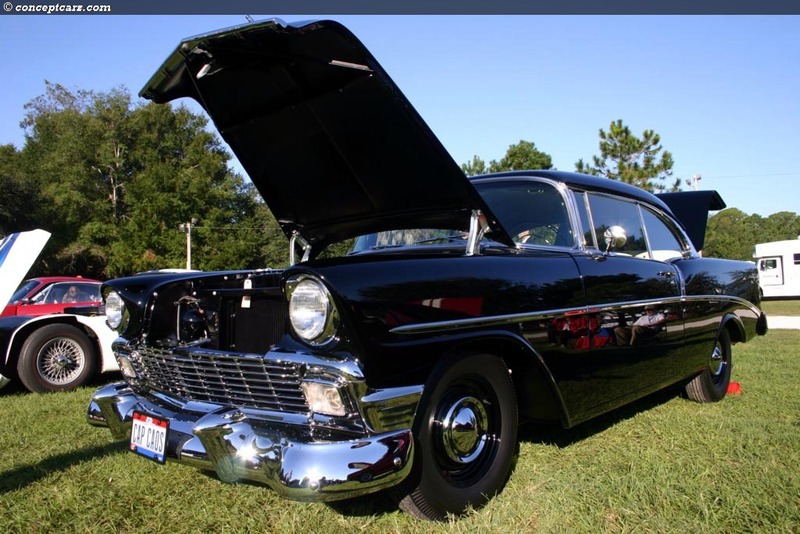 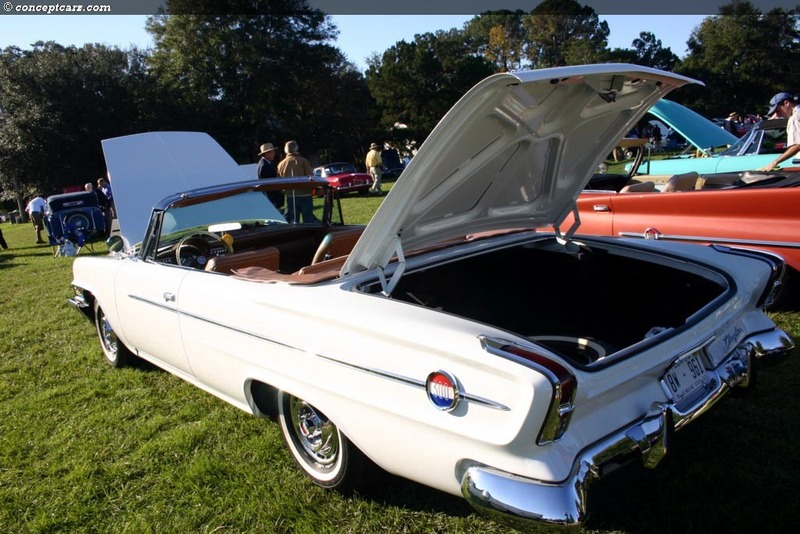 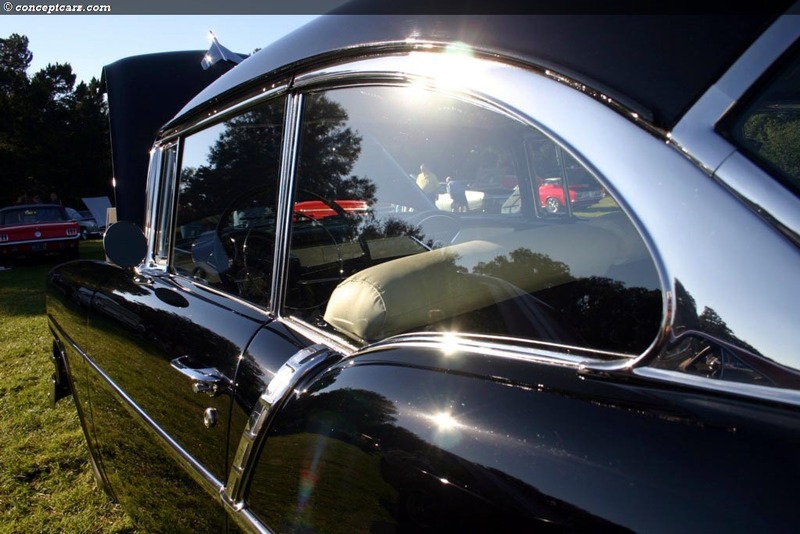 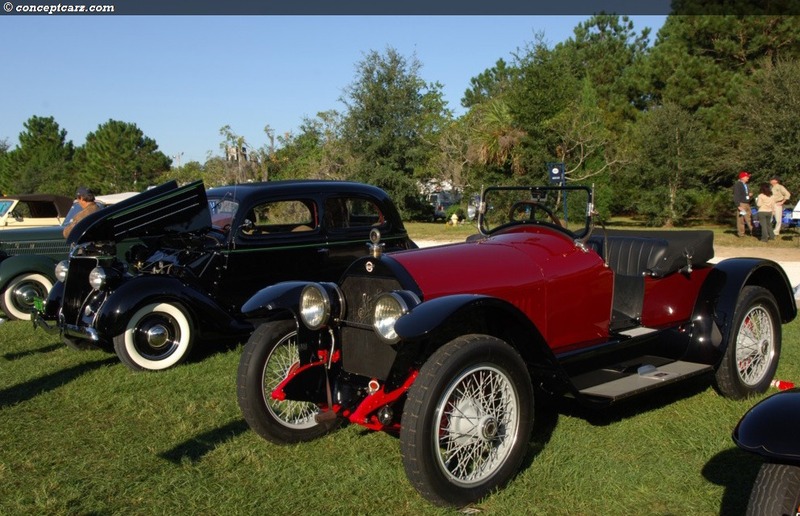 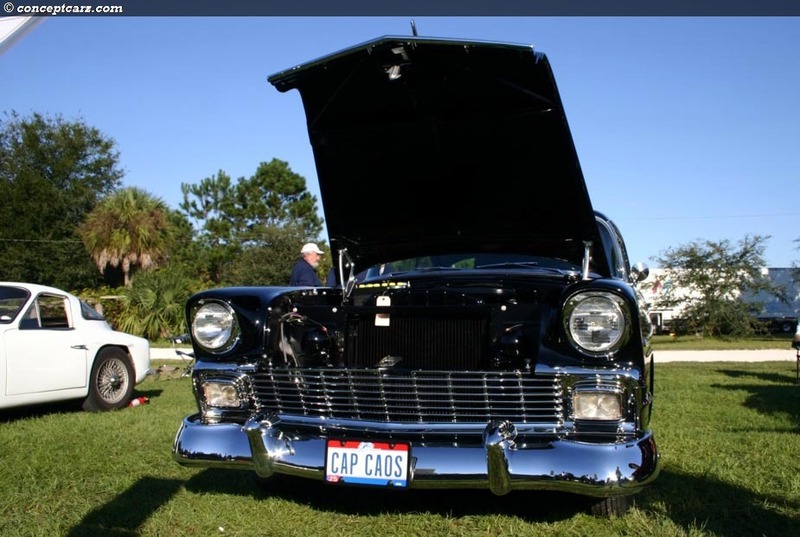 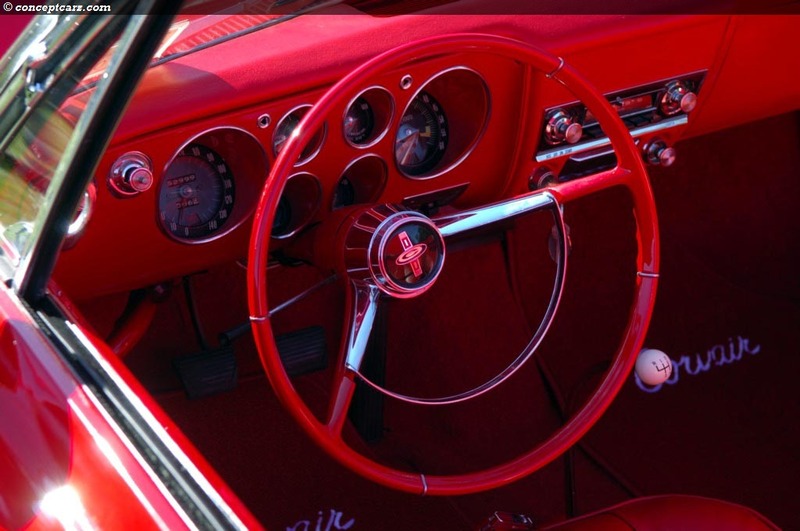 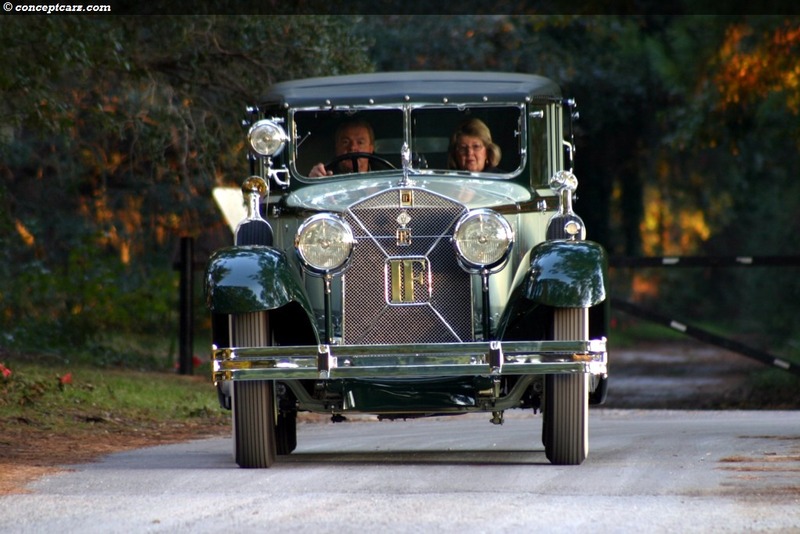 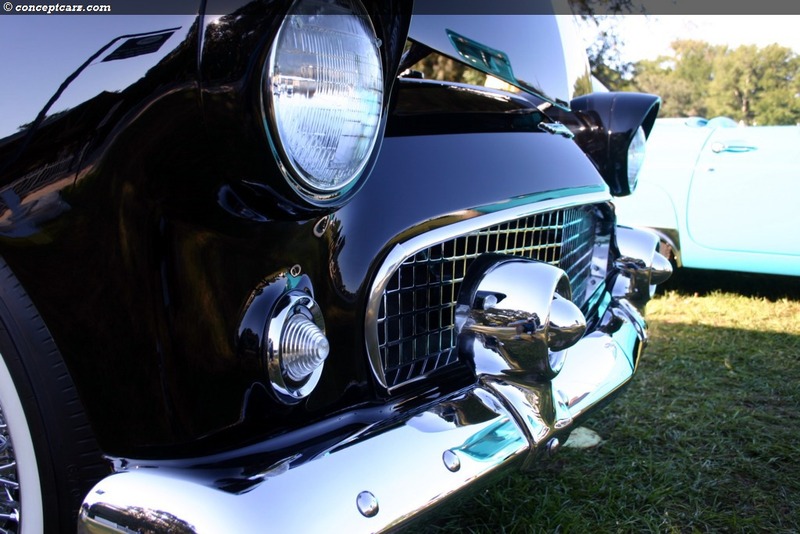 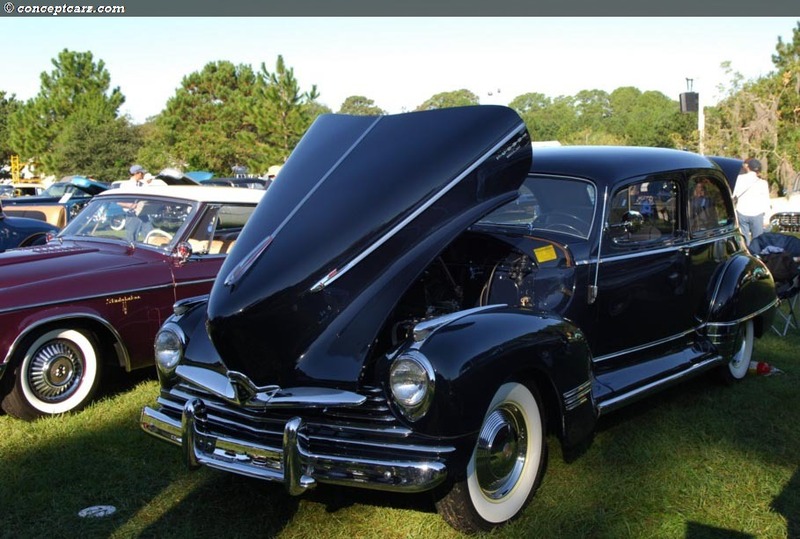 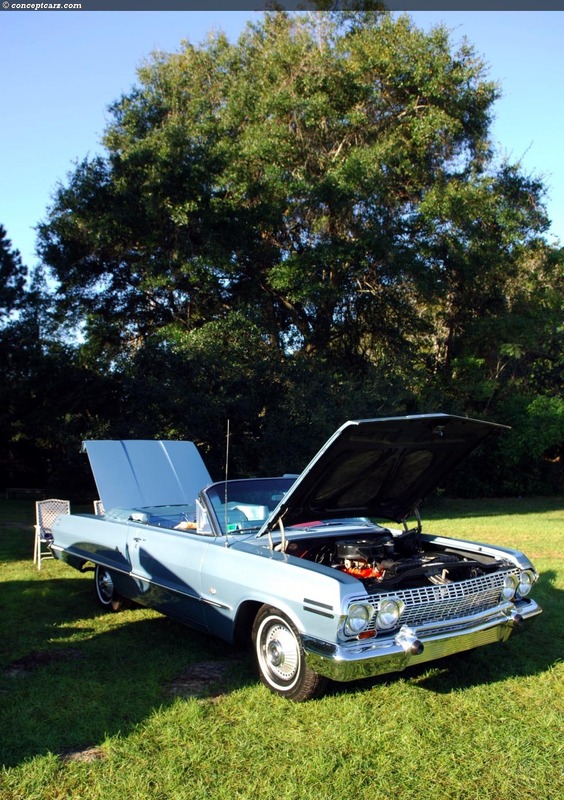 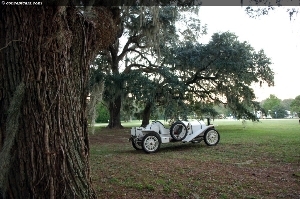 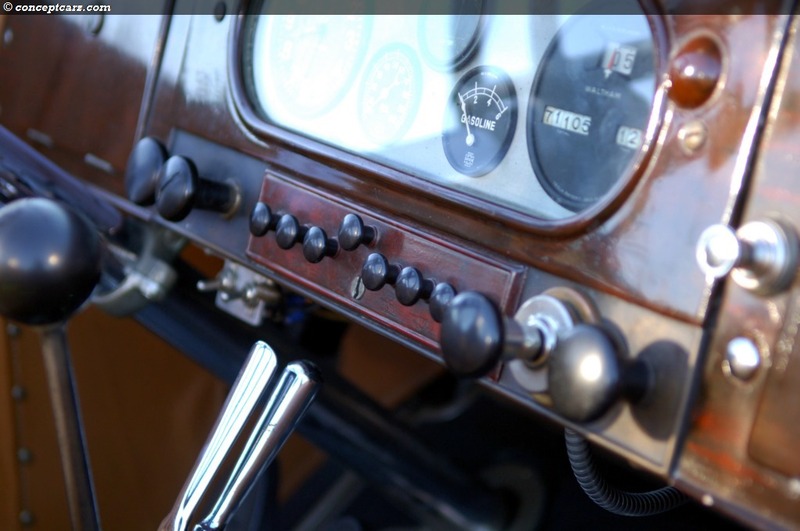 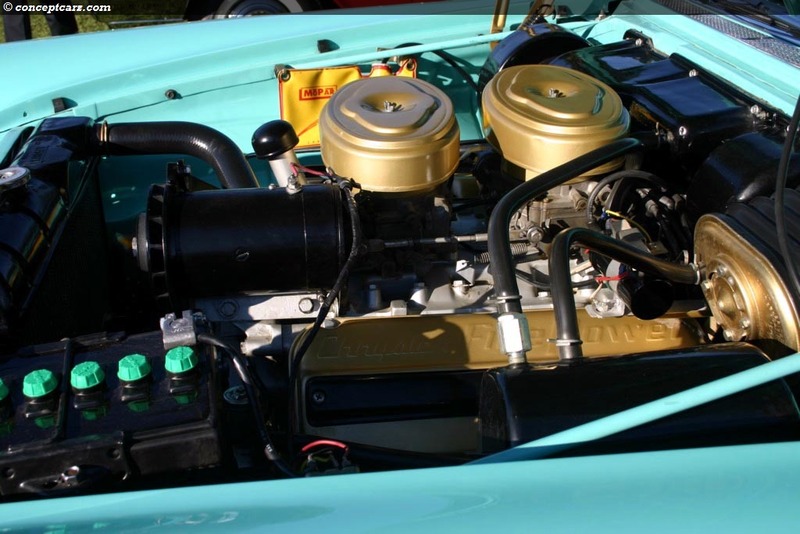 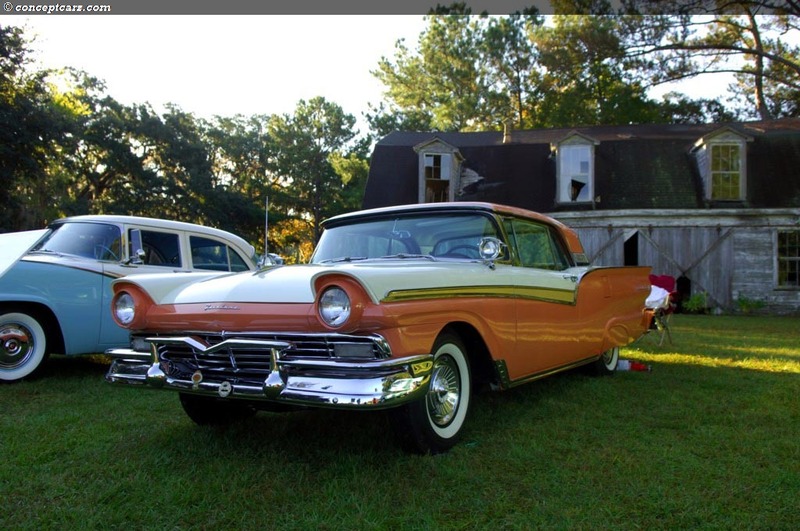 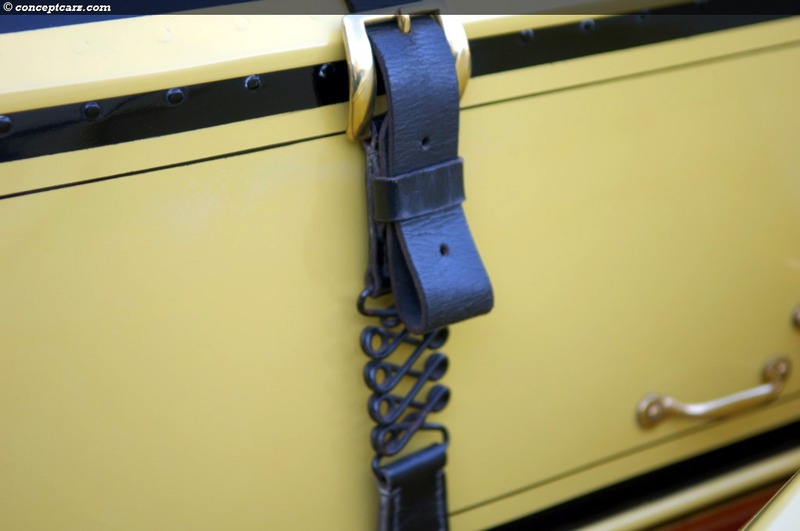 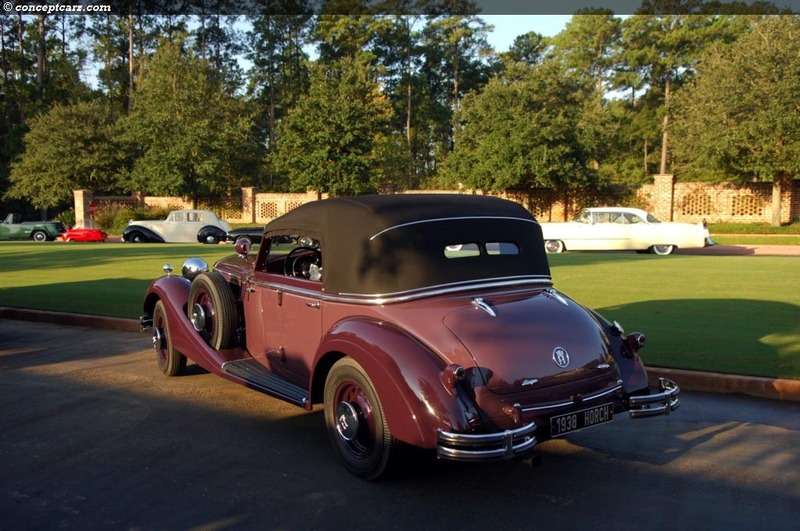 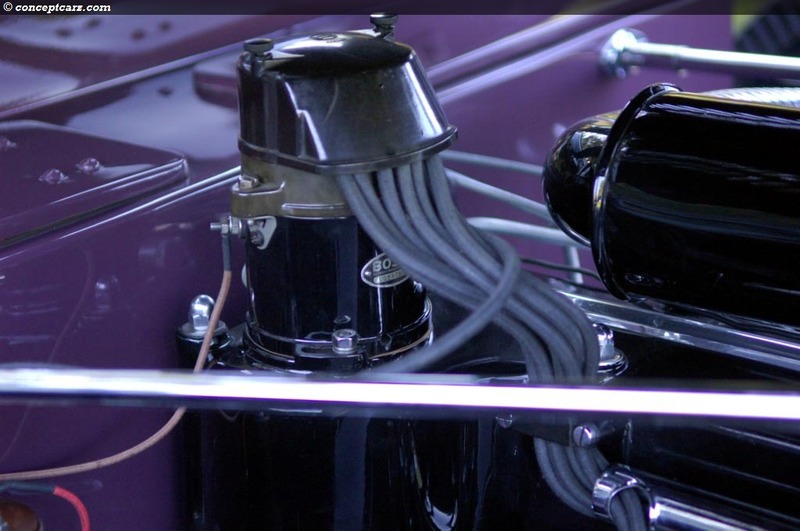 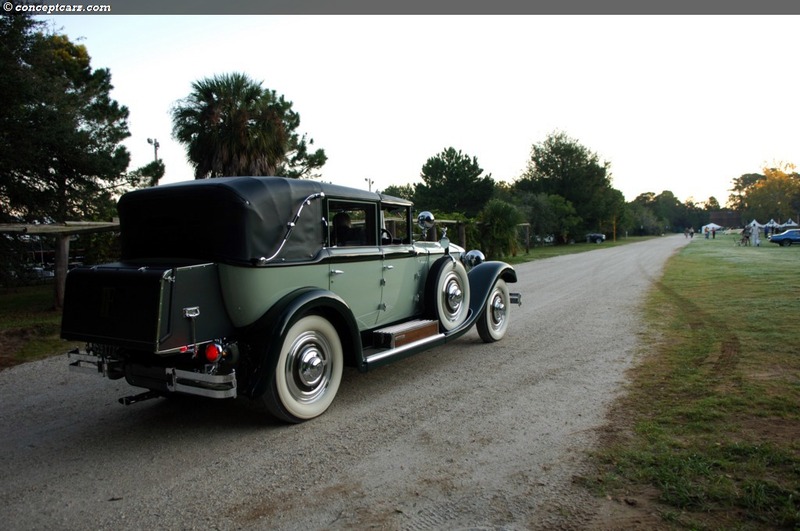 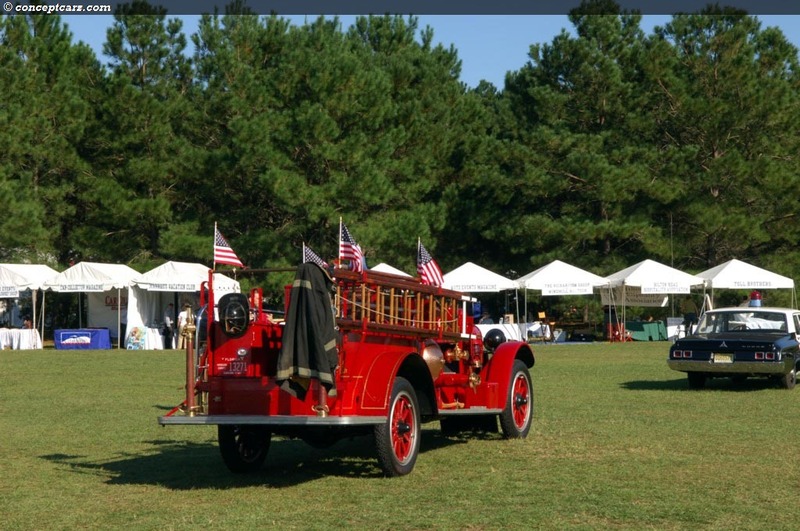 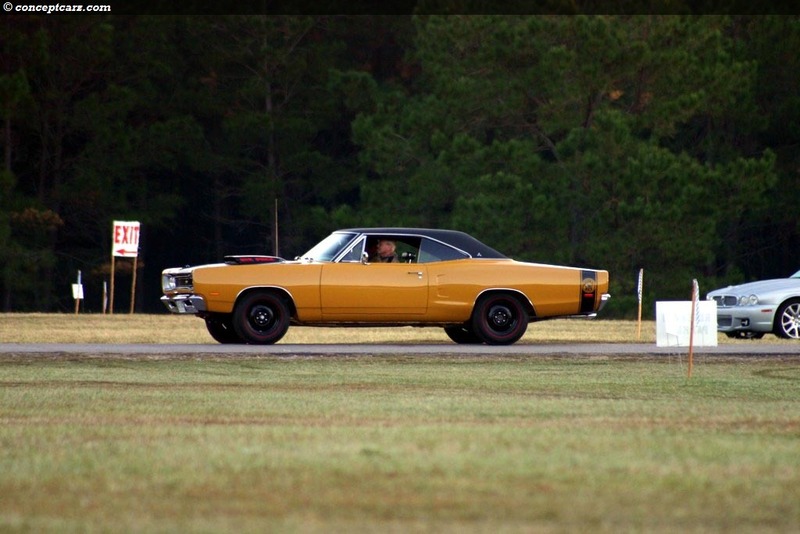 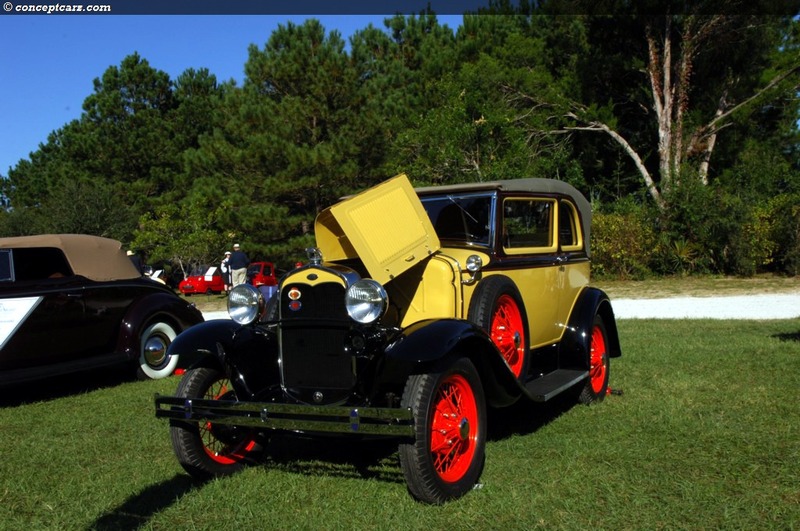 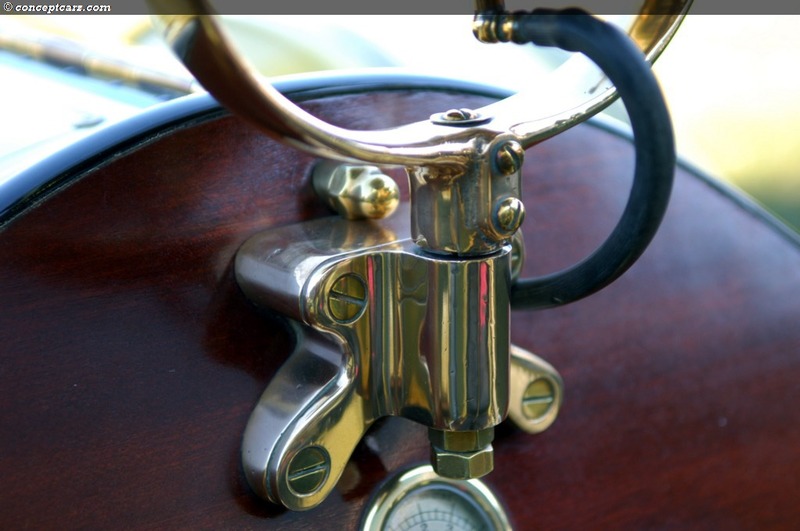 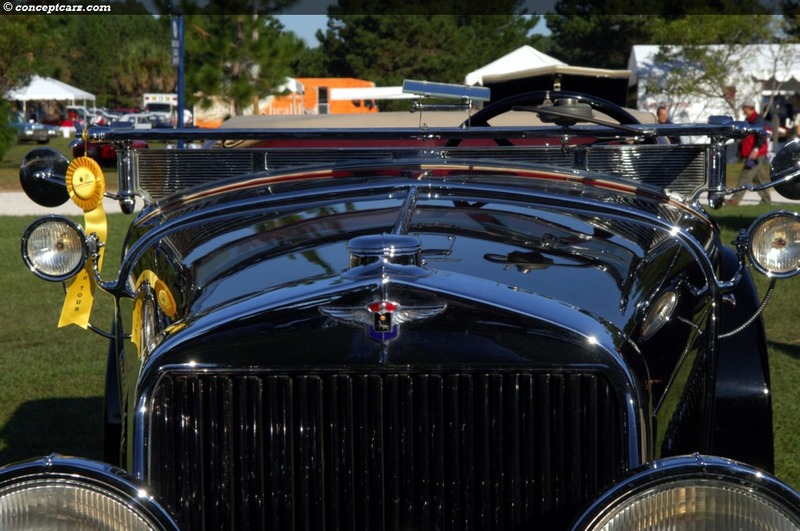 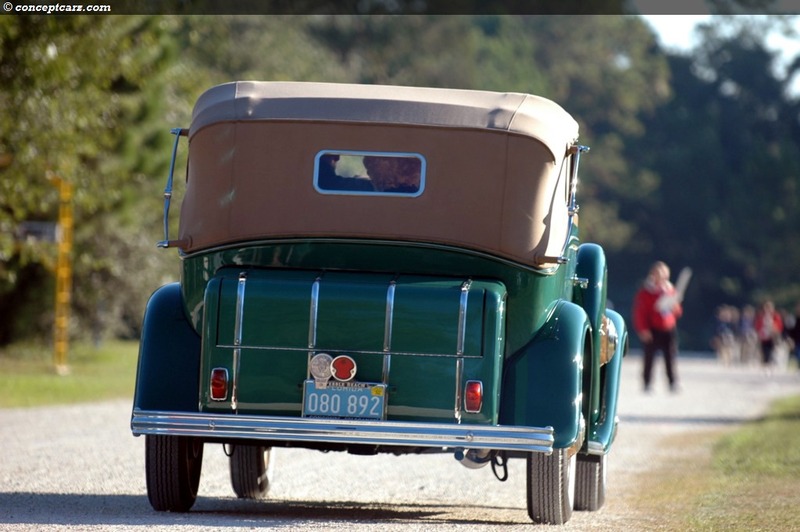 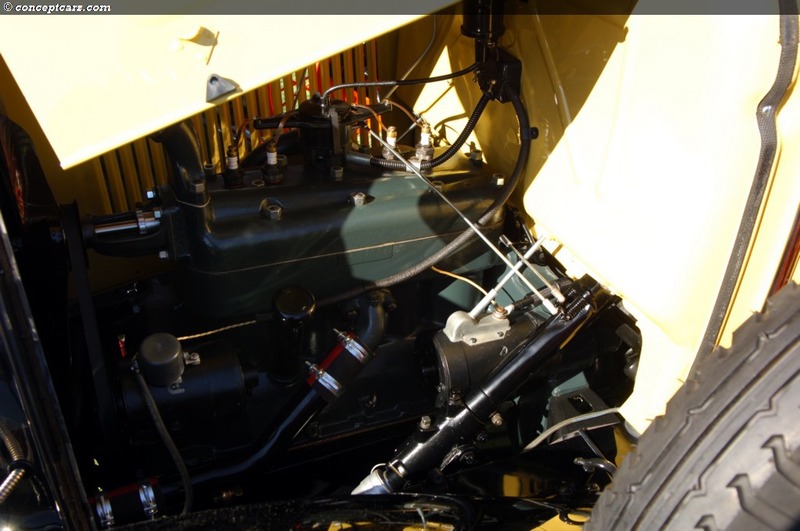 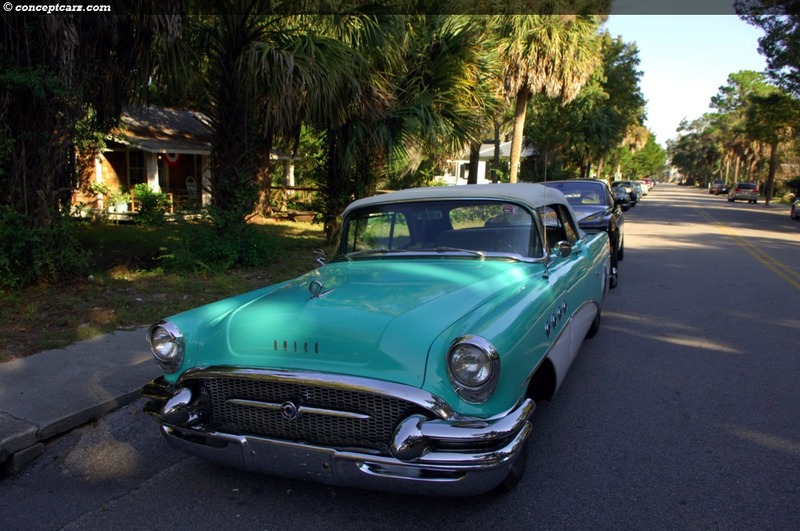 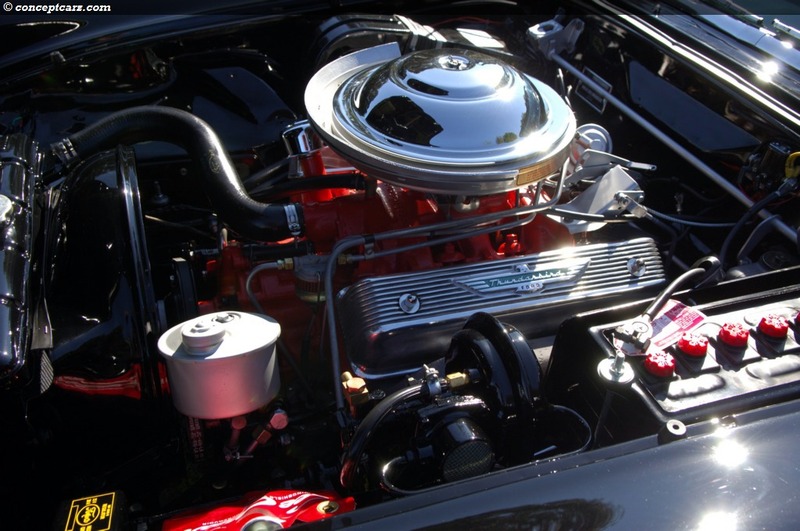 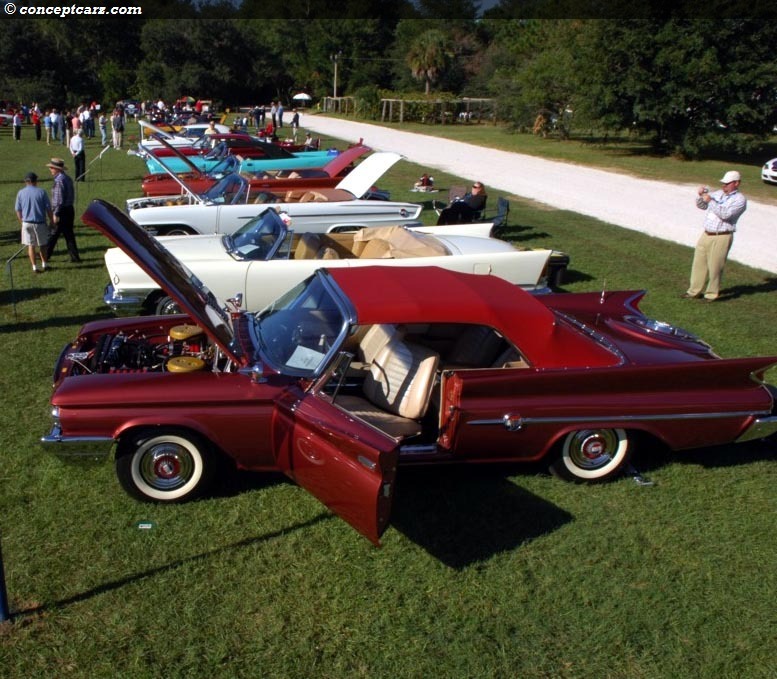 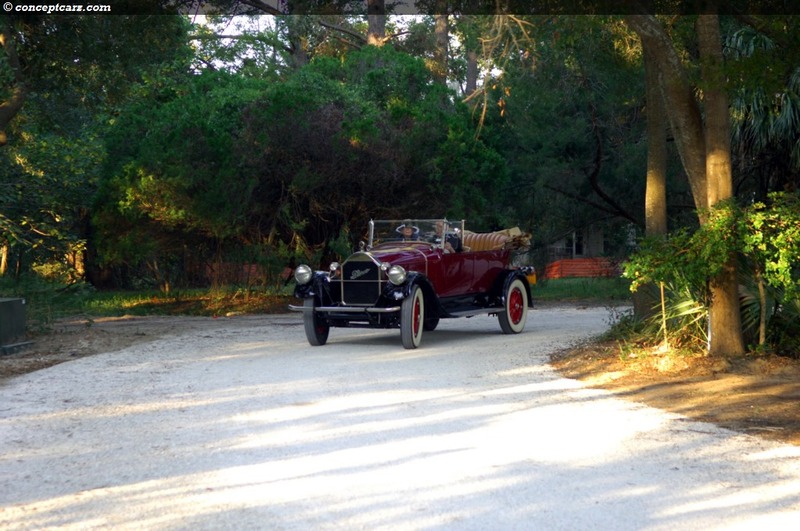 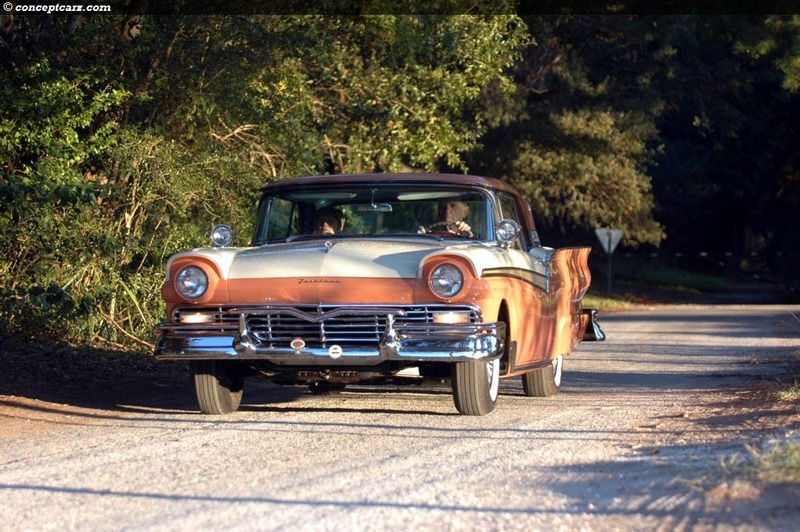 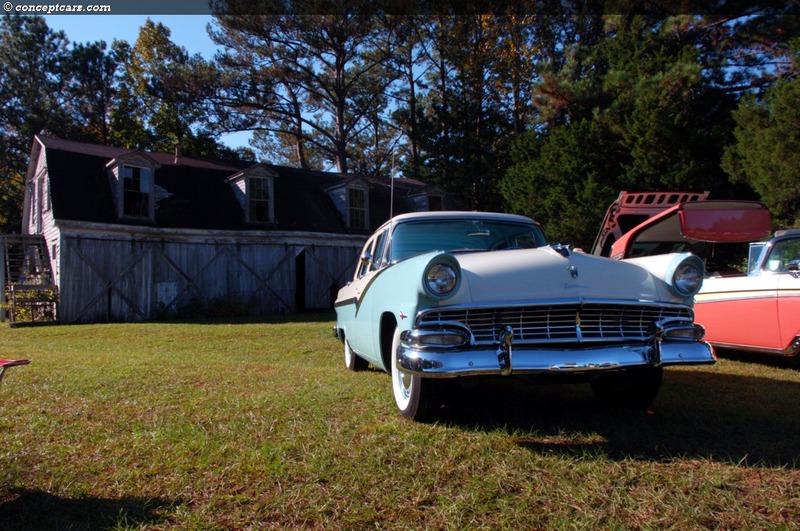 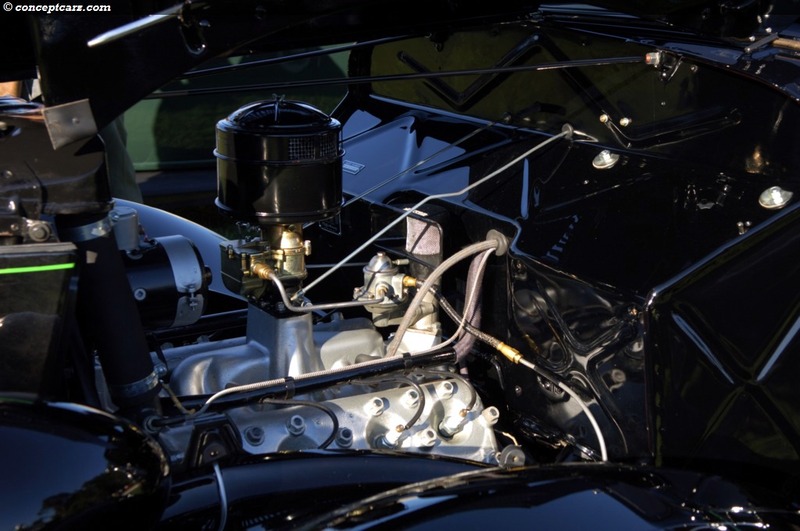 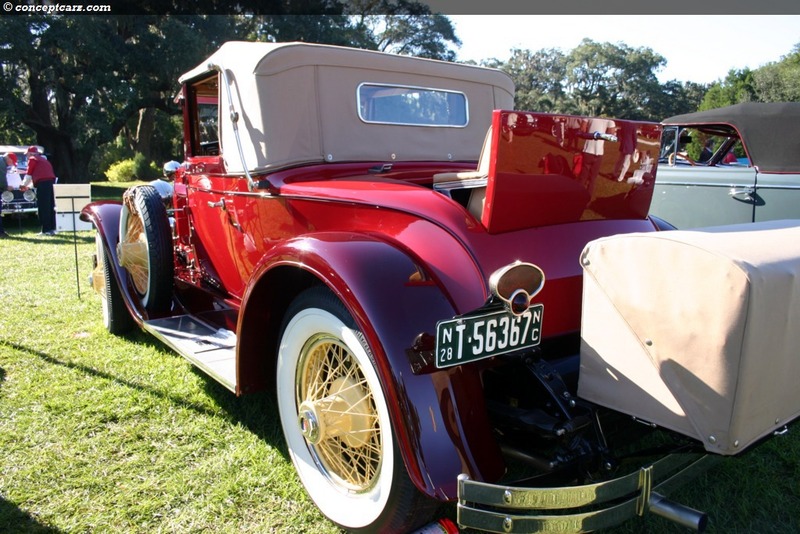 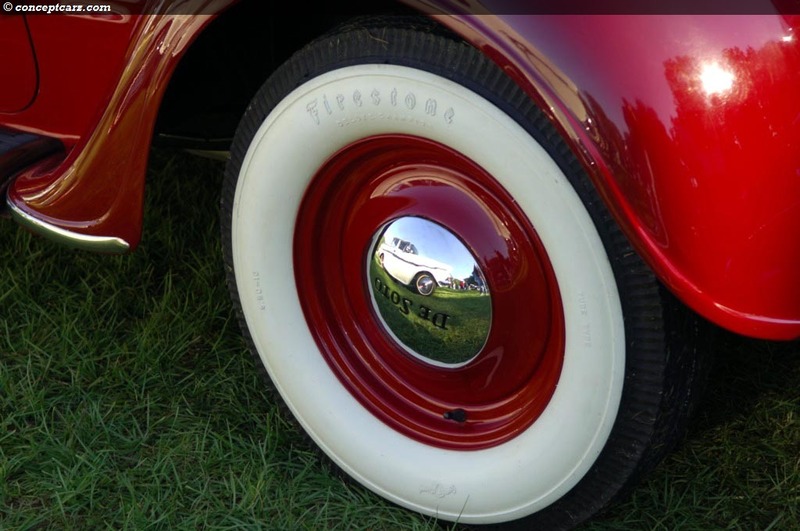 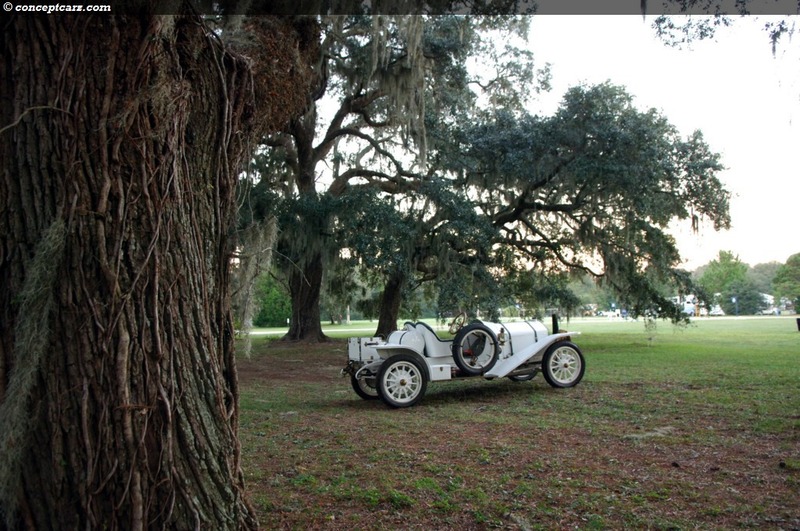 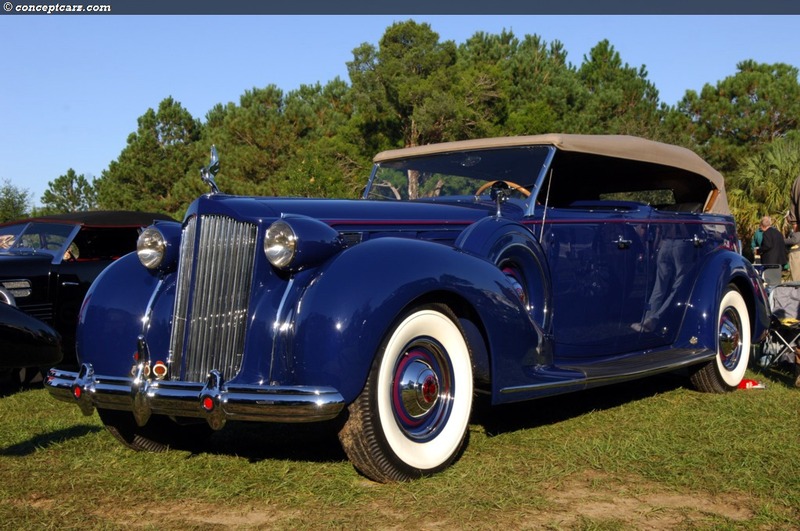 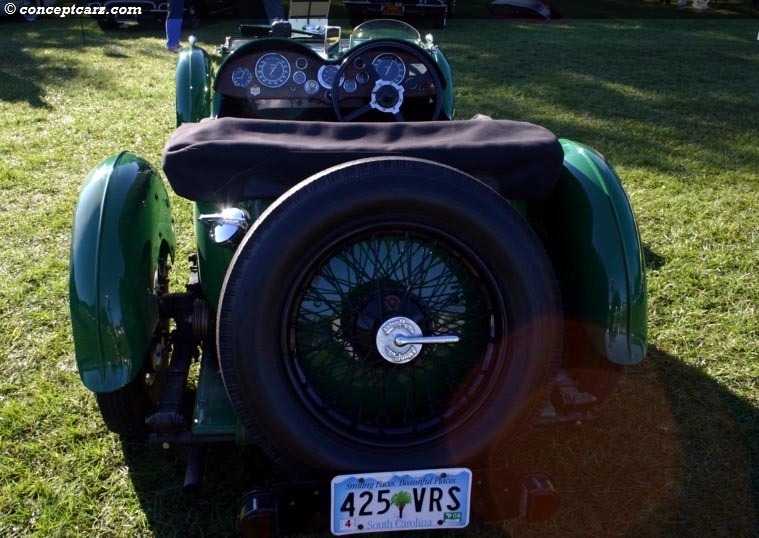 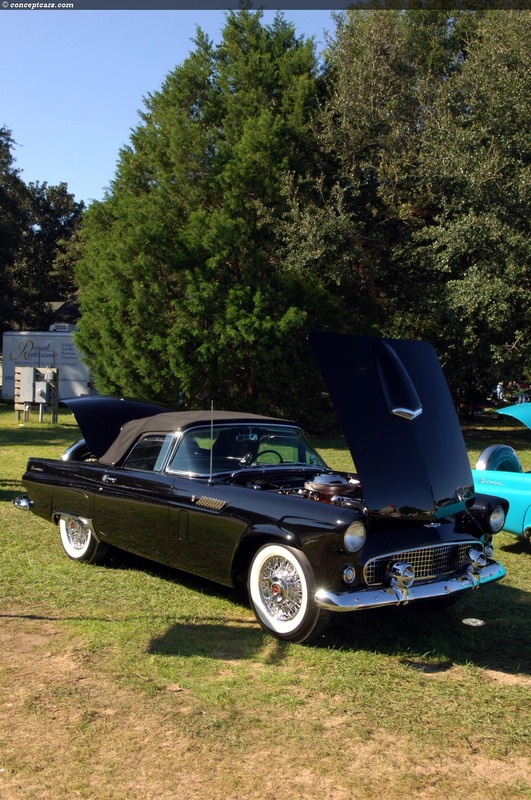 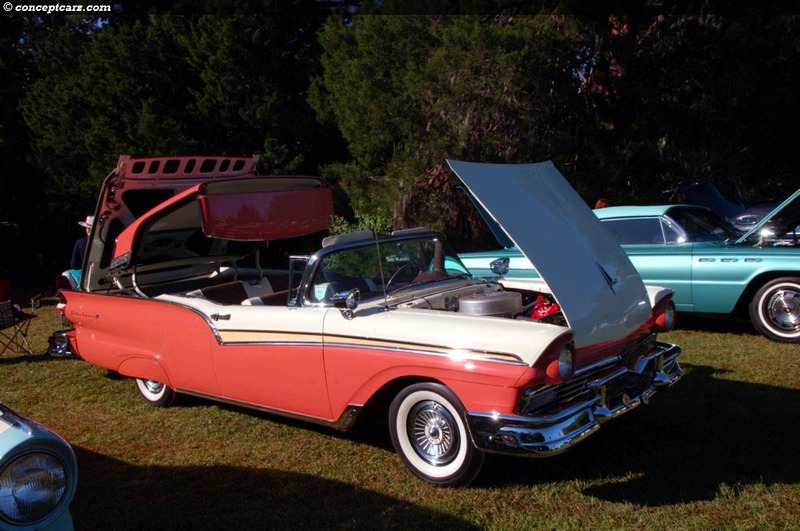 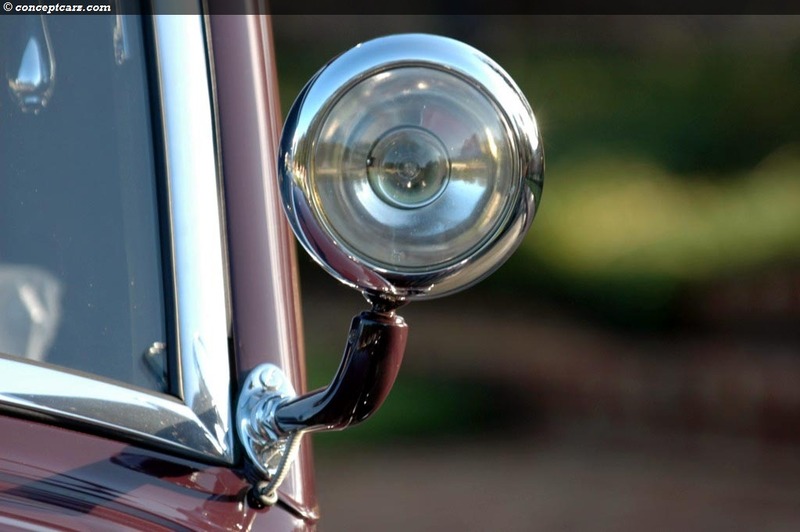 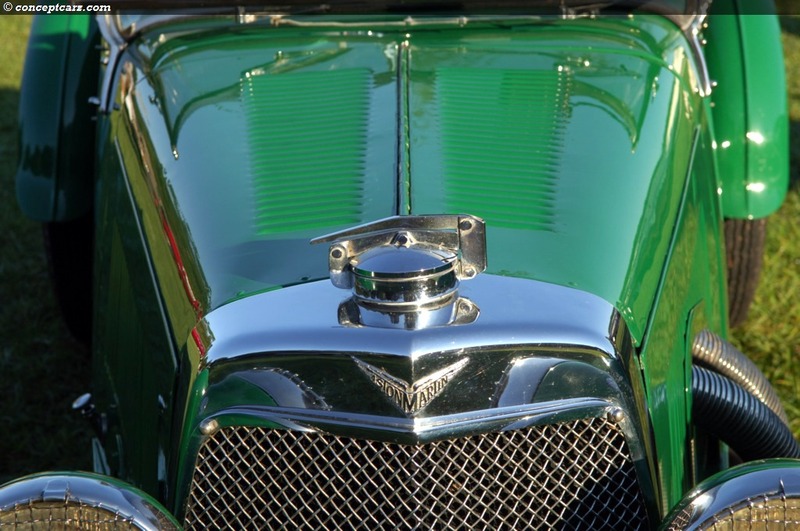 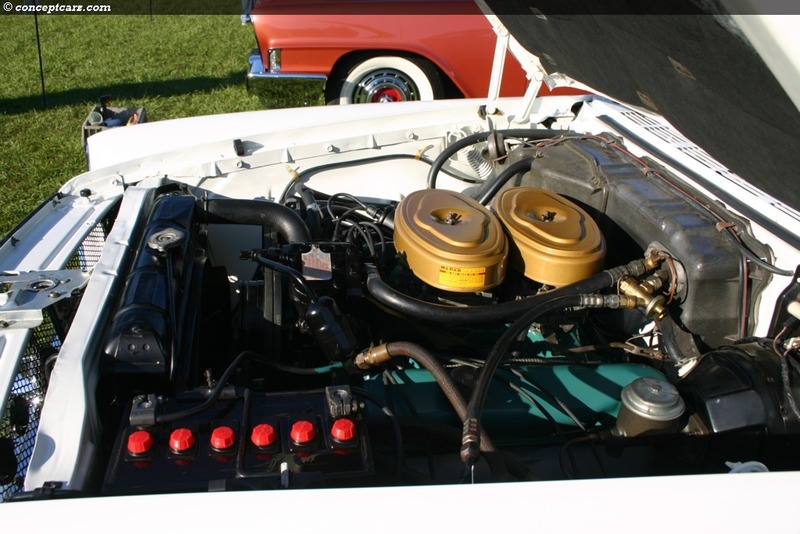 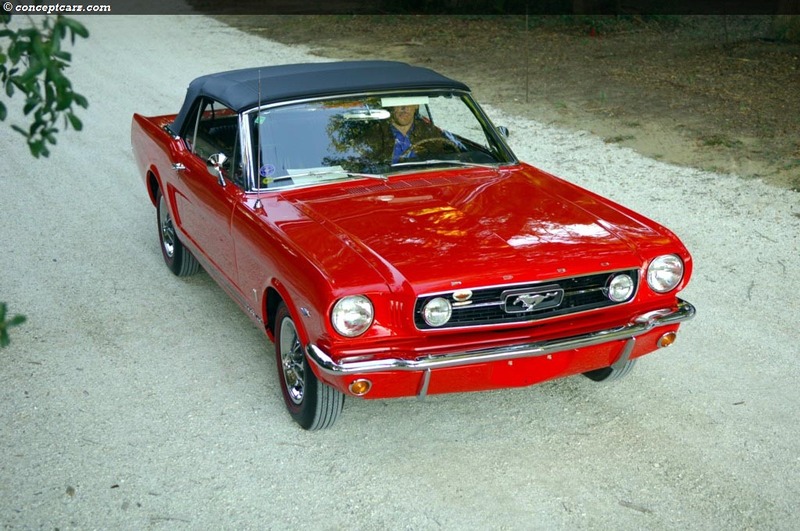 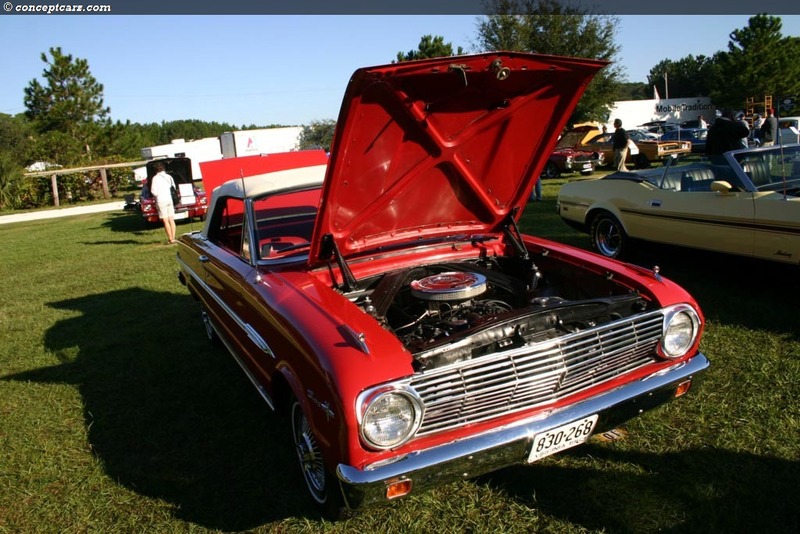 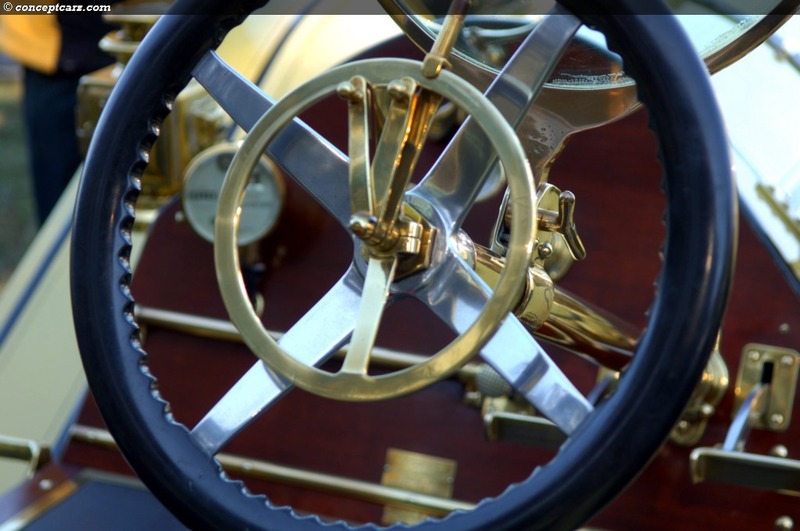 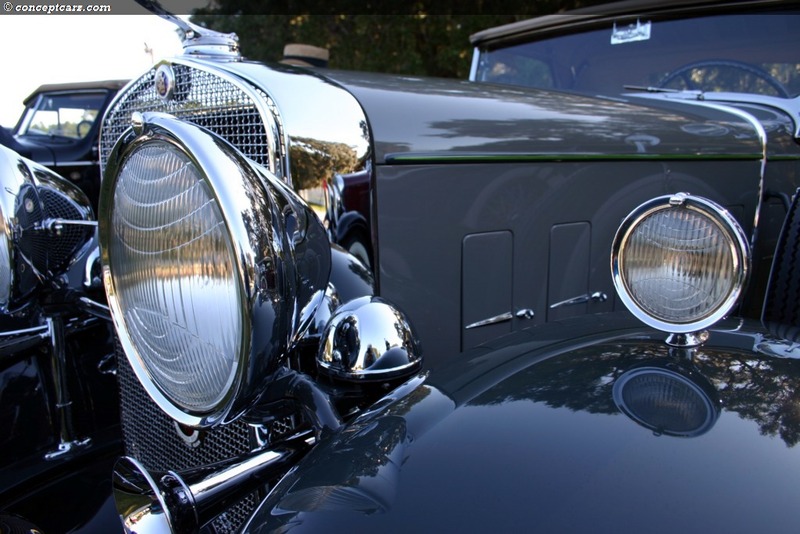 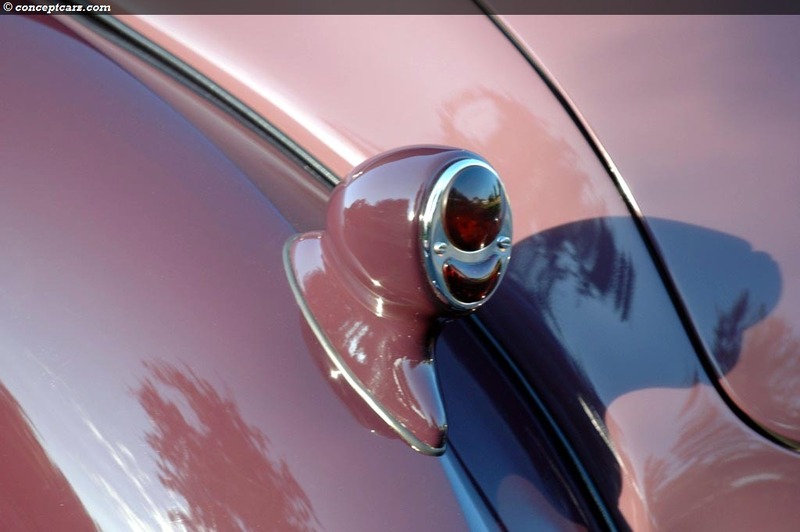 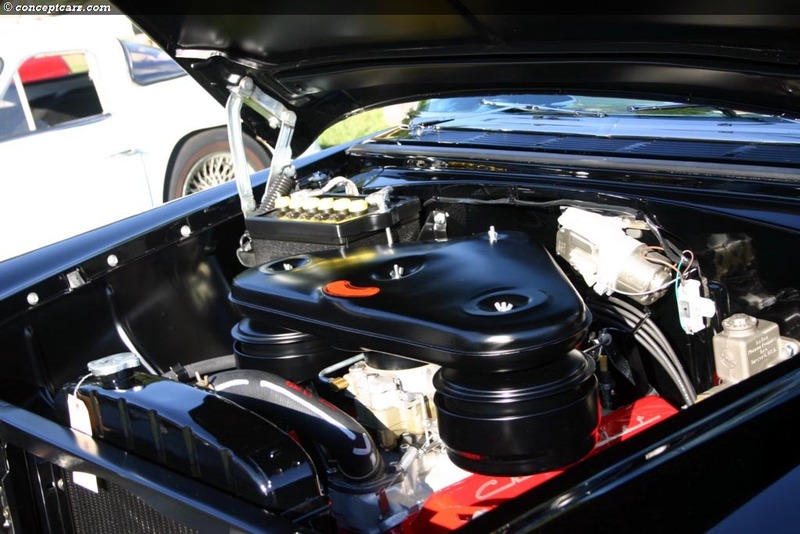 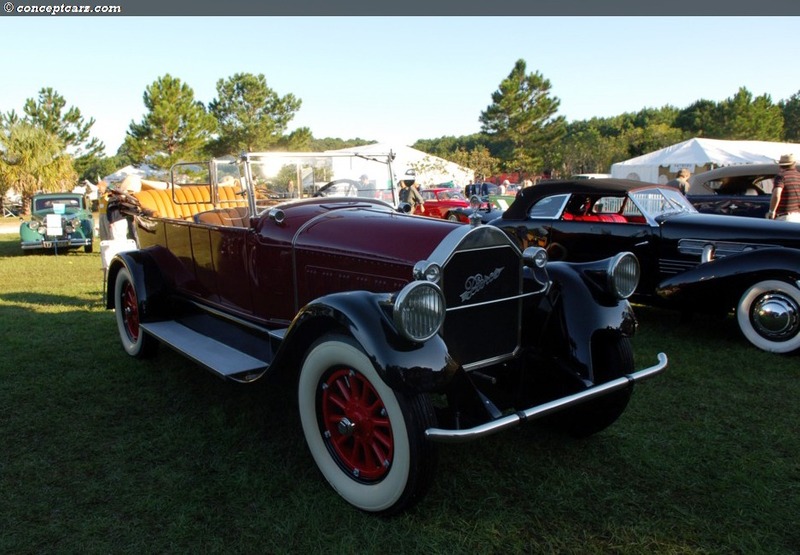 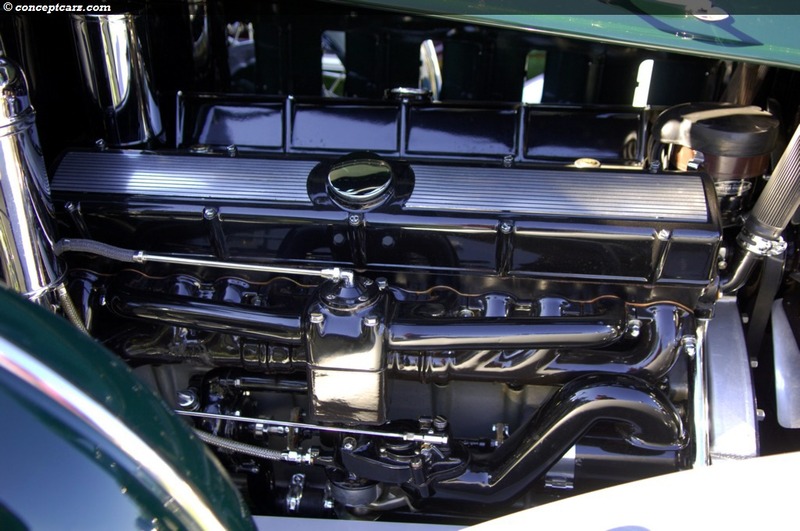 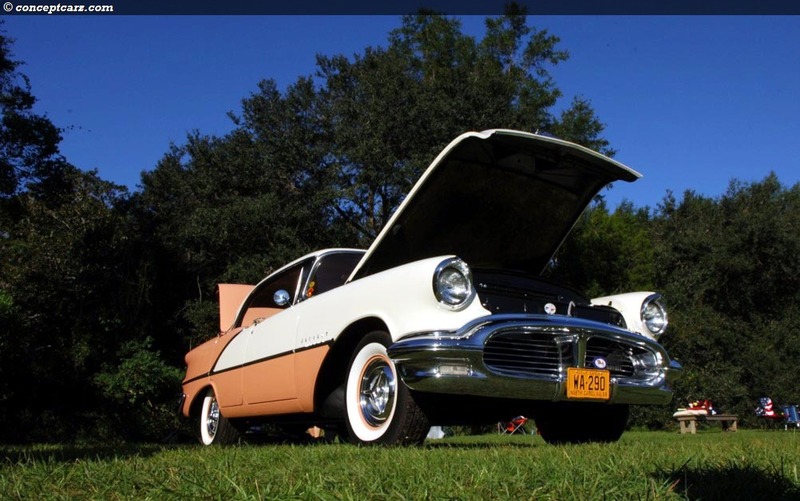 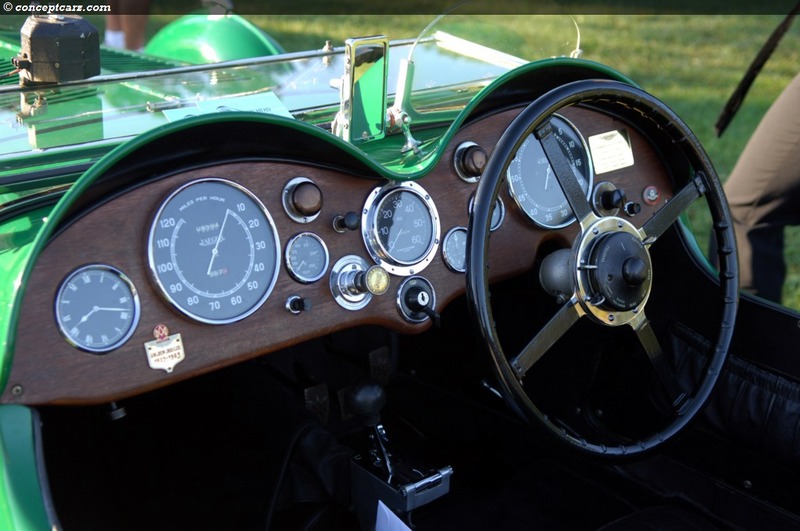 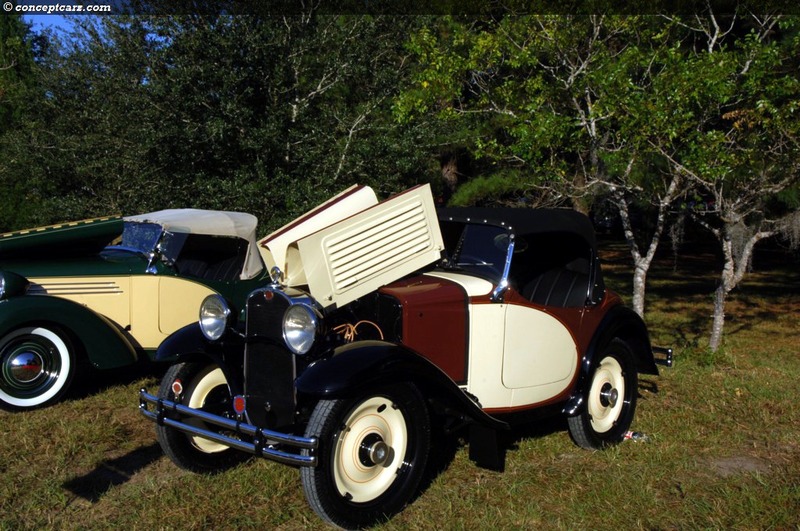 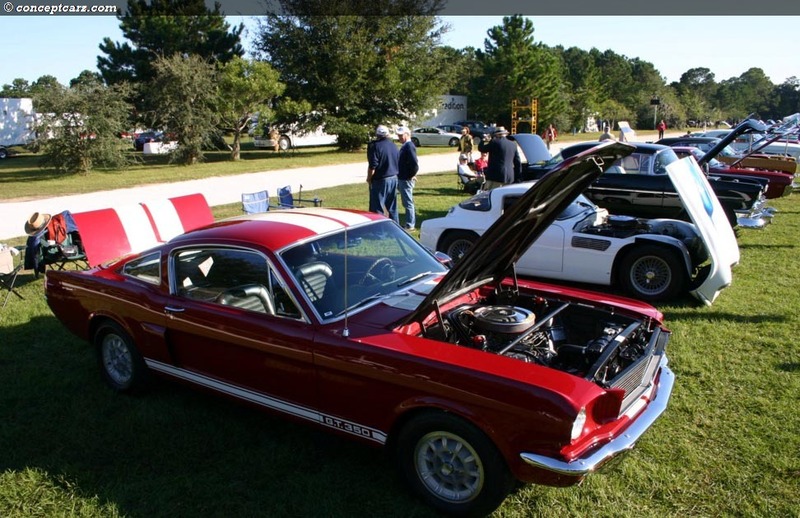 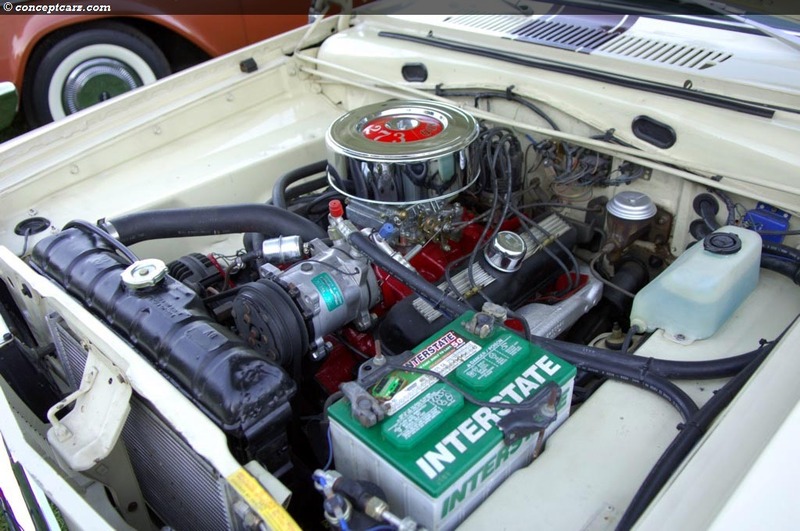 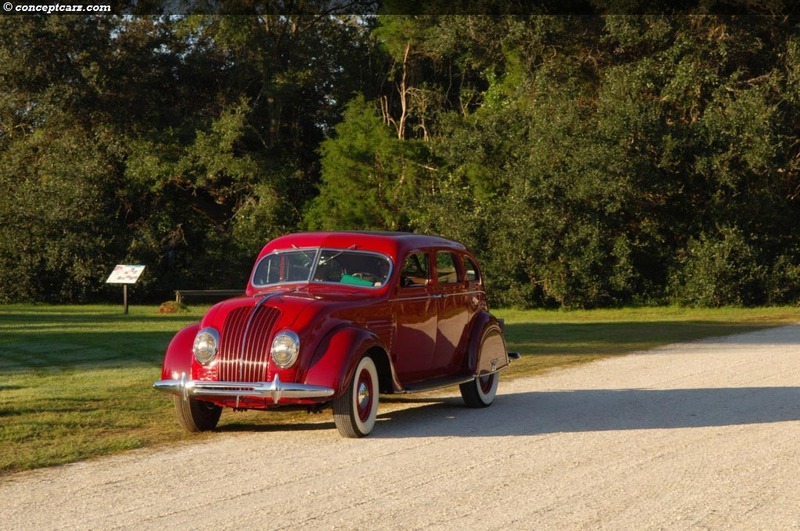 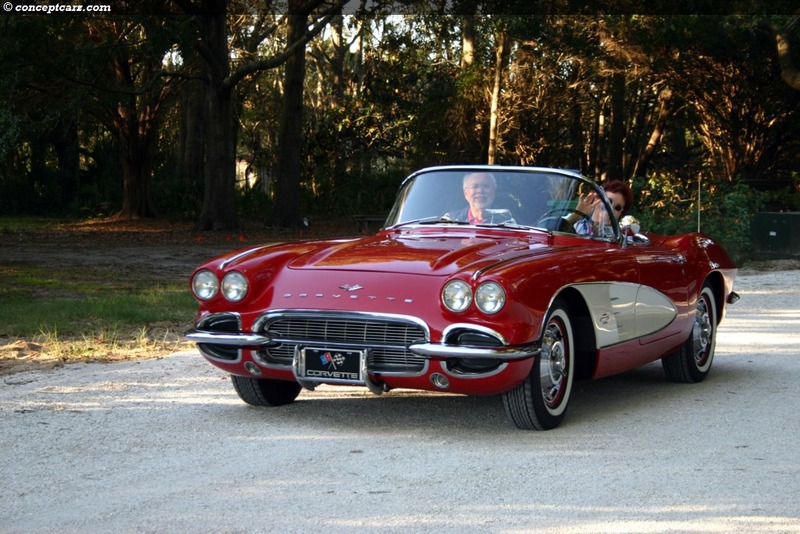 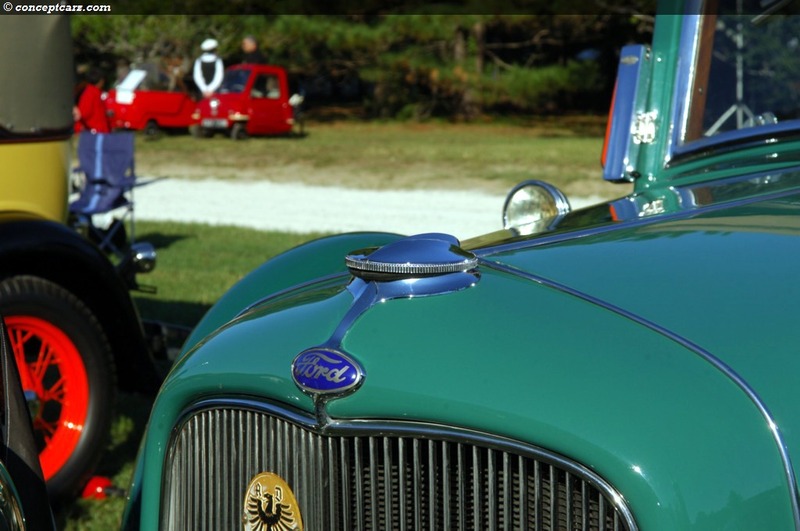 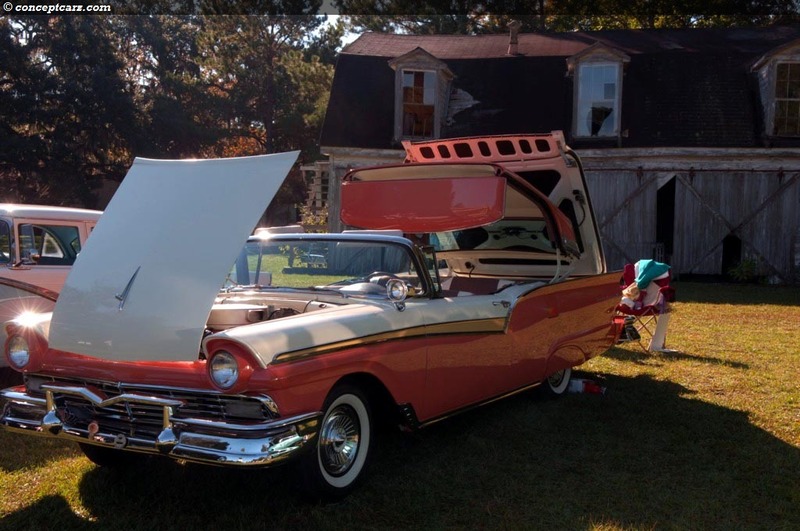 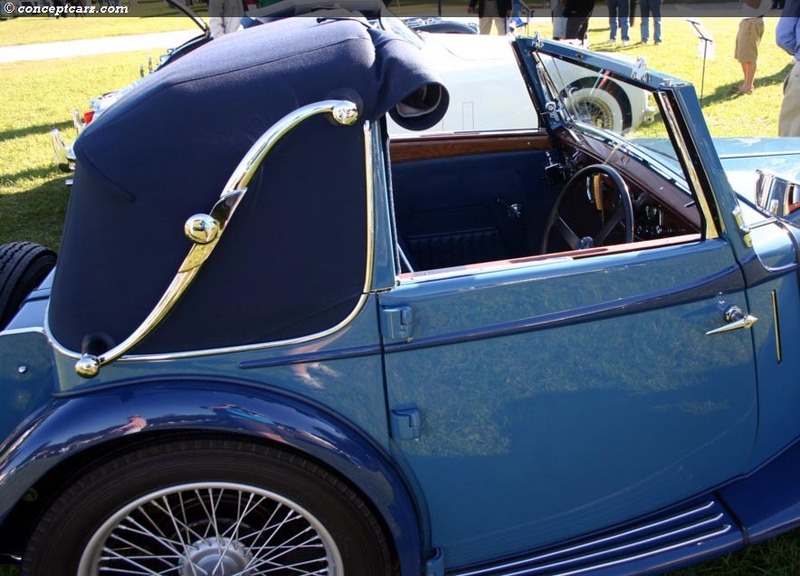 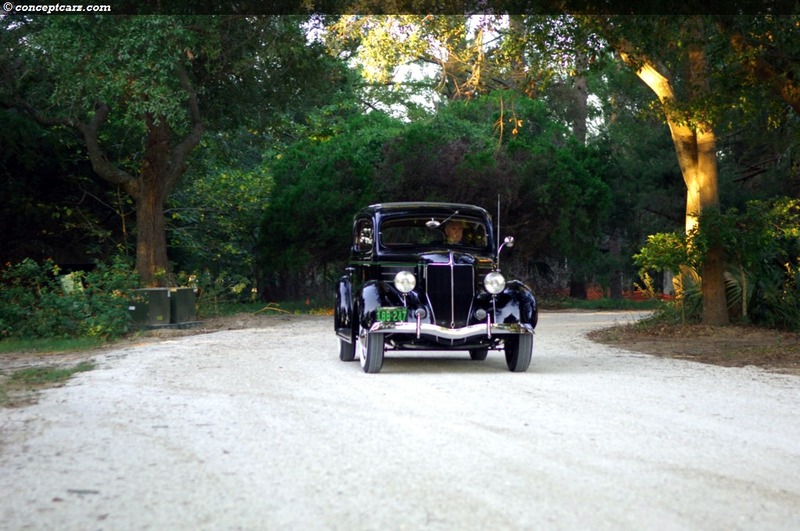 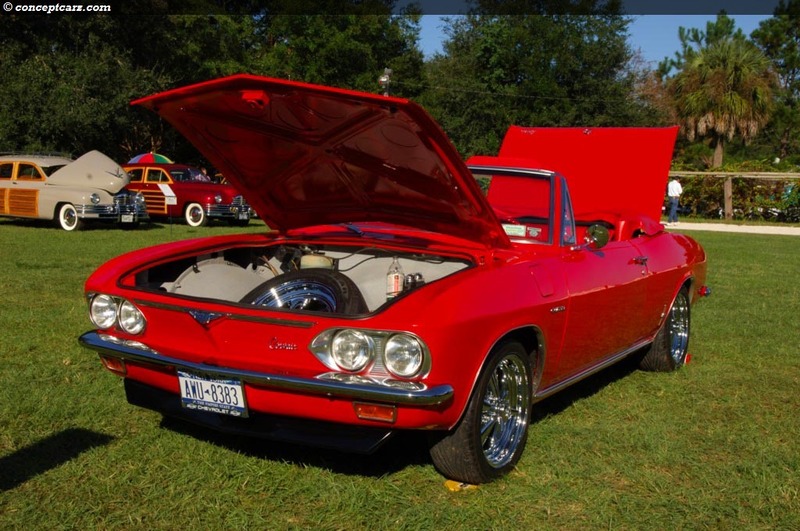 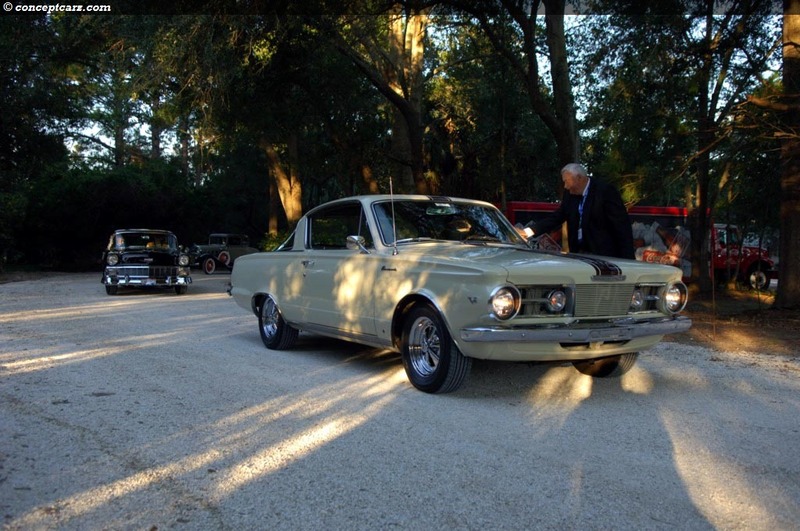 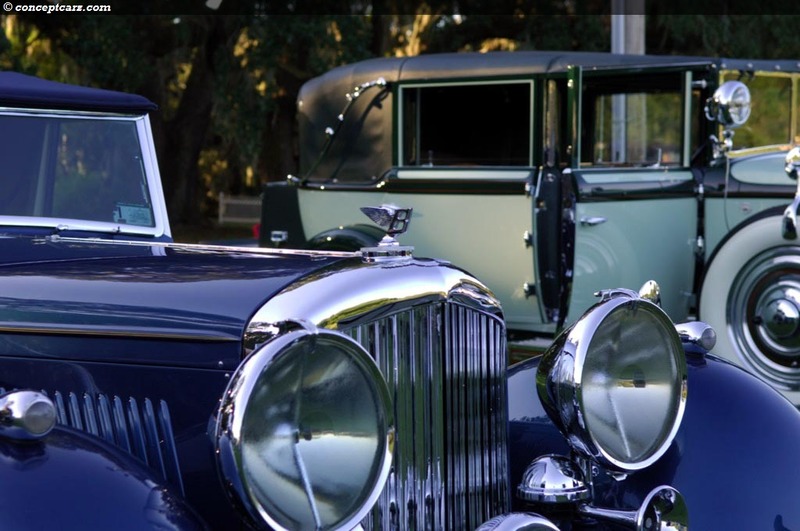 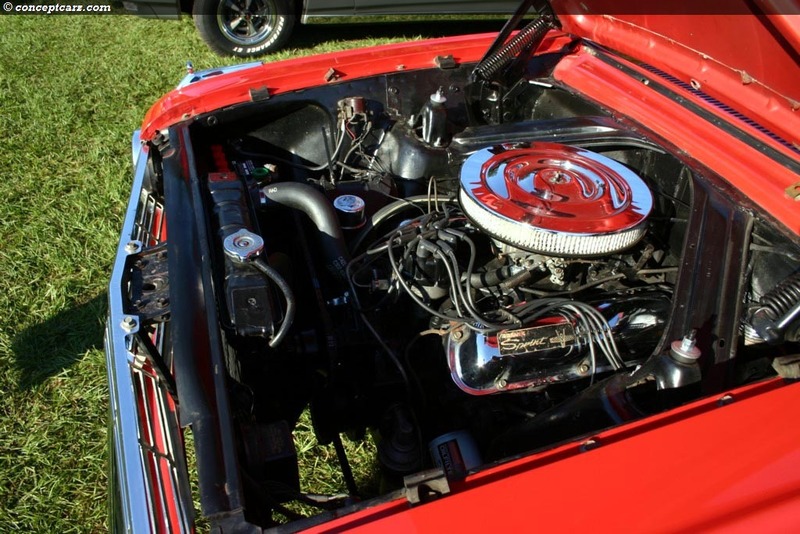 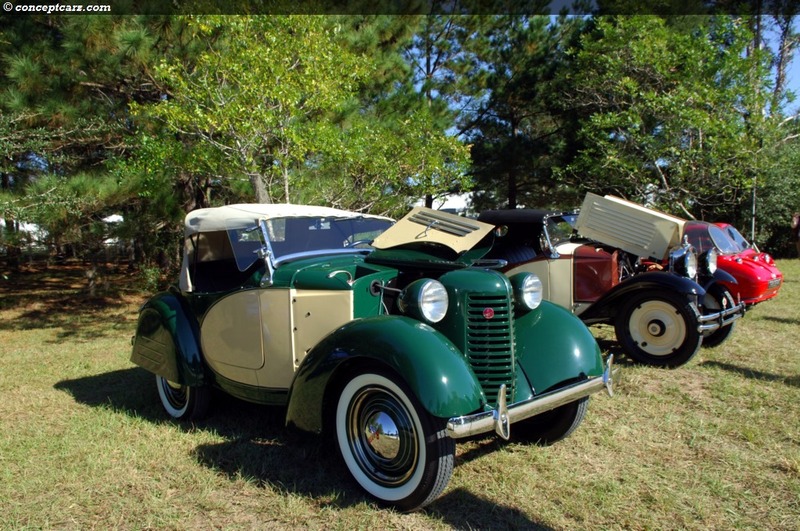 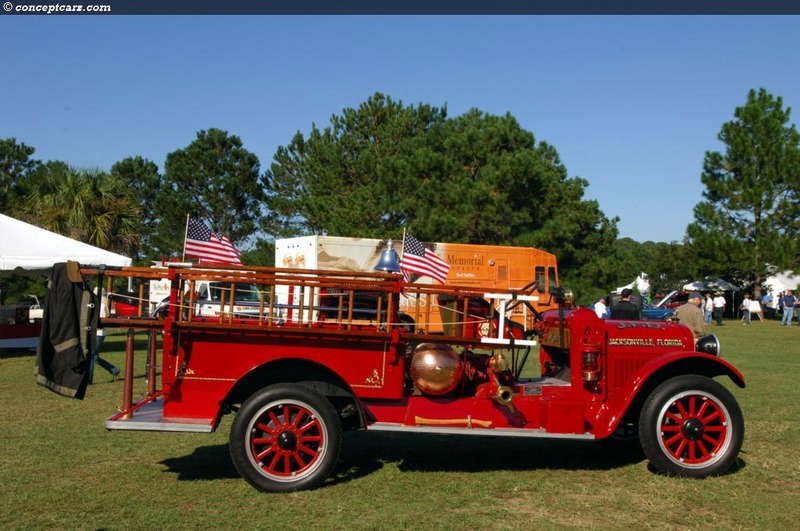 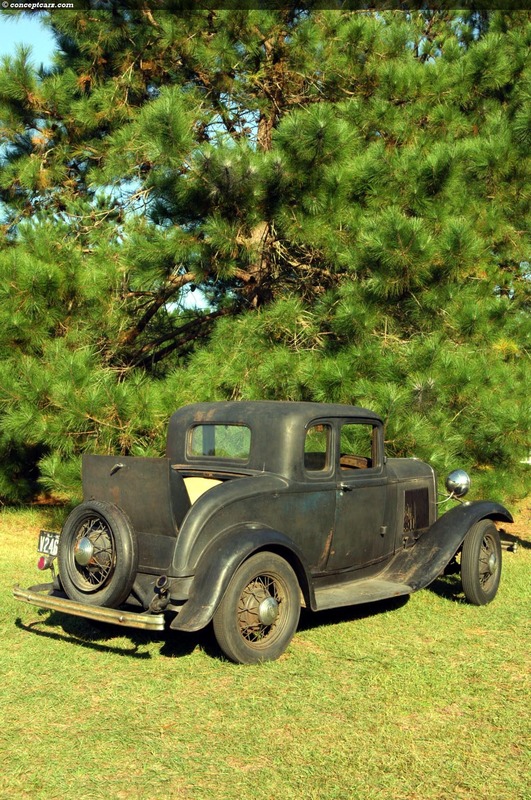 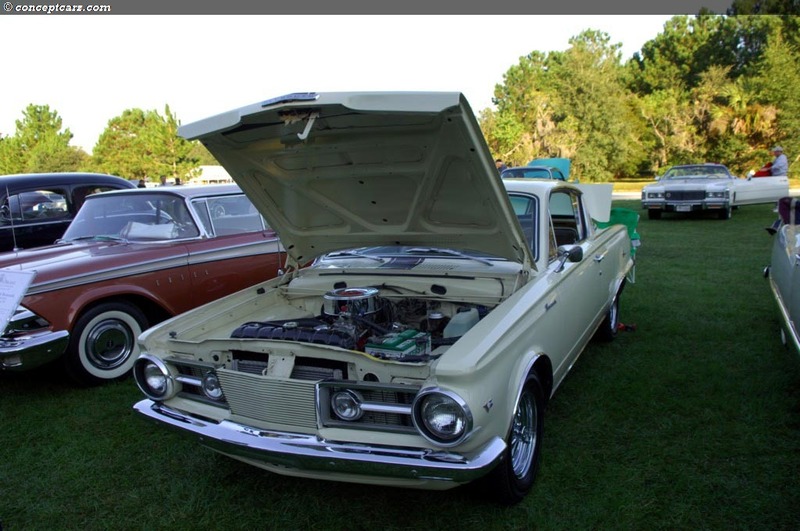 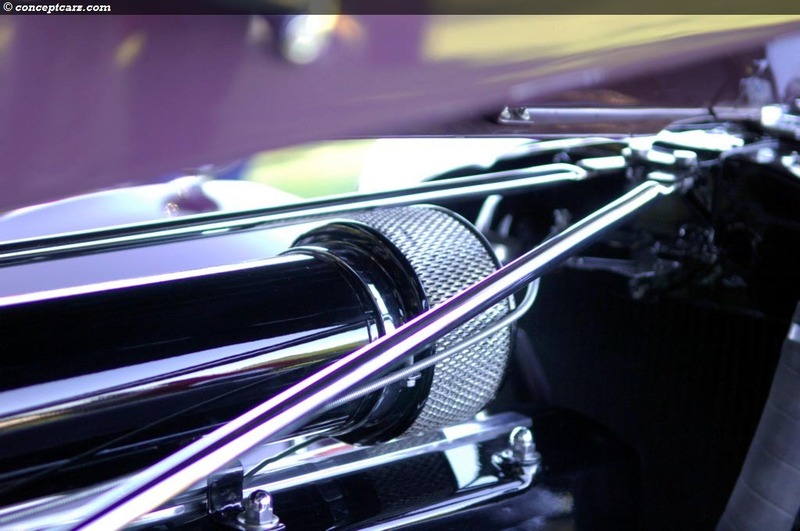 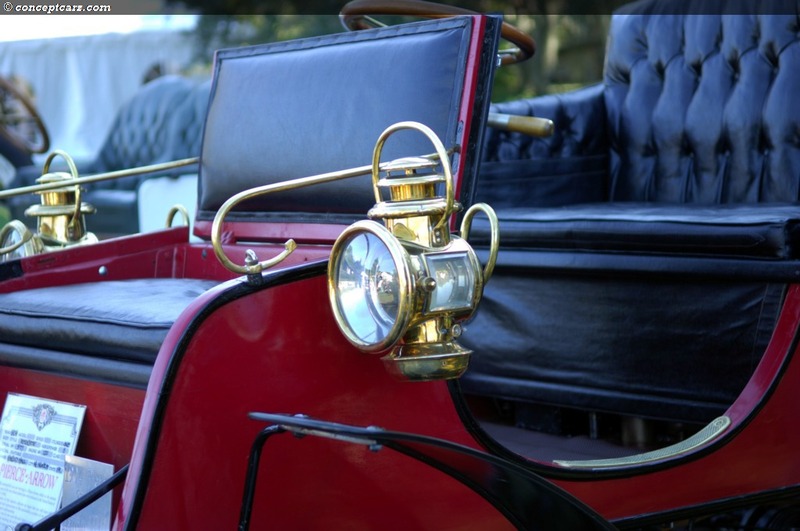 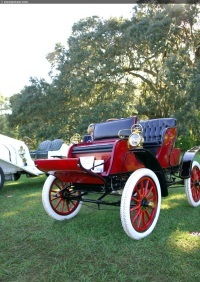 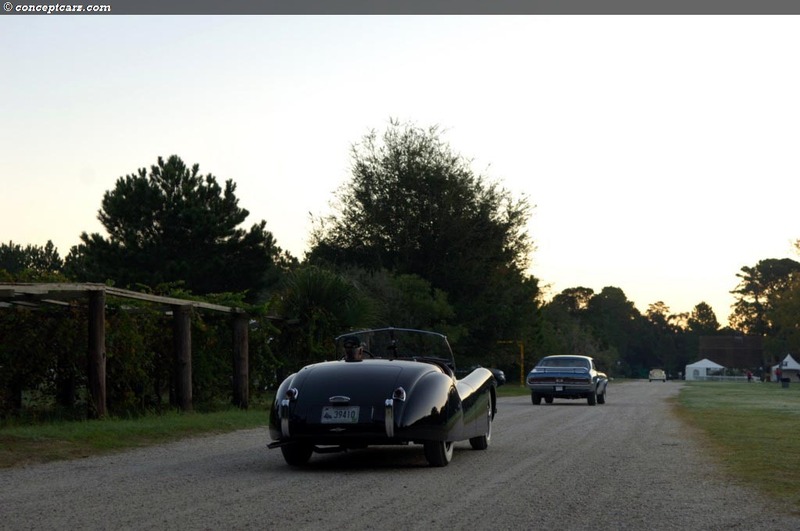 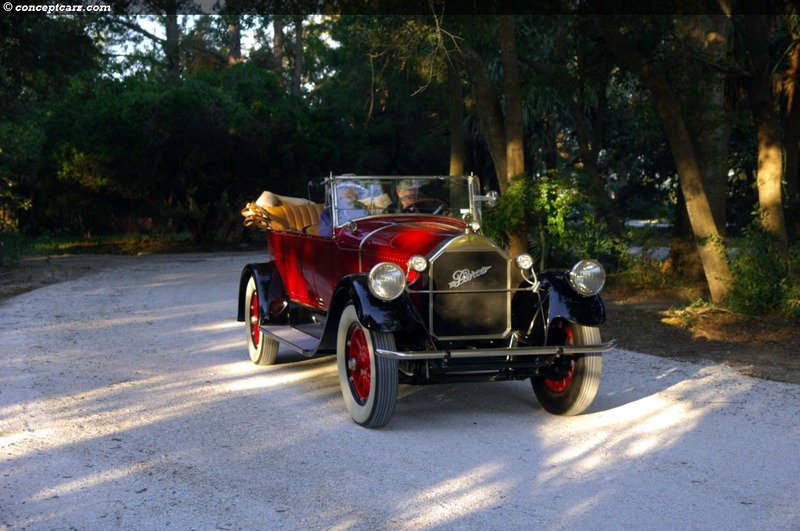 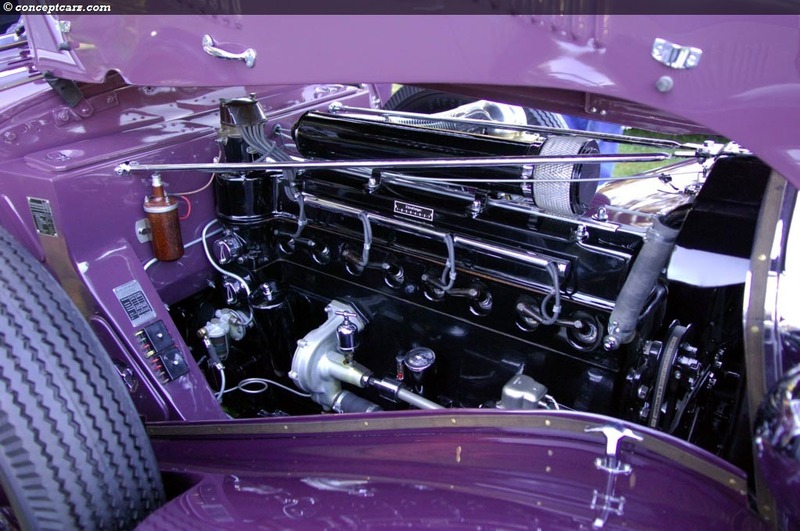 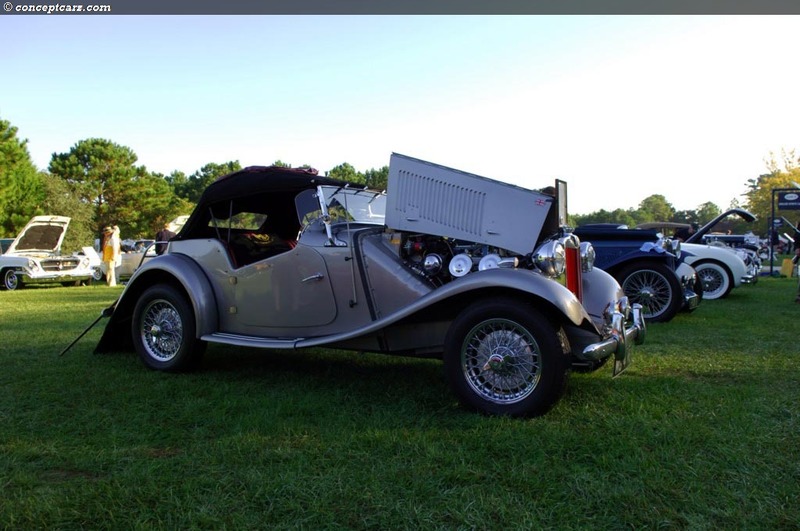 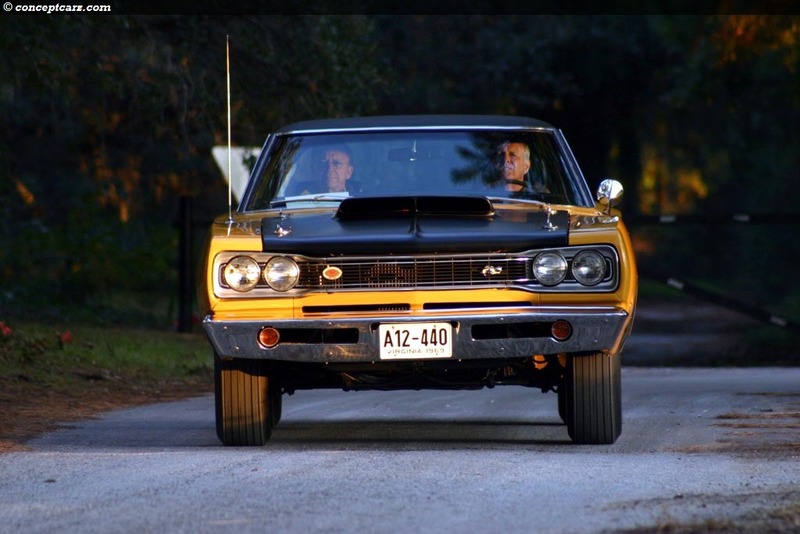 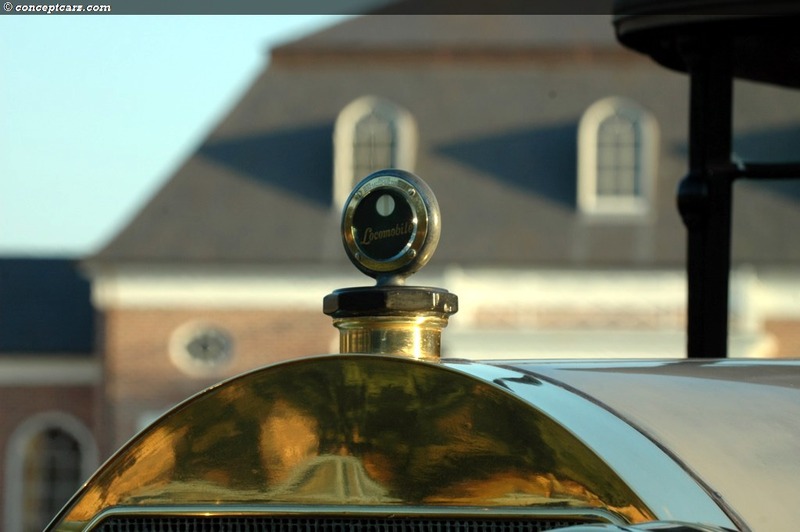 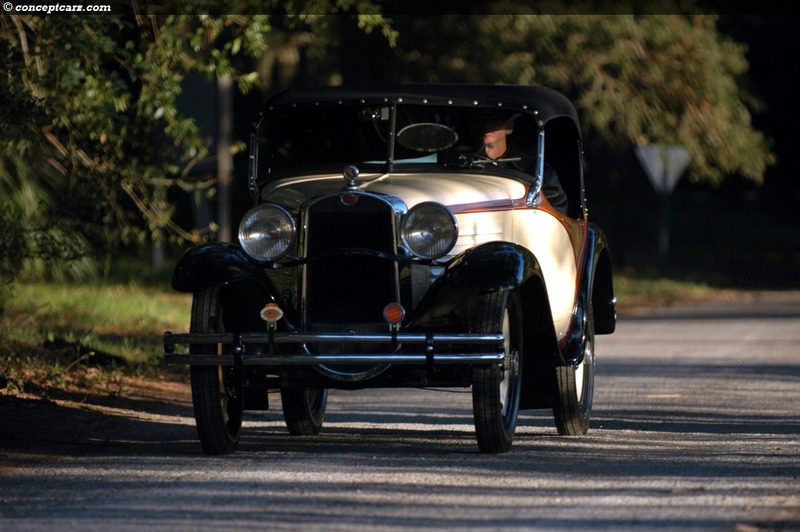 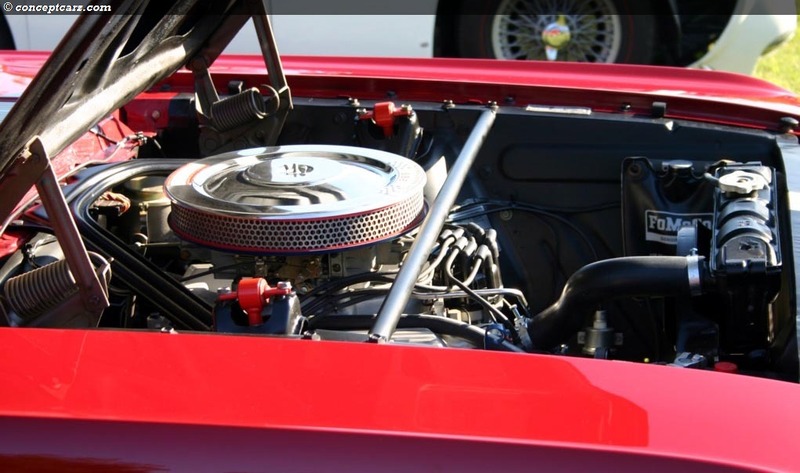 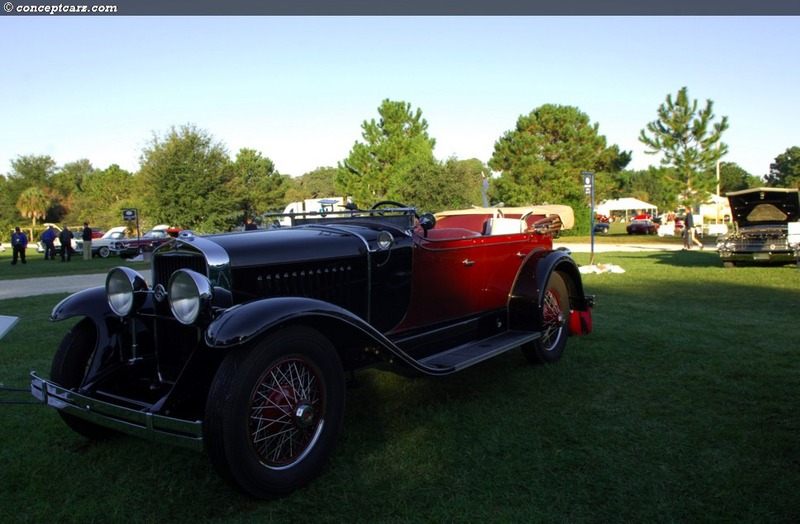 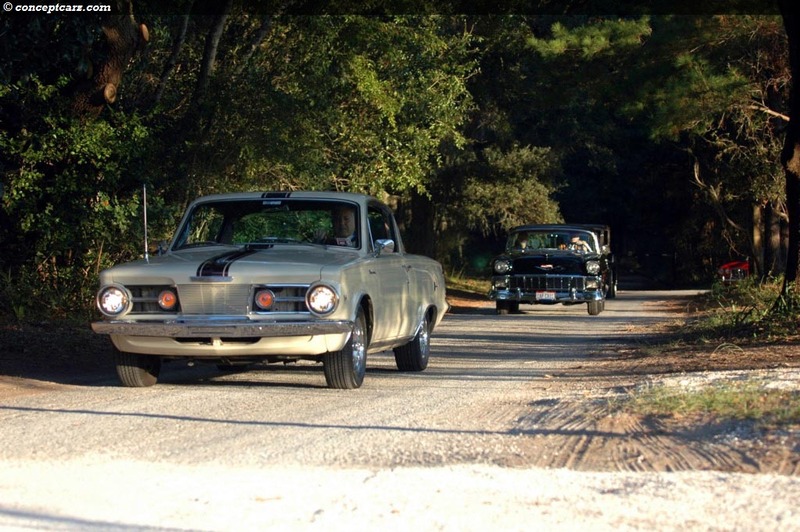 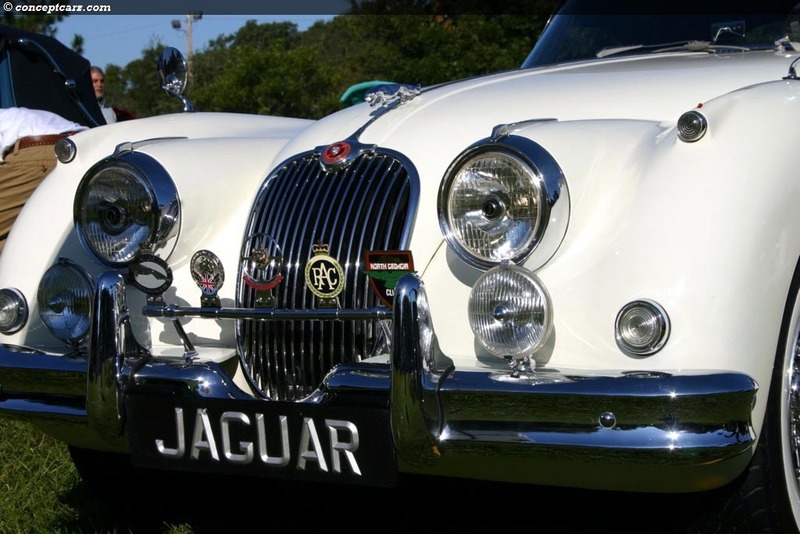 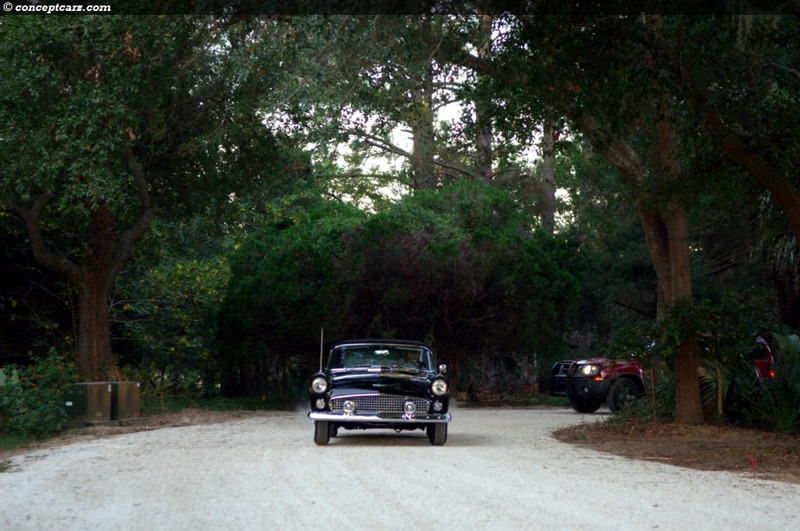 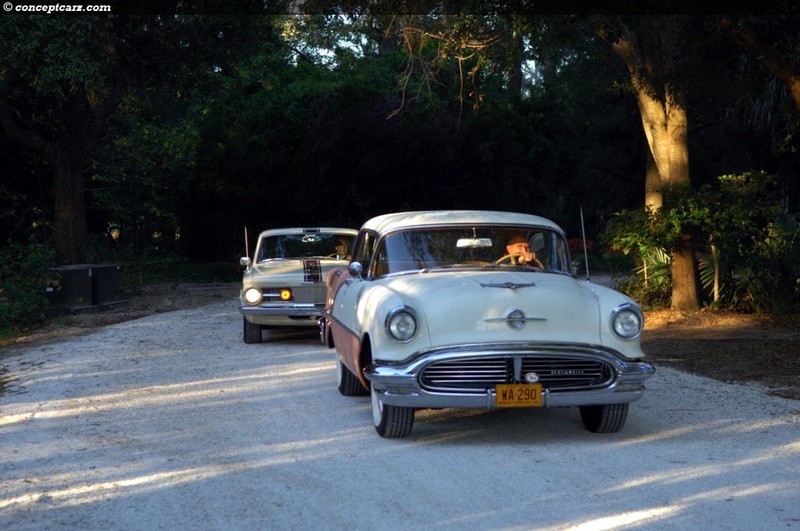 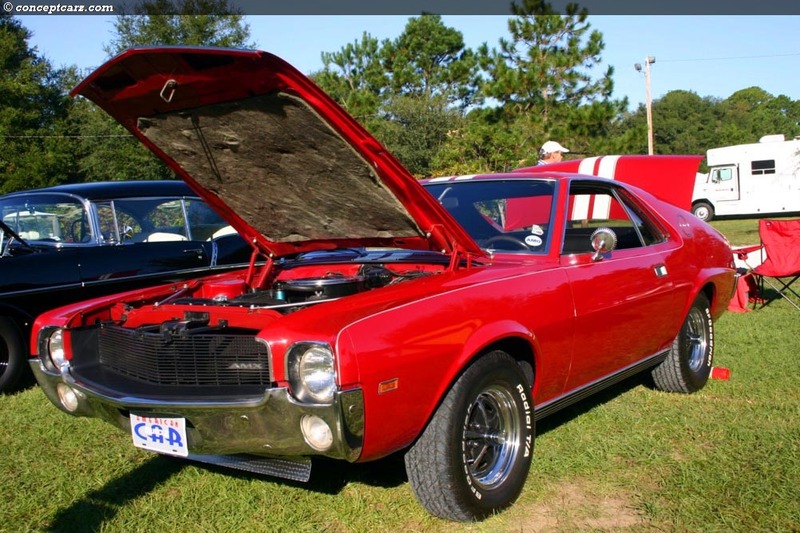 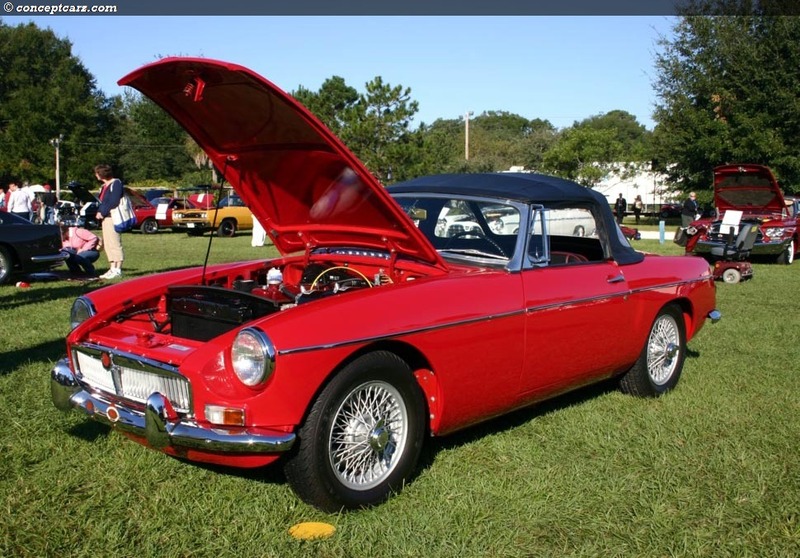 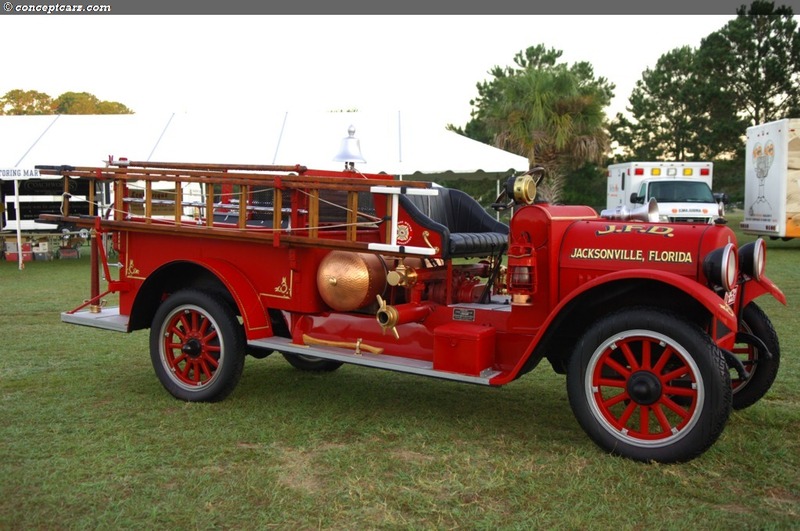 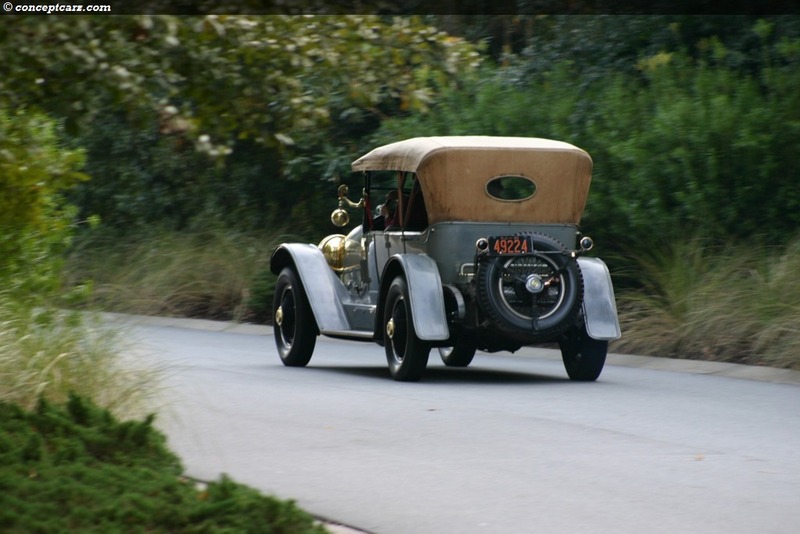 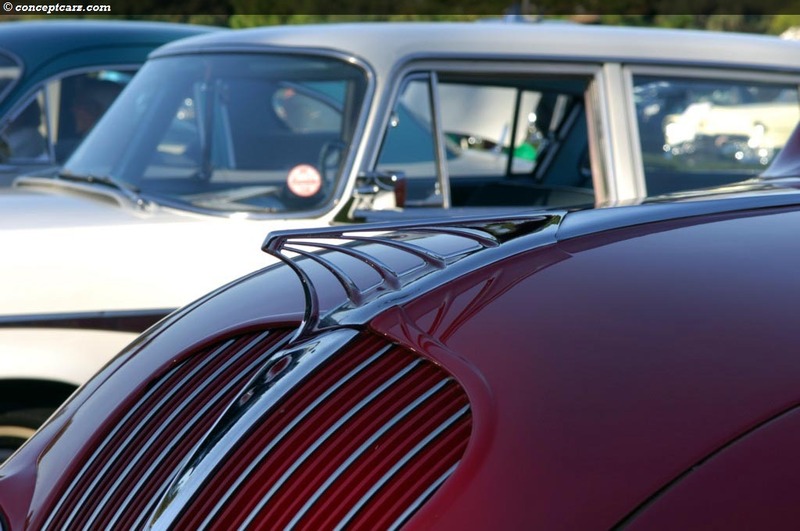 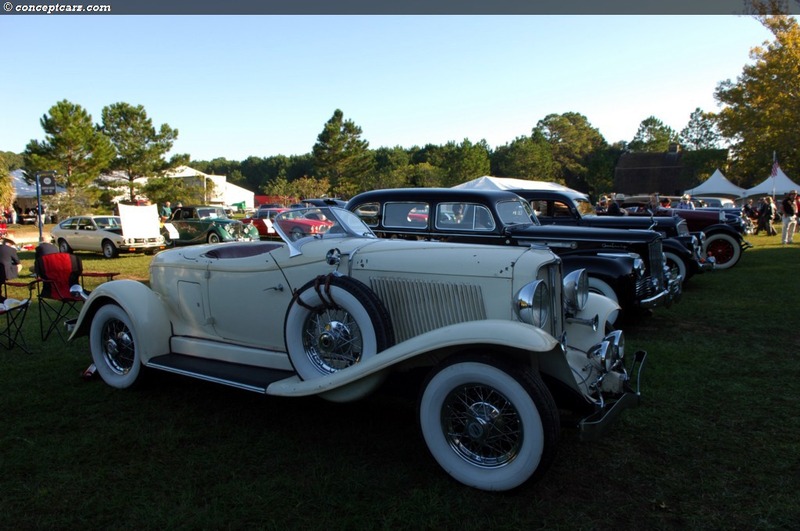 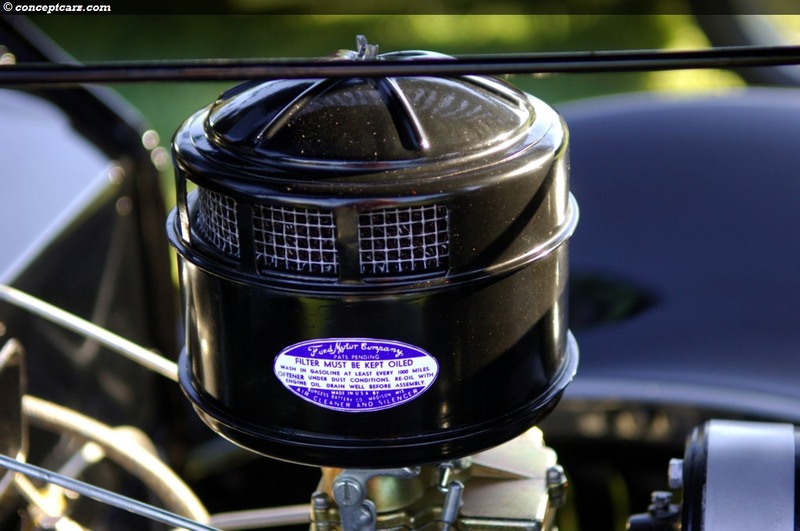 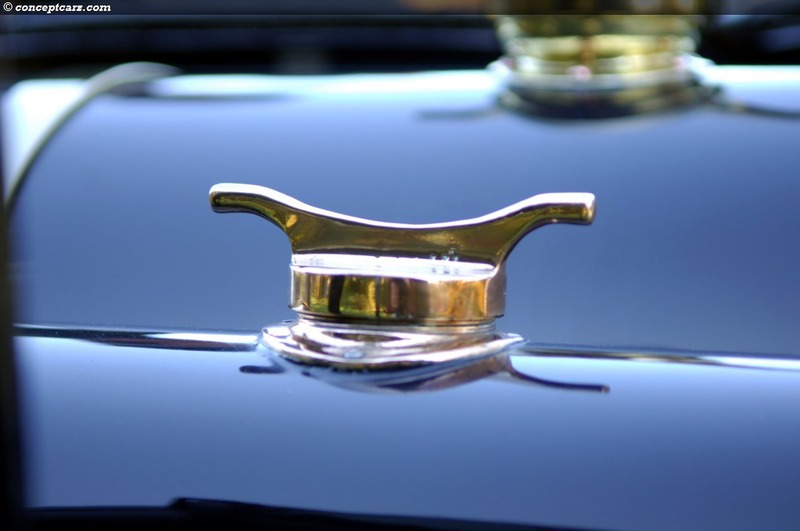 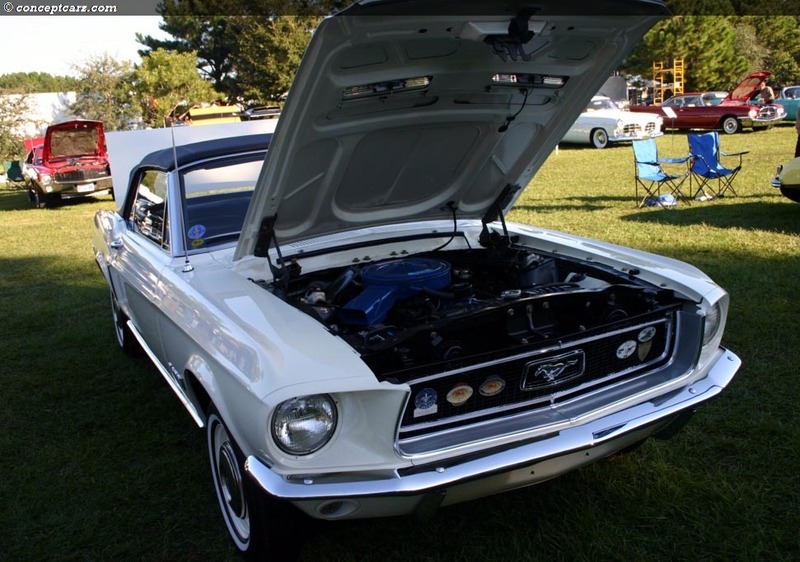 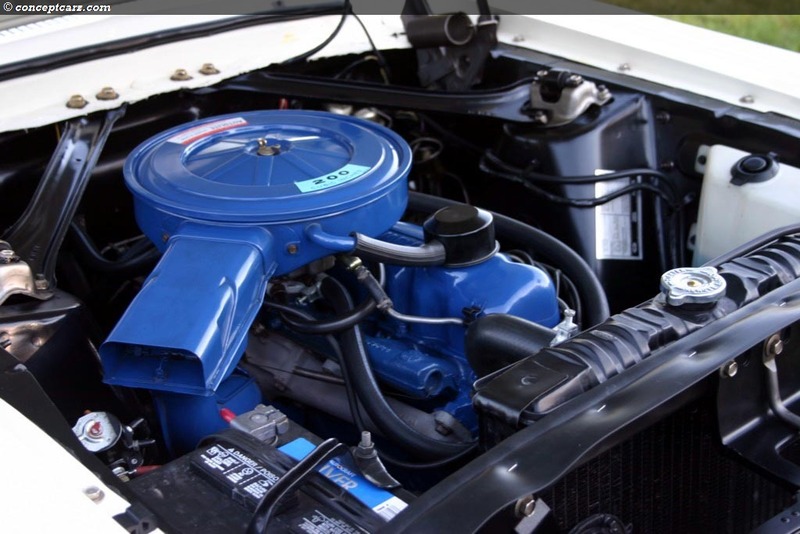 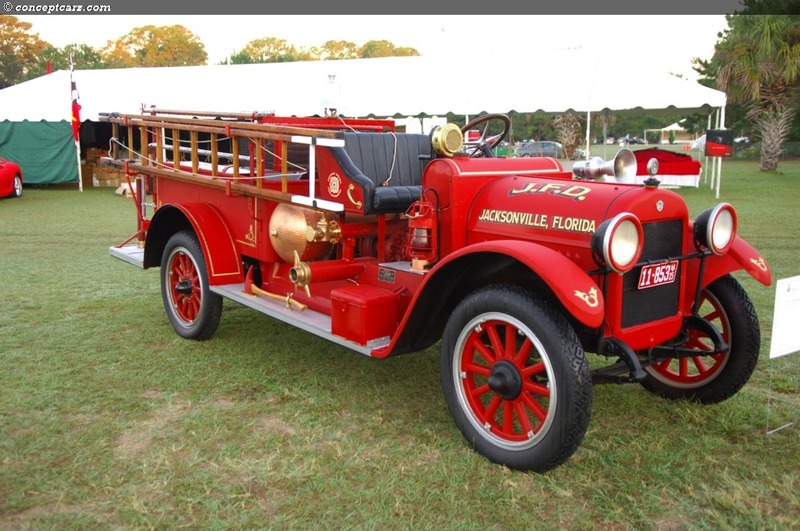 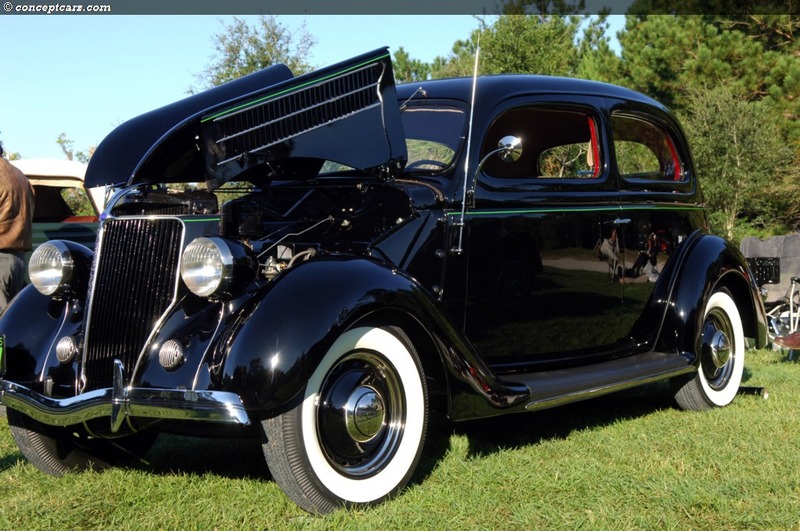 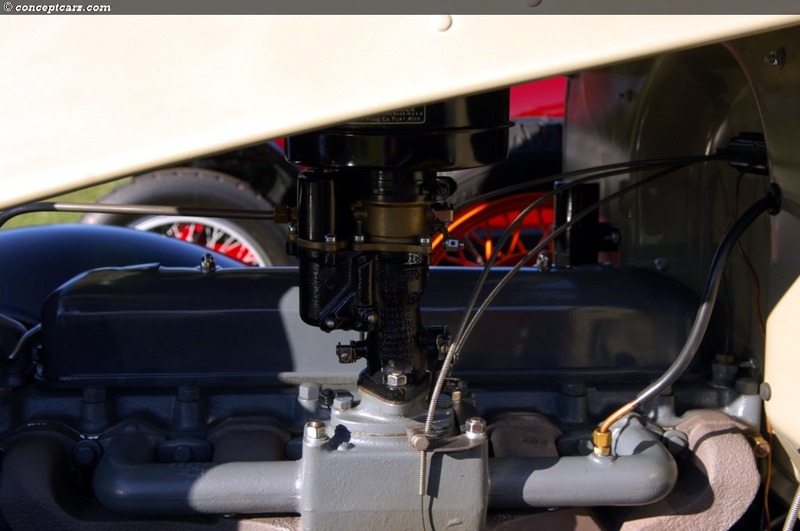 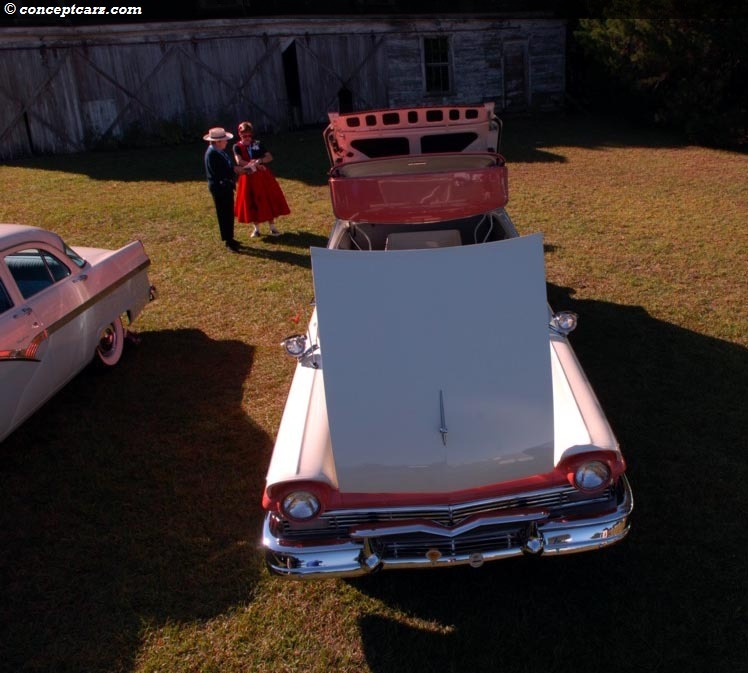 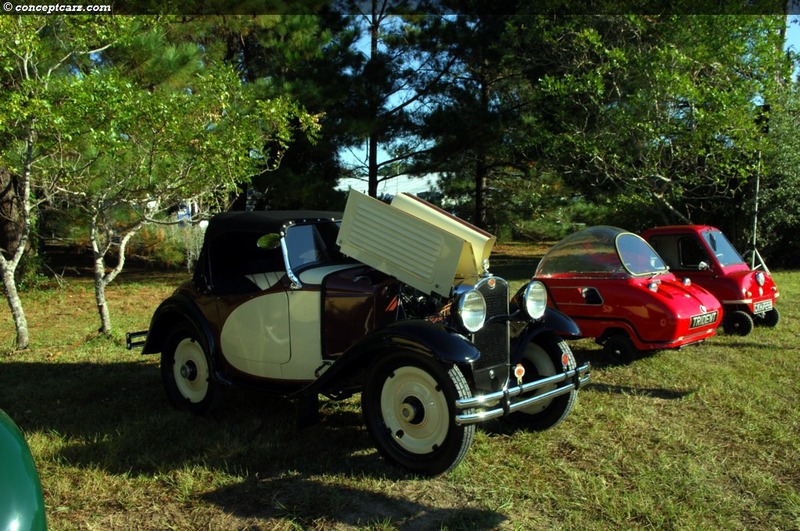 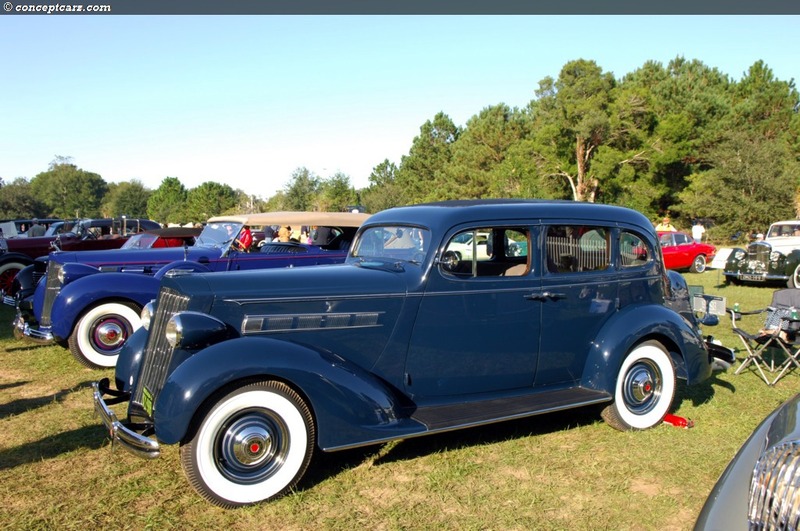 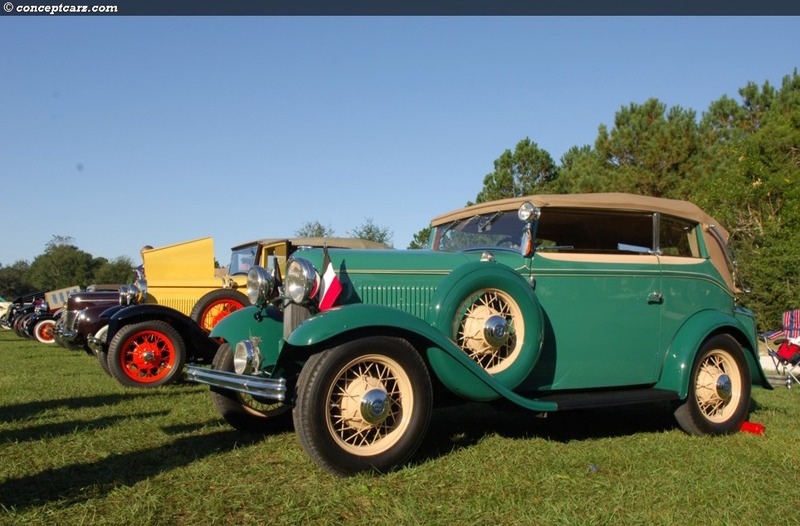 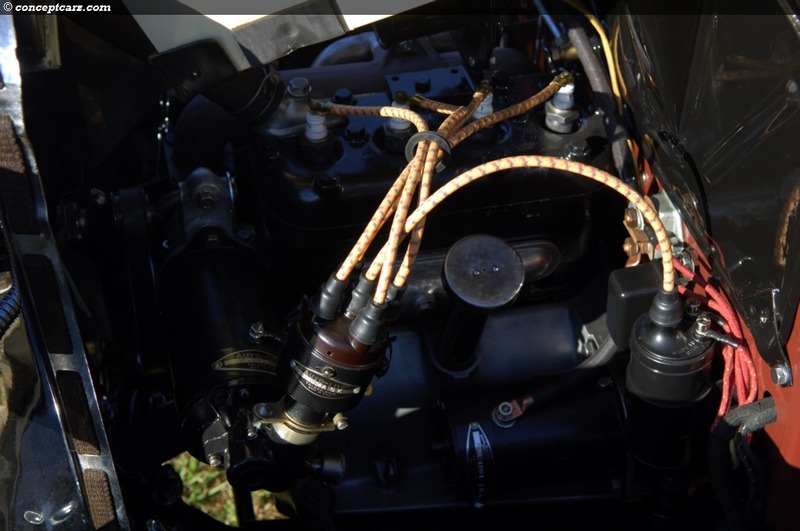 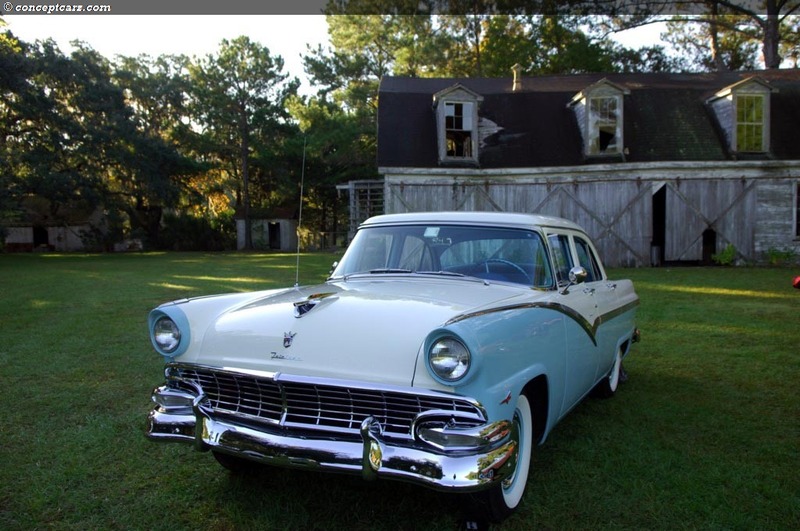 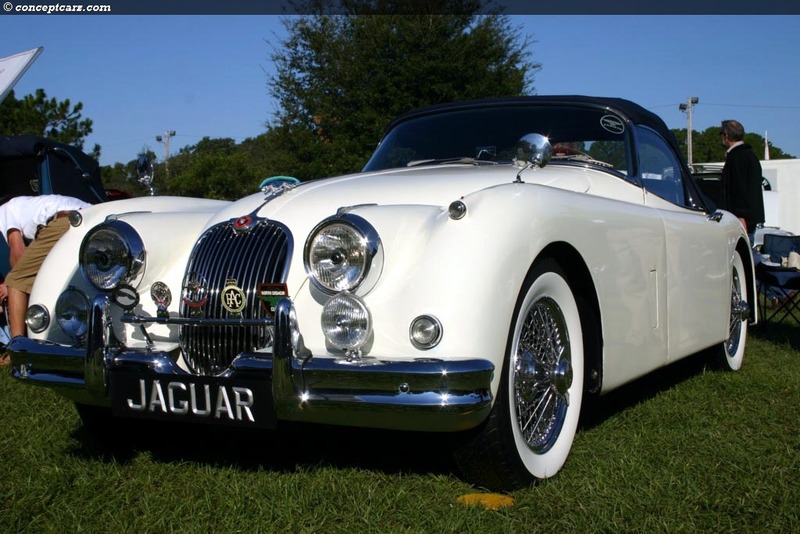 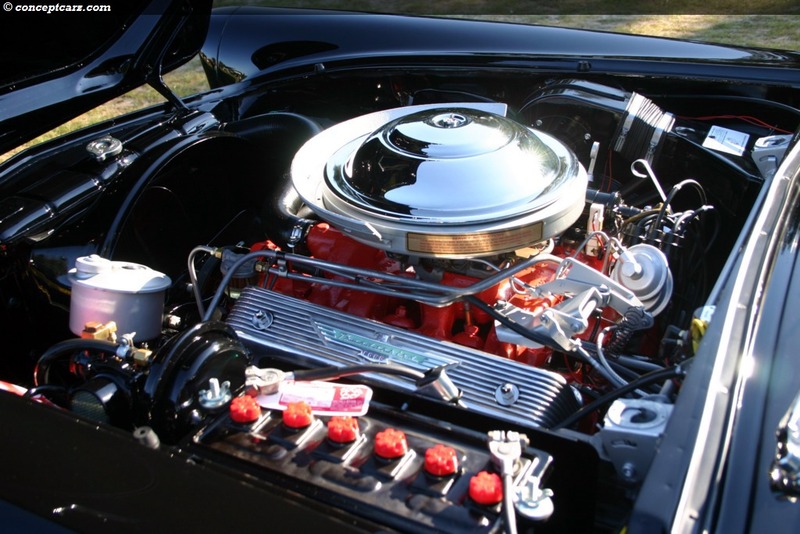 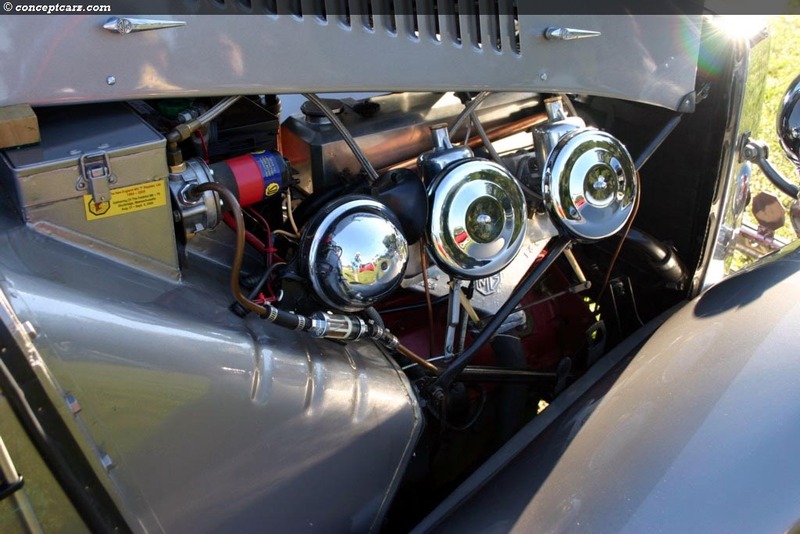 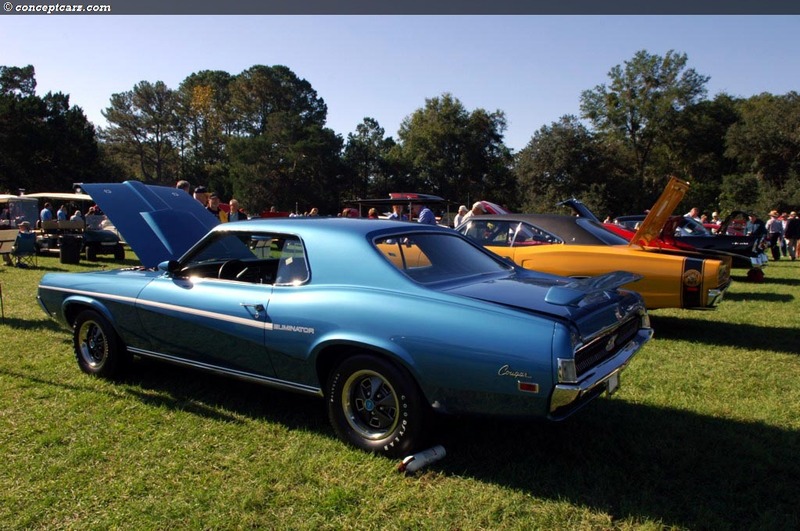 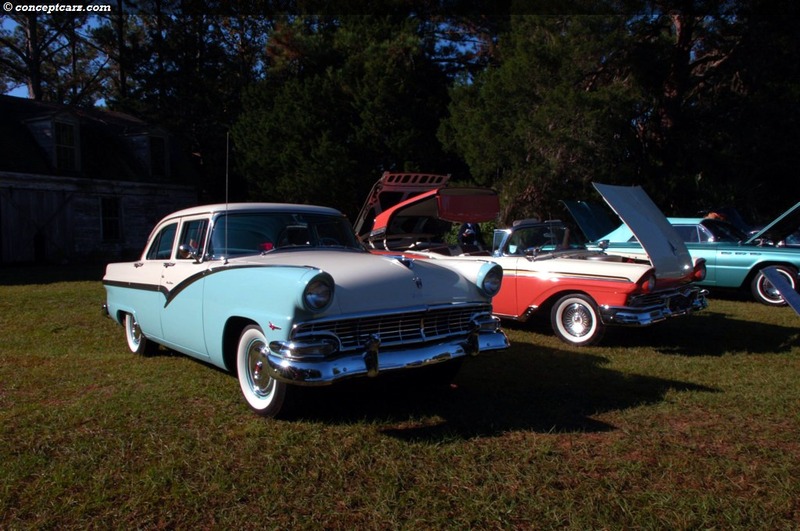 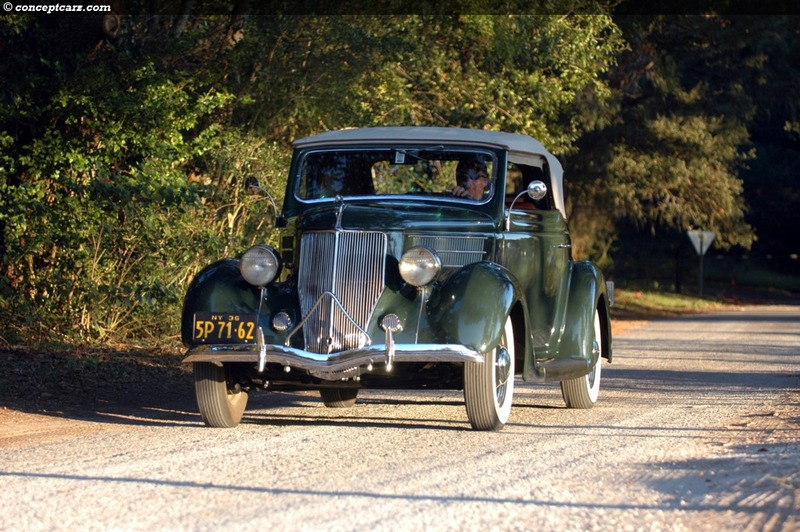 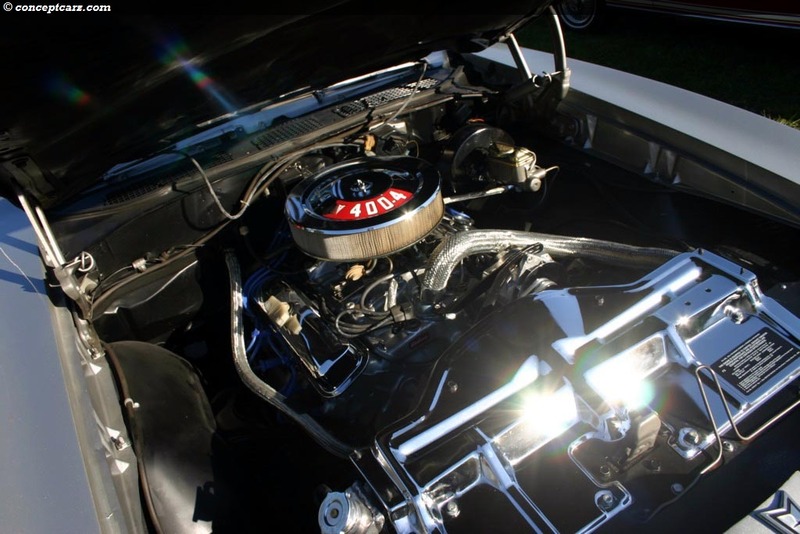 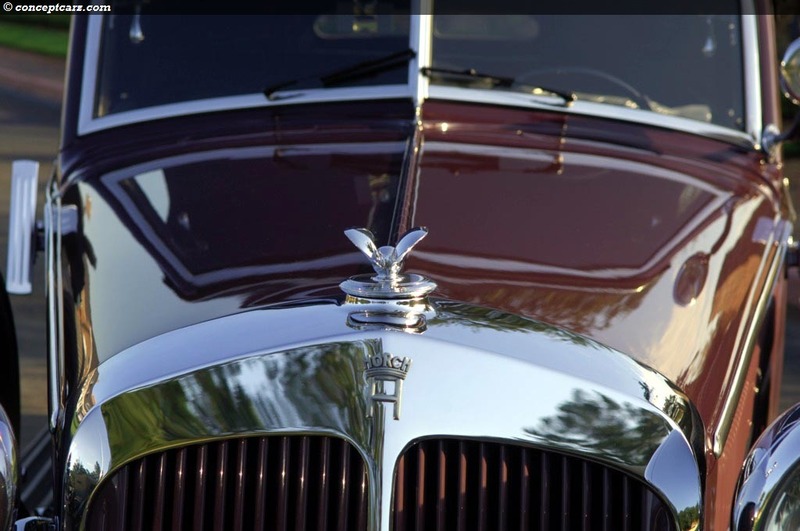 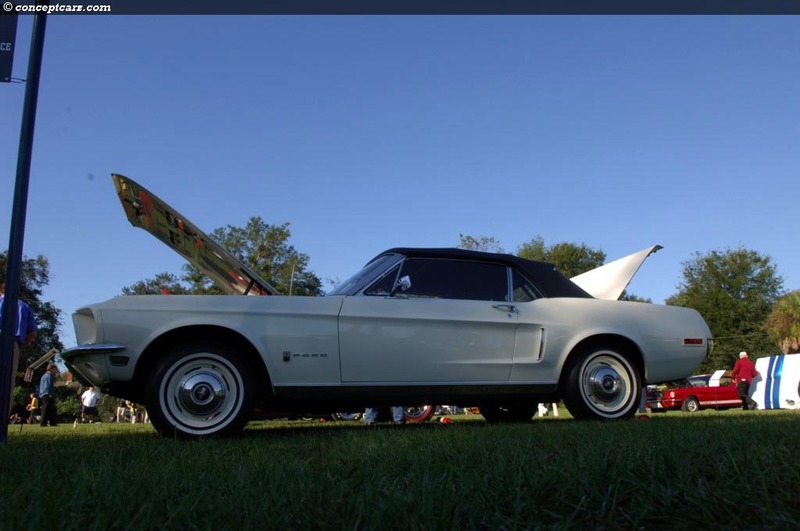 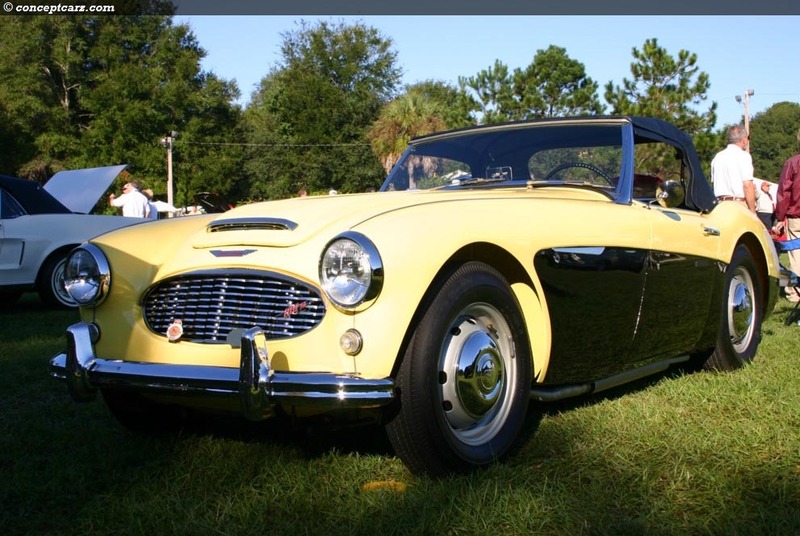 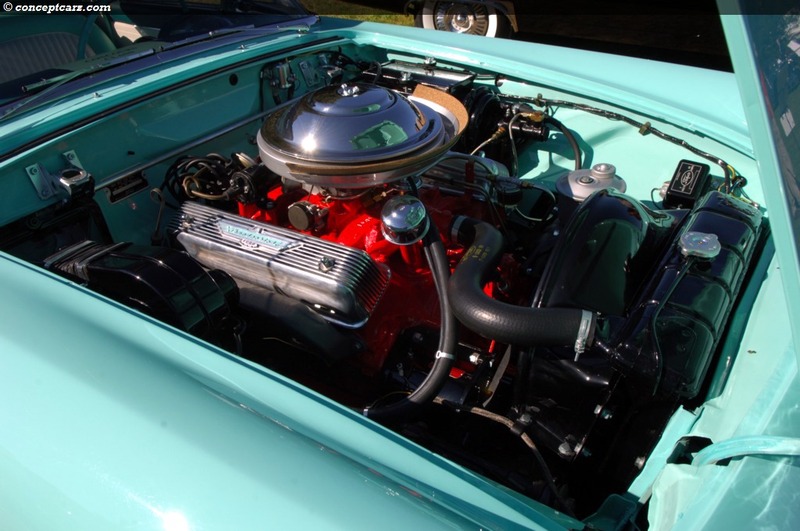 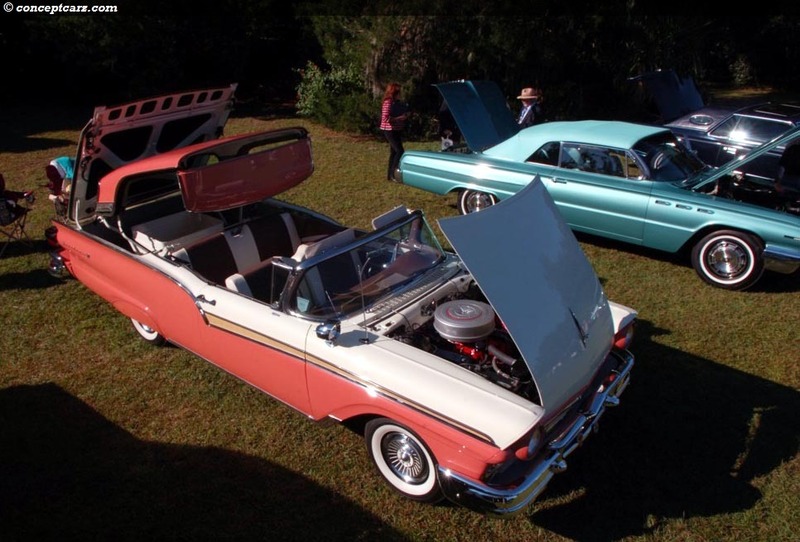 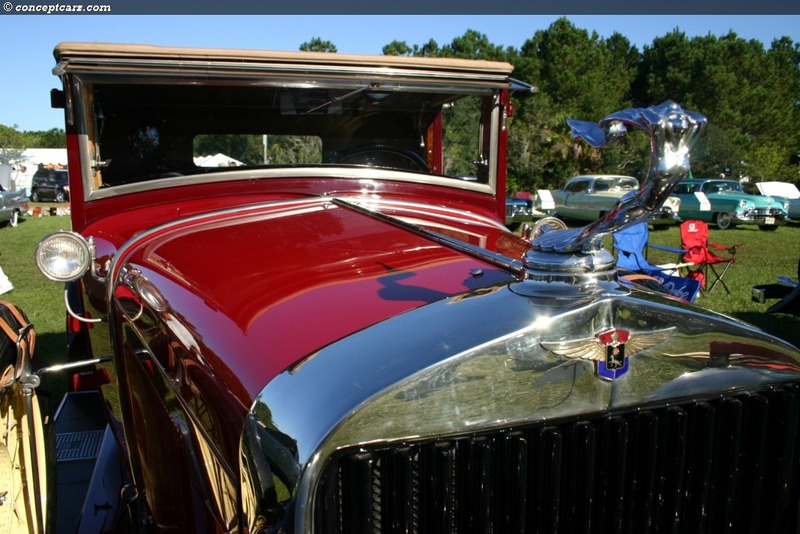 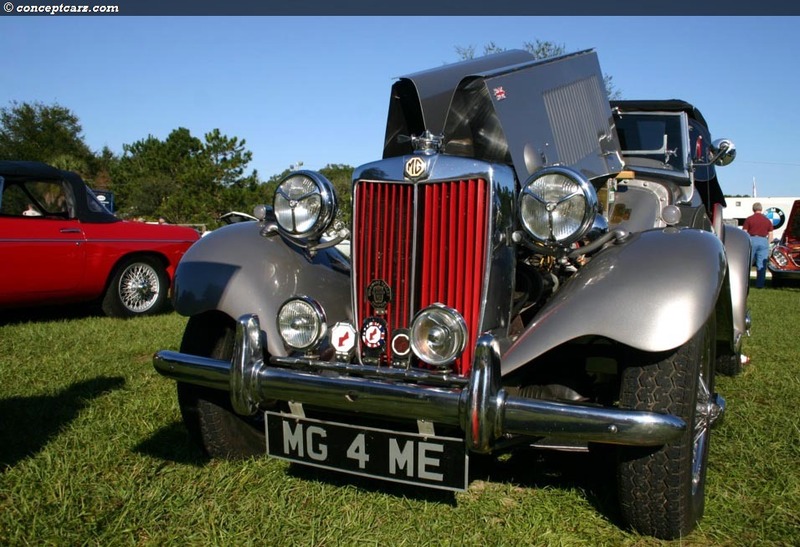 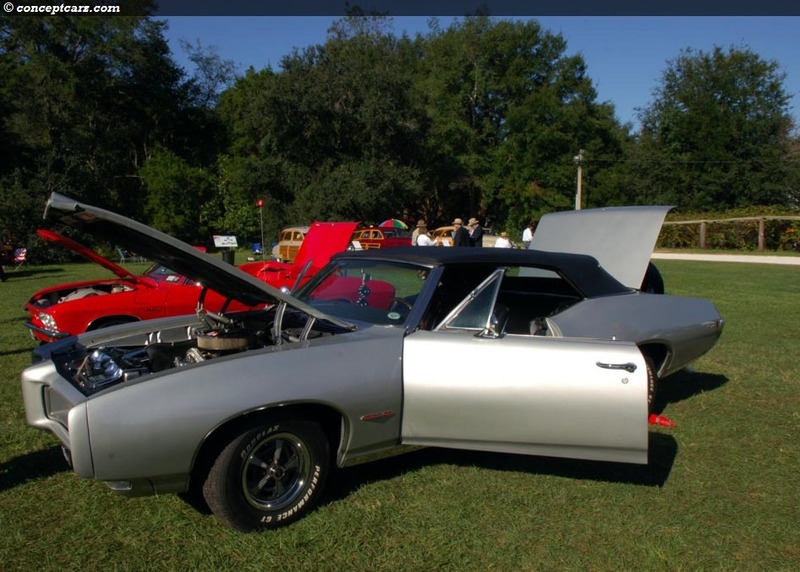 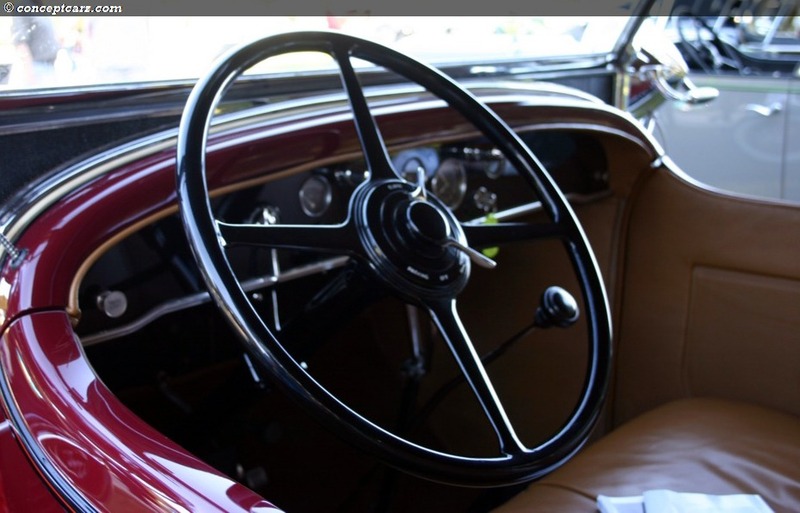 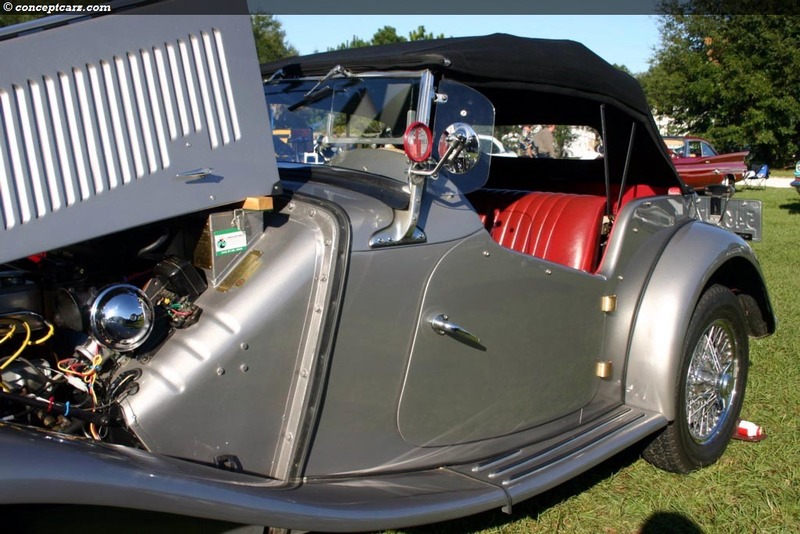 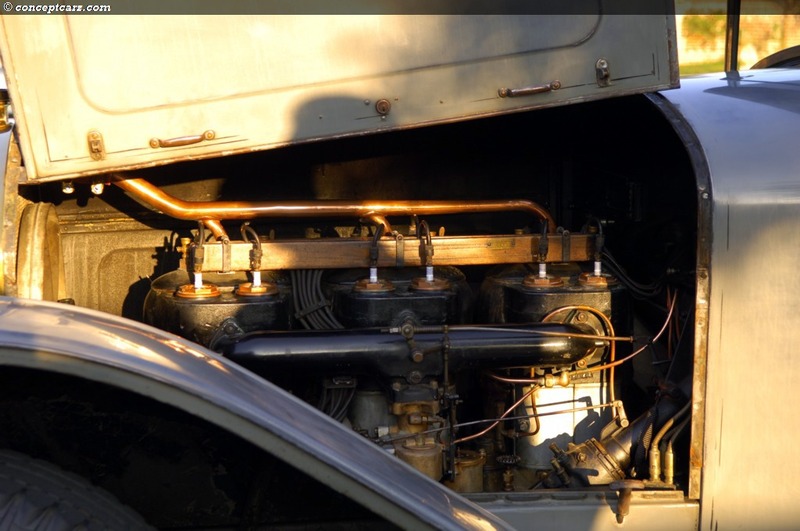 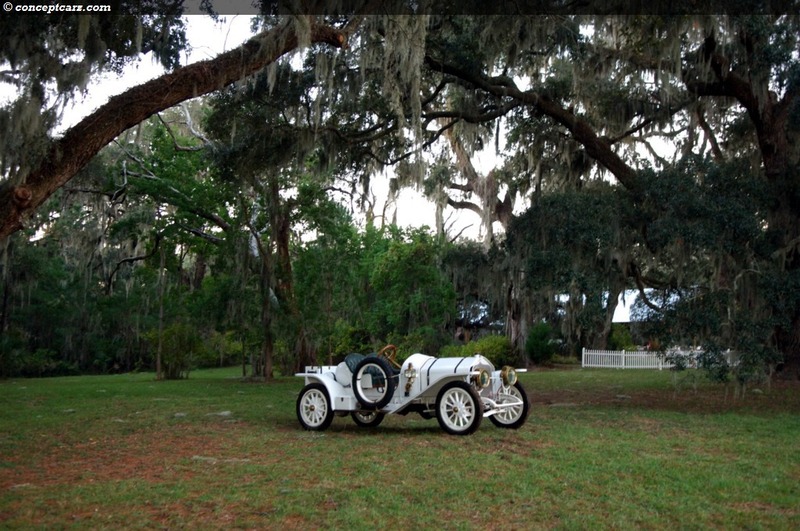 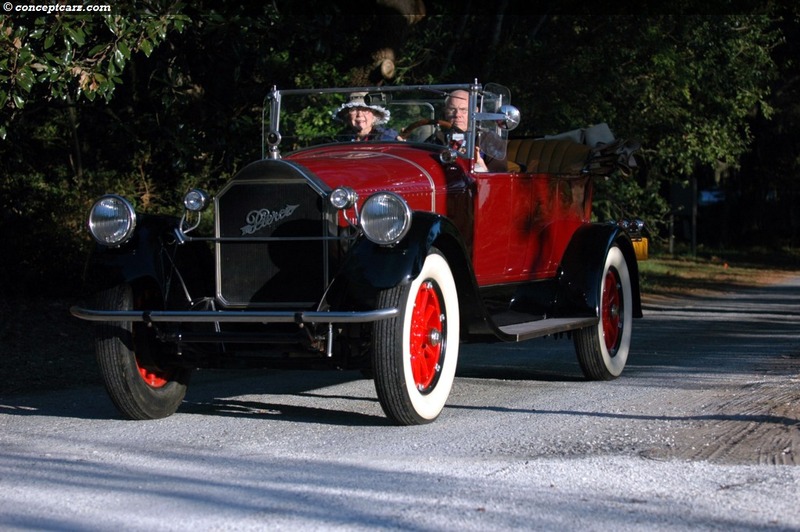 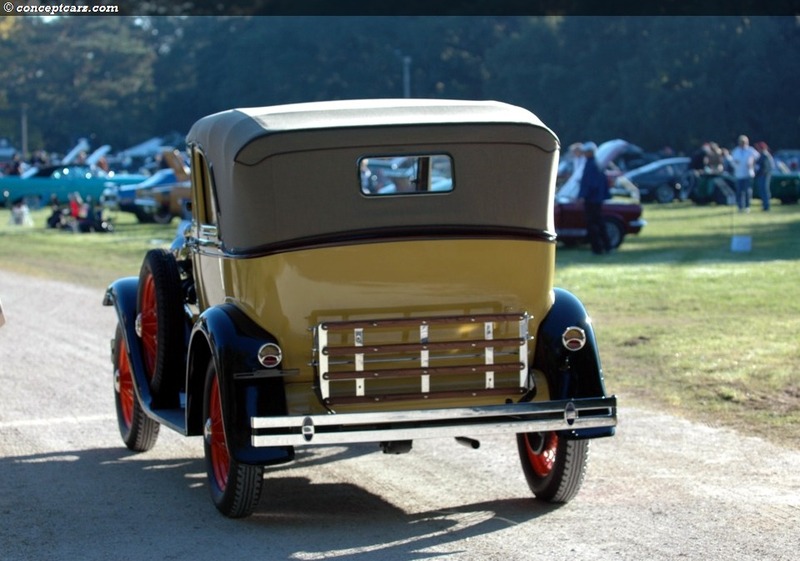 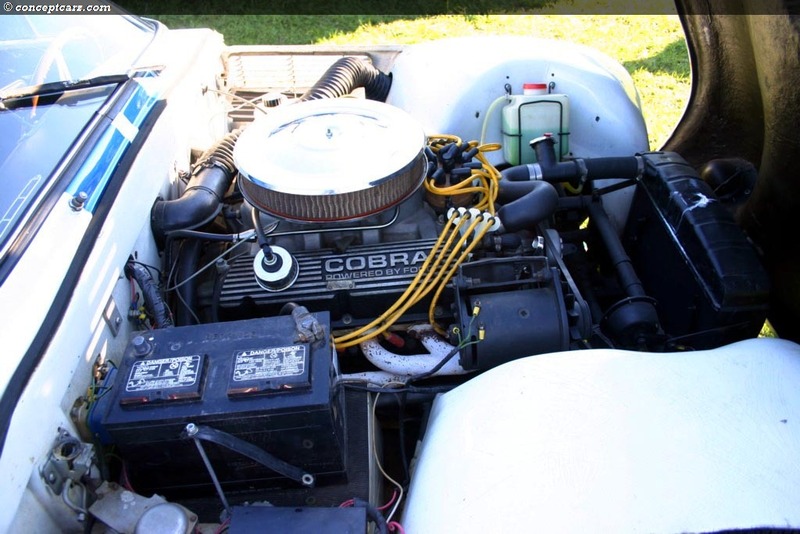 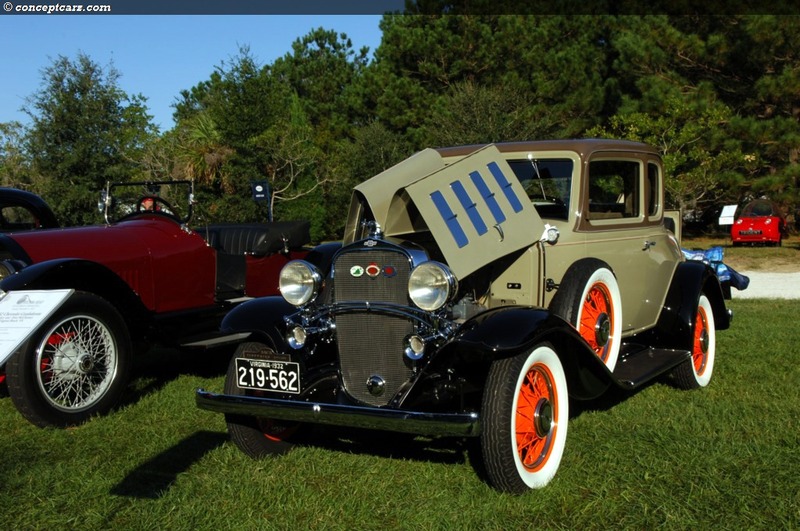 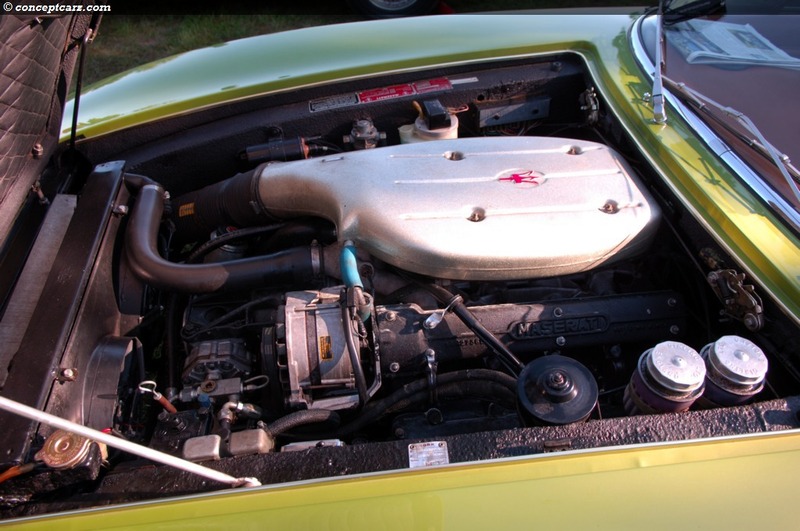 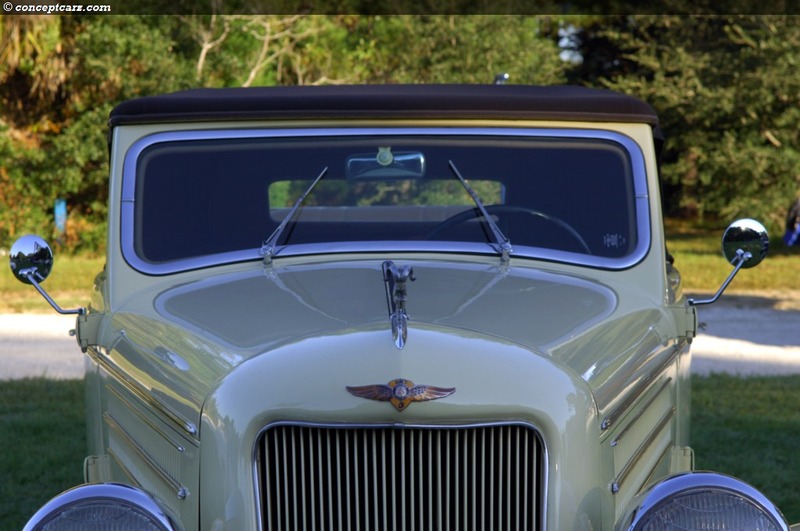 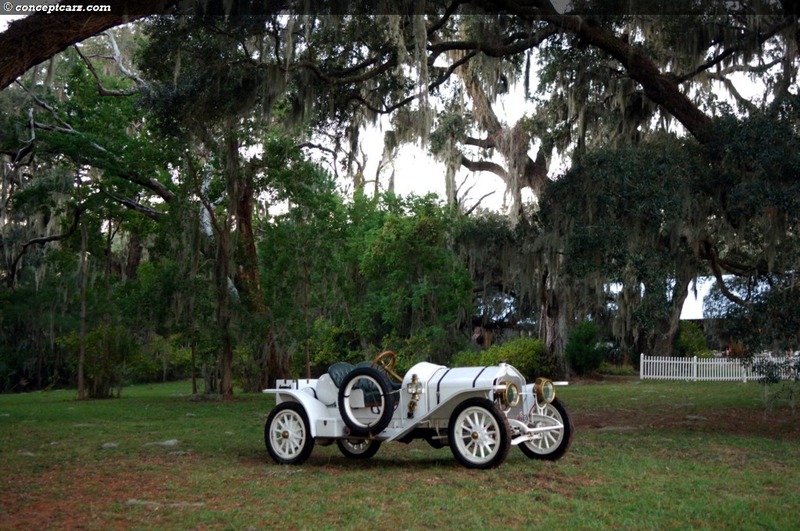 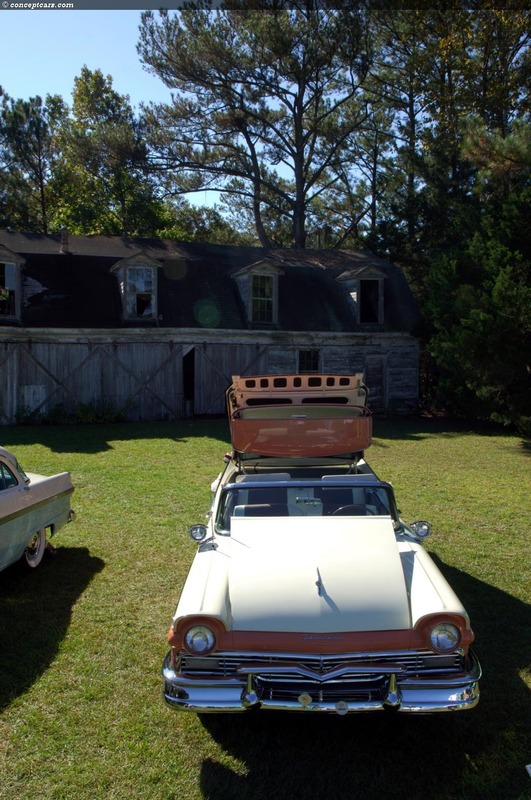 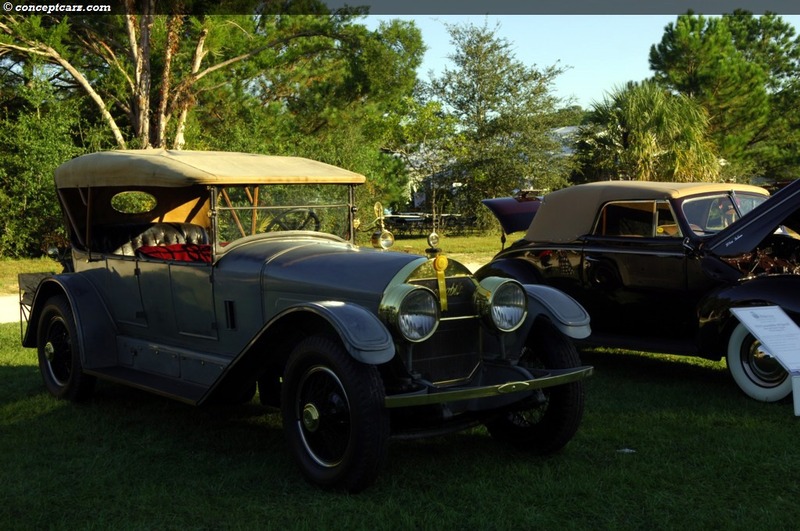 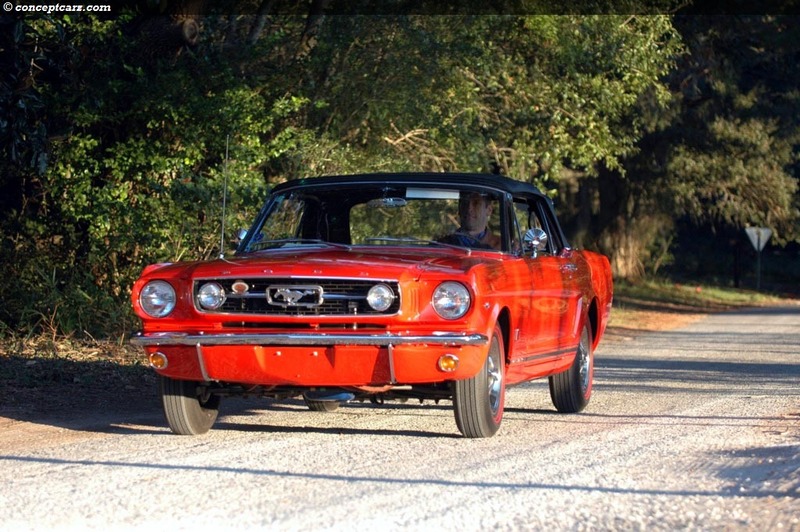 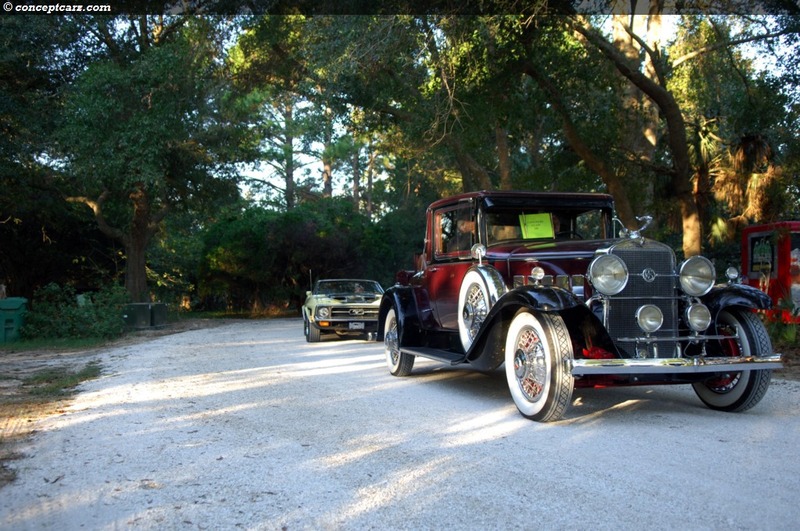 As is the case with all major events, the venue is very important, and the Coastal Discovery Museum at Honey Horn provides an excellent setting to showcase the antique cars. 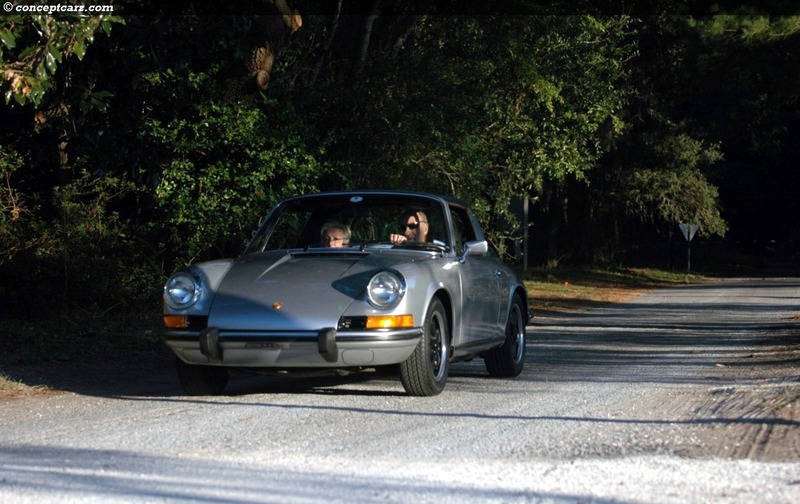 Plus, it is hard to argue with the Hilton Head Island location in November, which has very comfortable weather that demands outdoor activity. 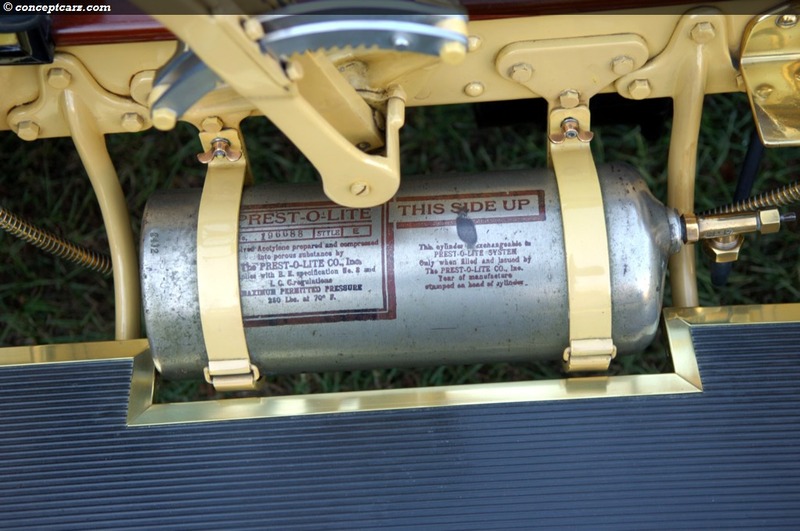 Everything from the brass era to the 1970s rolled onto the field early Sunday morning and were positioned according to class. 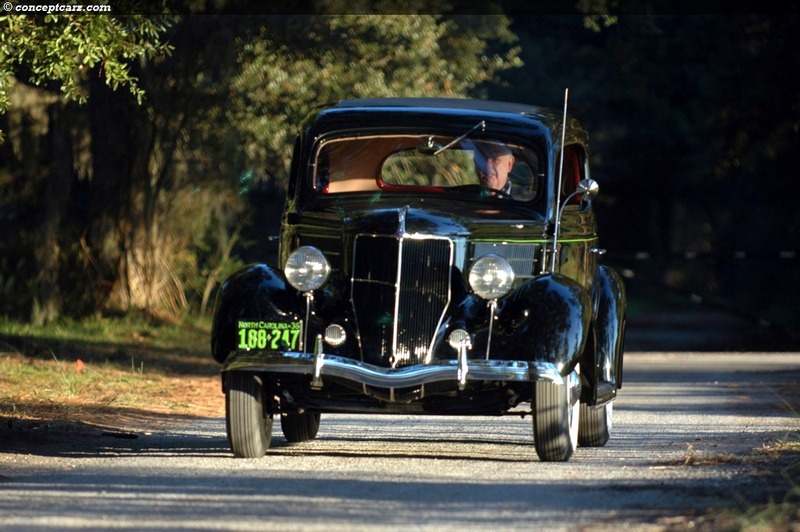 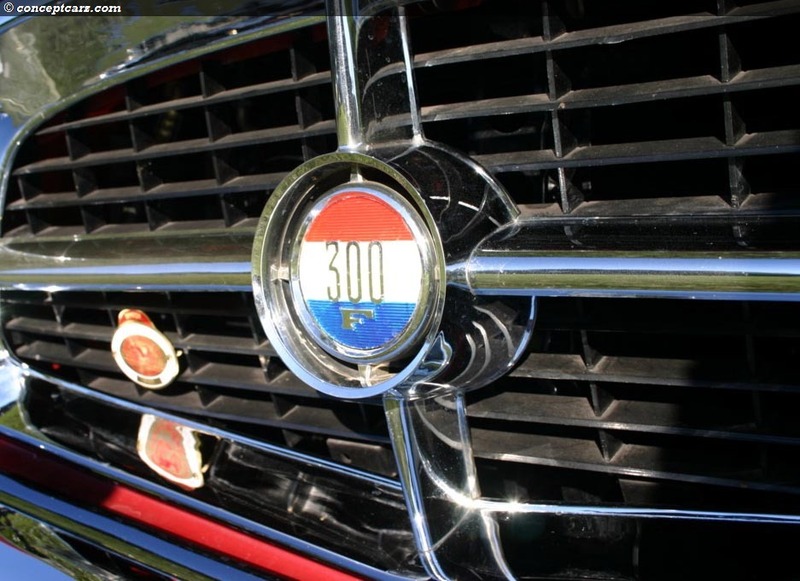 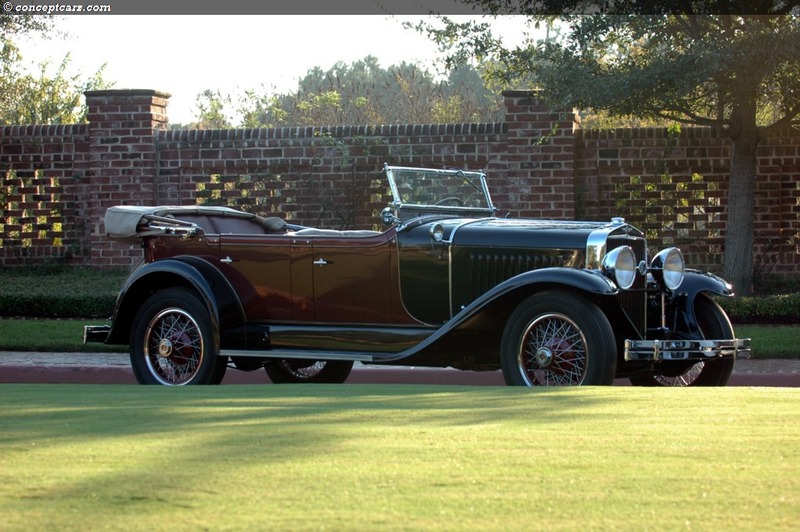 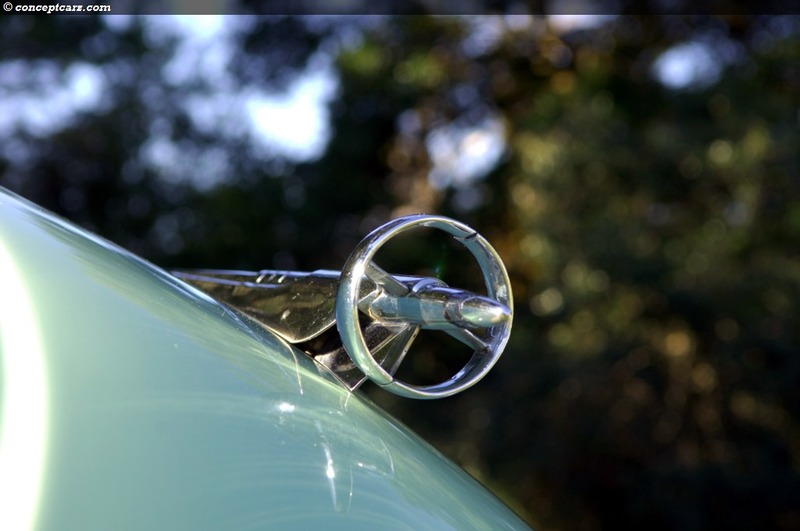 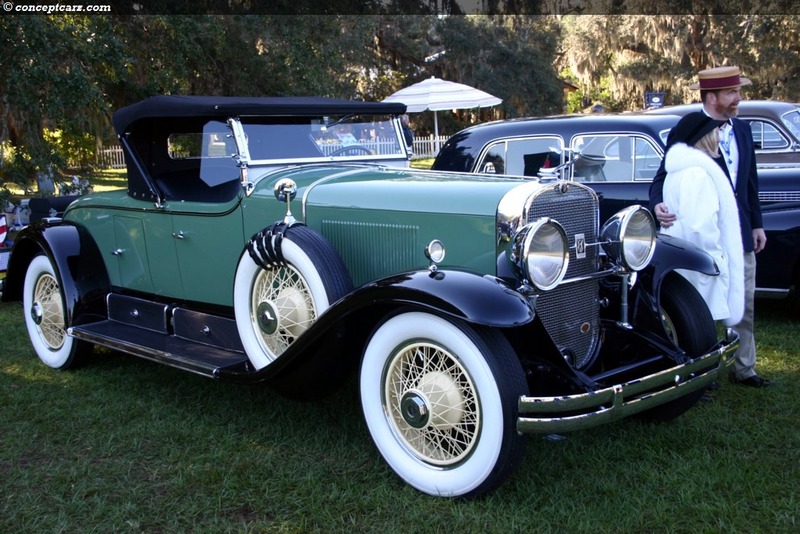 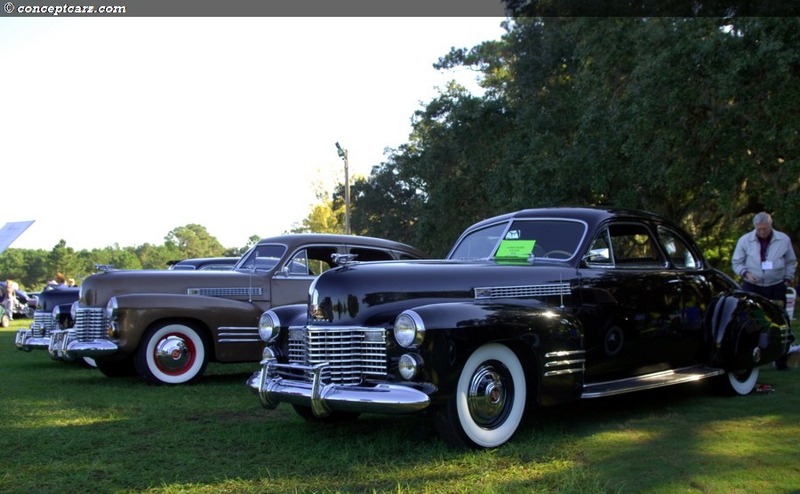 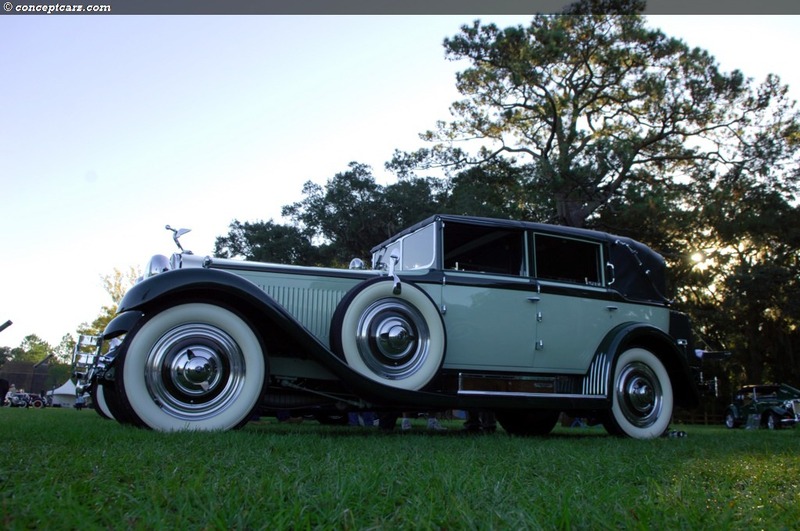 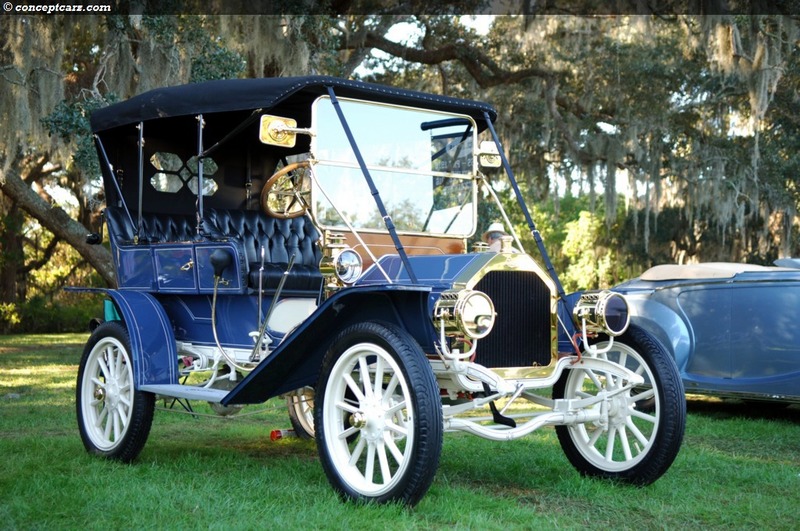 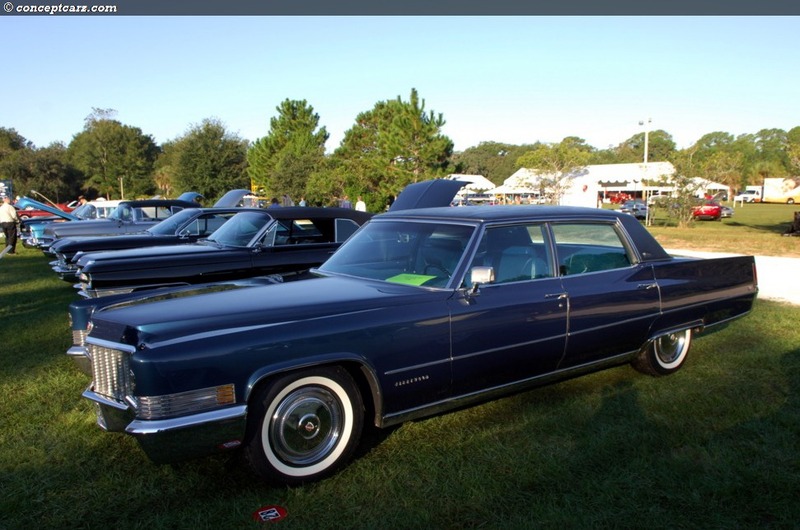 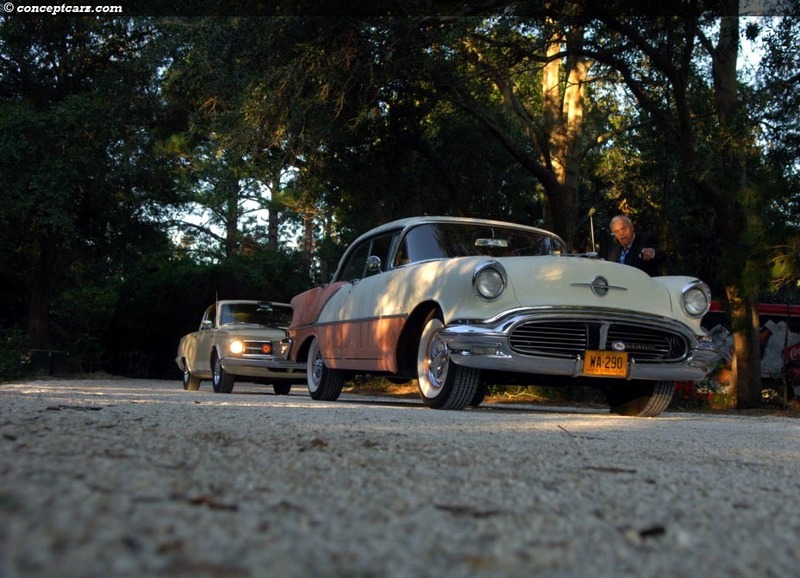 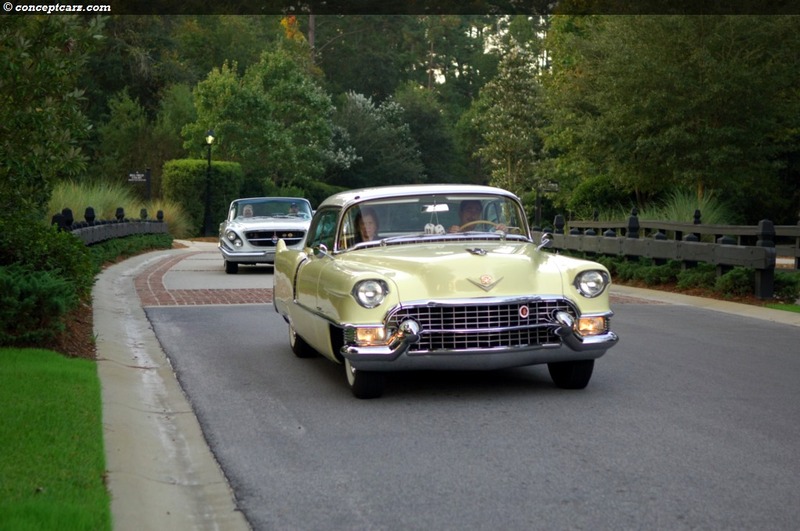 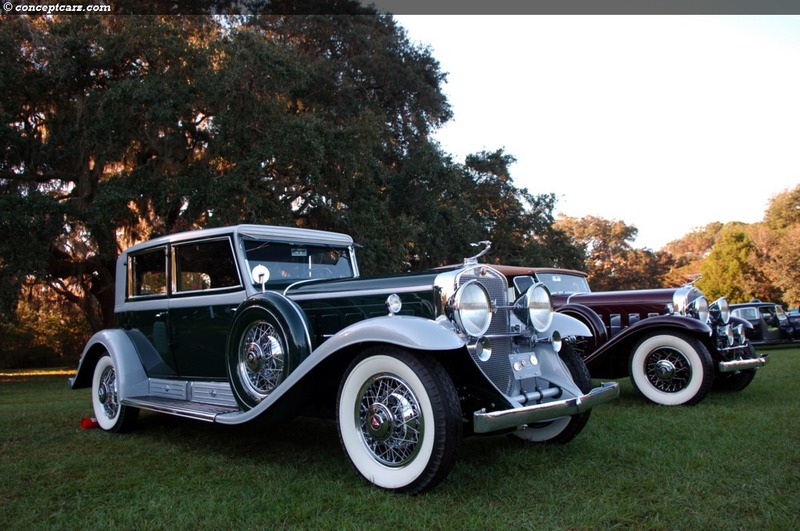 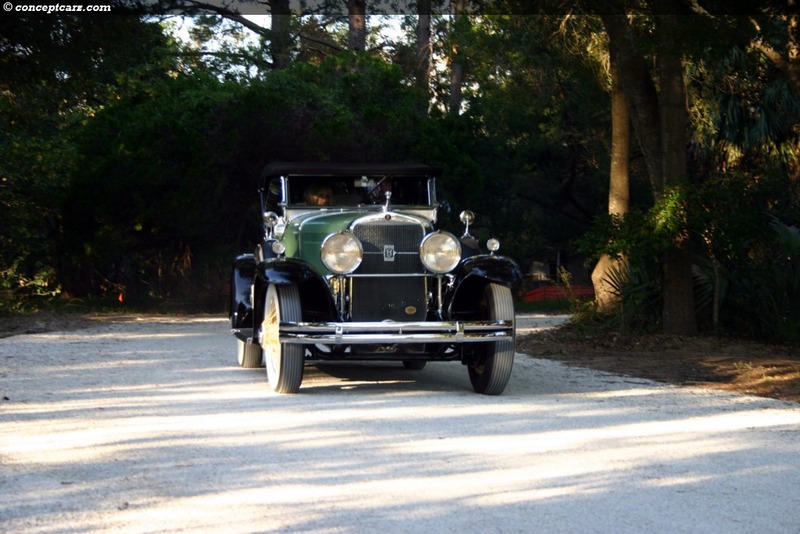 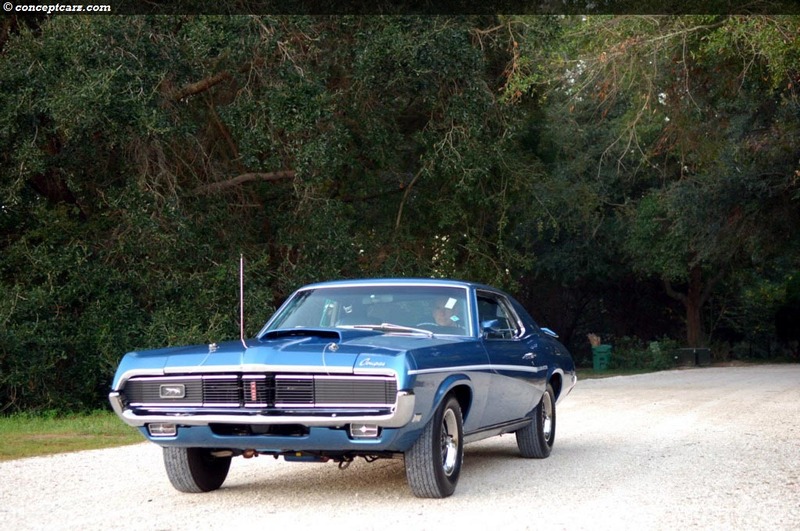 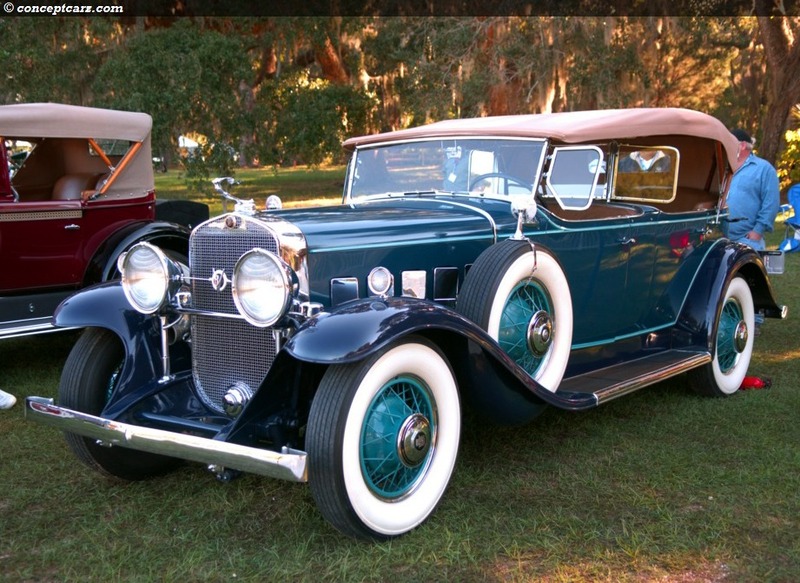 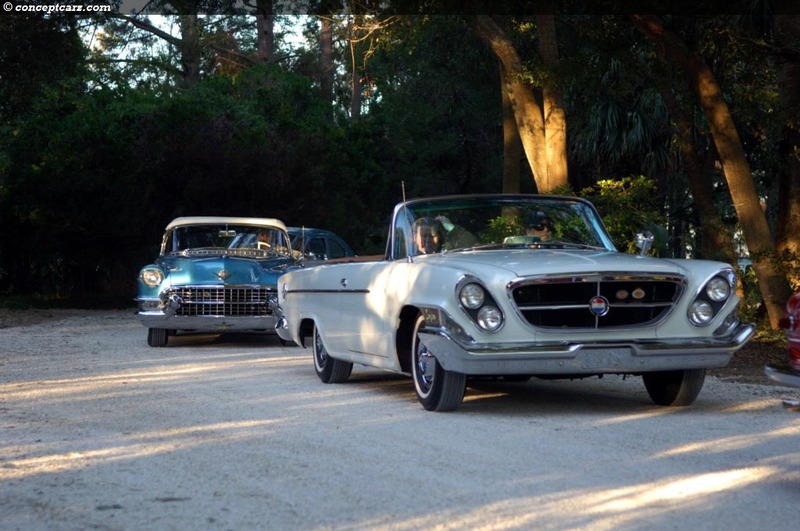 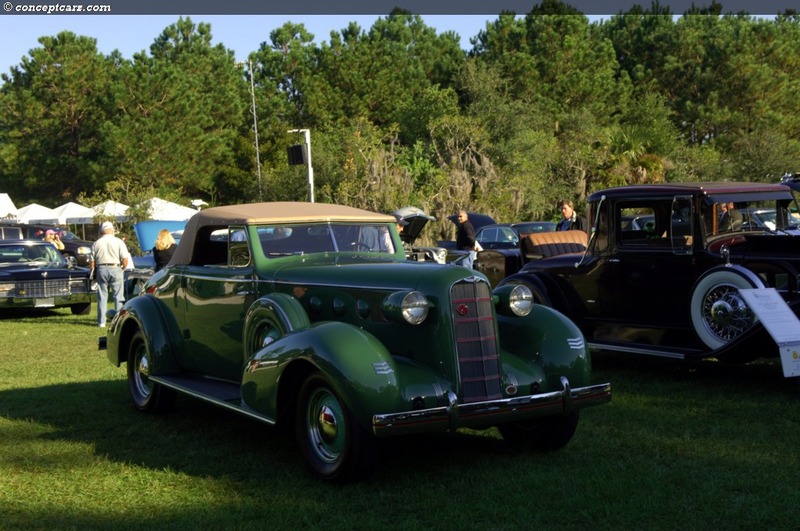 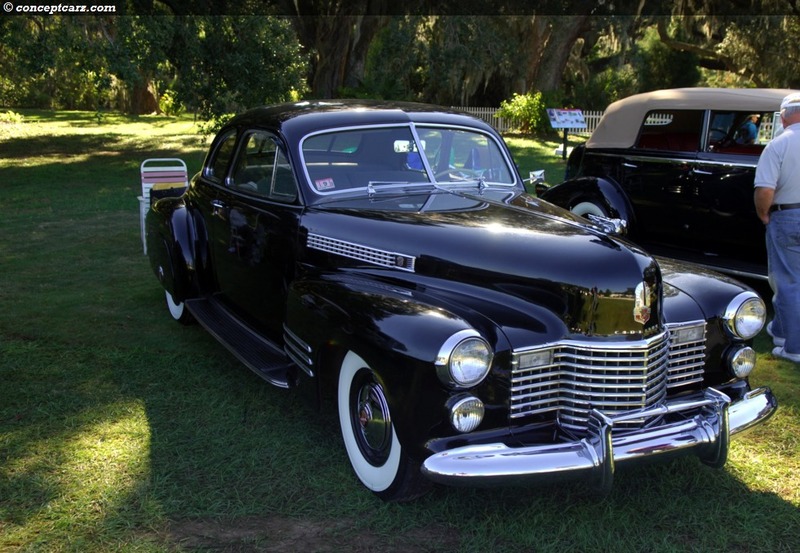 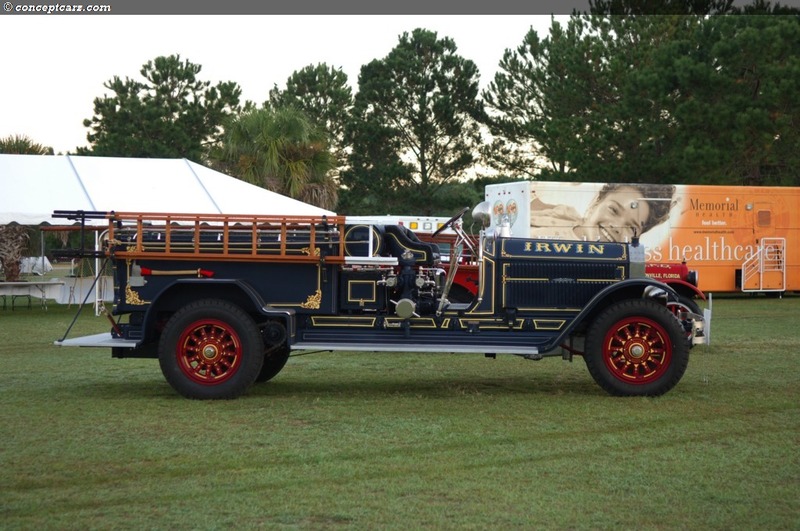 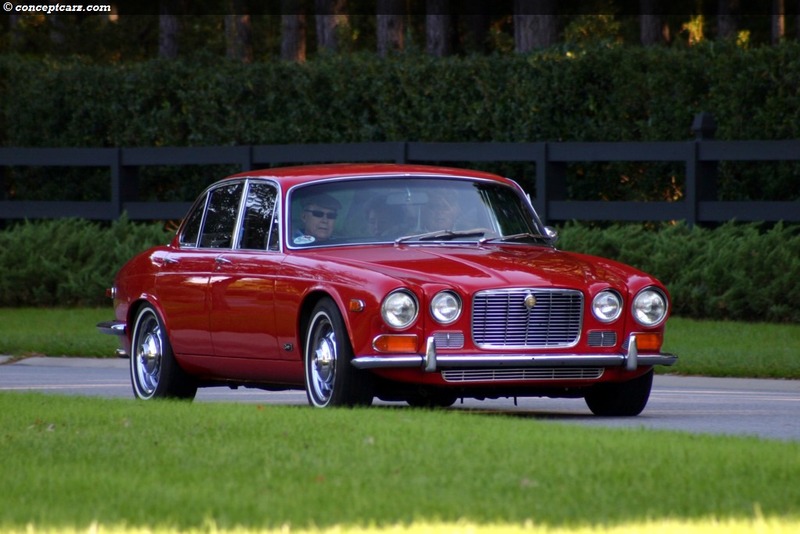 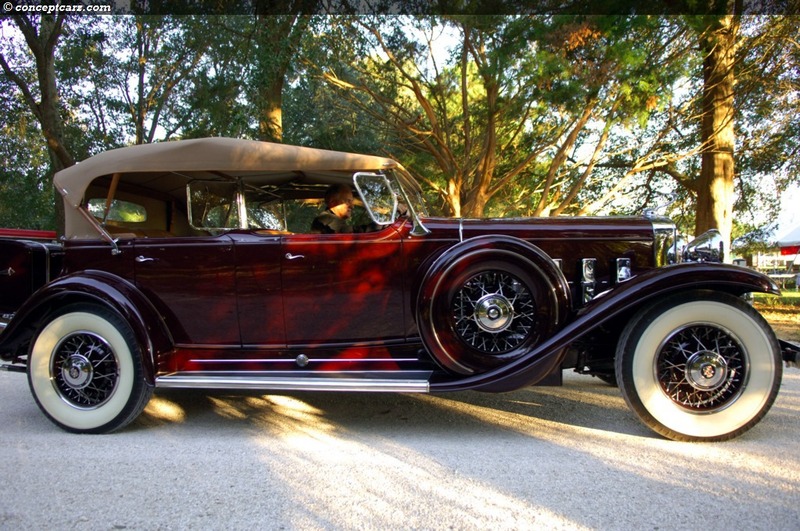 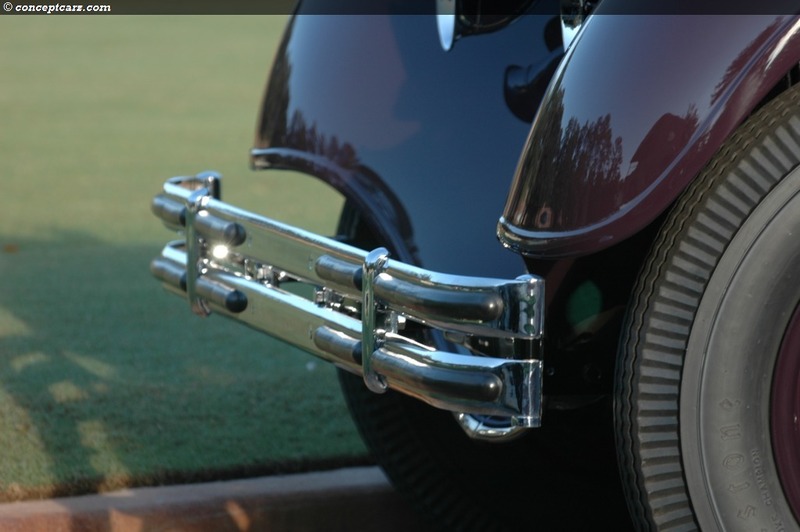 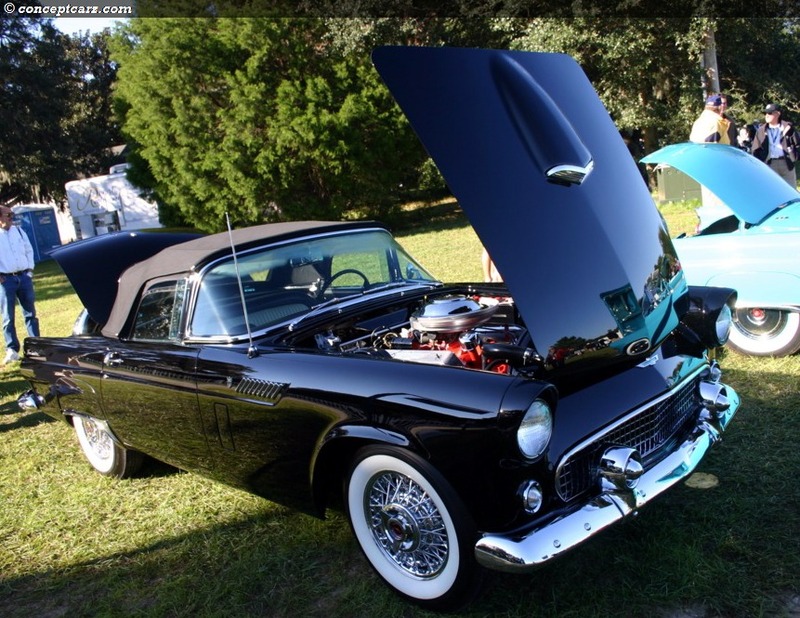 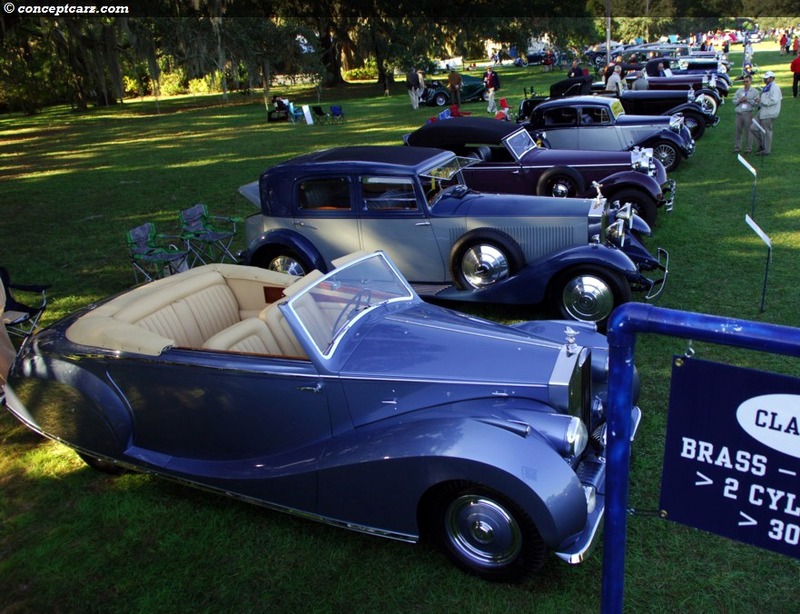 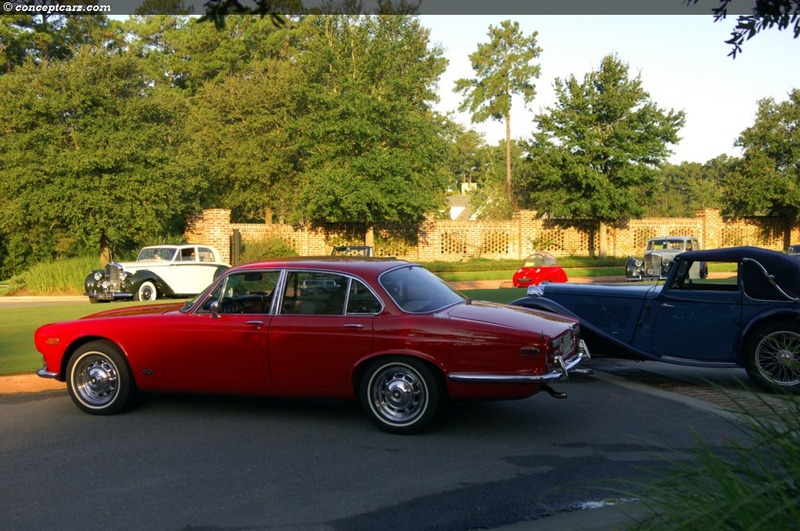 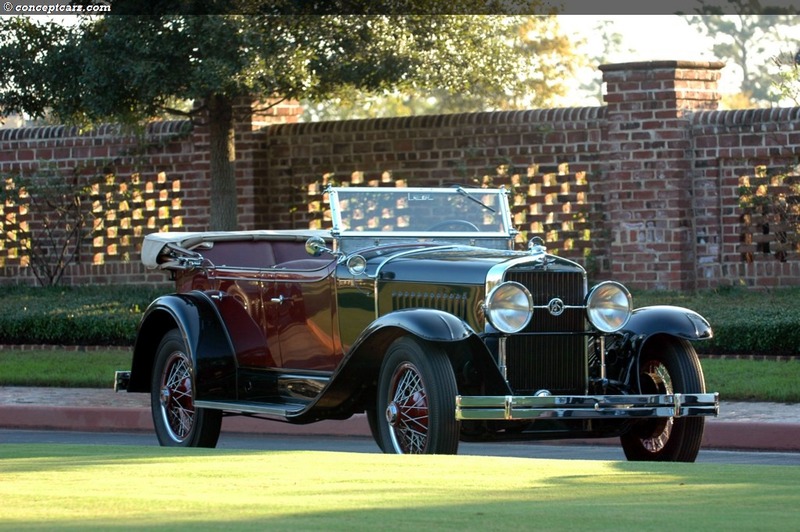 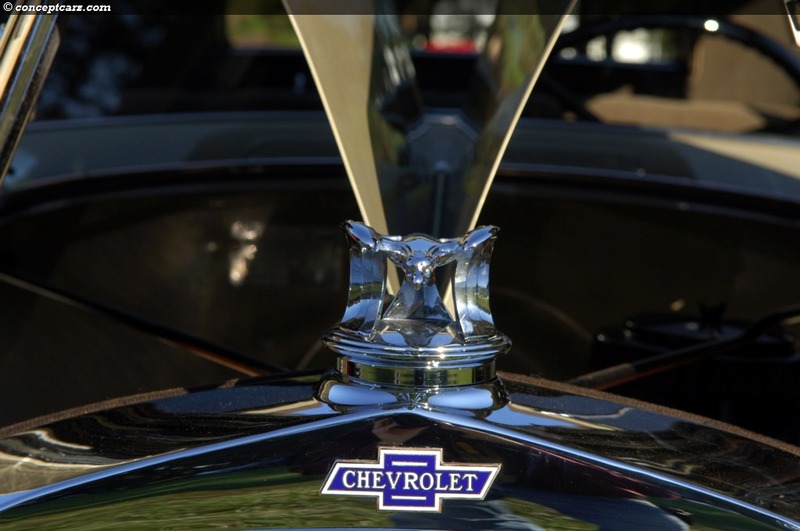 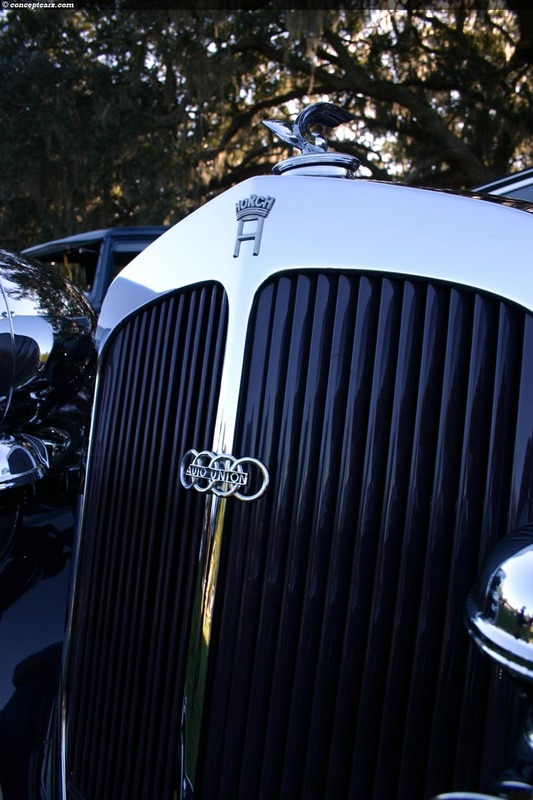 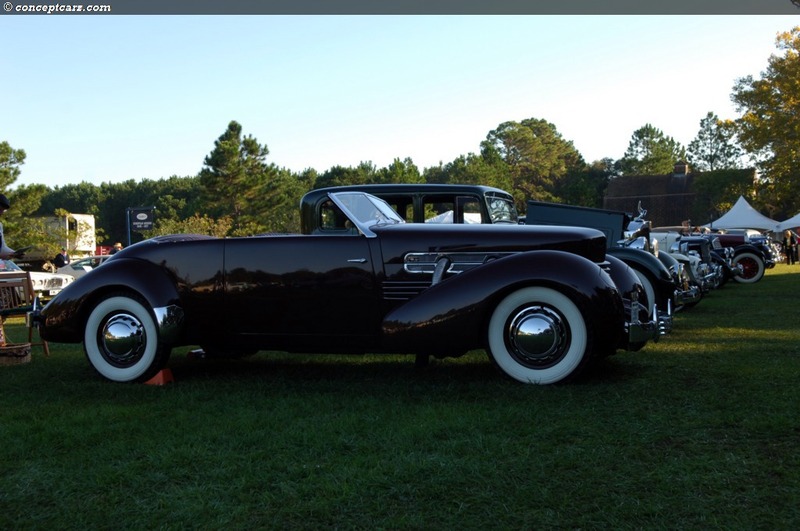 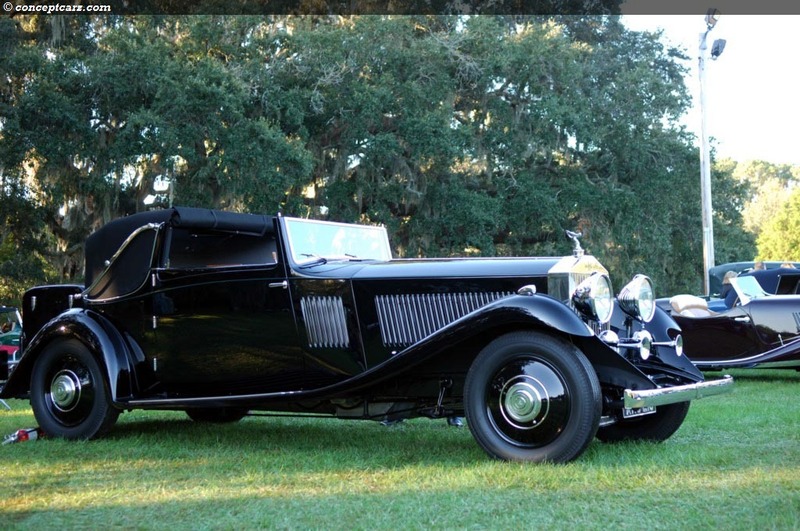 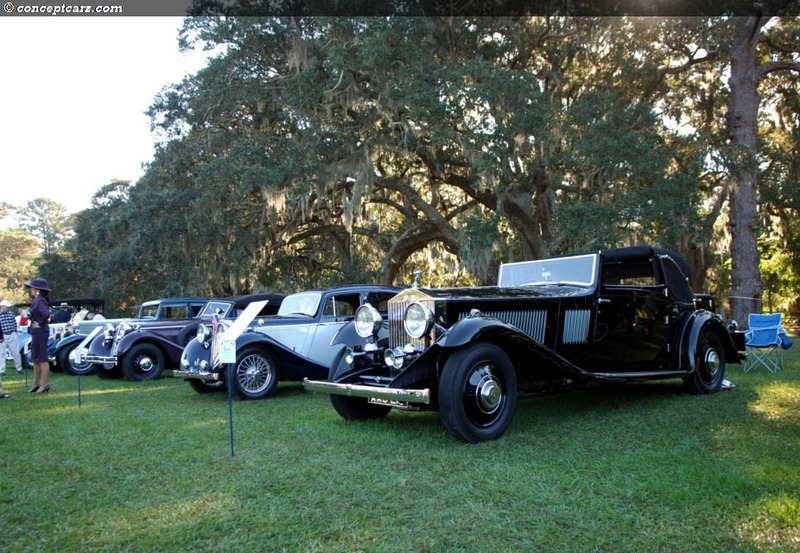 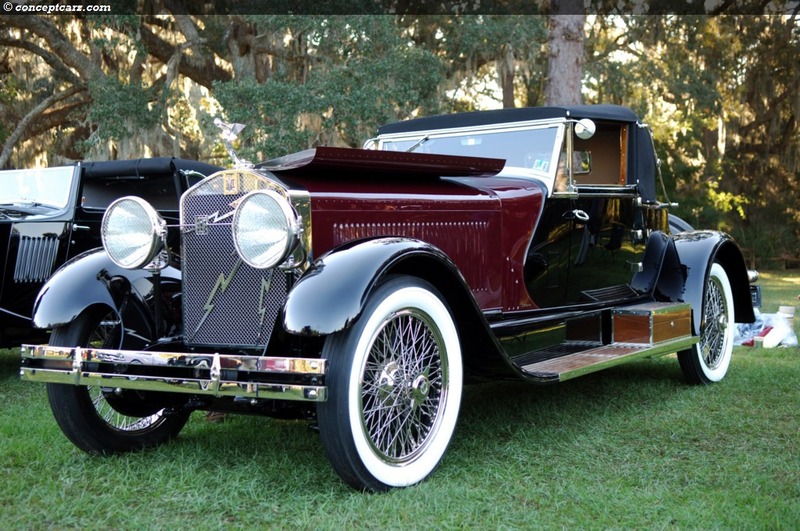 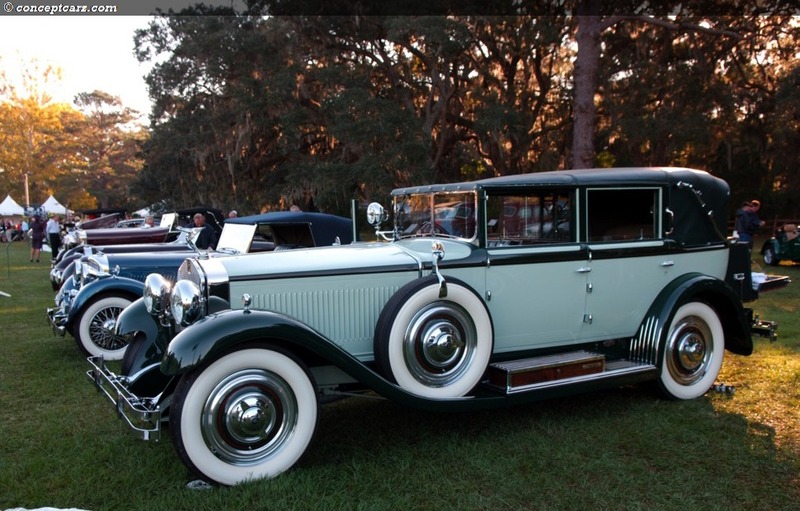 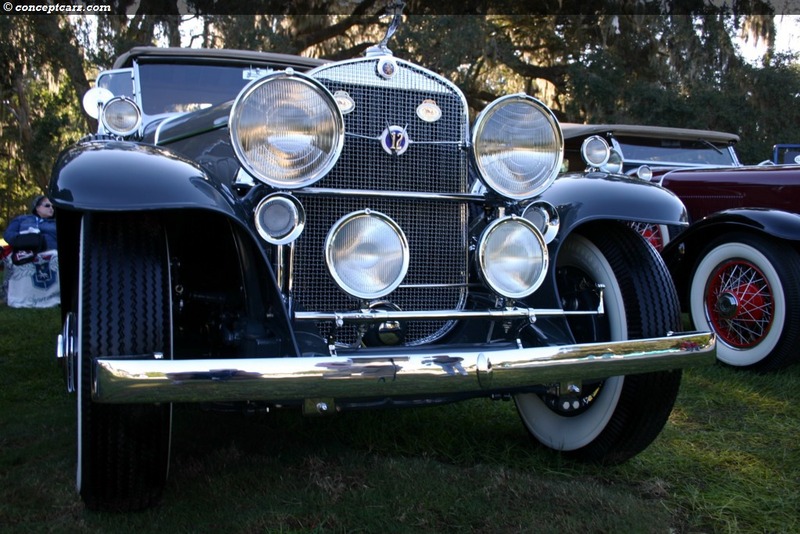 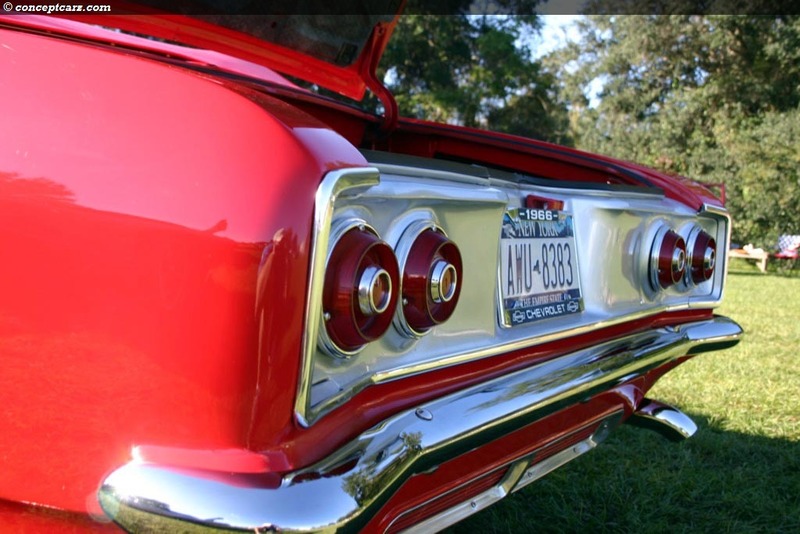 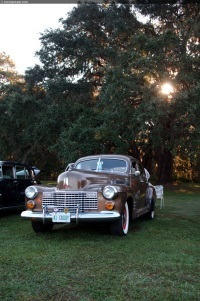 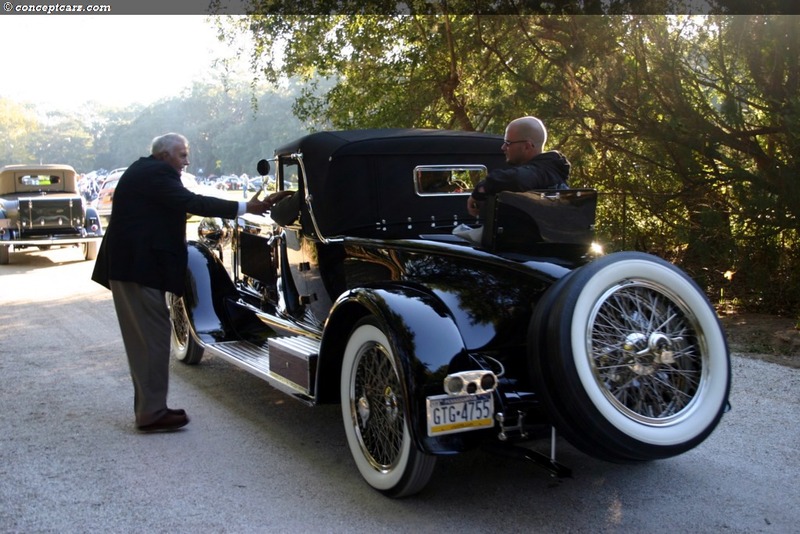 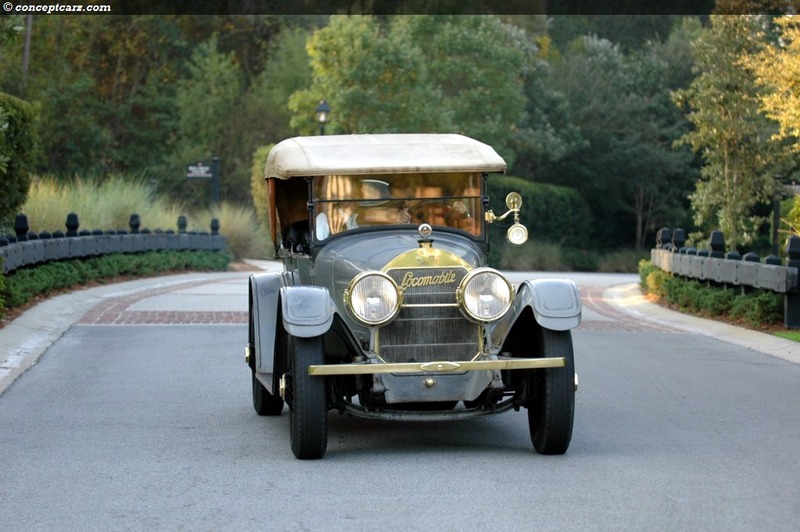 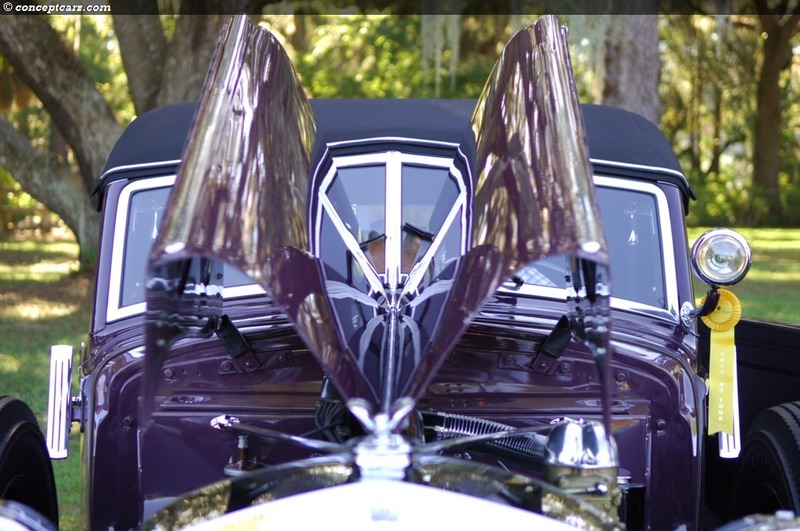 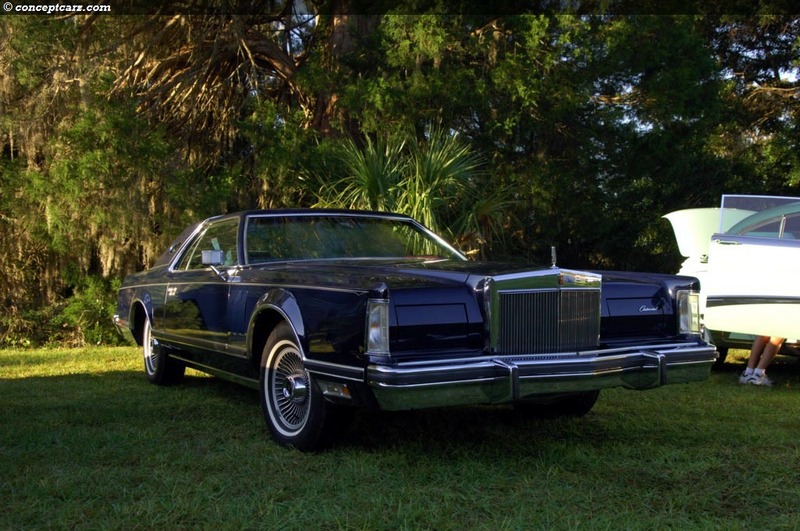 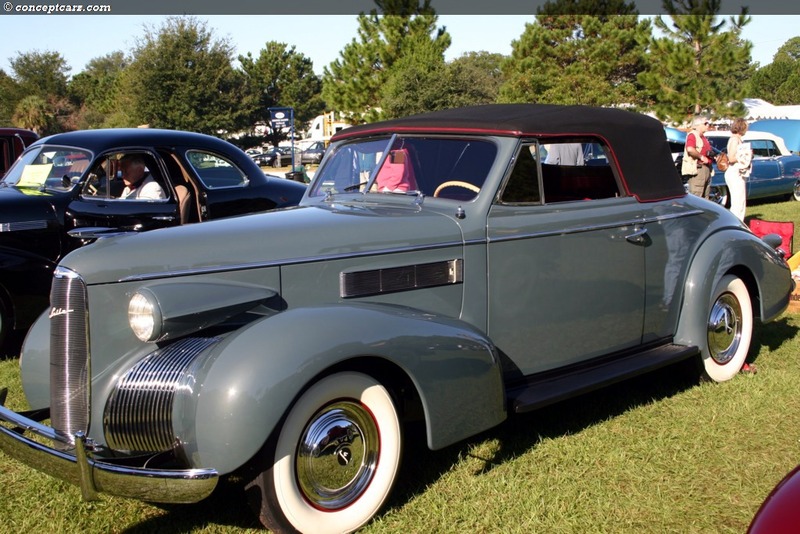 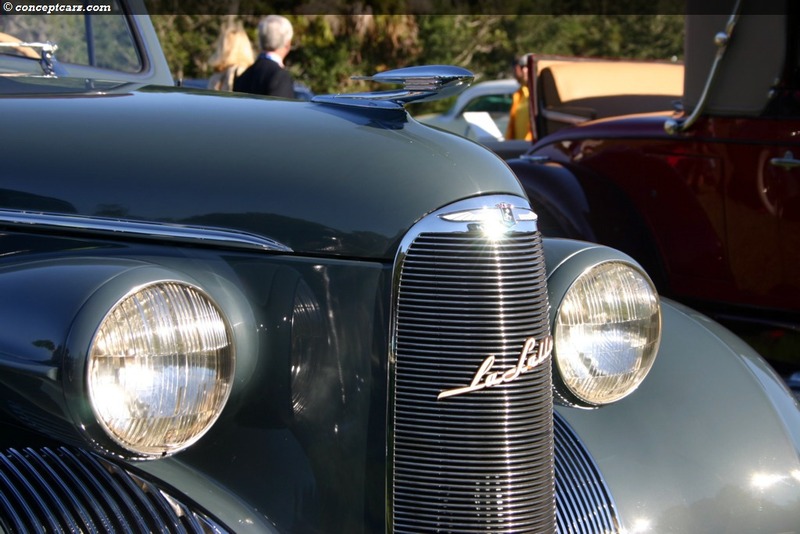 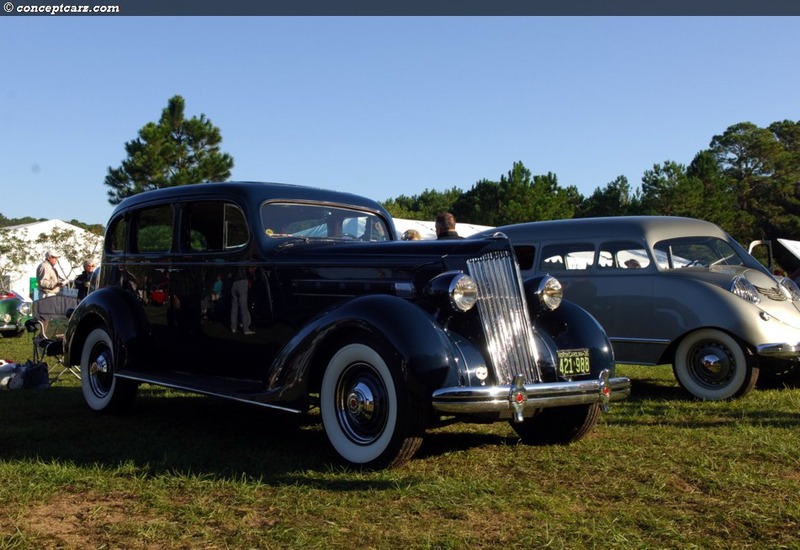 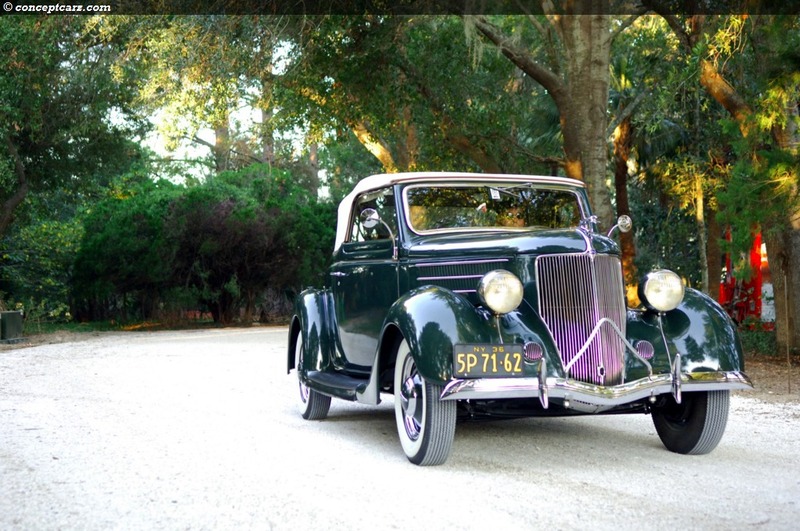 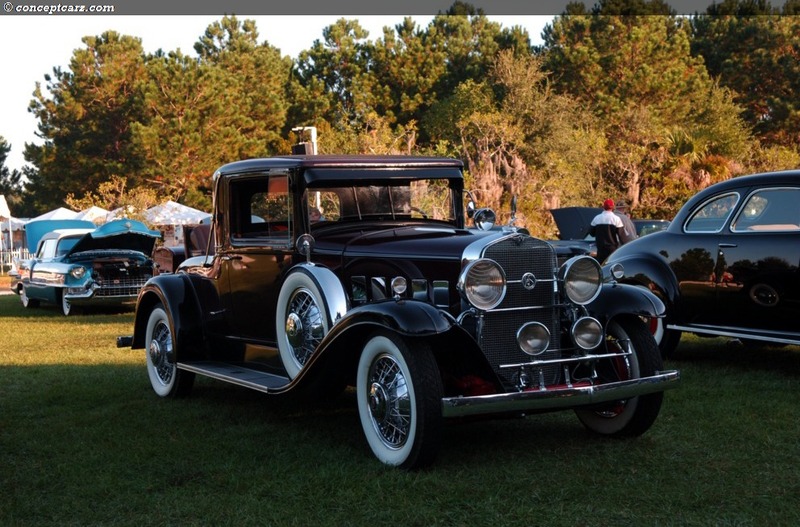 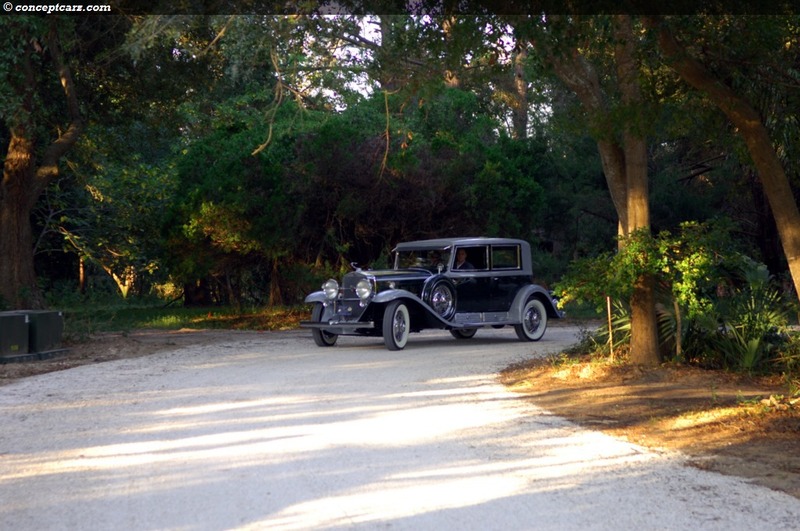 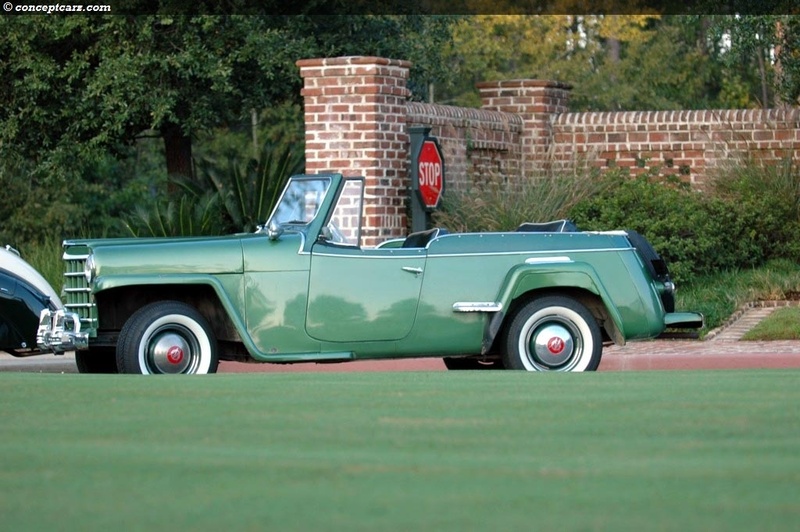 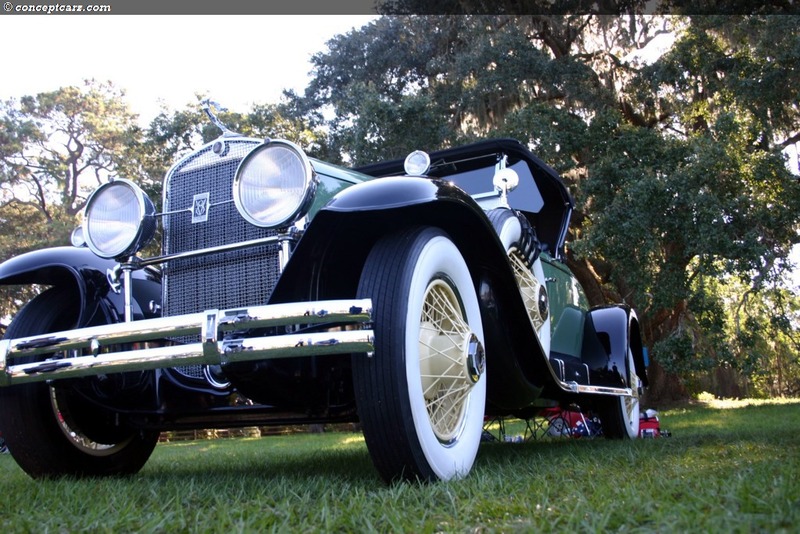 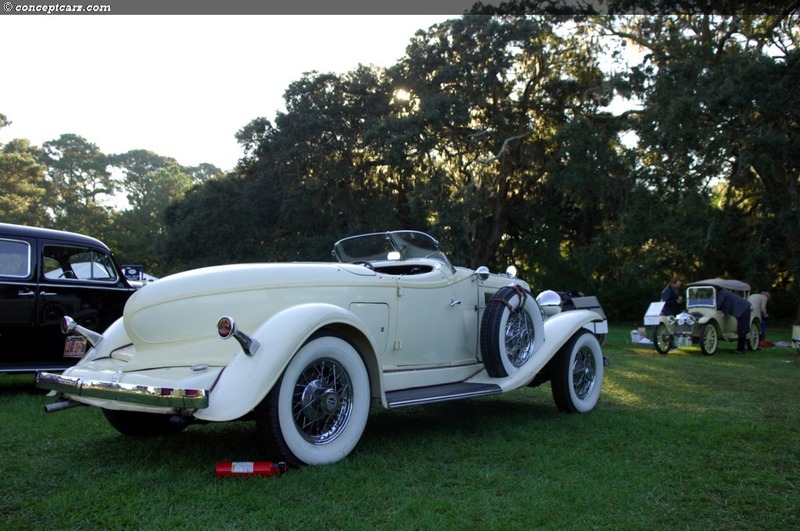 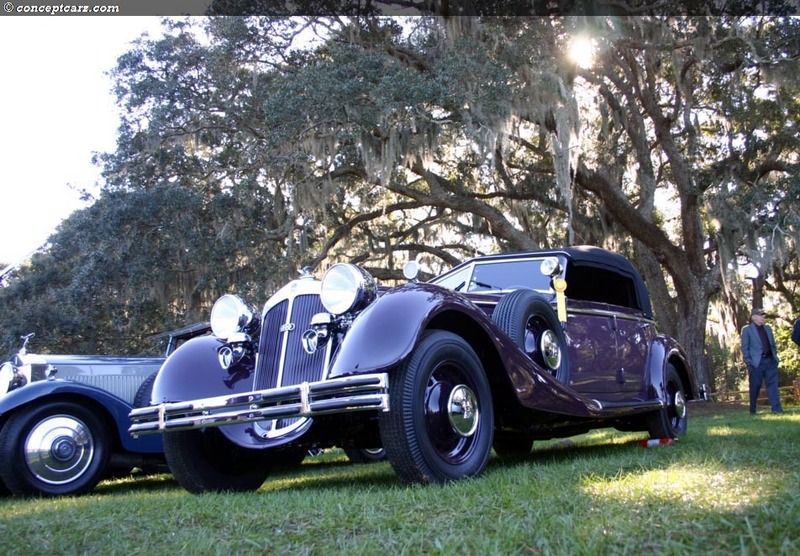 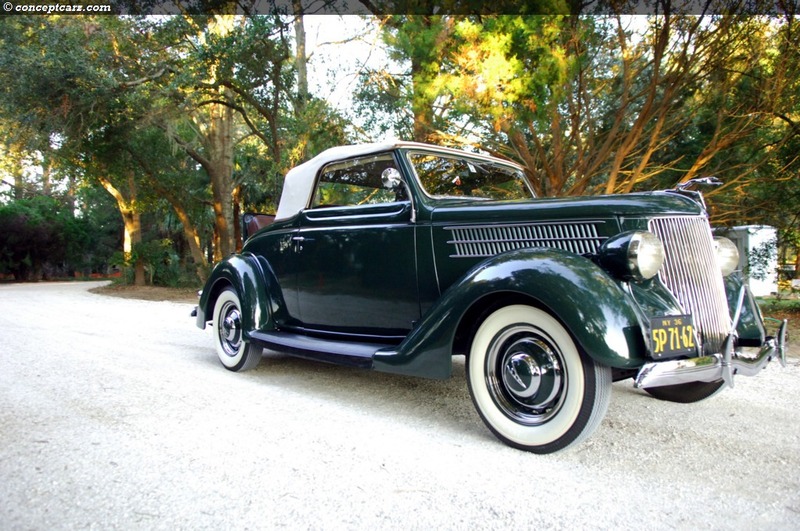 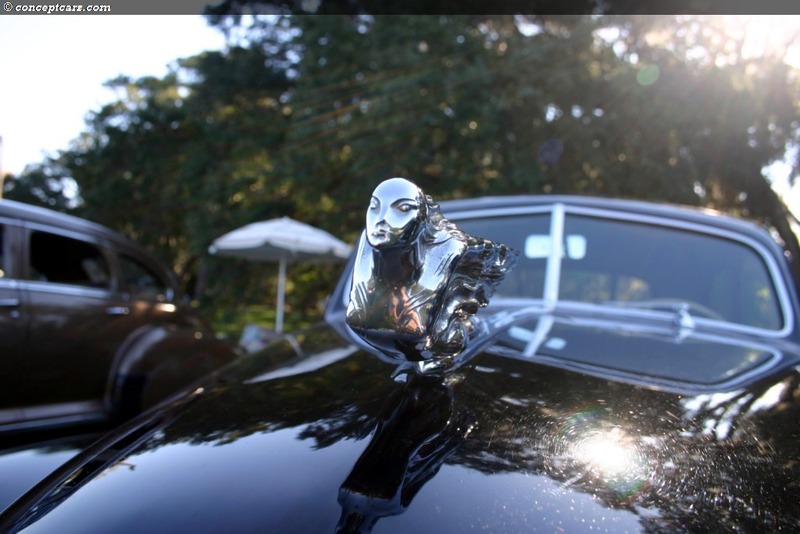 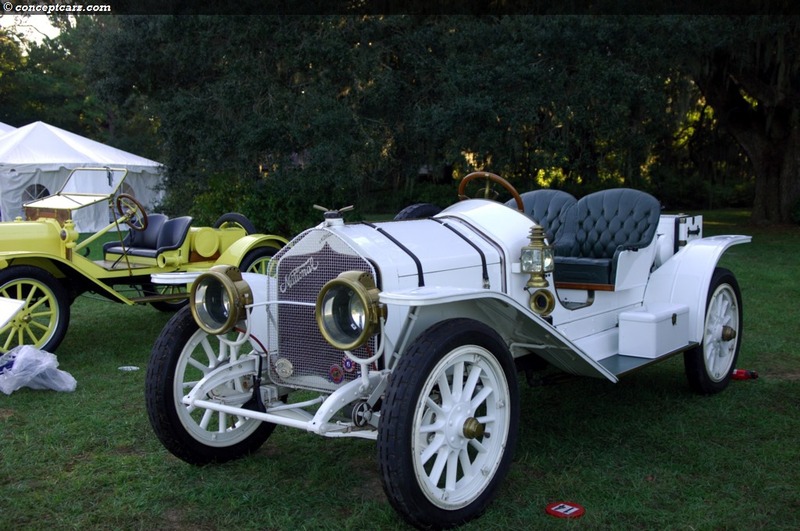 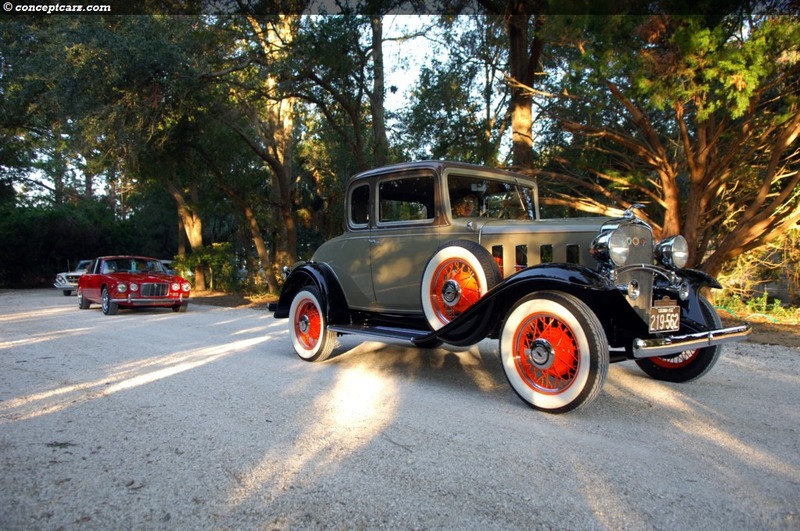 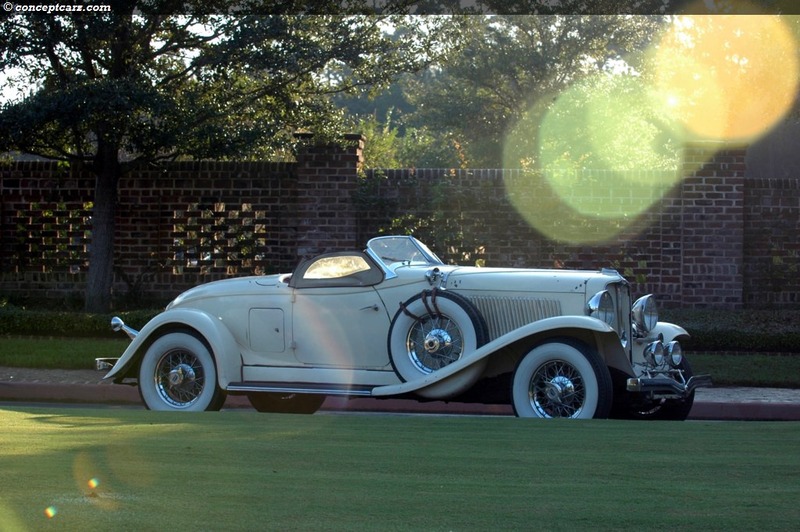 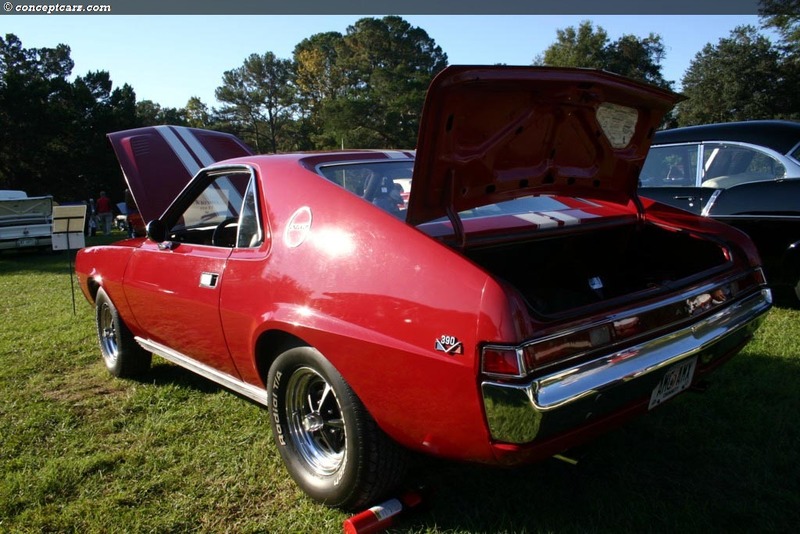 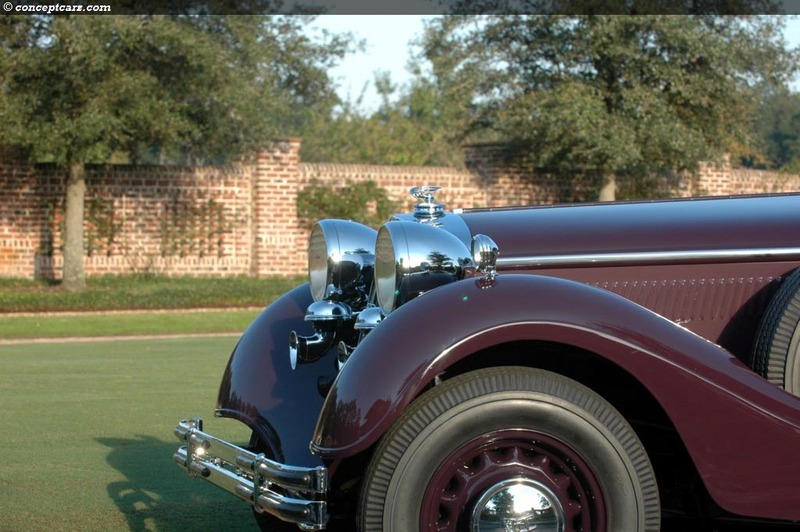 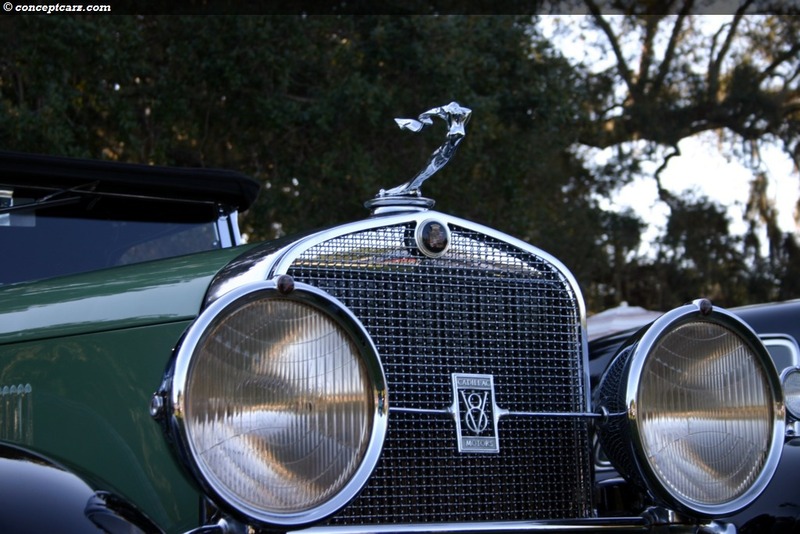 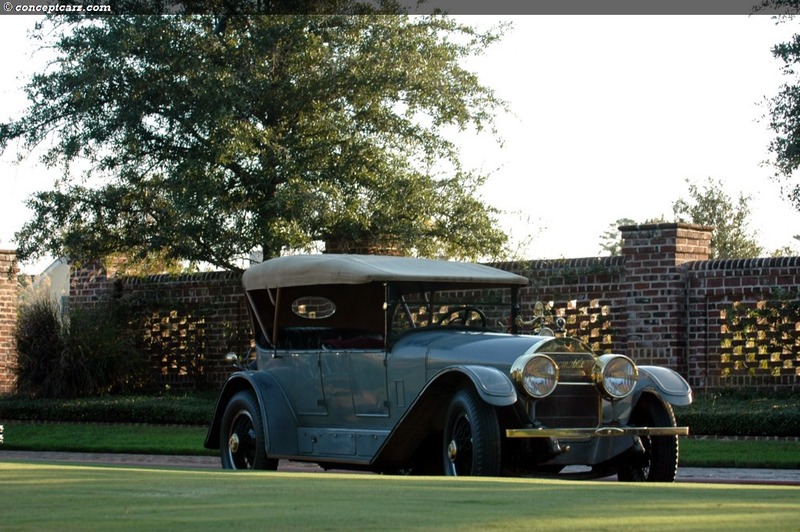 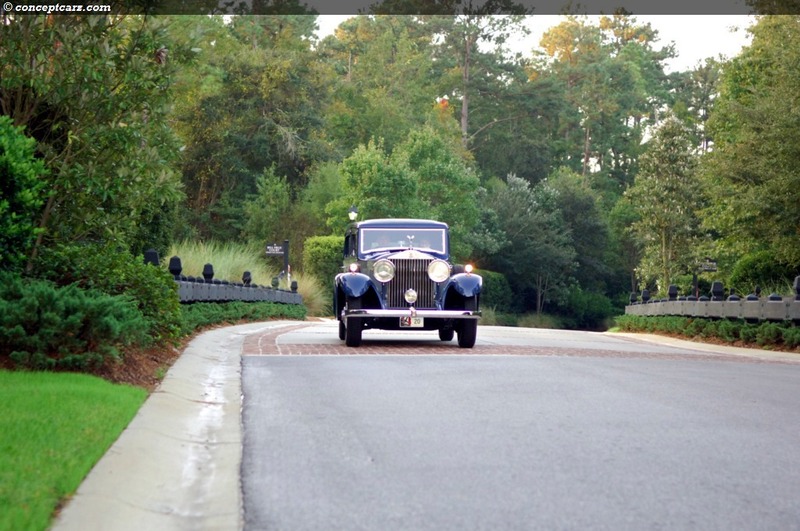 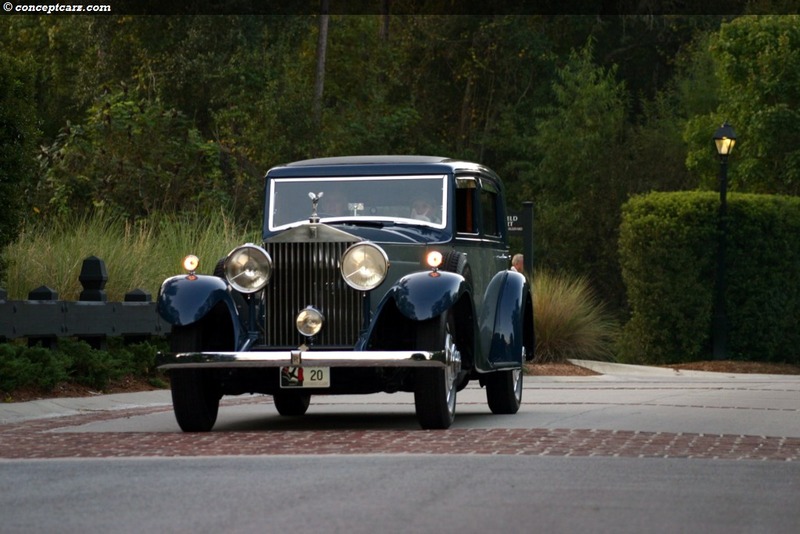 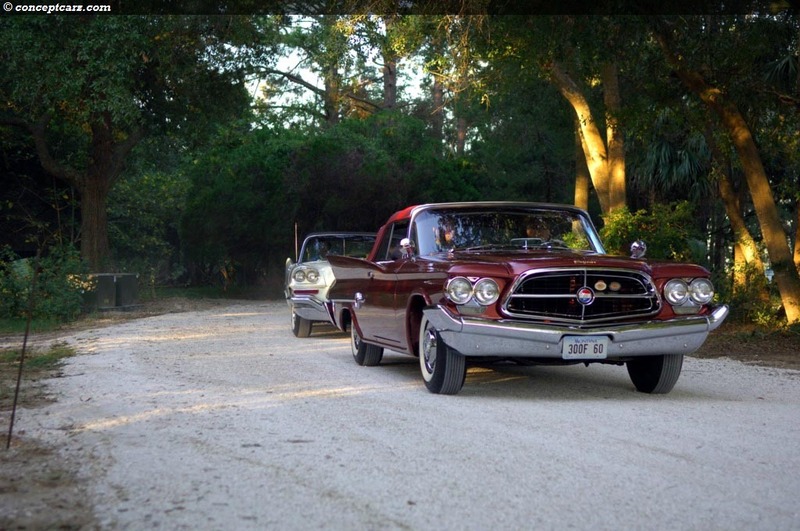 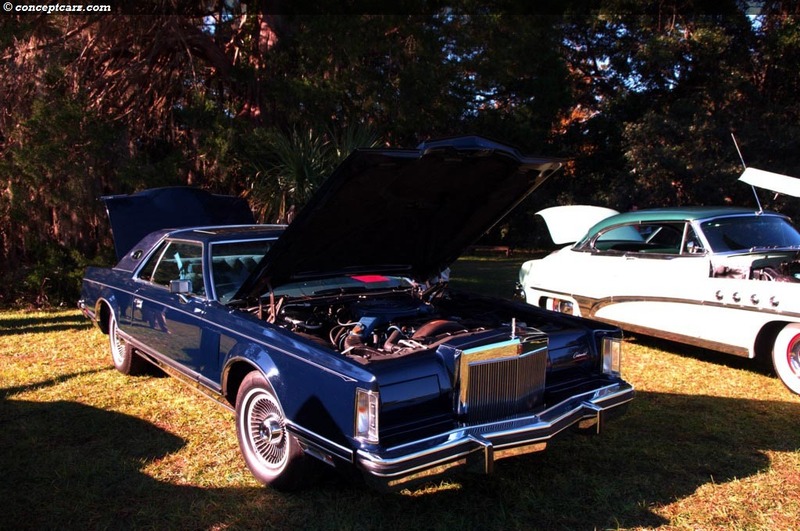 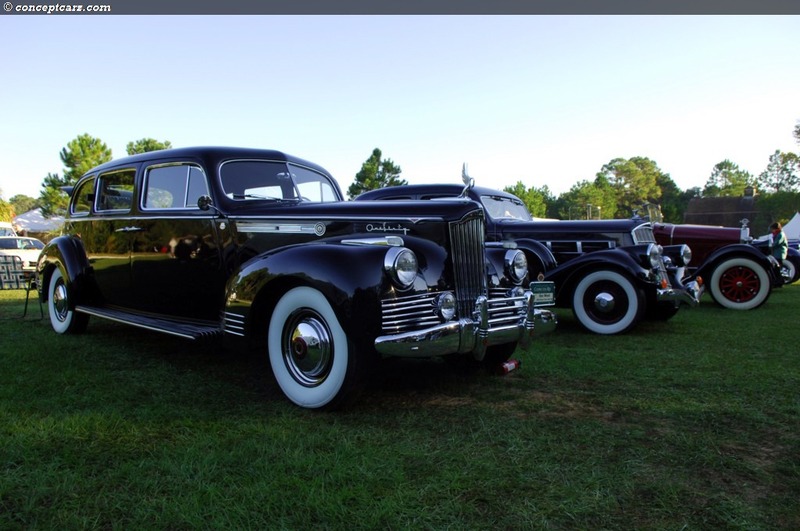 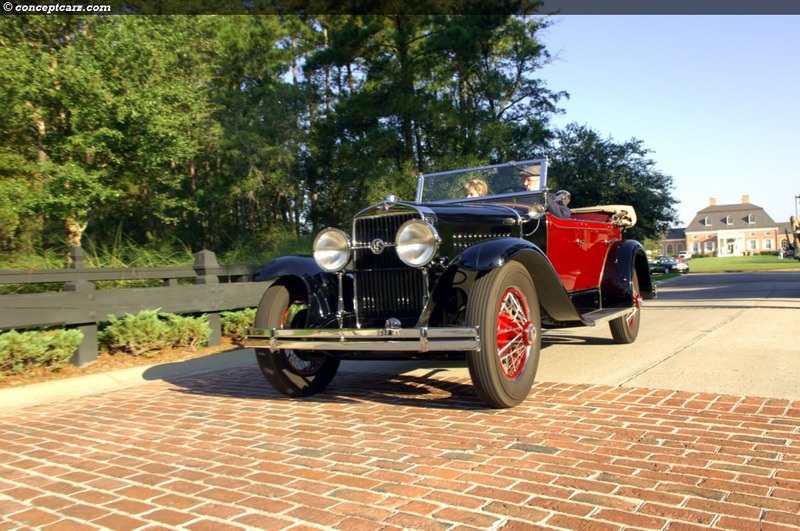 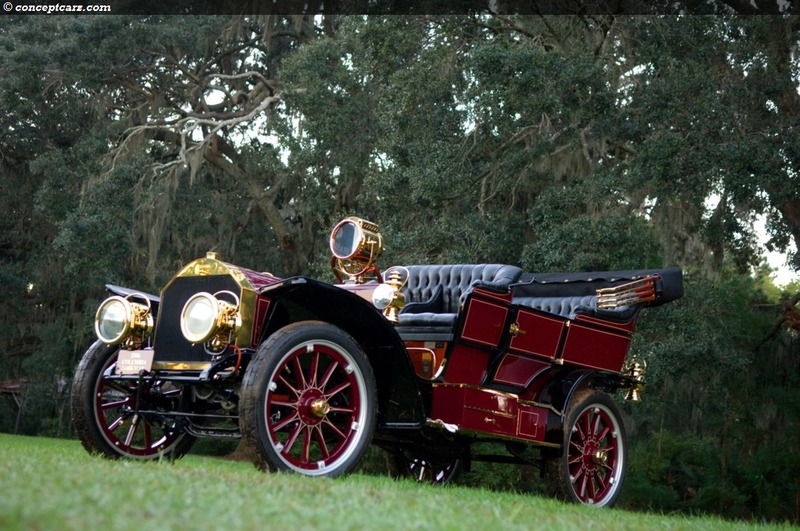 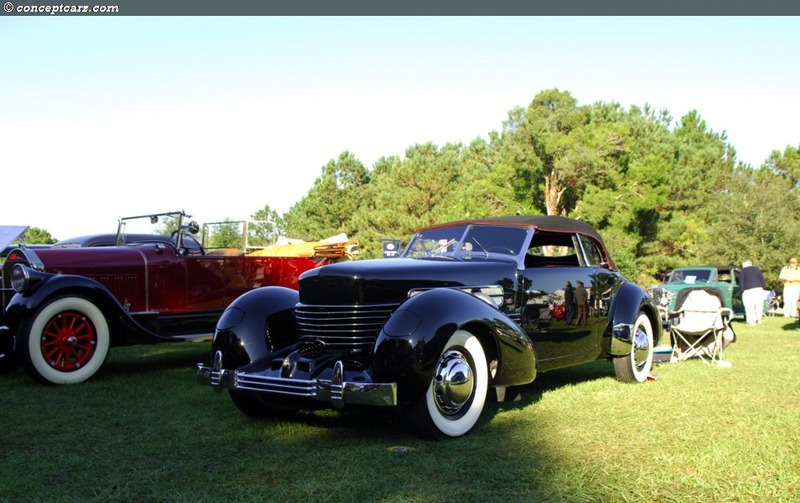 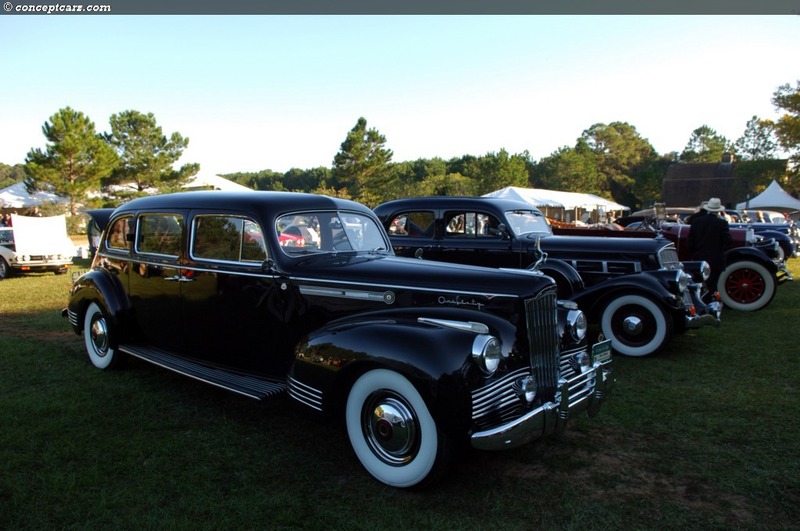 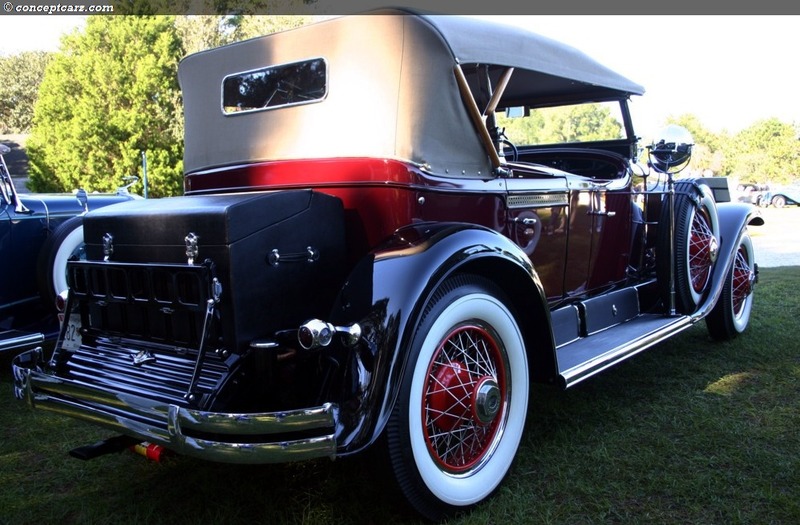 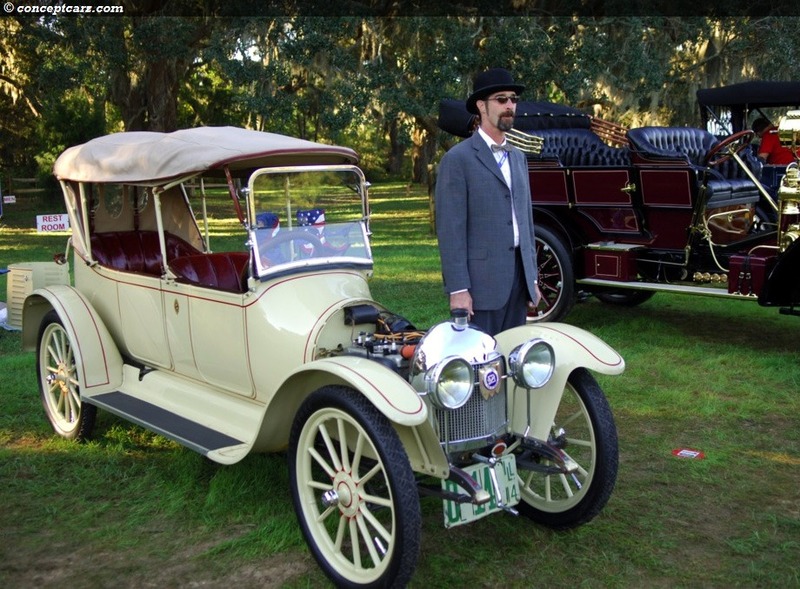 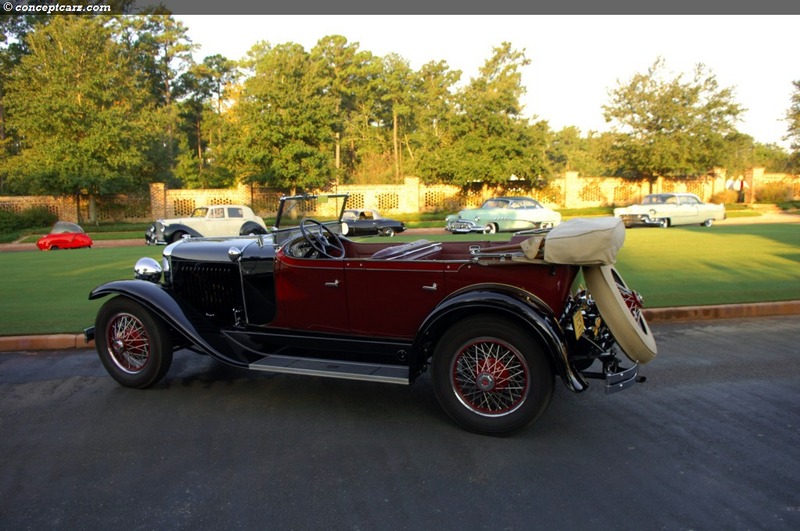 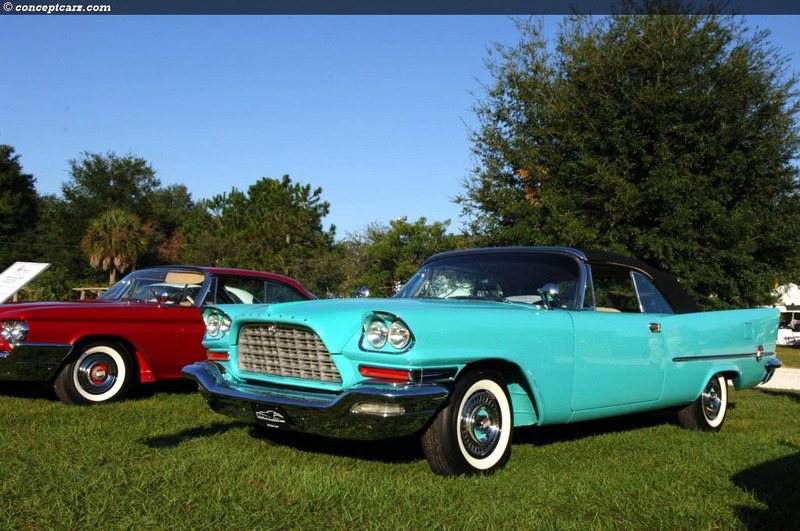 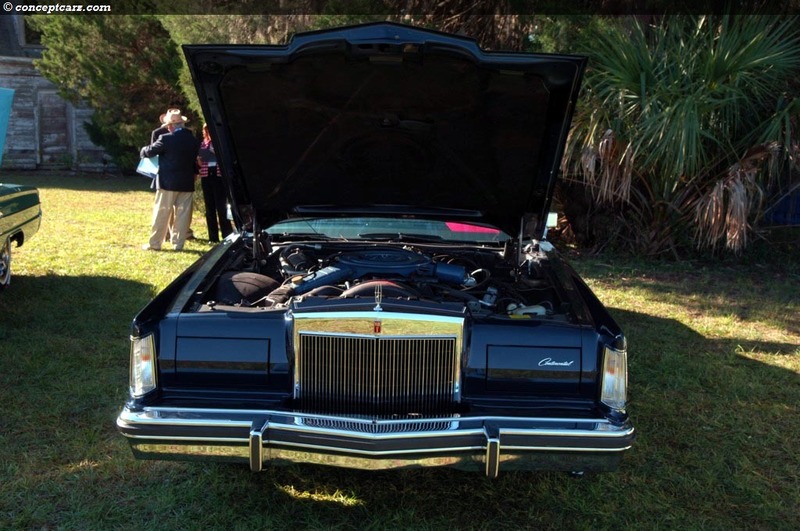 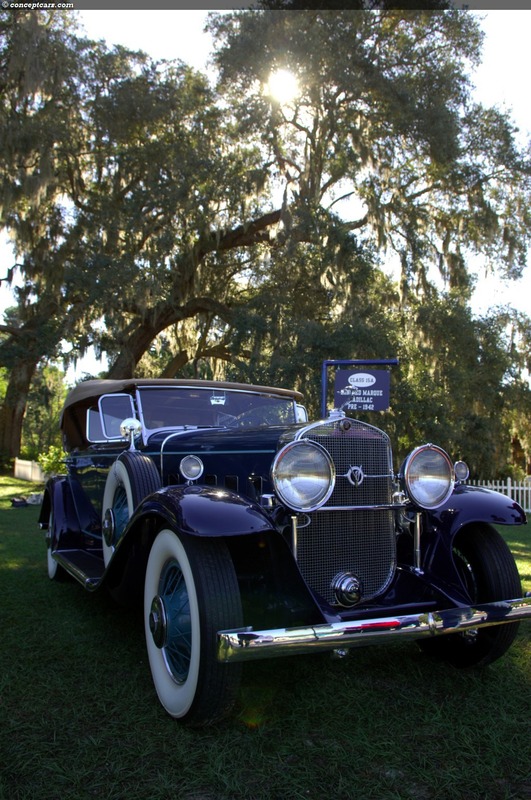 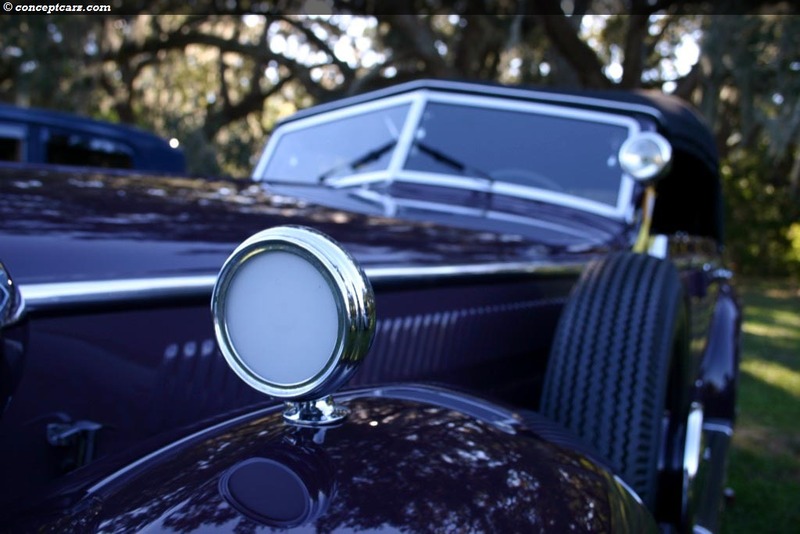 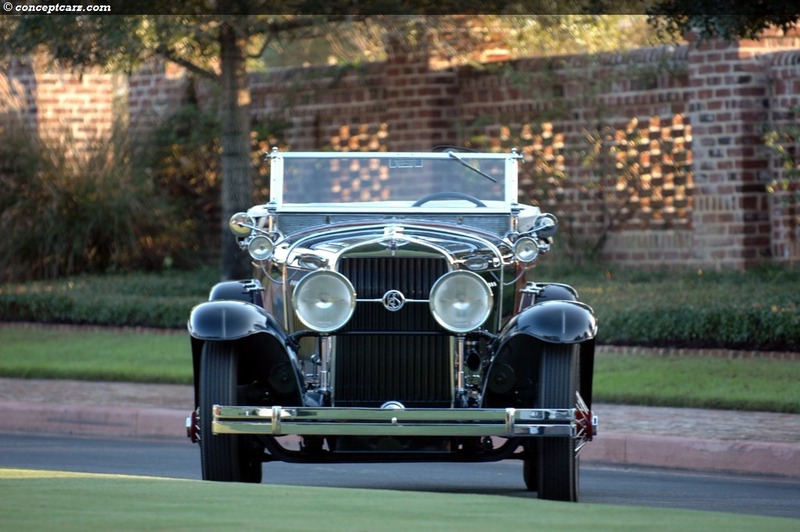 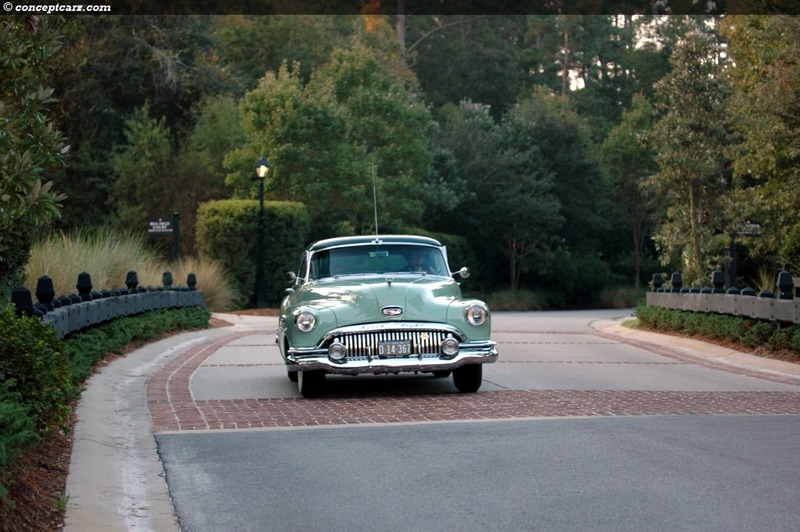 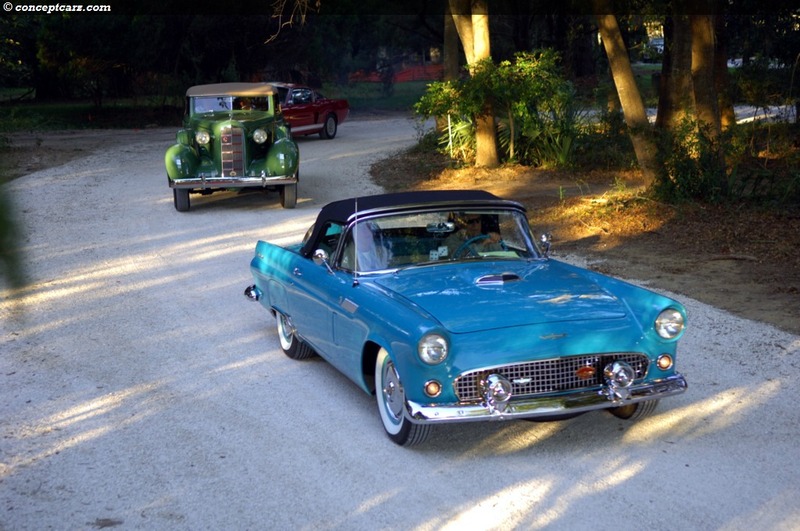 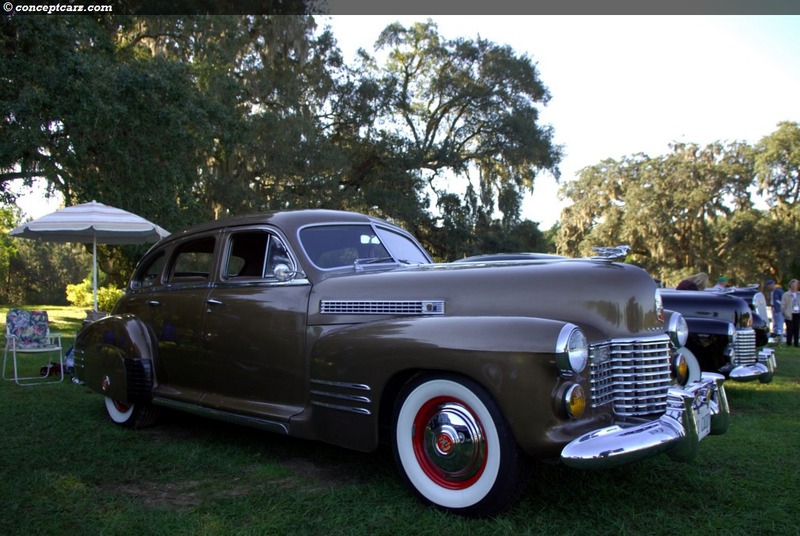 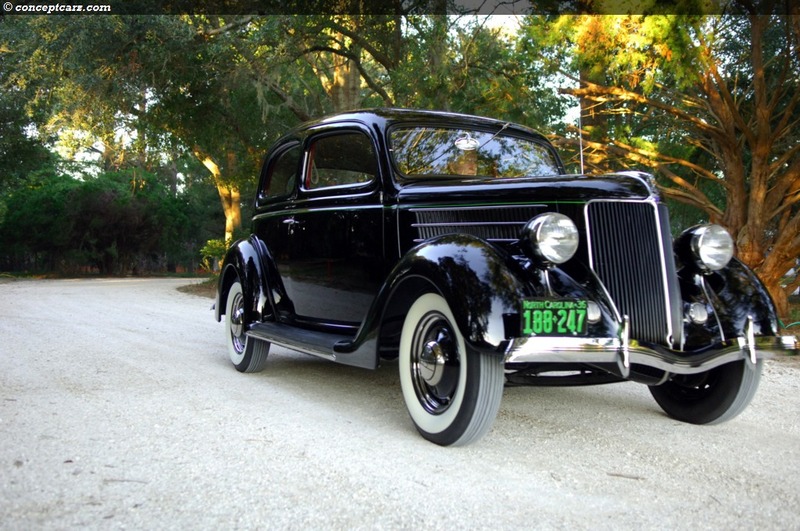 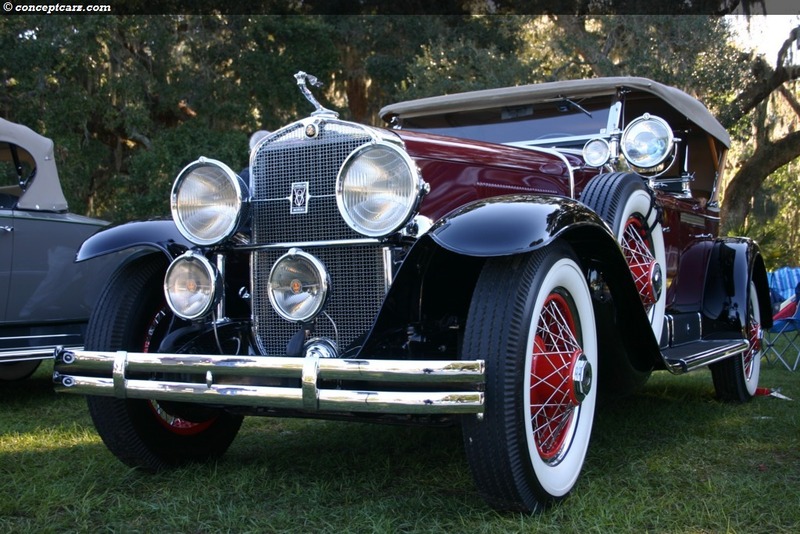 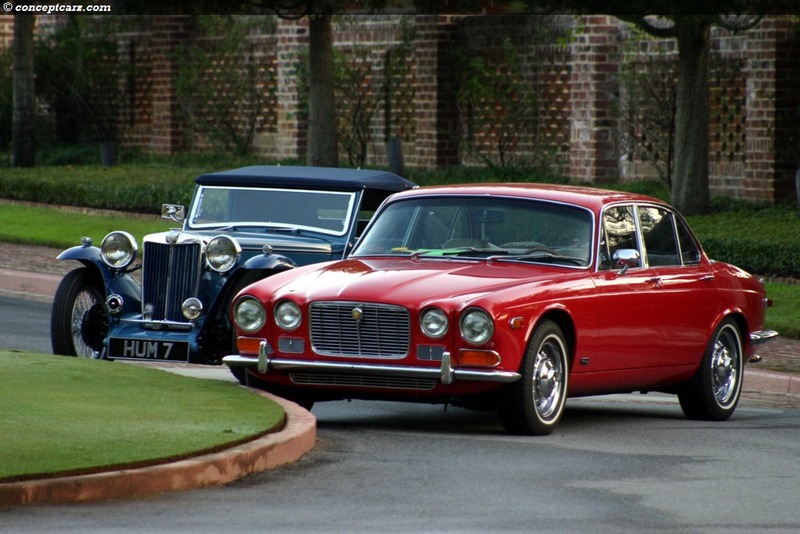 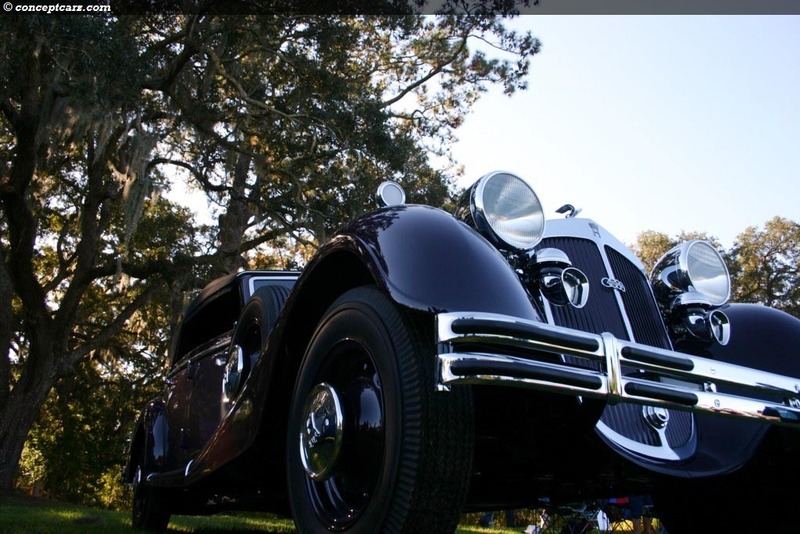 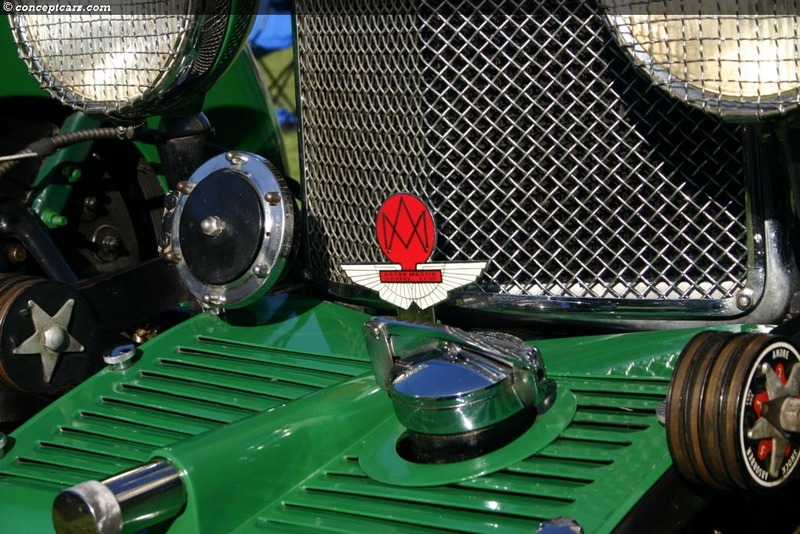 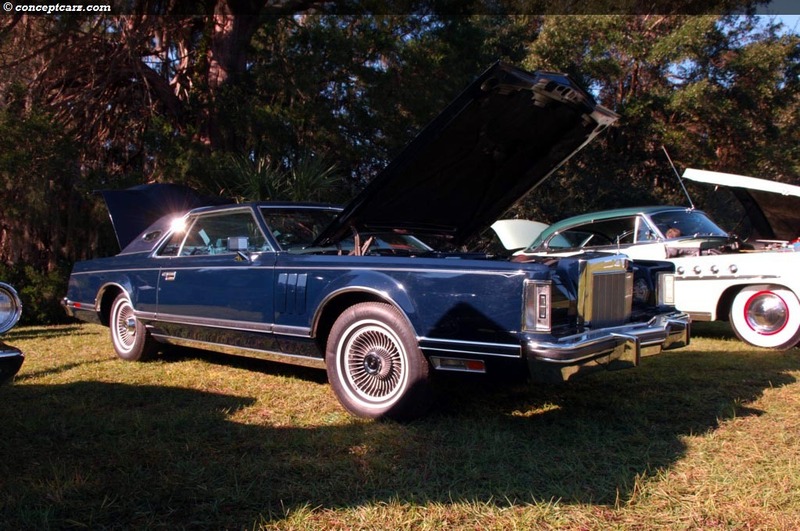 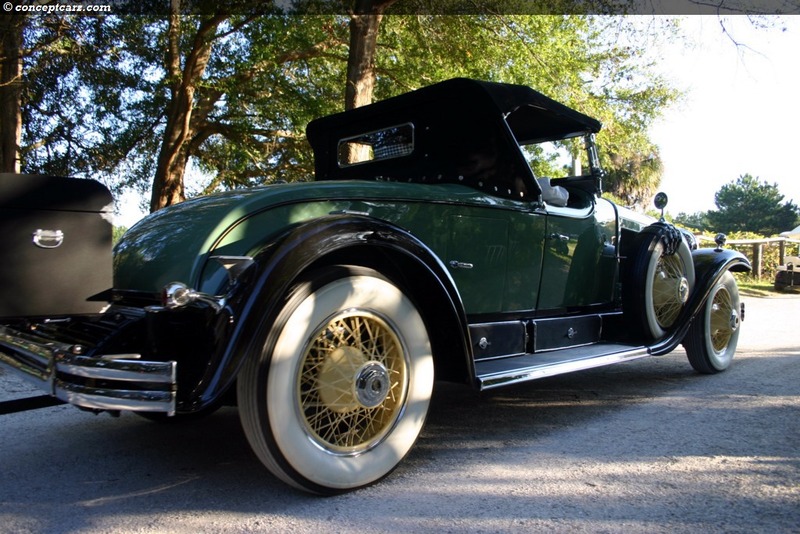 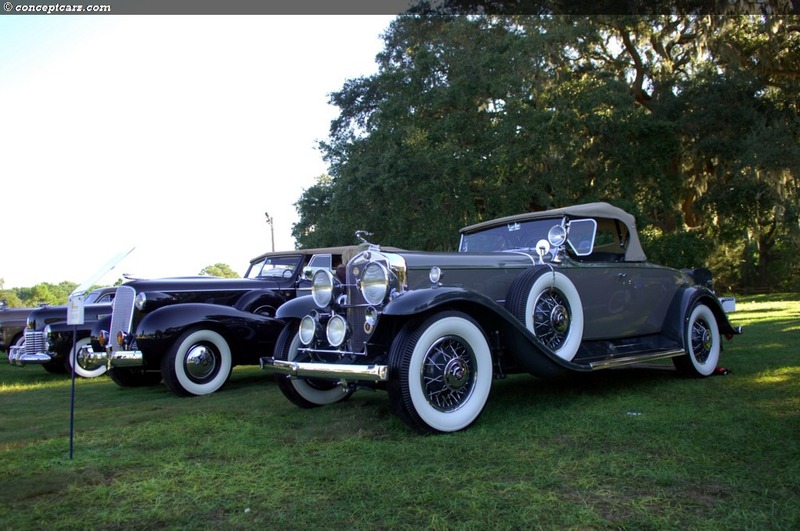 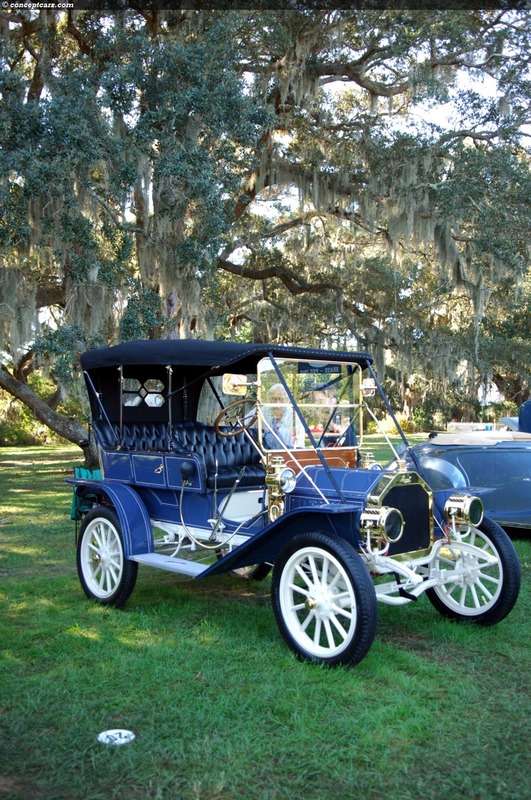 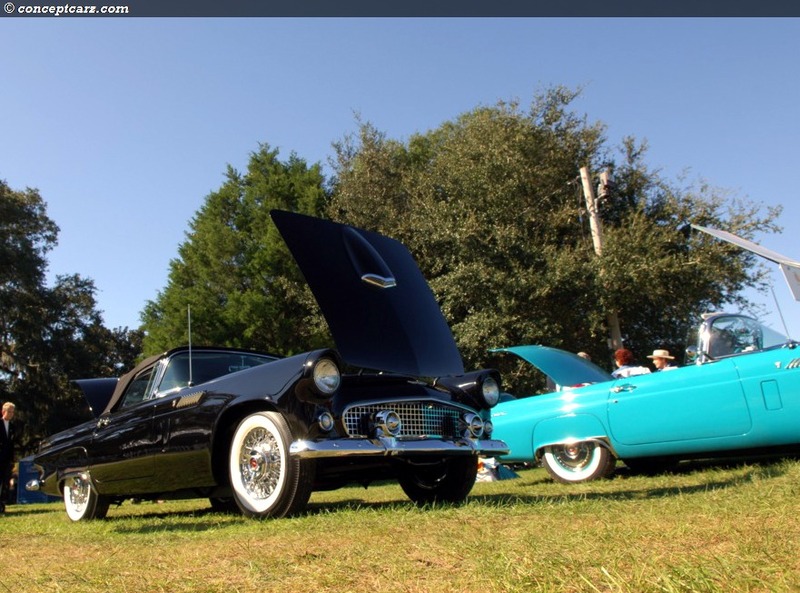 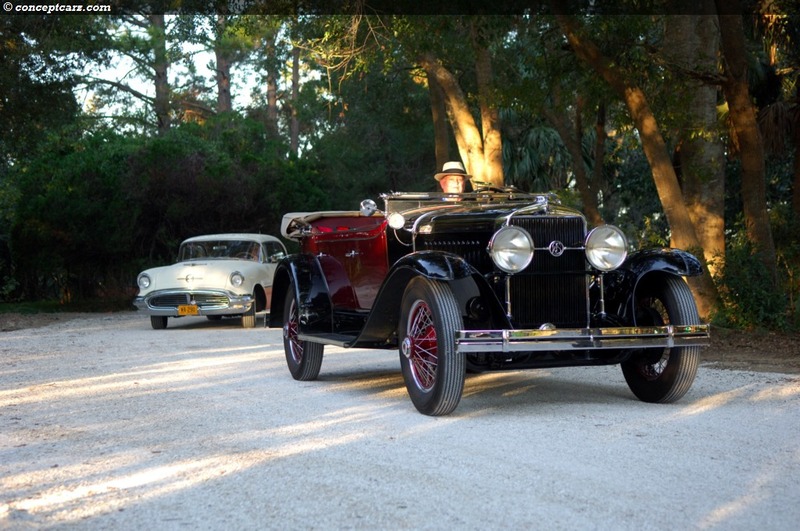 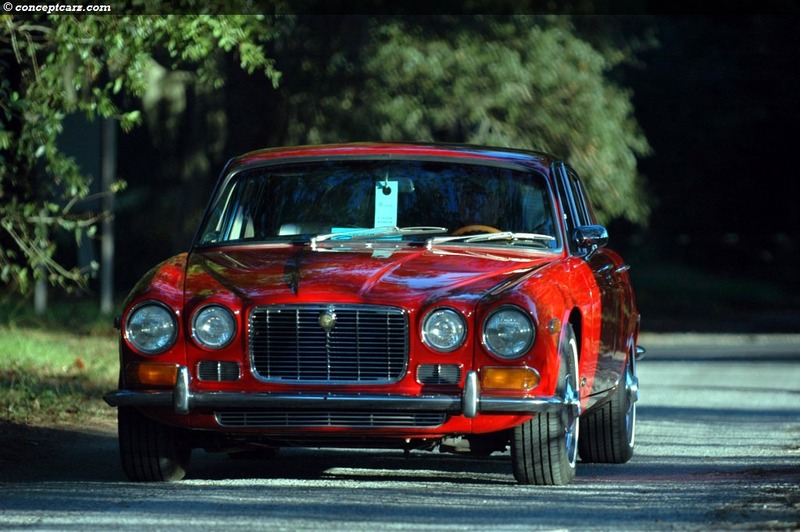 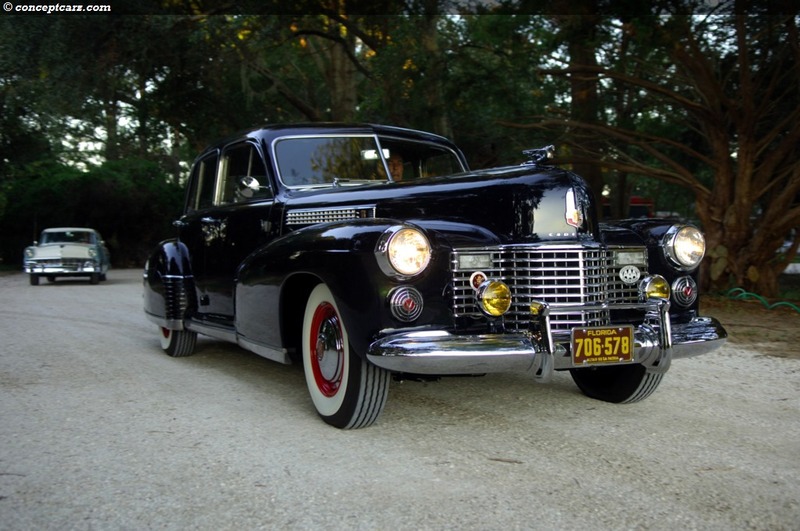 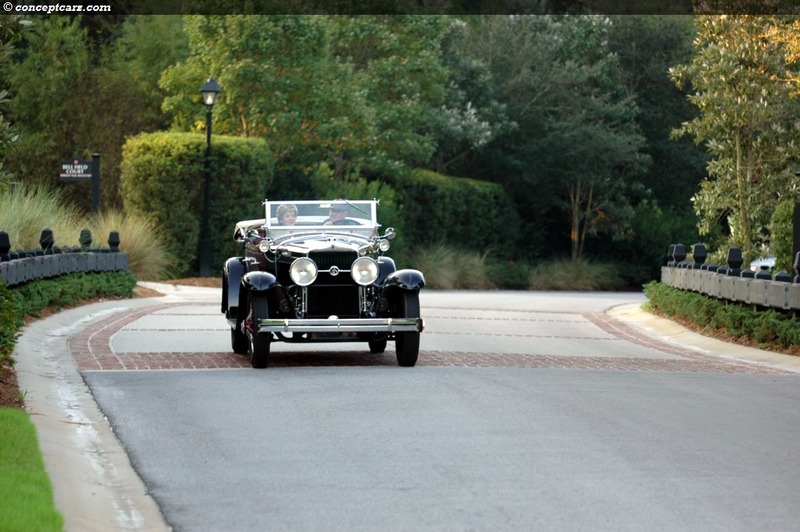 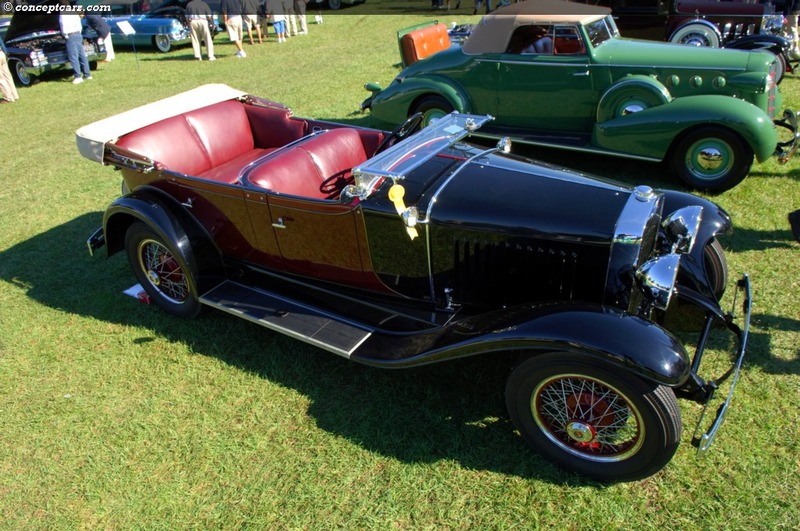 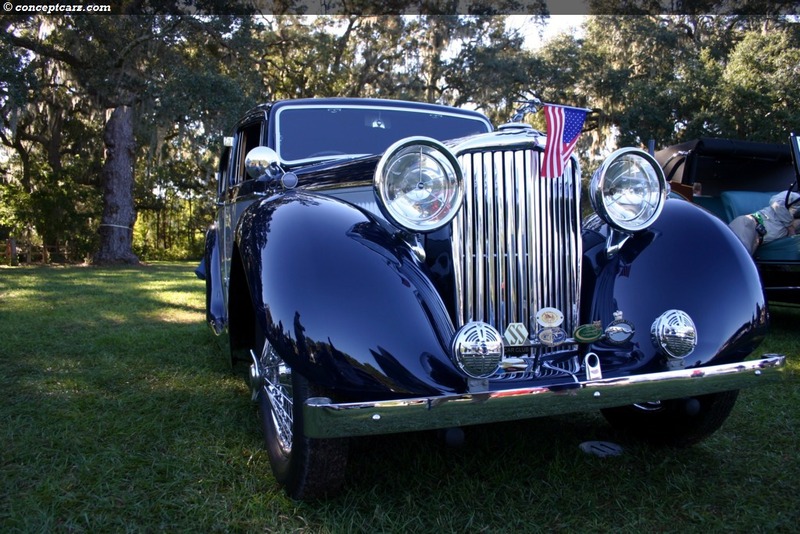 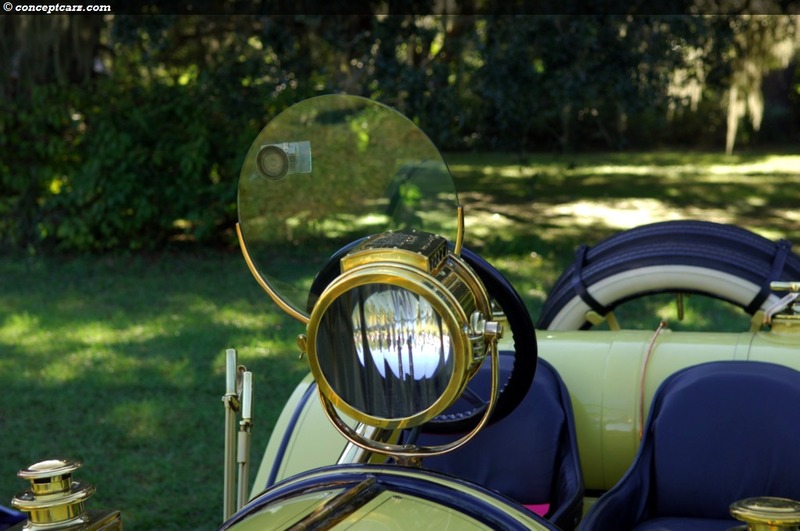 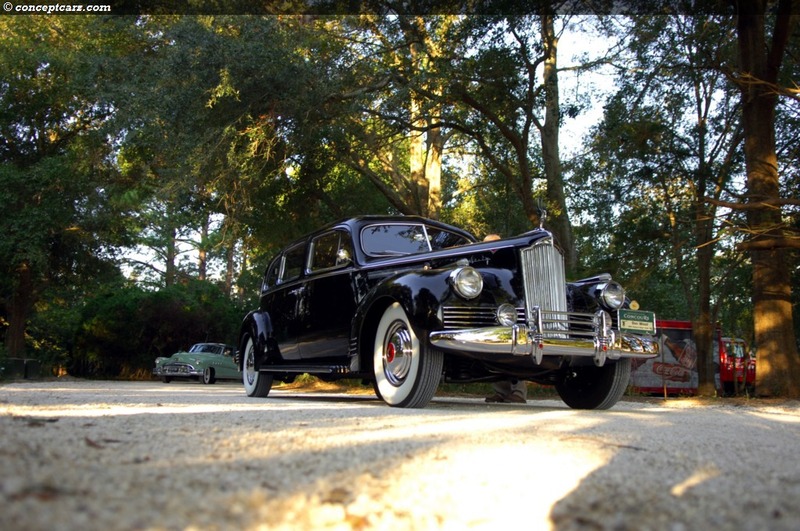 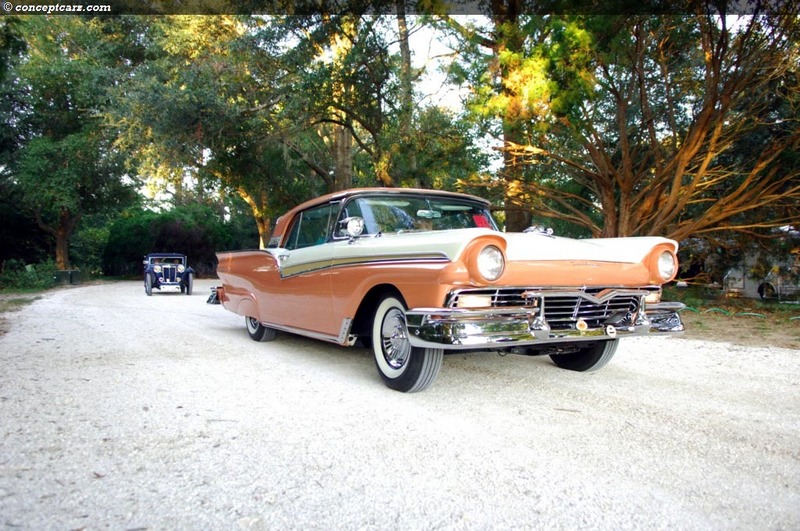 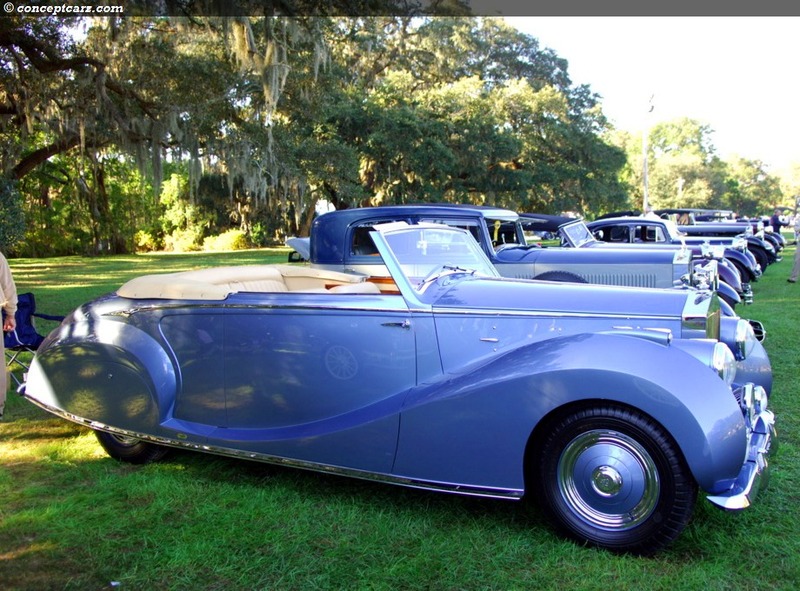 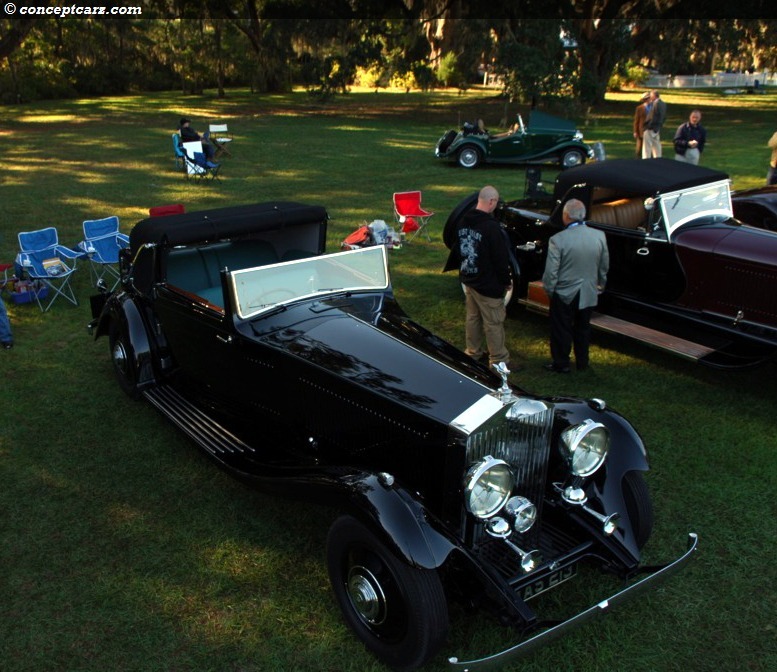 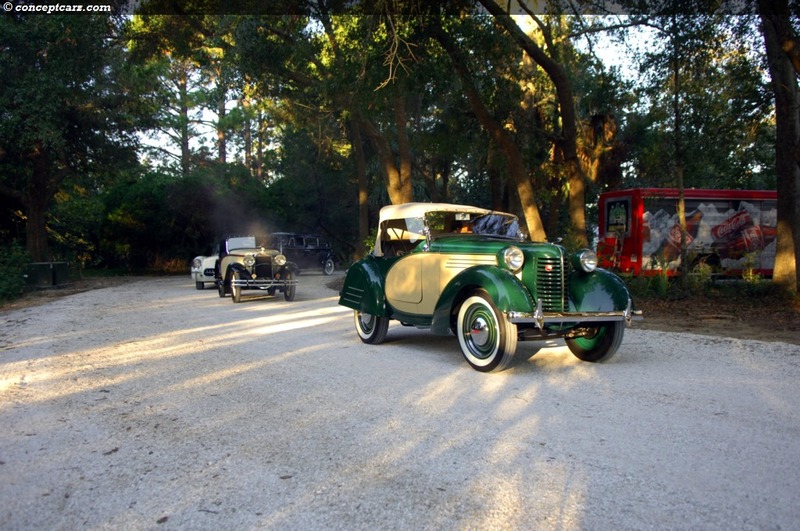 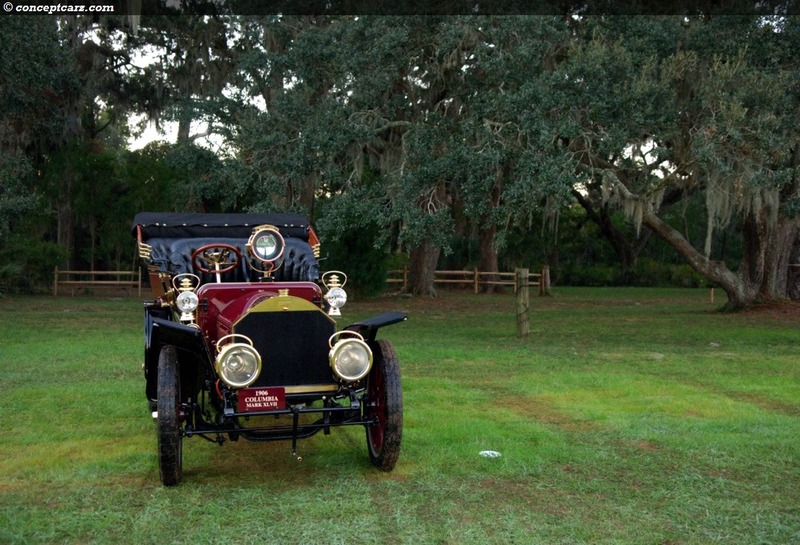 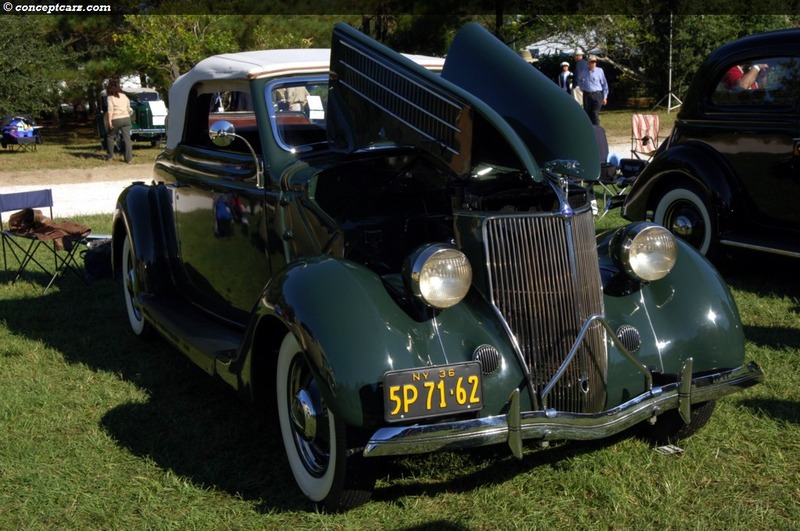 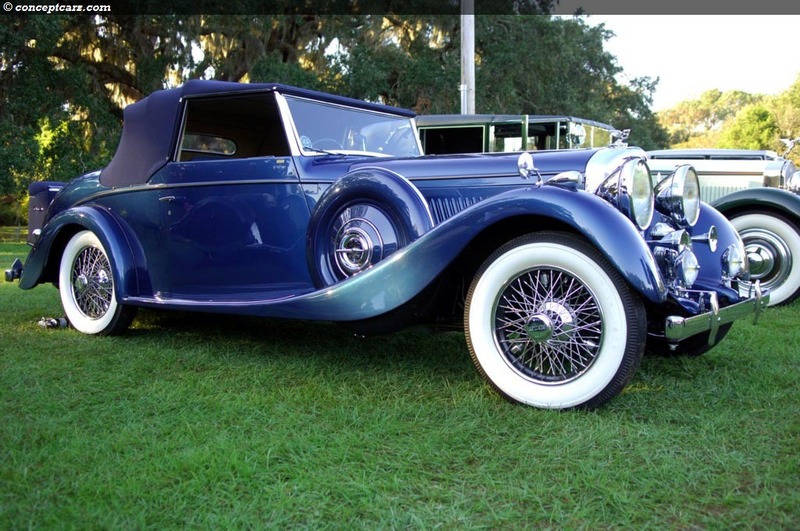 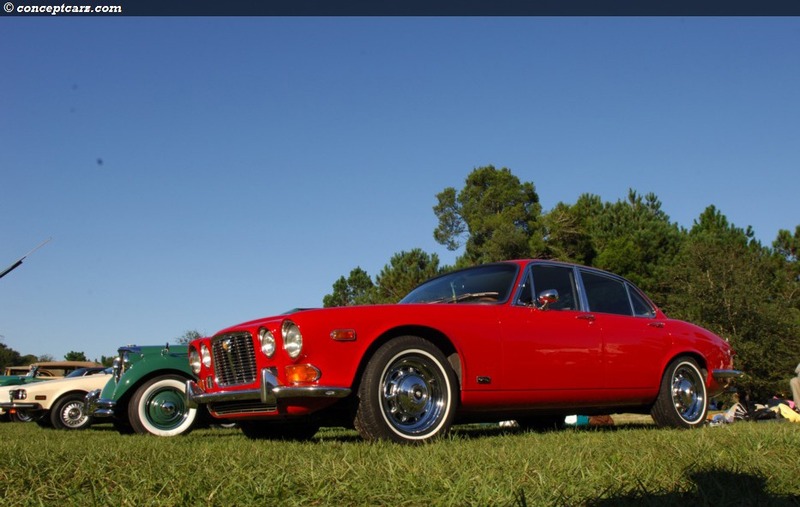 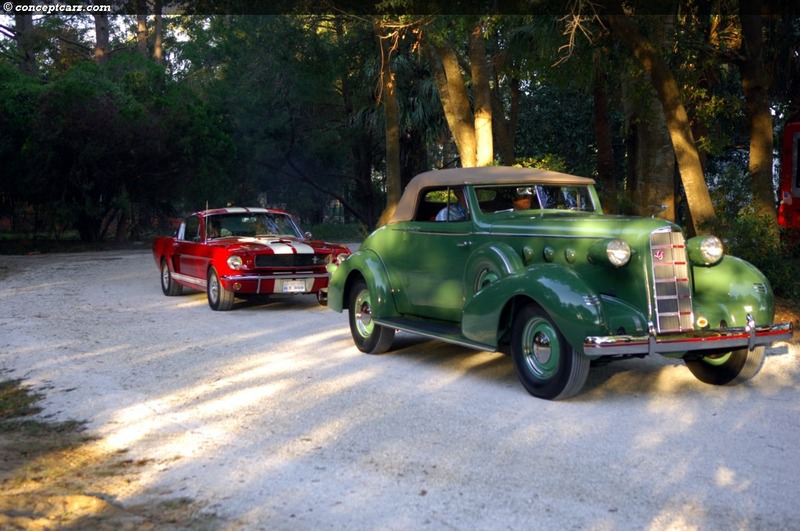 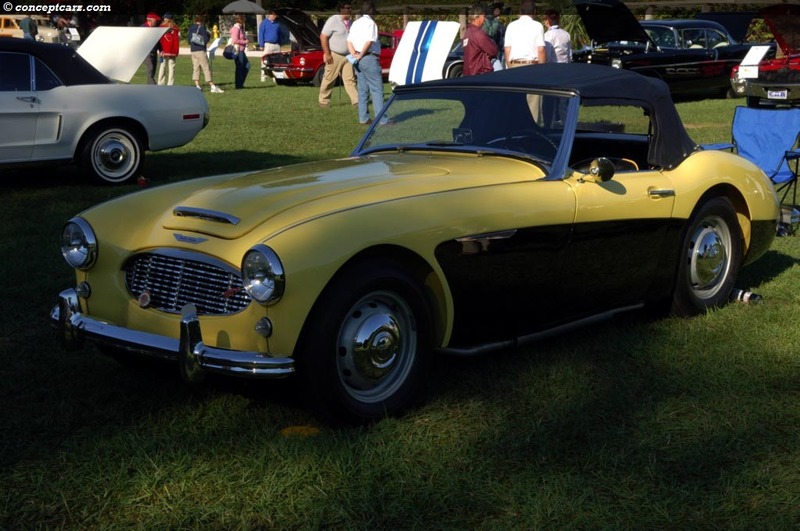 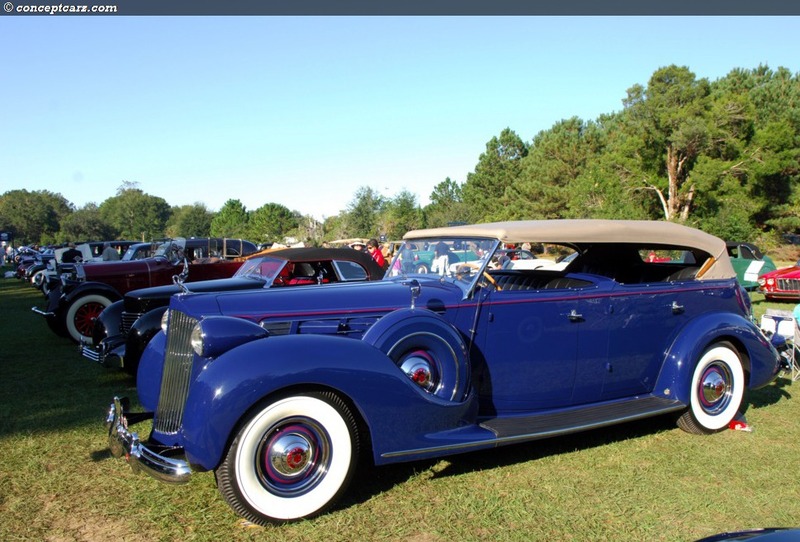 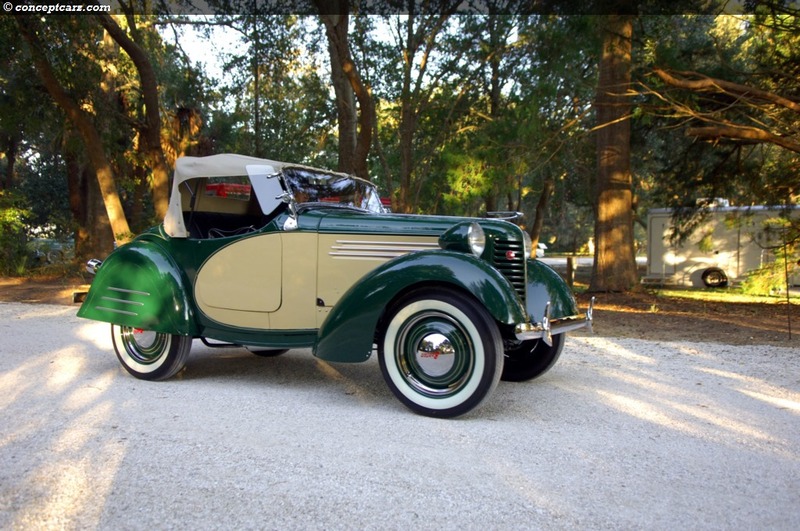 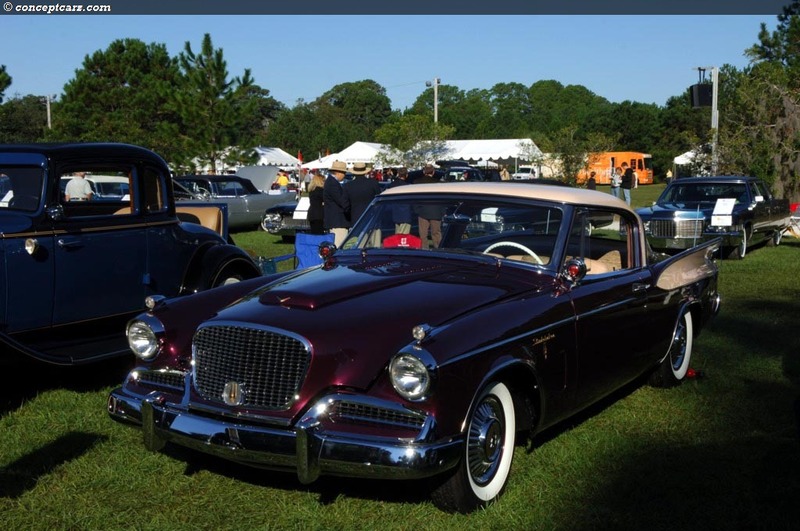 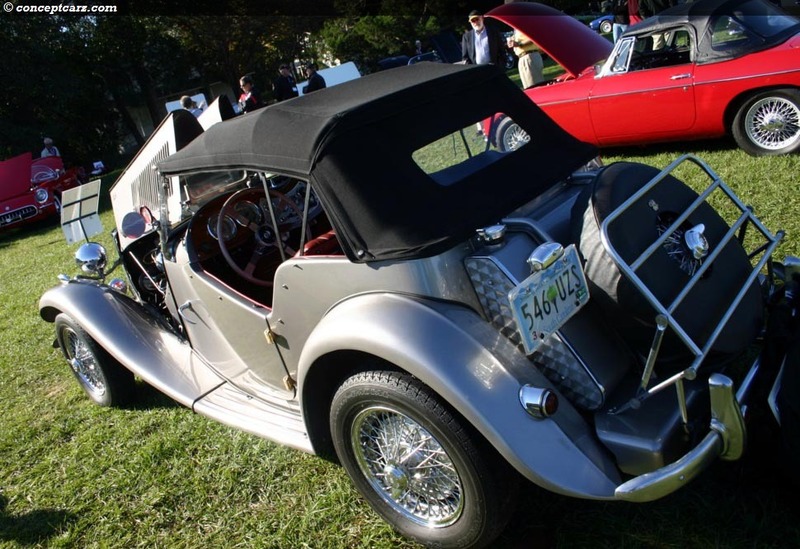 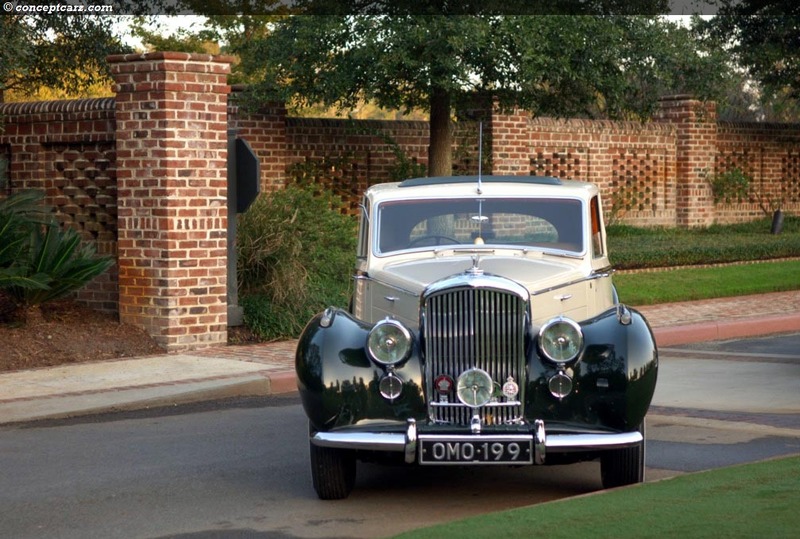 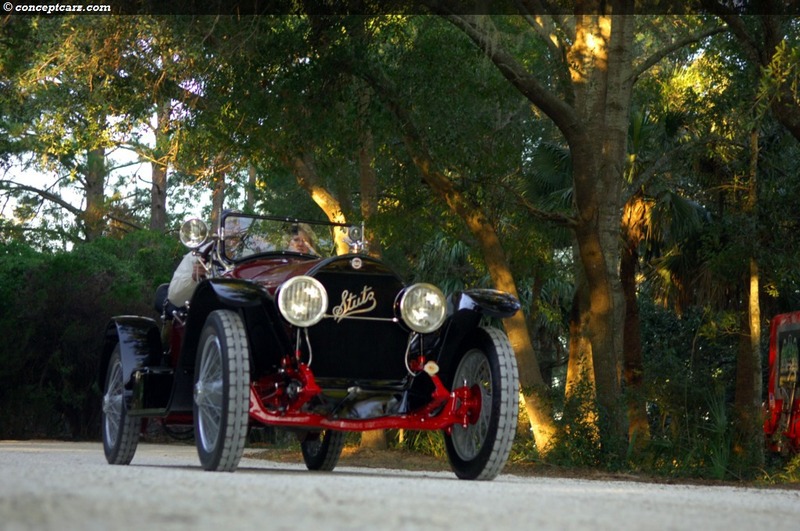 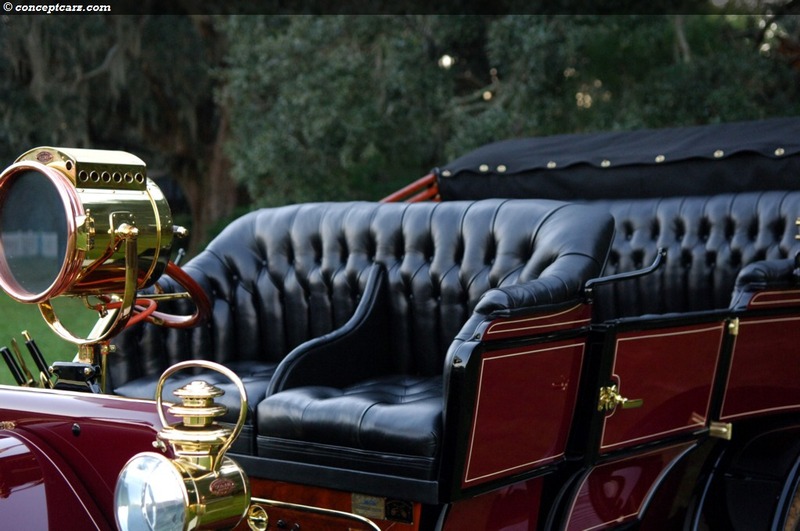 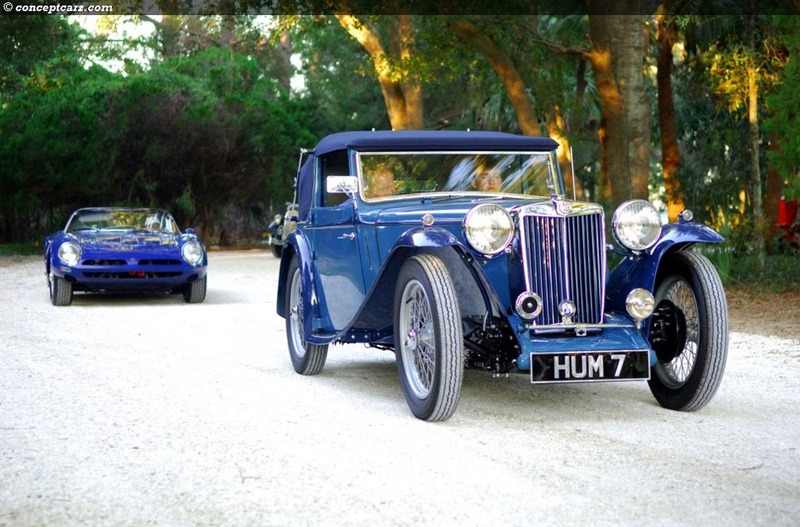 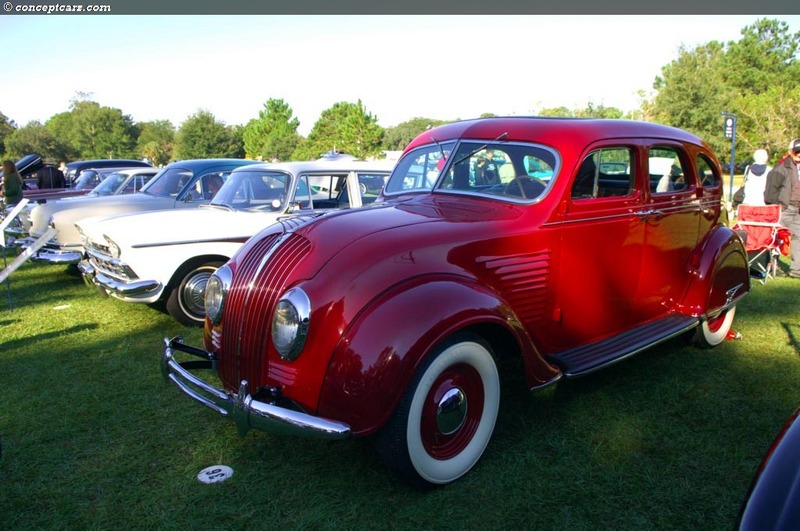 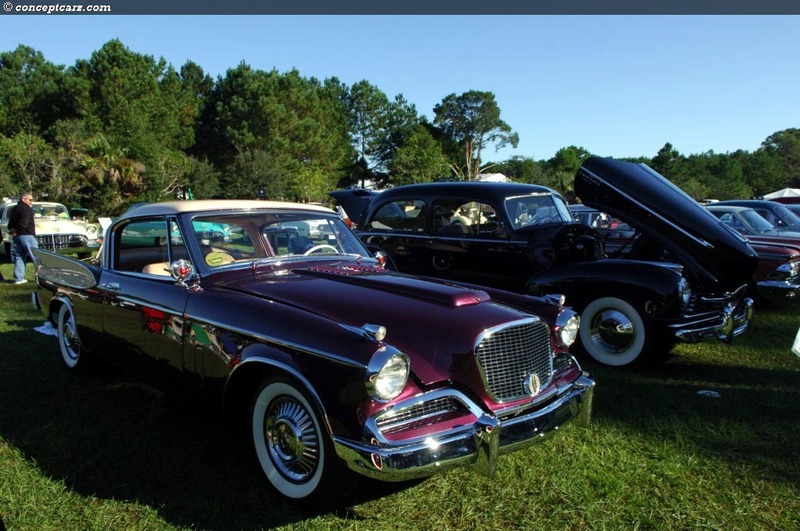 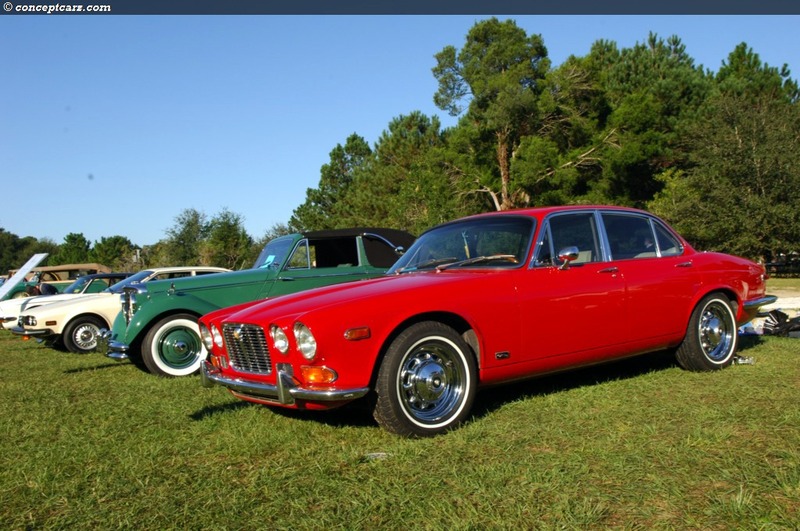 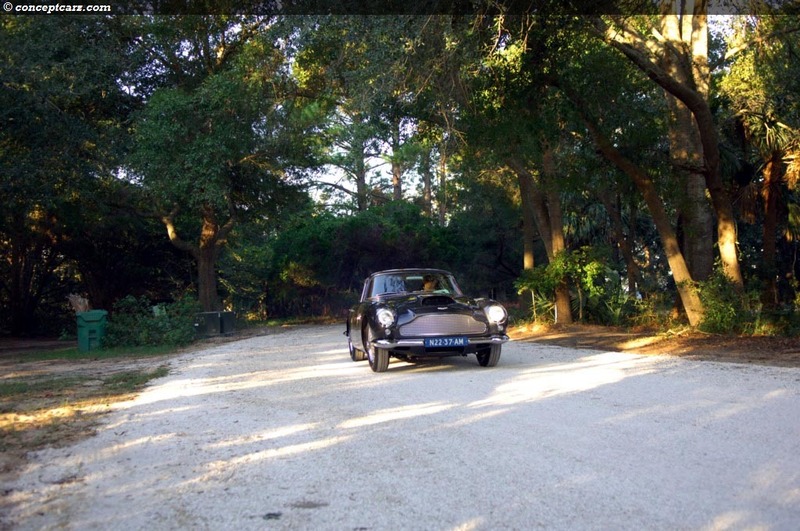 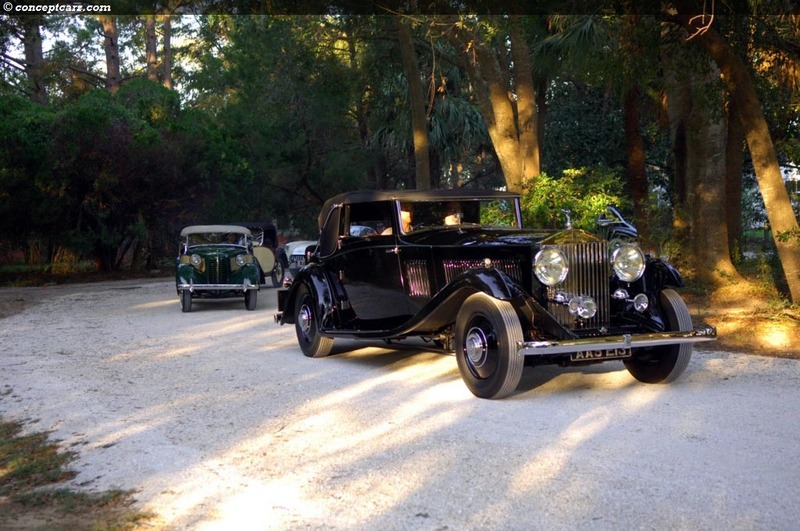 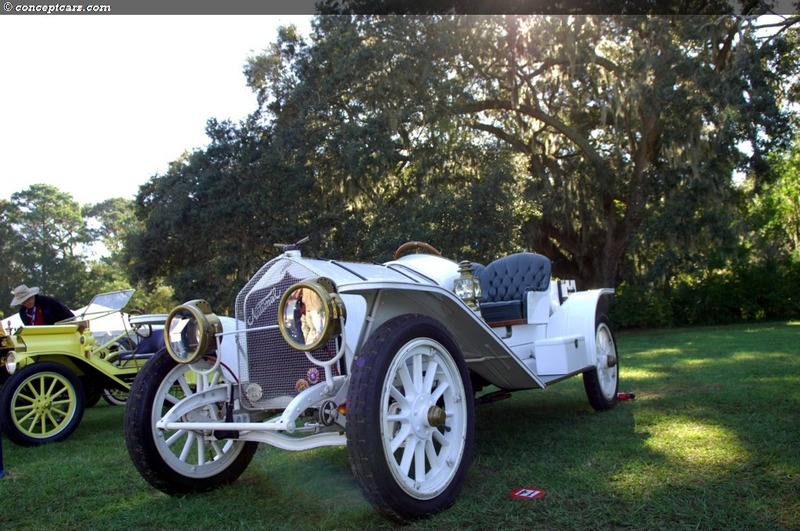 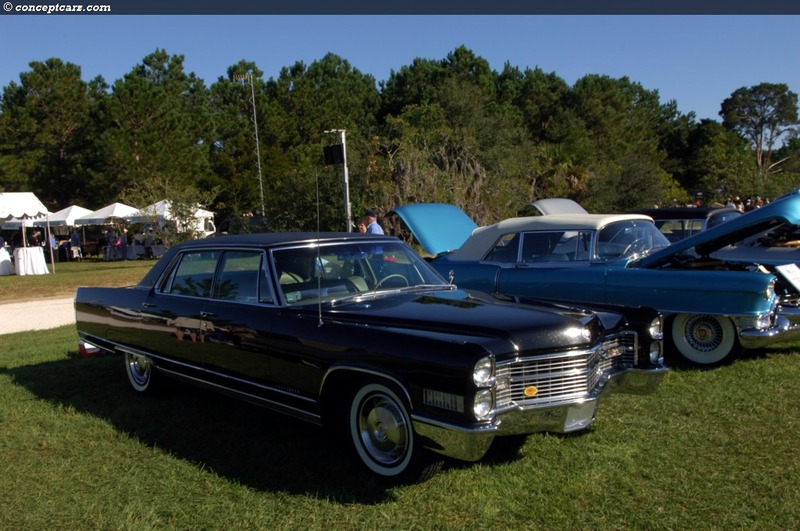 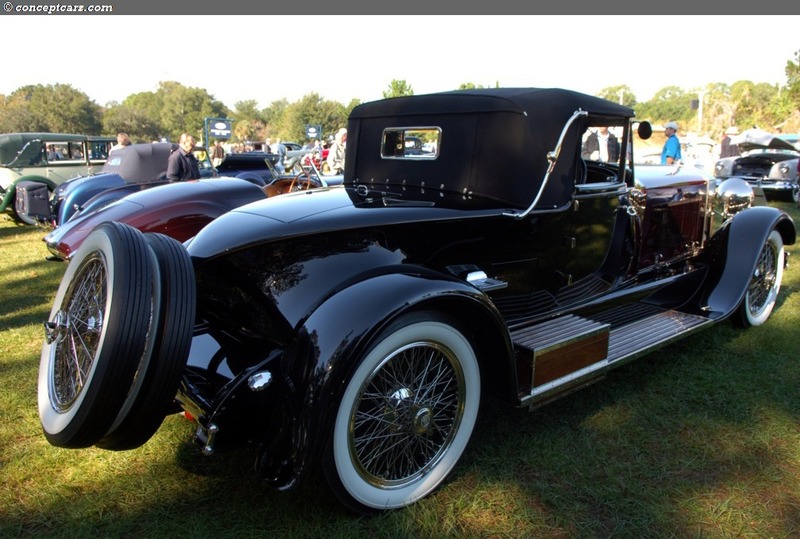 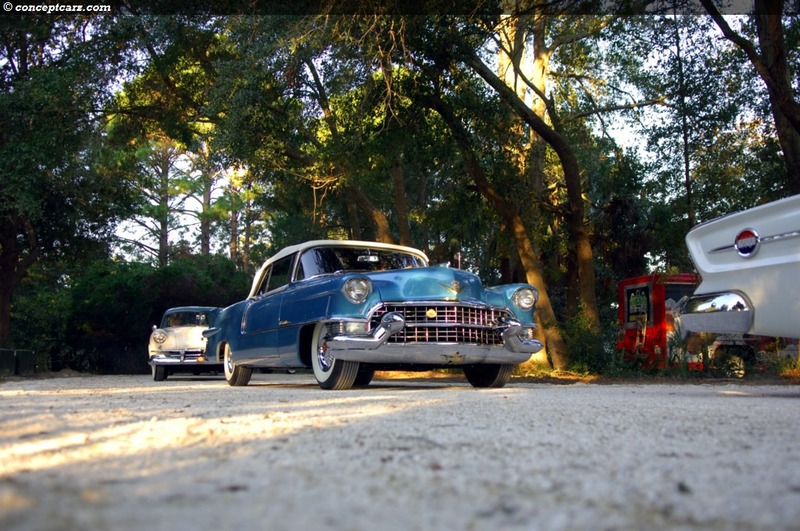 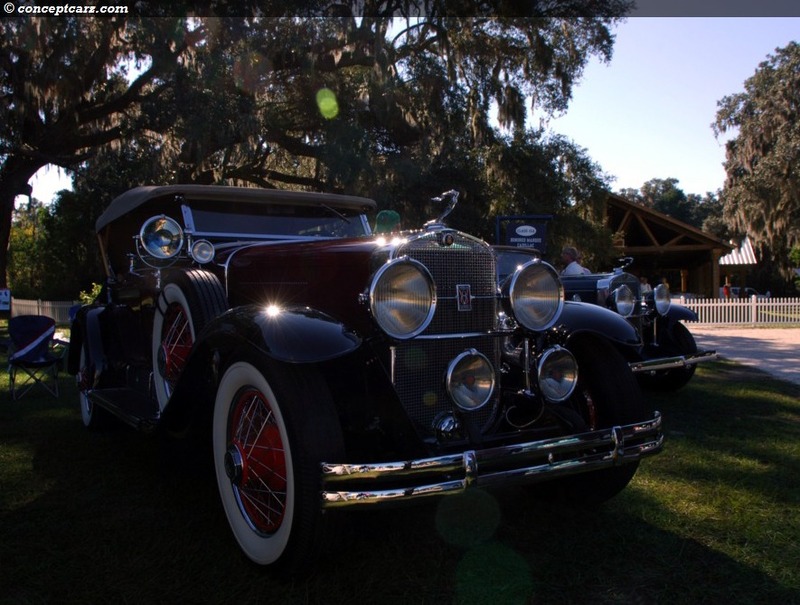 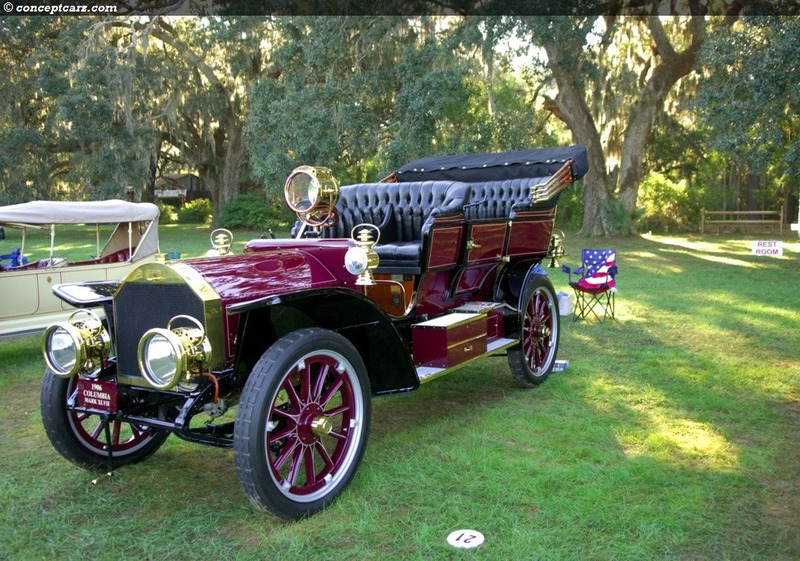 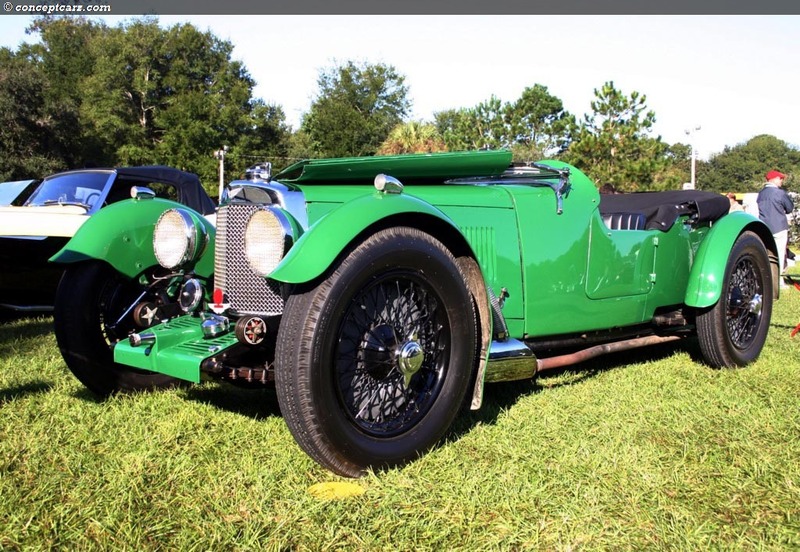 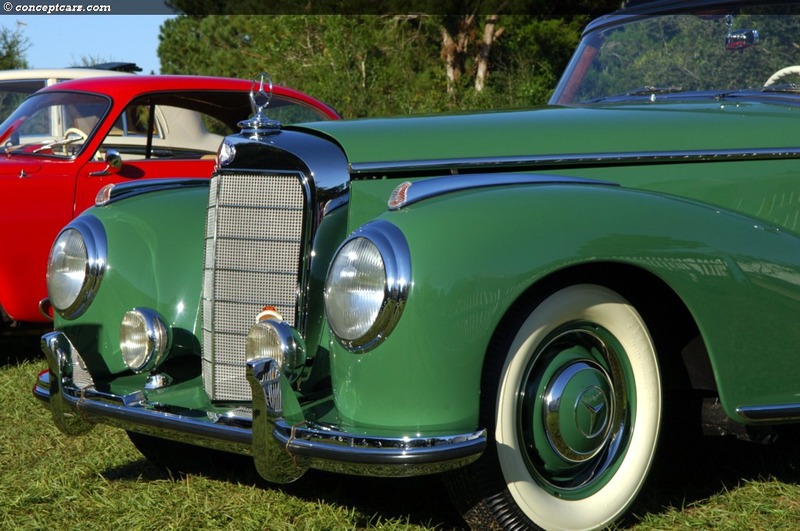 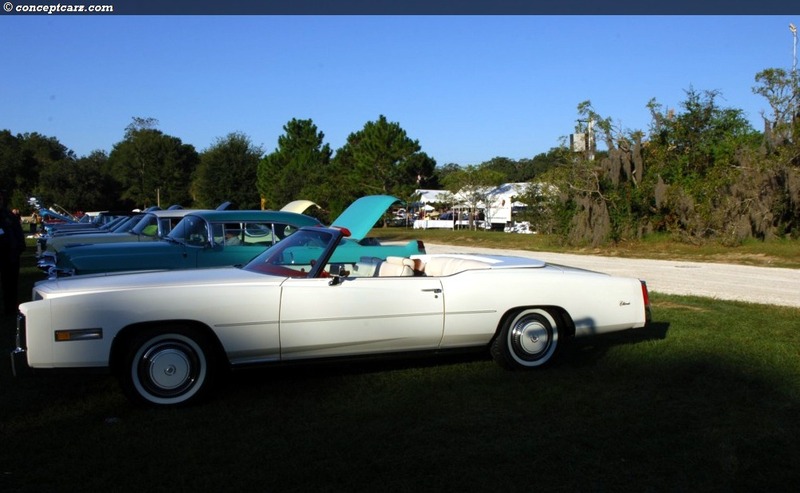 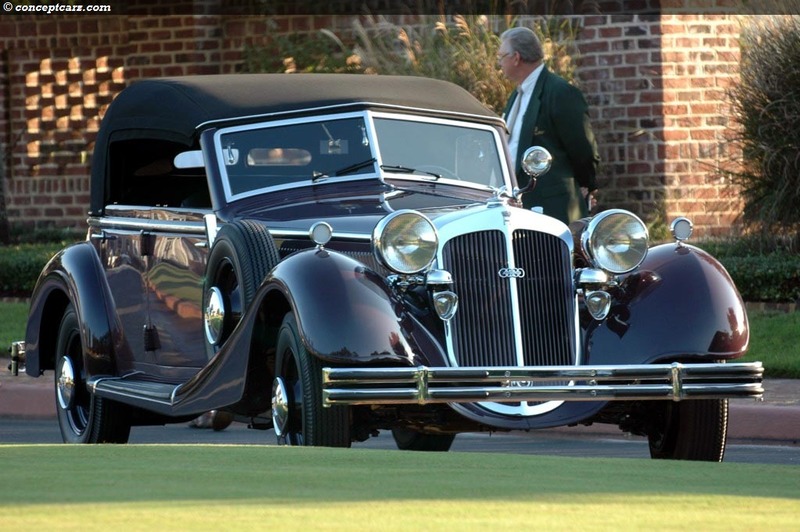 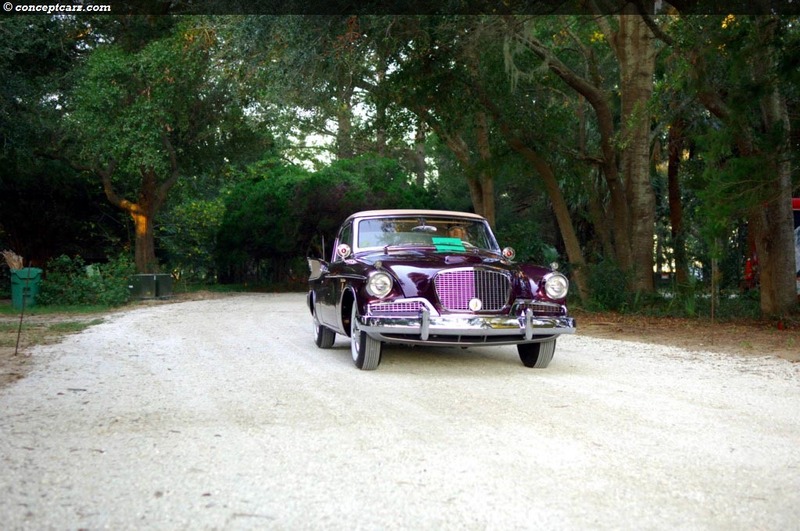 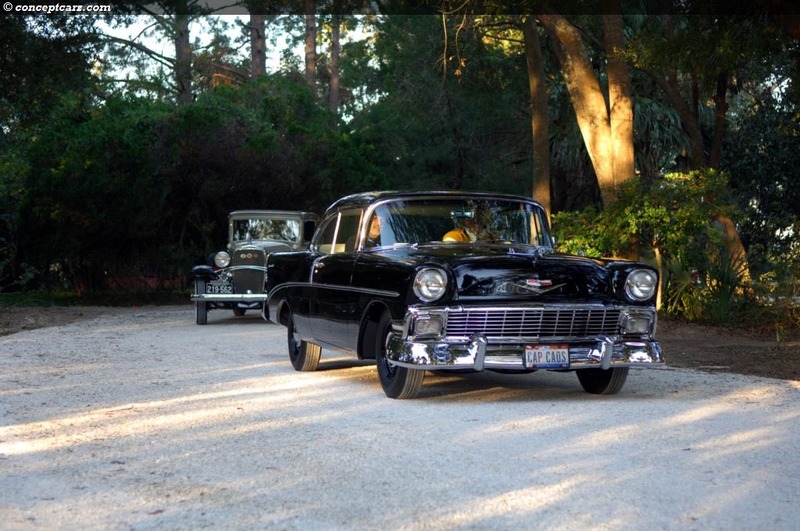 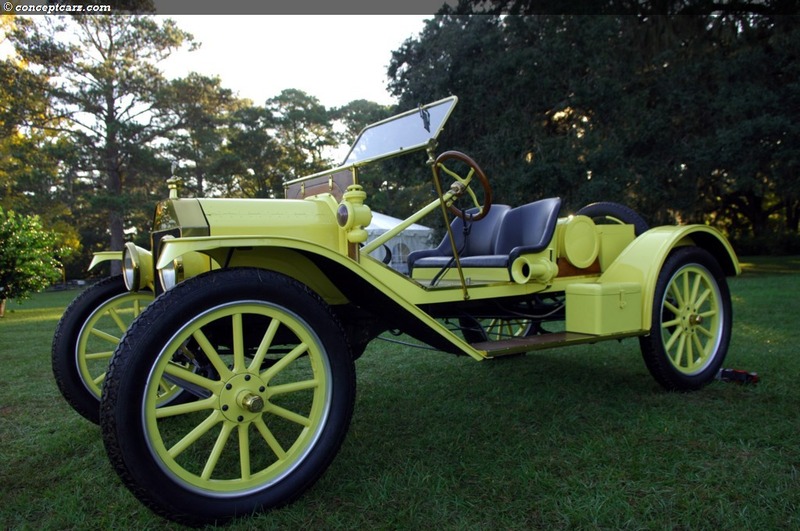 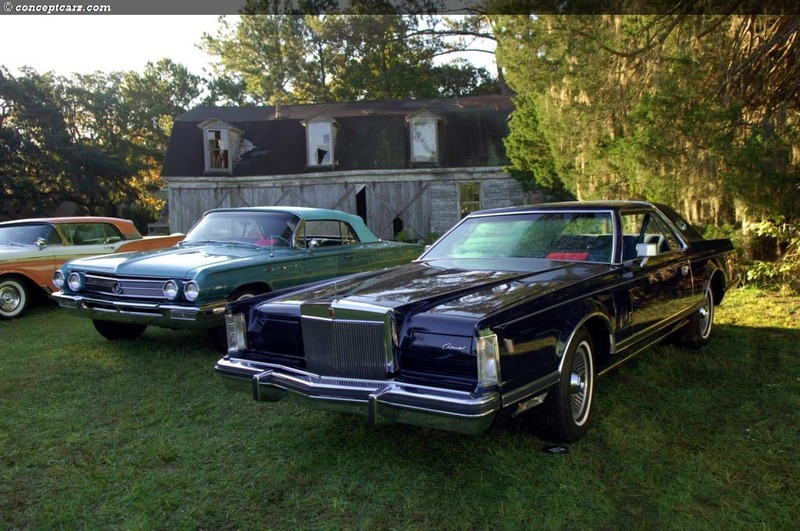 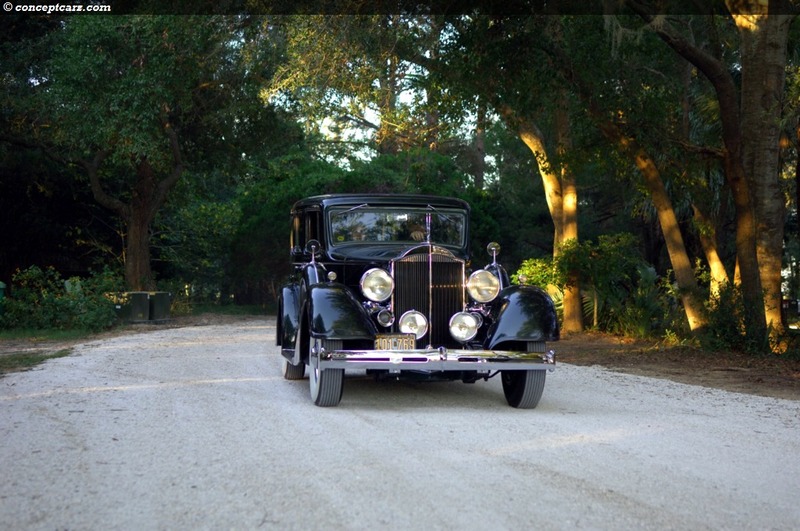 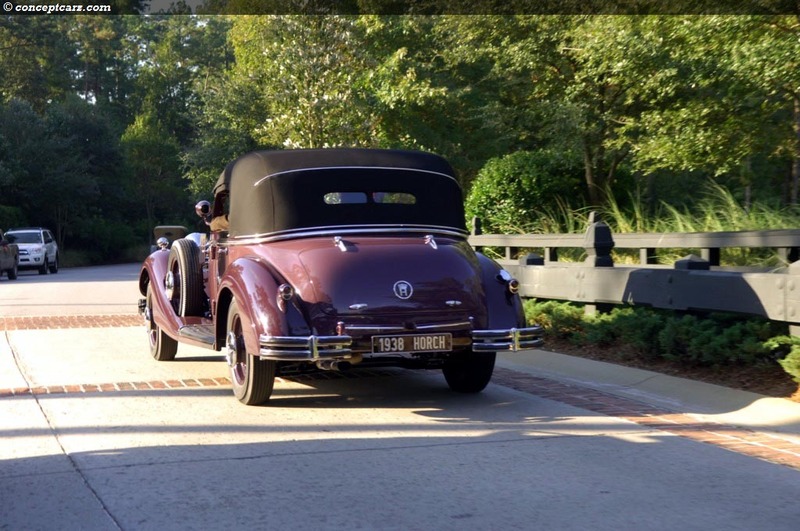 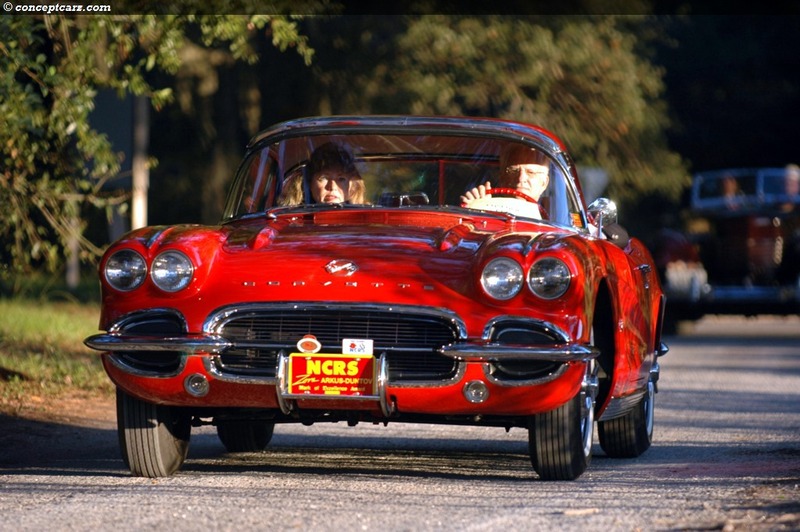 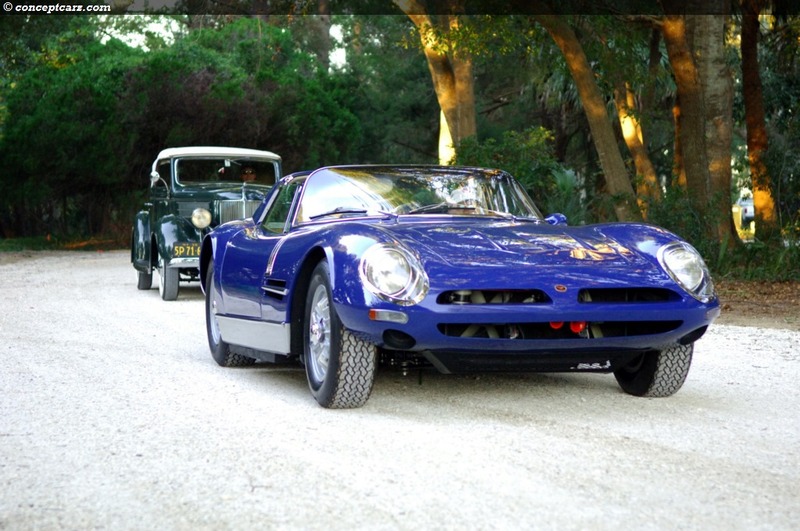 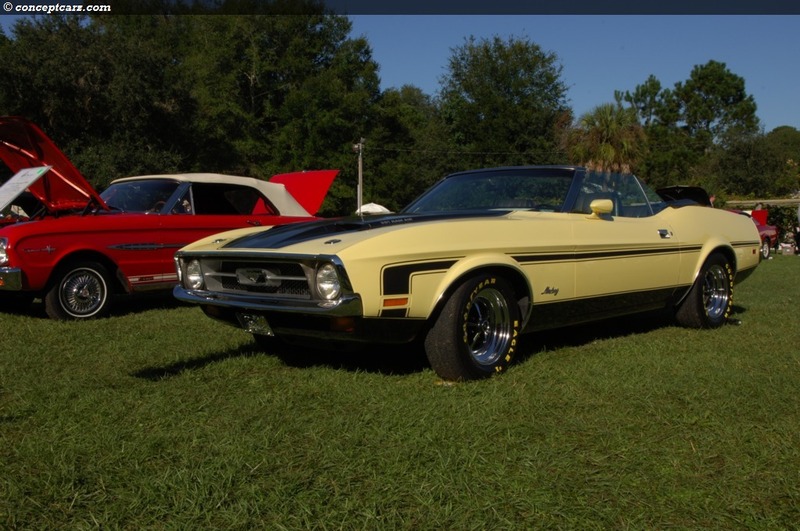 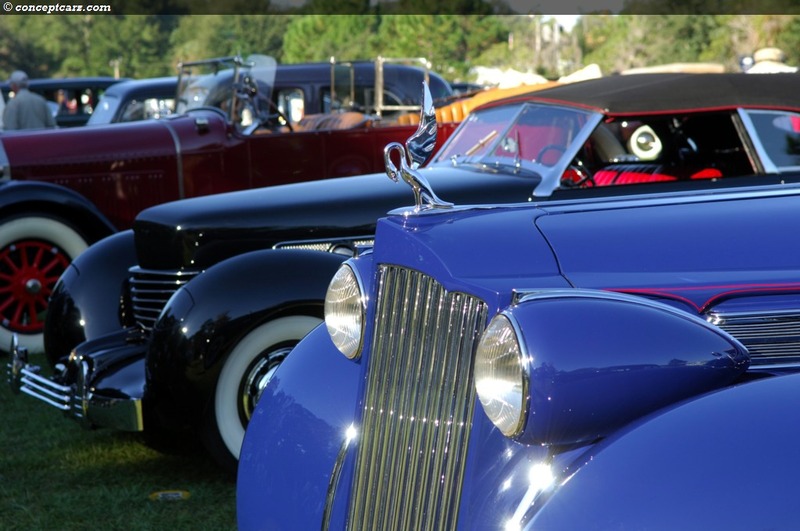 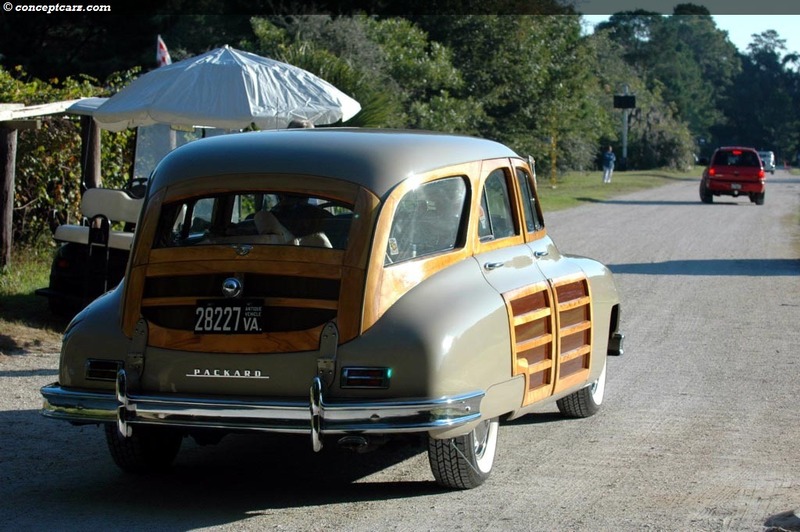 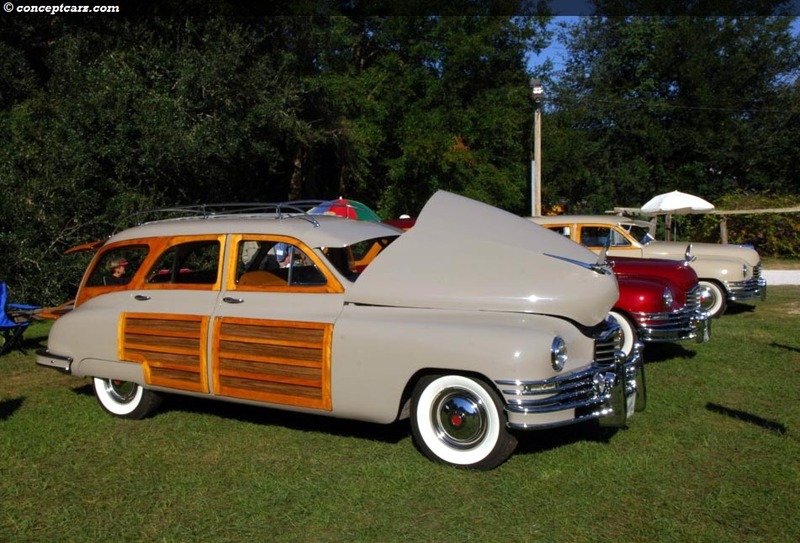 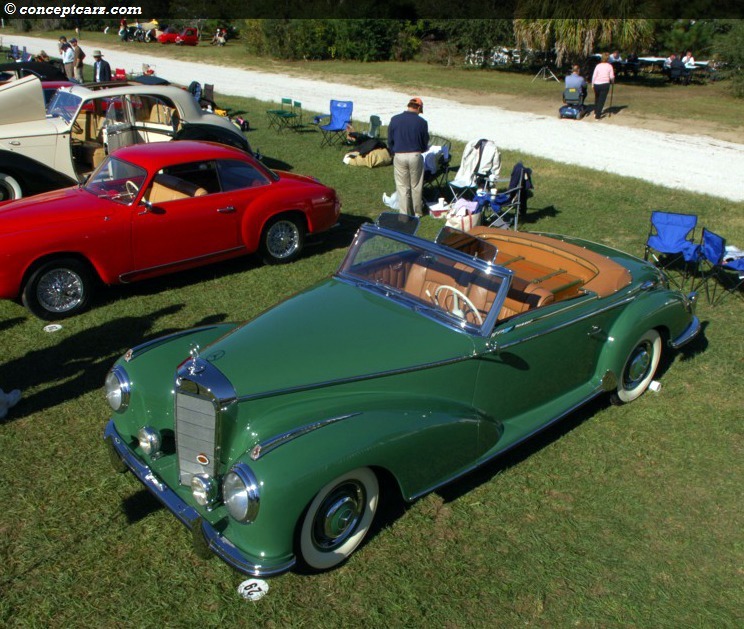 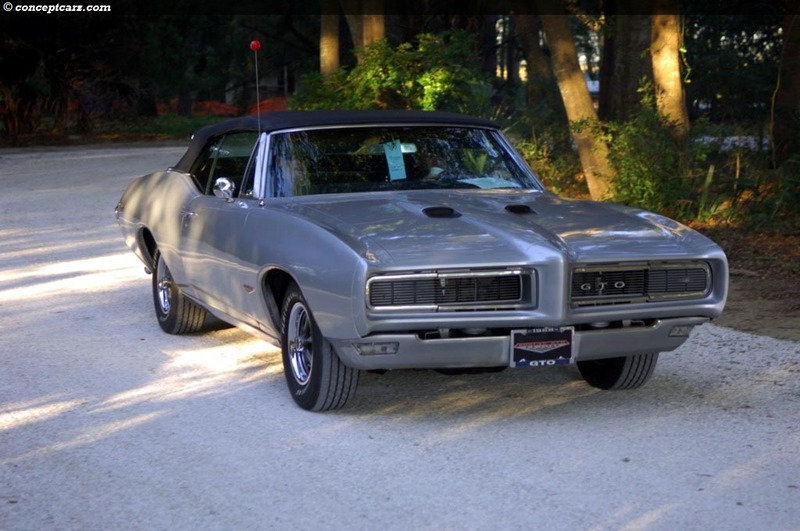 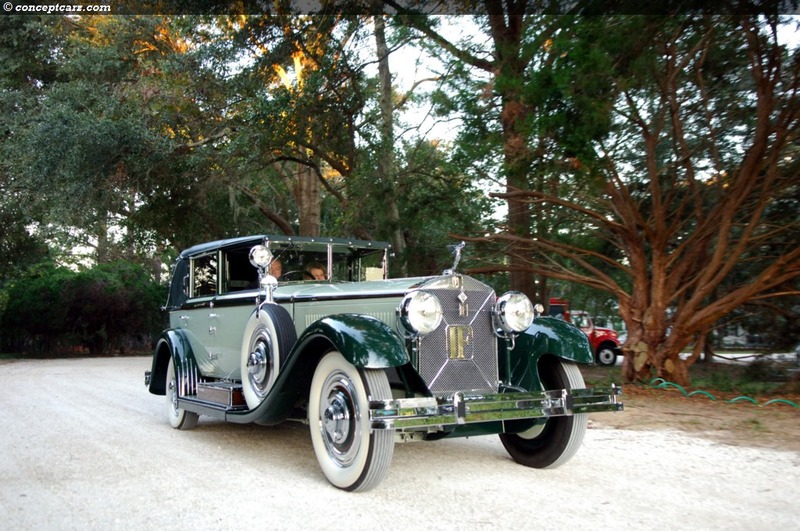 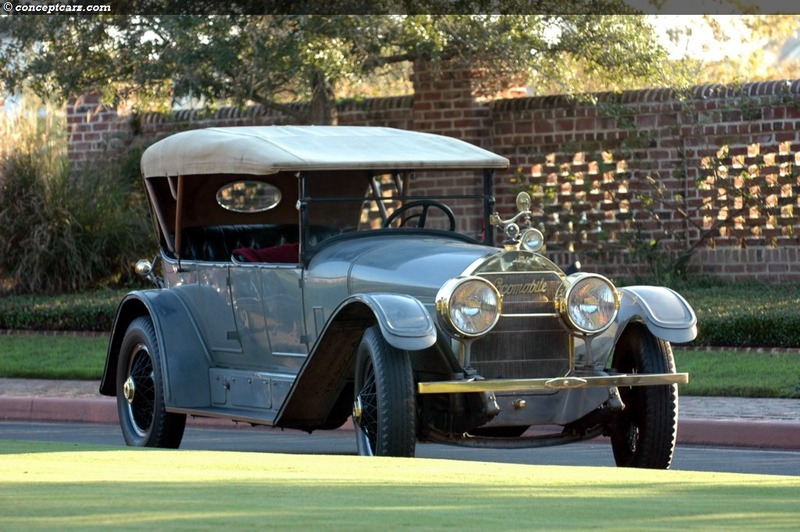 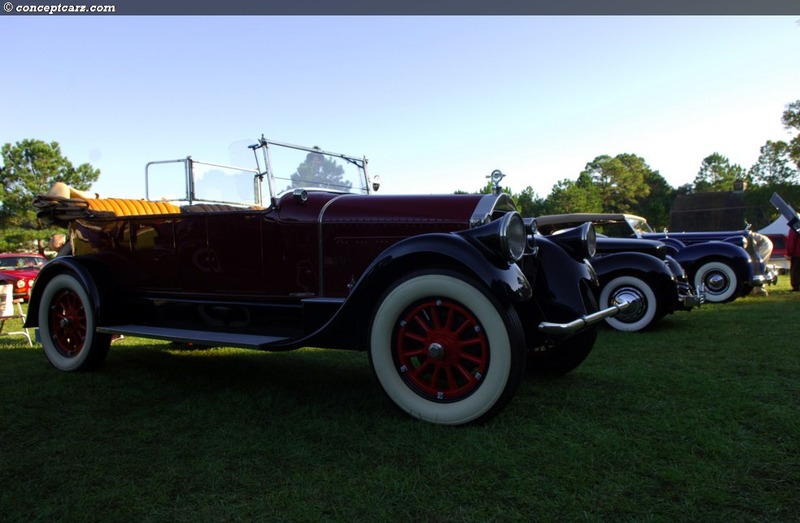 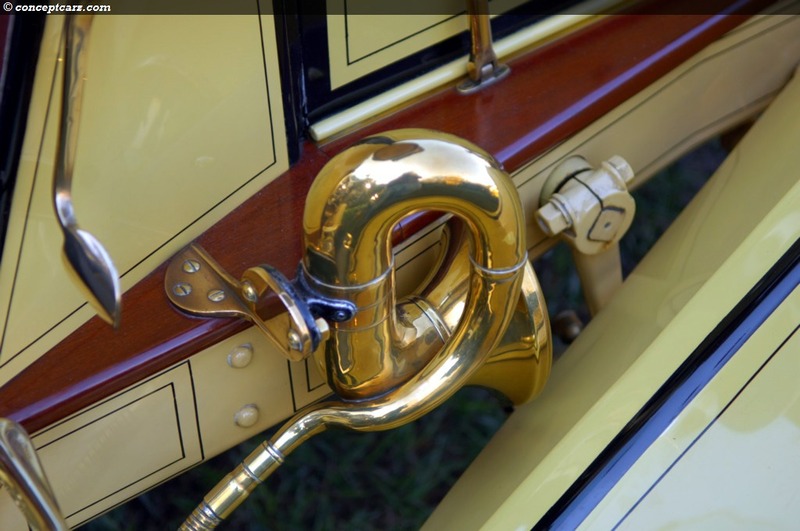 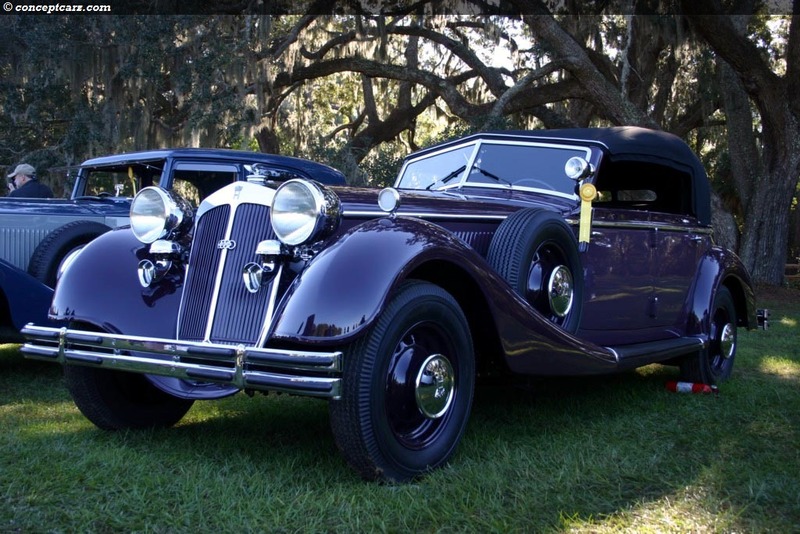 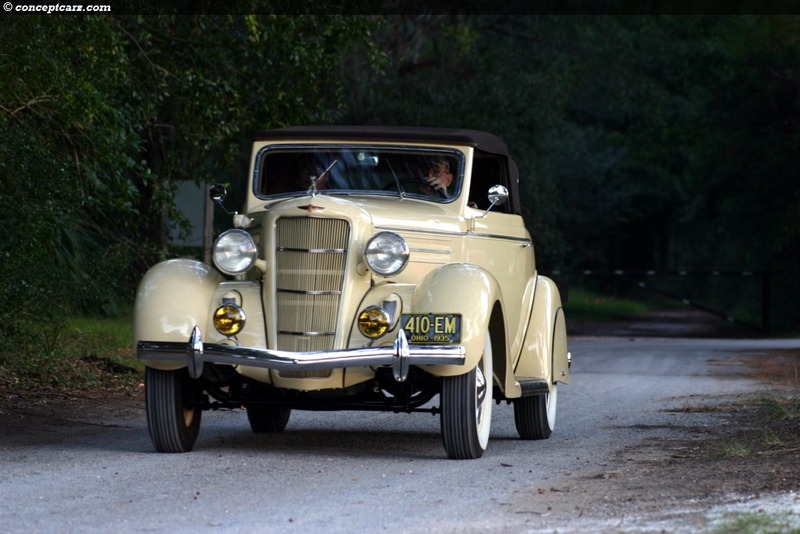 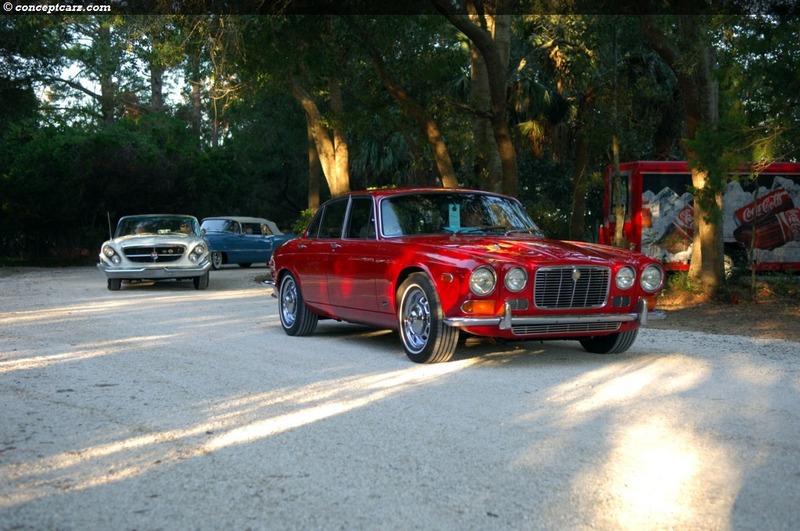 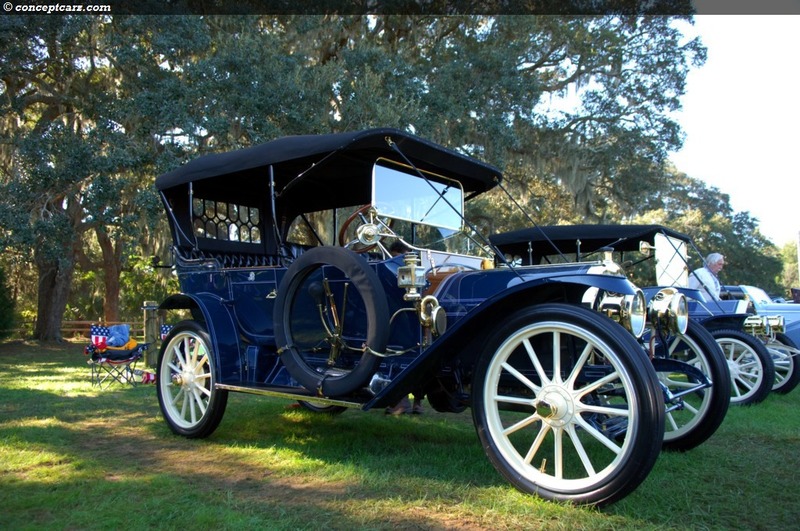 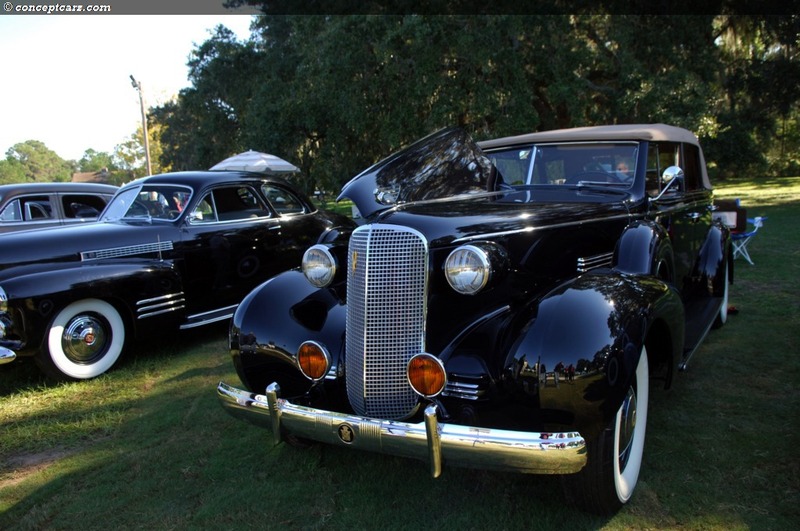 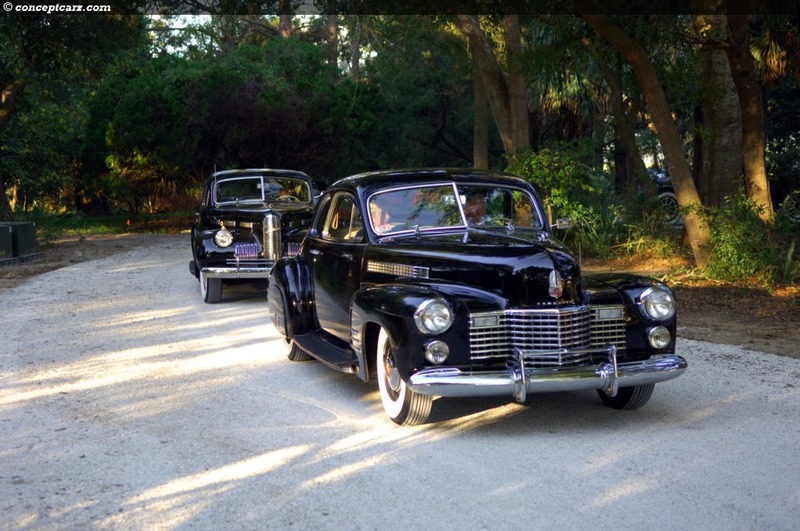 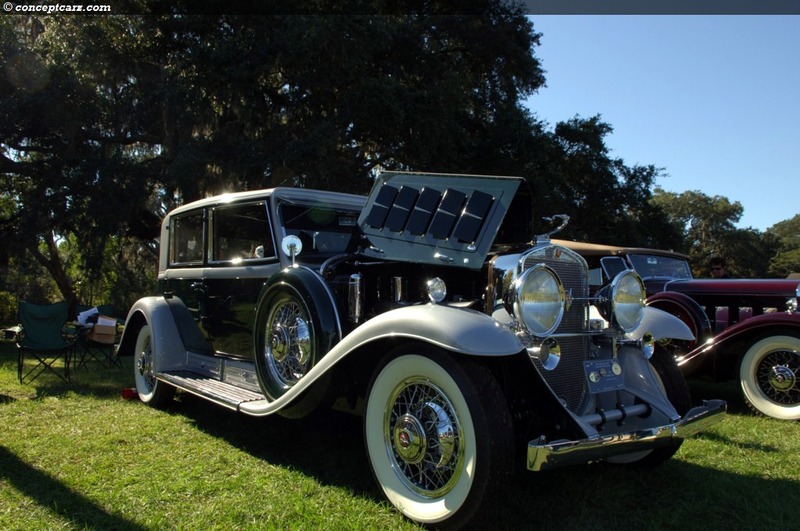 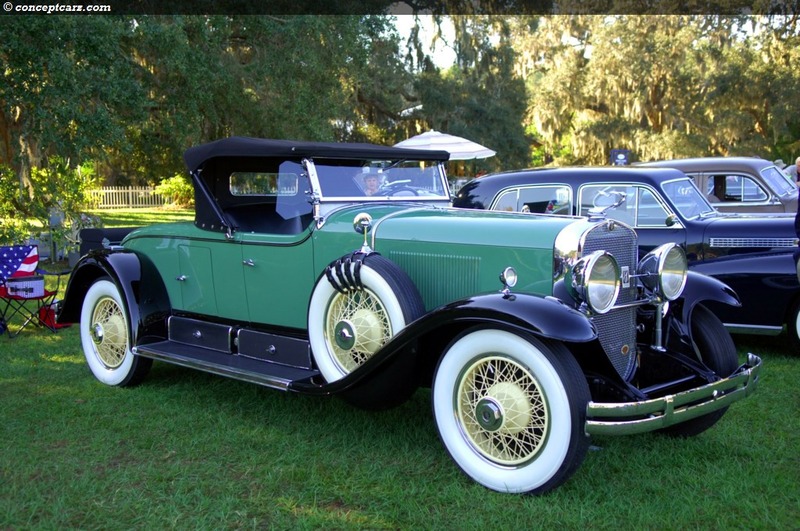 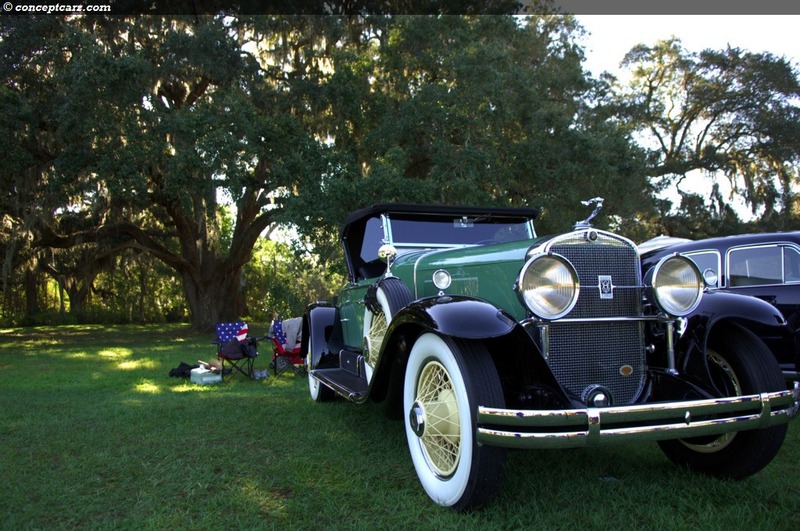 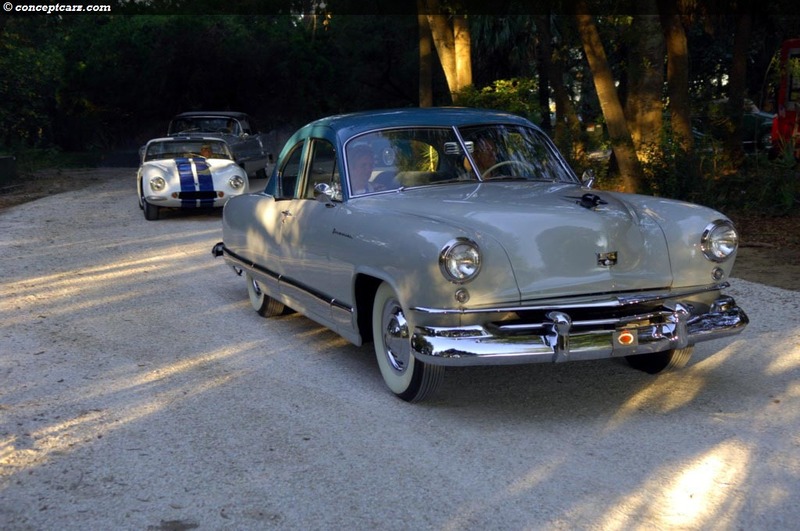 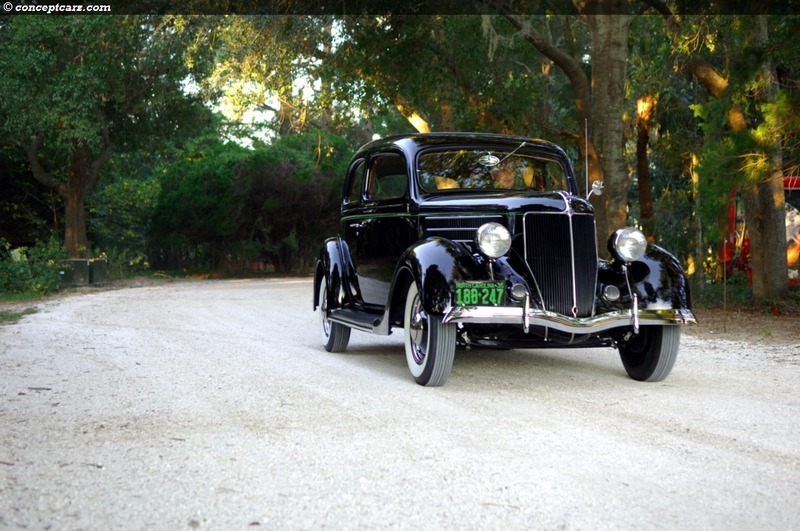 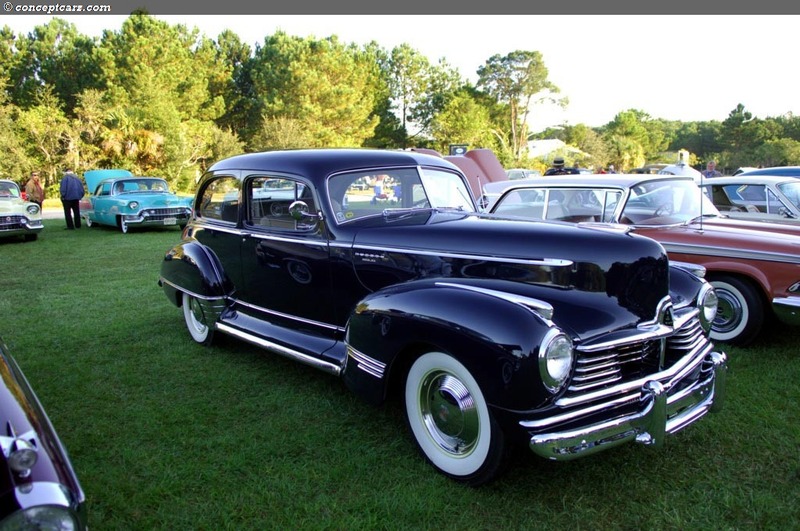 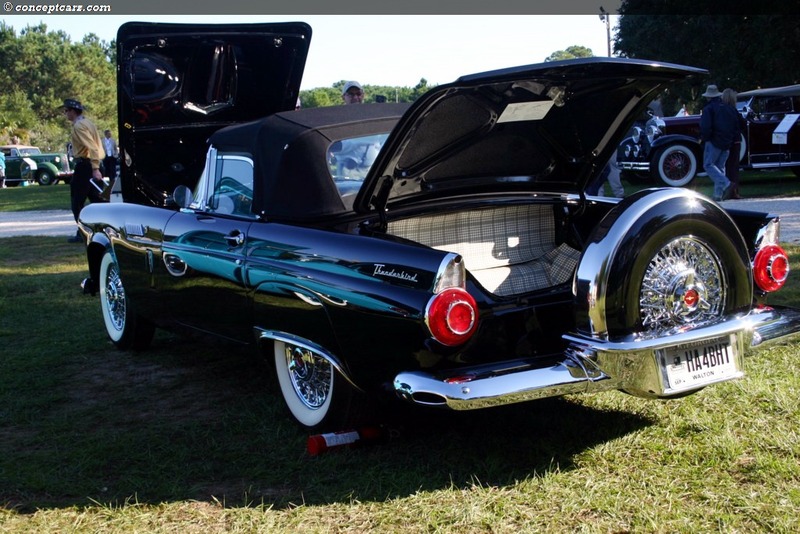 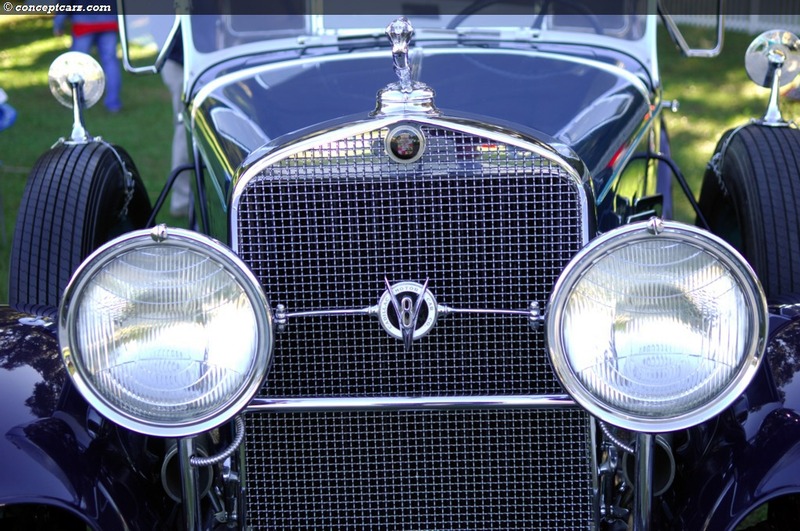 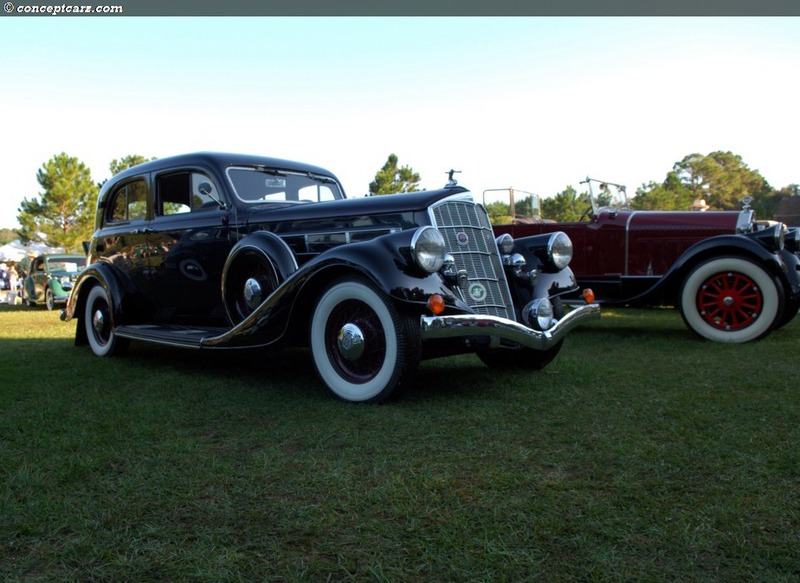 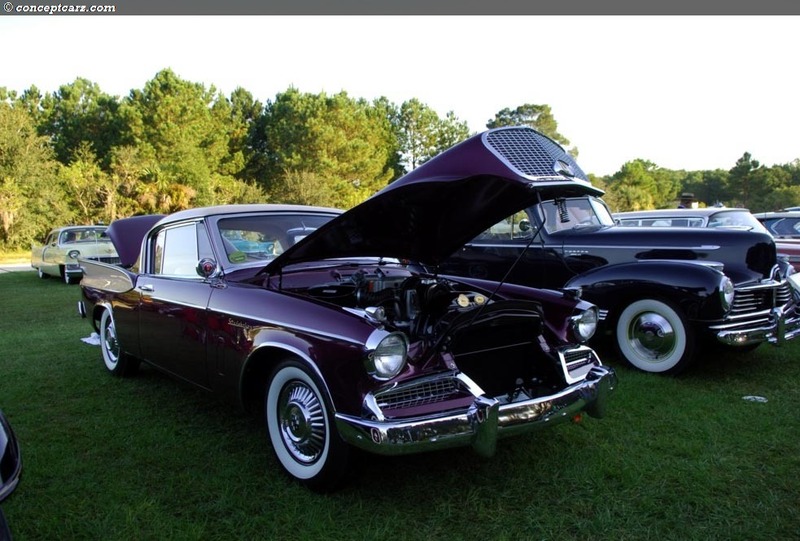 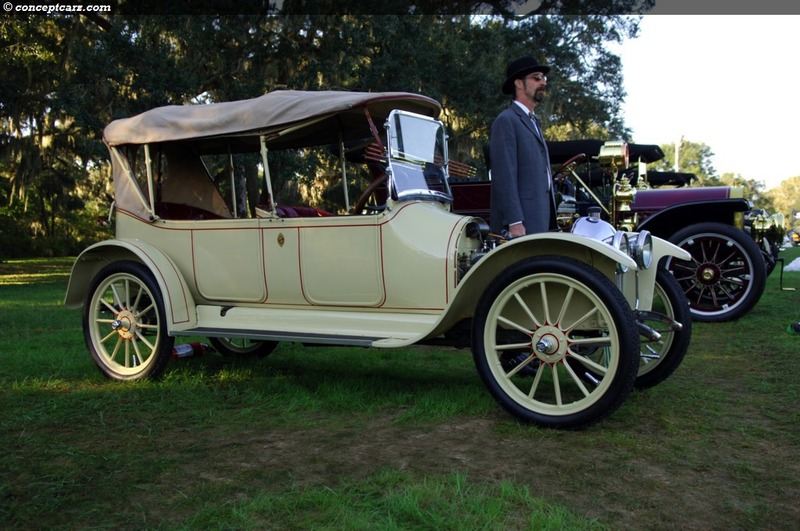 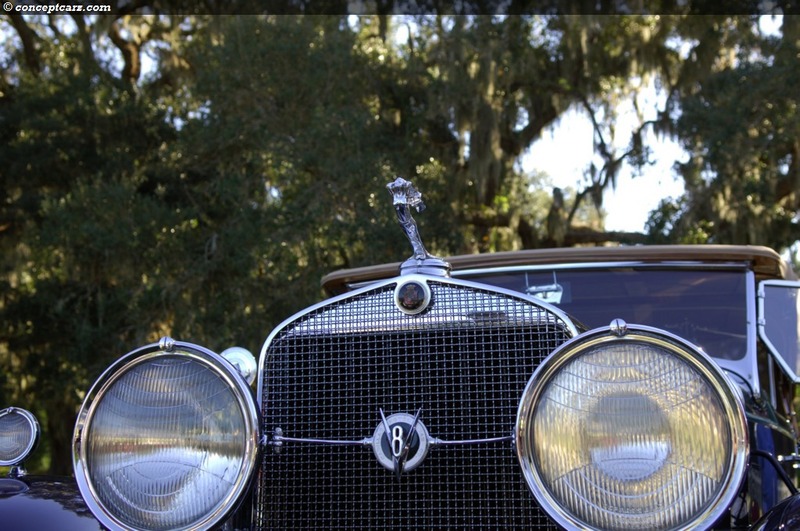 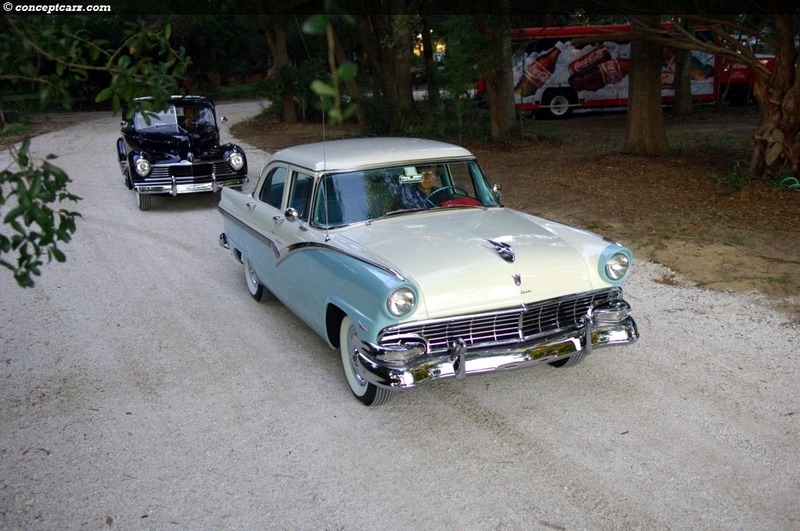 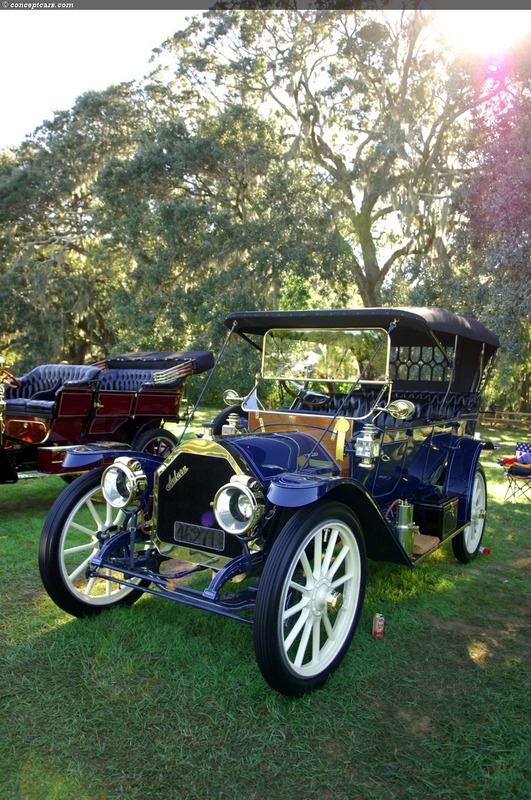 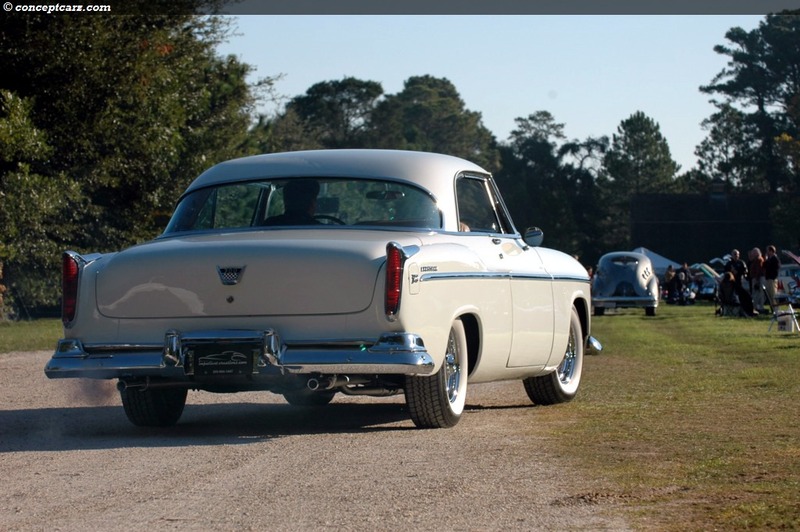 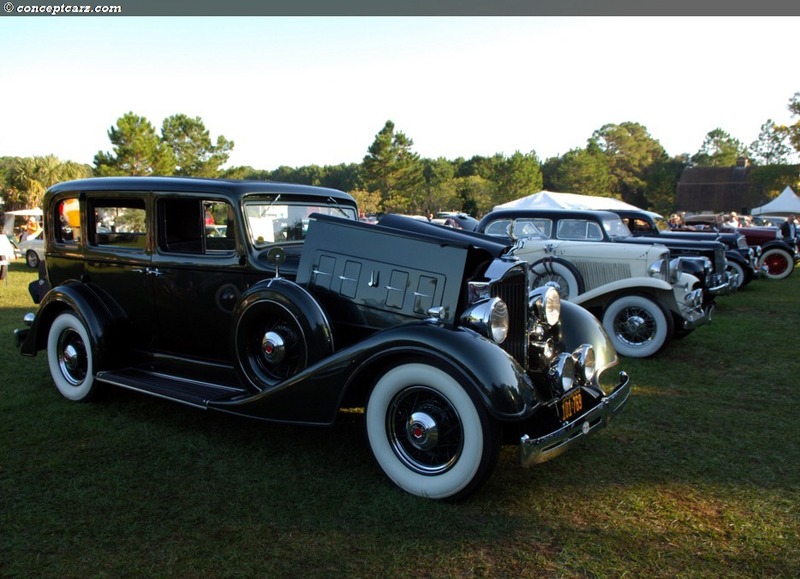 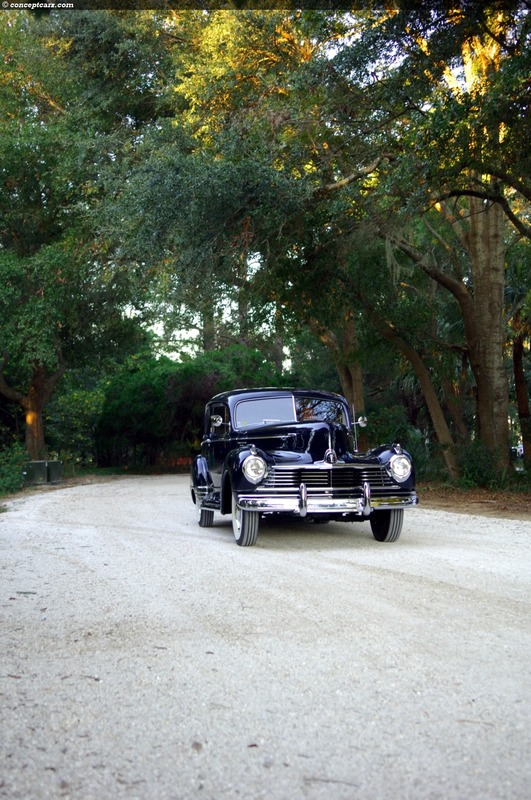 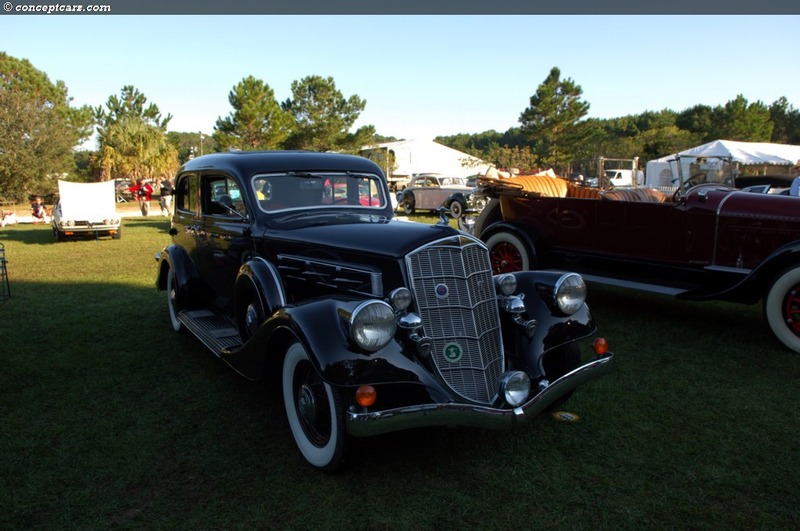 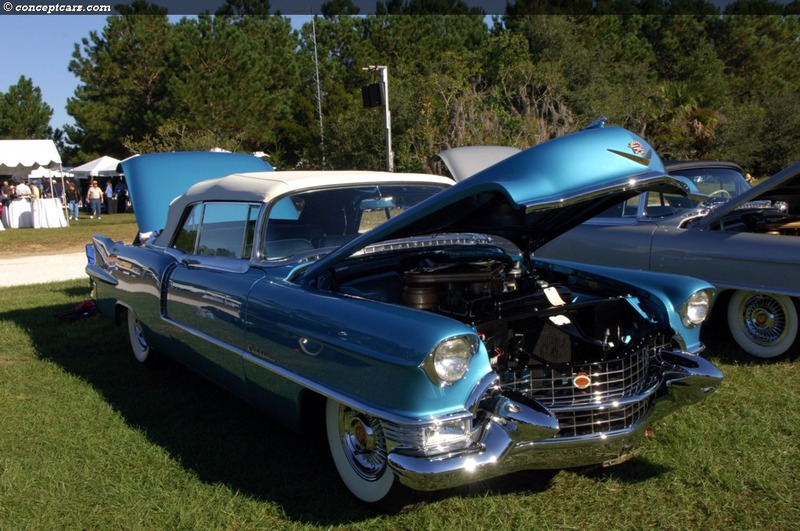 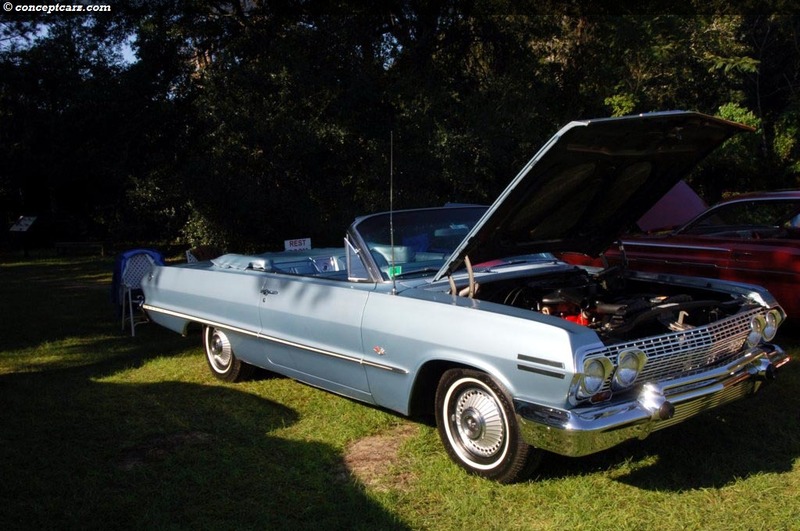 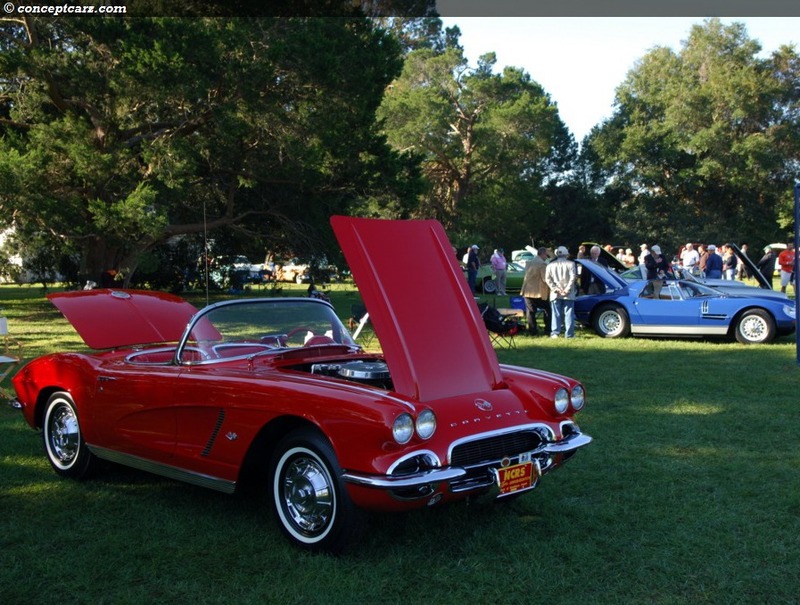 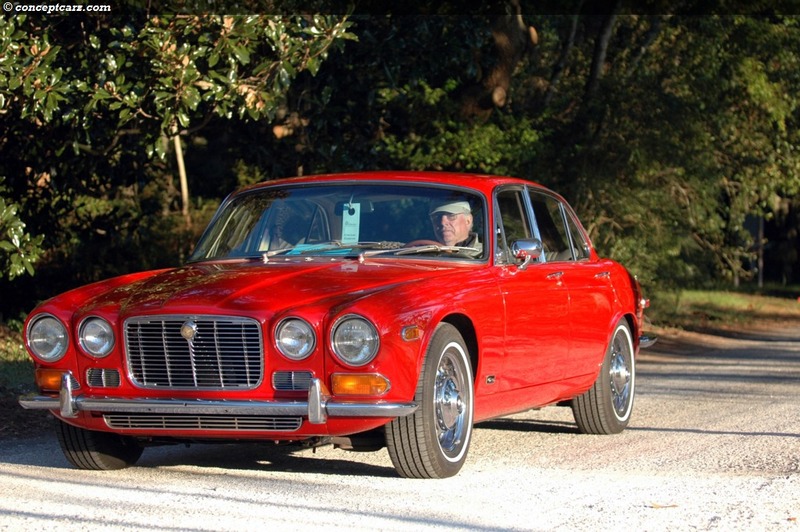 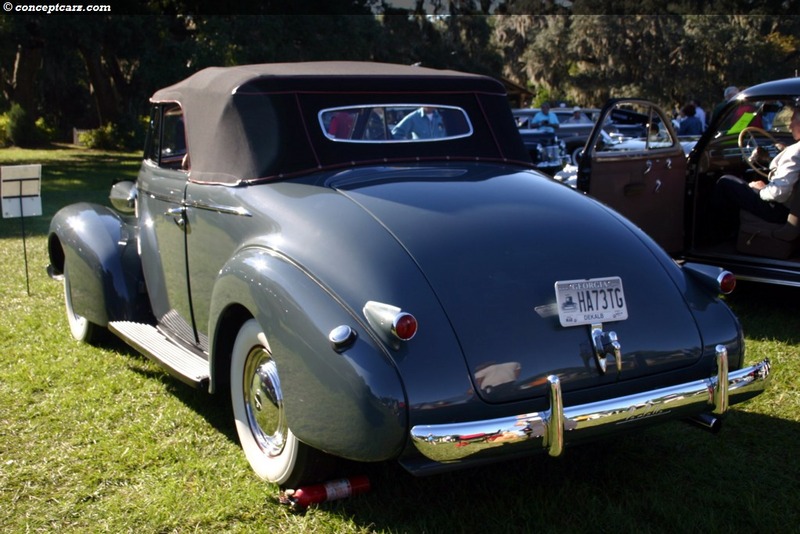 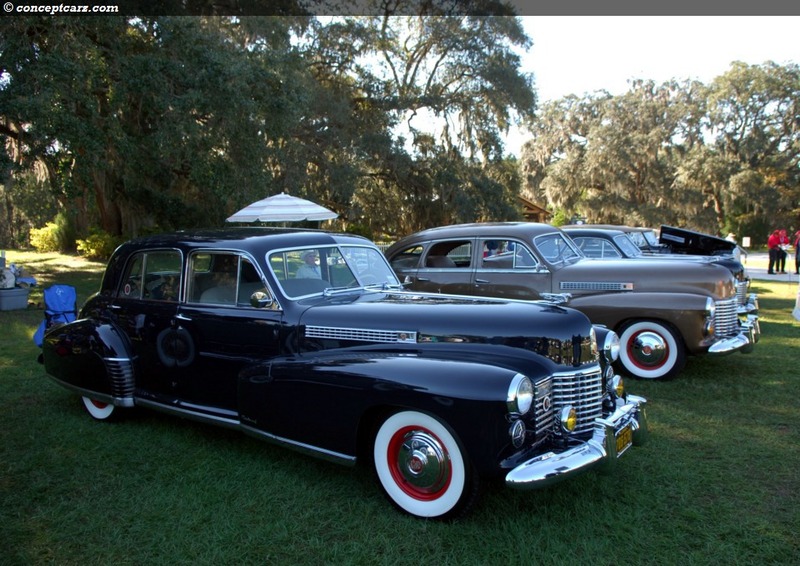 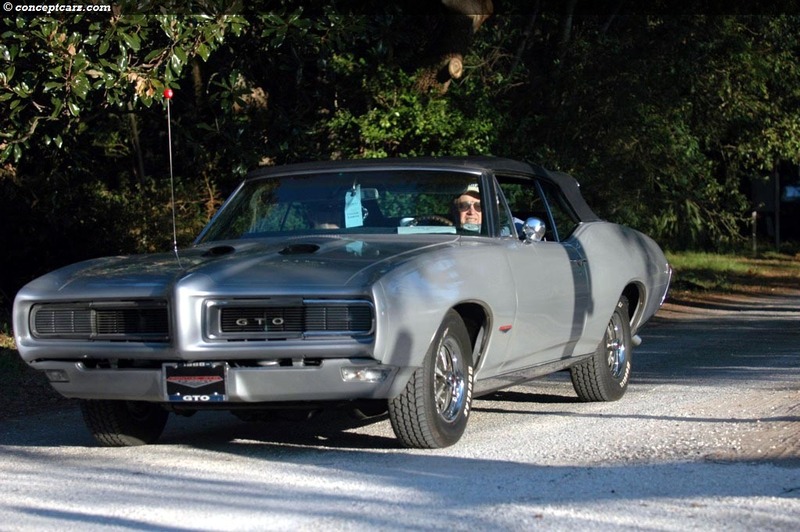 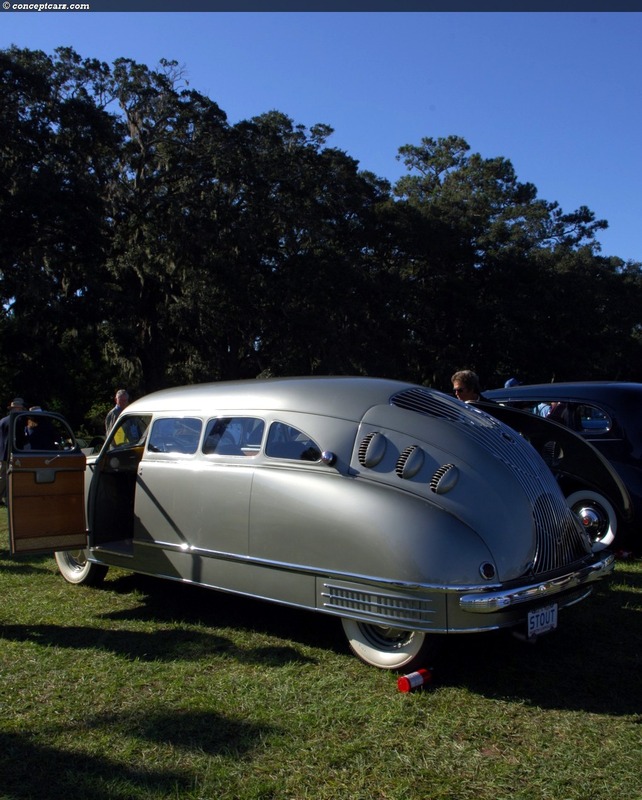 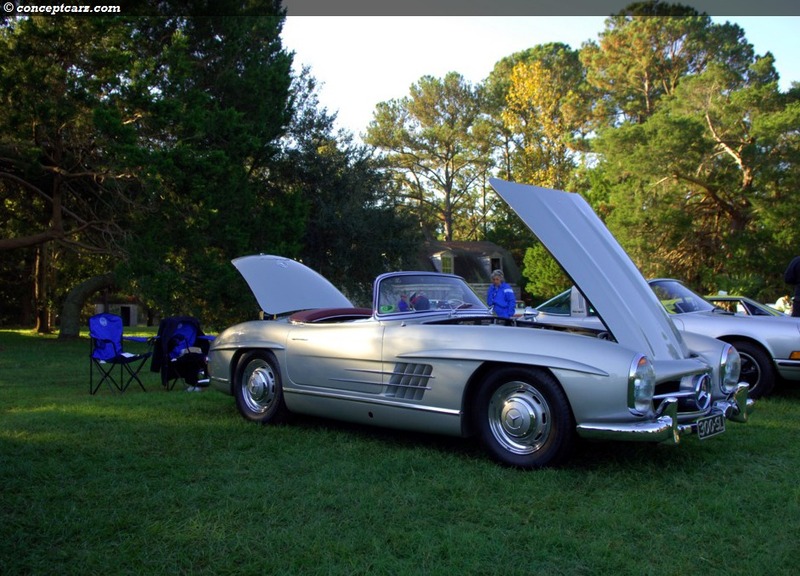 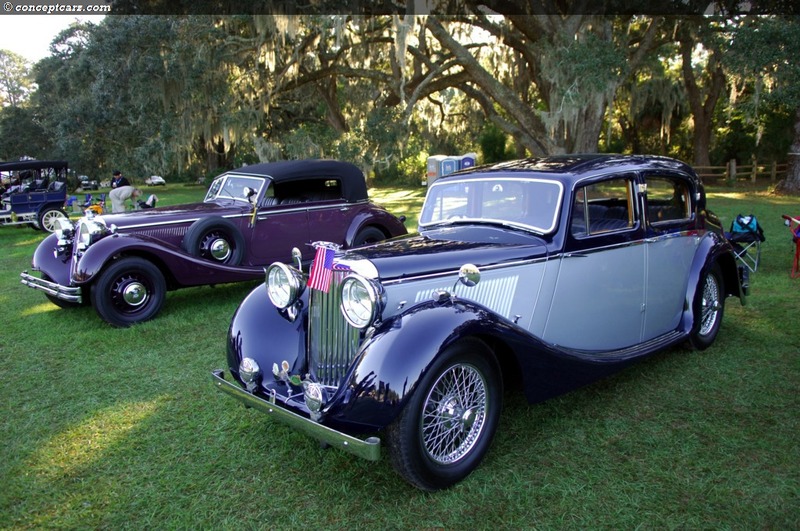 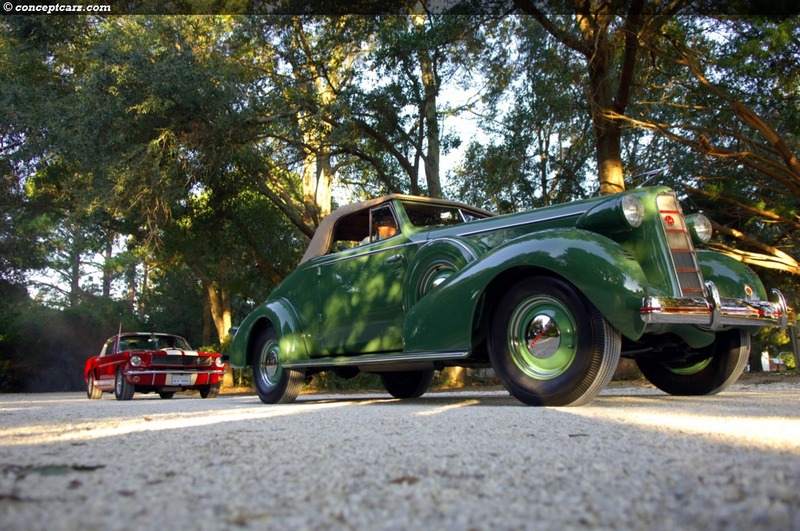 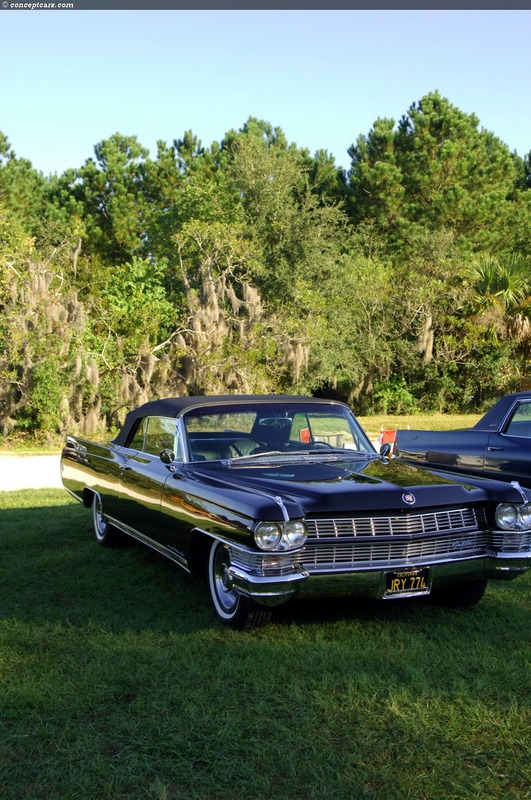 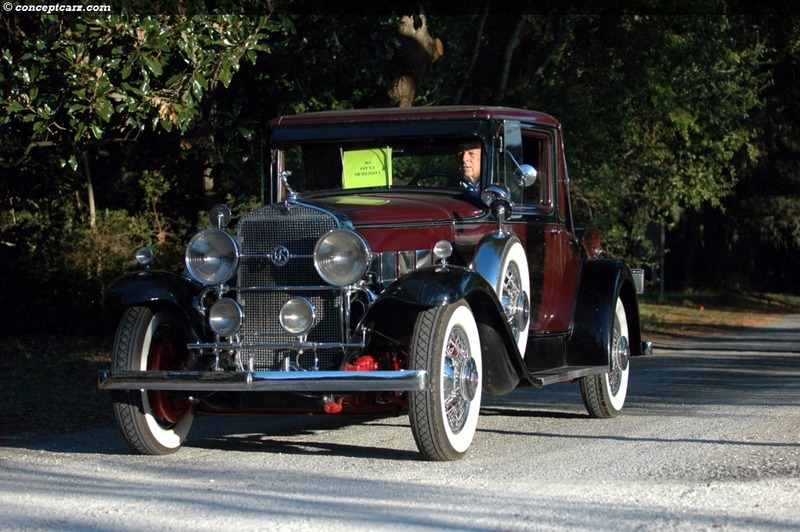 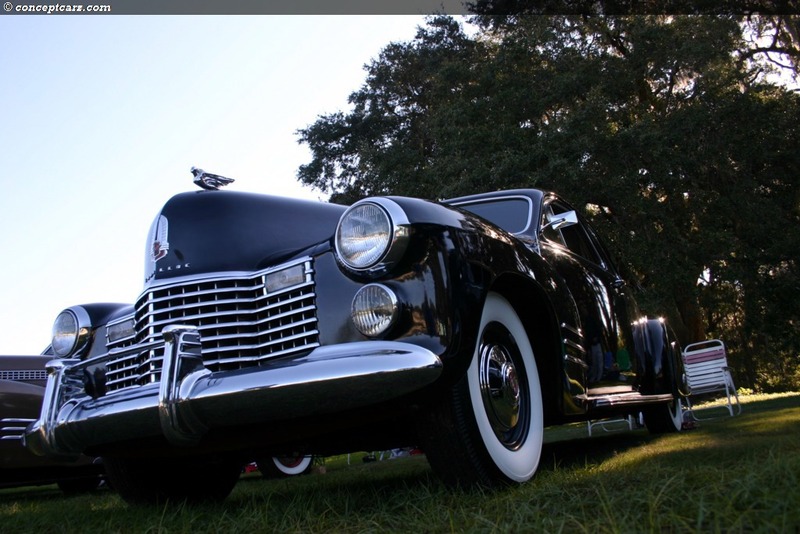 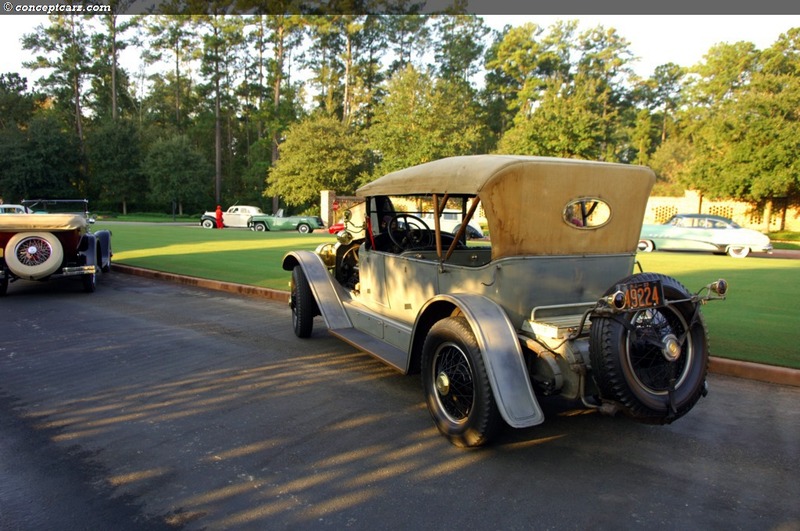 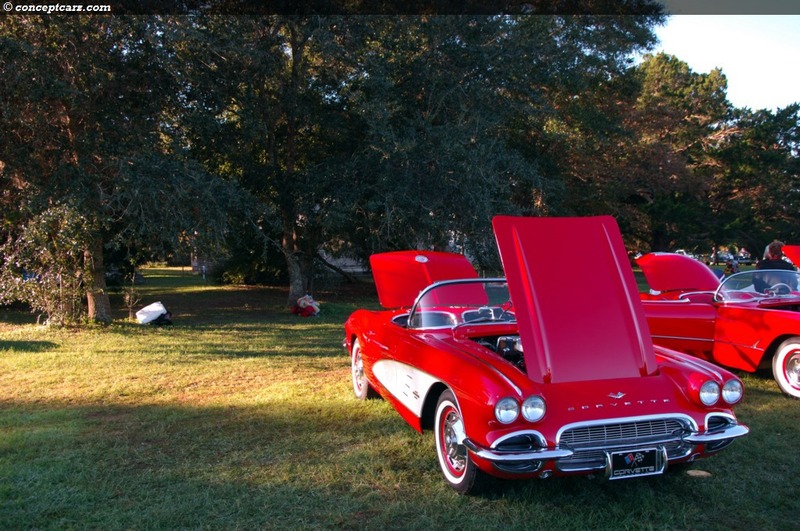 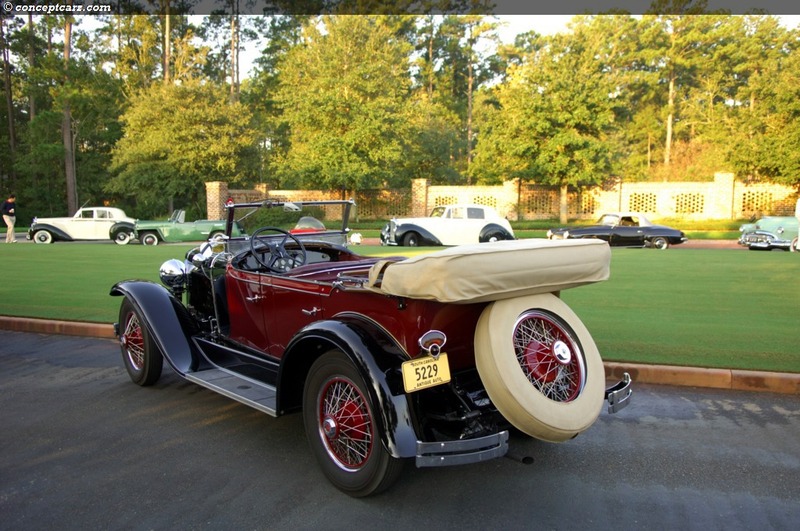 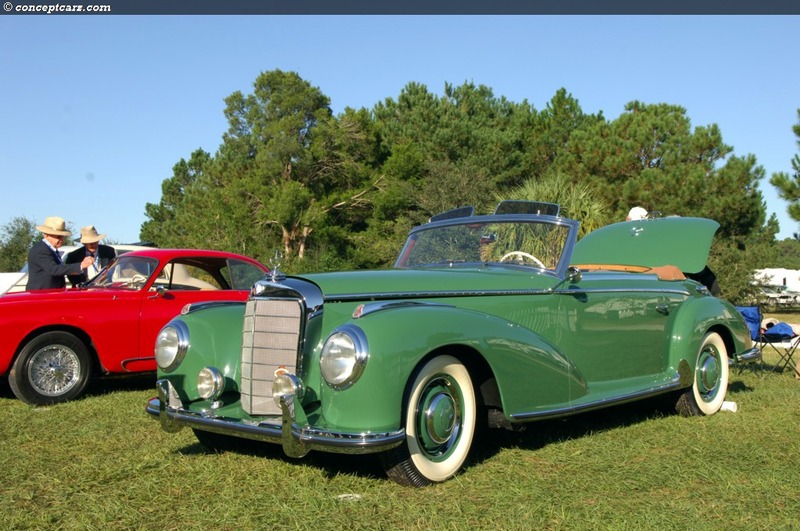 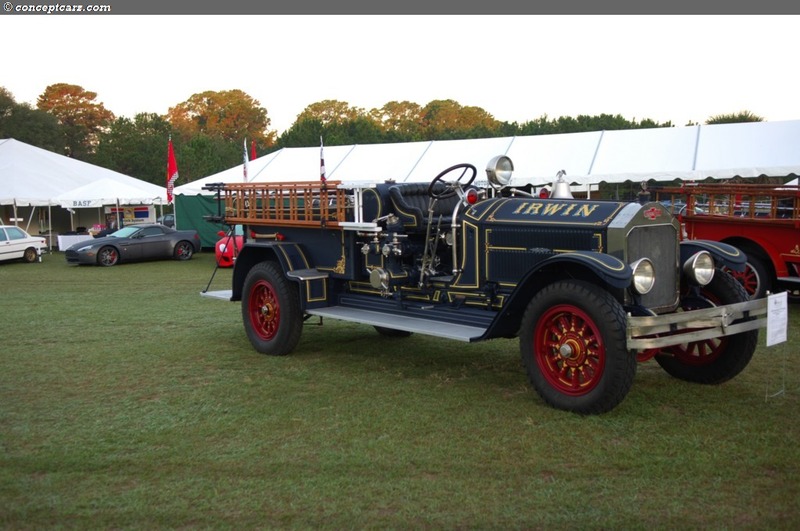 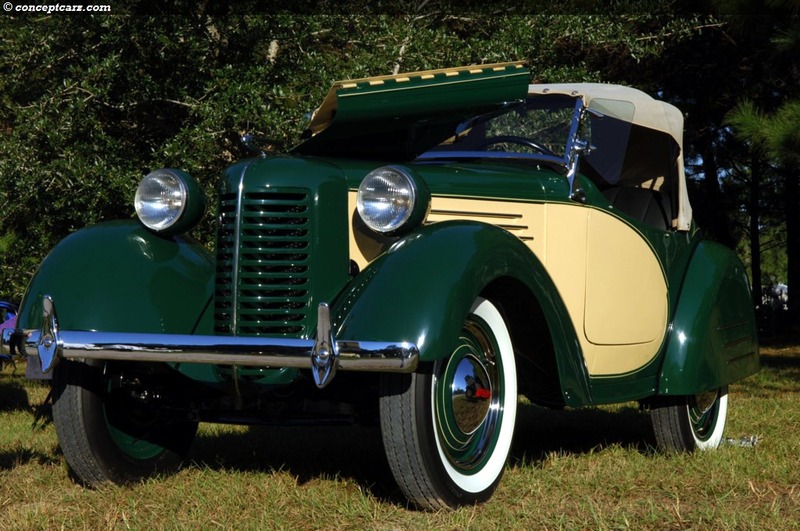 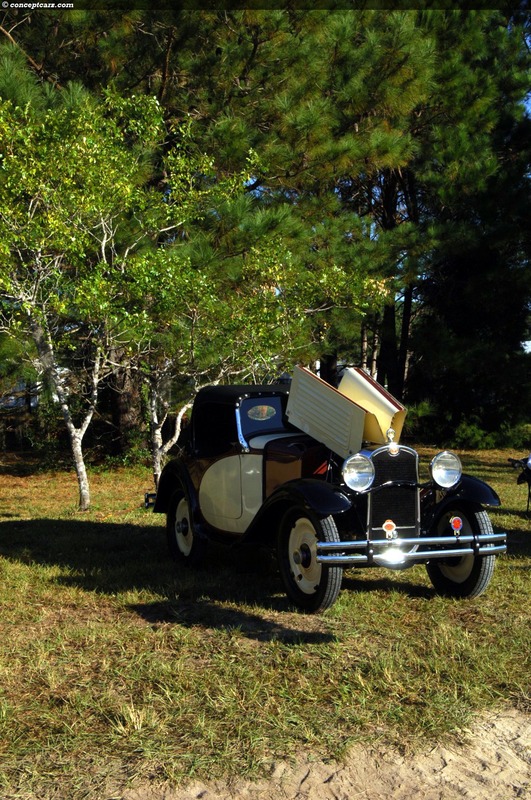 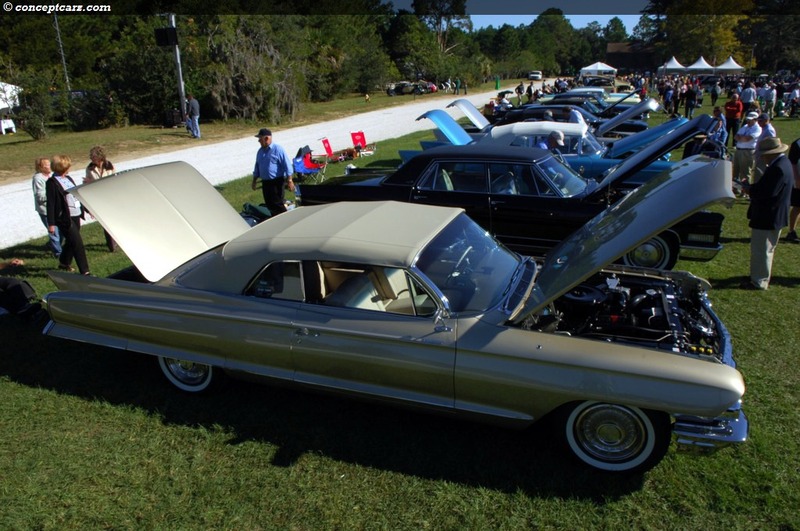 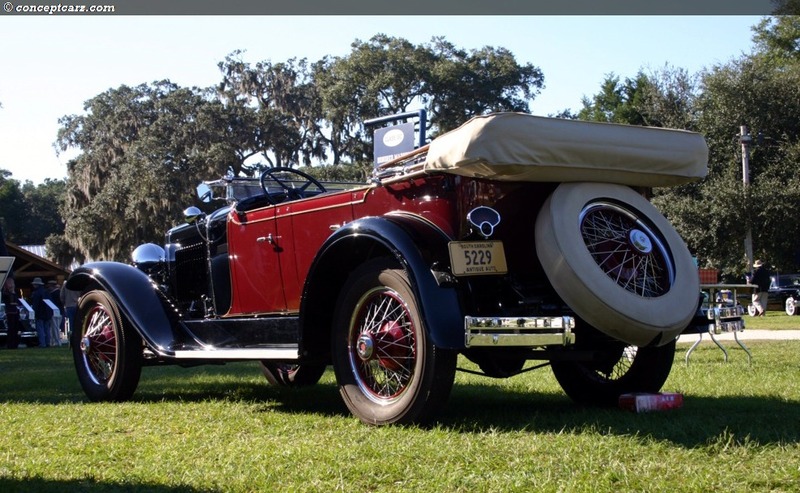 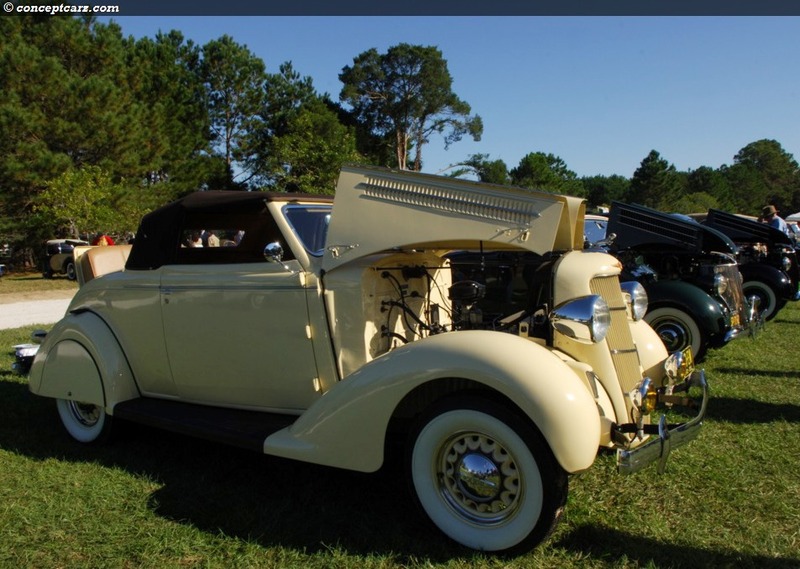 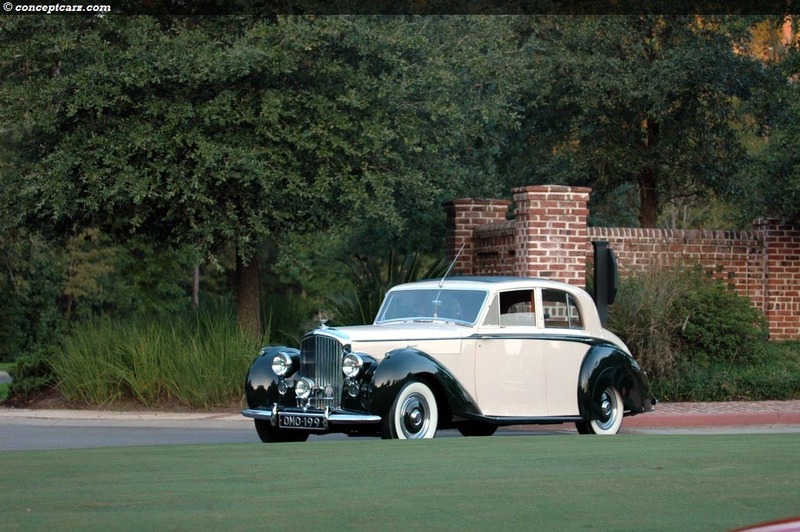 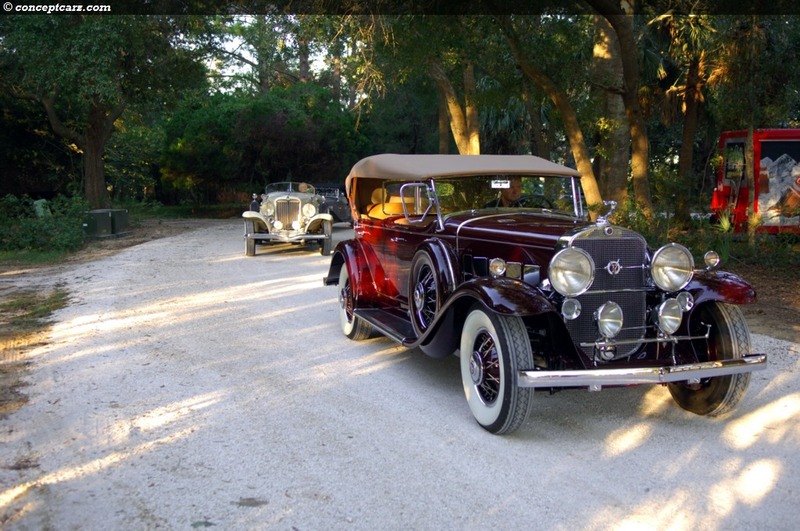 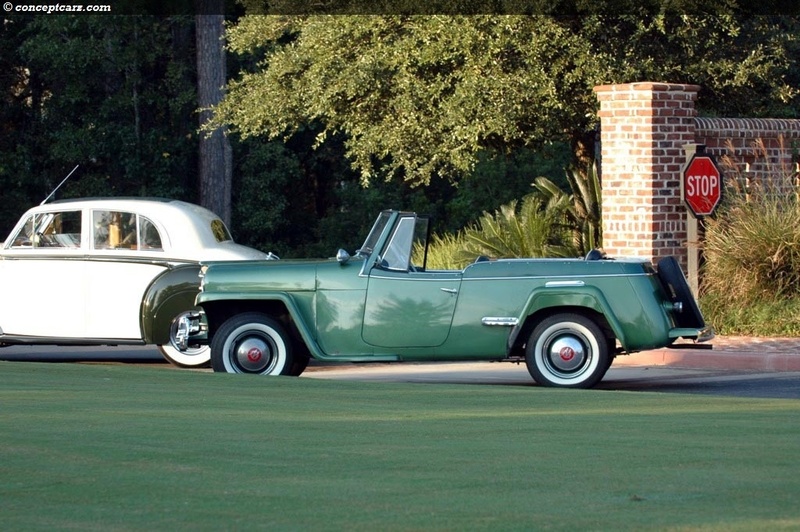 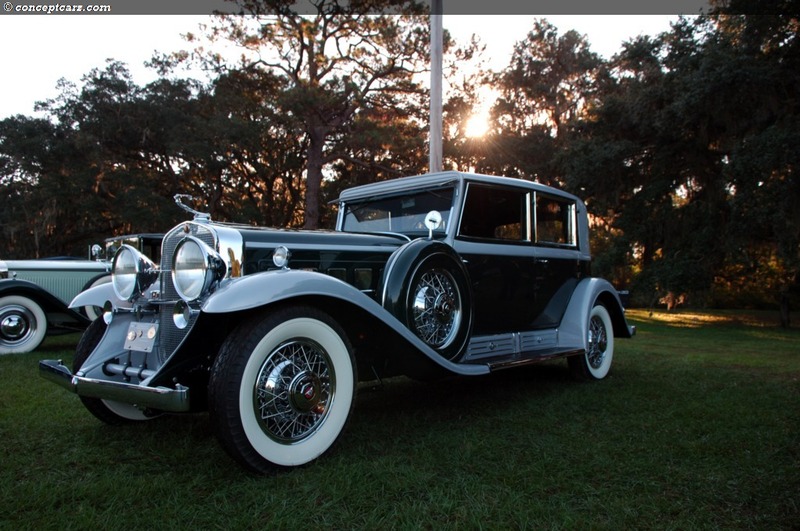 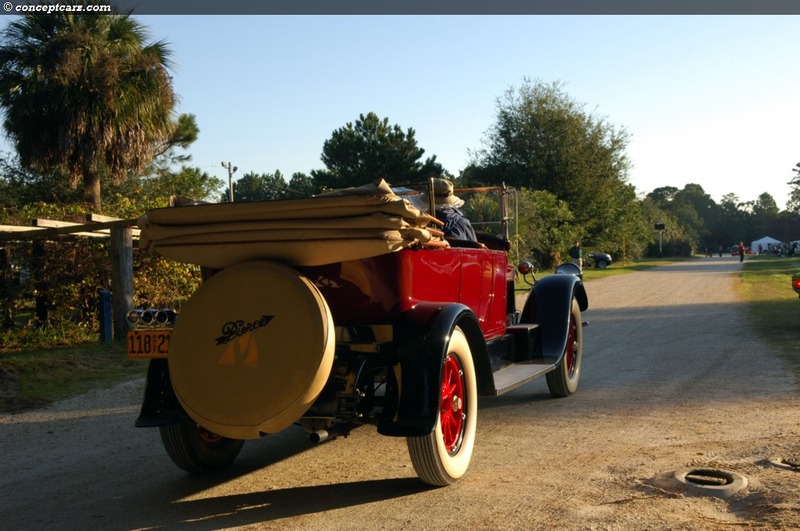 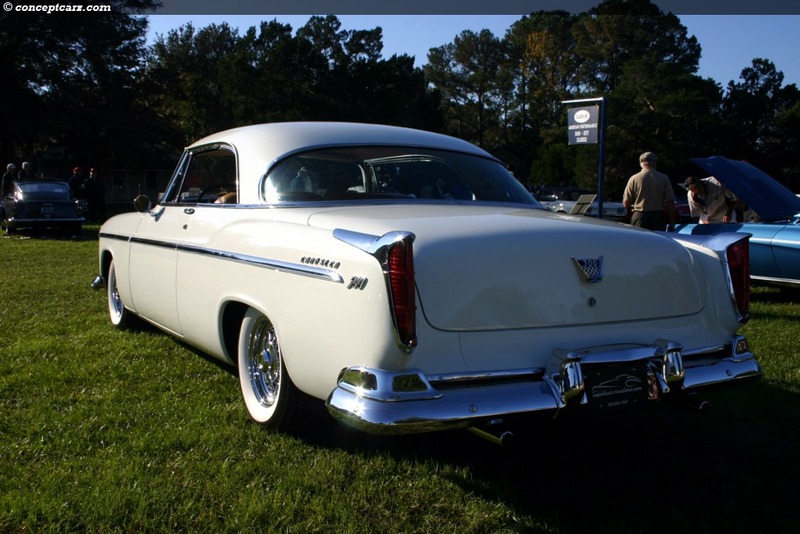 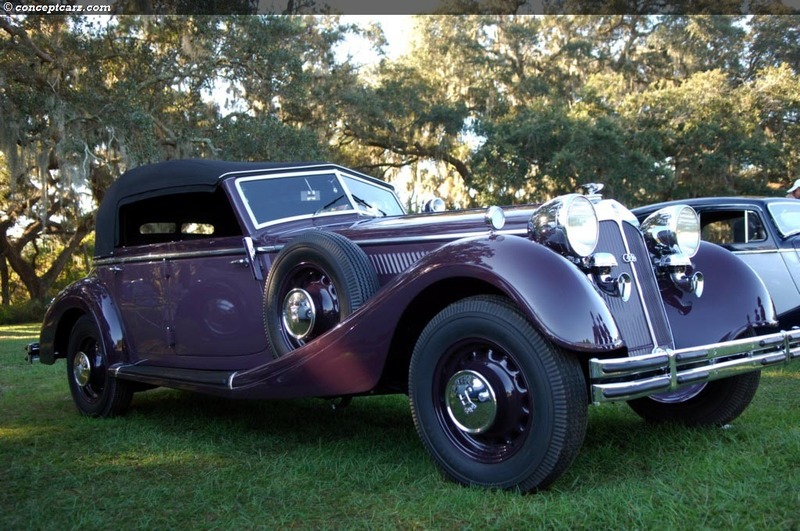 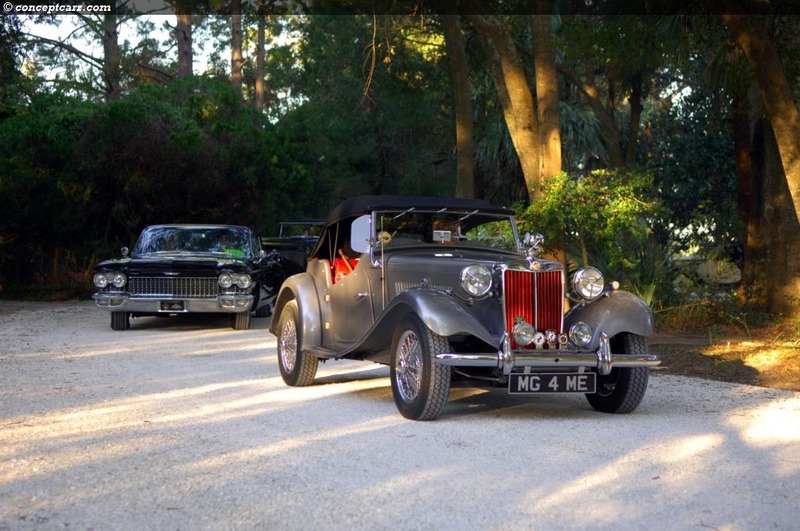 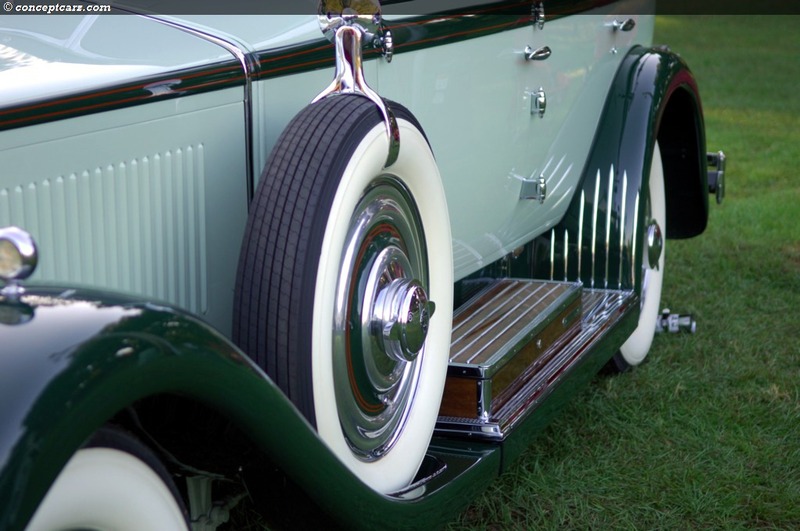 The Hilton Head Concours does a great job of assembling an elite group of cars, even the hard-to-find brass era cars. 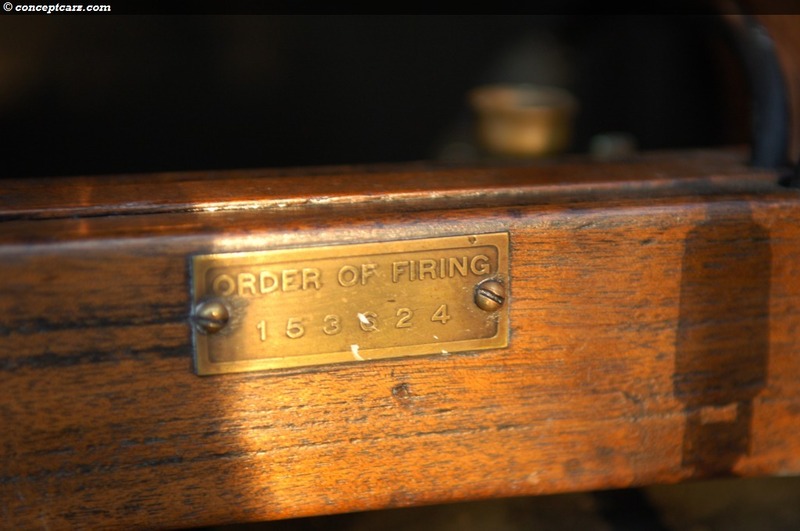 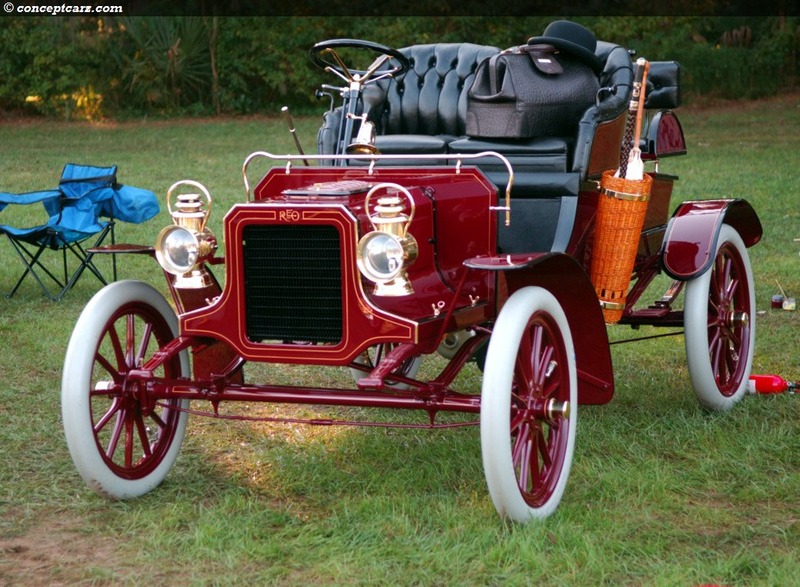 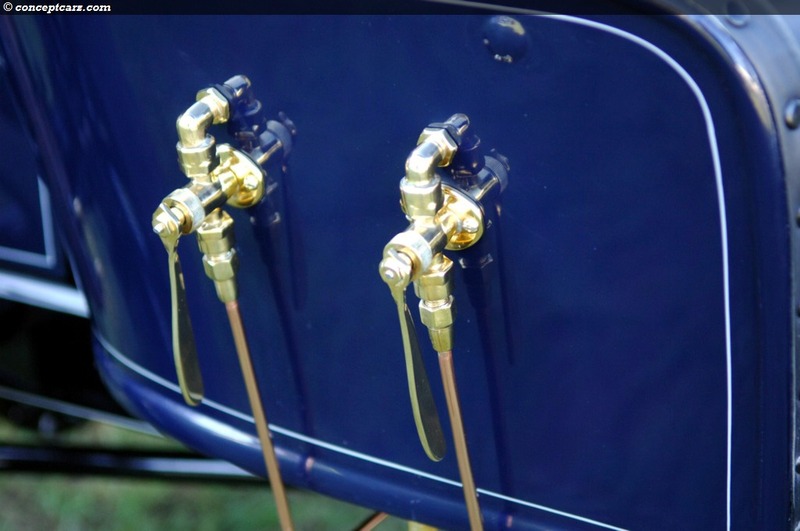 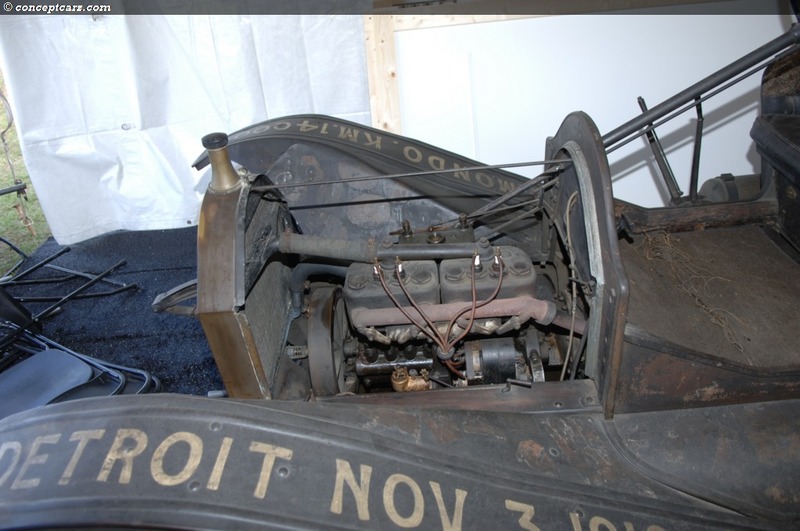 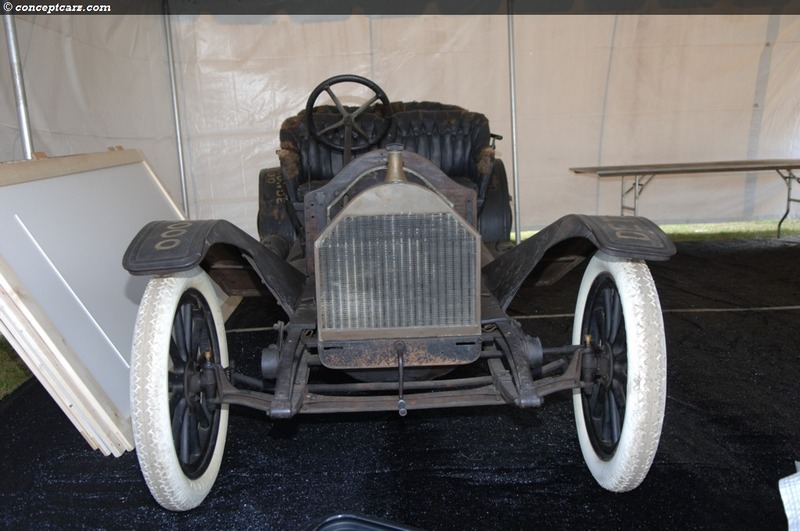 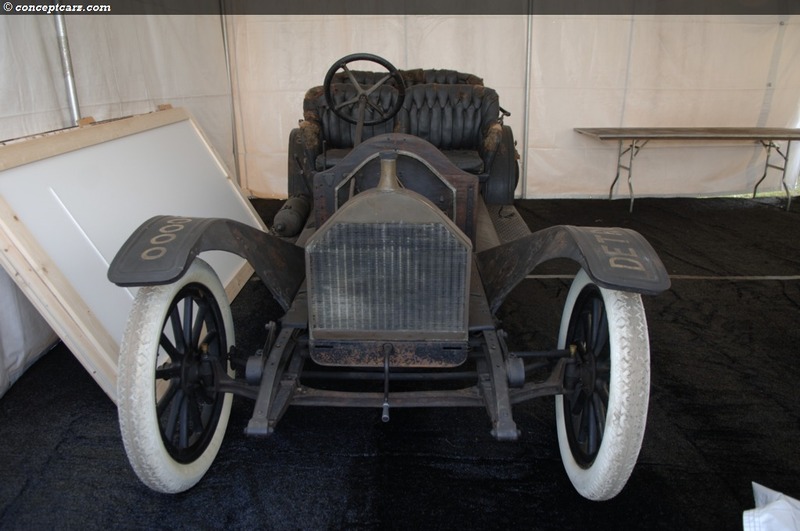 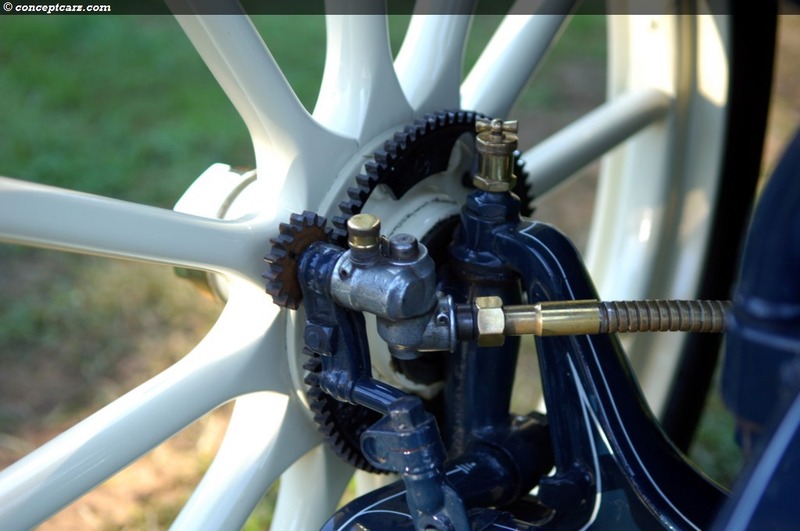 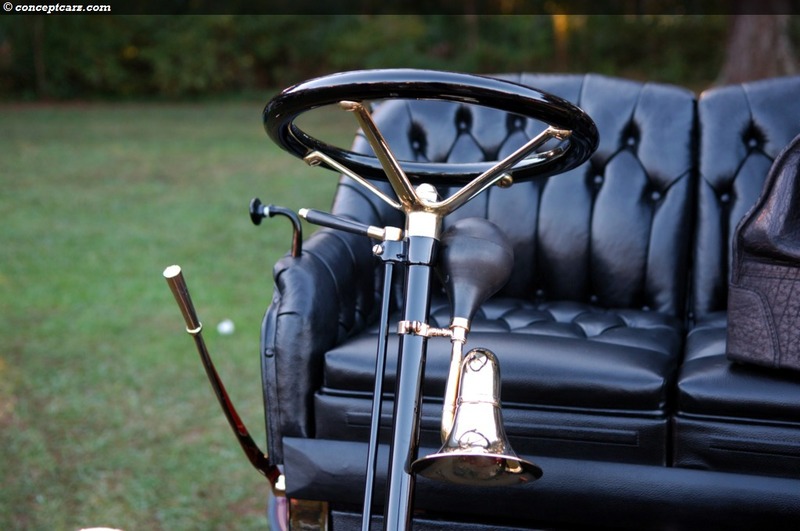 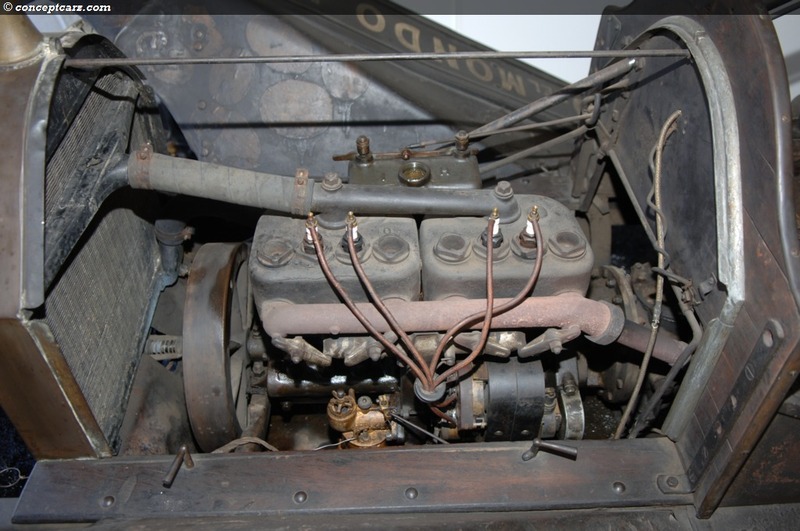 Their selection of cars from the very early era of automobile production is always impressive, with some very unique vehicles on display, such as the 1914 Buick Cycle Car which was a one-off design to test the vehicle's feasibility and practicality. 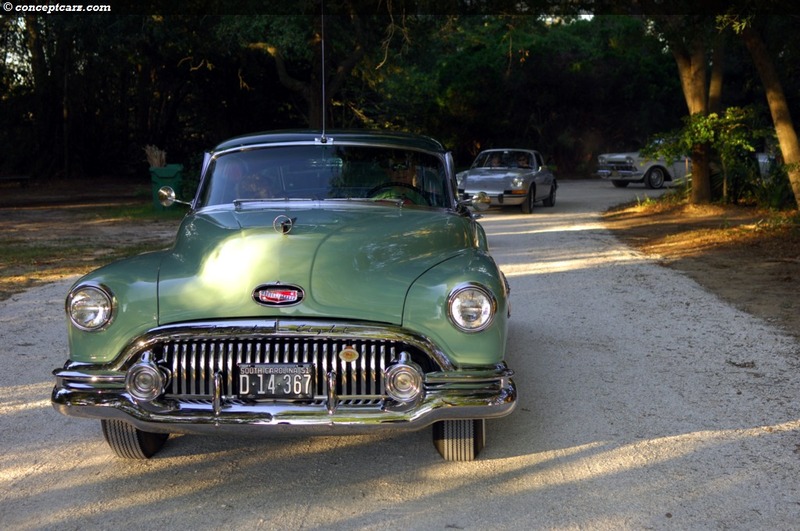 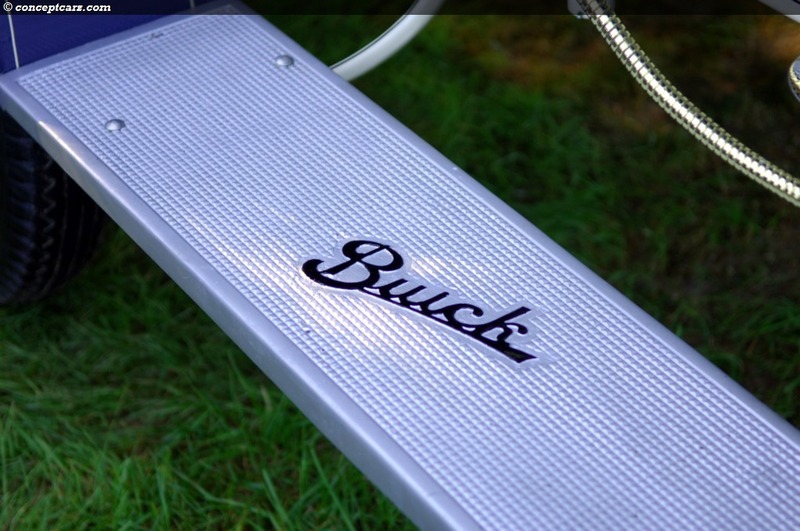 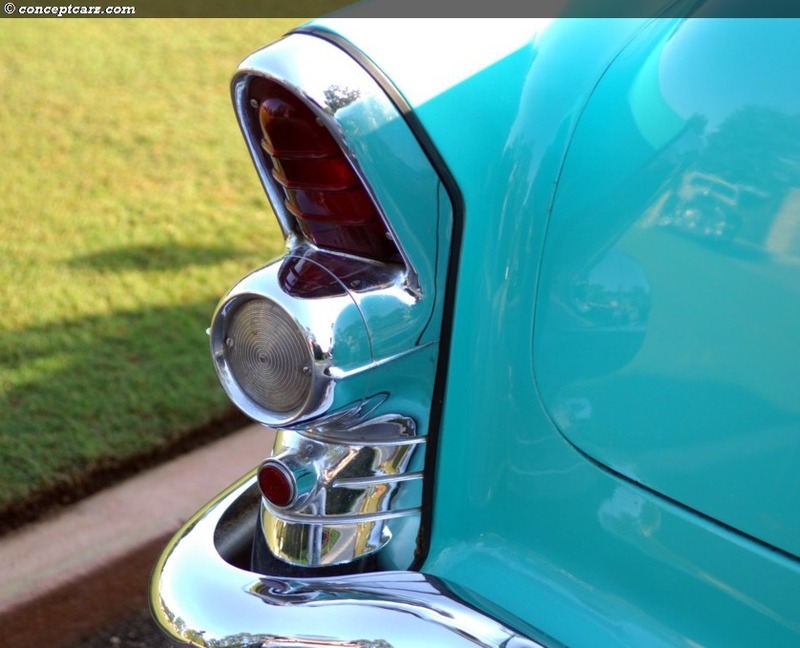 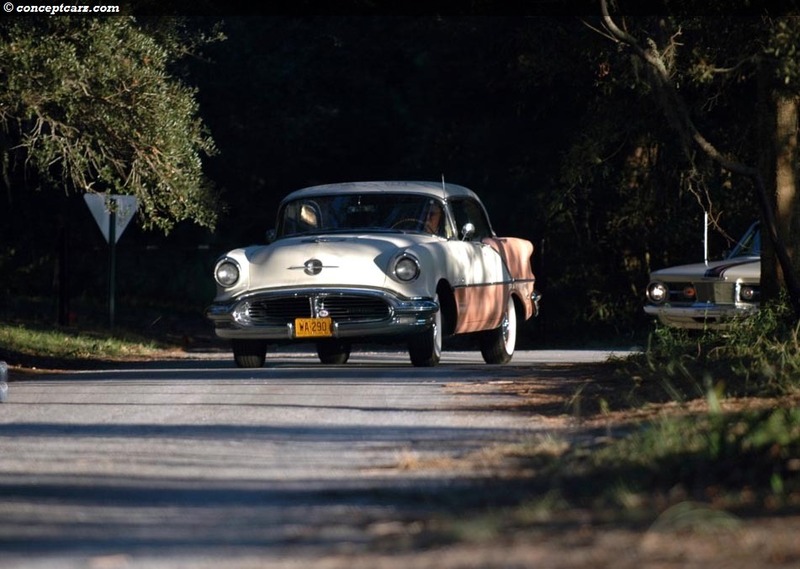 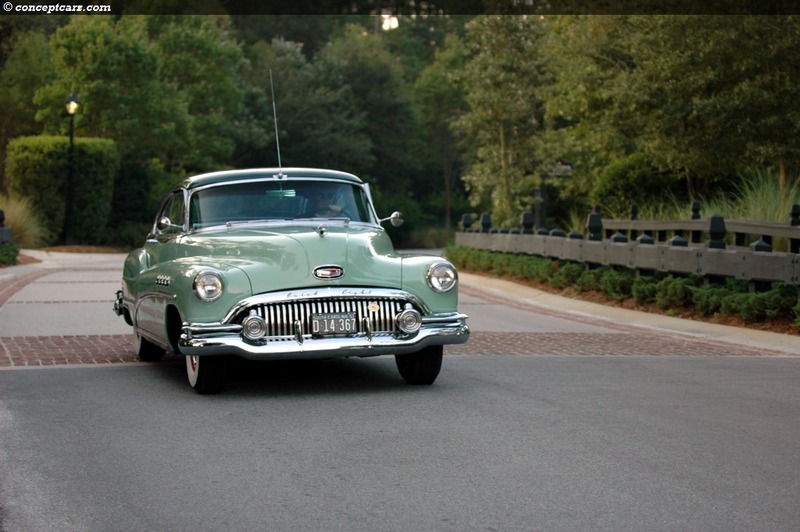 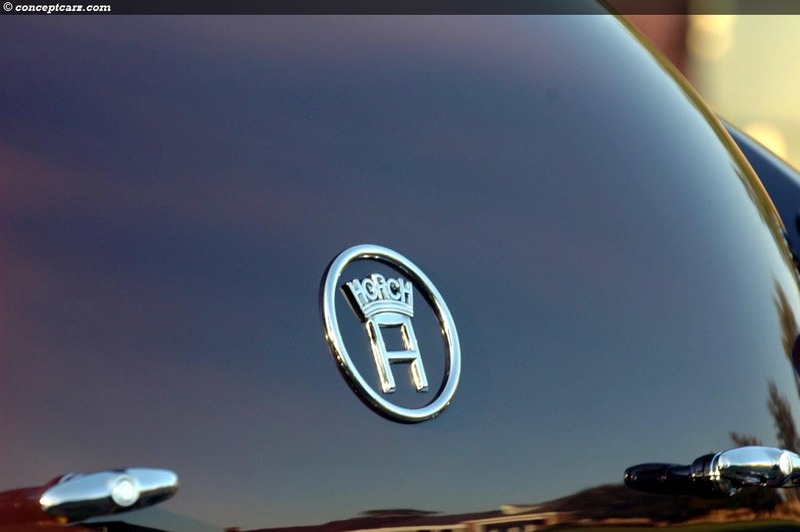 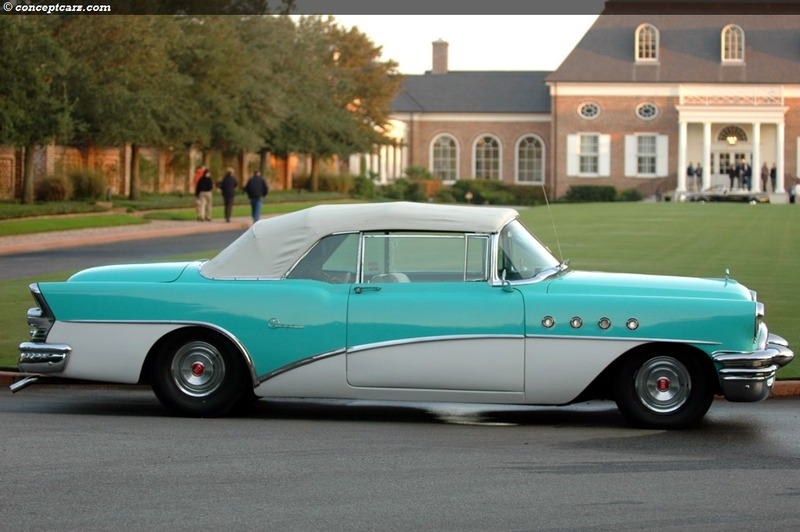 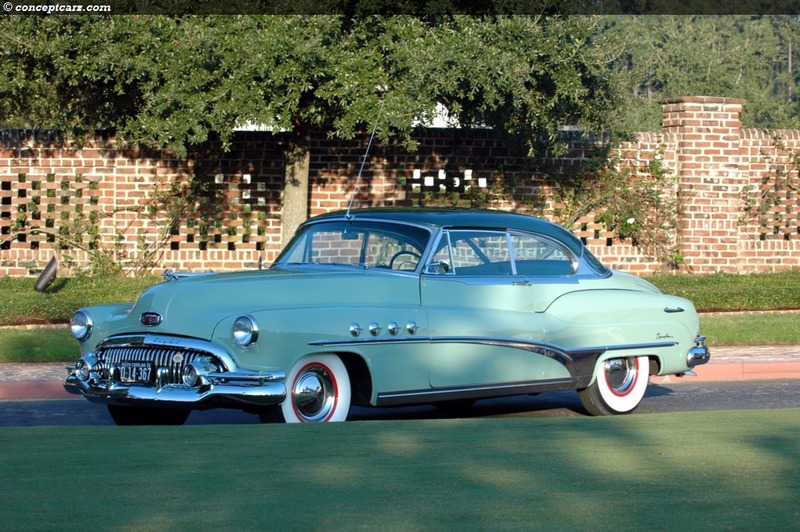 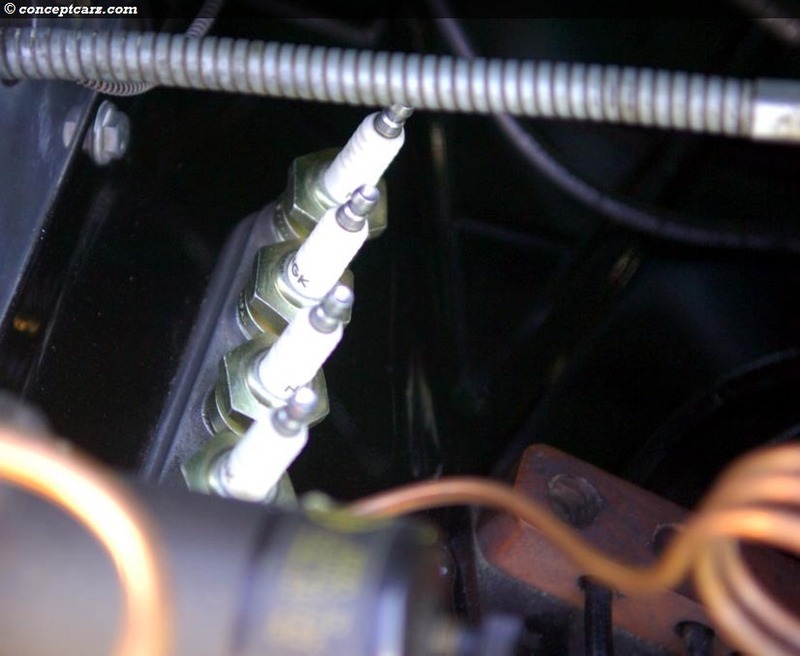 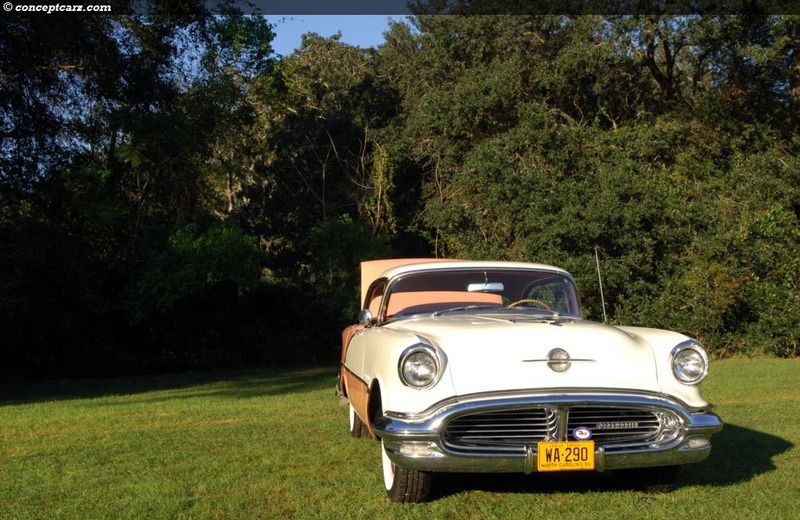 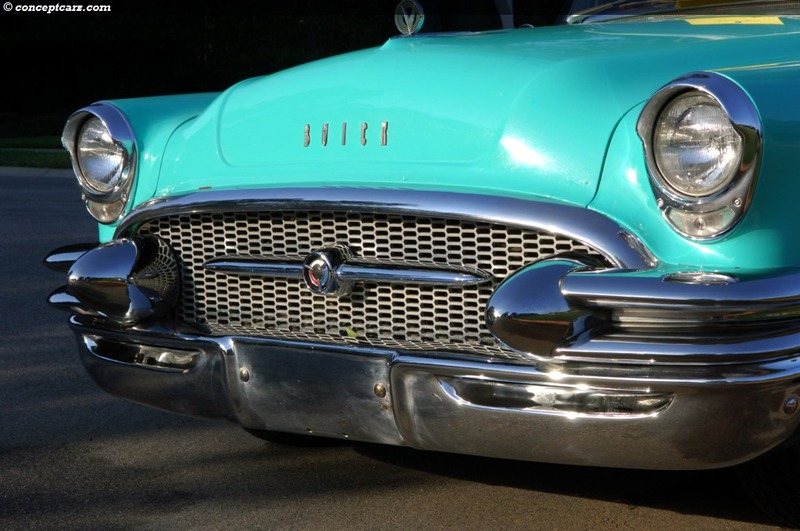 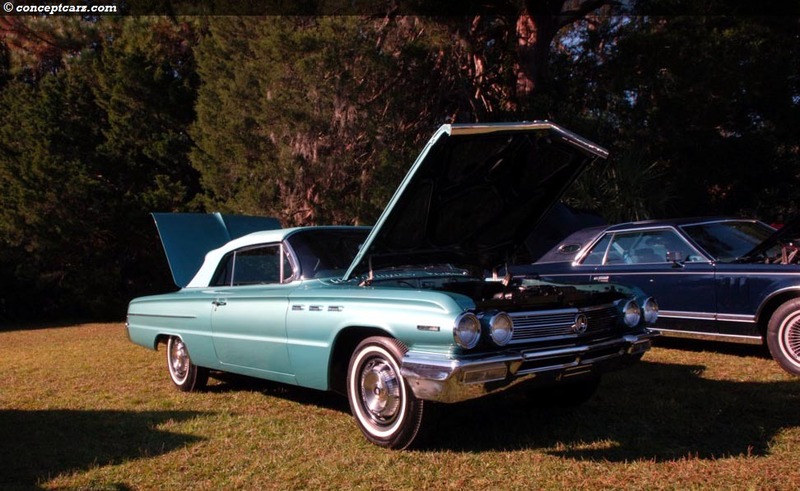 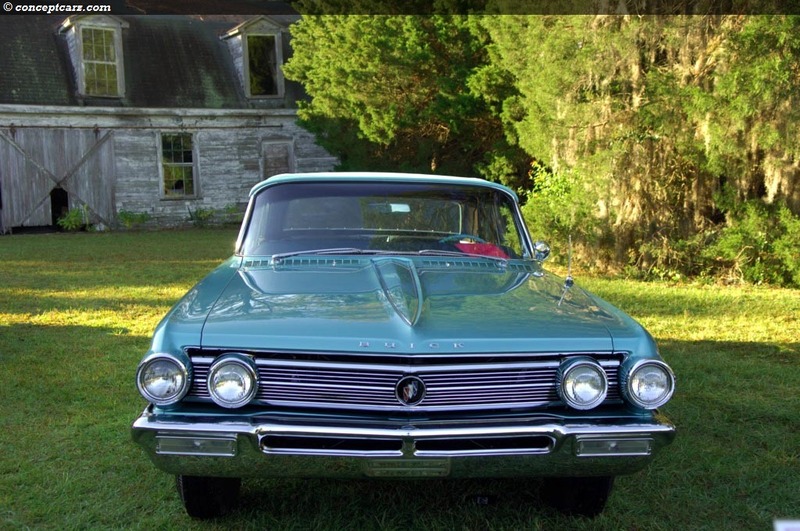 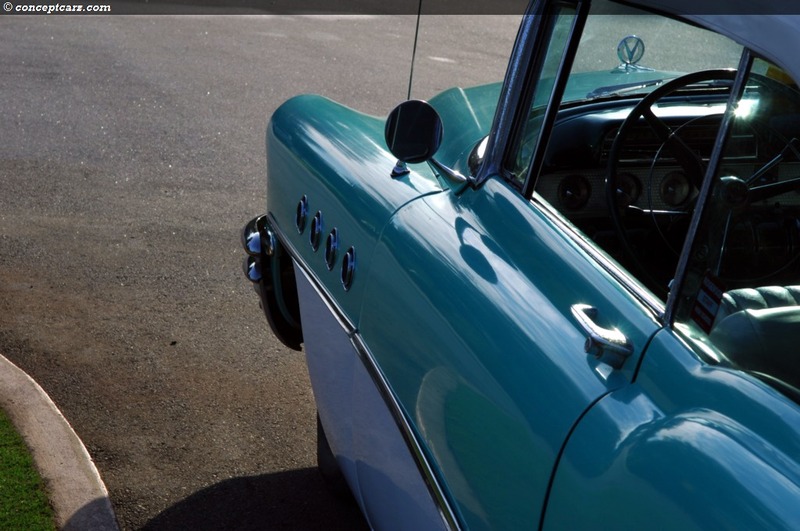 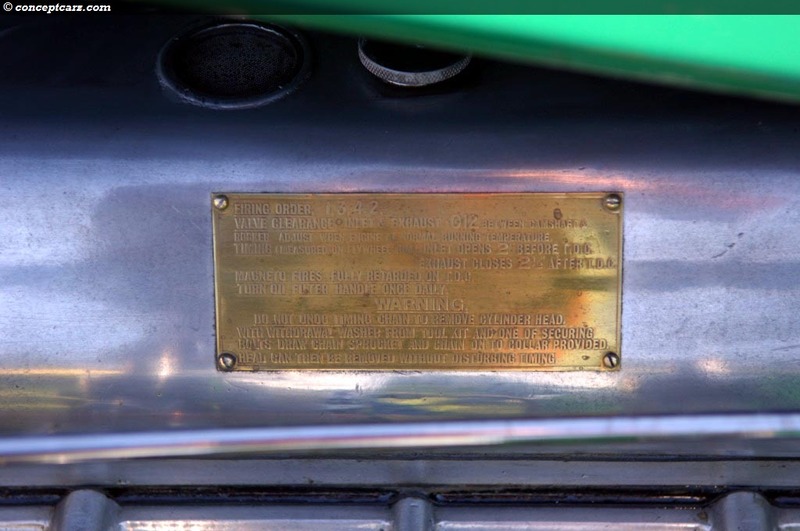 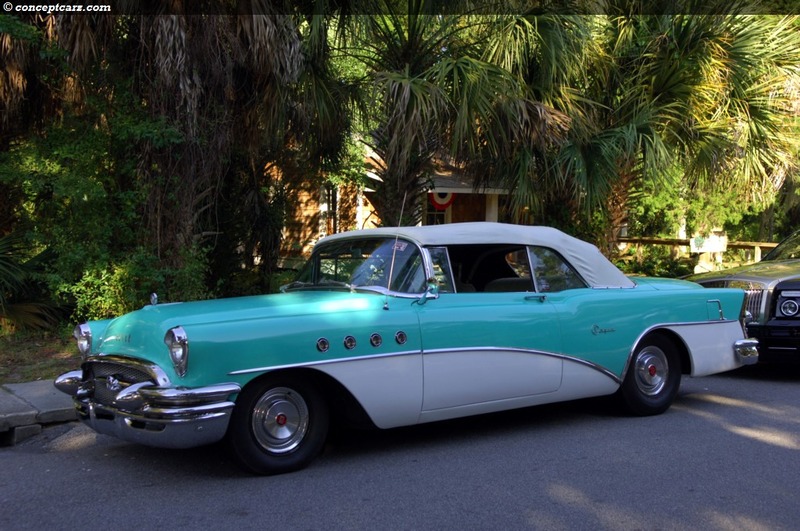 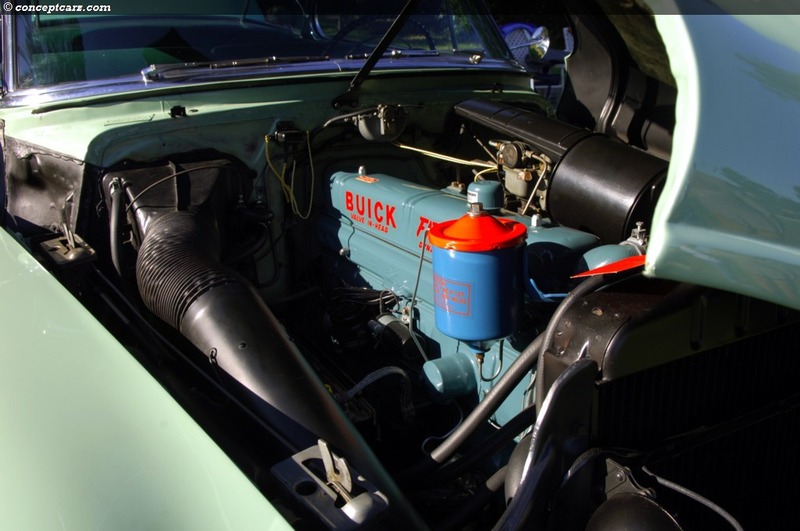 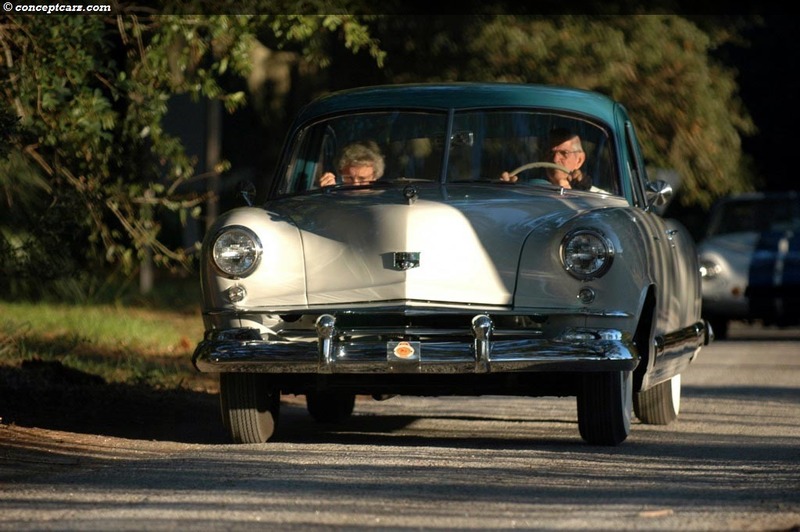 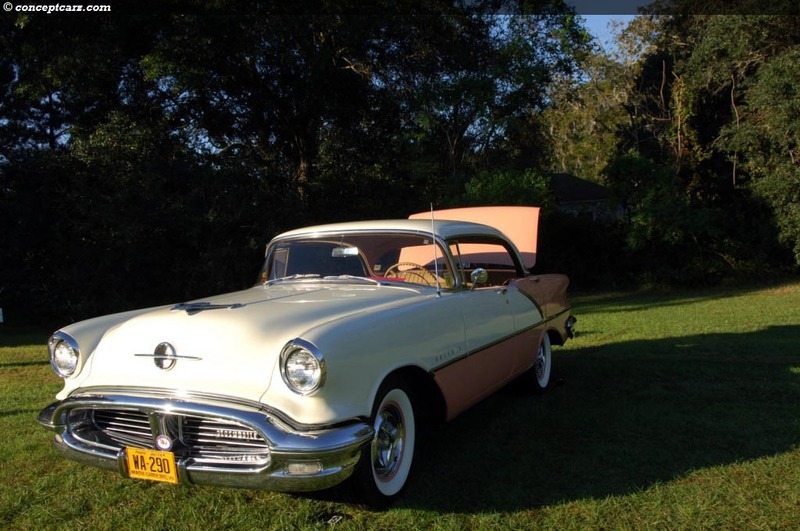 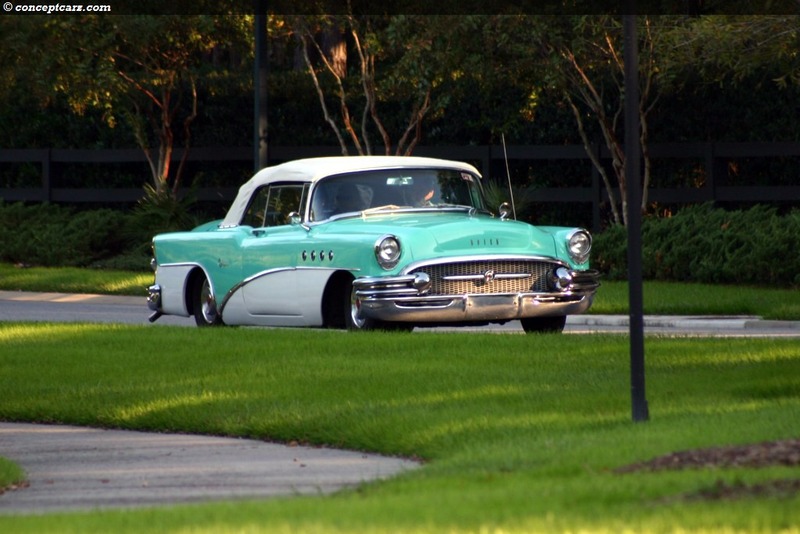 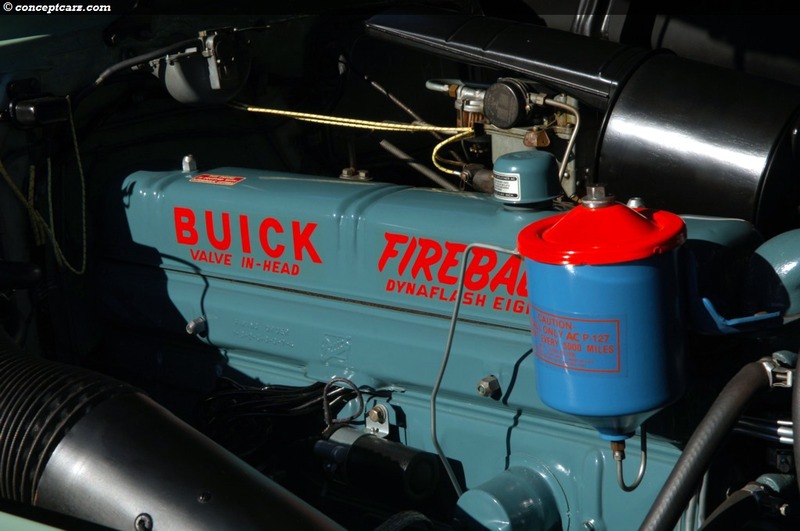 The Buick has stayed in the same family its entire existence. 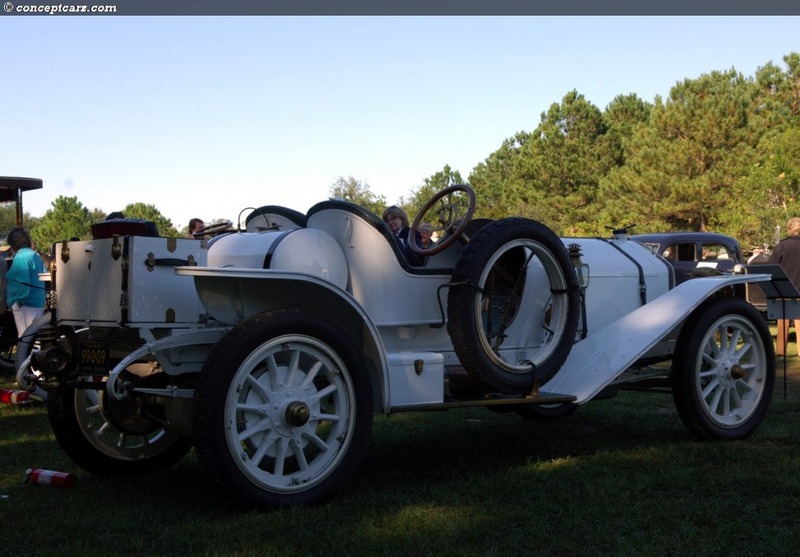 Another exciting vehicles on display was a 'National,' a manufacturer who, in 1910, won 84 first place finishes in races throughout the country, and a first at the second running of the Indy 500 in 1912. 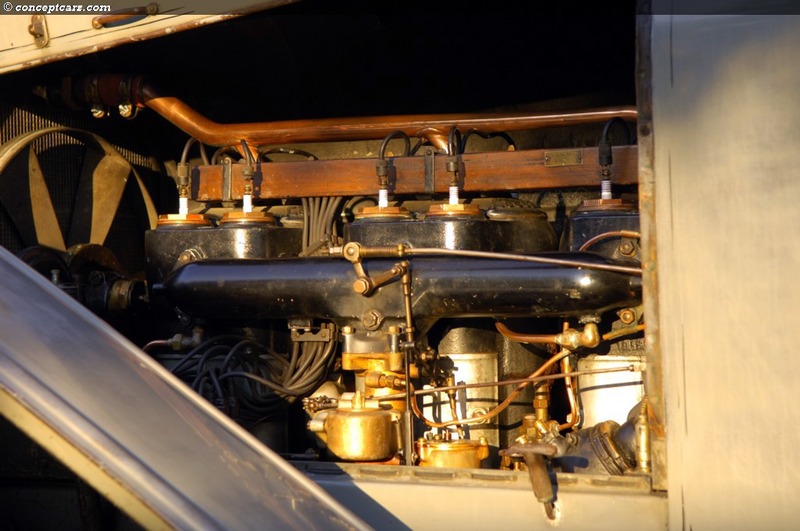 To this day they hold the record for the largest engine, measuring 490 cubic-inches and having four-cylinders, to ever win the Indy 500. 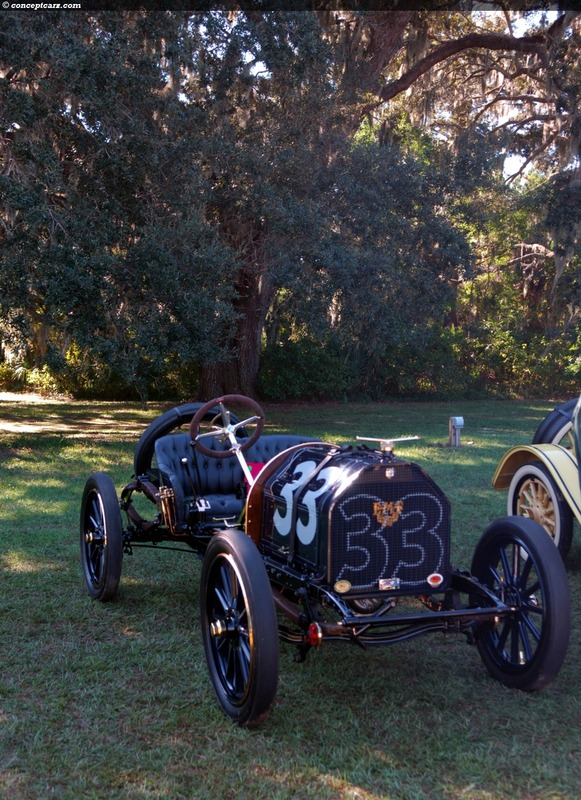 Other early racing cars on display this year were a Mercer Model J-35, a Ford Model T Speedster, and an EMF Runabout Team Car. 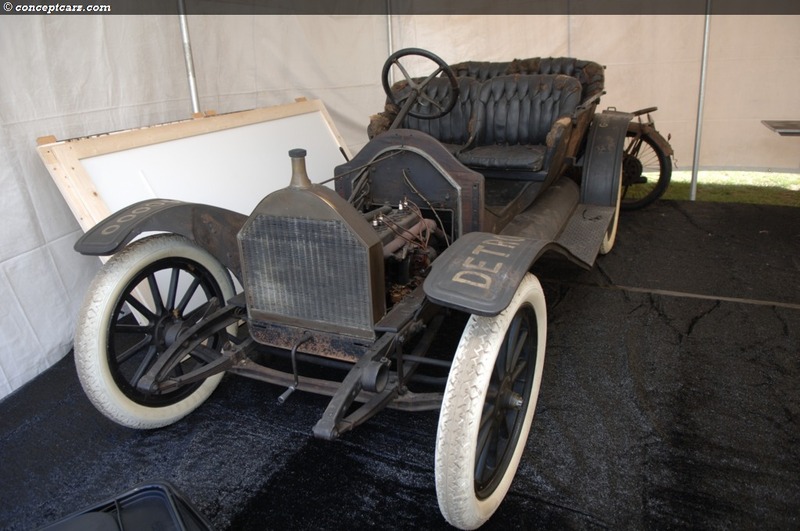 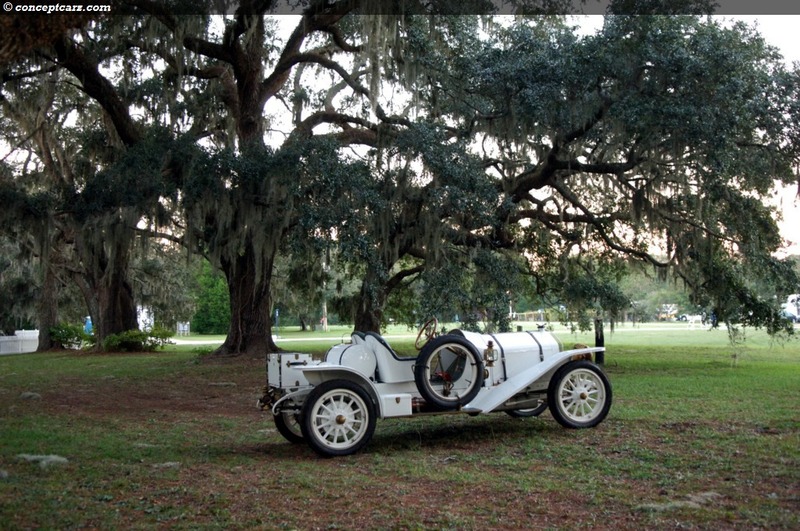 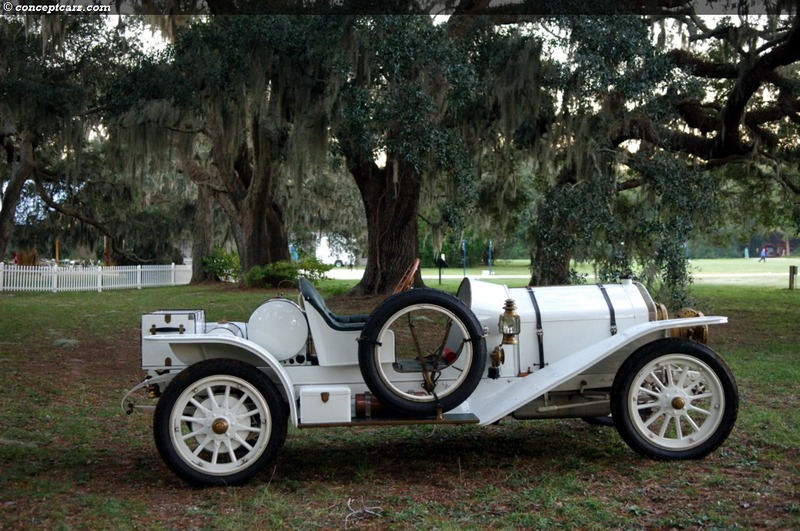 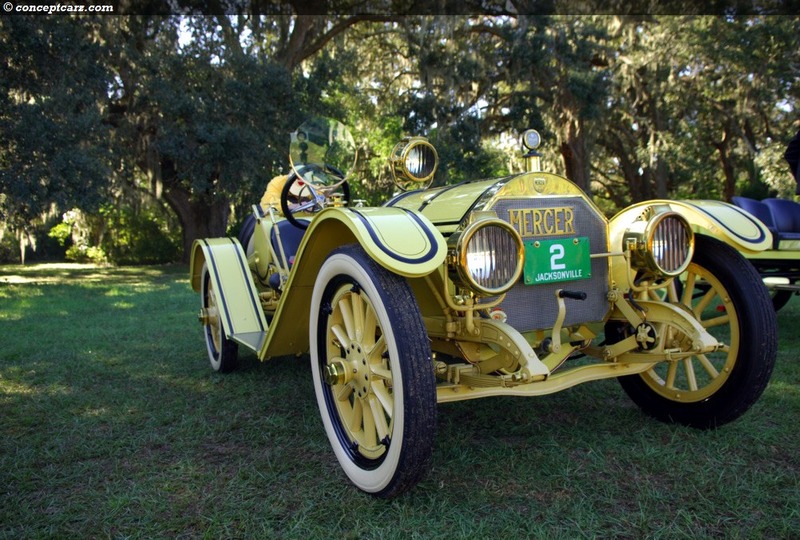 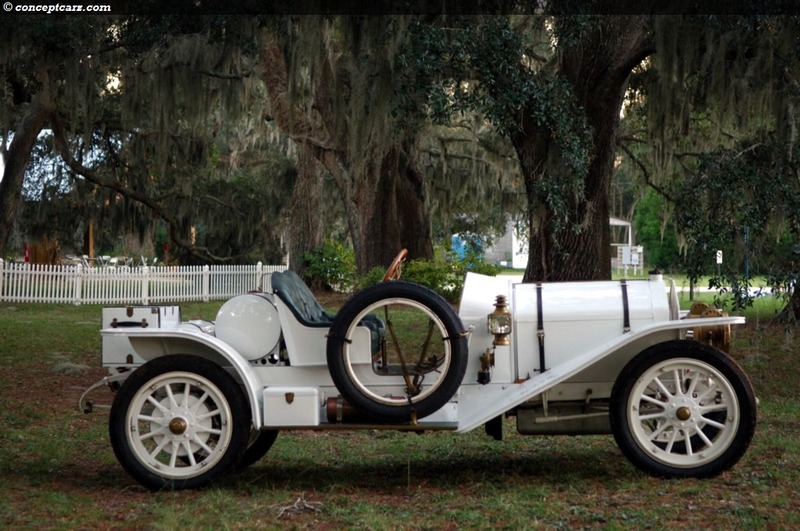 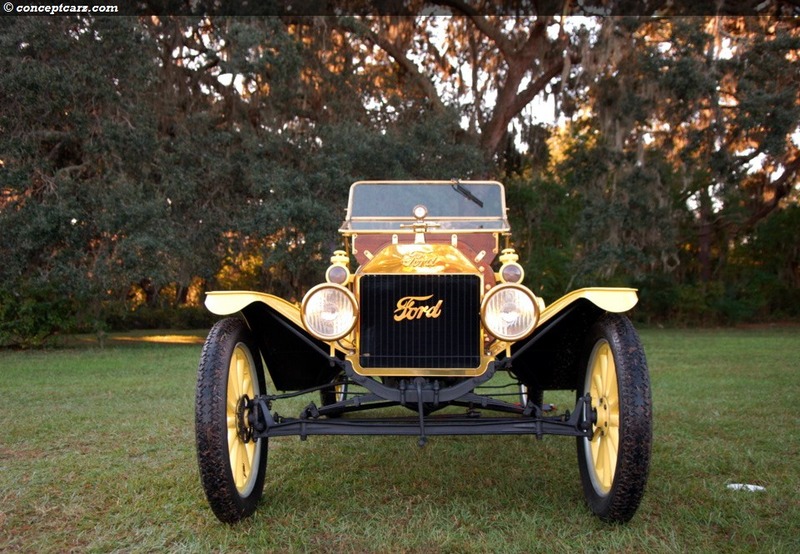 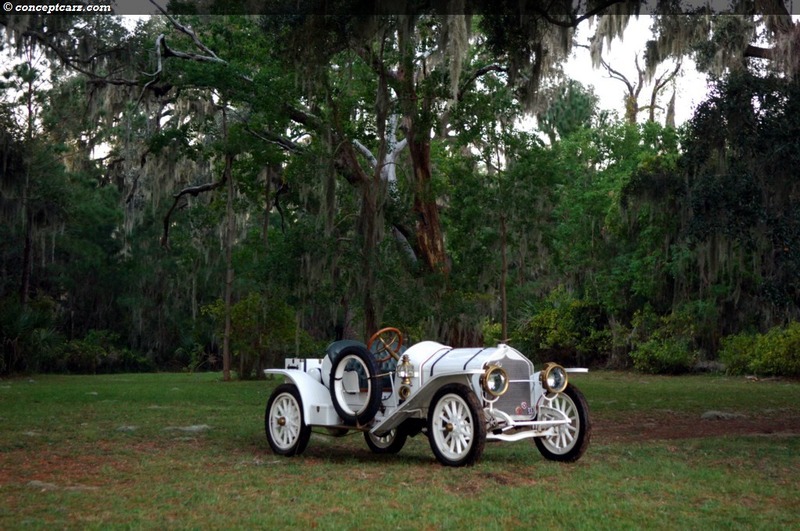 The EMF Racer was one of three team cars that competed in the 1911 Tiedeman Cup Race in Savannah. 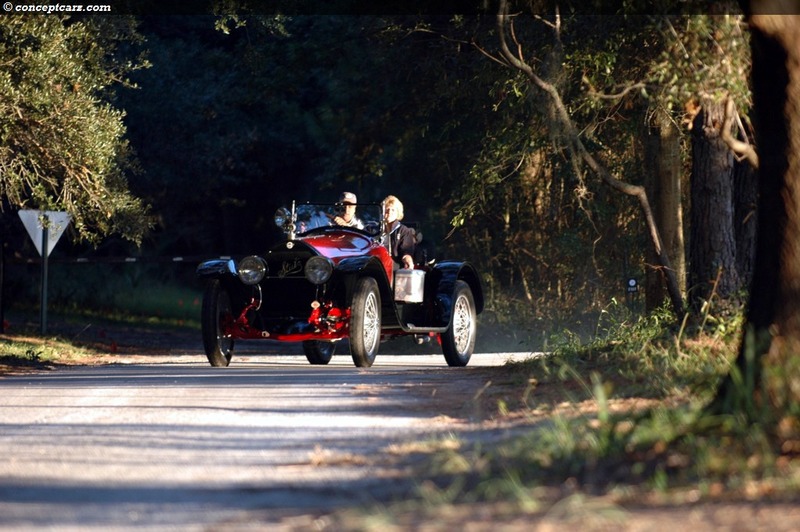 It finished in third place averaging 57 miles per hour for the 170+ miles. 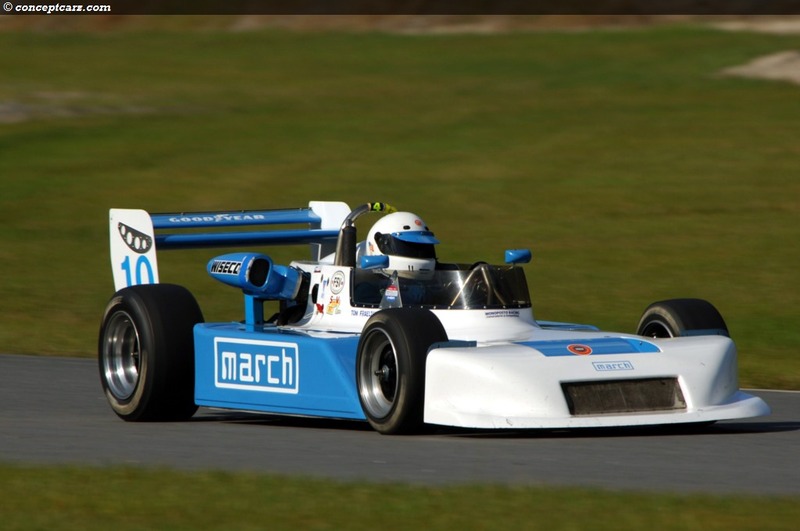 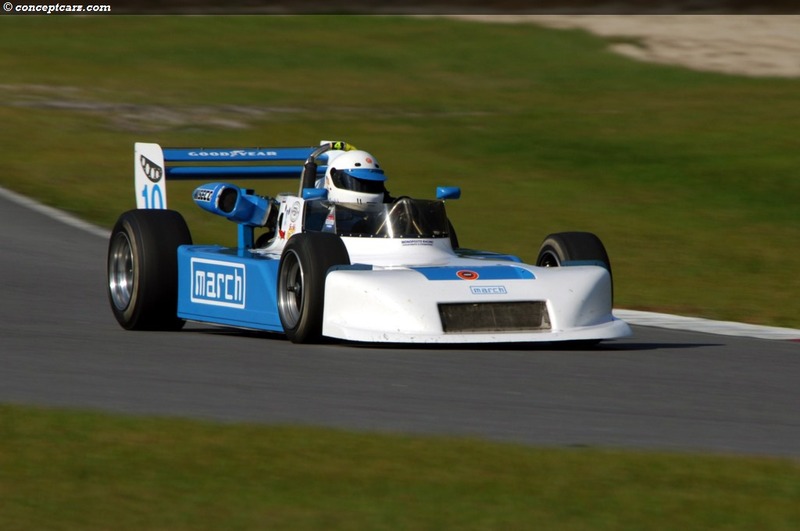 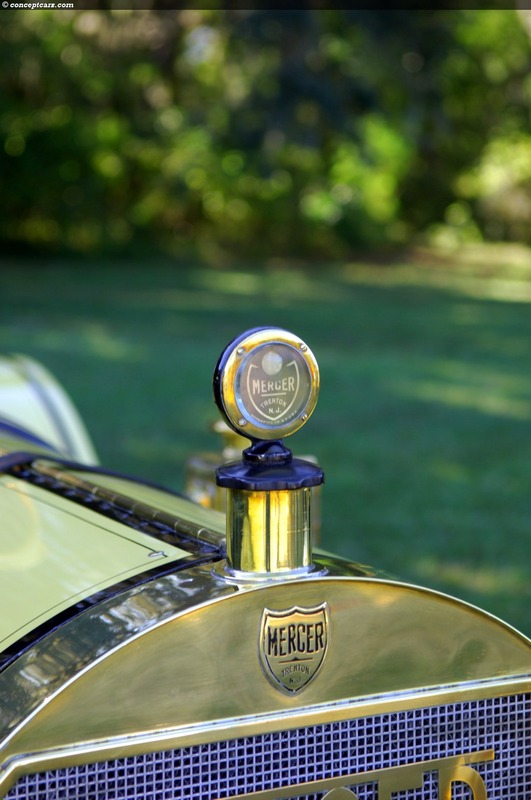 The Mercer cars were known for their racing capabilities. 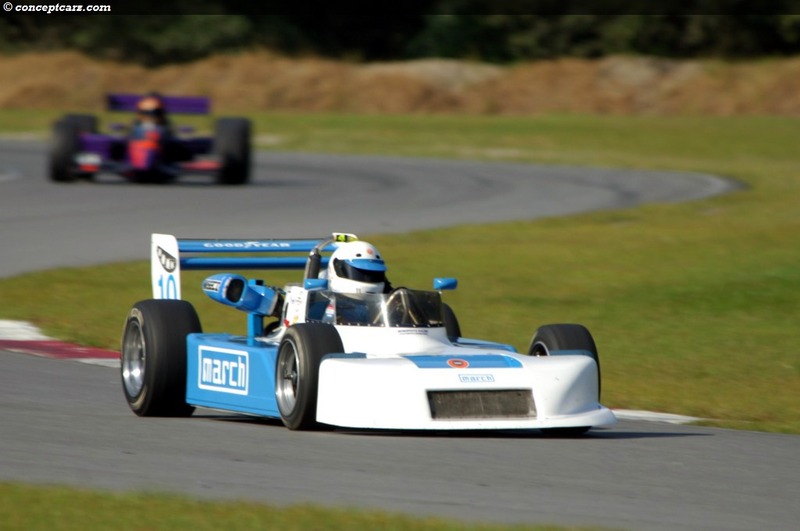 Many were taken from the showroom floor straight to the track where they often rewarded their new owners with outright victories. 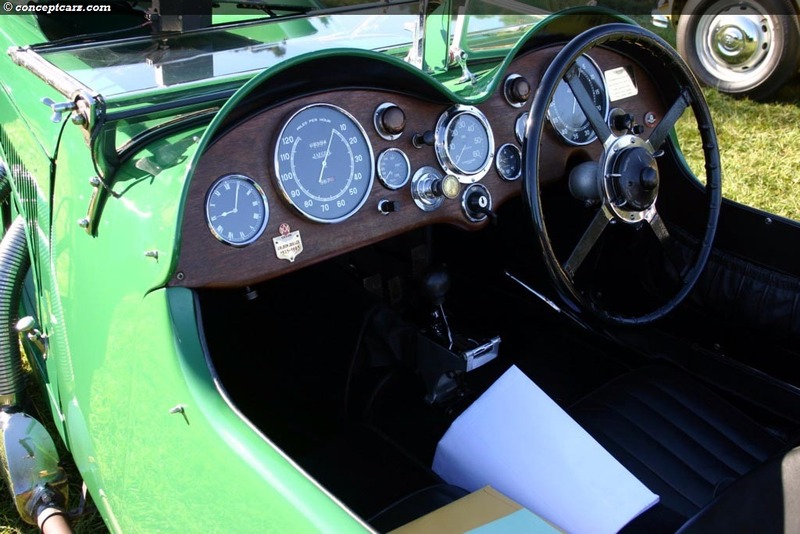 The changes of design and technology ushered in with passing decades were evident on the field, with suitable categories from each class. 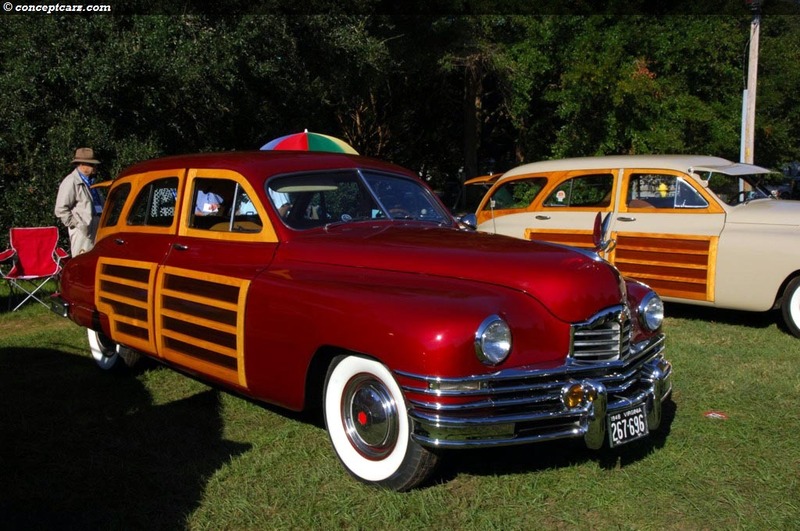 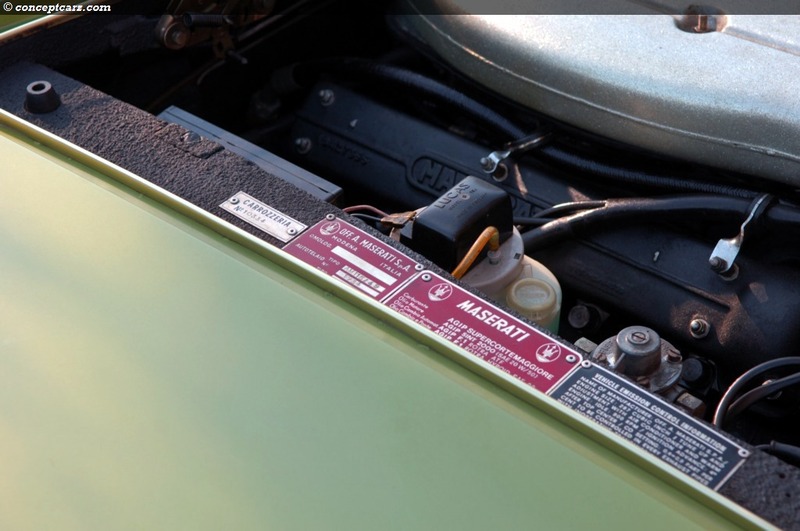 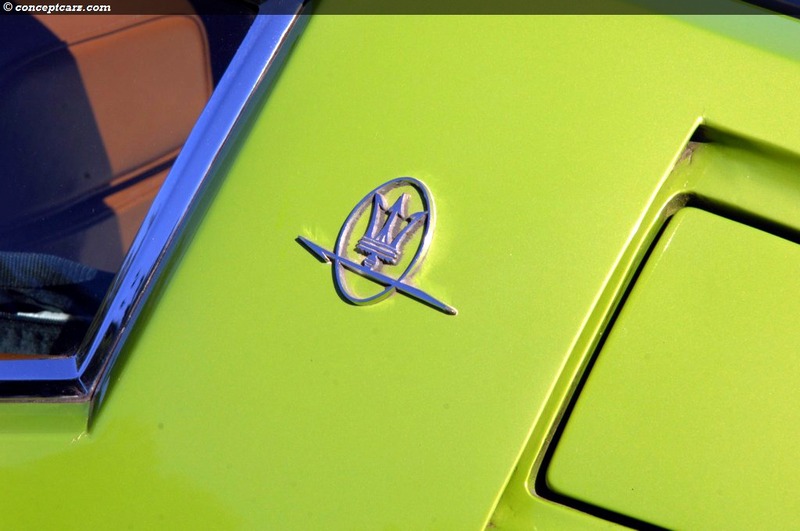 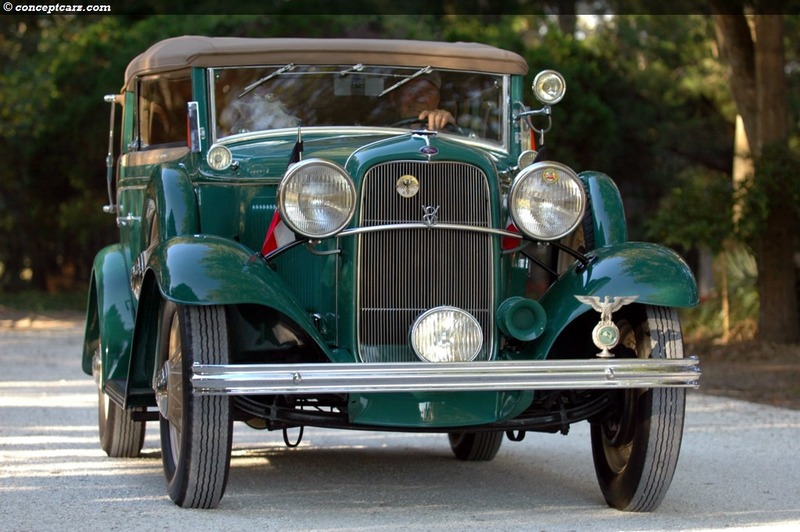 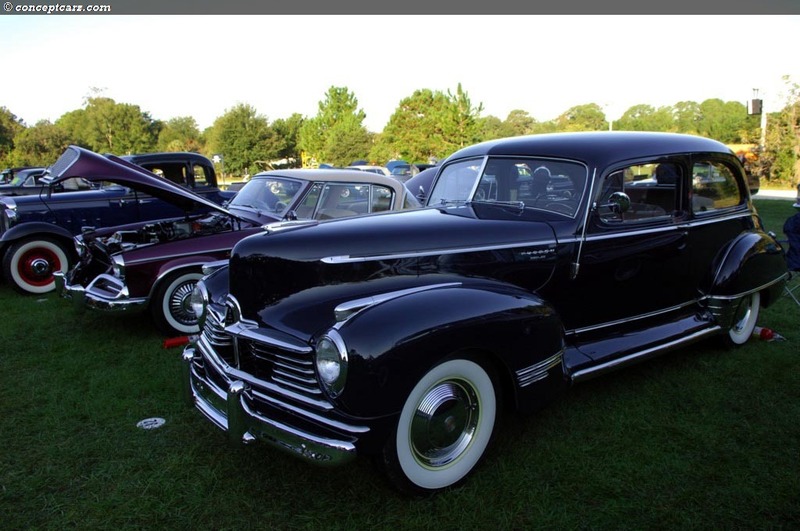 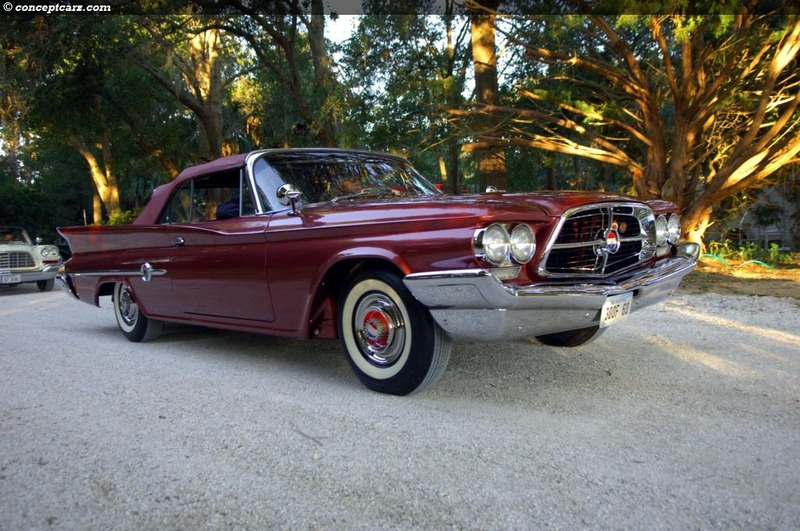 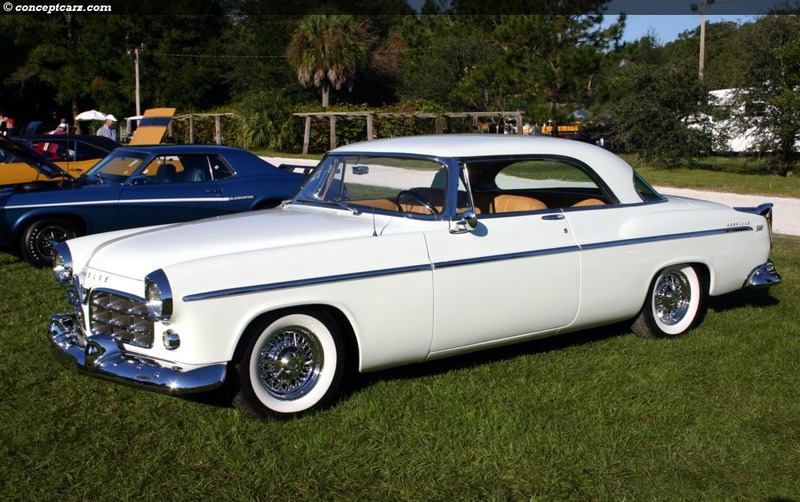 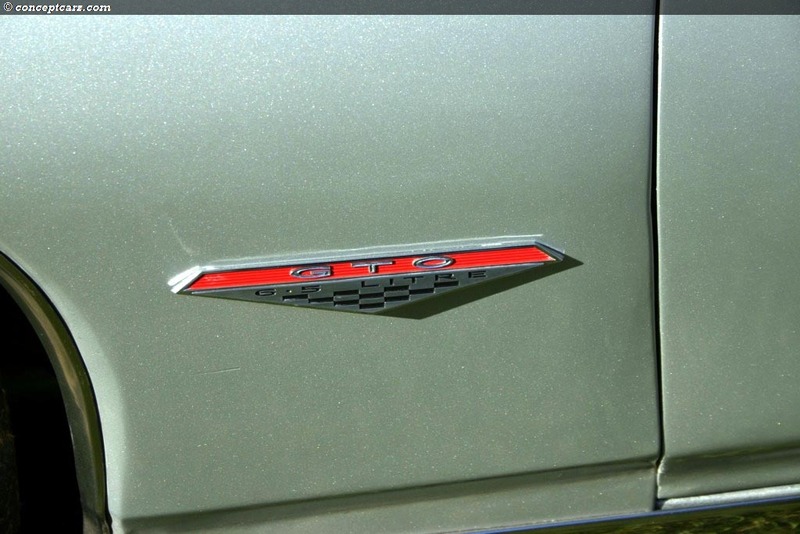 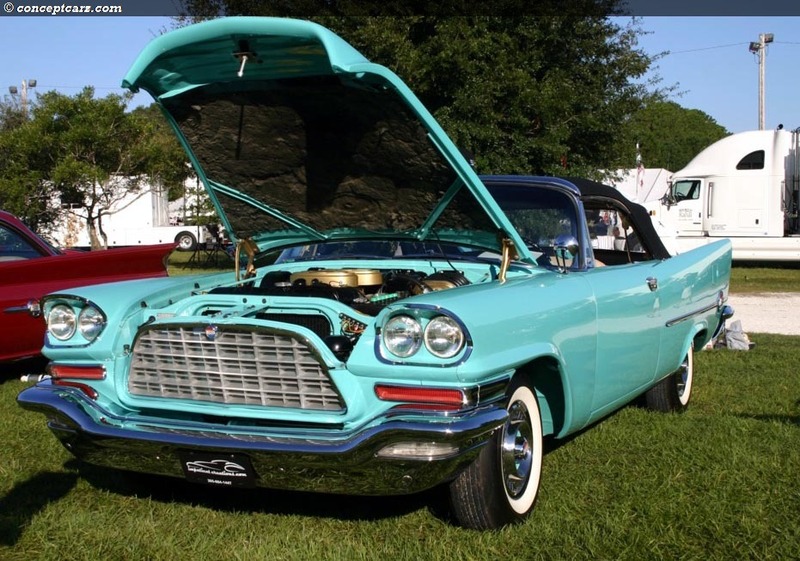 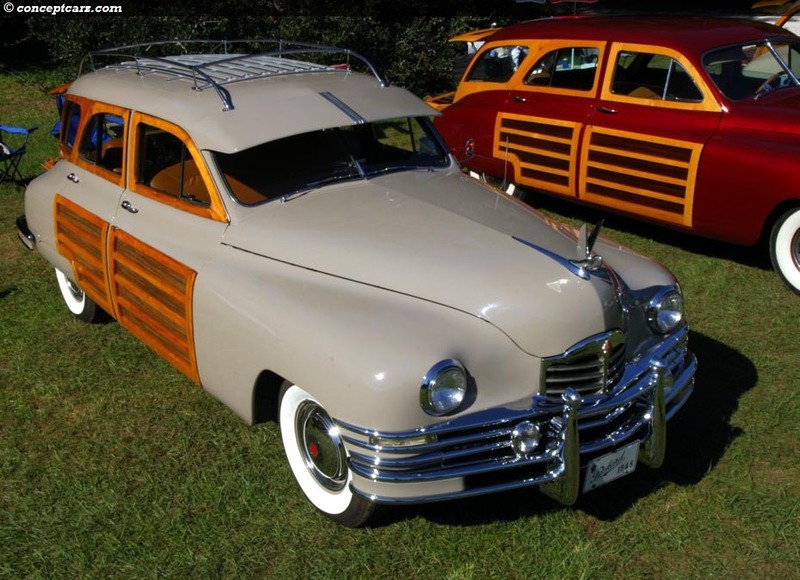 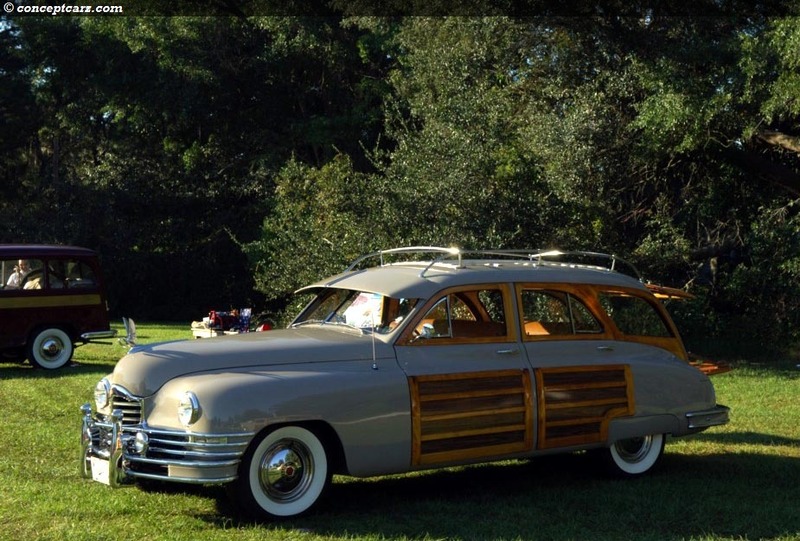 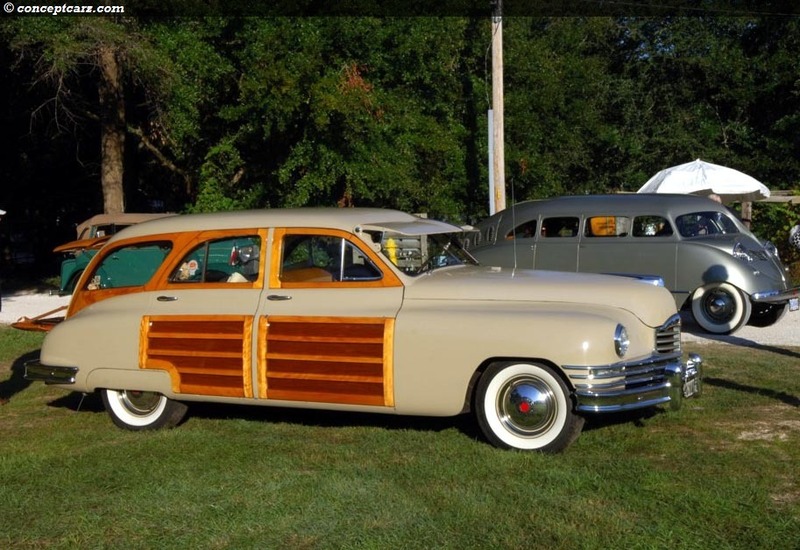 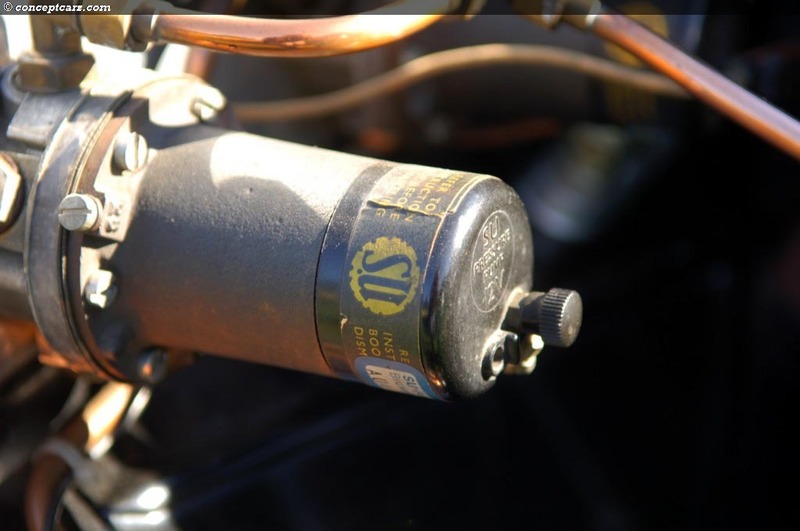 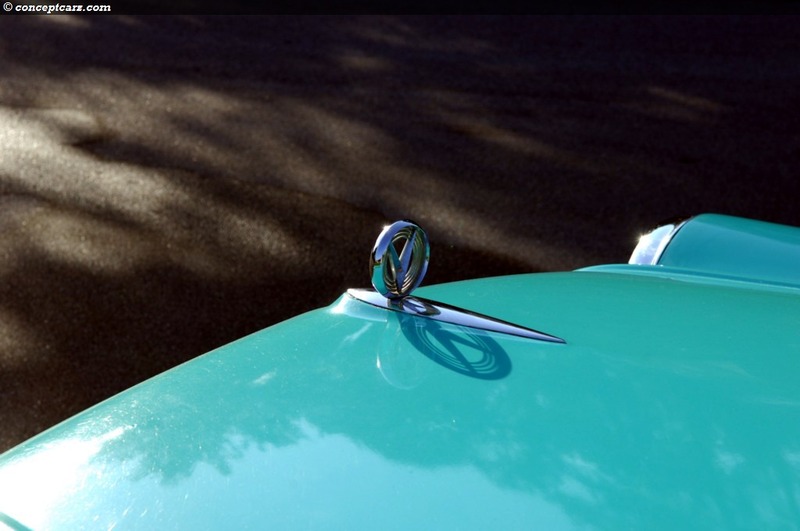 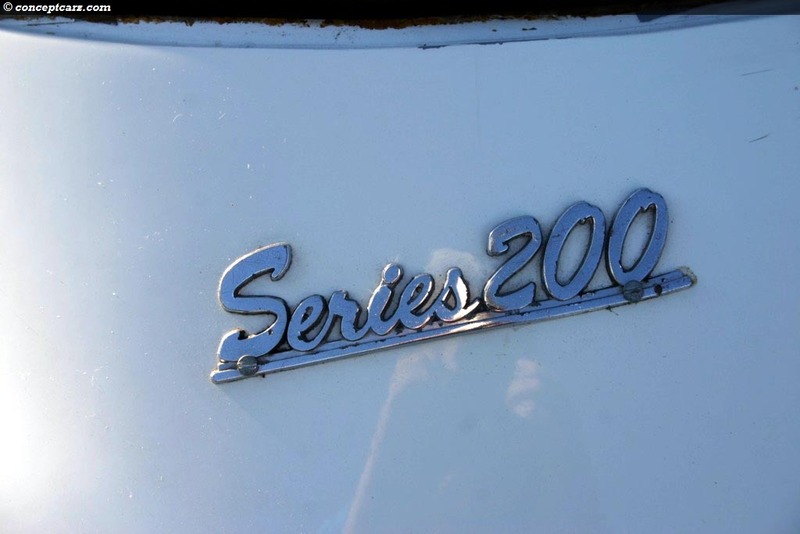 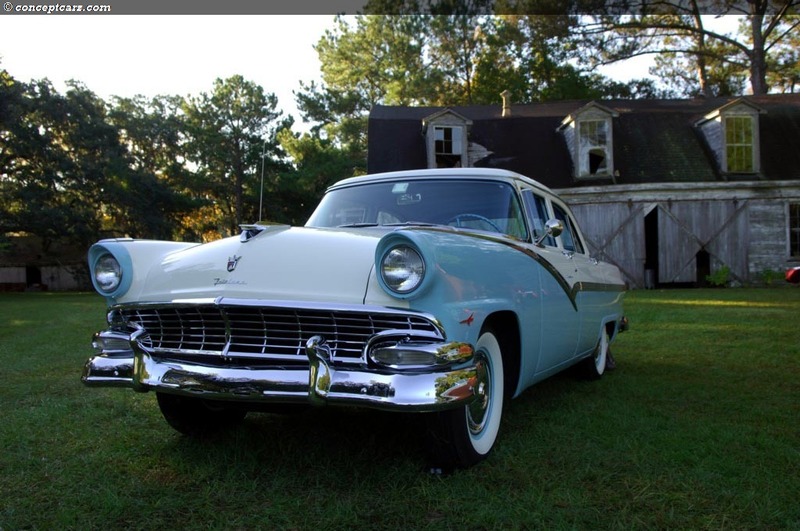 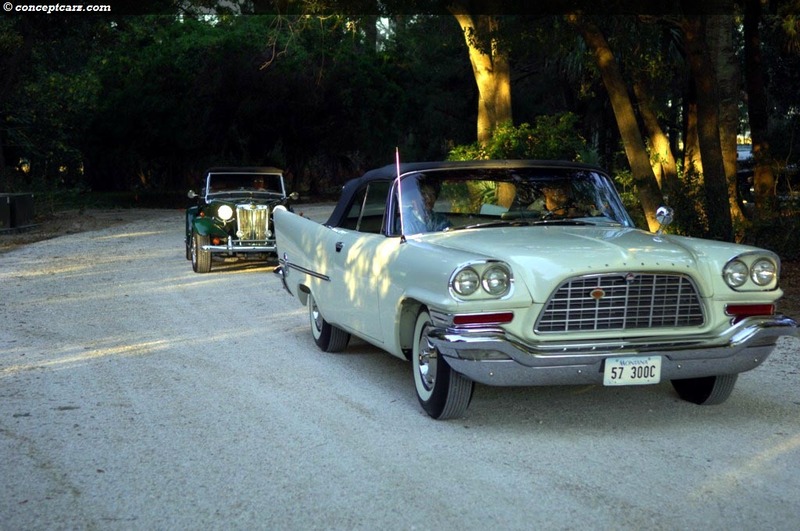 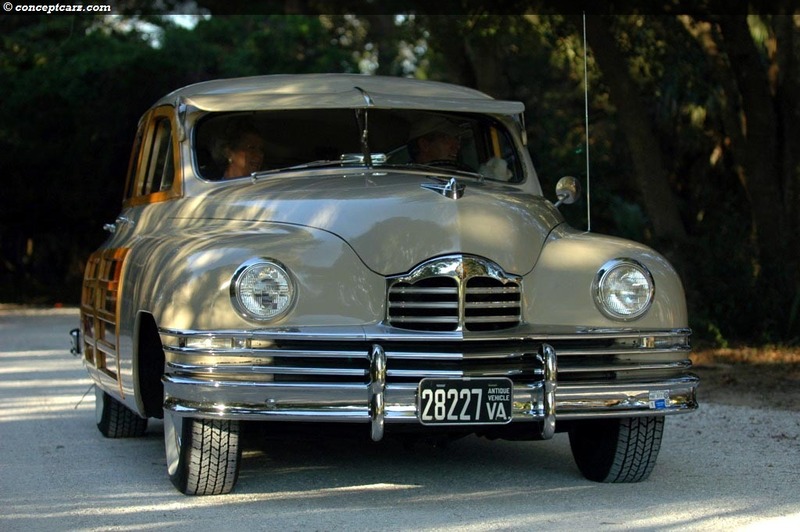 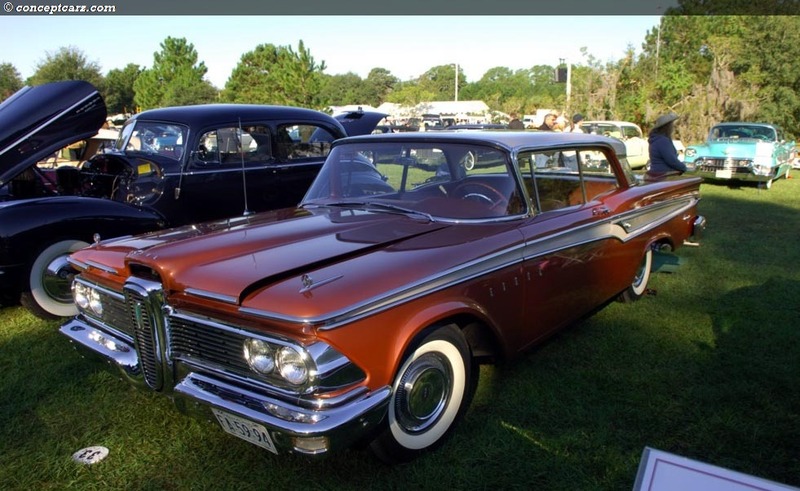 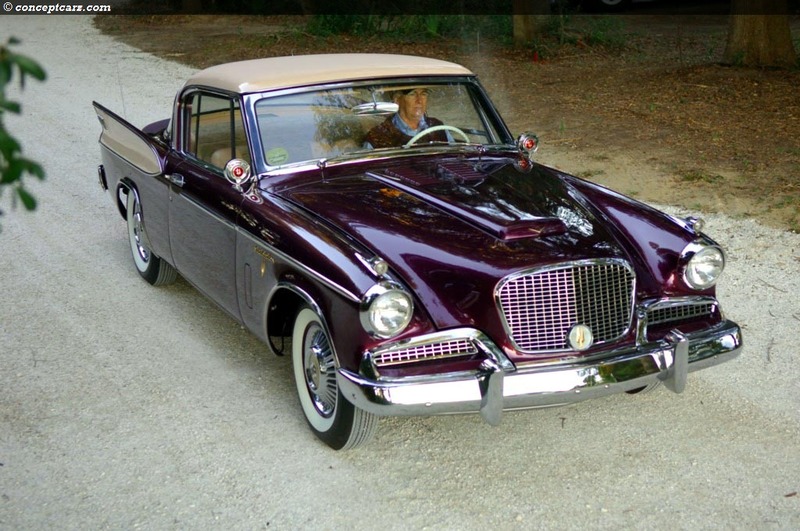 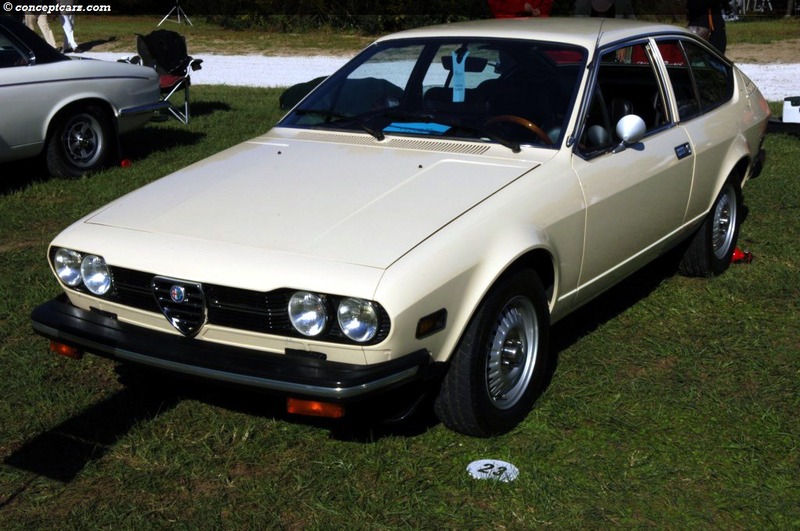 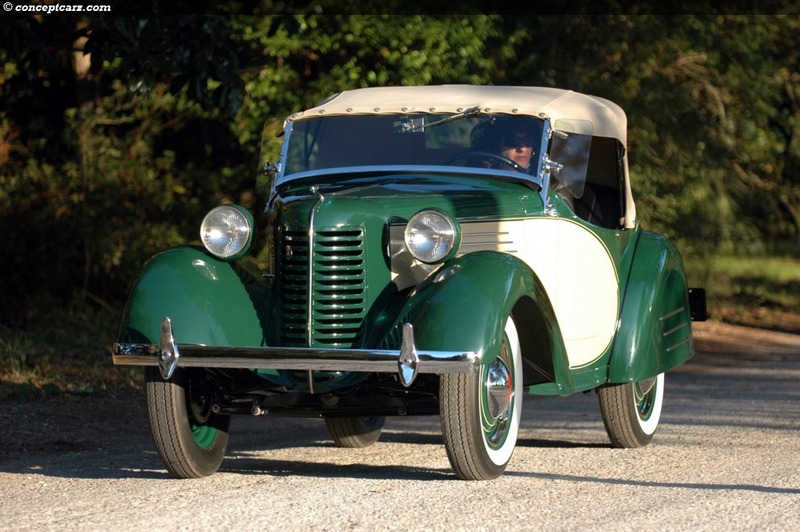 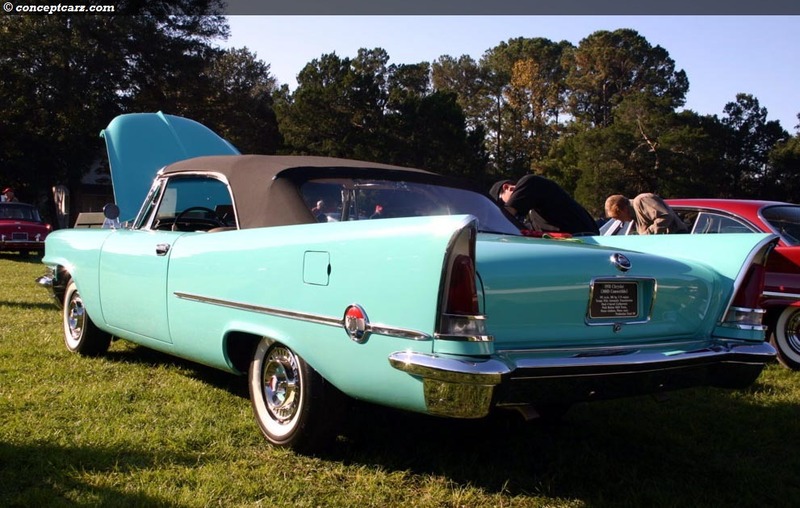 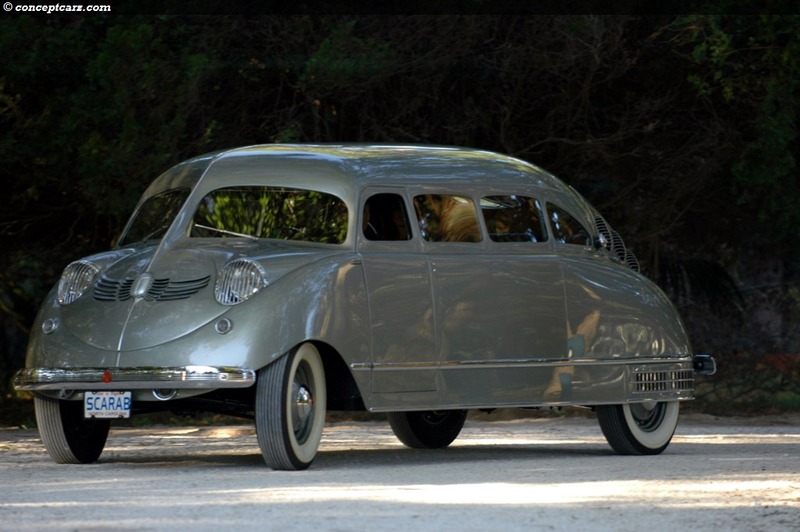 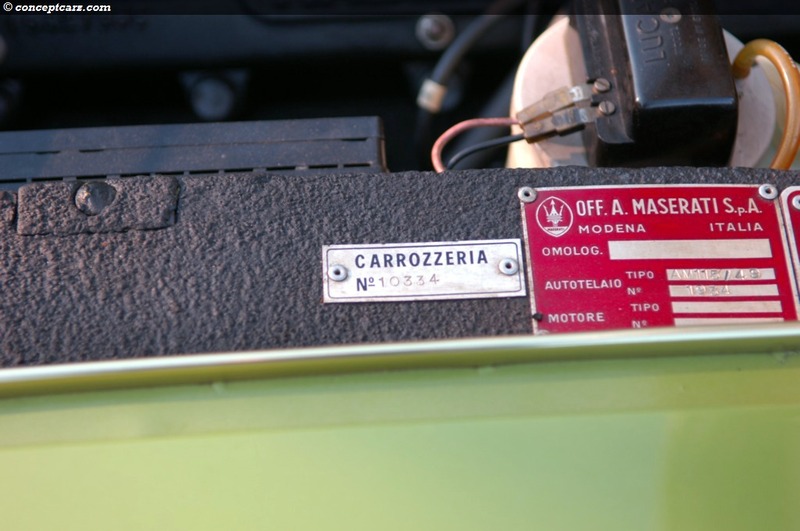 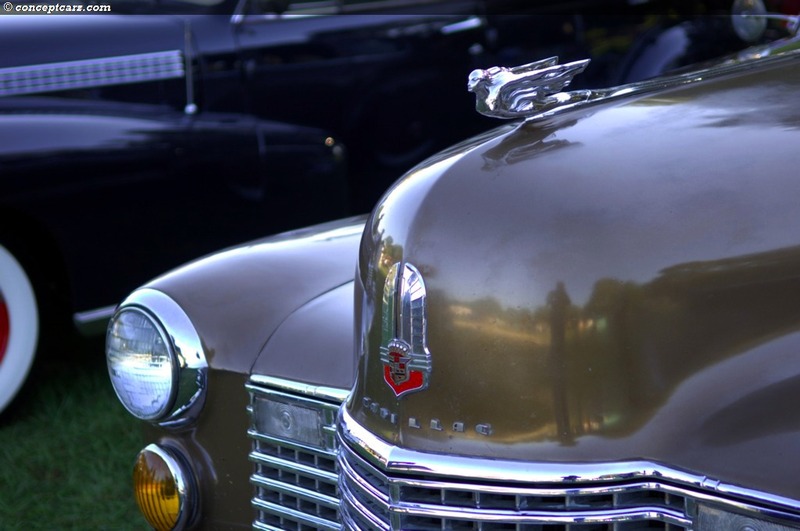 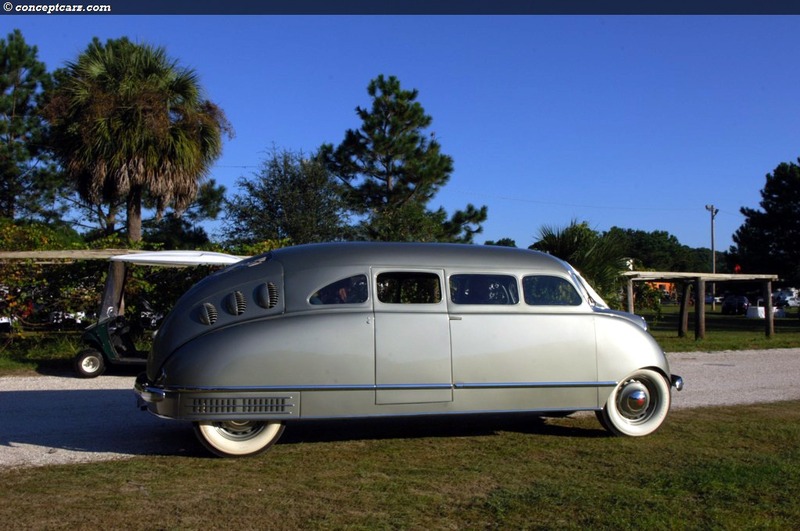 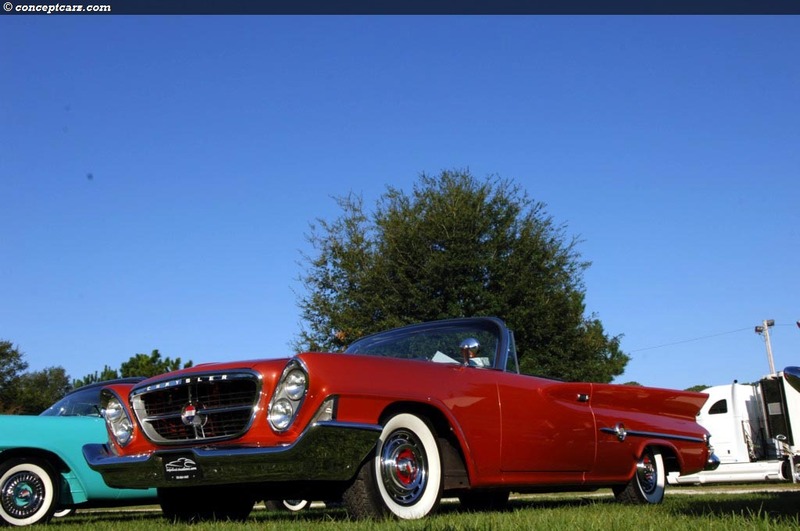 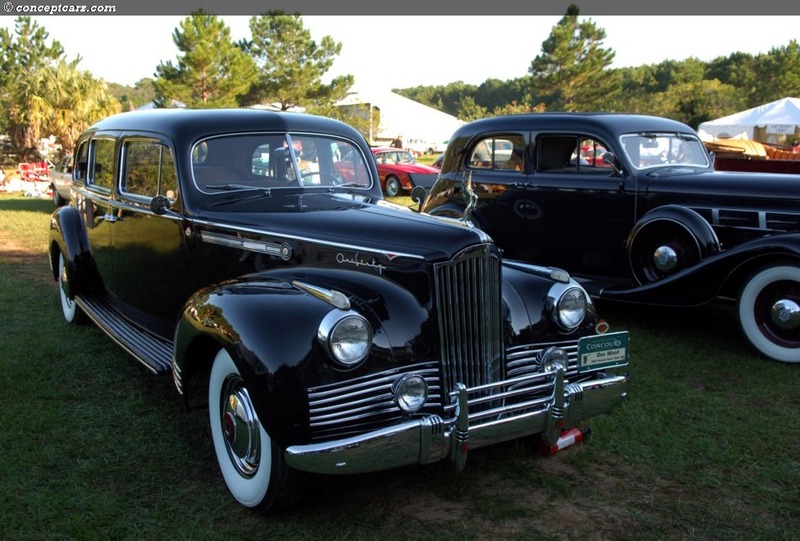 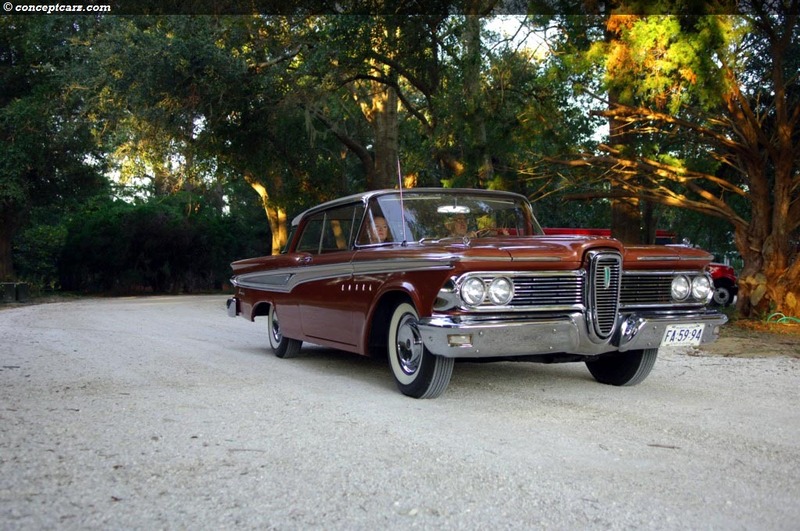 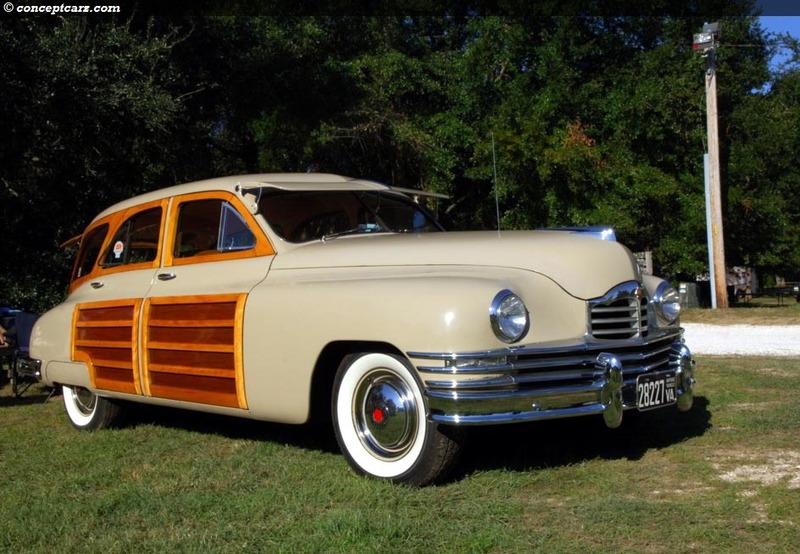 Chrysler and their 'Letter Cars' had their own category; apart from Cadillac and LaSalle, the featured marques, they were the only other manufacturer to have their own class. 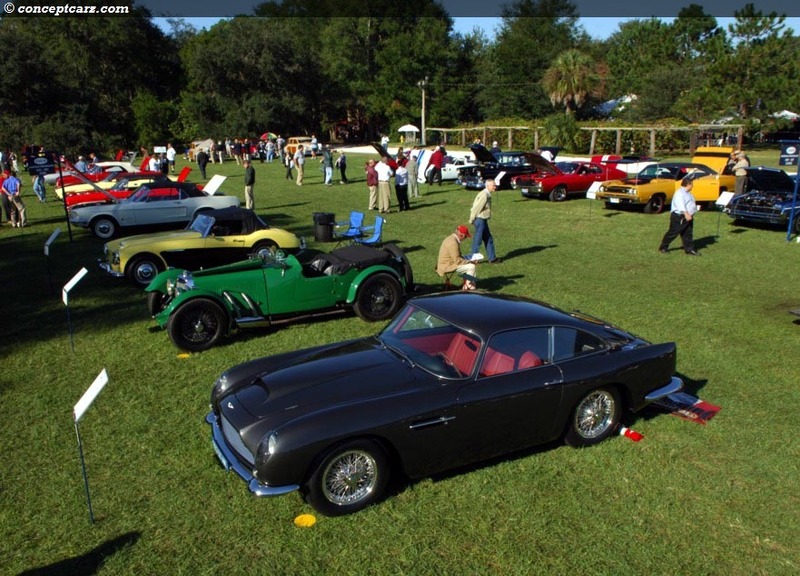 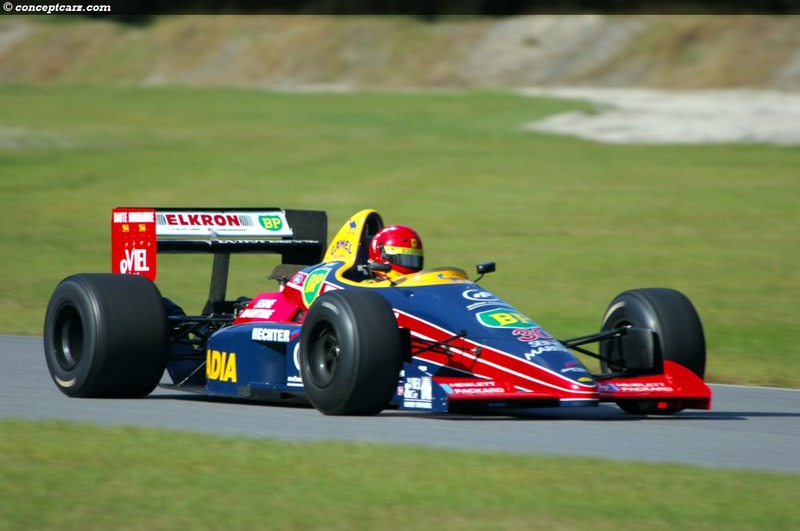 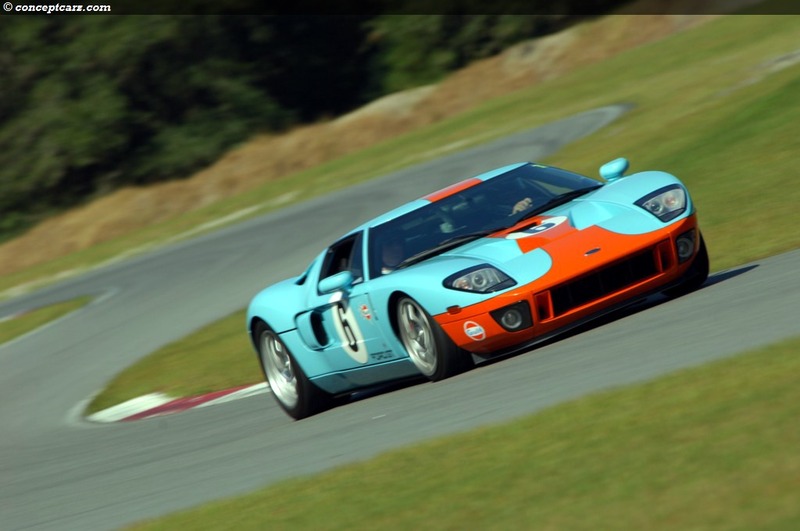 The remaining cars were grouped in categories such as European Sports Cars, English Sports Cars, and American Sports Cars. 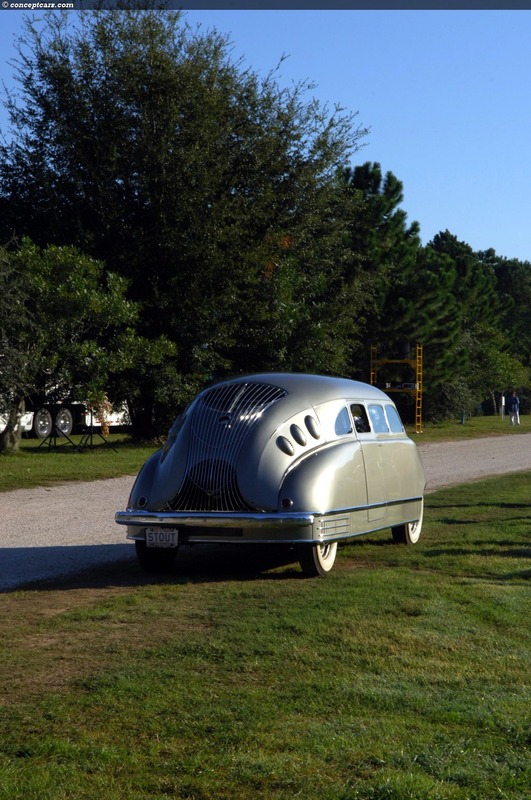 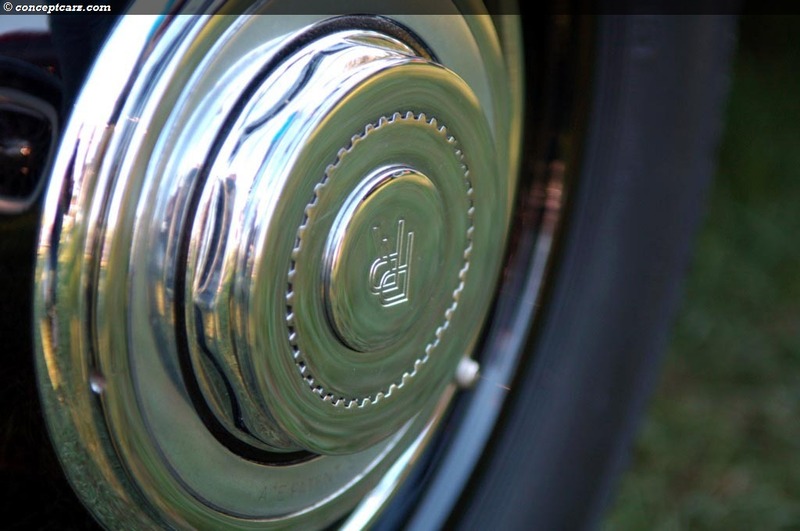 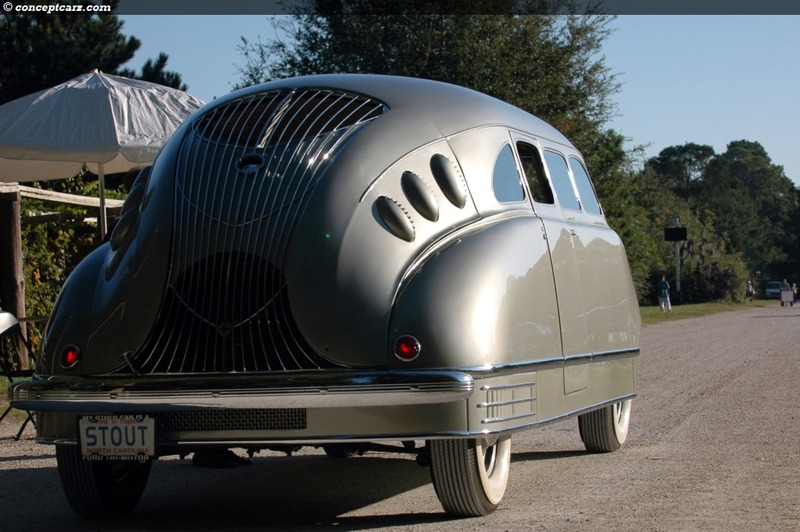 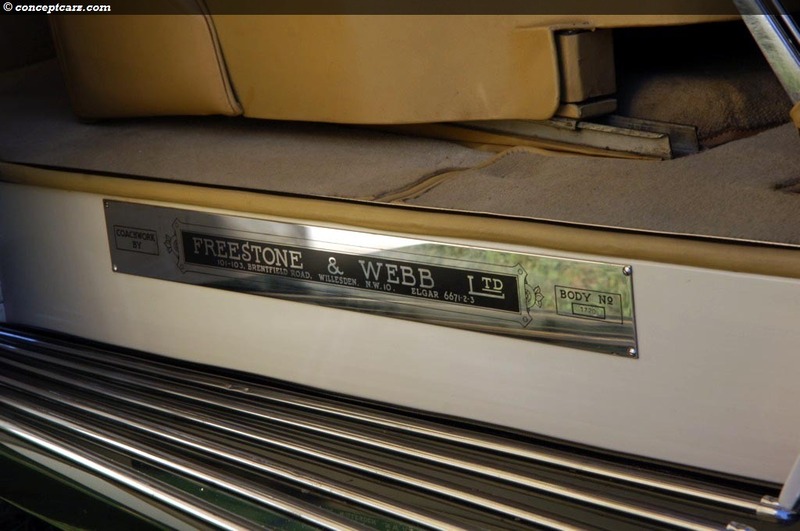 American Modern and European Modern had their own groups with many of the elegant and road-worthy designs that graced the roadways from the late 1940s through the late 1970s. 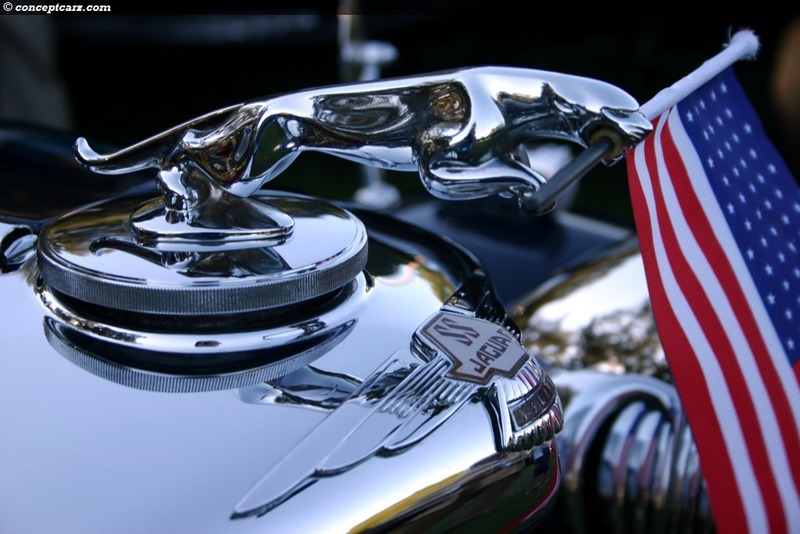 After World War II, the number of successful manufacturers in the United States continued to dwindle. 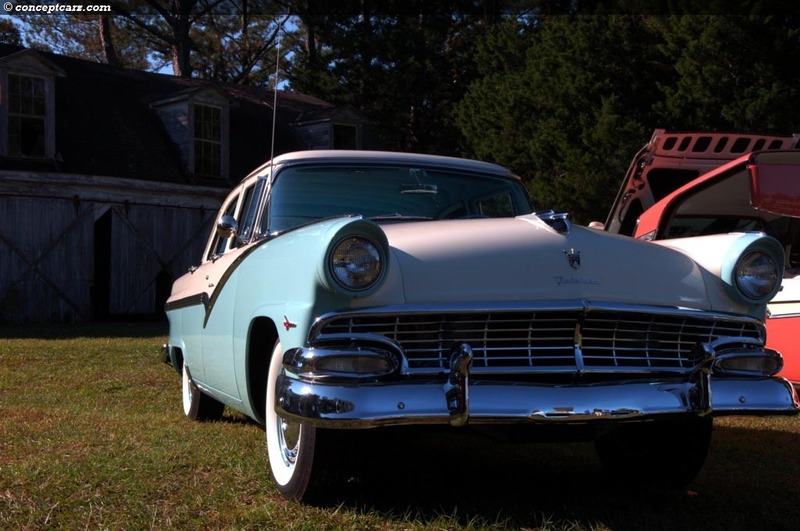 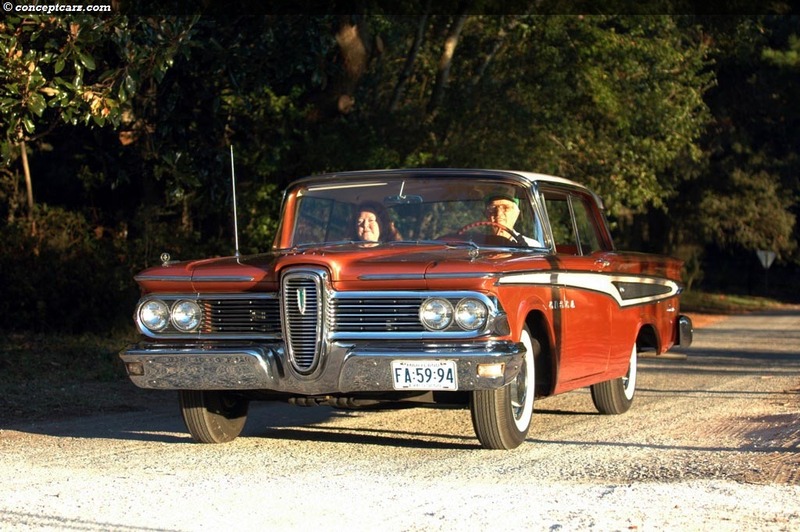 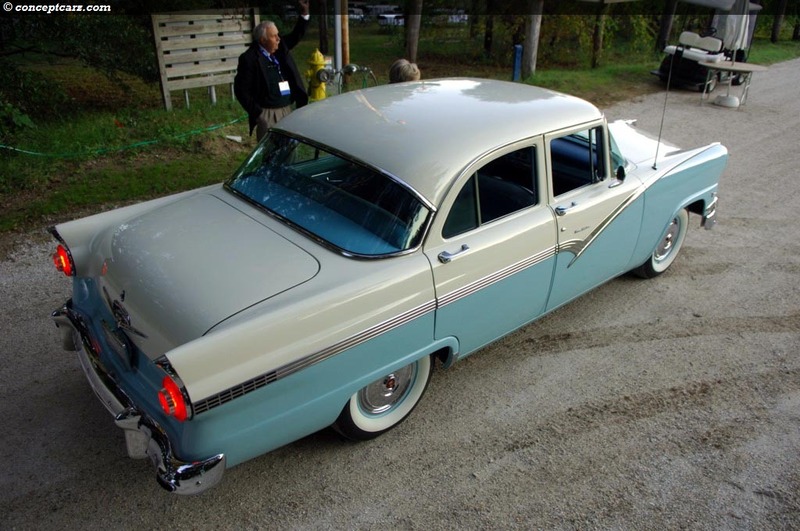 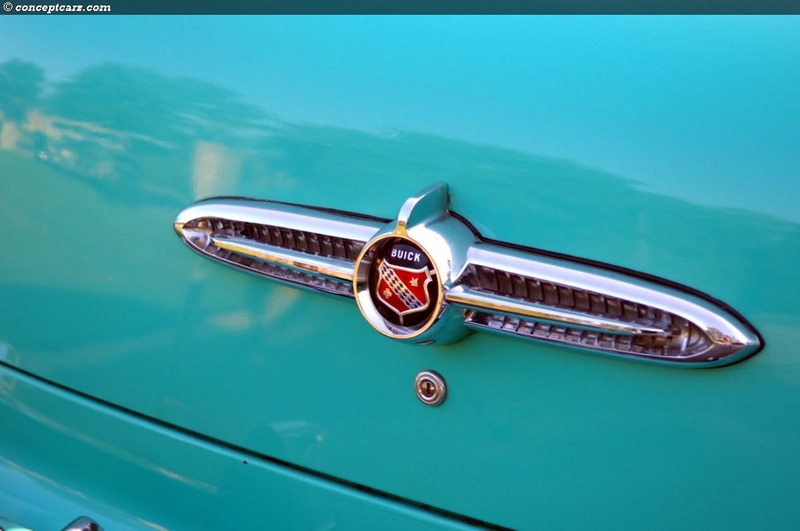 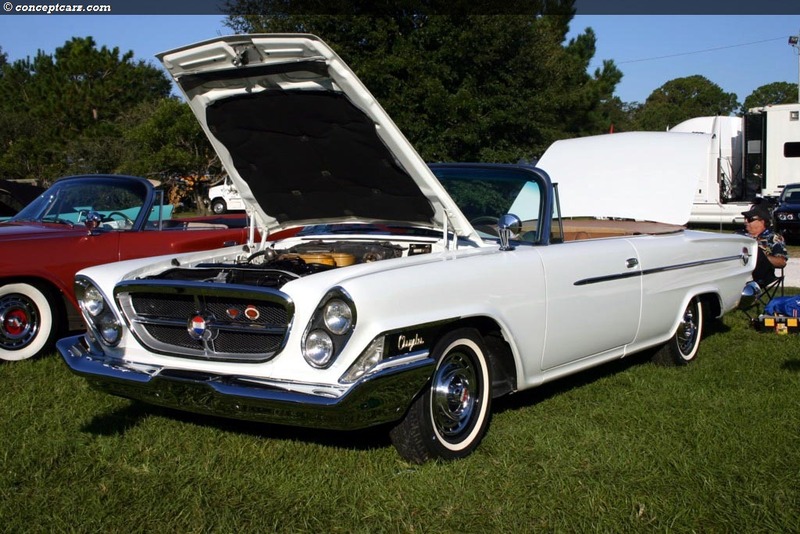 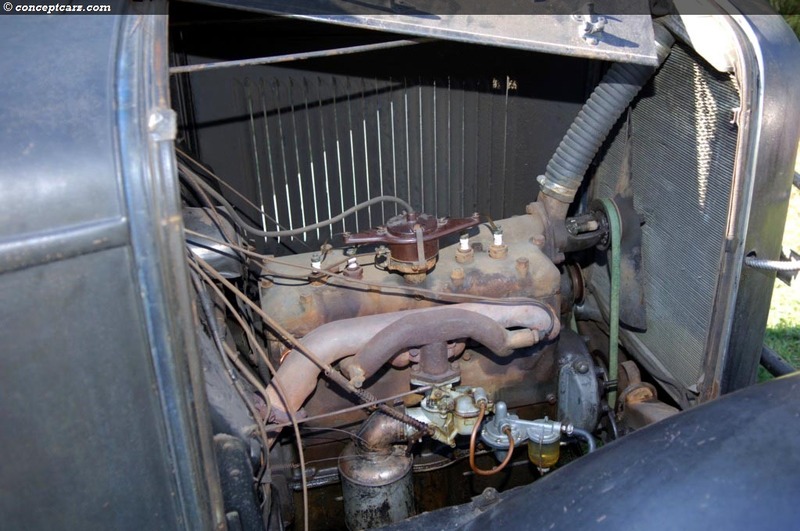 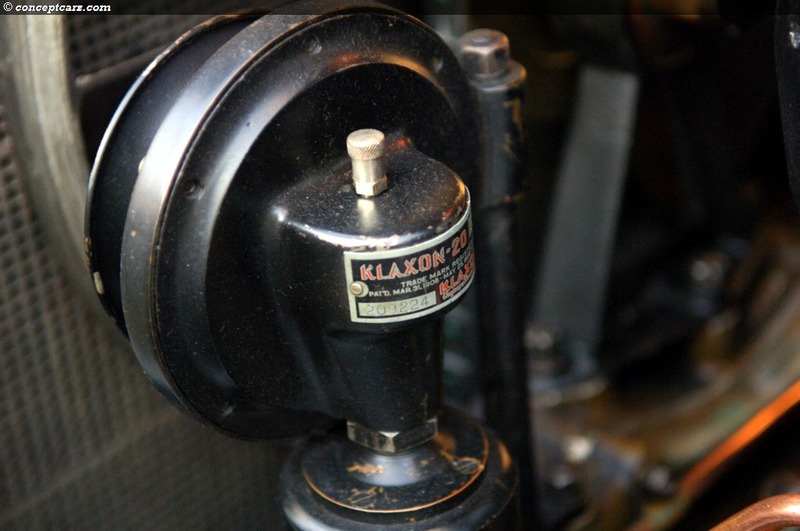 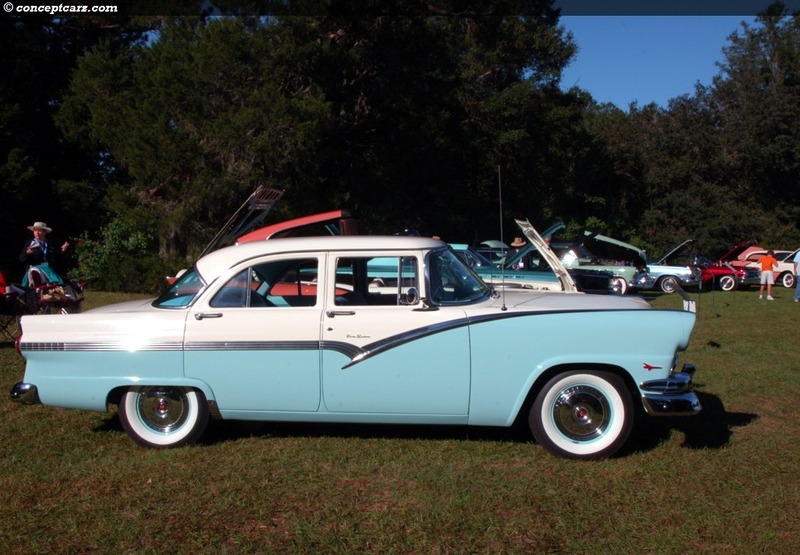 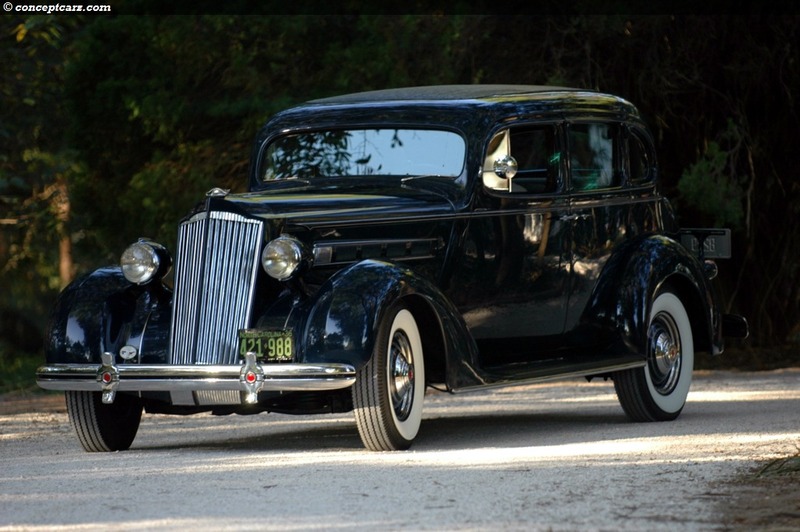 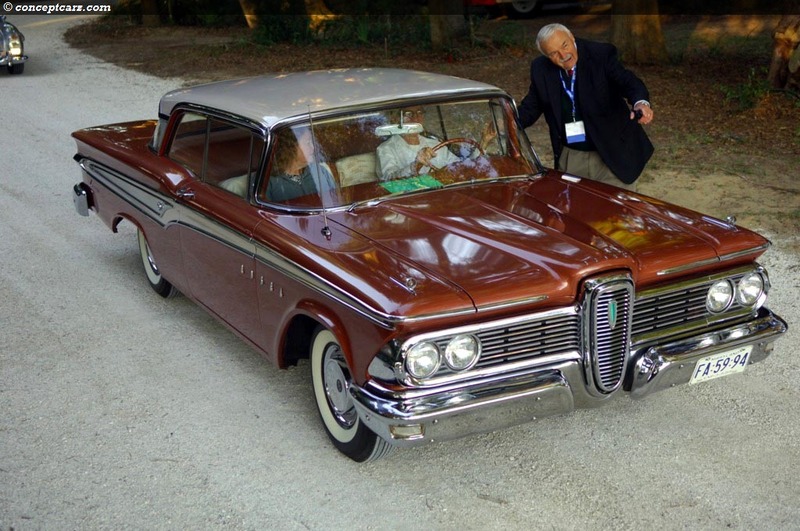 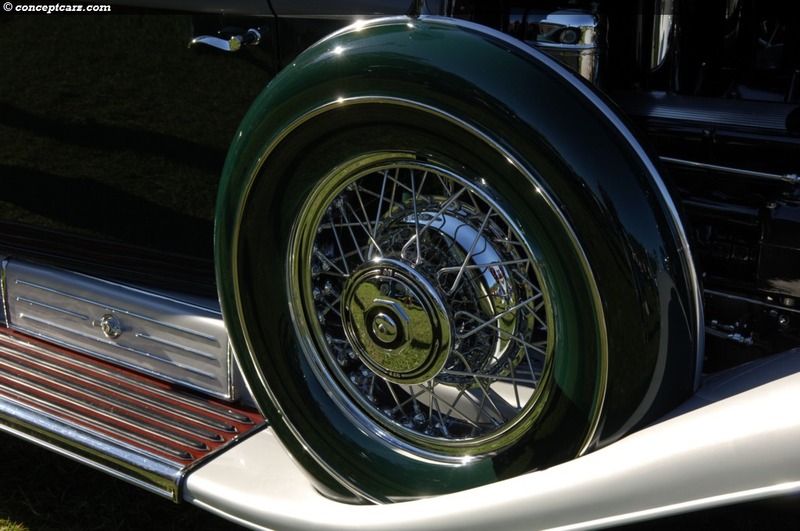 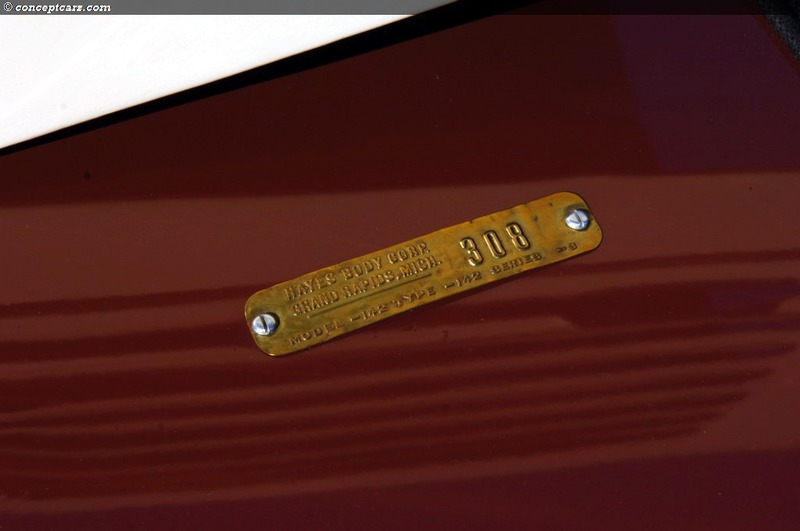 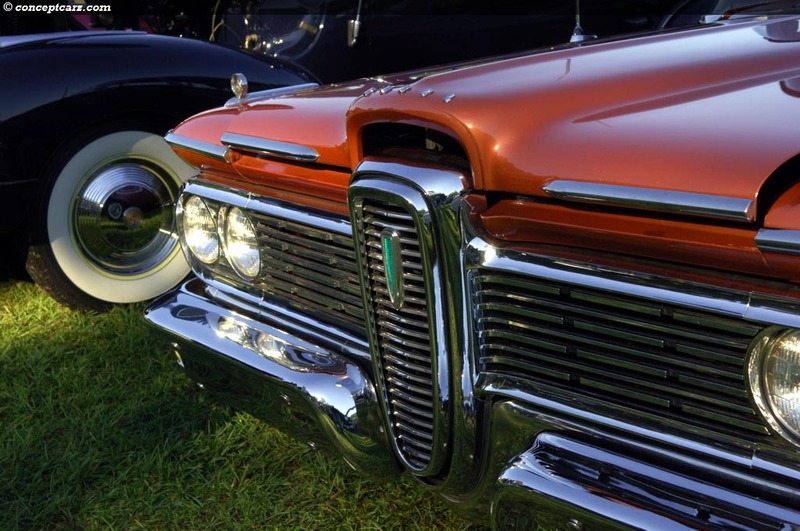 The Big Three continued to hold a steadfast grip on the hearts of the American public, while others, such as Hudson, Edsel, Kaiser, and Studebaker fought with all their expertise to stay in business. 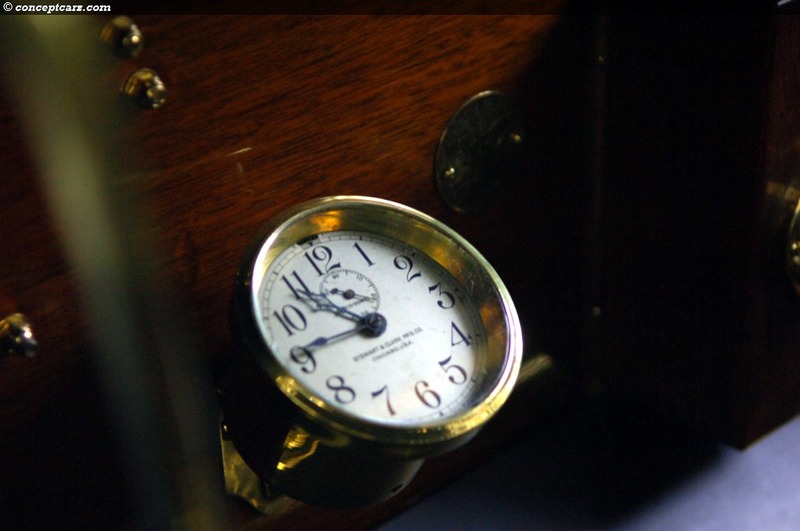 It would only be a matter of time before these 'smaller' companies would close their doors forever. 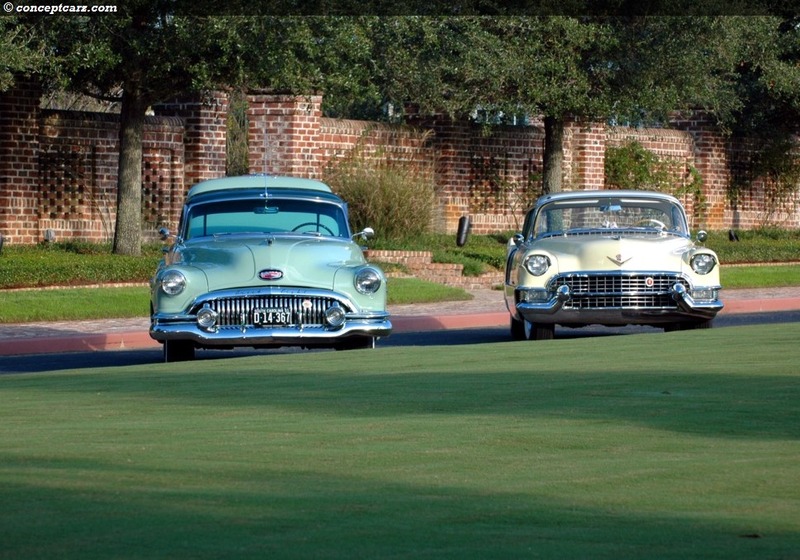 At Hilton Head, these companies were given their own group called 'Outstanding Orphans', with examples from many of these marques on display. 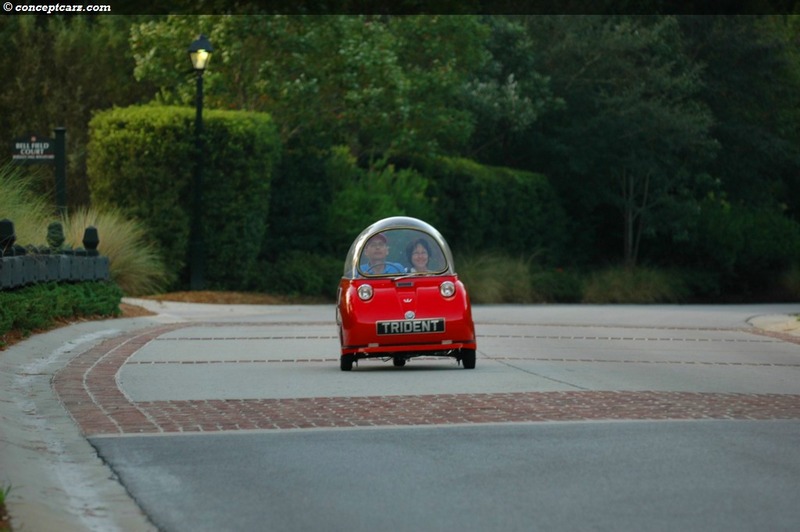 A very interesting and entertaining group was the micro-car category. 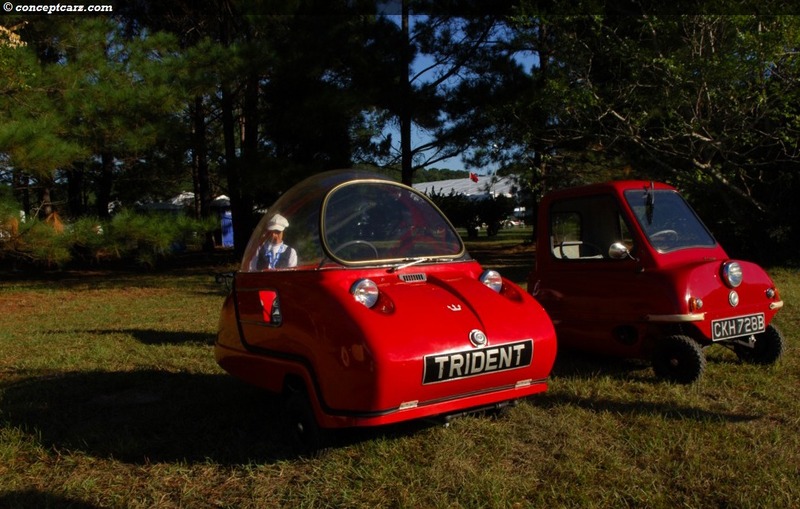 Possibly in other parts of the world these very small vehicles are part of regular production, but on the ample size roadways of the US, these vehicles are overshadowed by the passing traffic. 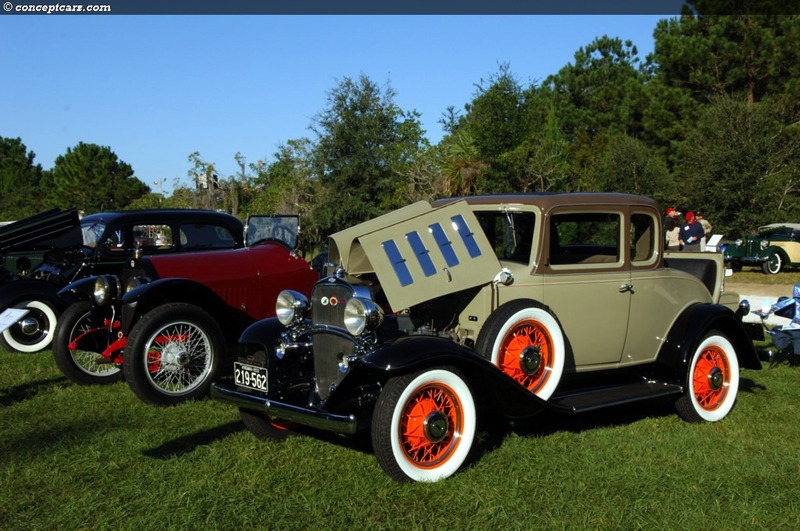 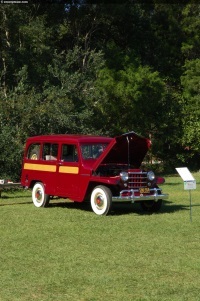 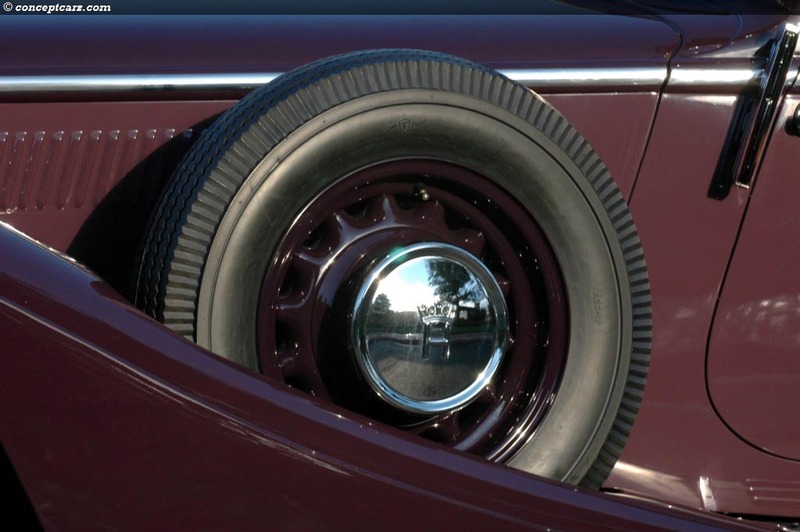 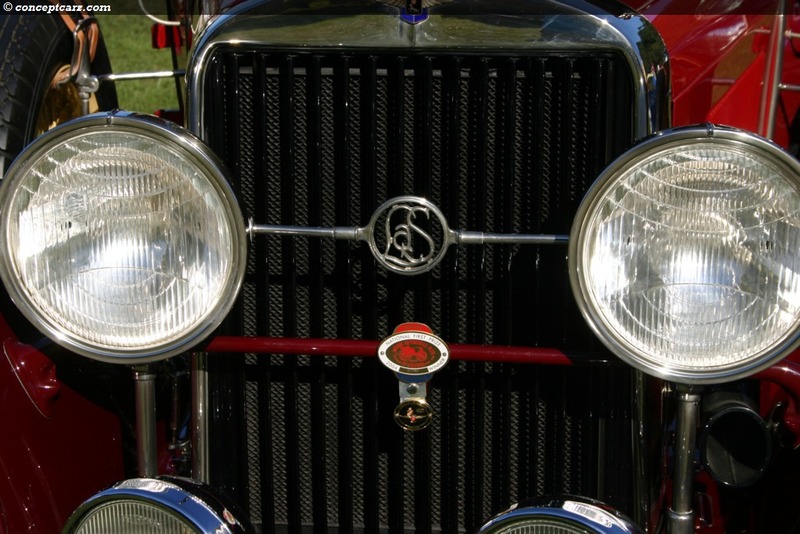 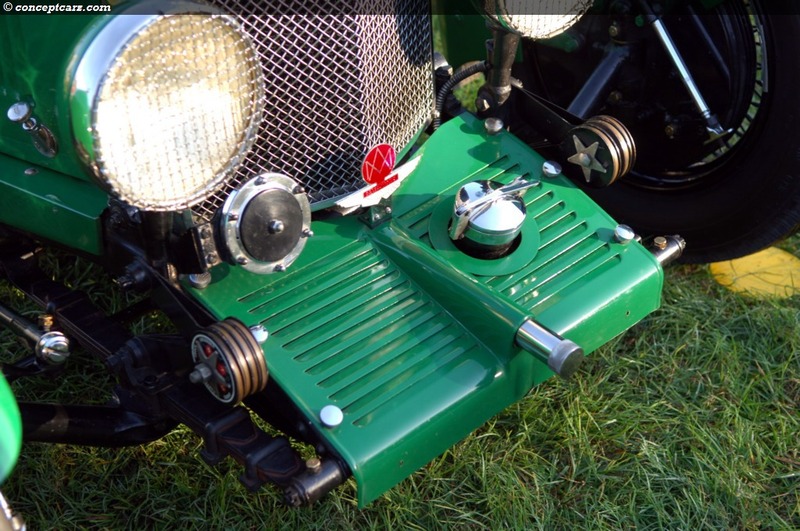 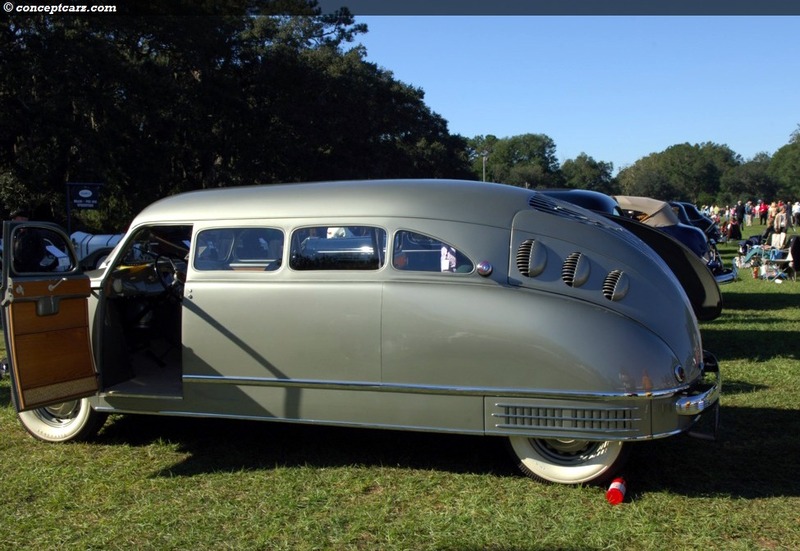 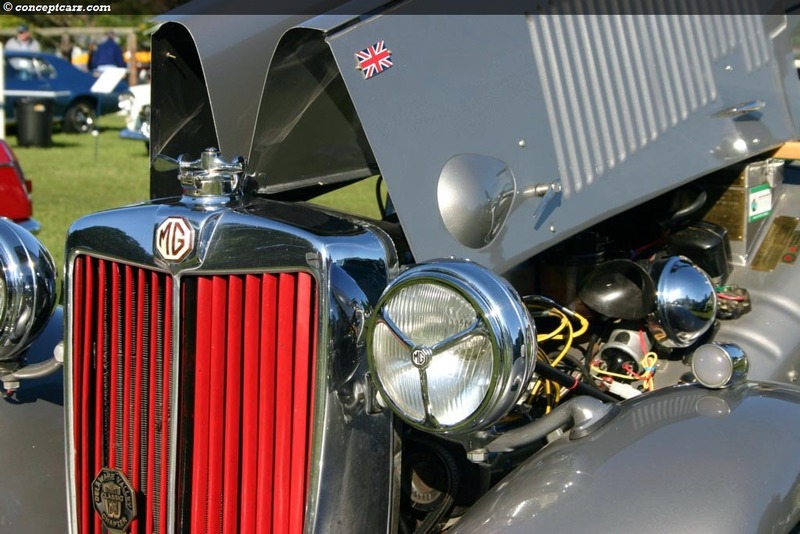 There were four 'cars' on display, the American Austin/American Bantam cars, and two unique-looking 'Peel' cars. 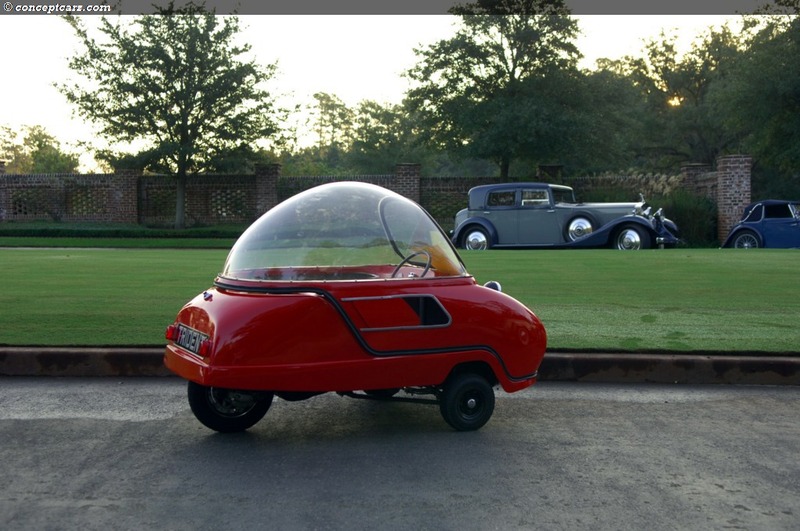 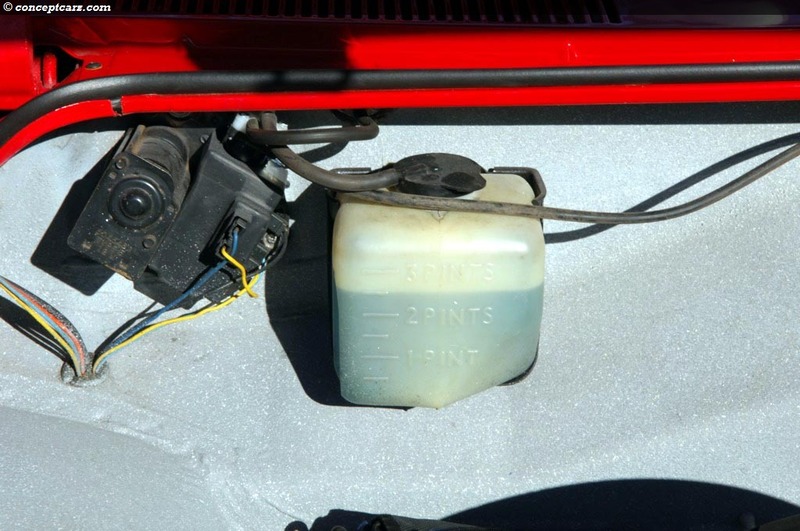 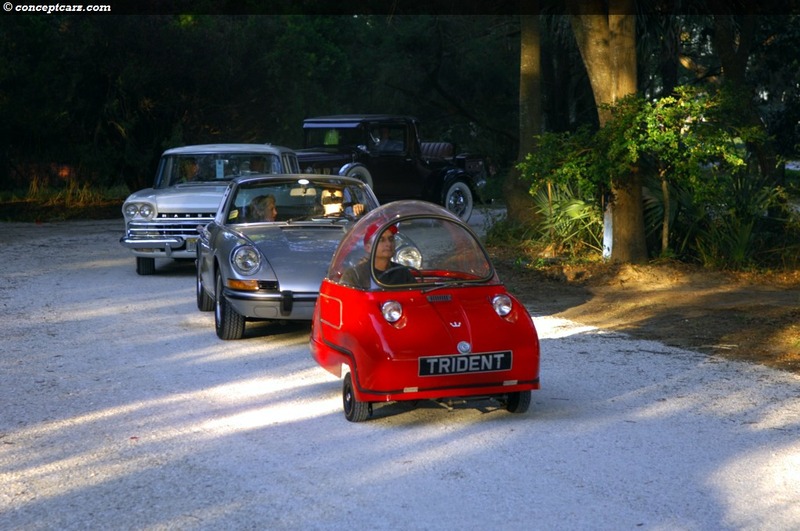 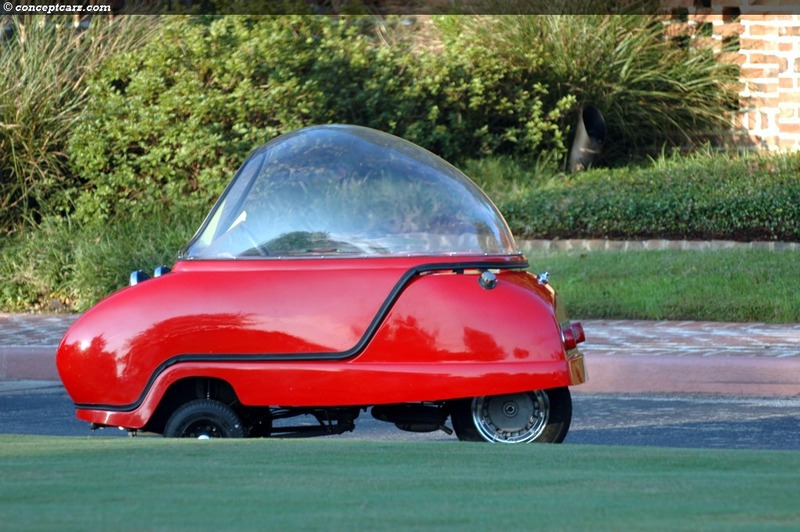 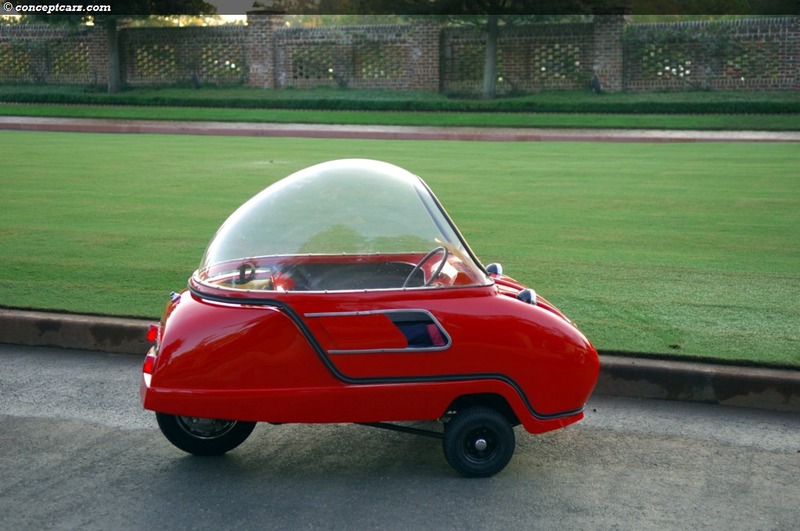 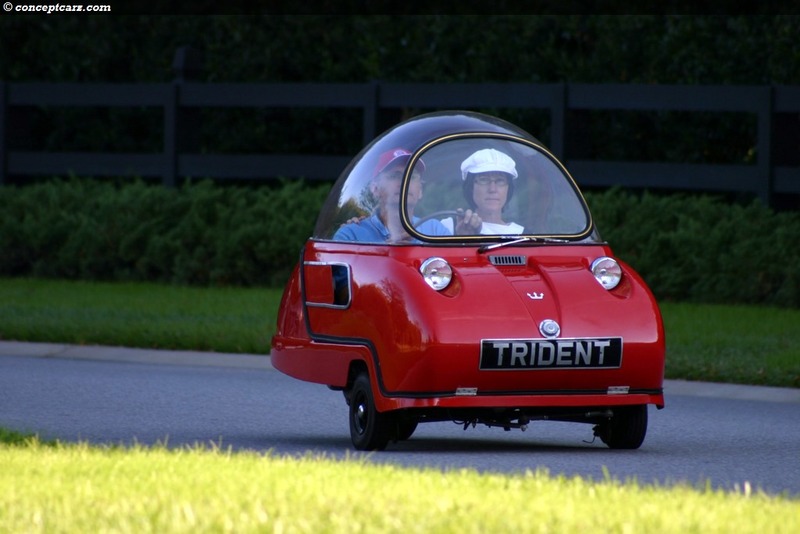 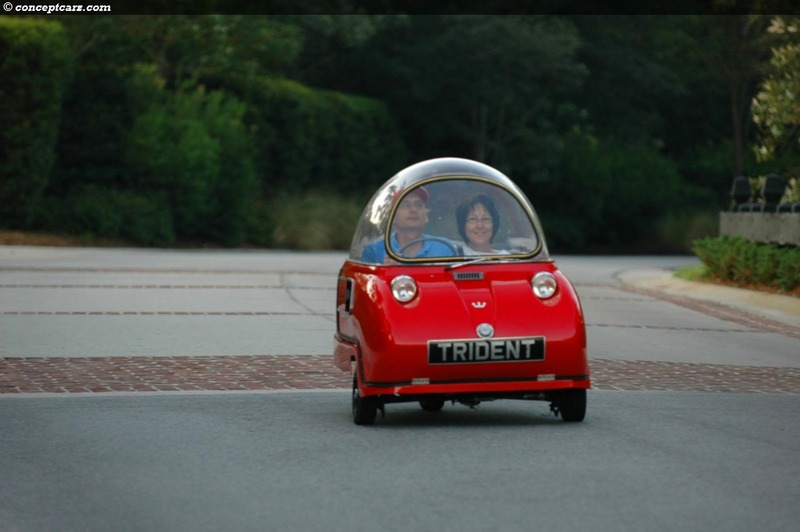 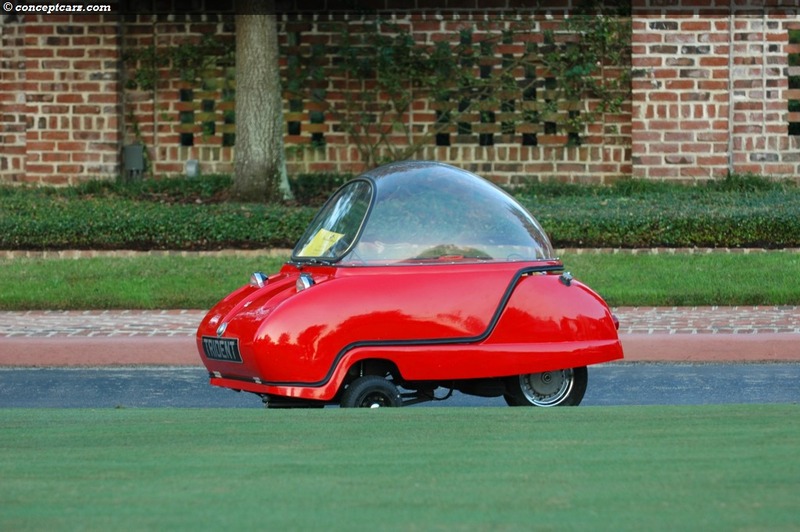 The Peel Trident car, about the size of a hula-hoop, partook in the driving tour reaching speeds of 40 (and possibly 50) mph. 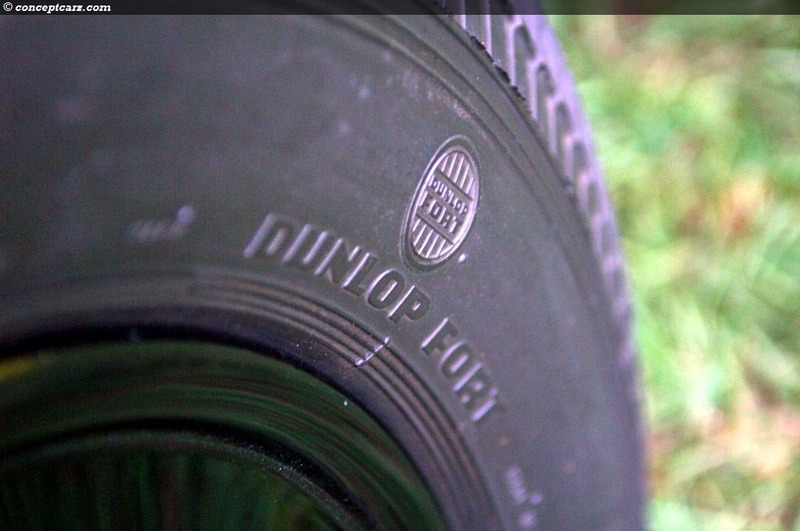 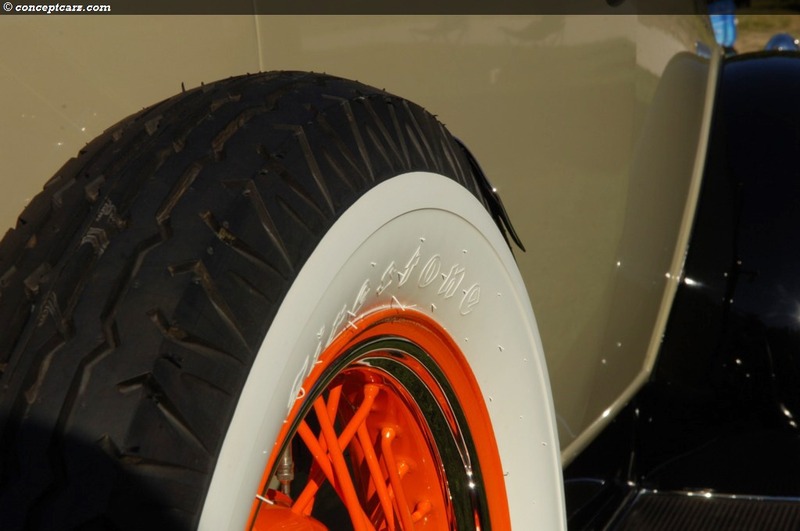 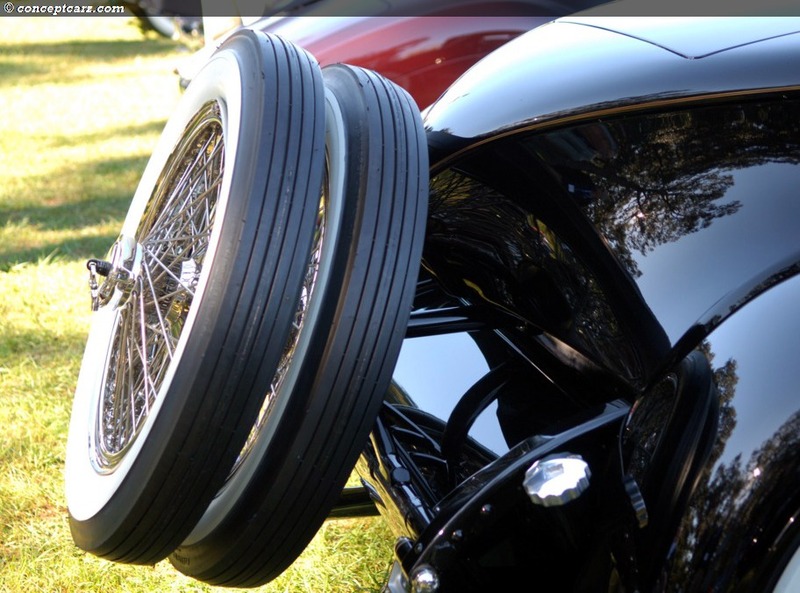 The tires are about the same size of a riding lawn mower, making the speed achieved an astonishing accomplishment, none-the-less a bit nerve-racking. 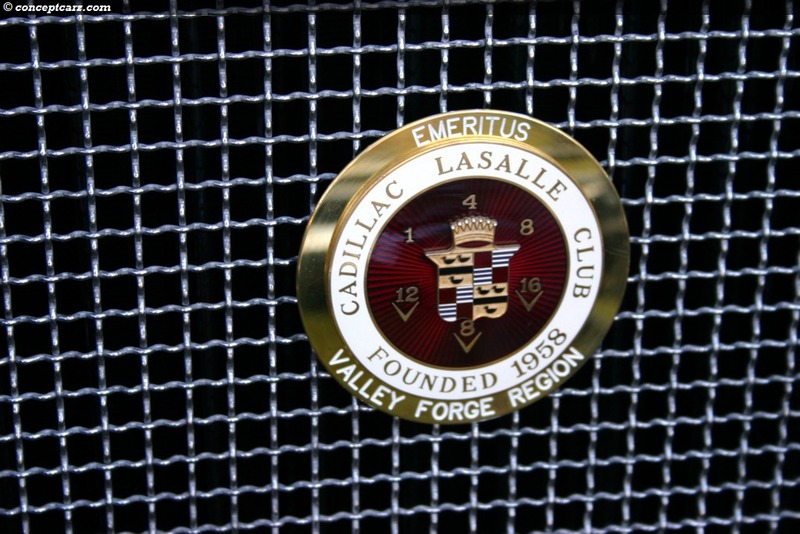 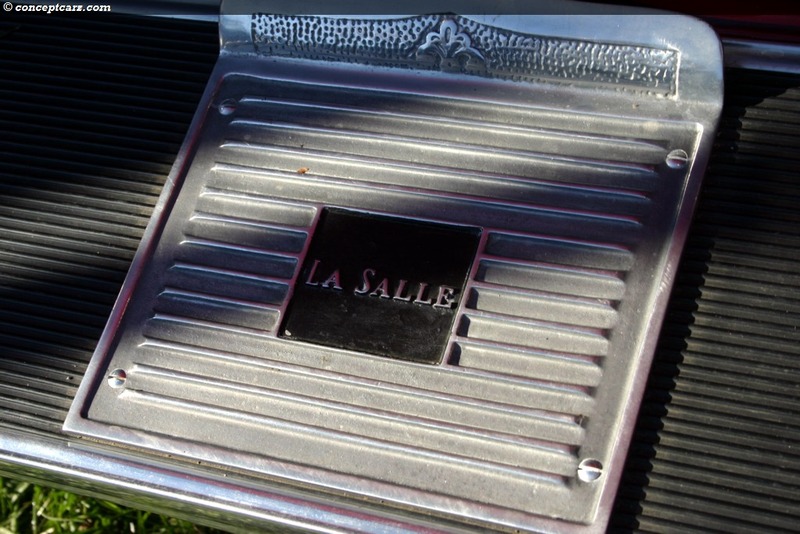 There were 18 classes with three dedicated to the 2007 Honored Marque, Cadillac and LaSalle. 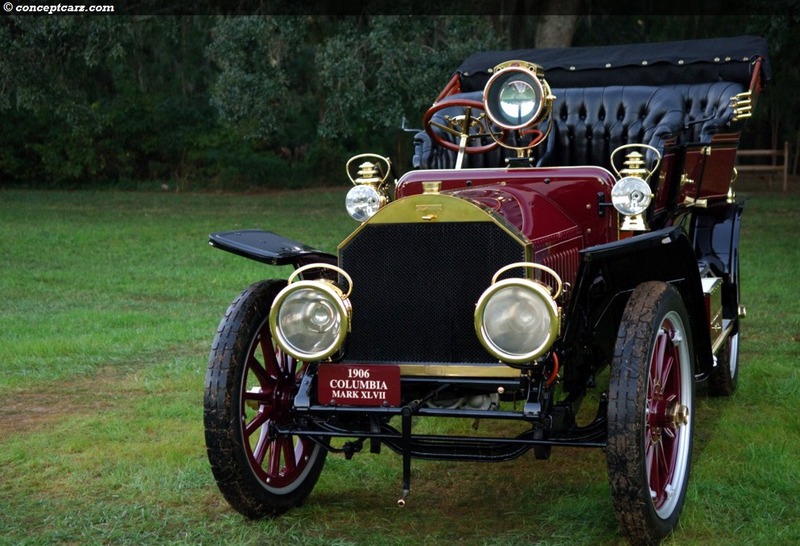 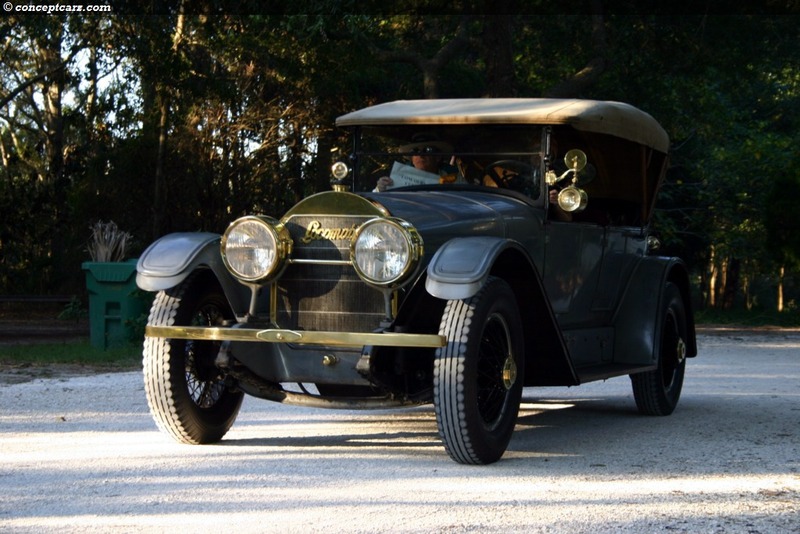 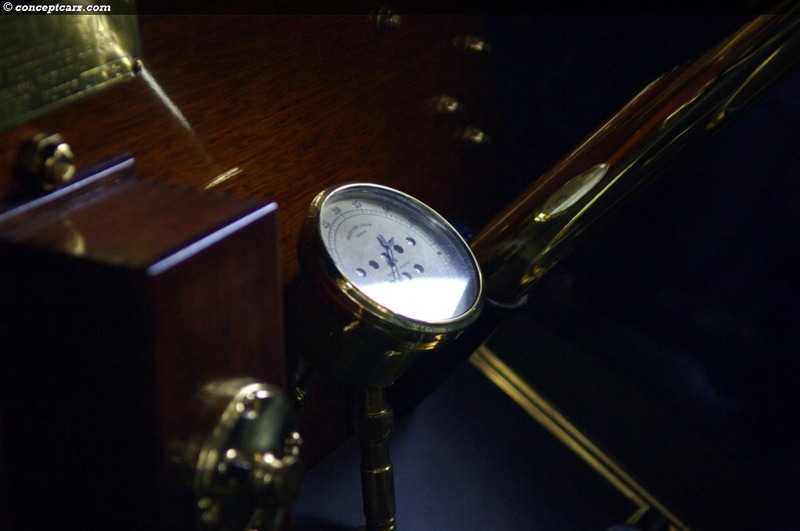 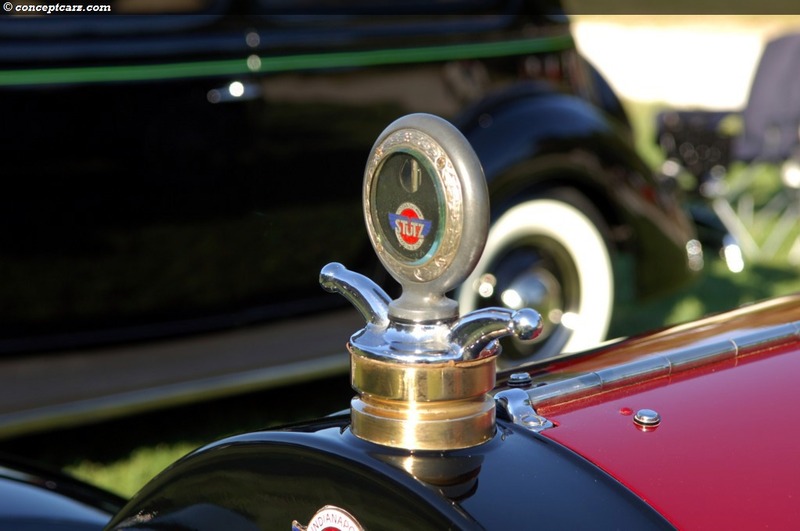 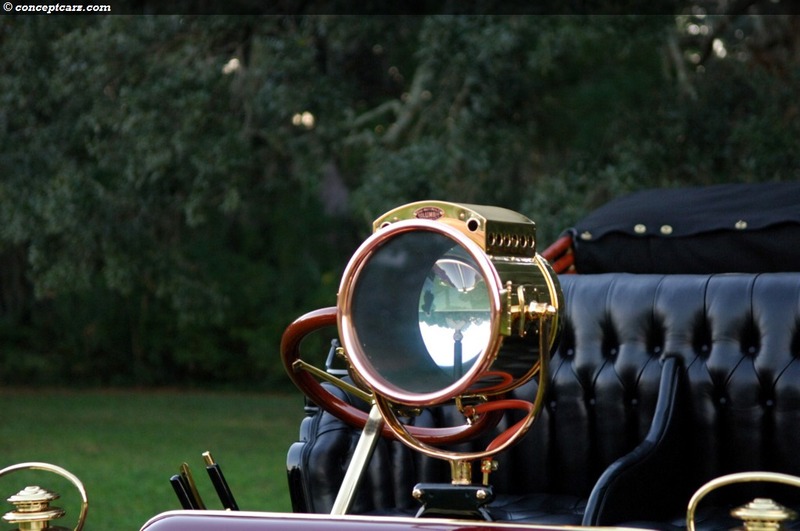 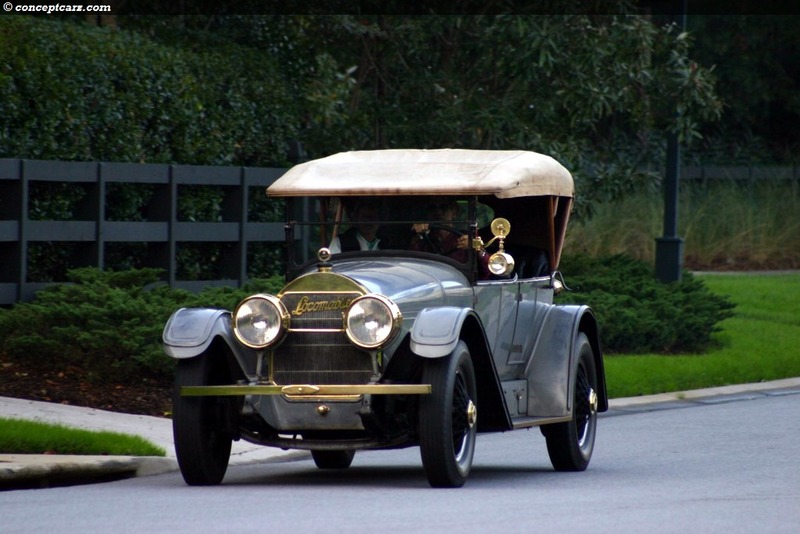 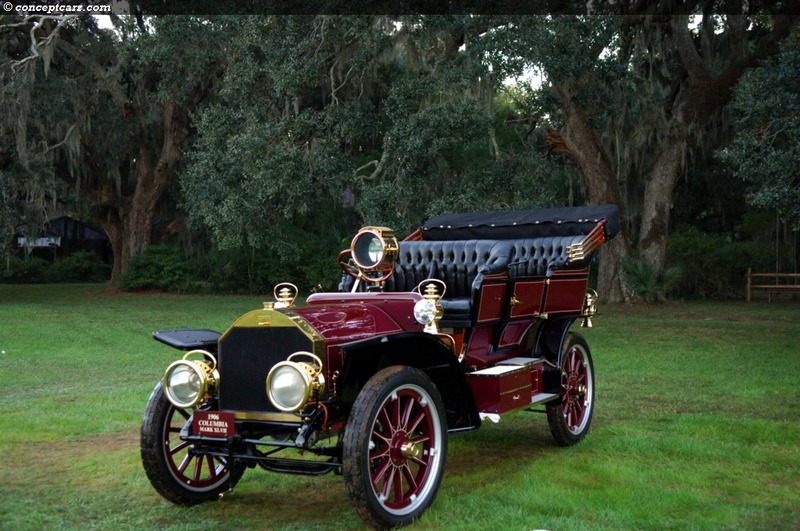 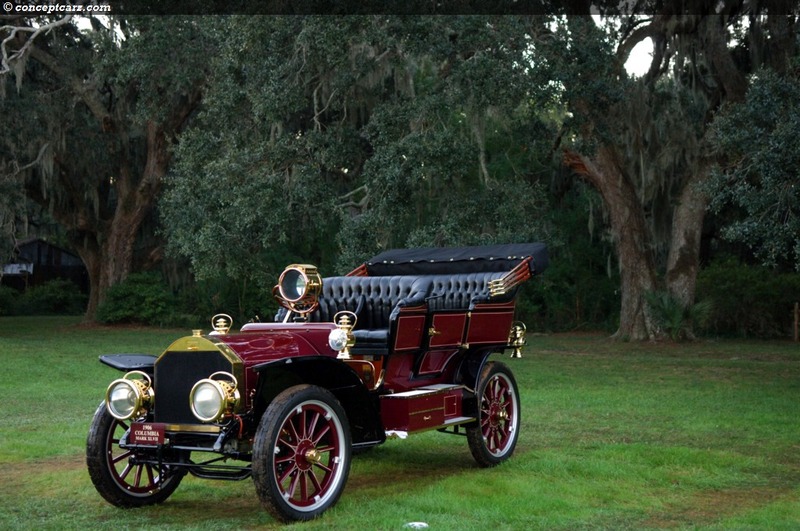 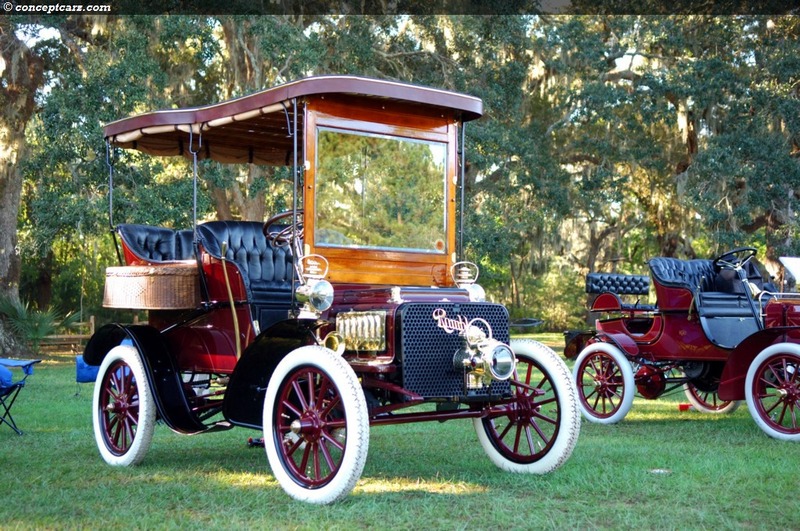 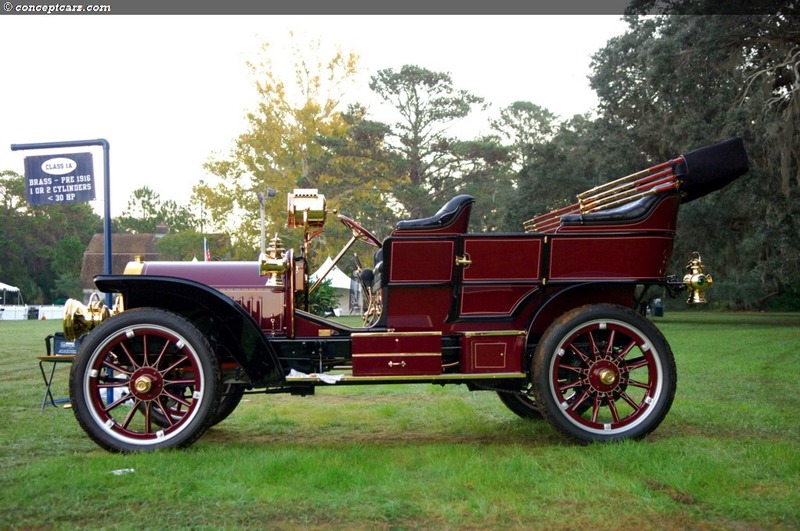 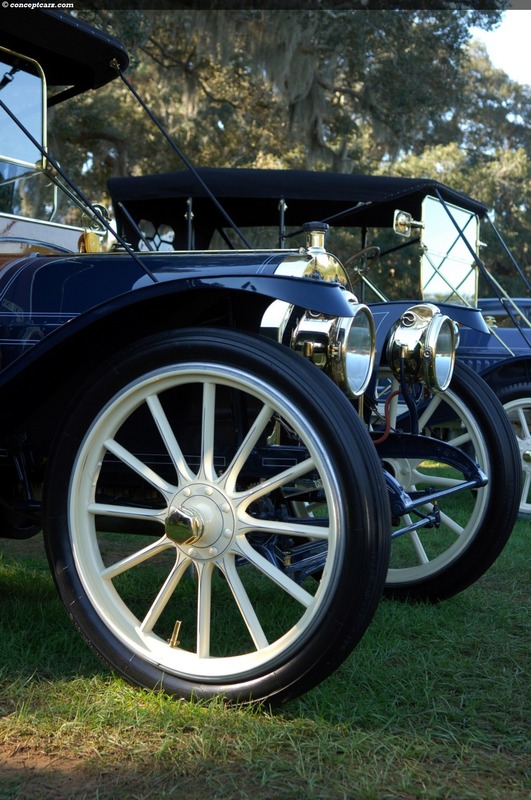 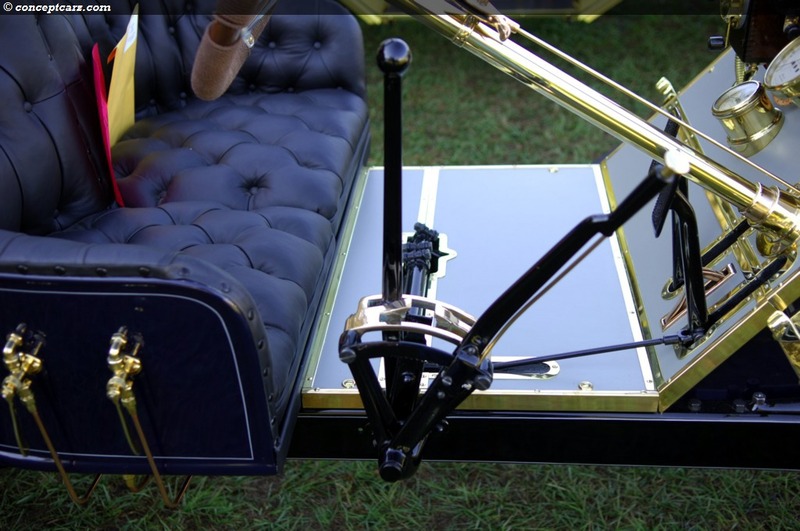 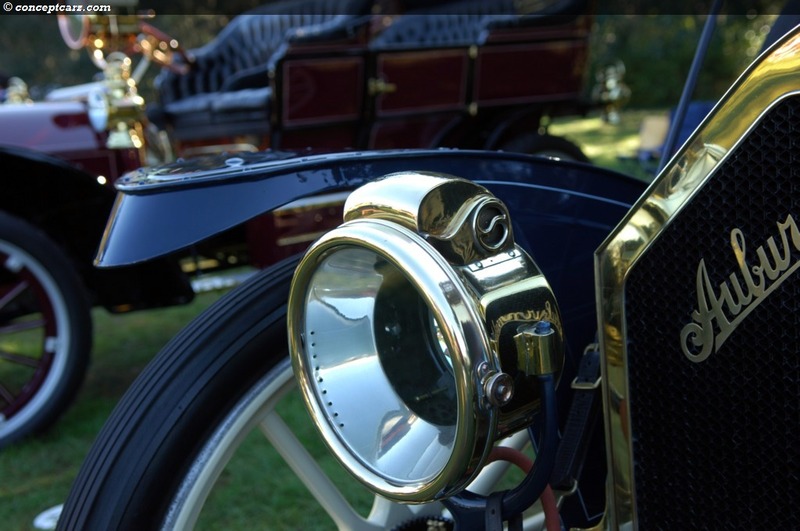 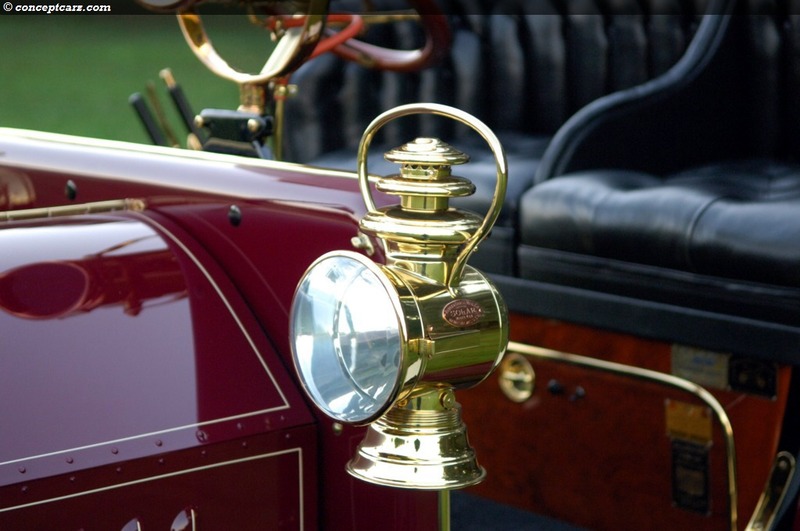 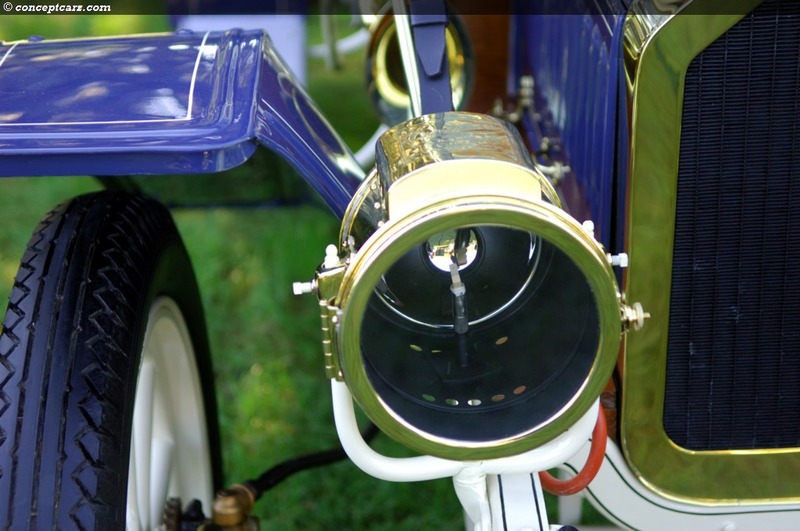 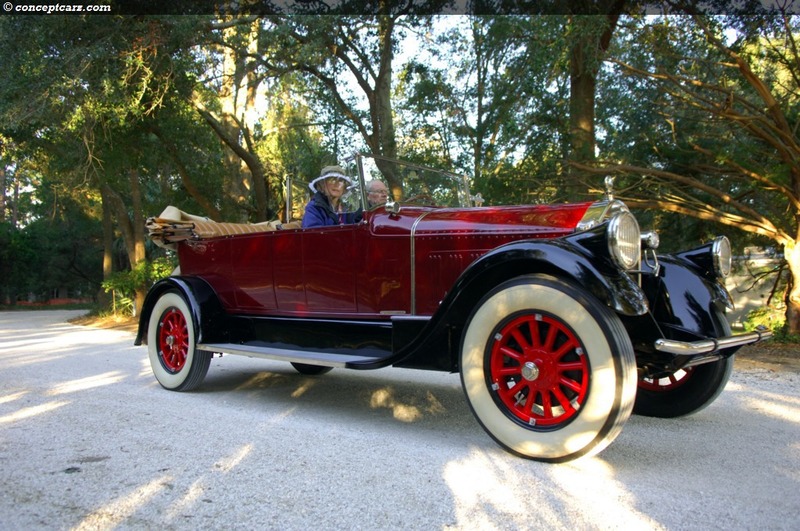 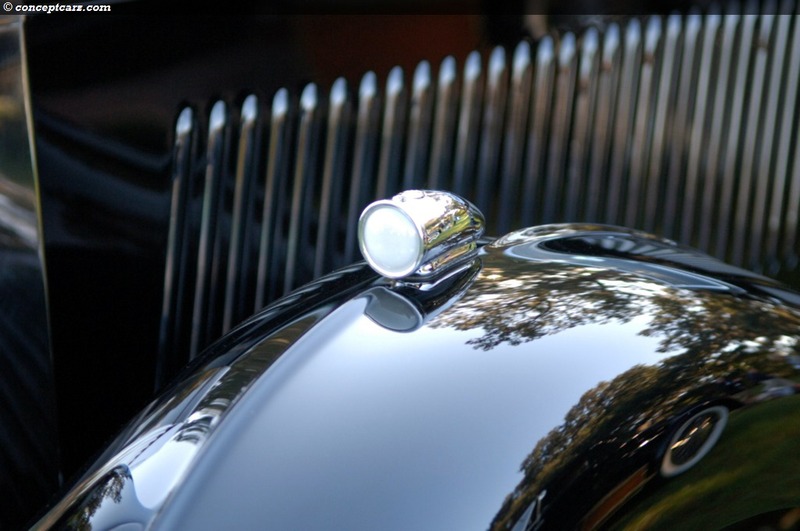 Cadillac stood center stage this year, with many exquisite examples of the company's long and glorious resume, with the most senior Cadillac on display being the 1908 'Tulip' Cadillac. 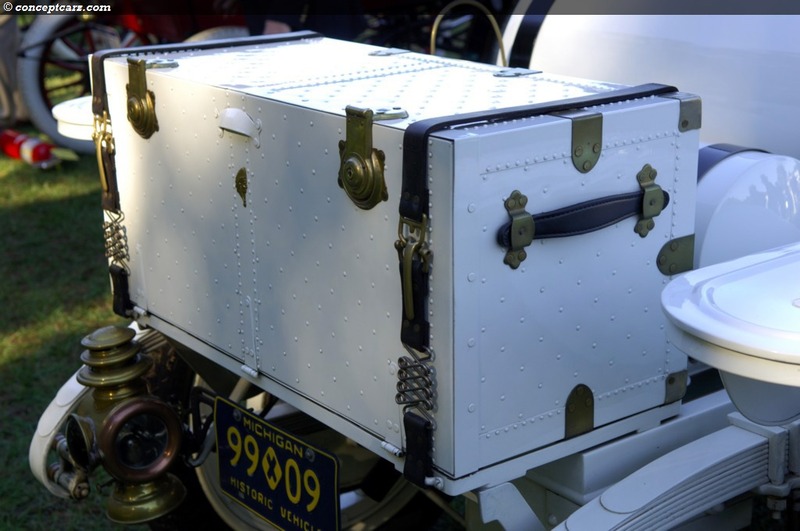 It had been placed near the front entrance, greeting visitors as they arrived. 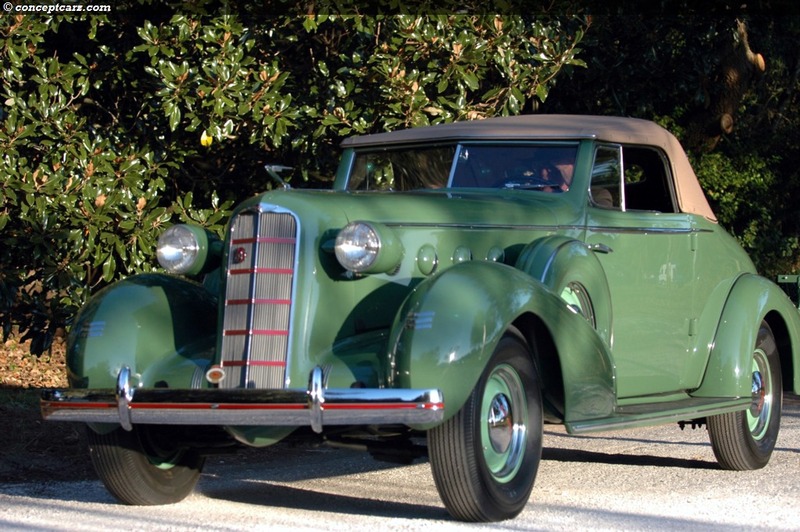 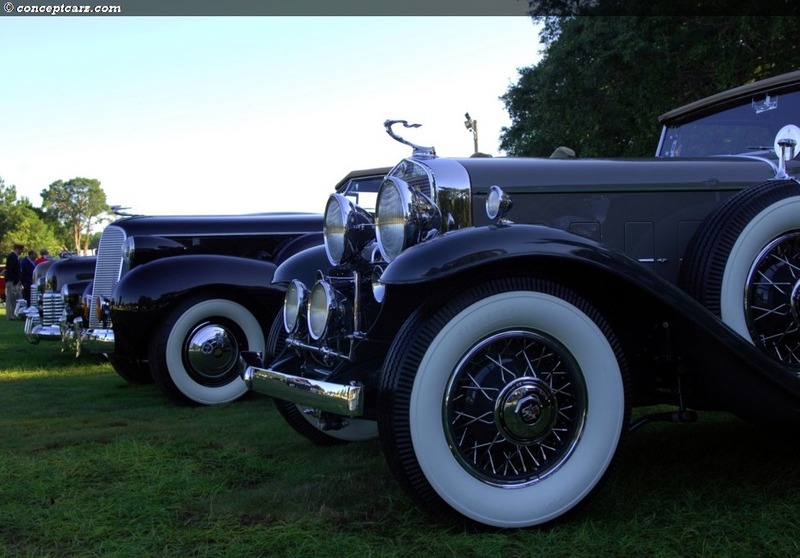 There was a nice selection of Cadillac's from the 1930s including the mighty V16. 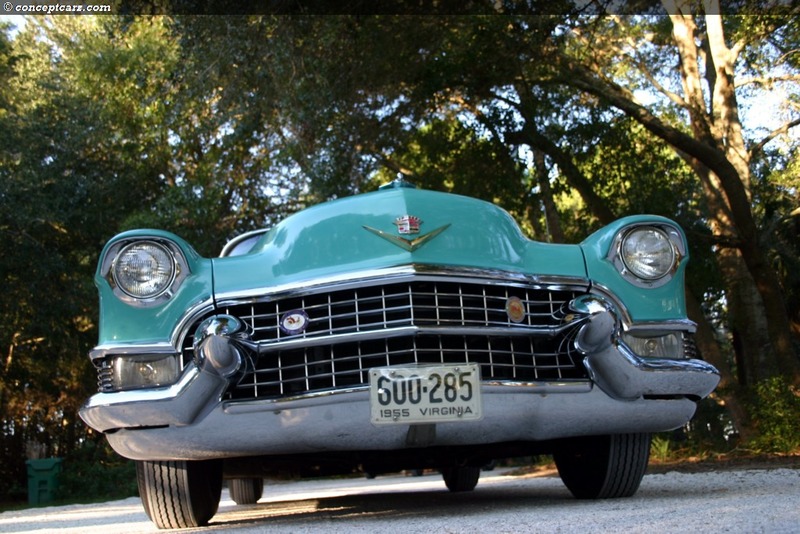 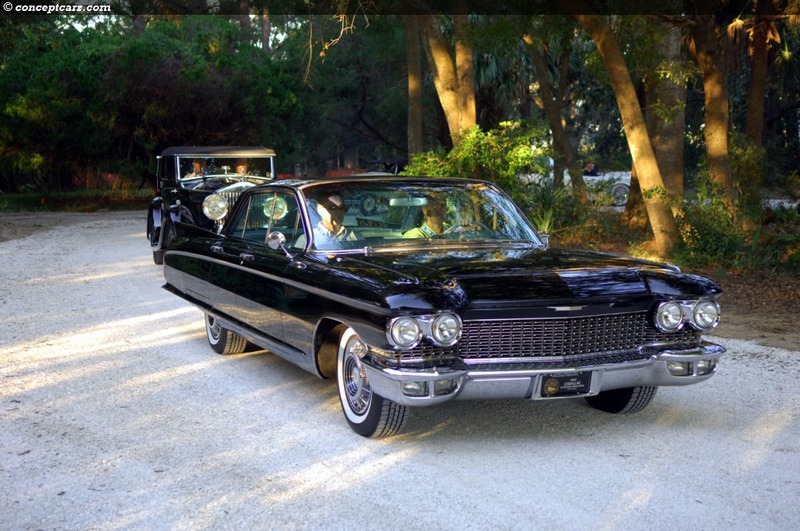 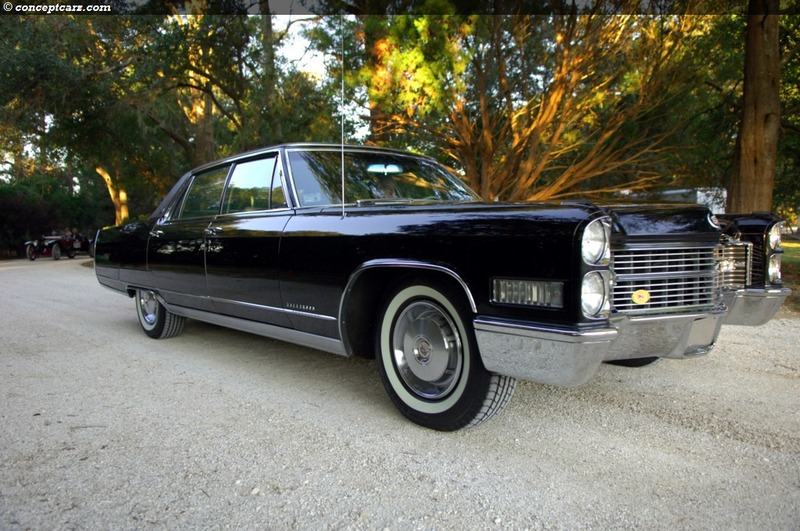 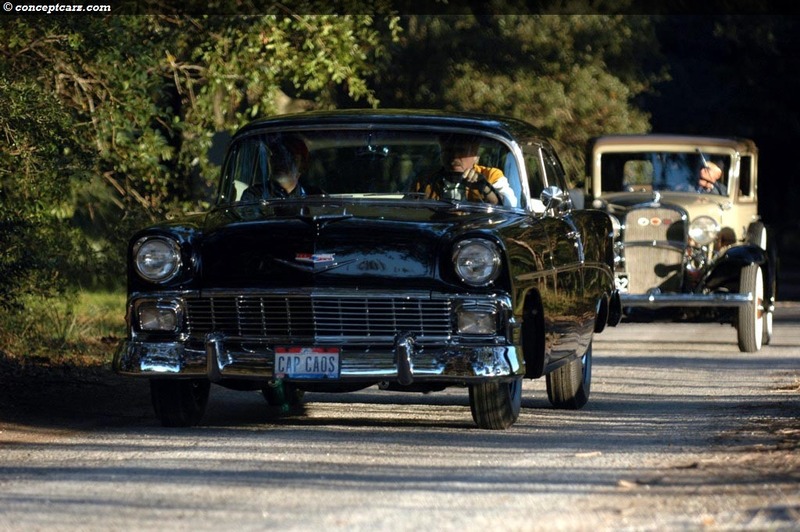 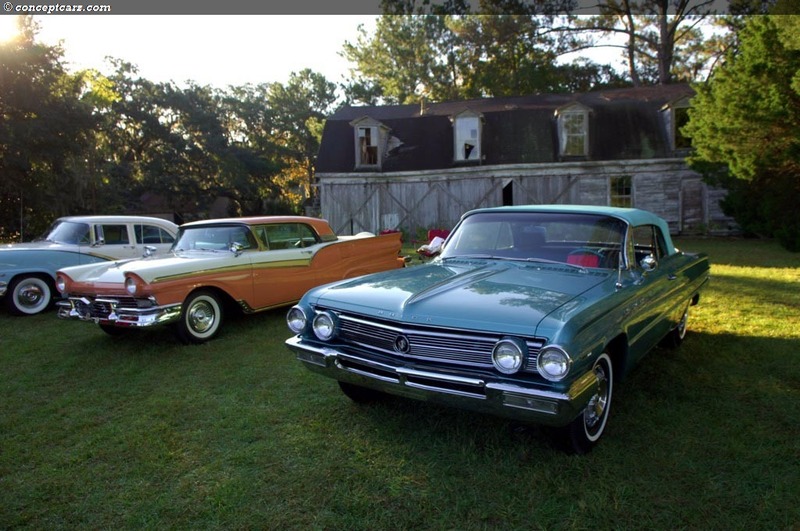 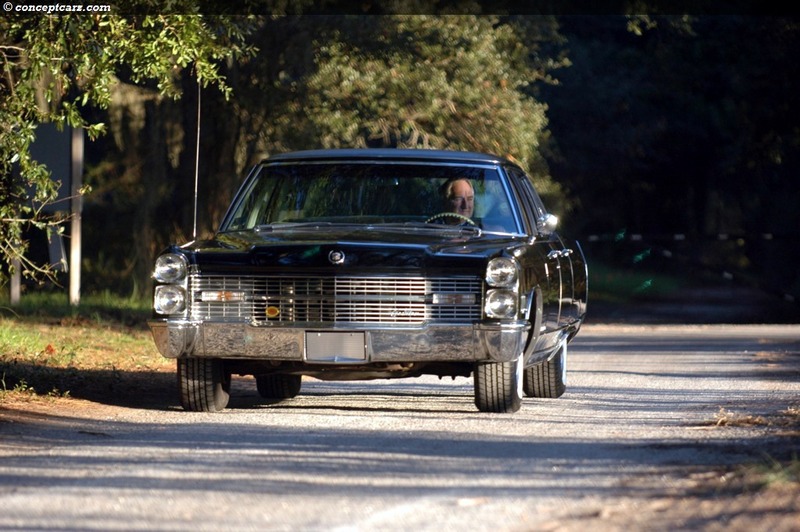 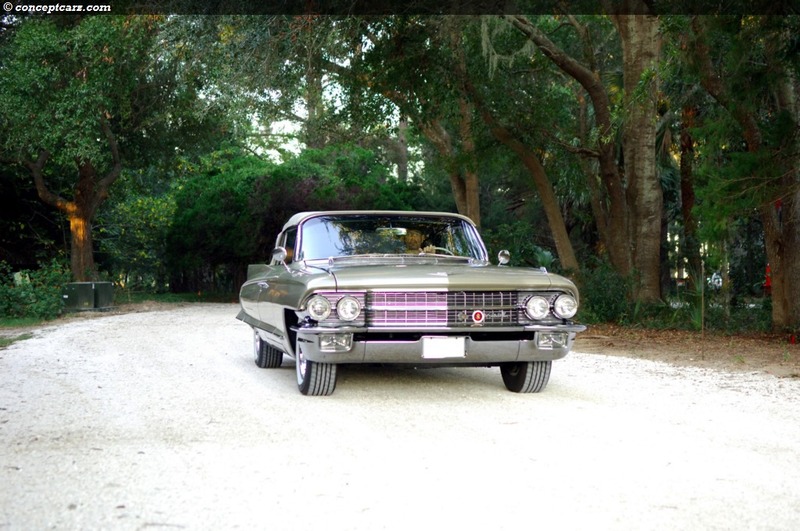 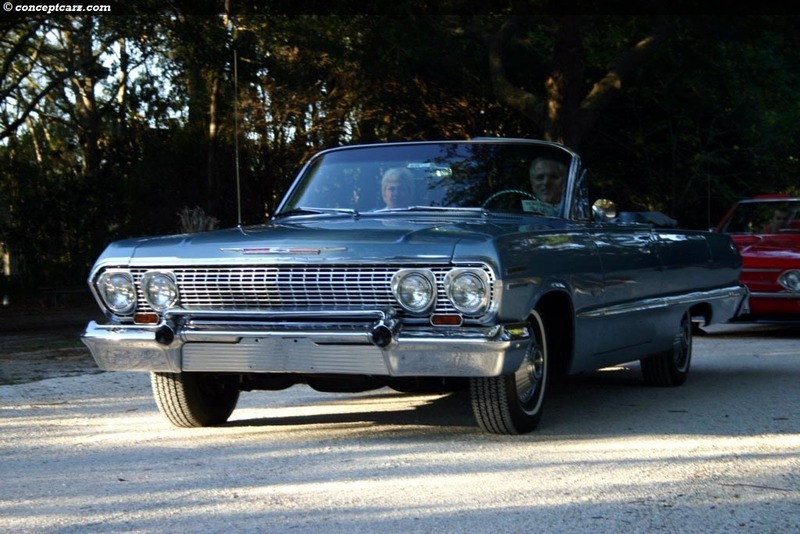 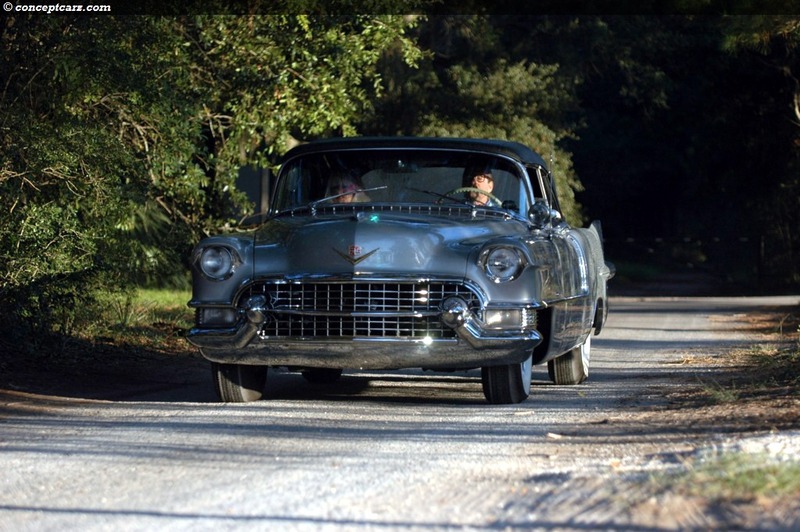 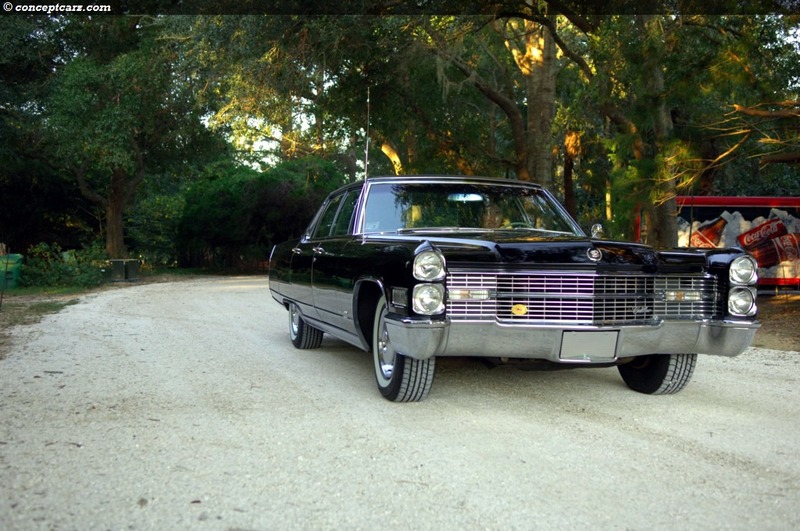 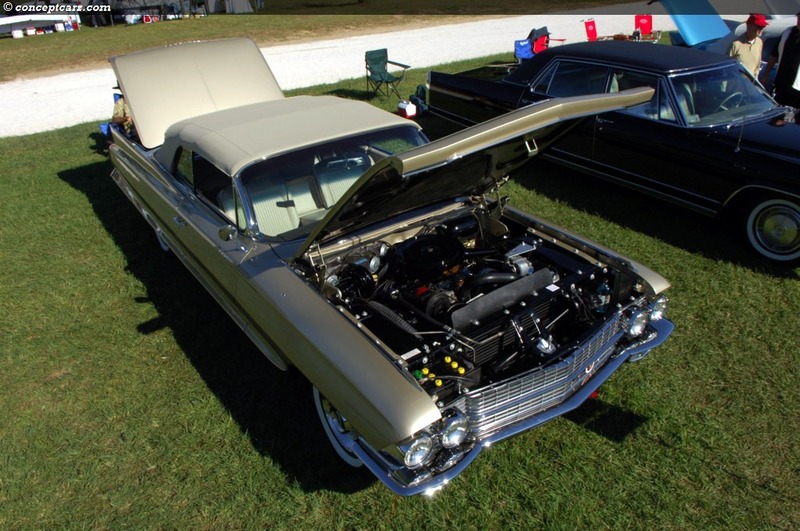 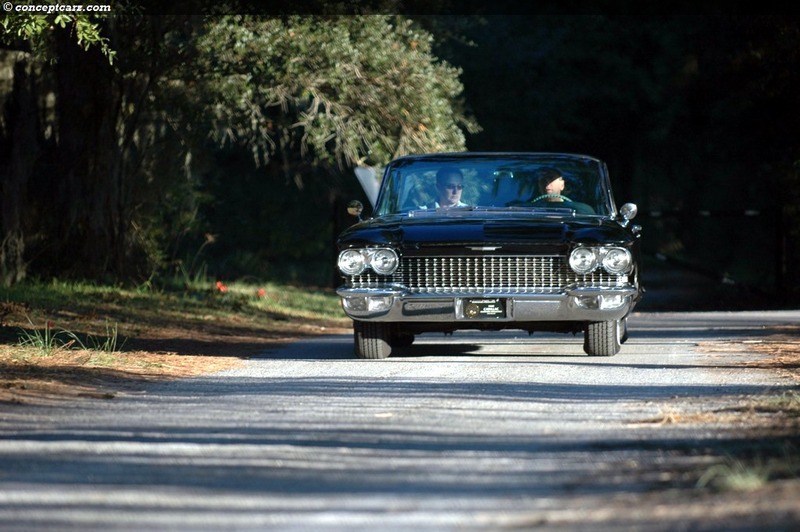 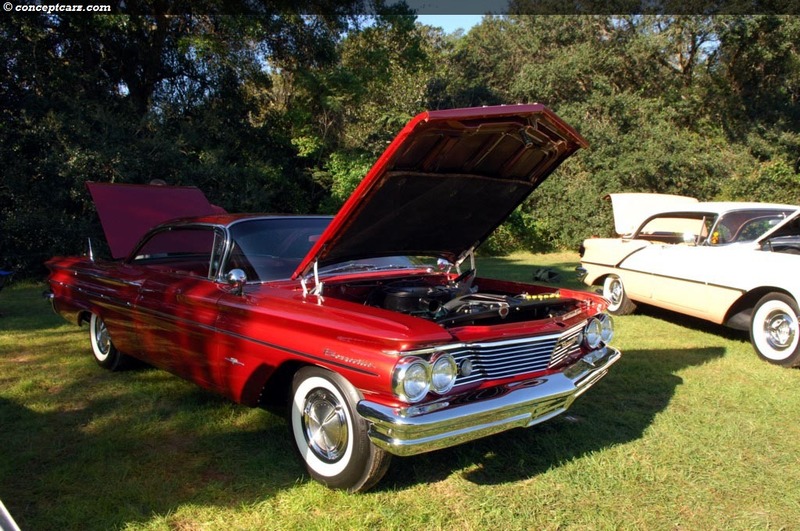 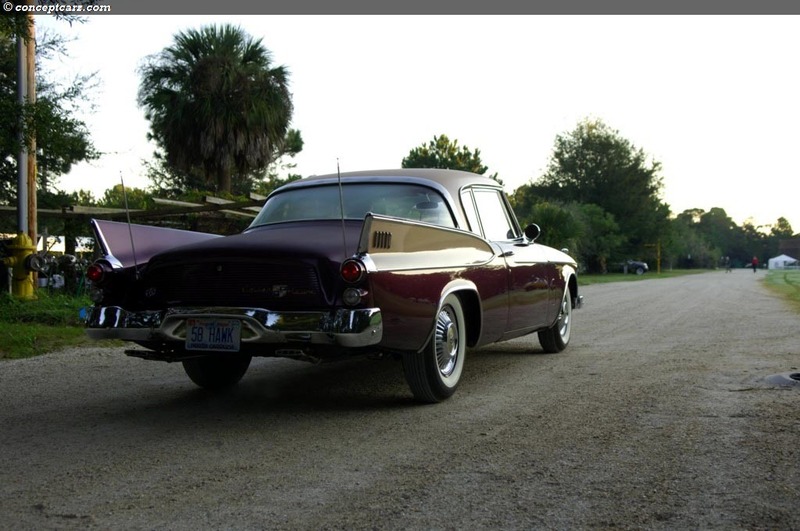 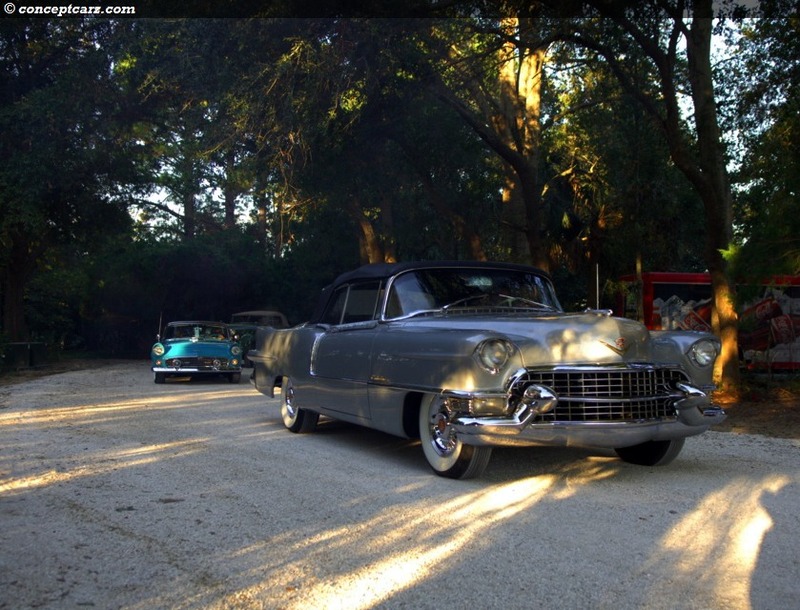 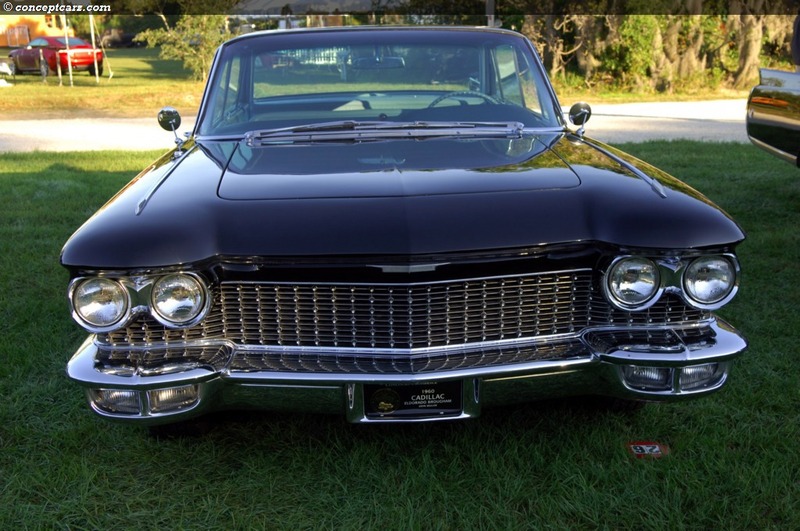 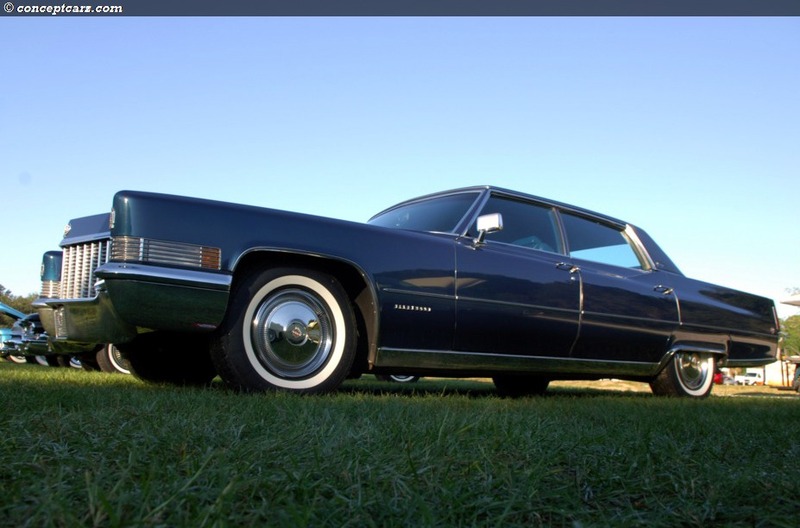 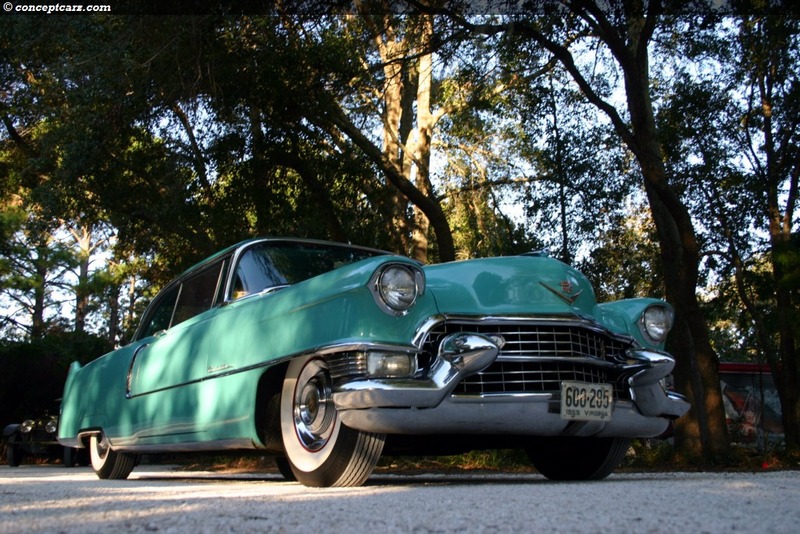 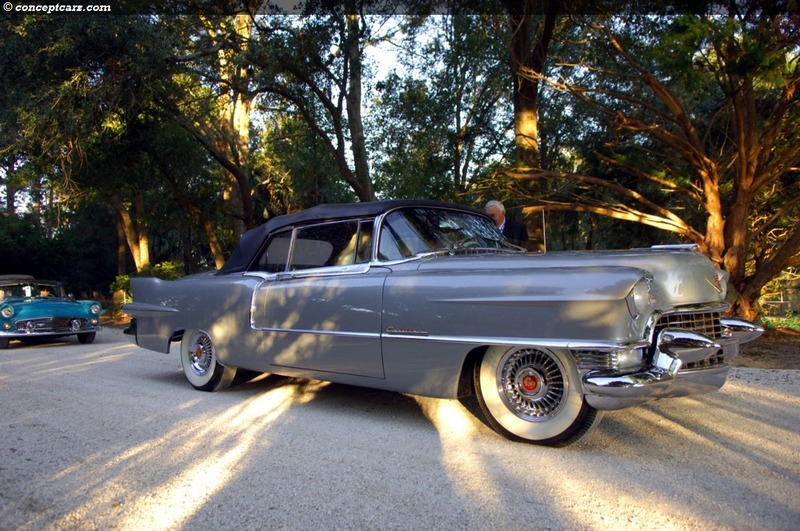 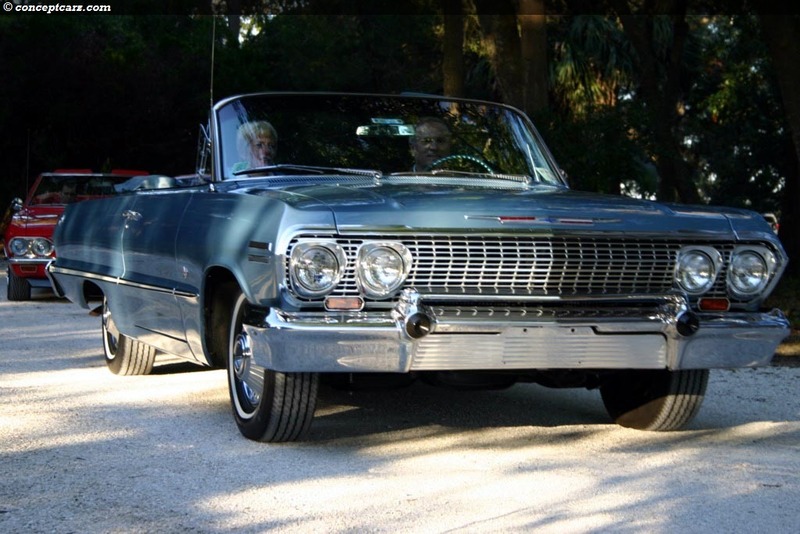 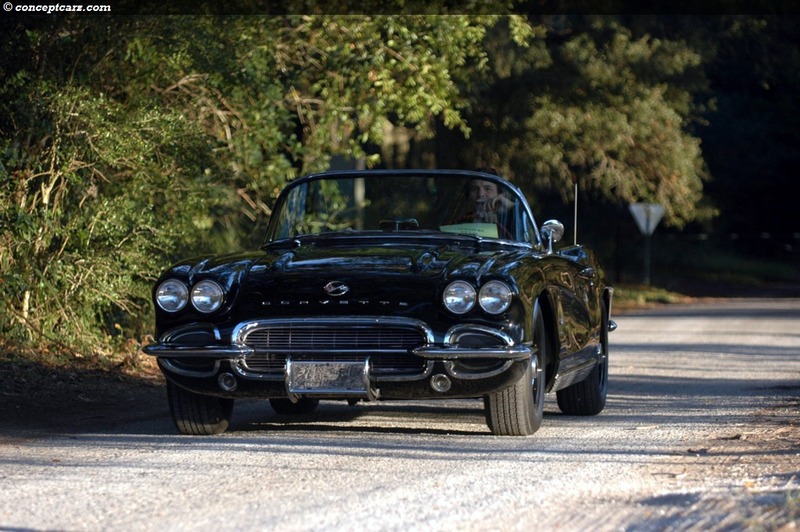 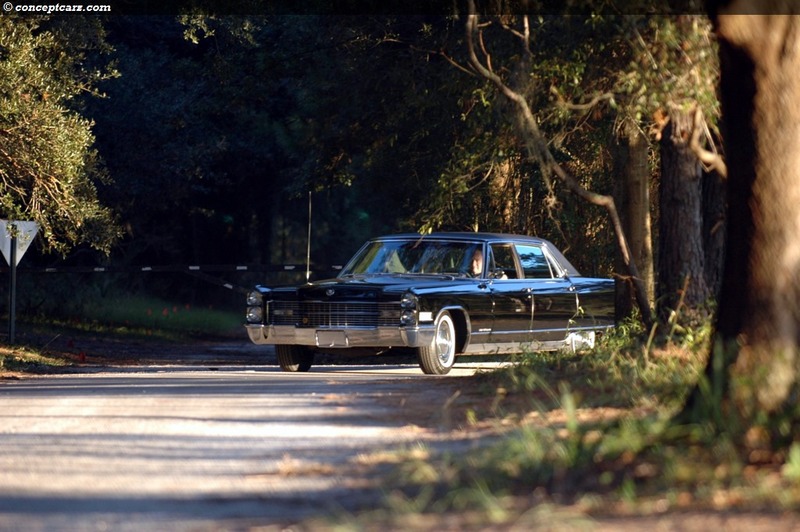 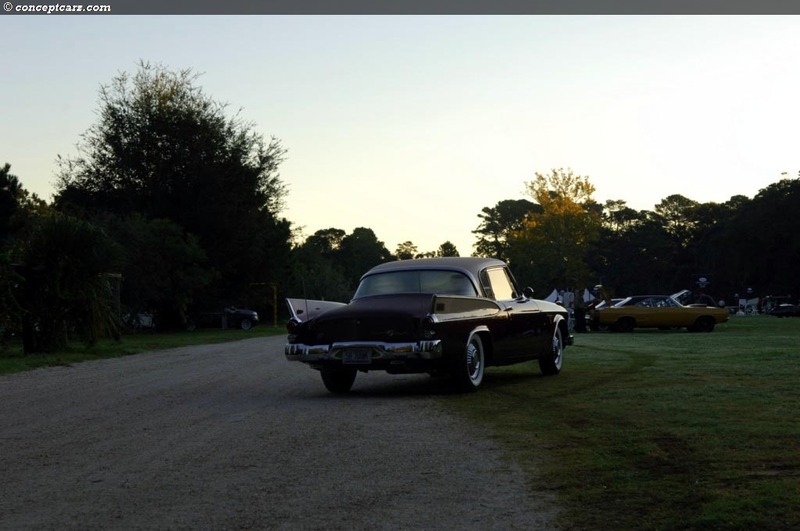 One Cadillac in particular caught our eye, the 1960 Eldorado Brougham. 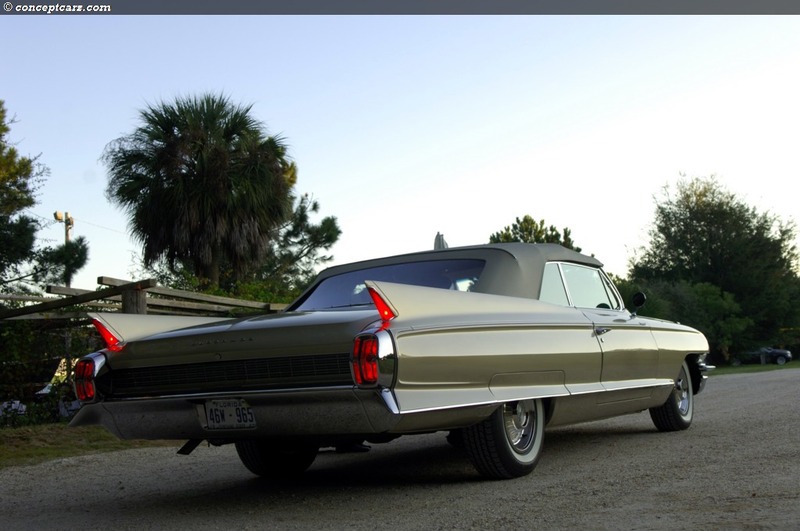 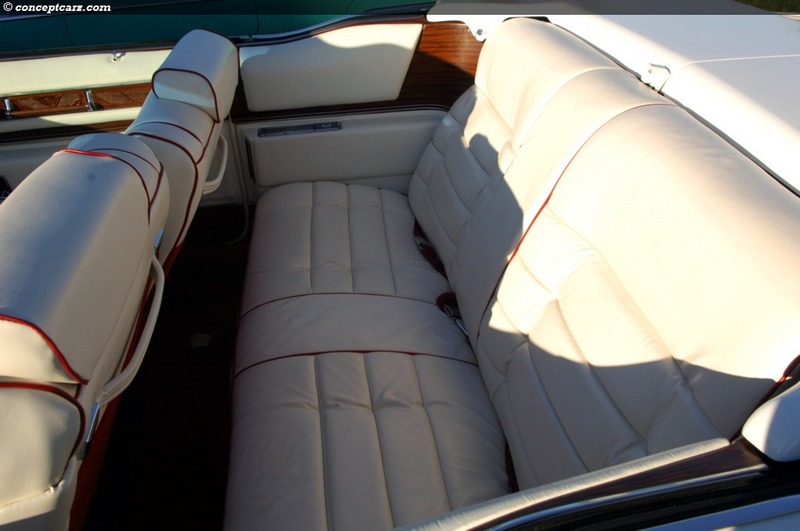 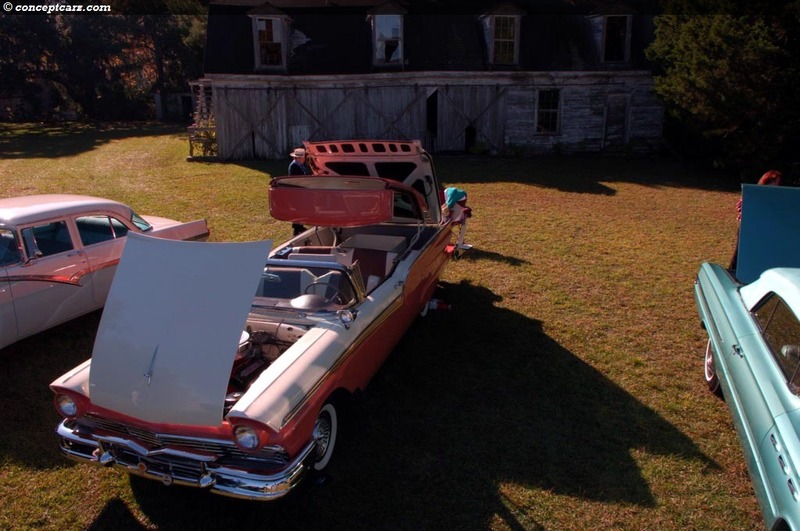 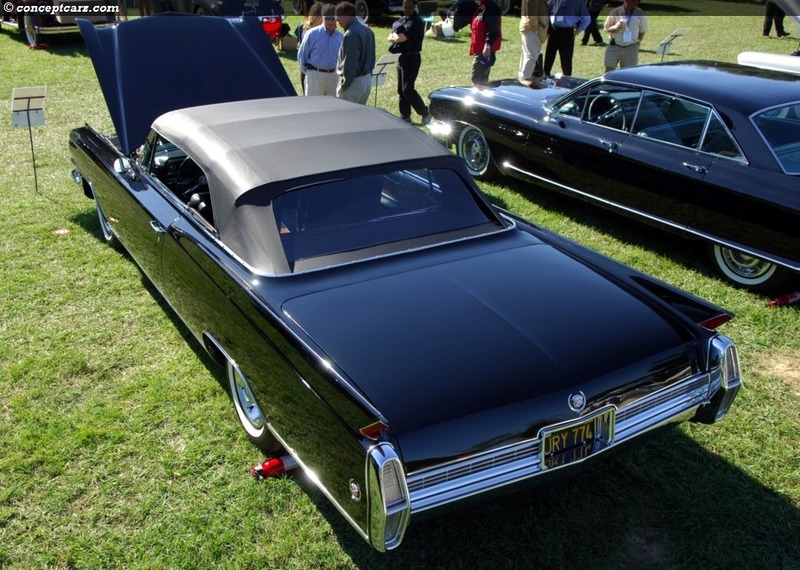 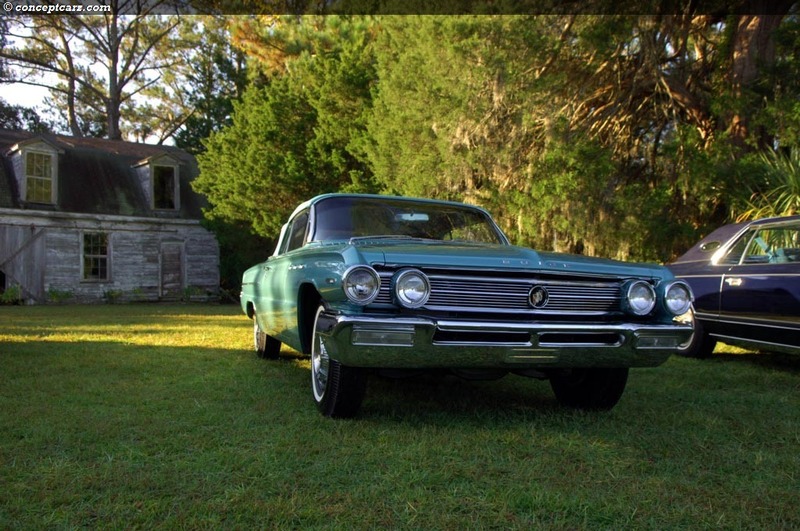 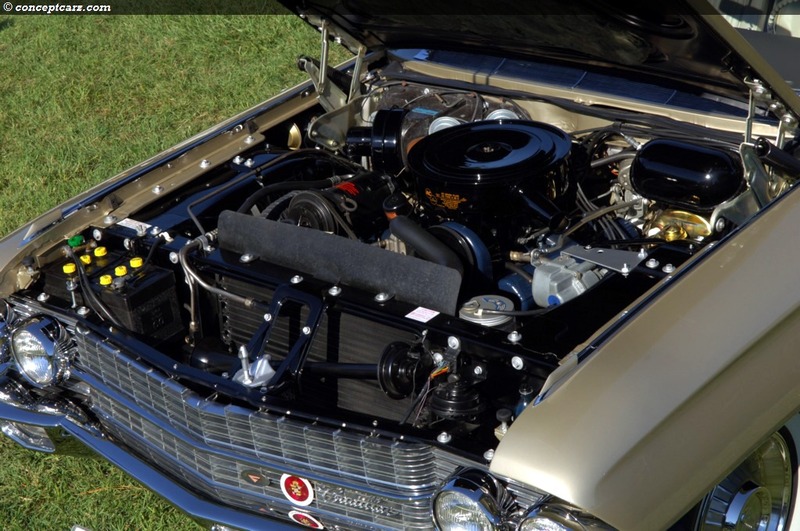 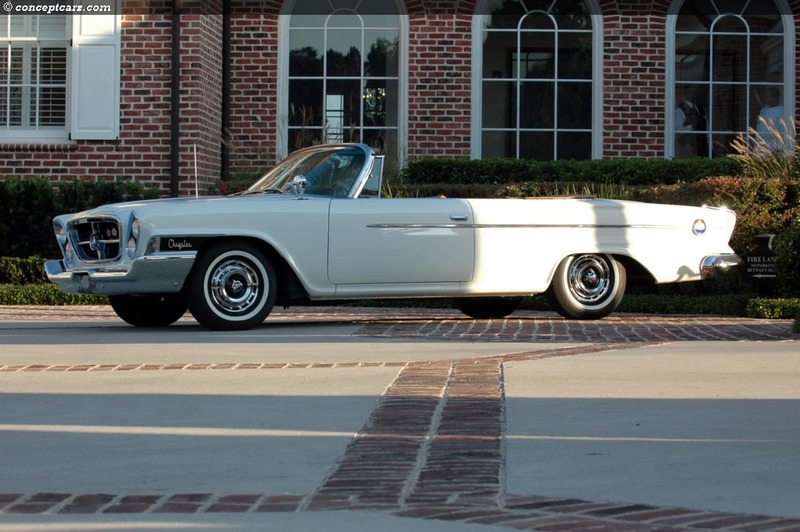 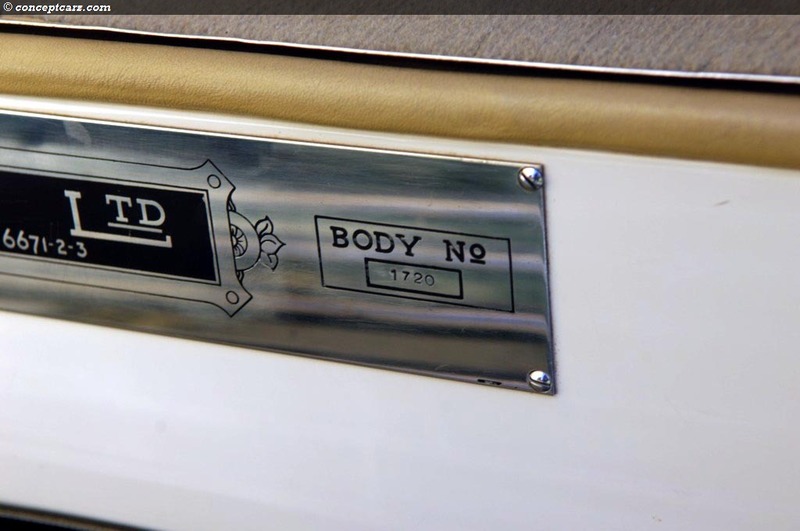 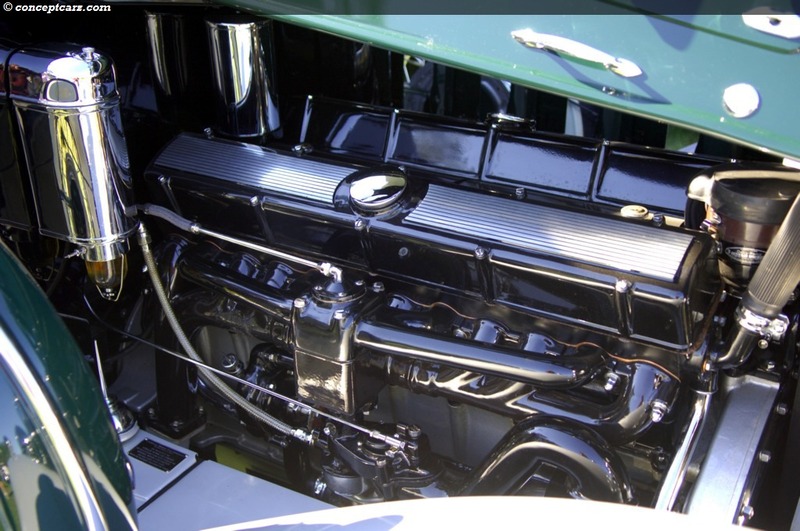 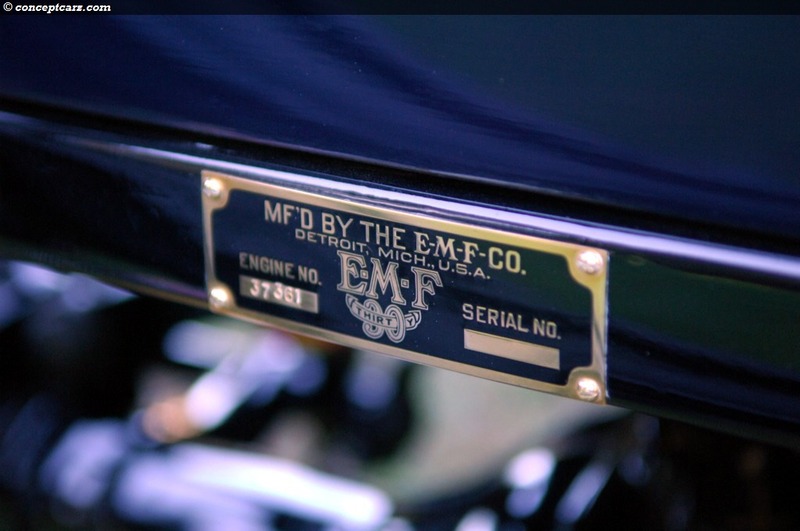 There were a total of 101 Eldorado Broughams produced in 1960 and each had a sticker price of over $13000, putting them in the ultra-luxury price-range category competing with Rolls-Royce. 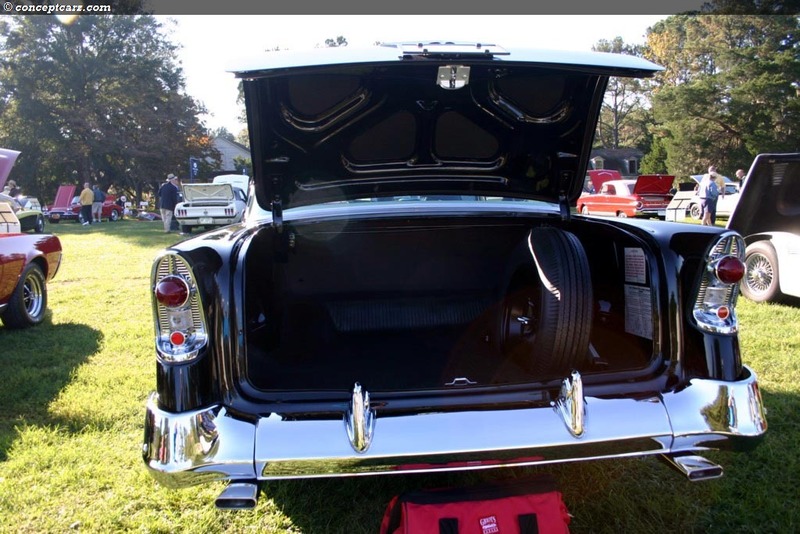 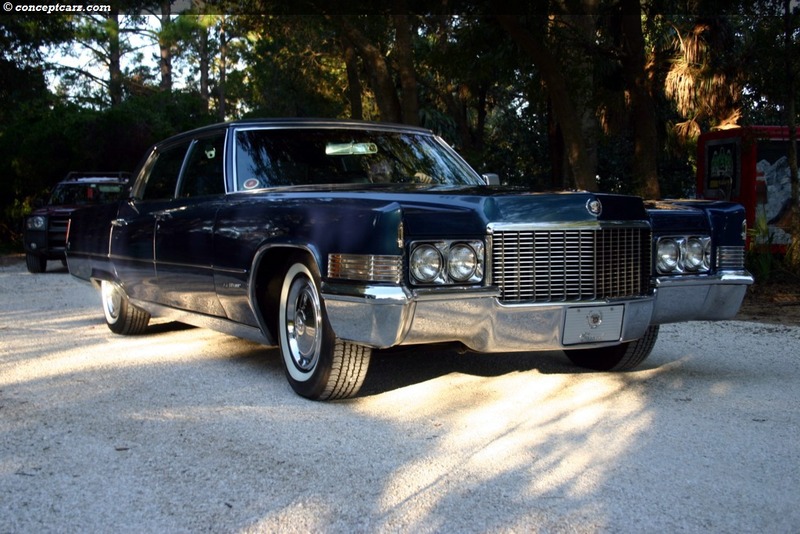 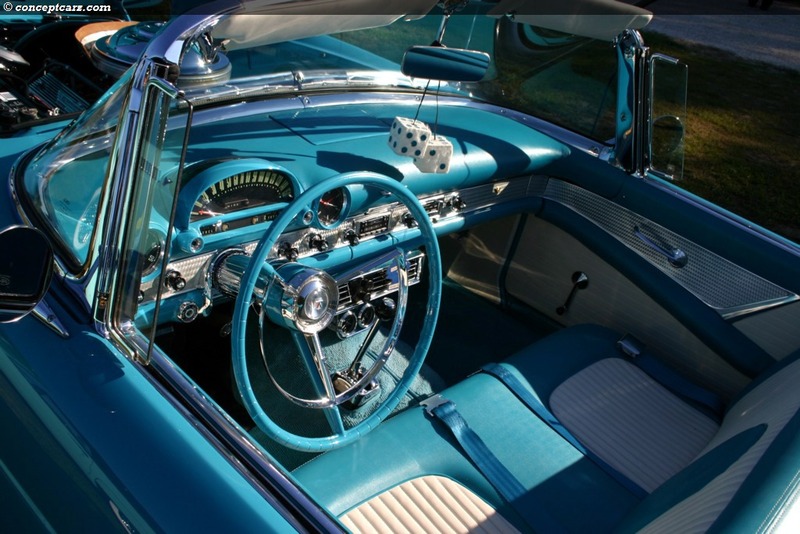 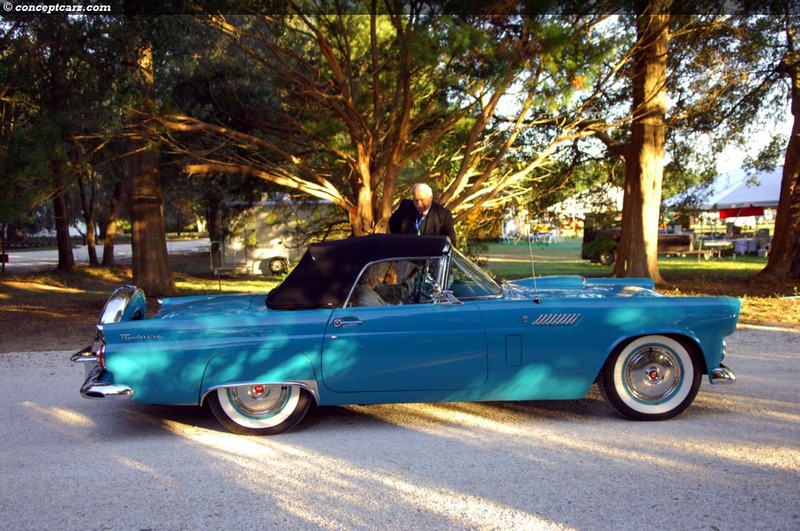 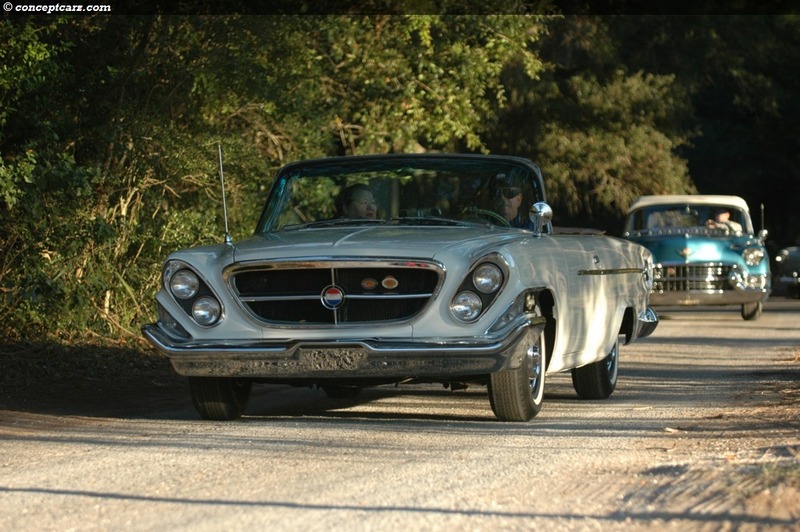 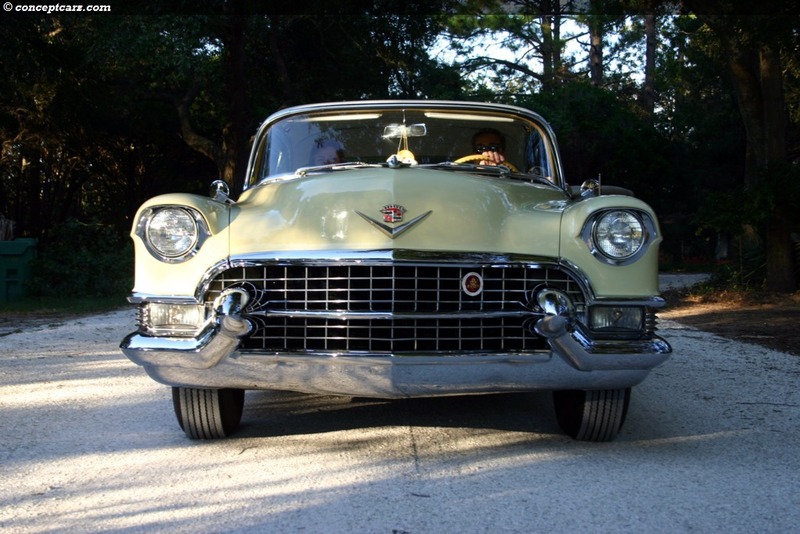 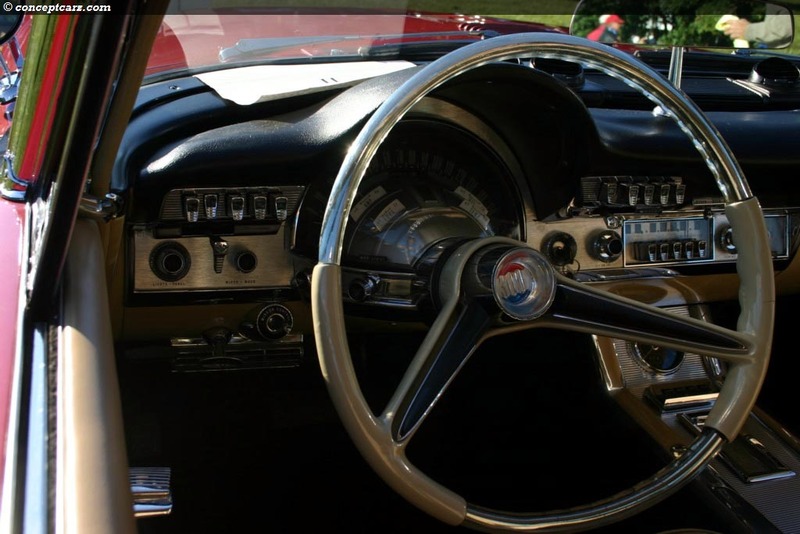 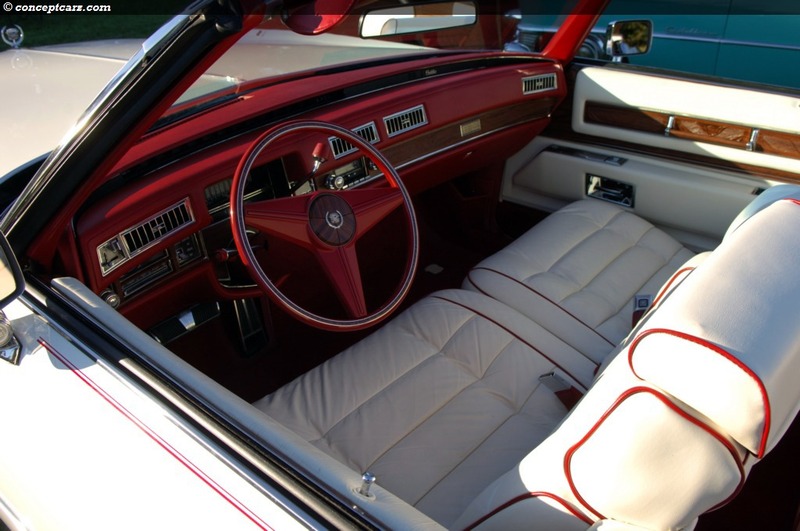 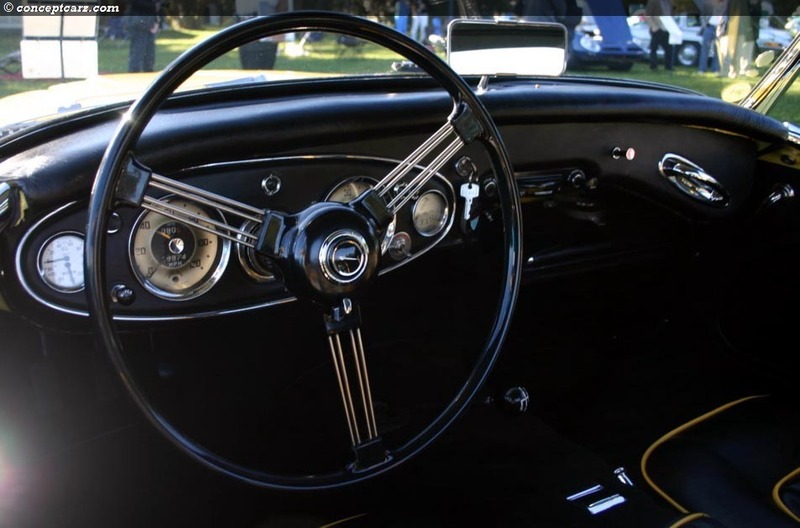 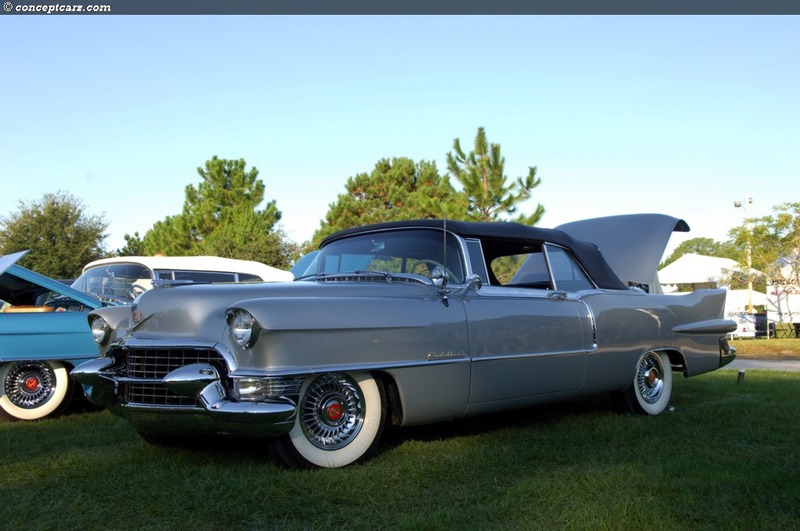 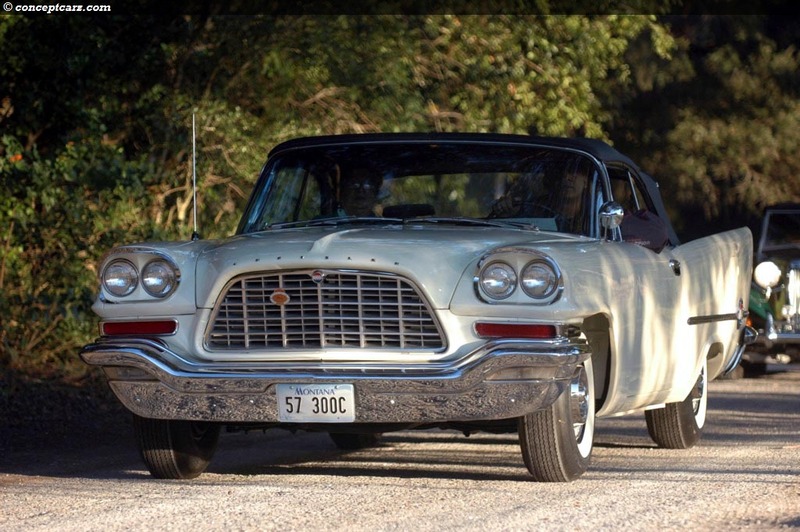 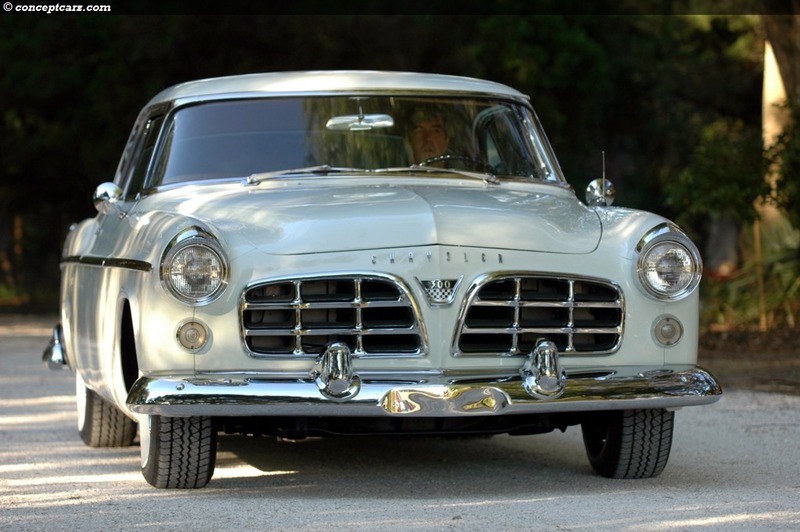 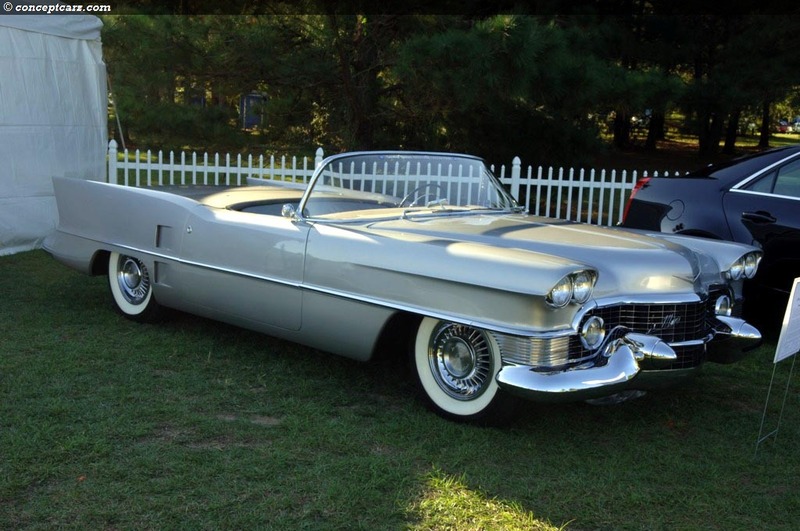 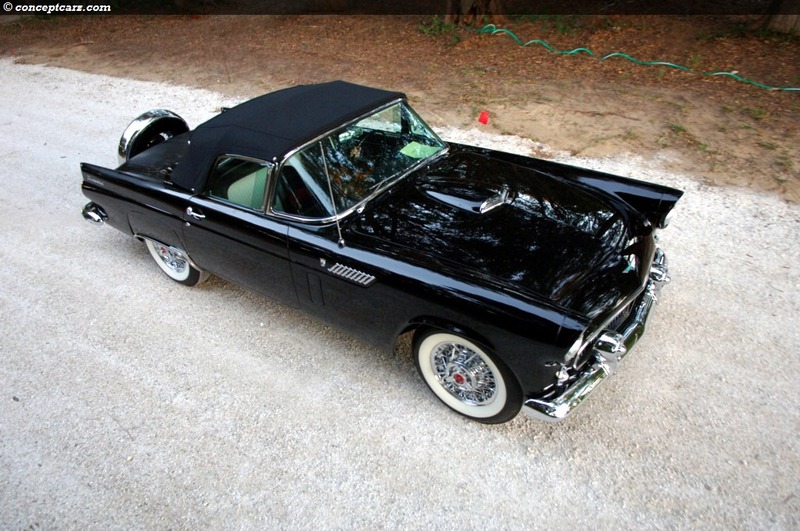 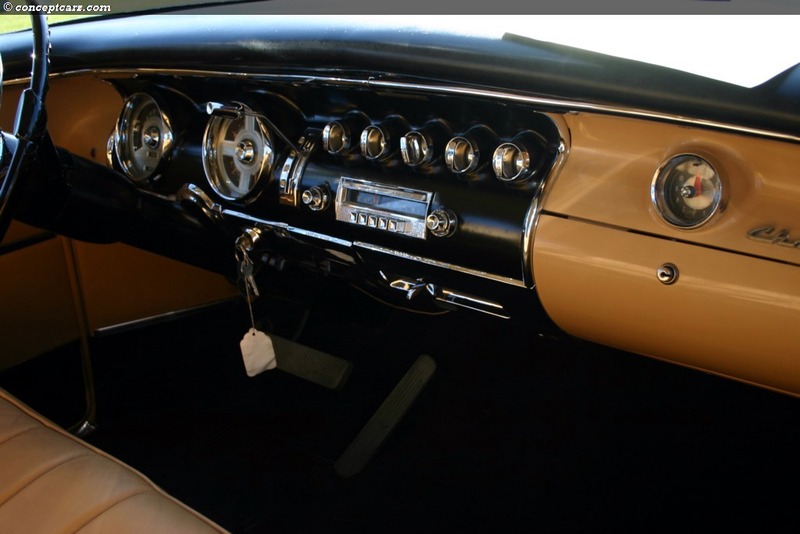 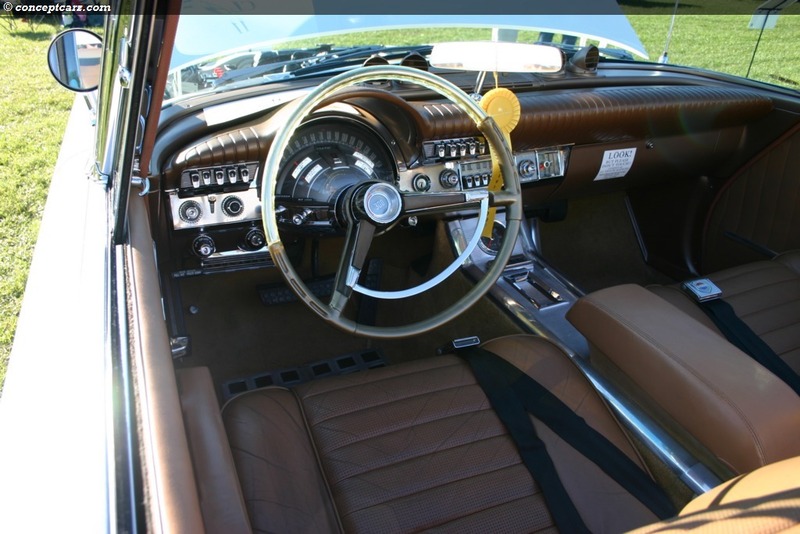 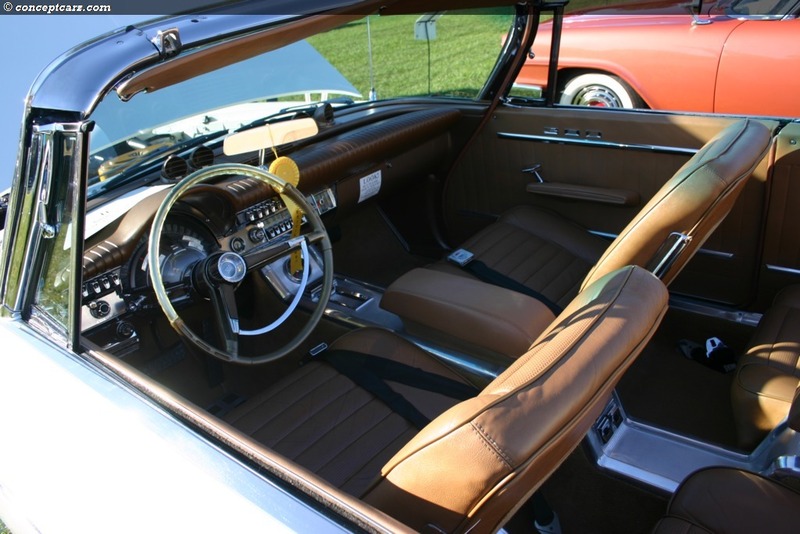 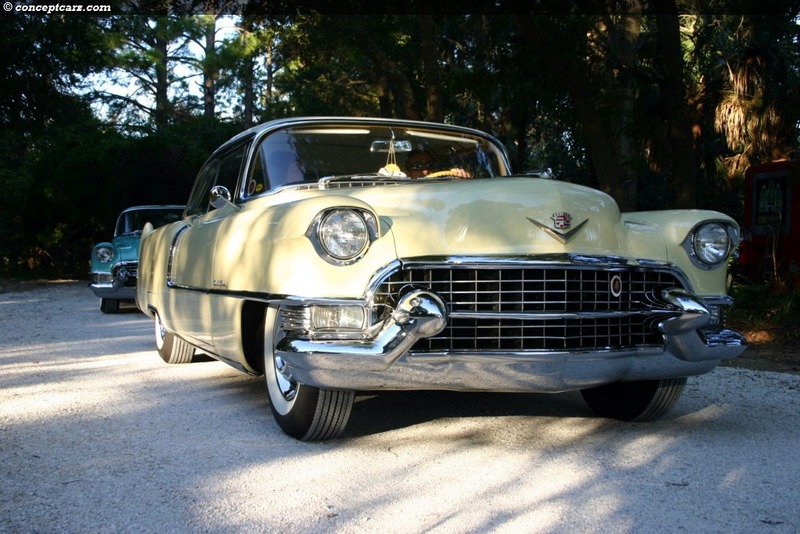 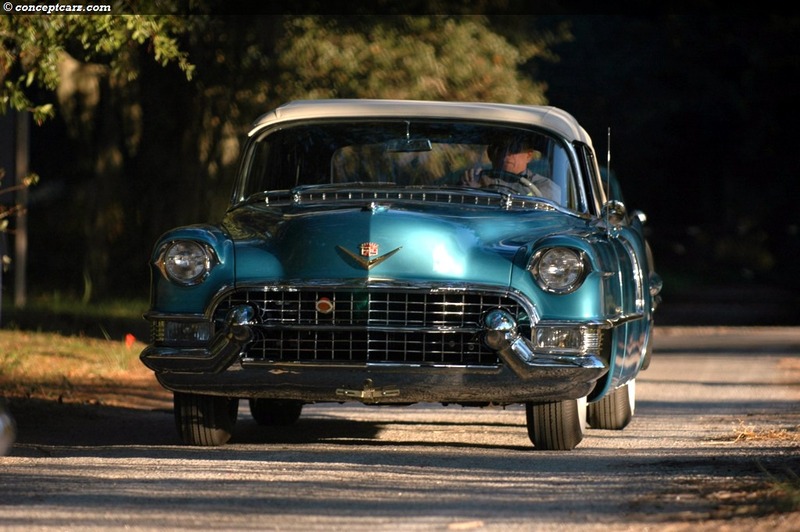 The styling was handled by Cadillac's top stylist, Dave Holls and Chuck Jordan, with the custom body work handled by the legendary coachbuilding firm, Pinin Farina. 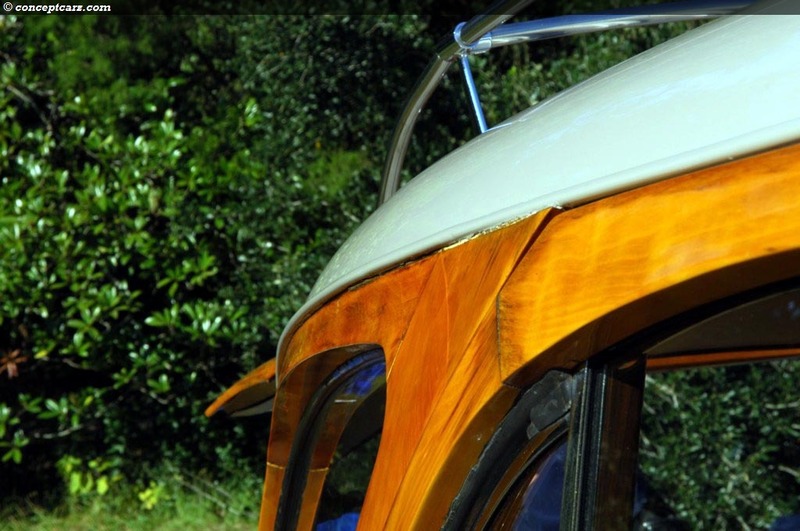 All of the body panels were hand hammered into shape. 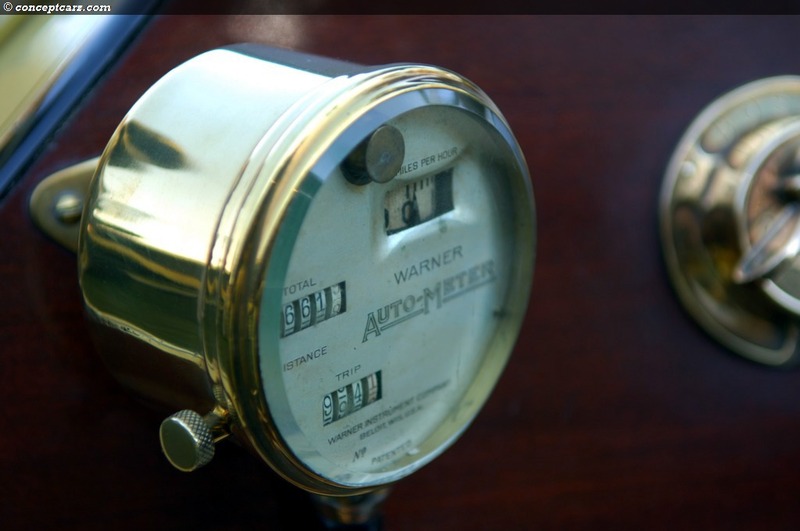 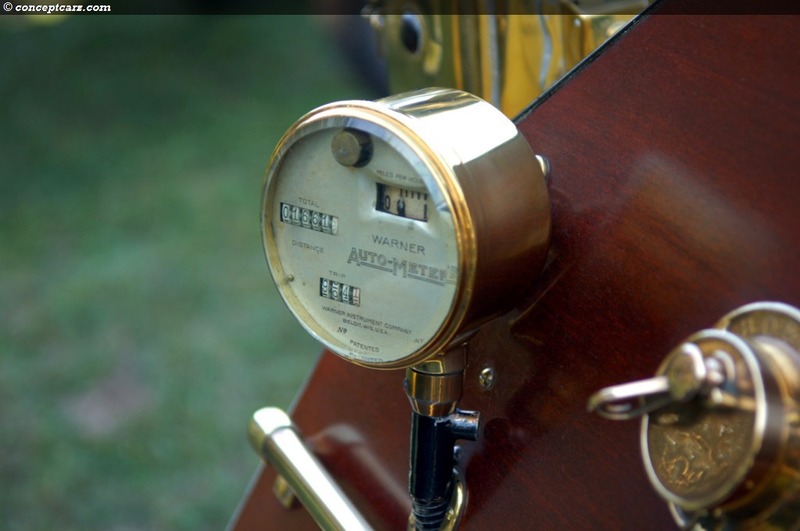 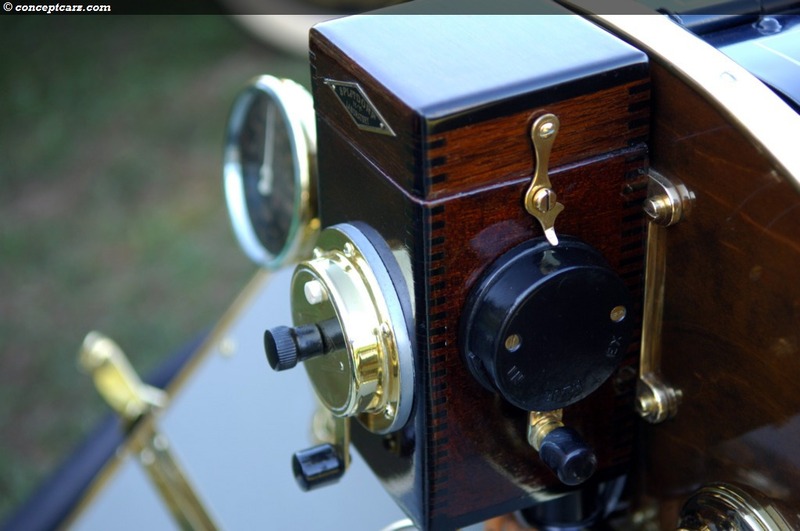 They were outfitted with the most luxurious amenities of the time and given a price tag that was far out of reach of most consumers. 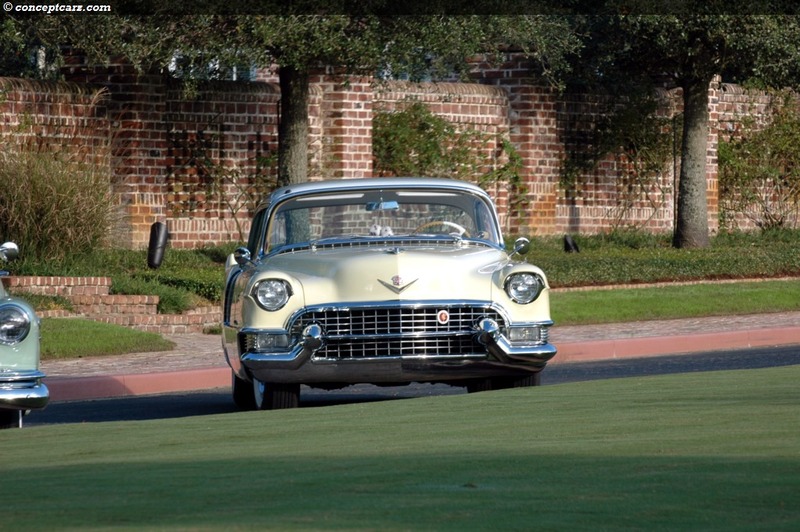 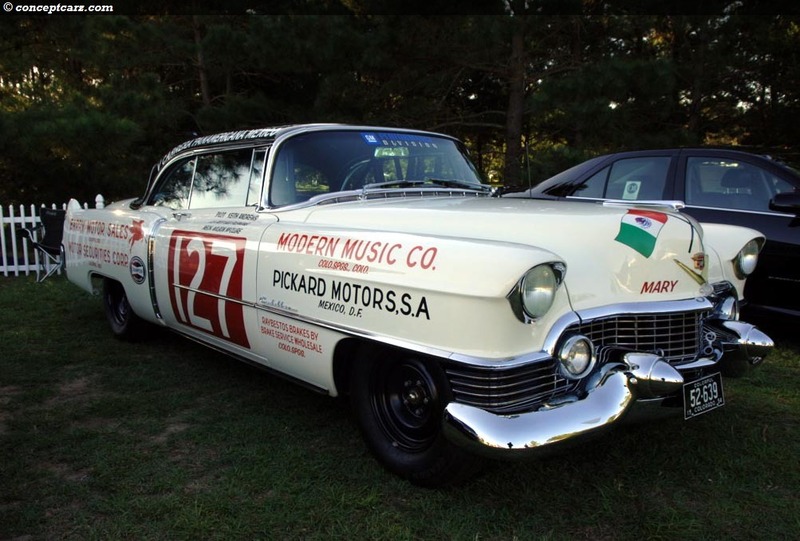 The GM Heritage Collection brought a few of their Cadillac's, such as the Cadillac LeMans, named in honor of Briggs Cunningham's efforts in the 1950 Lemans 24 Hour race. 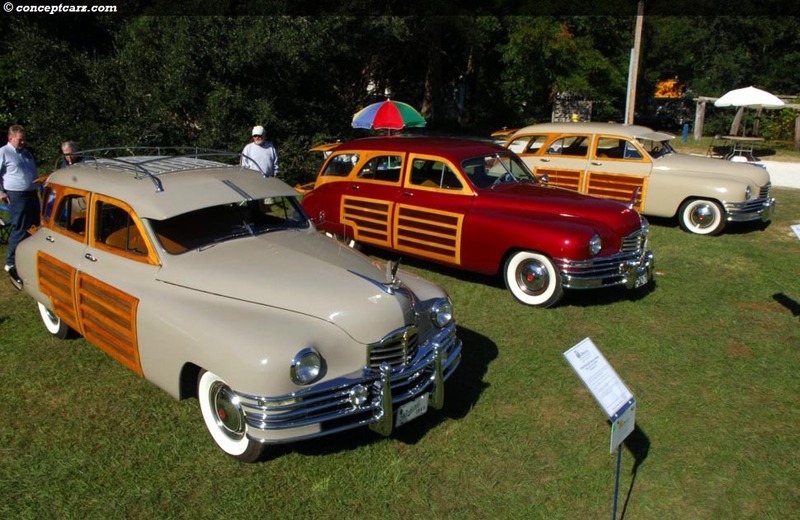 The four examples created were given fiberglass bodies and used for various shows and exhibits. 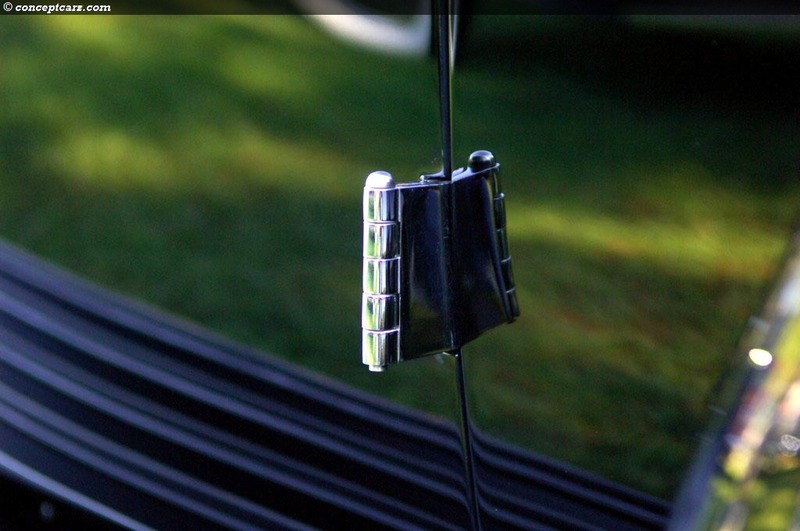 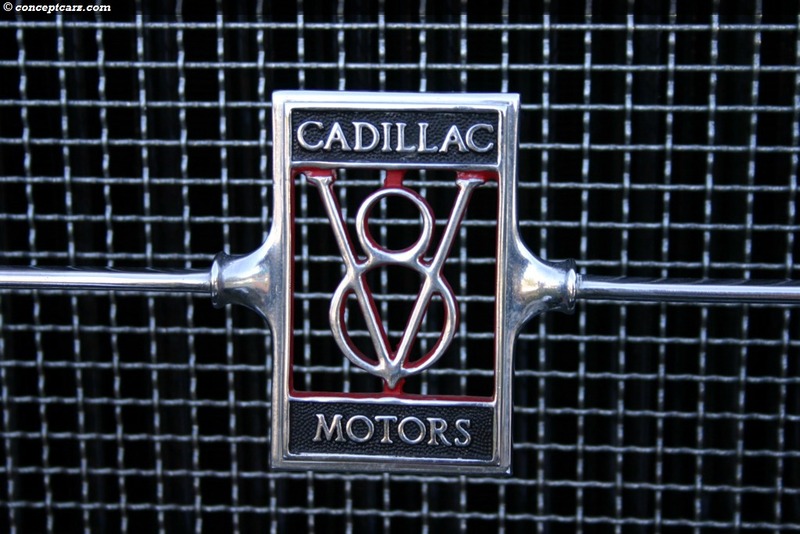 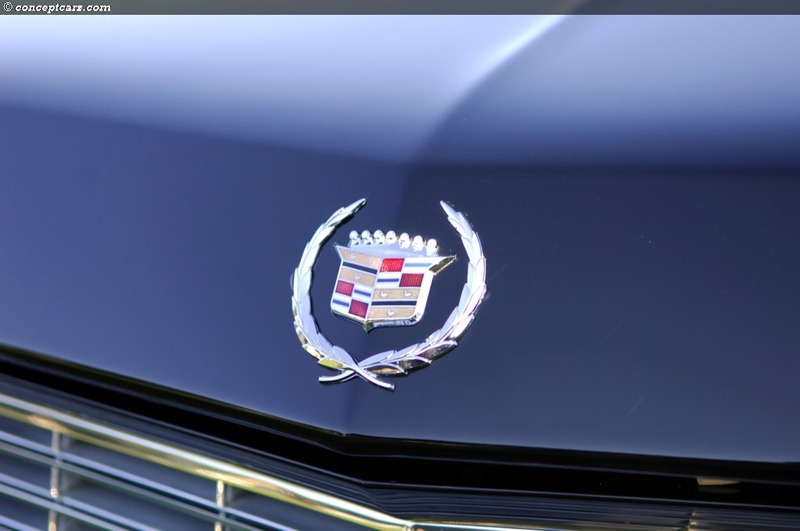 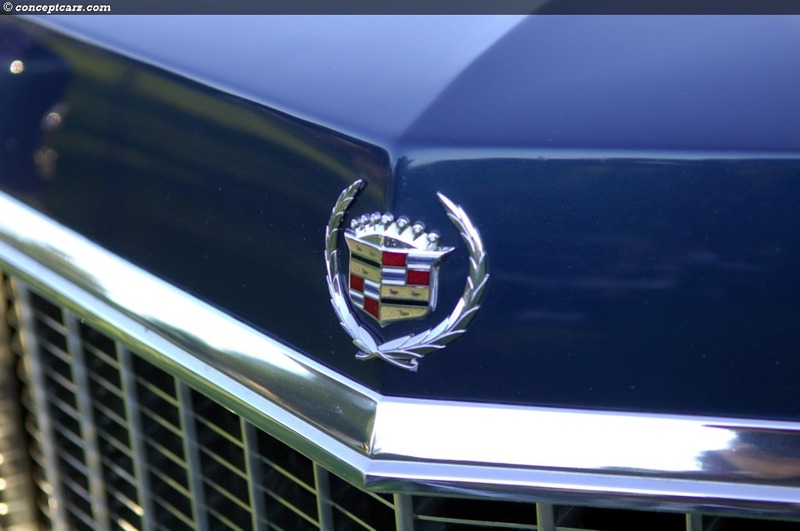 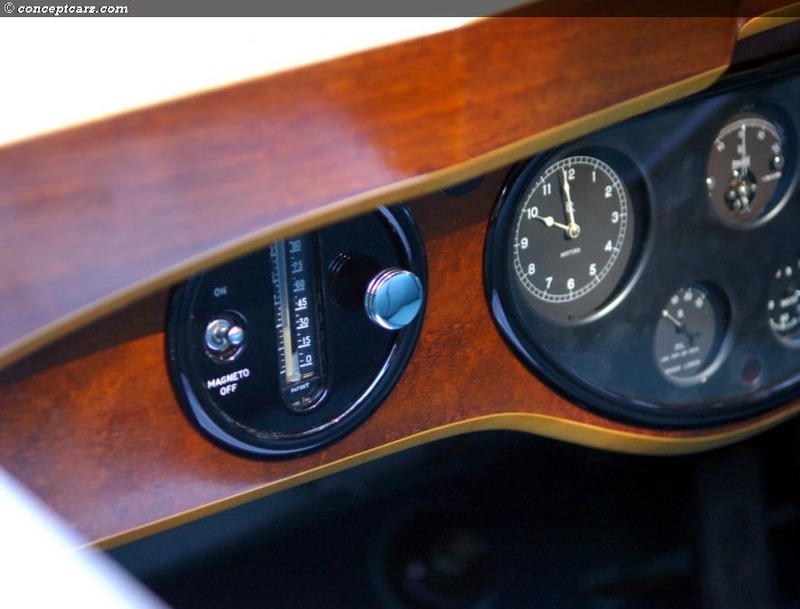 All-in-all, a great display of the evolution of design and mechanical prowess by the Cadillac marque. 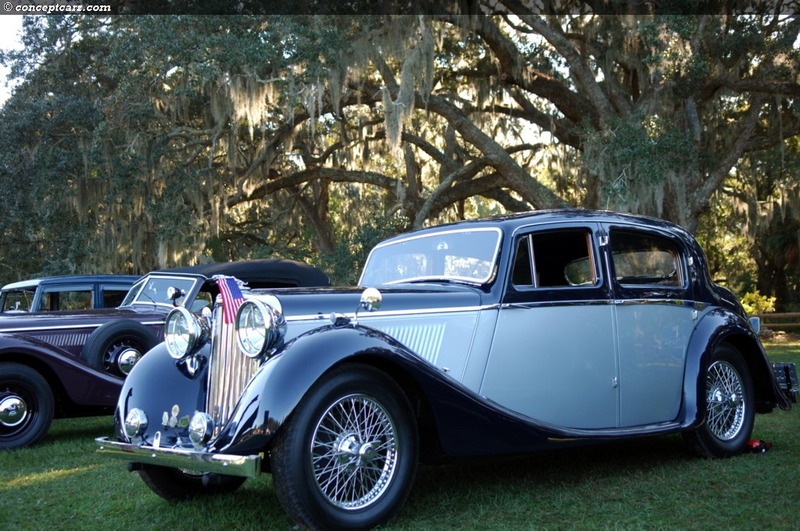 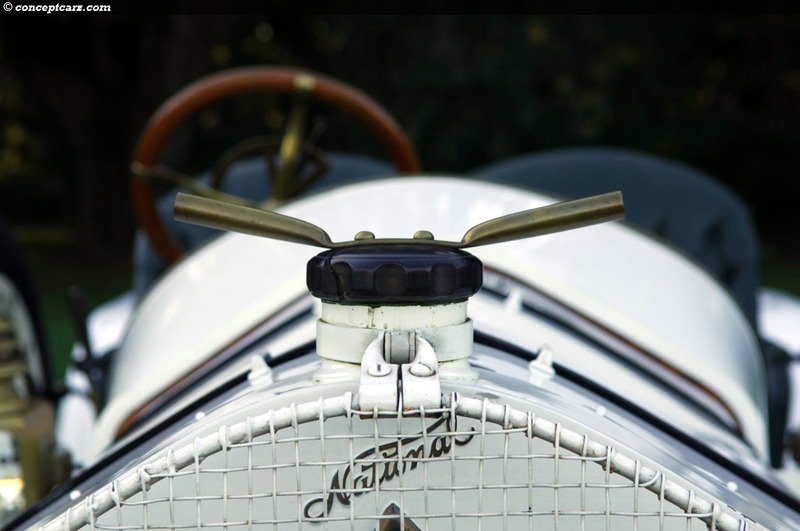 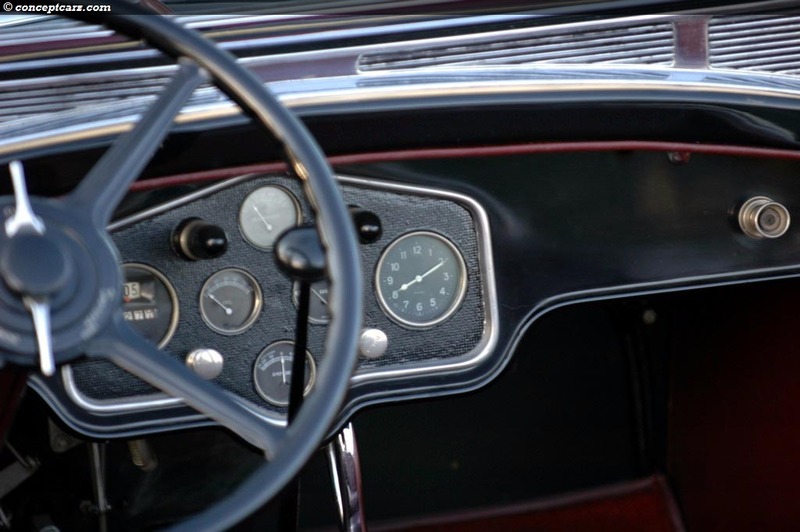 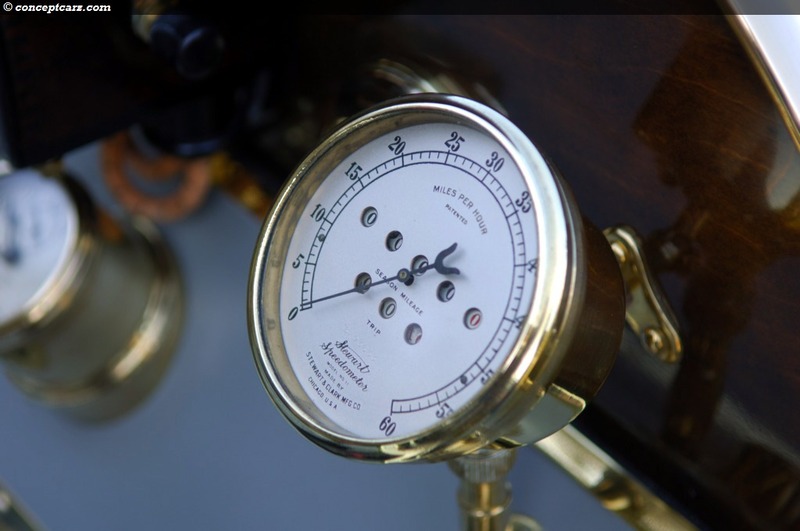 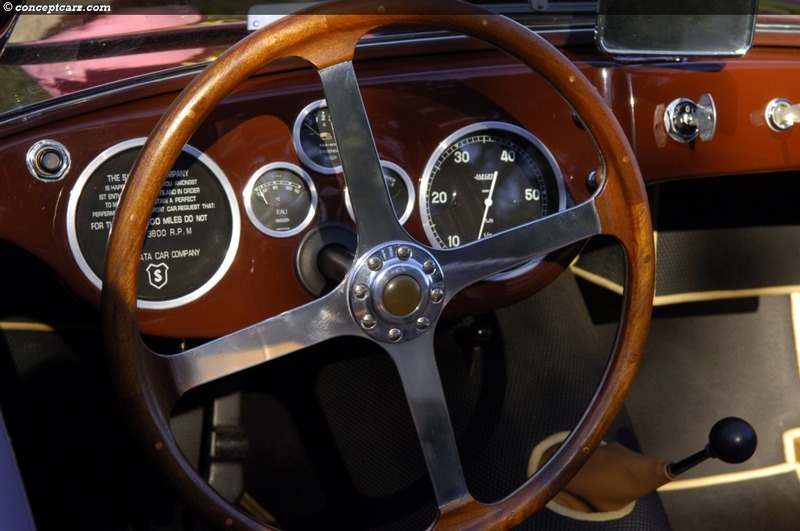 The popular way of determining the Best of Show at concours events is the French styling of judging, which focuses on historical importance, style and beauty. 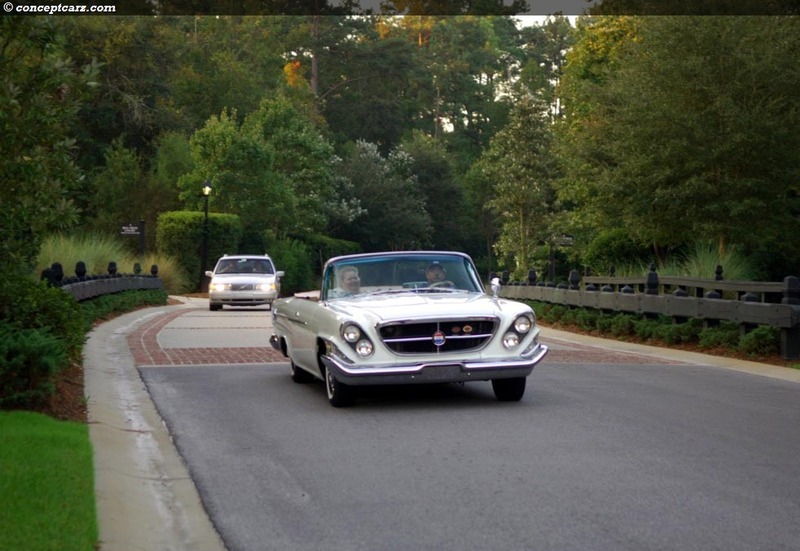 At Hilton Head, the judging utilizes this system plus a score sheet which includes mechanical operation and fit & finish. 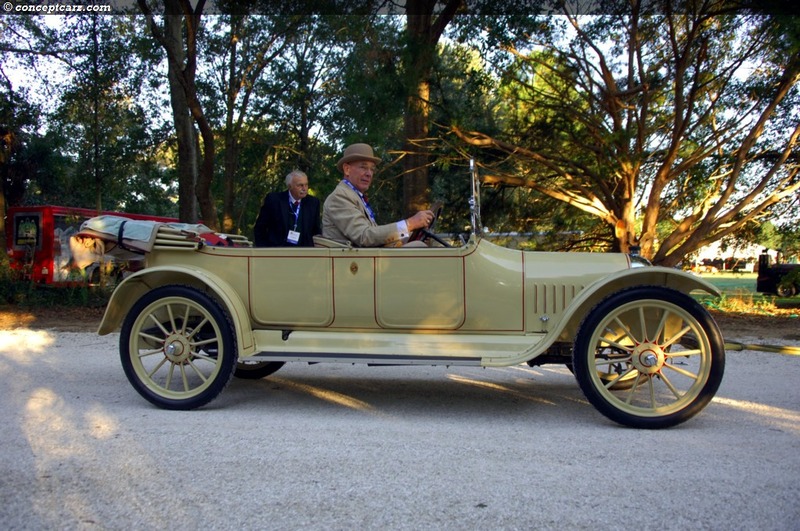 The resume of judges is rather impressive, attracting some top collectors, and ensuring proper critique of the automobiles. 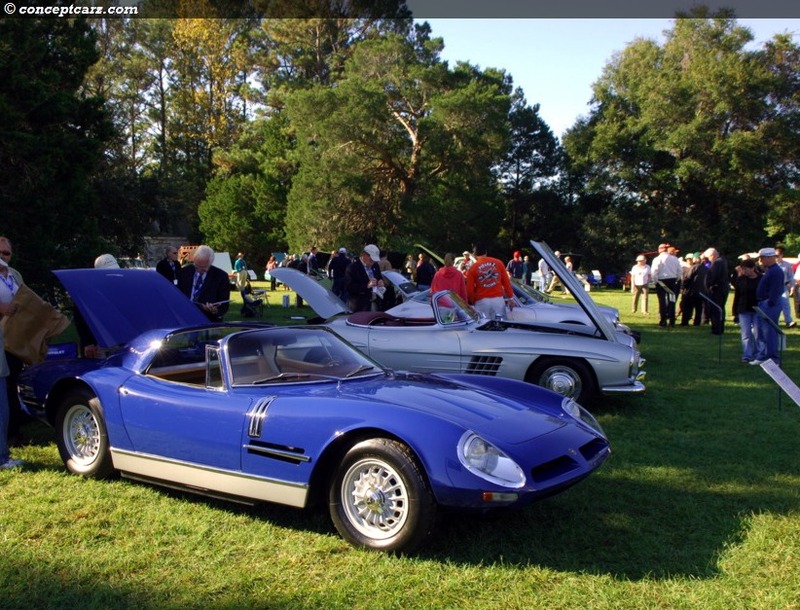 The driving tour, held a few days prior to the concours, revealed a few potential candidates for the Best of Show. 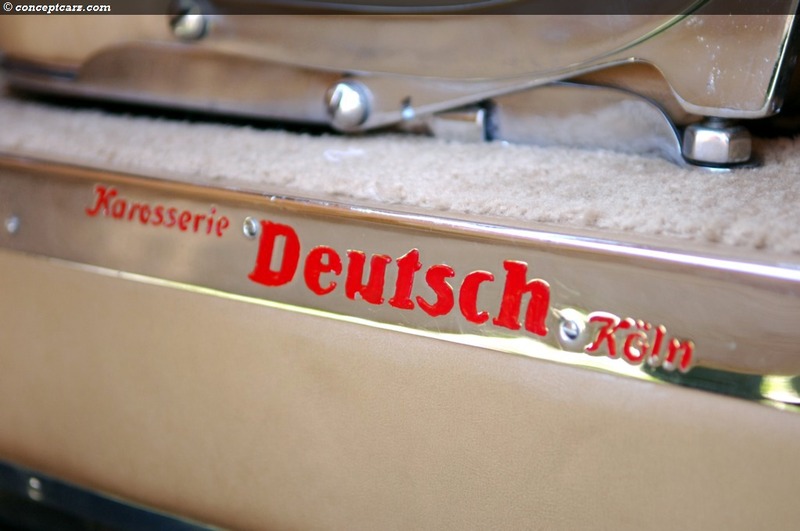 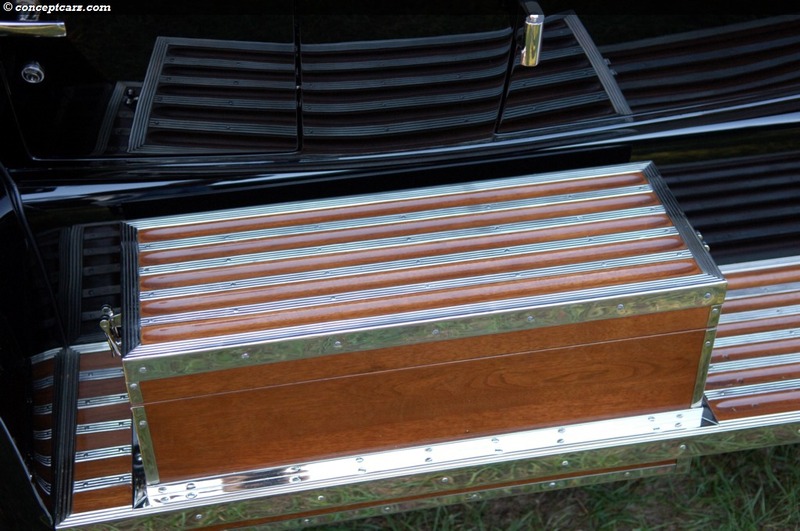 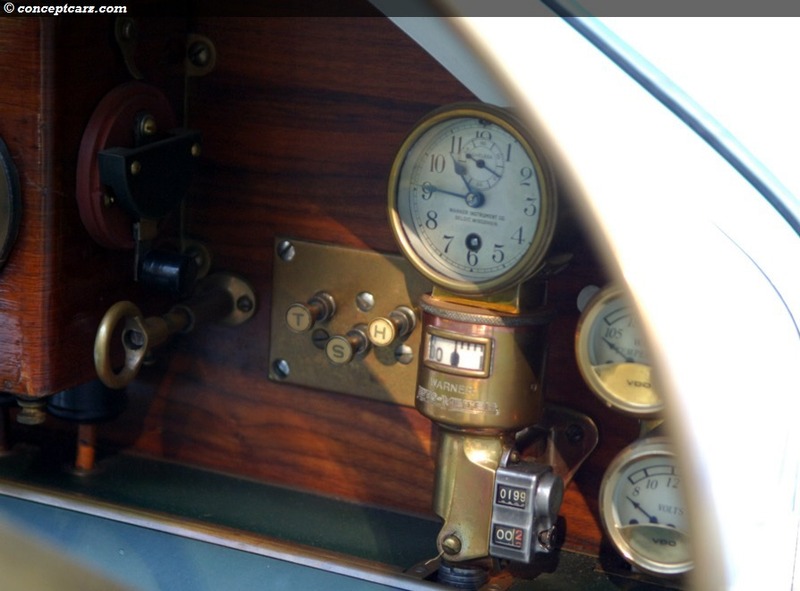 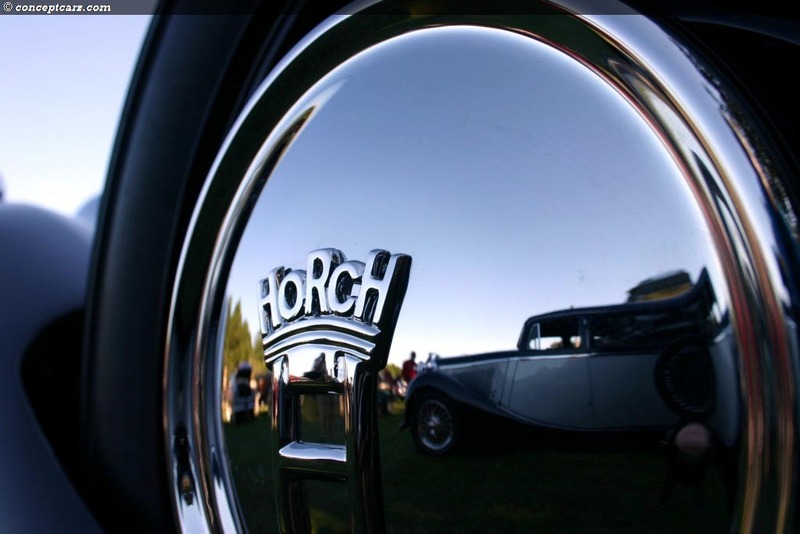 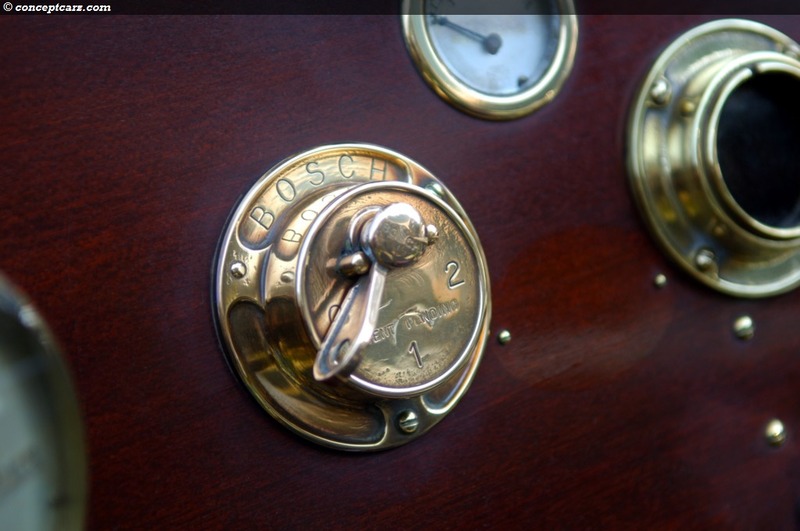 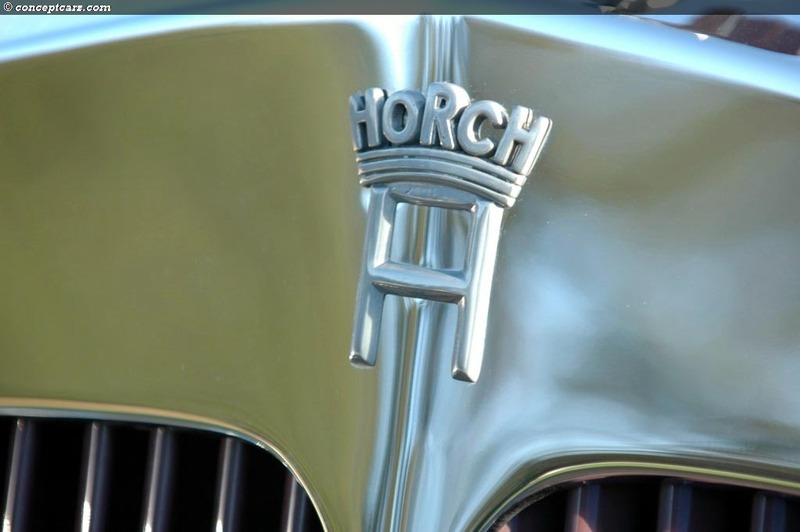 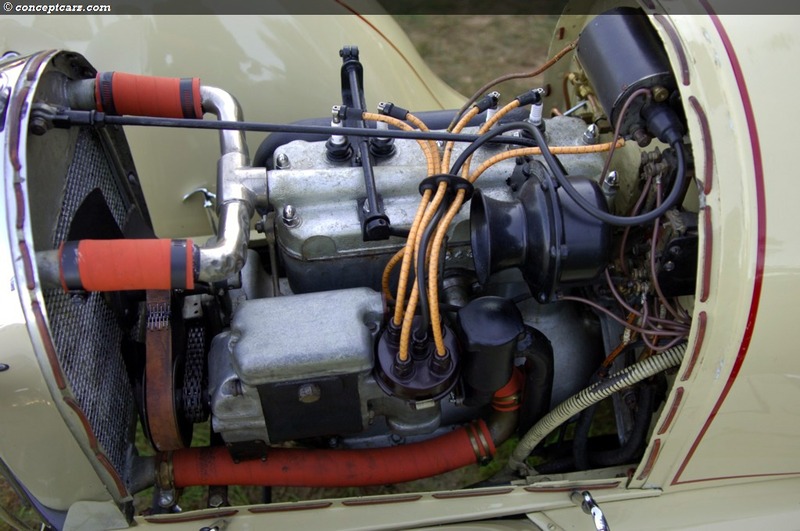 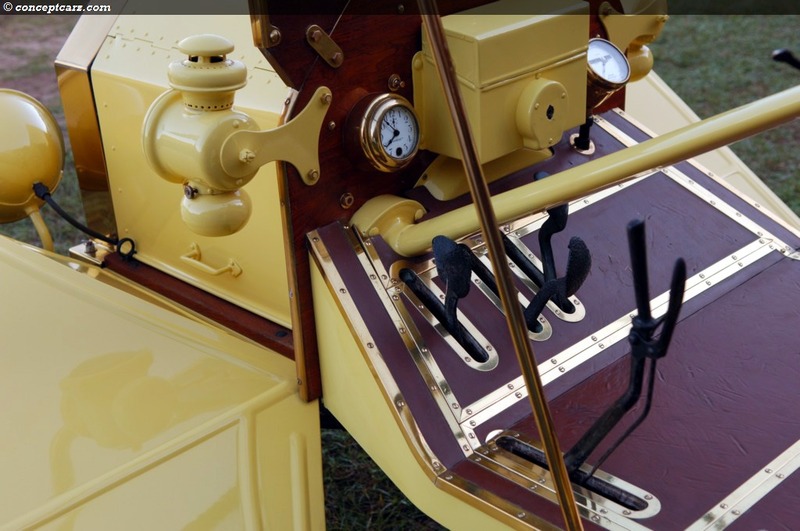 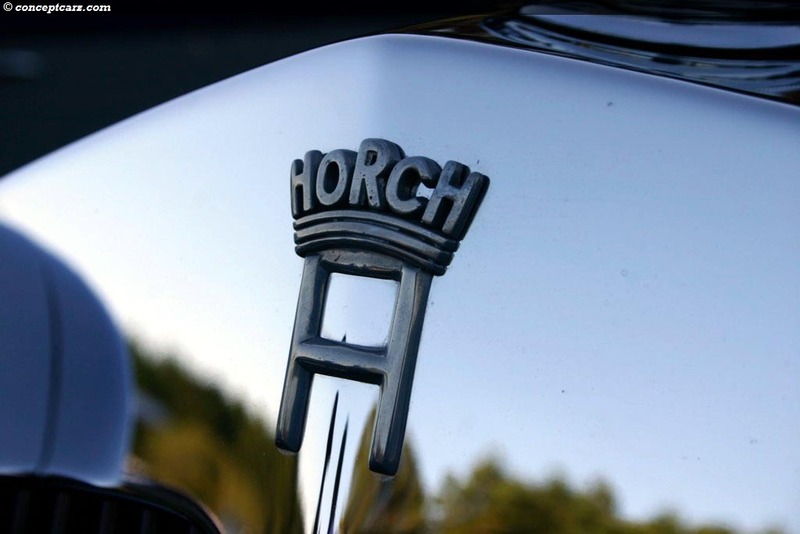 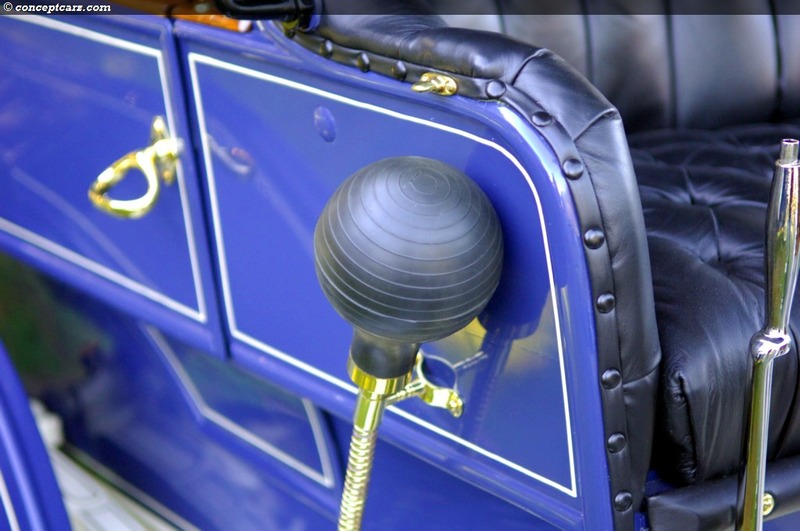 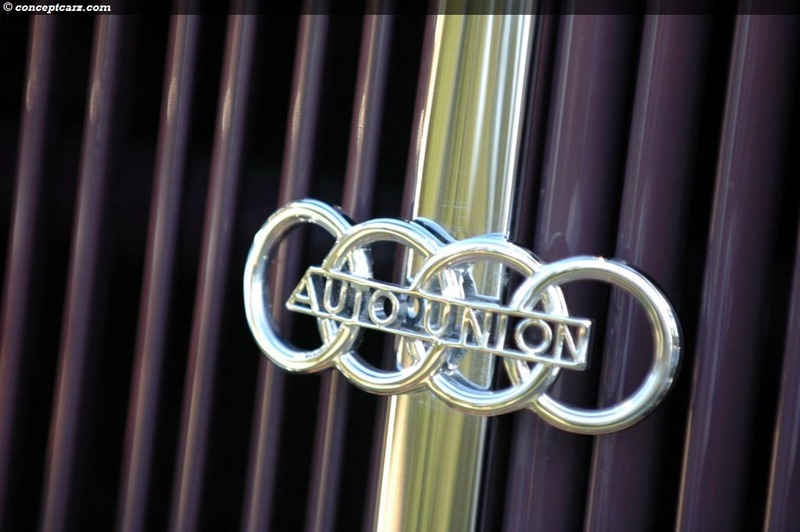 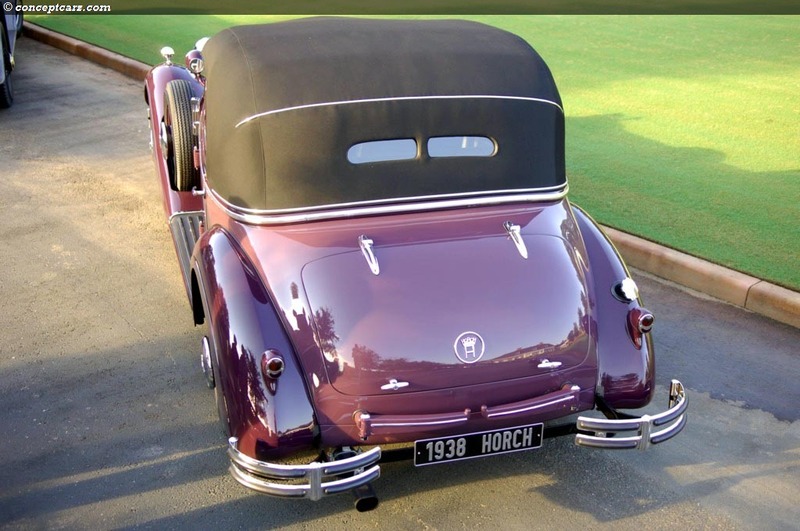 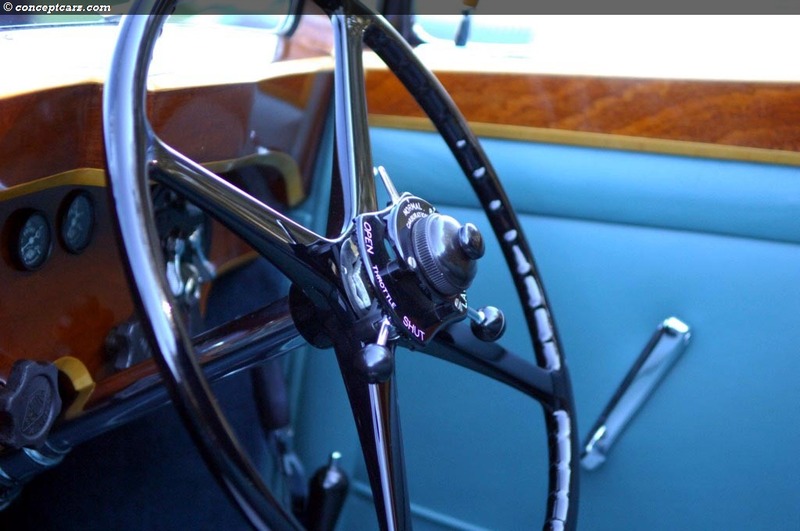 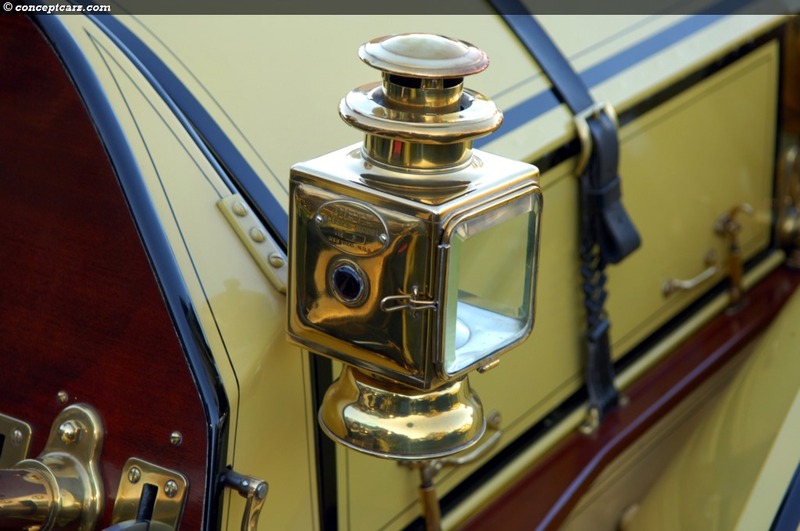 The Horch Phaeton that participated is a very unique, special, and exquisite automobile. 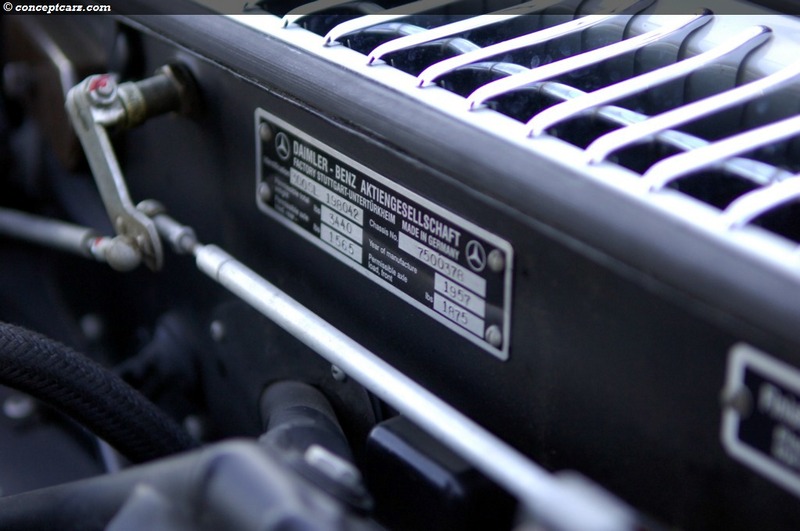 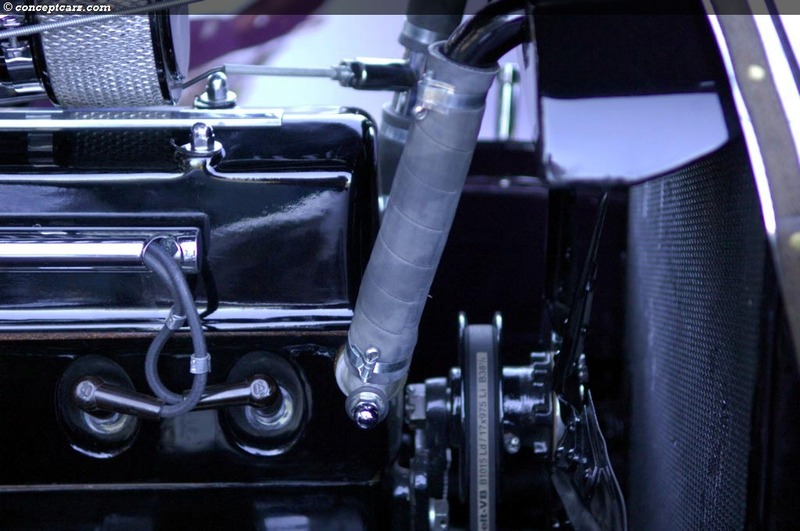 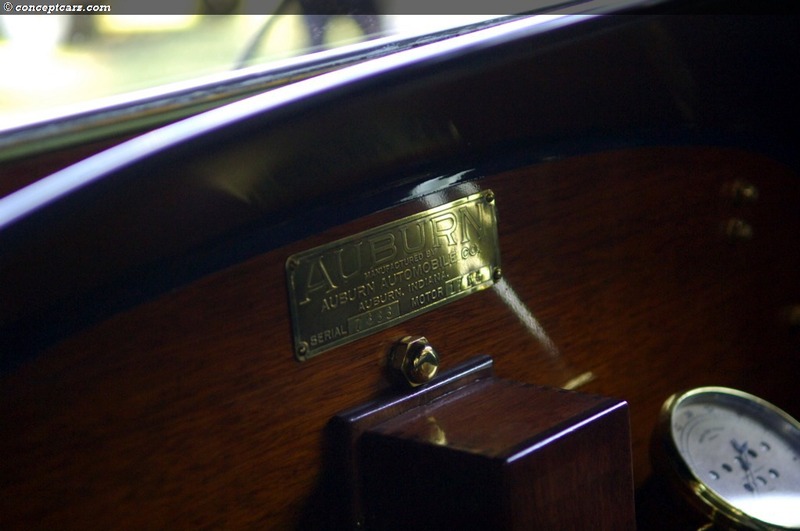 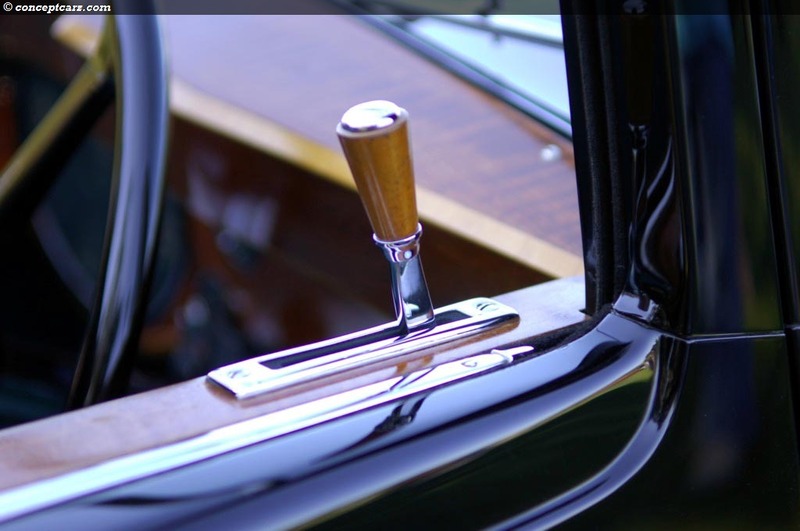 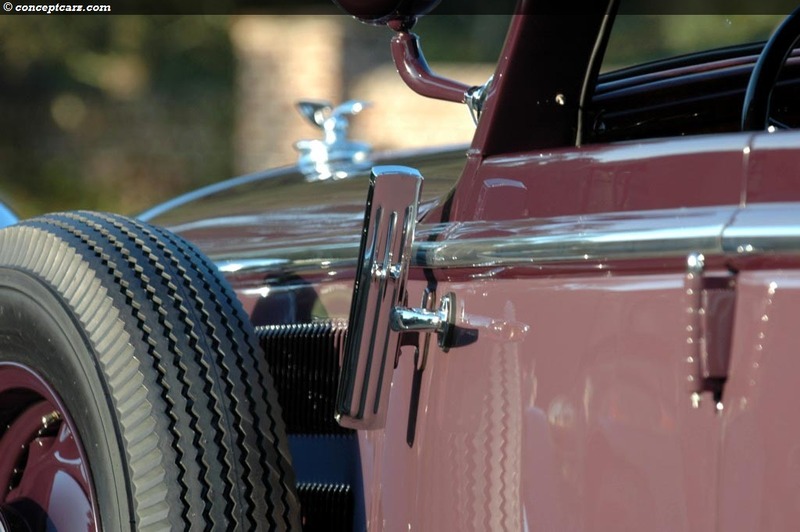 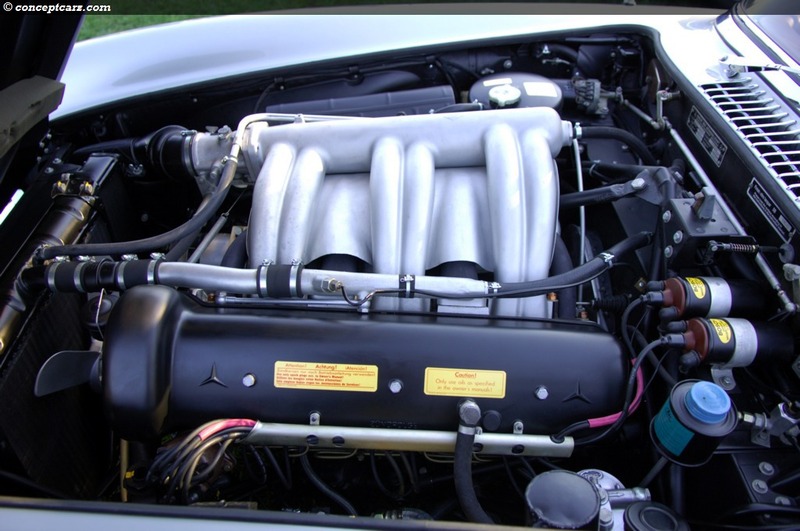 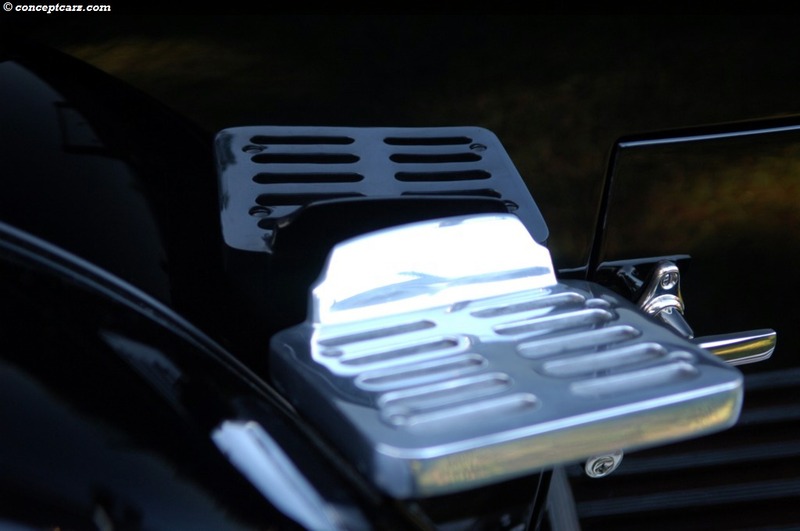 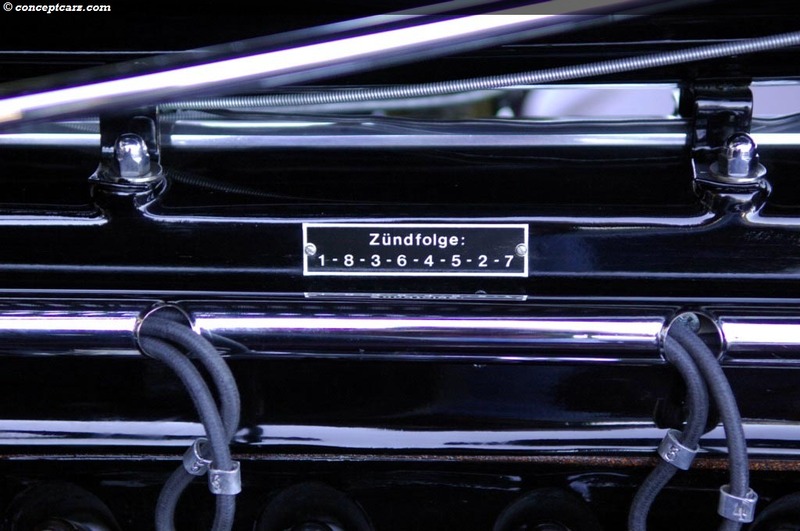 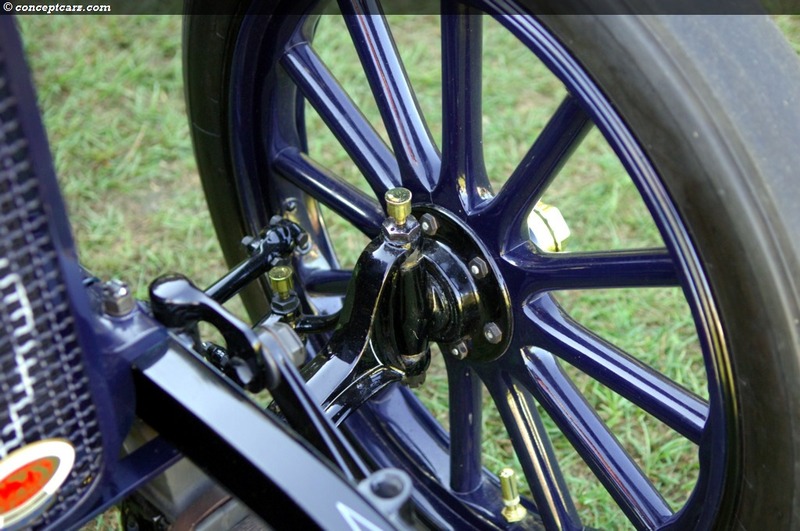 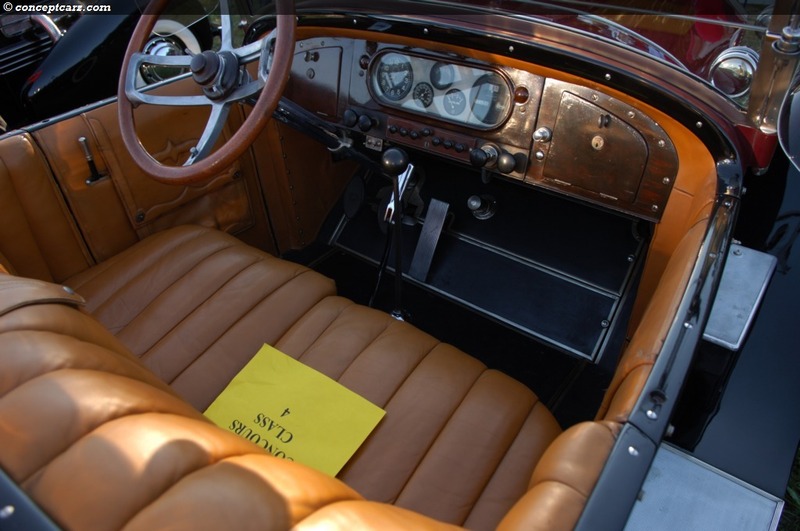 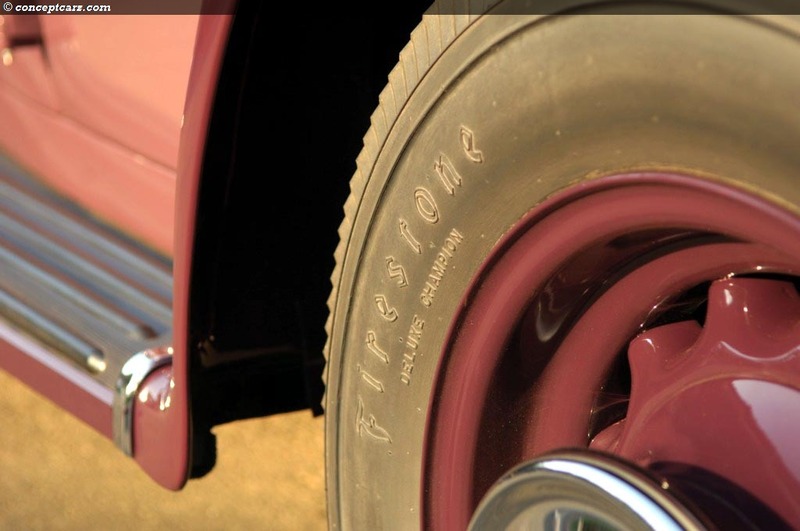 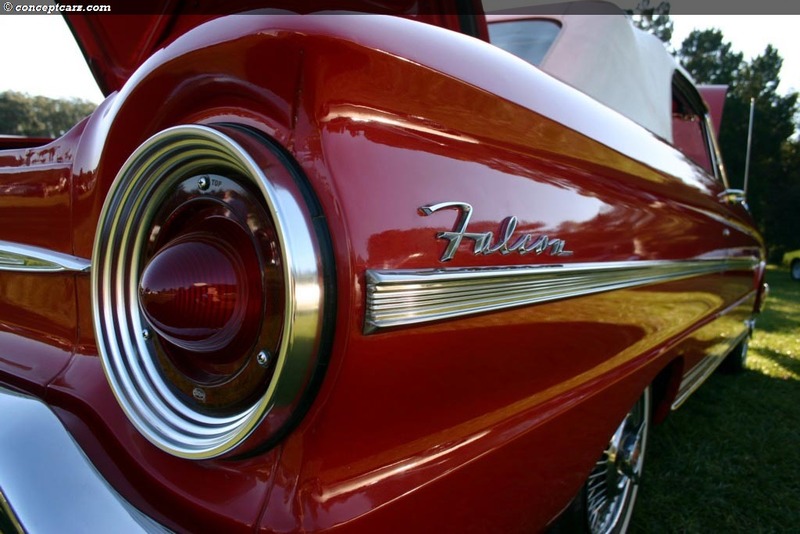 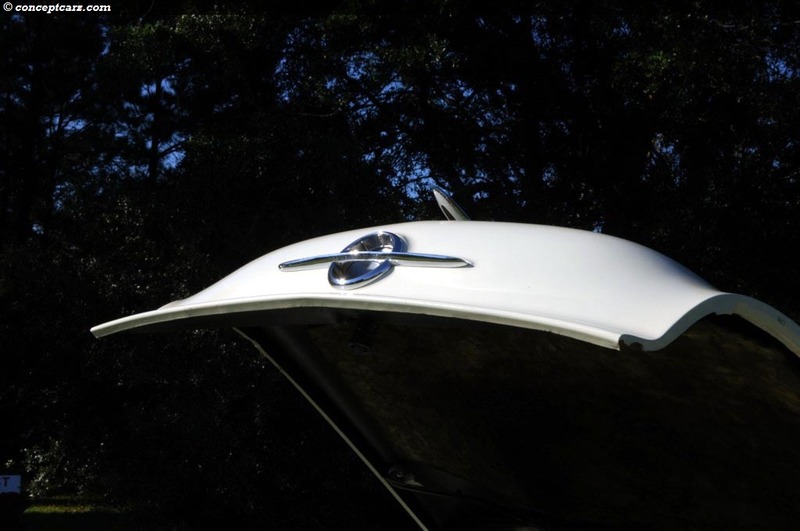 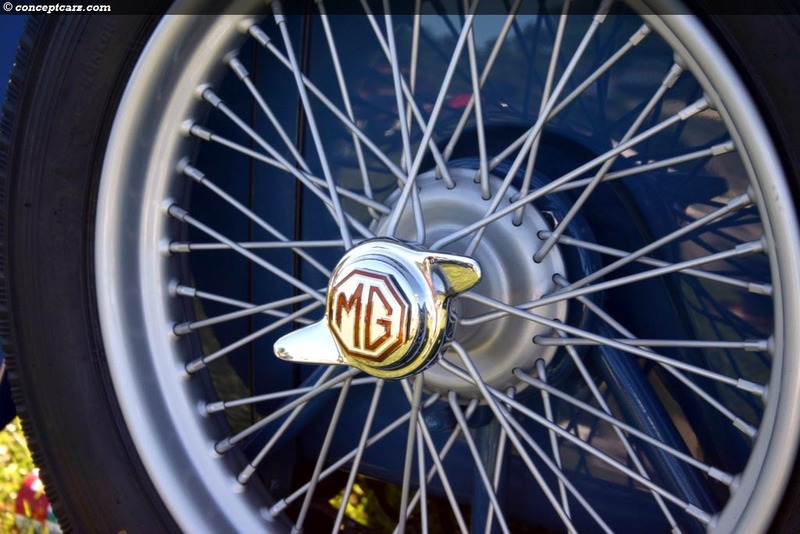 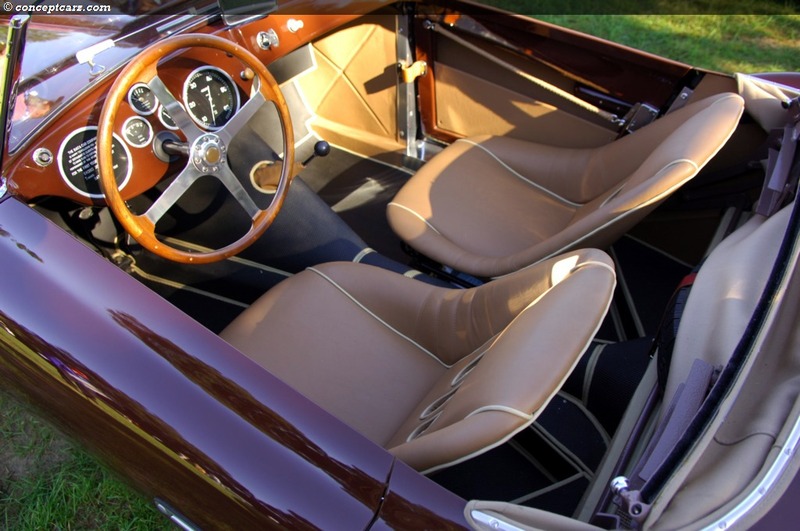 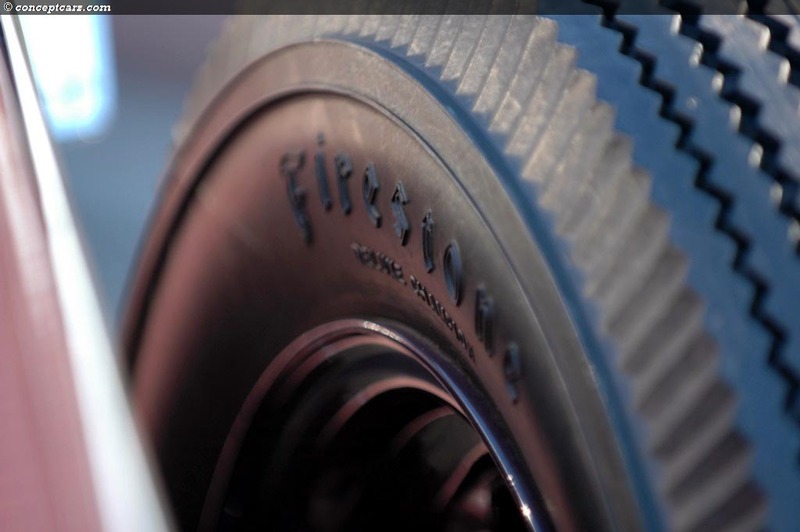 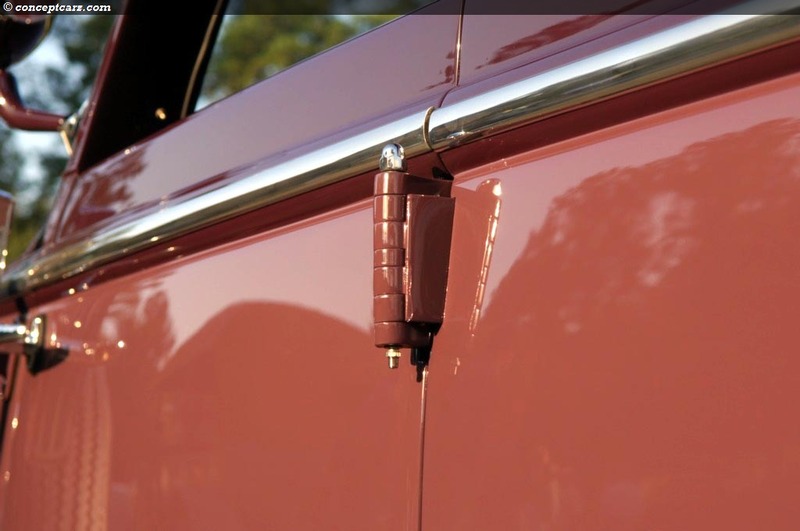 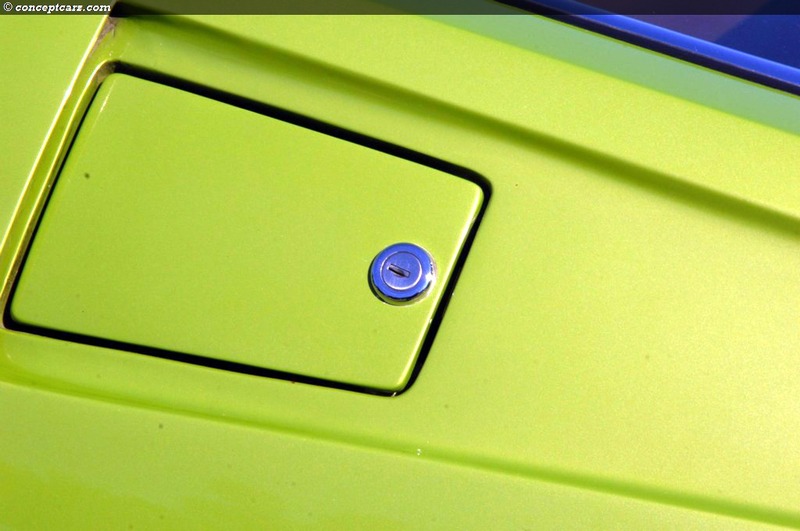 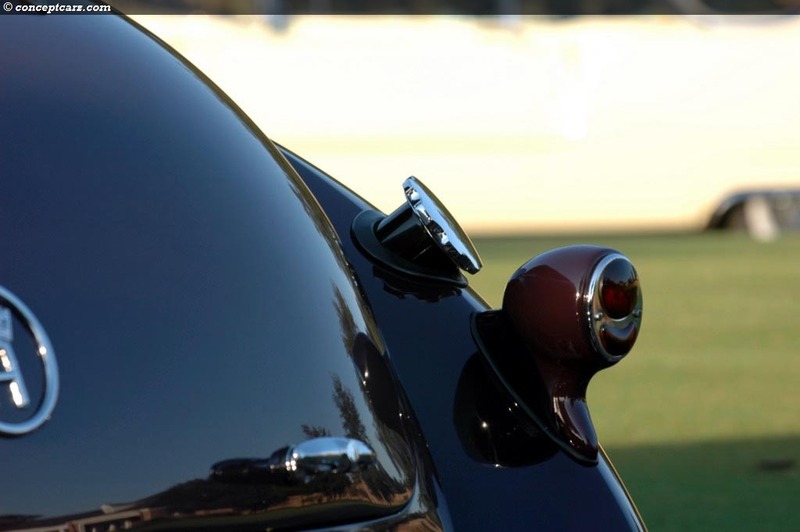 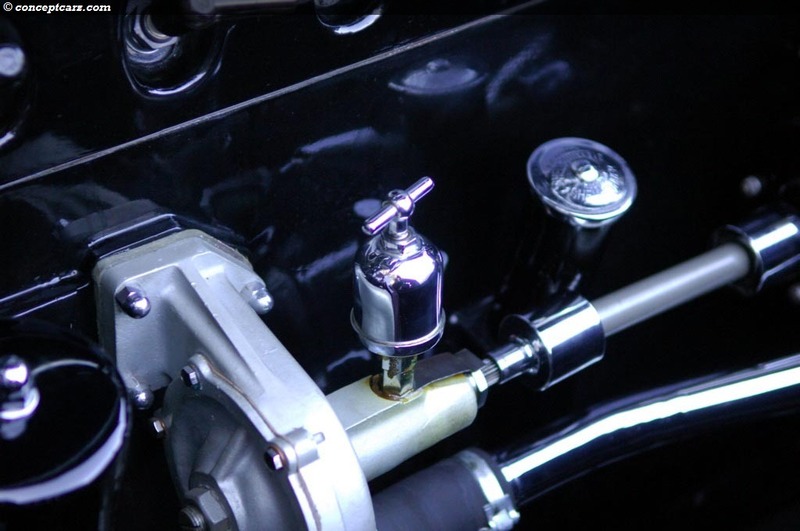 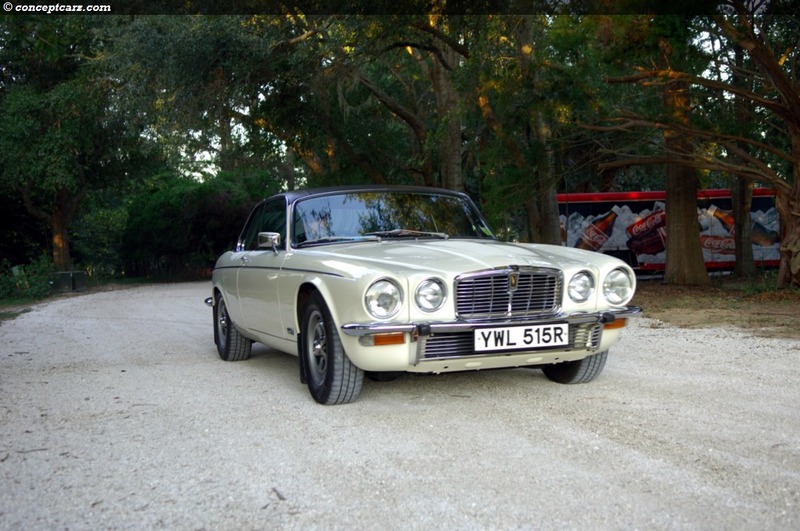 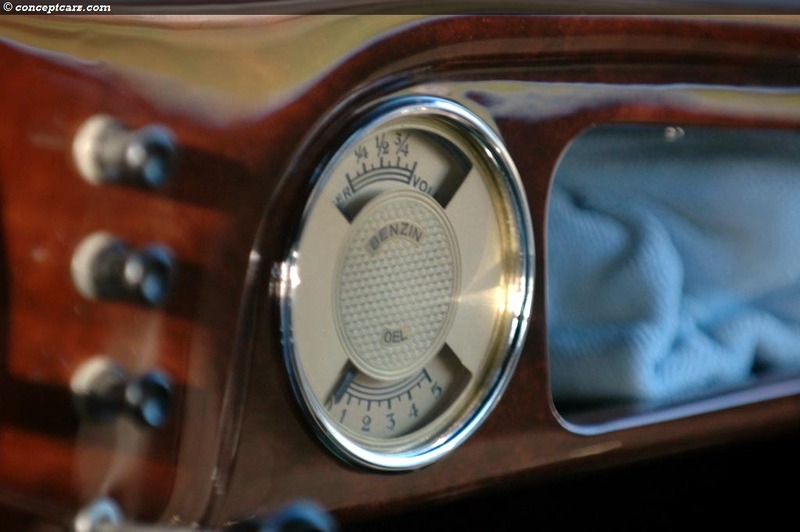 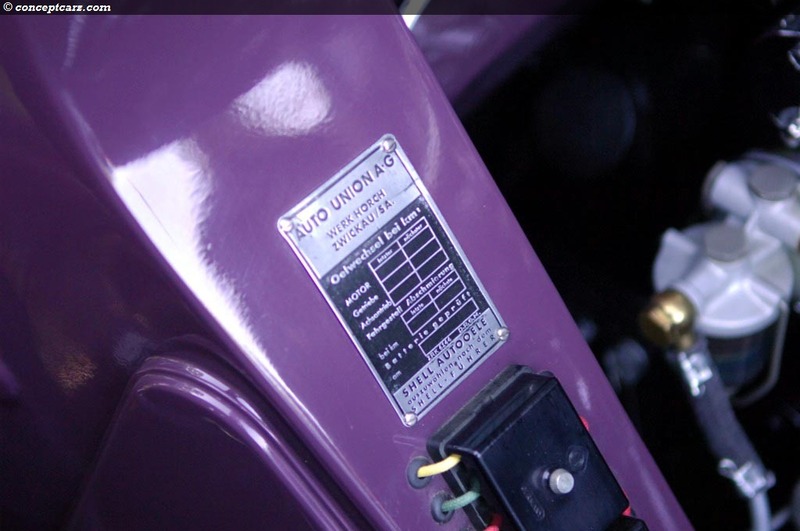 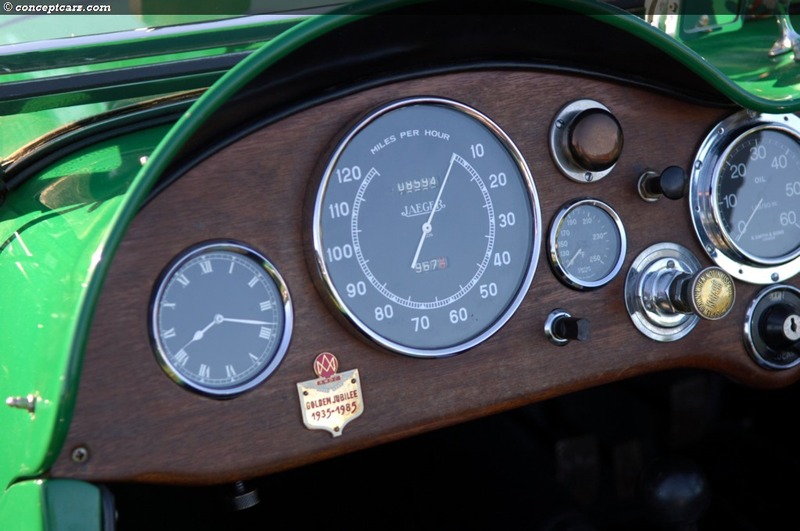 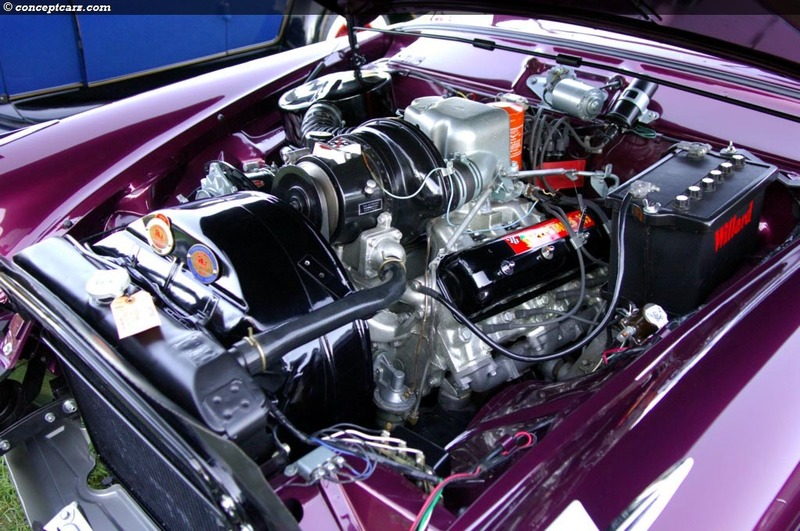 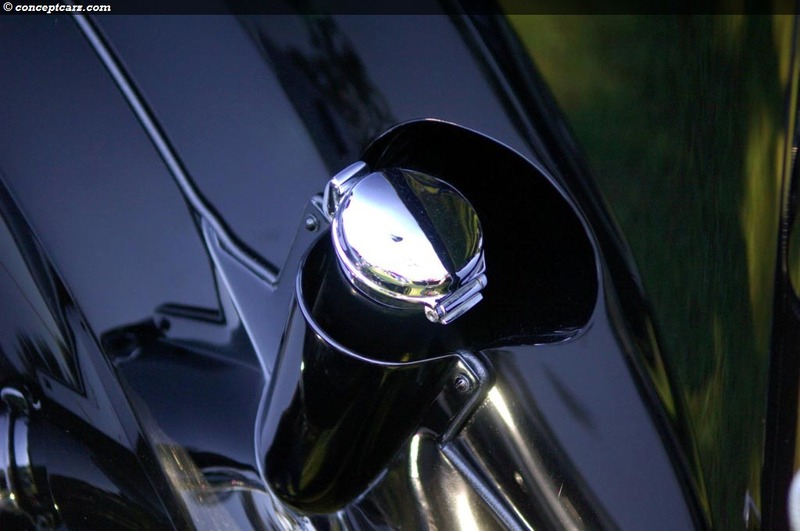 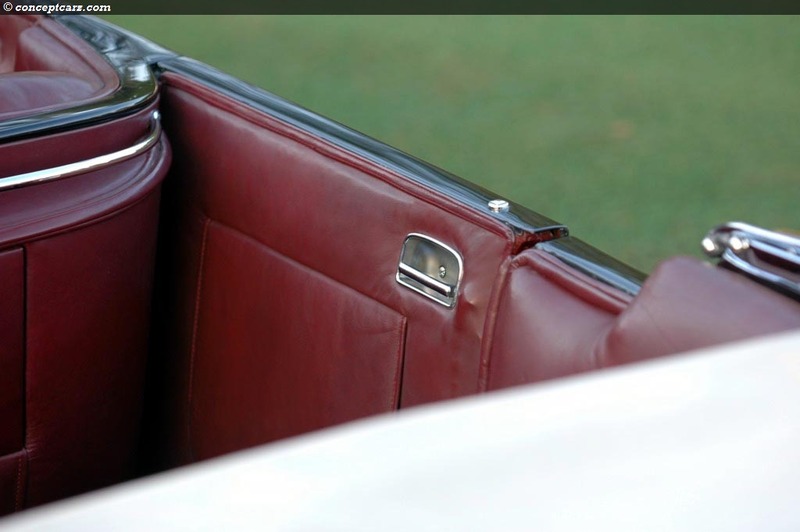 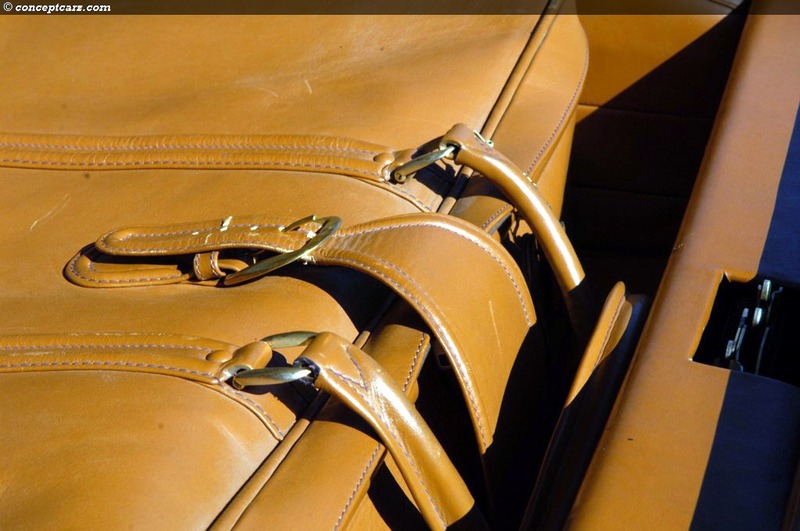 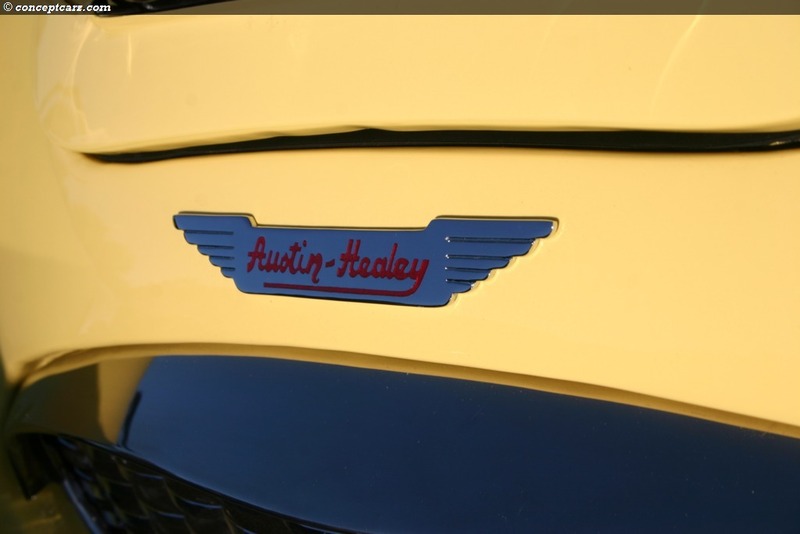 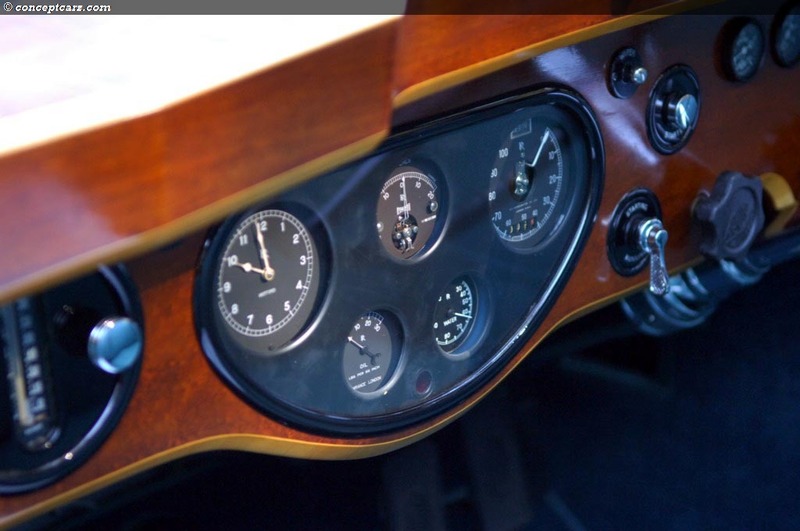 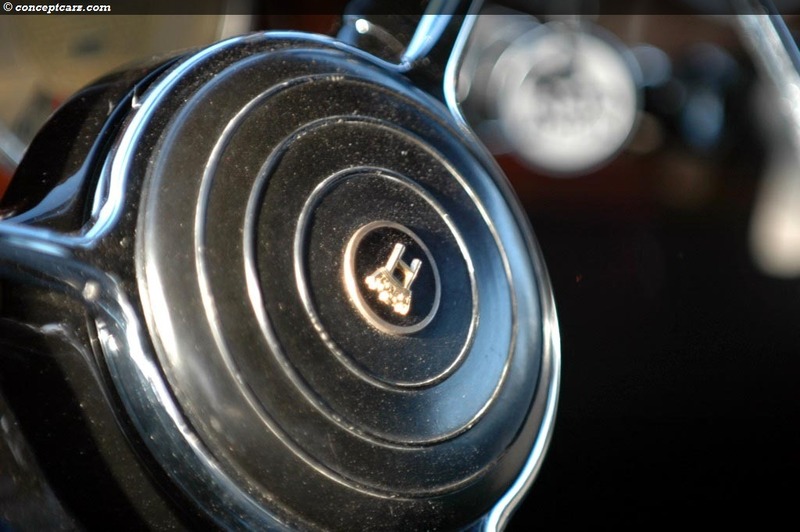 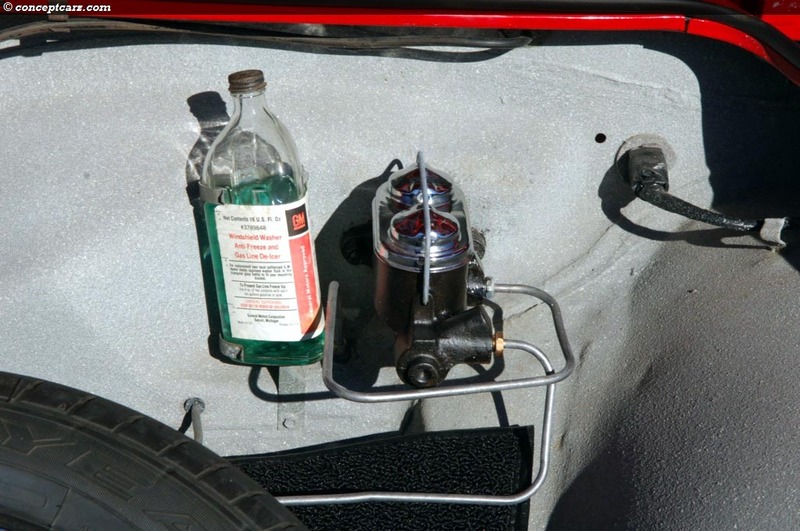 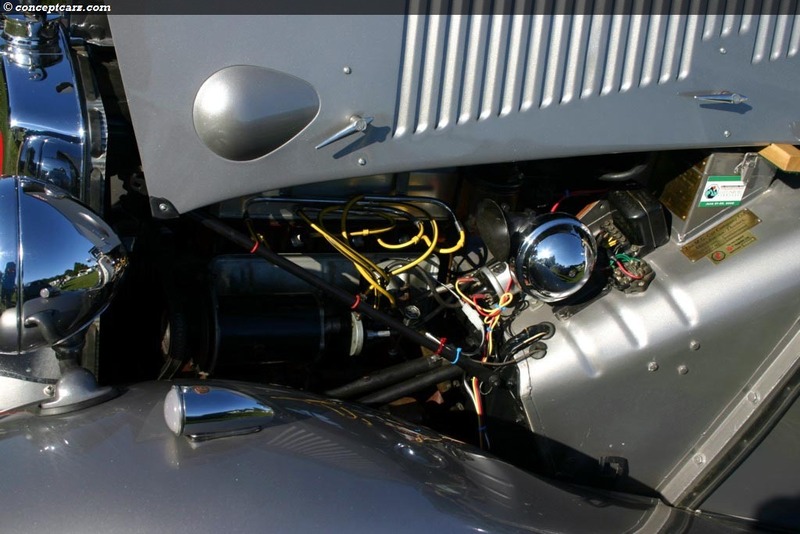 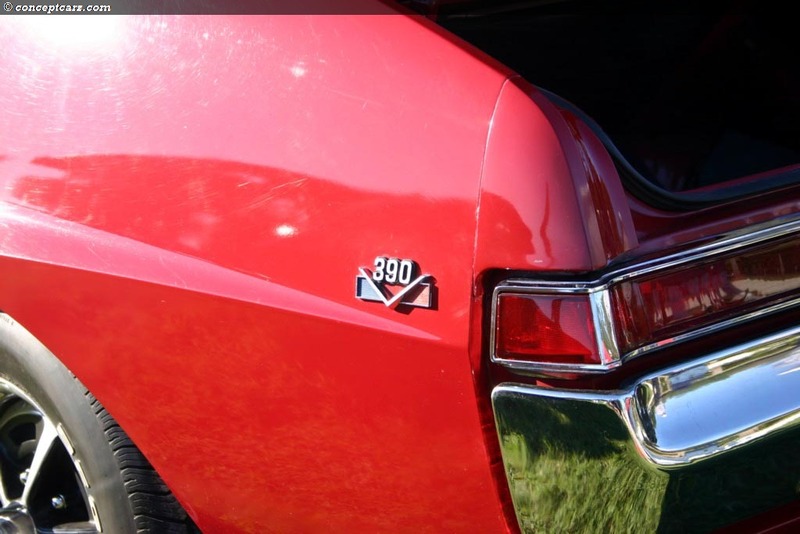 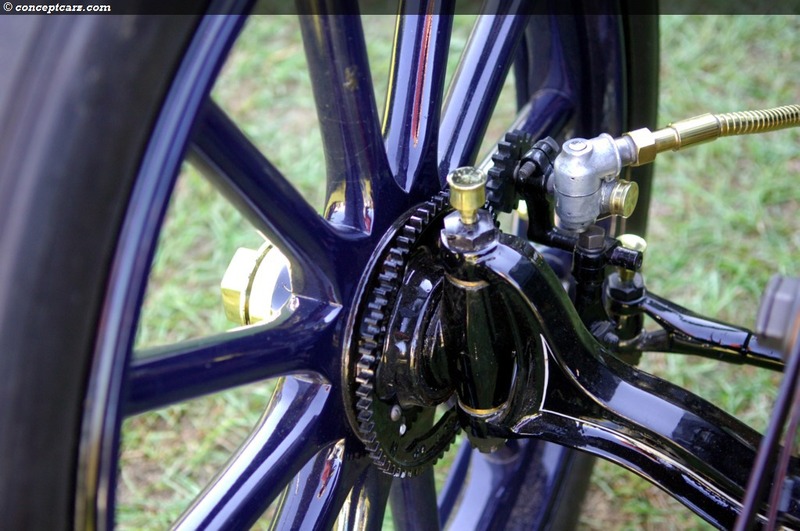 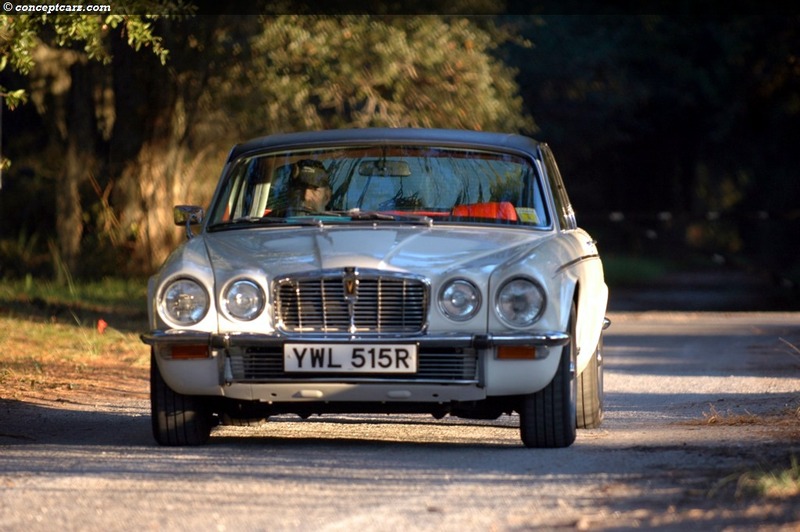 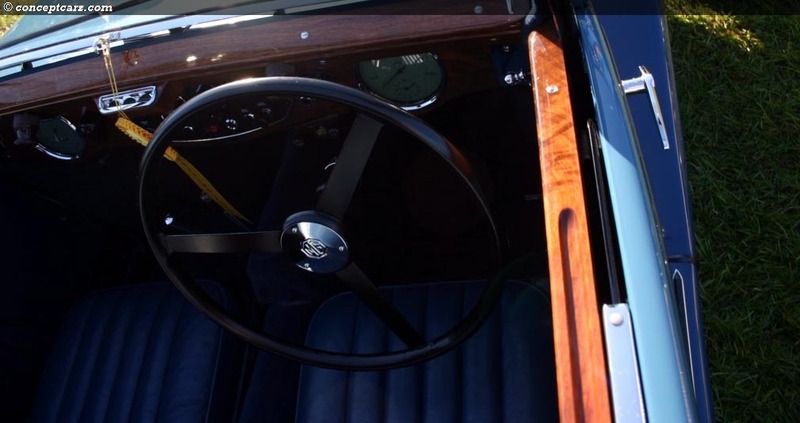 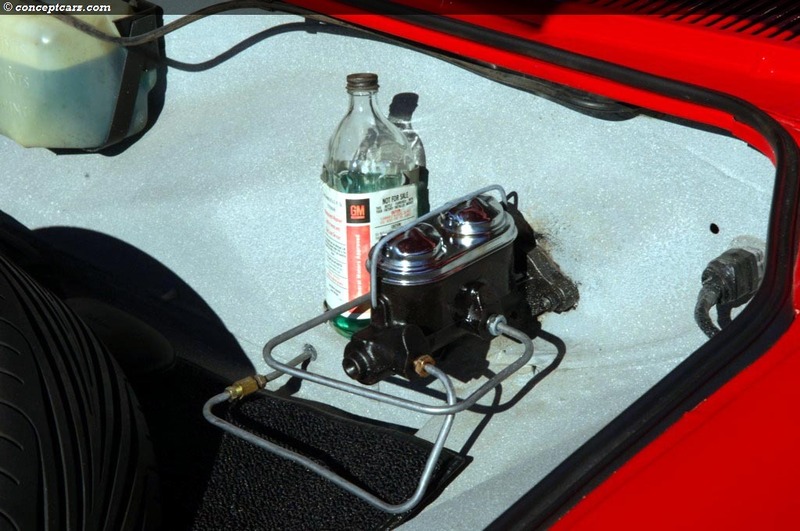 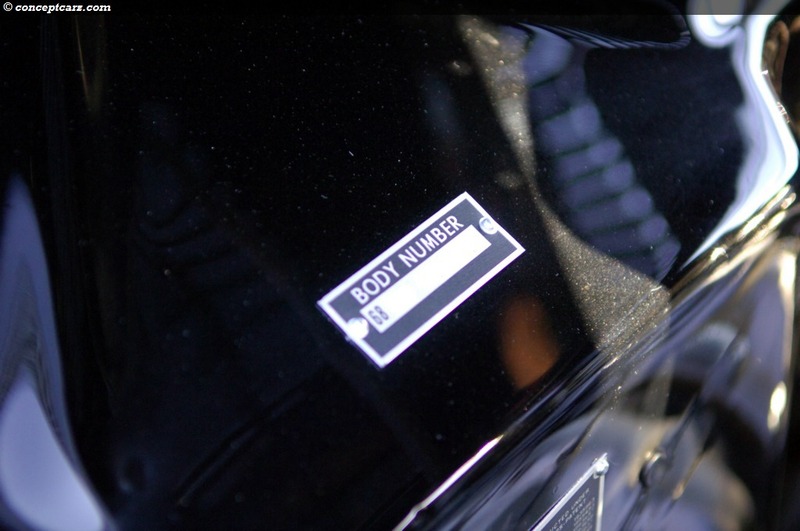 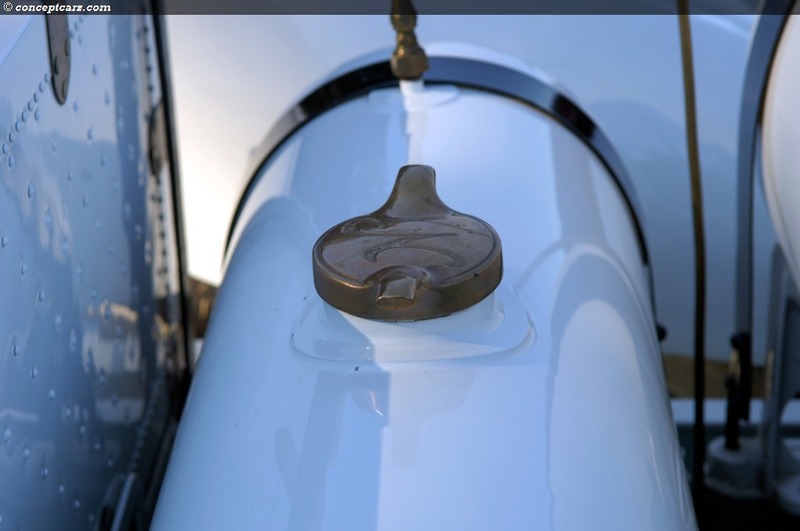 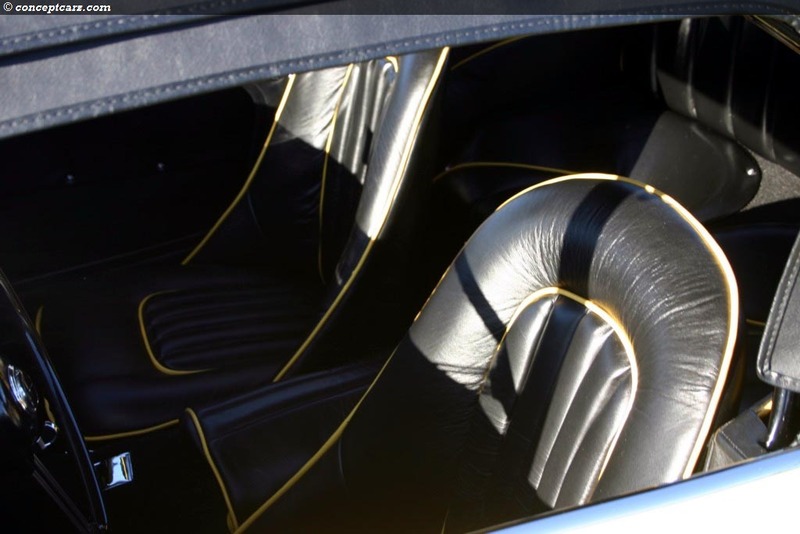 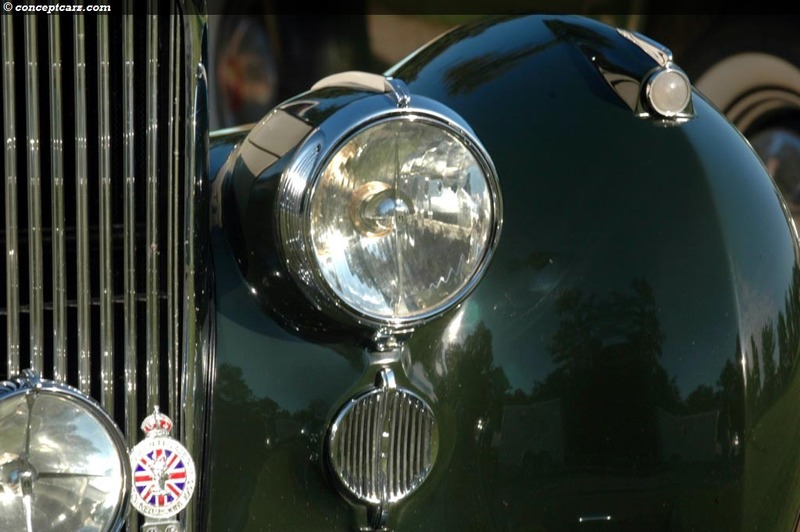 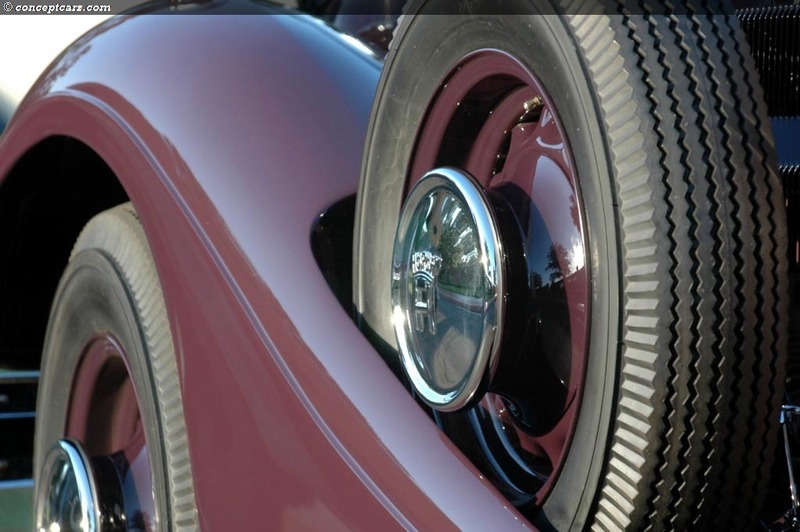 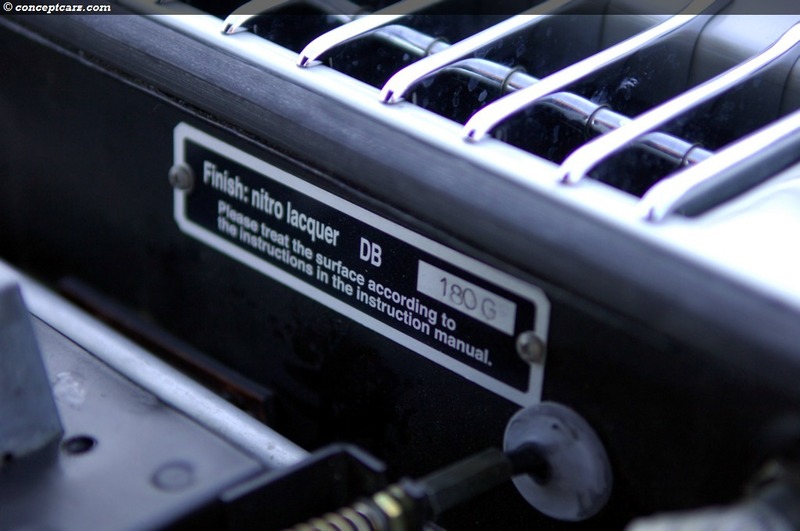 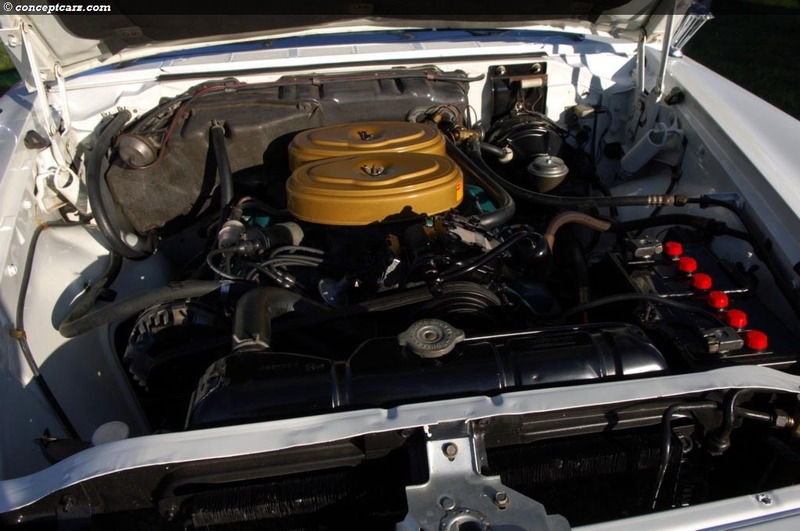 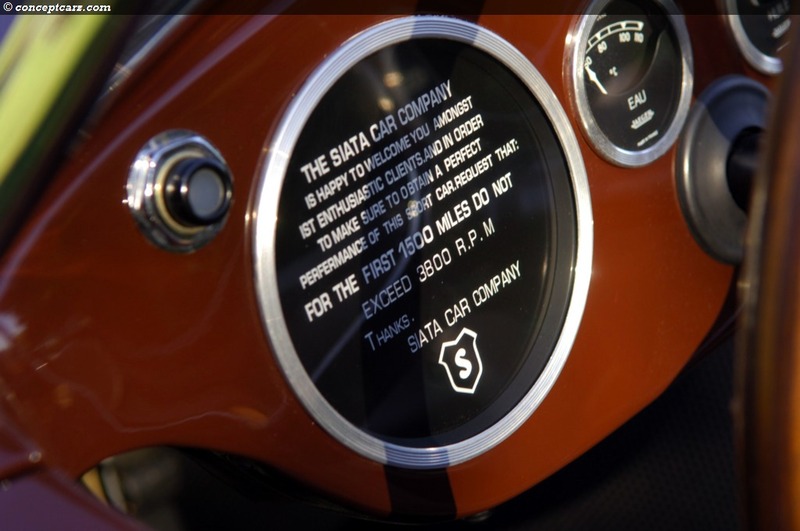 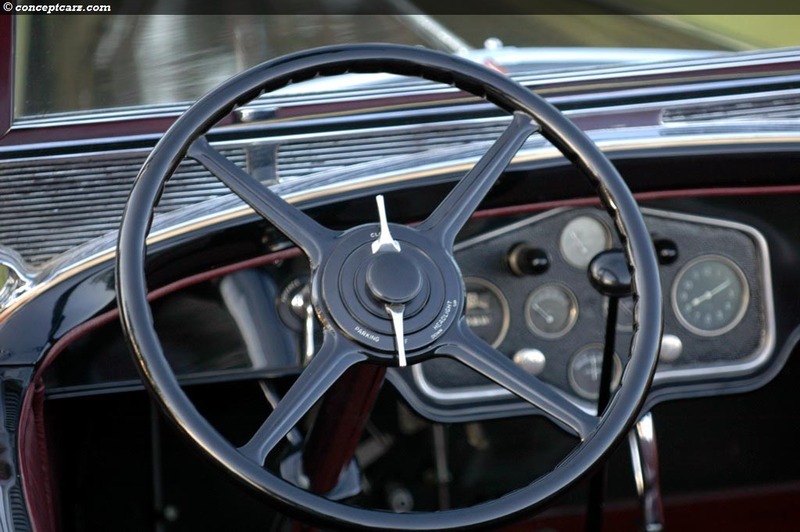 It has been treated to a no-expense-spared restoration with every detail of the car of the highest degree of quality. 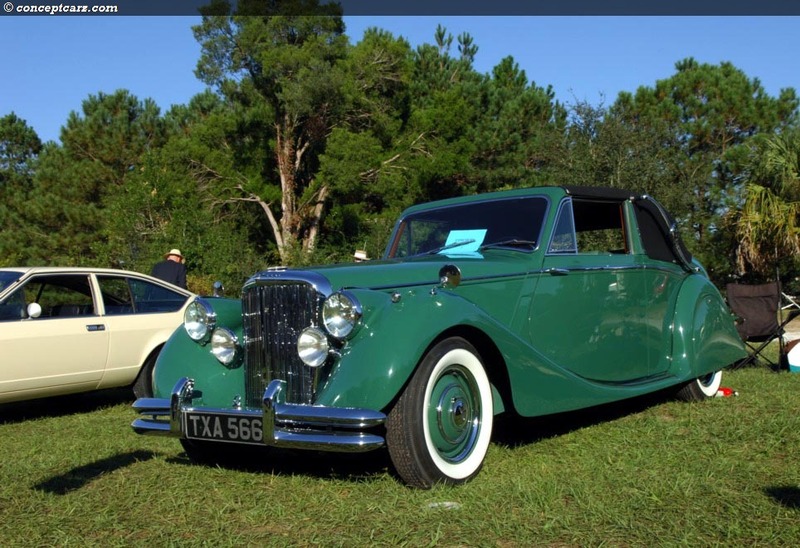 On Concours day it sat next to a few other deserving cars, a couple of Isotta Fraschini's and a Rolls Royce Phantom II Continental. 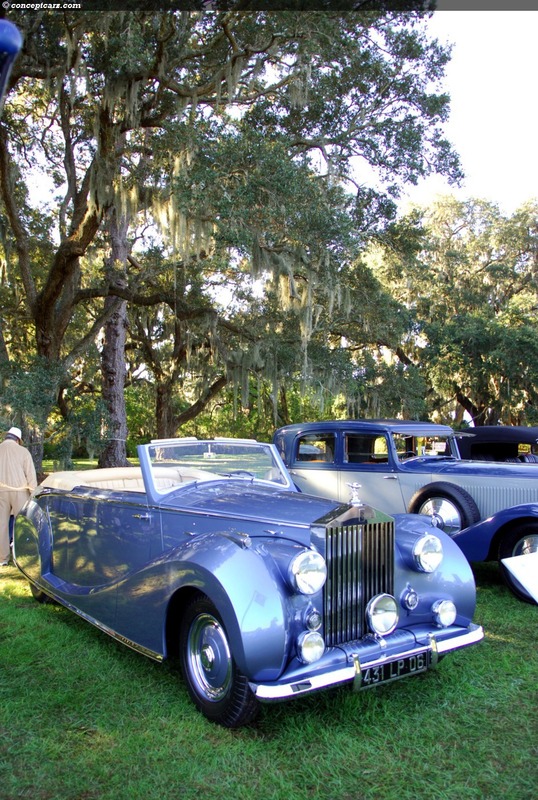 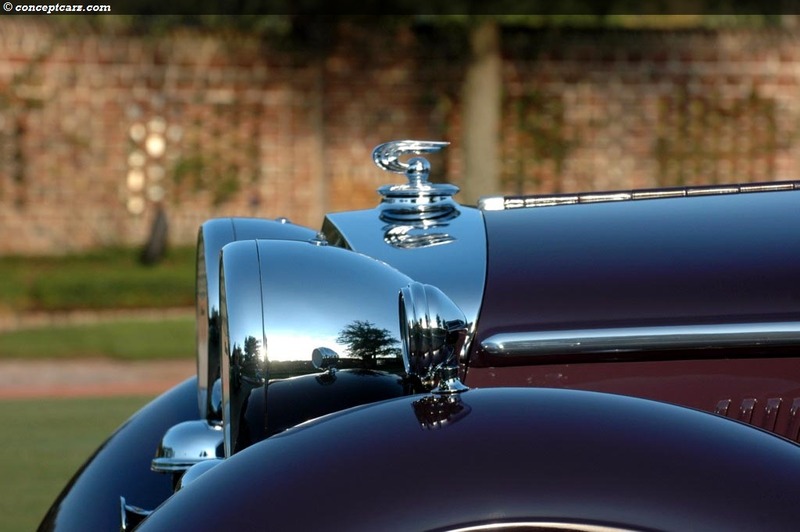 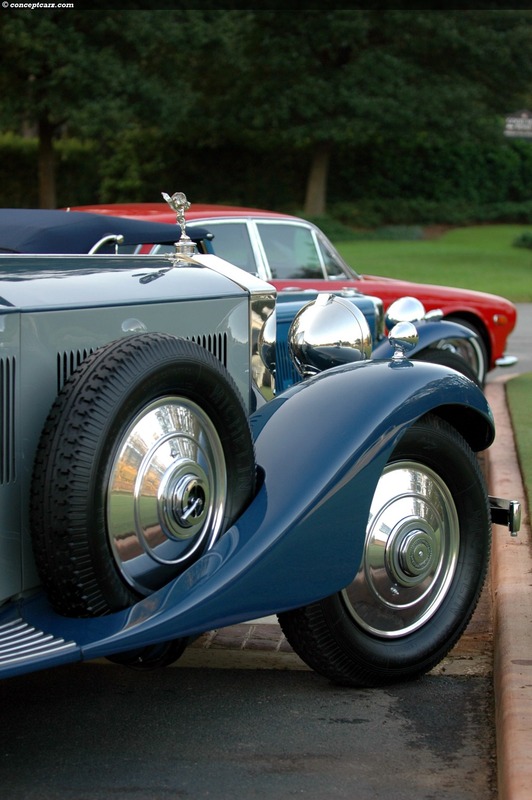 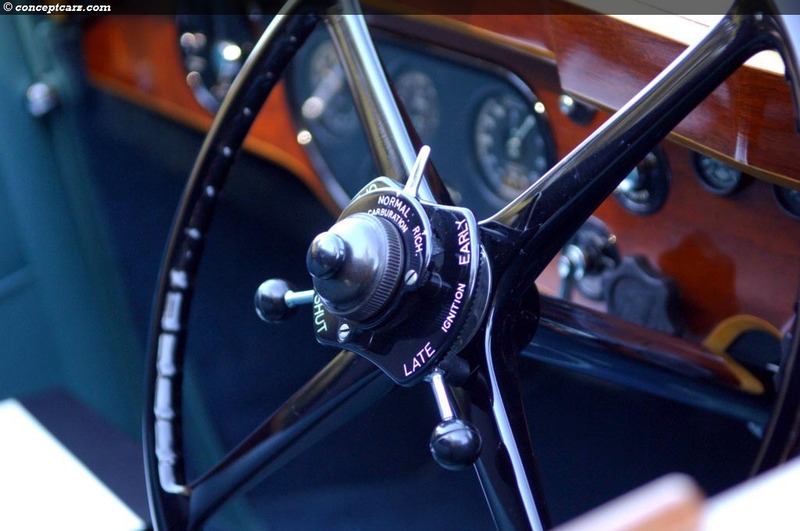 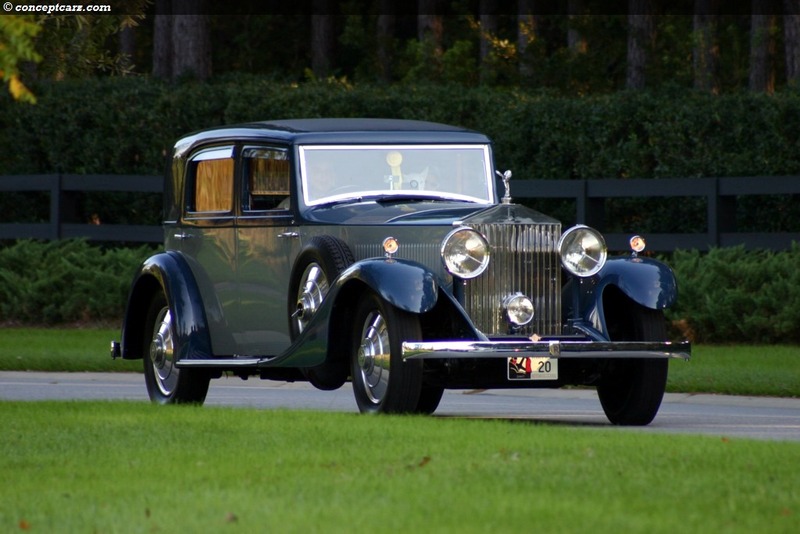 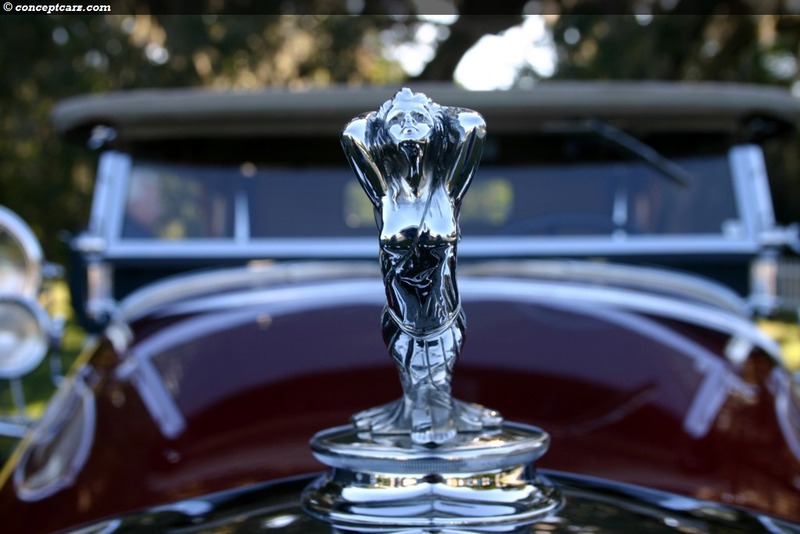 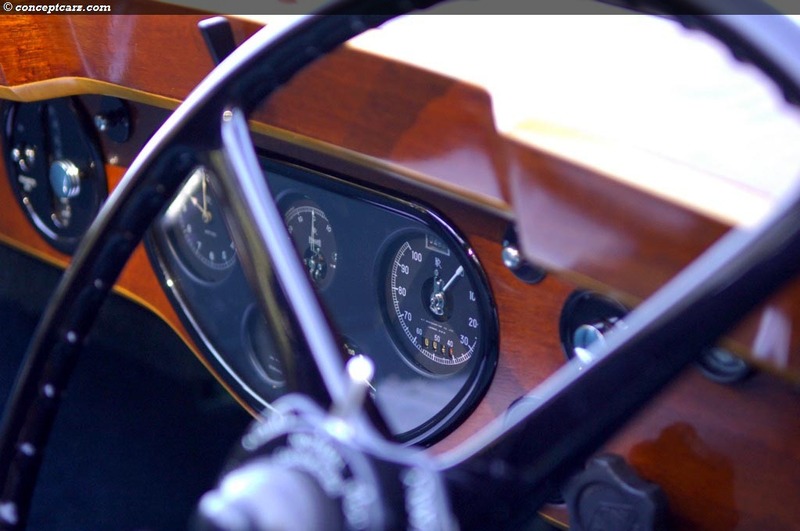 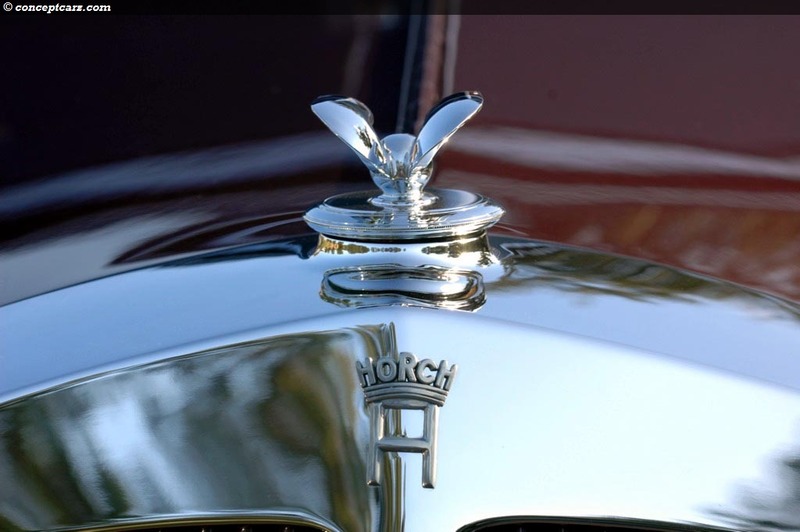 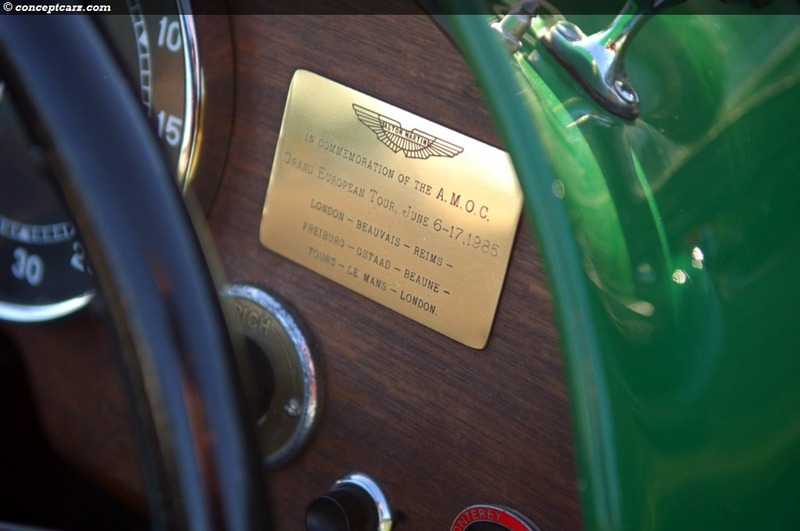 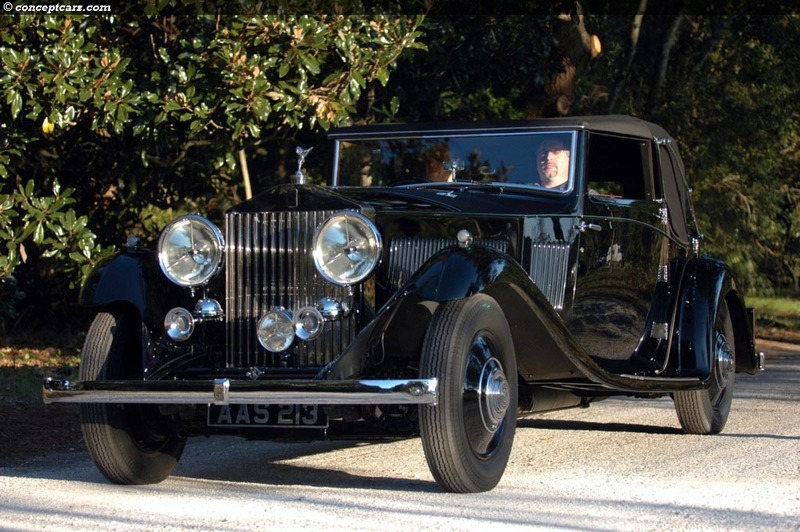 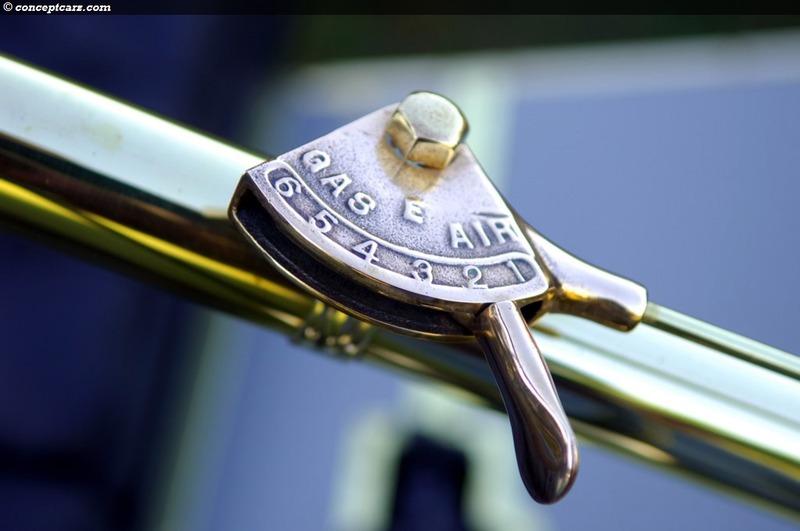 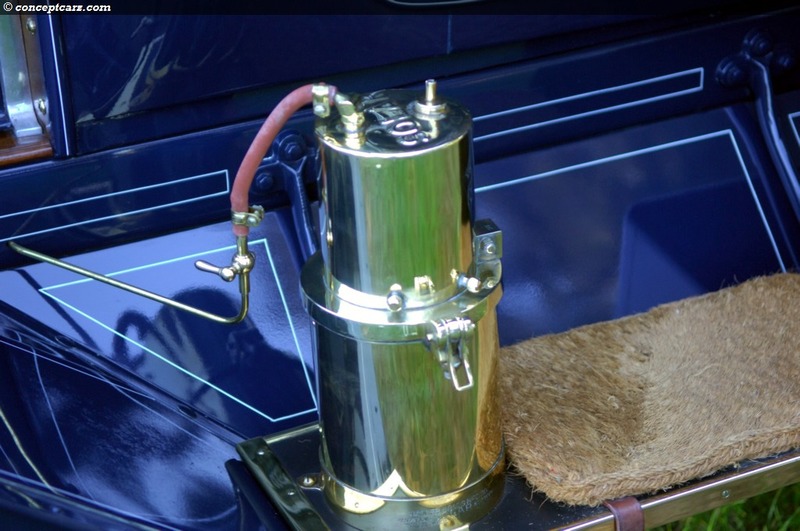 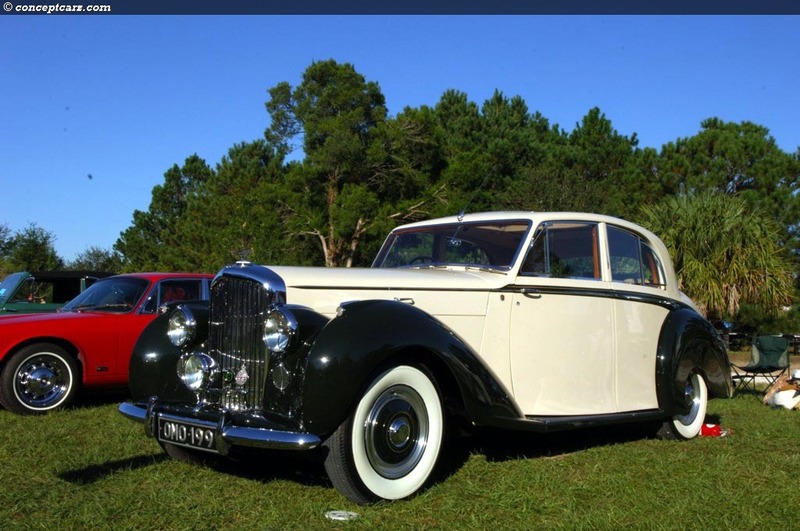 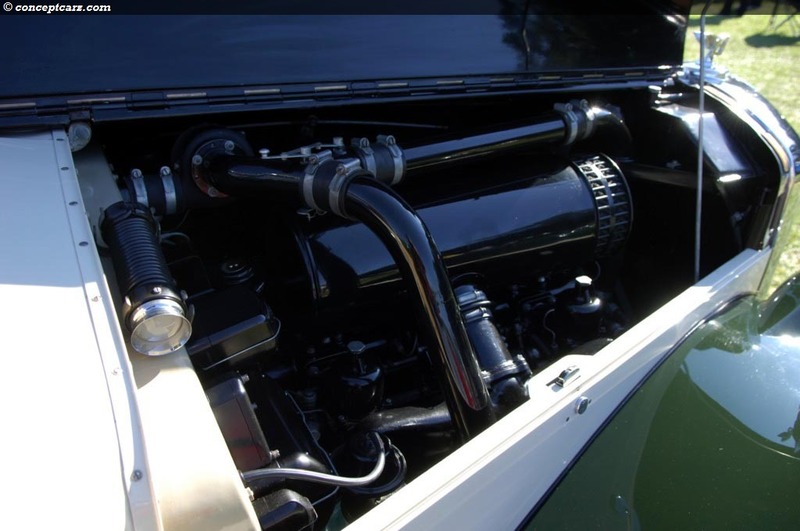 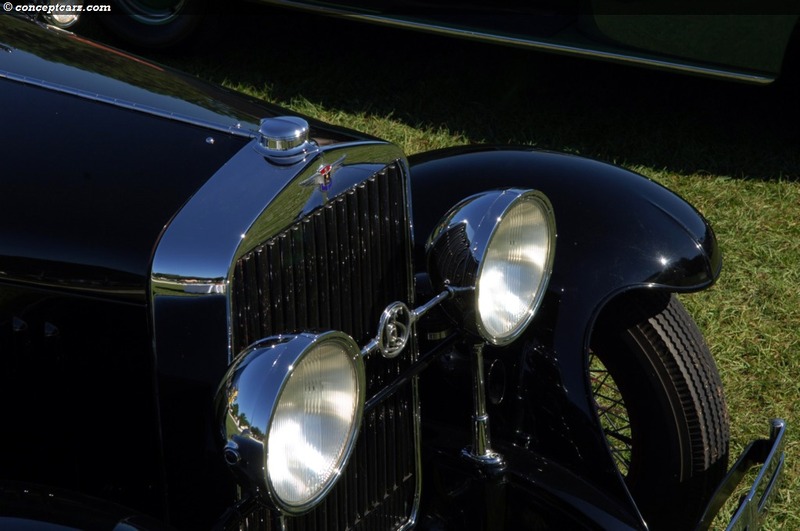 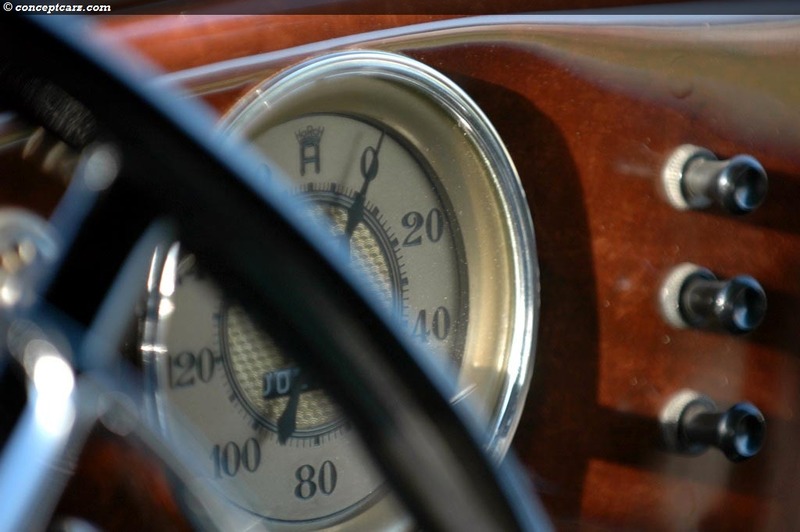 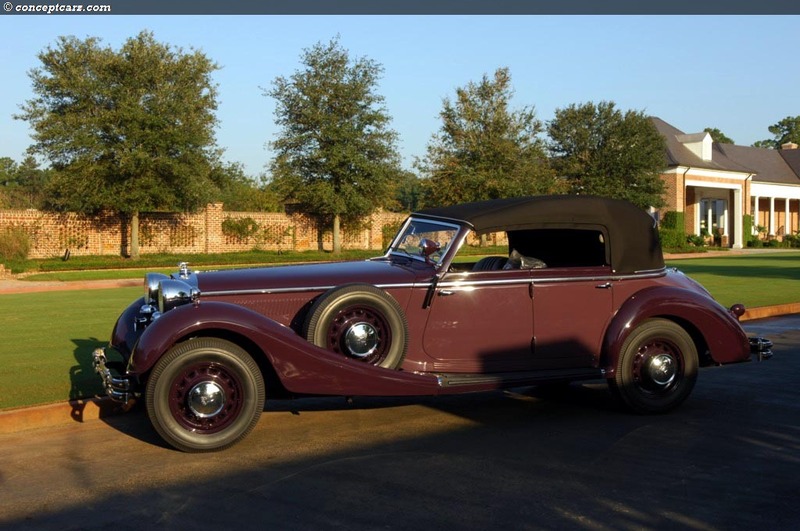 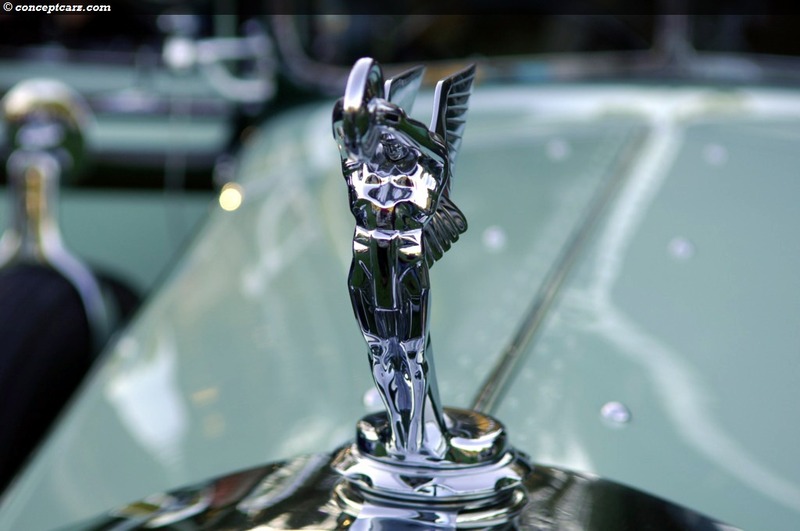 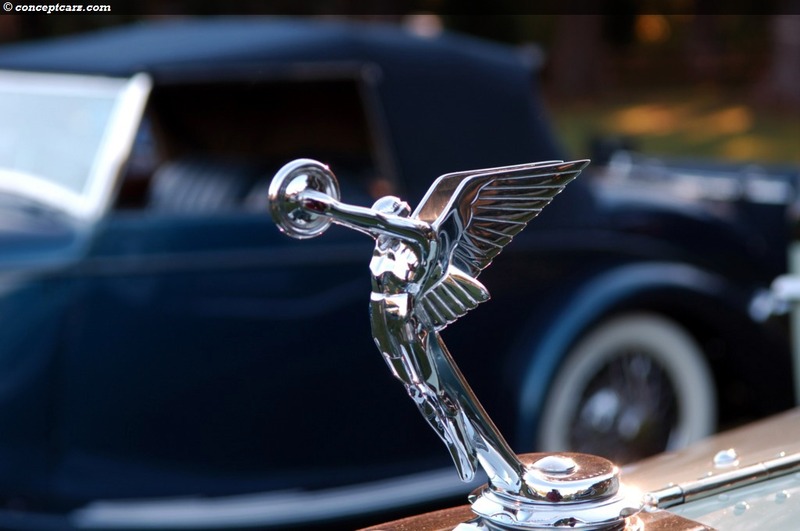 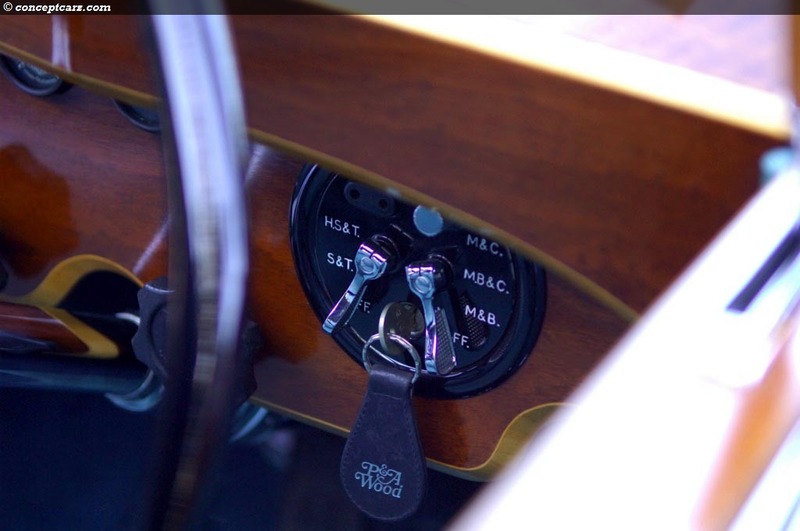 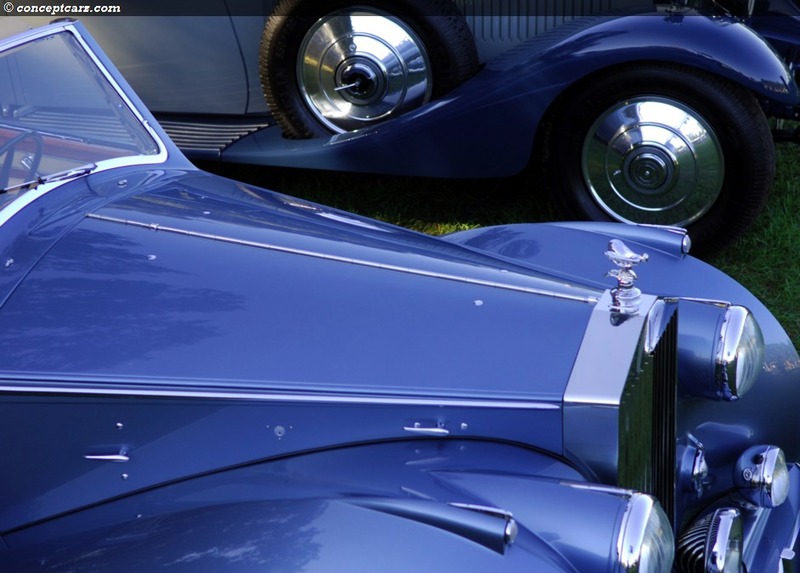 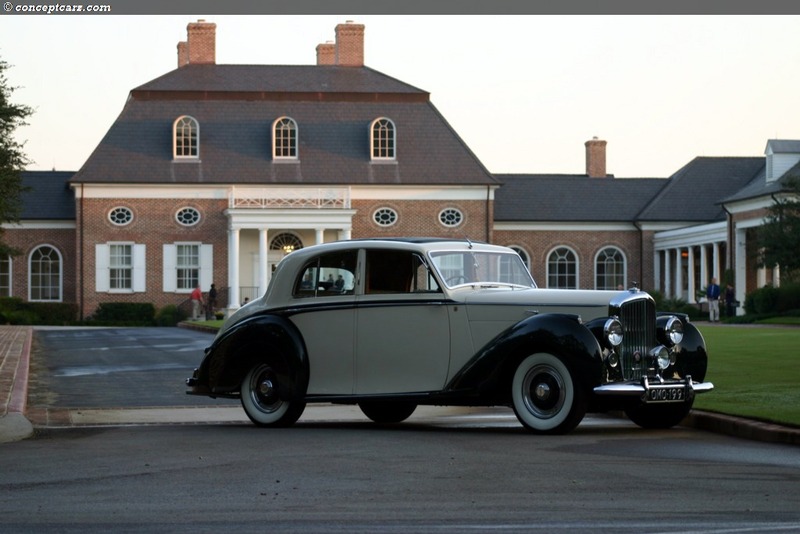 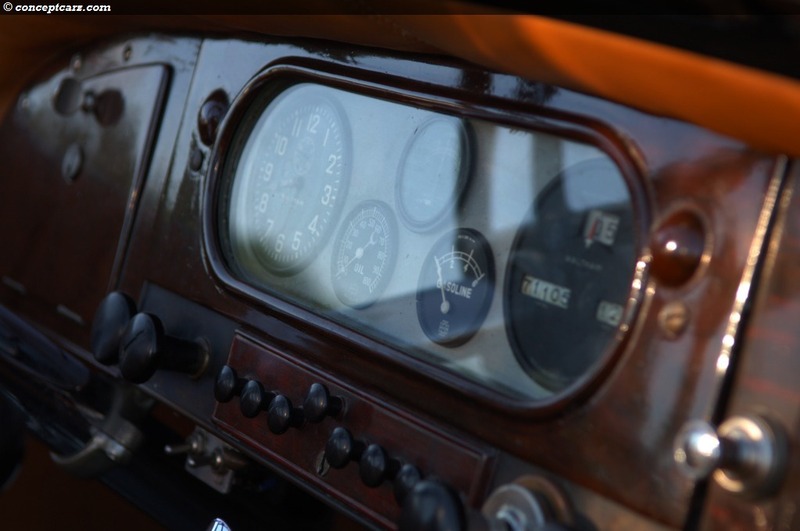 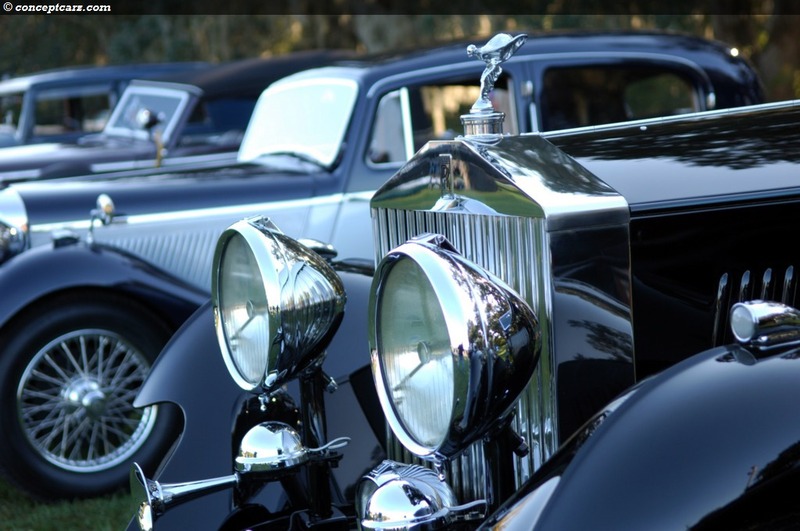 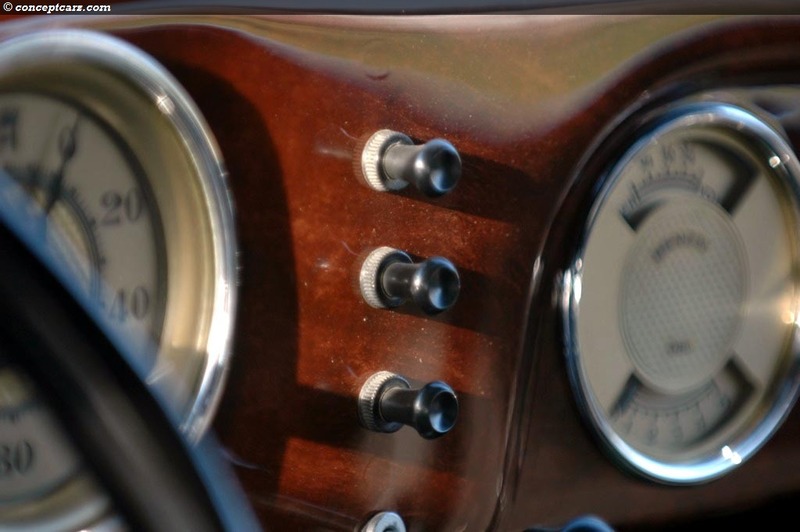 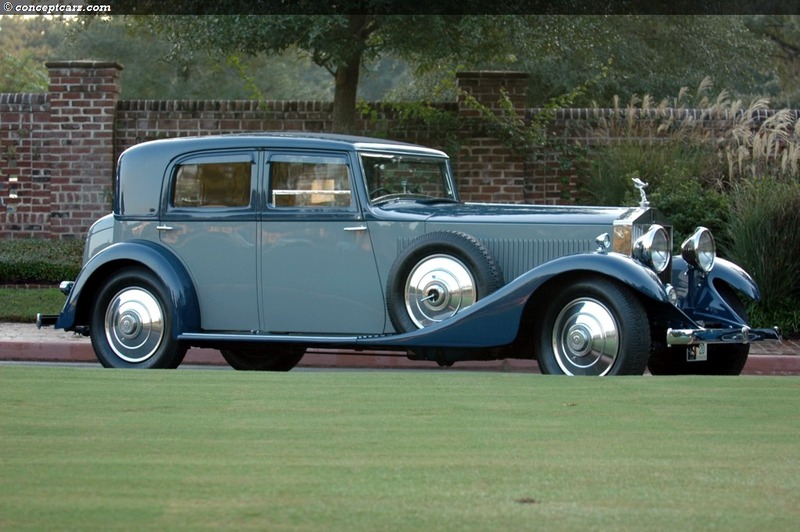 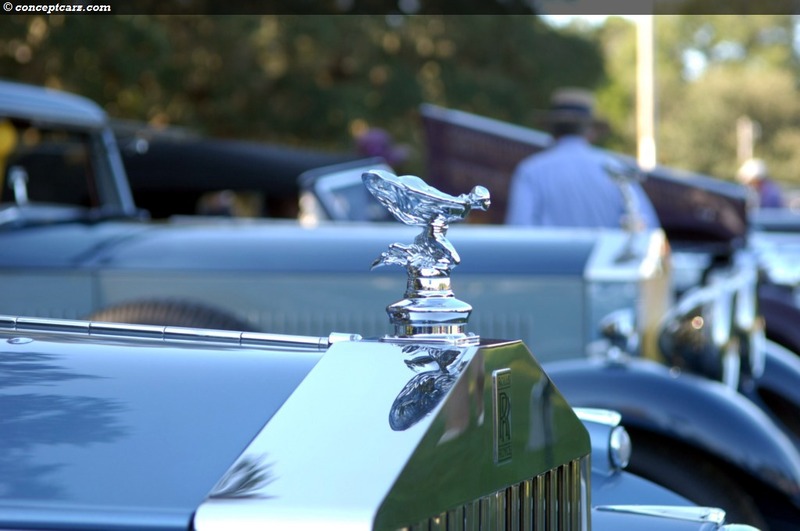 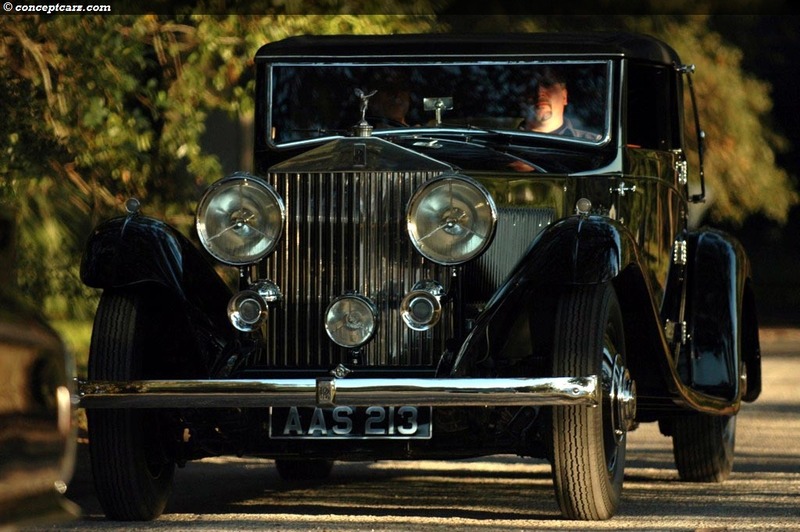 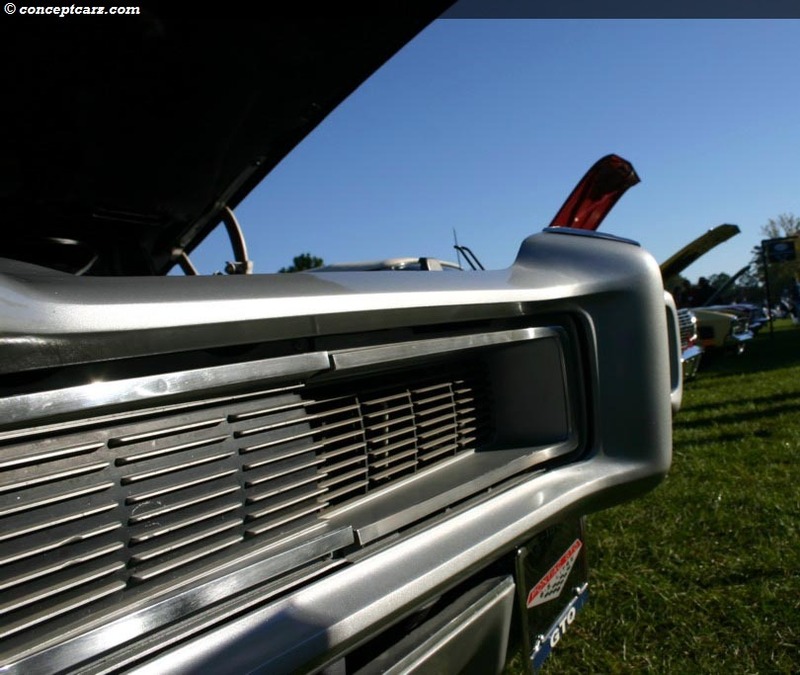 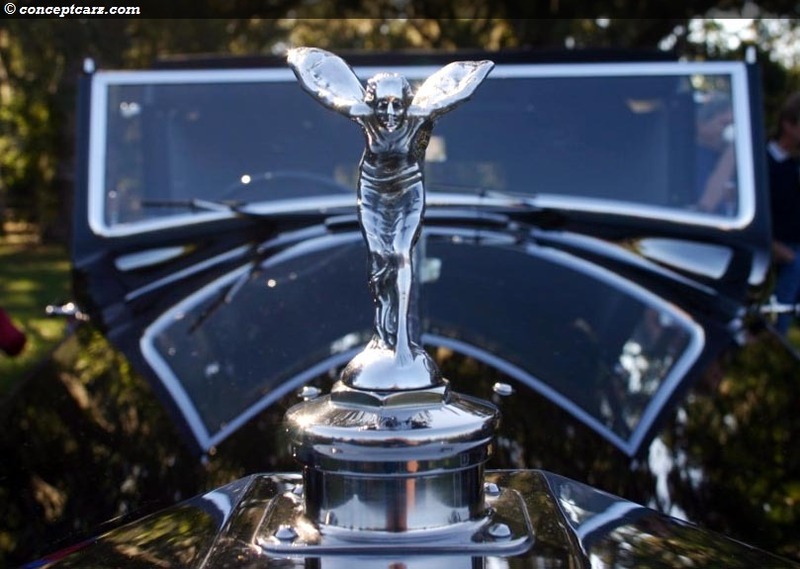 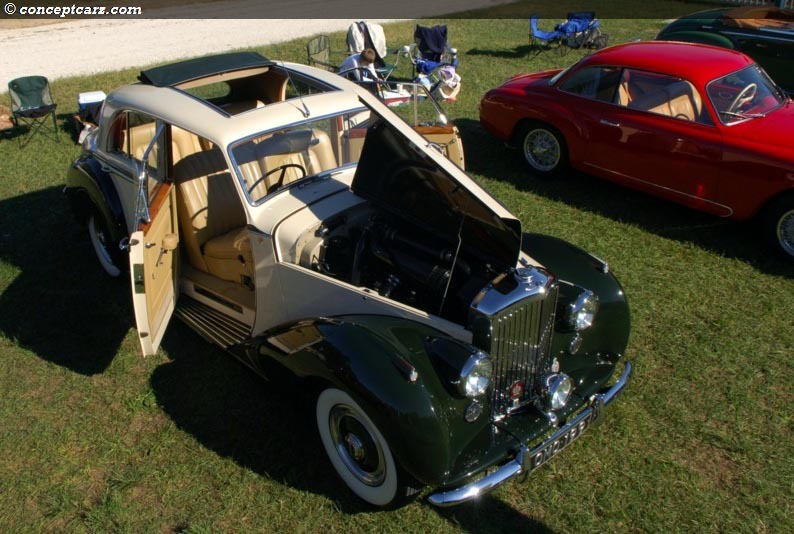 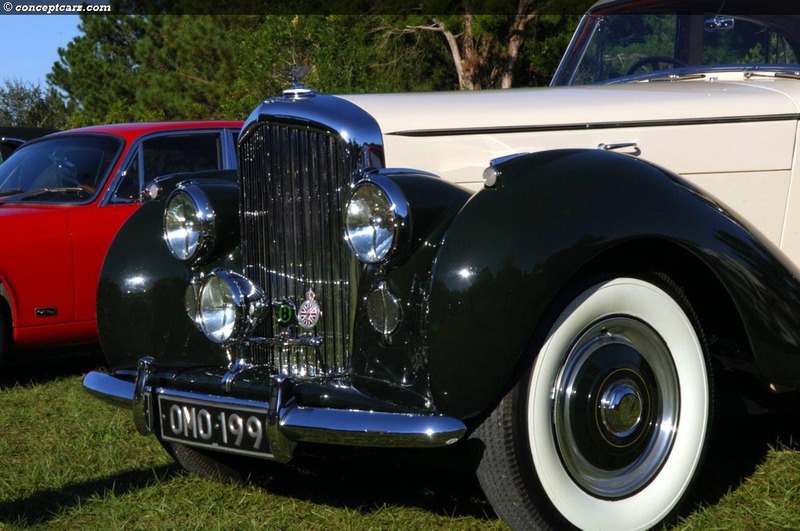 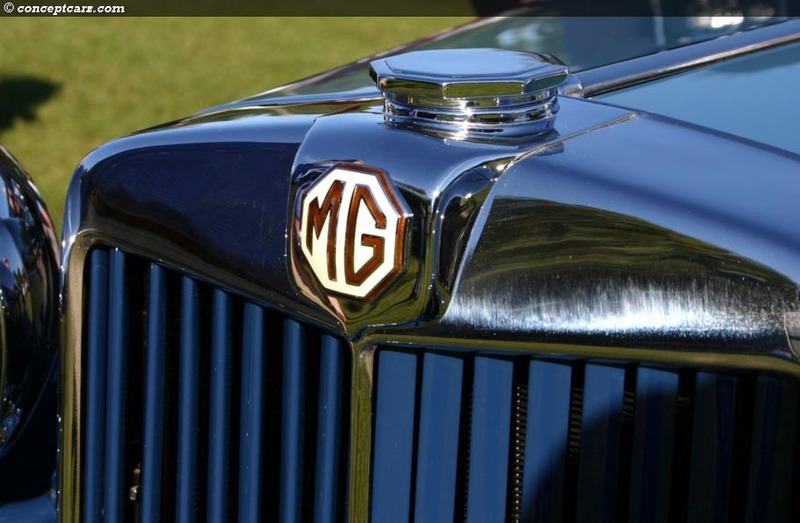 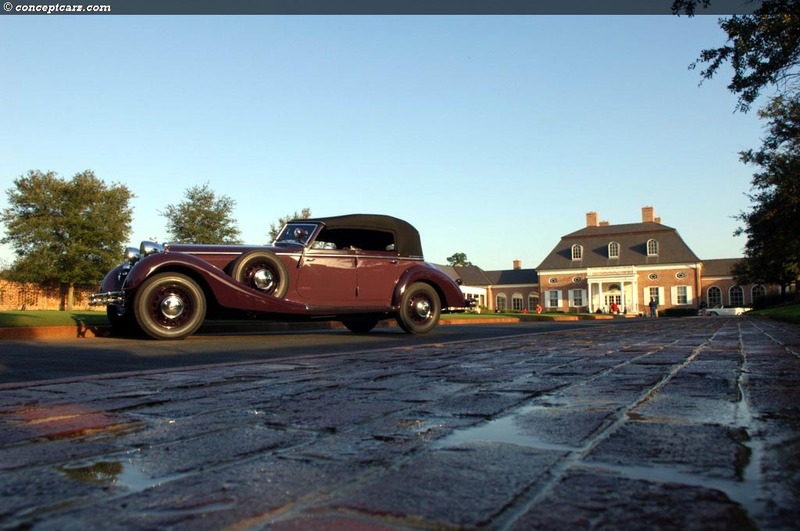 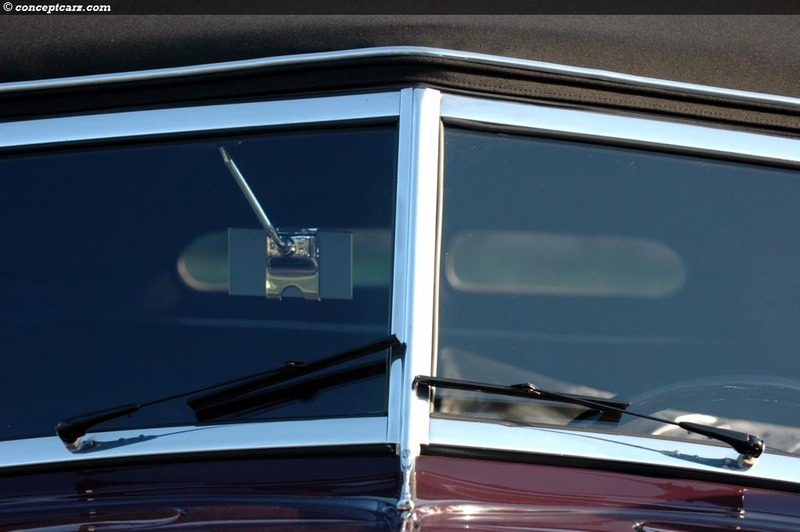 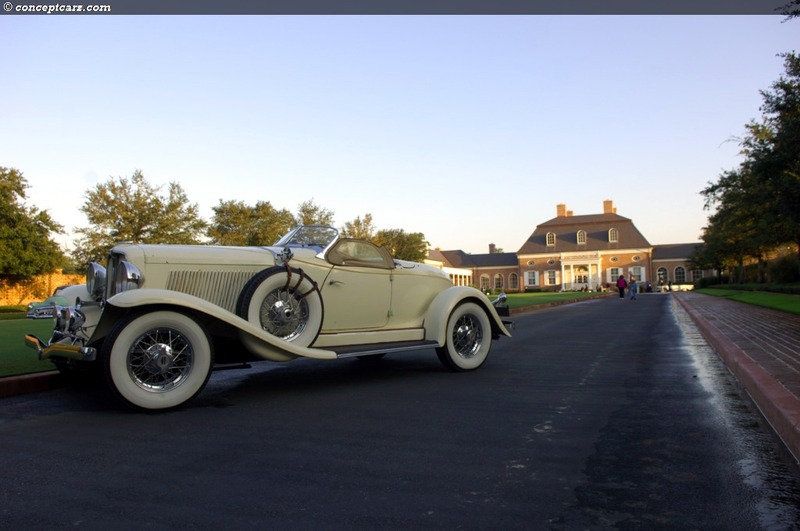 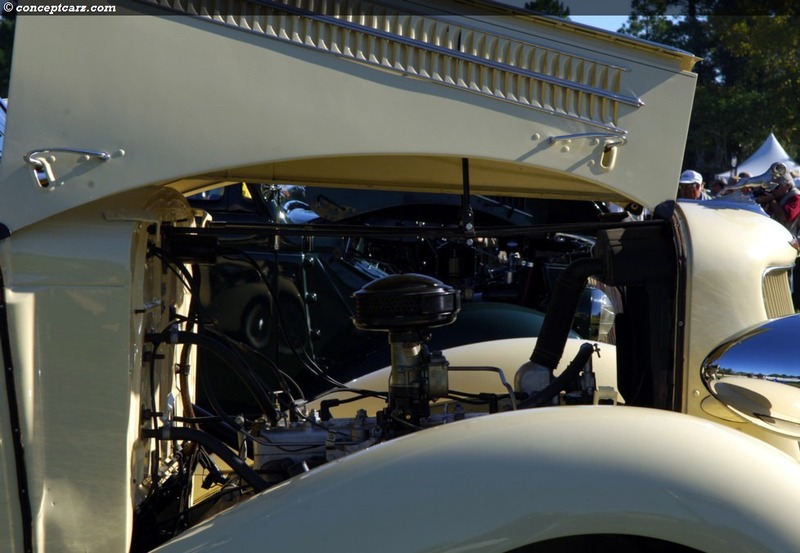 When the Rolls-Royce drove onto the show field in early morning it was immediately clear that it had what it took to take the top honors at a concours d'Elegance - it had 'elegance.' 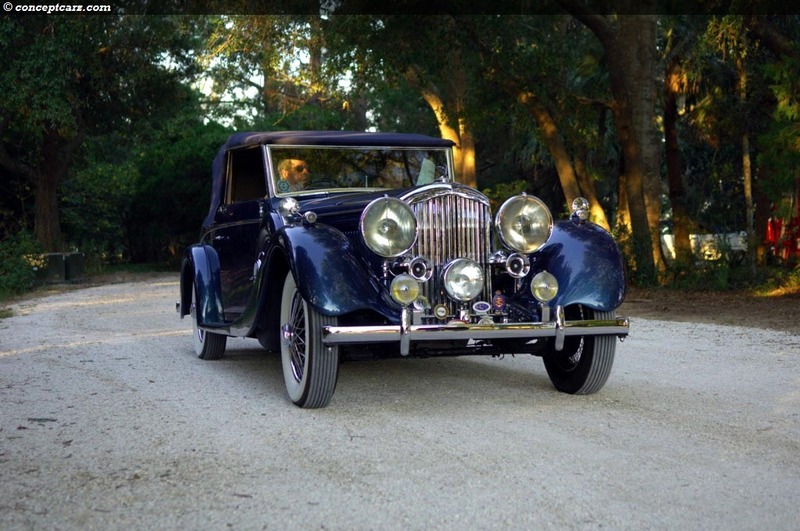 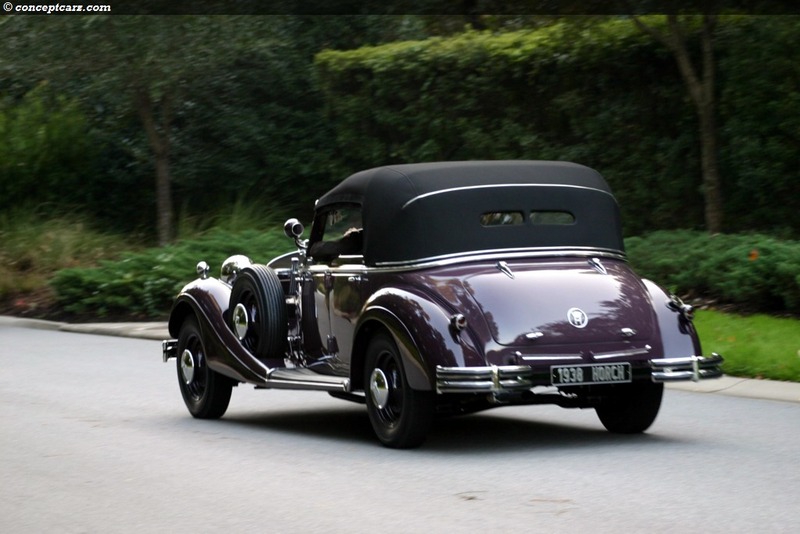 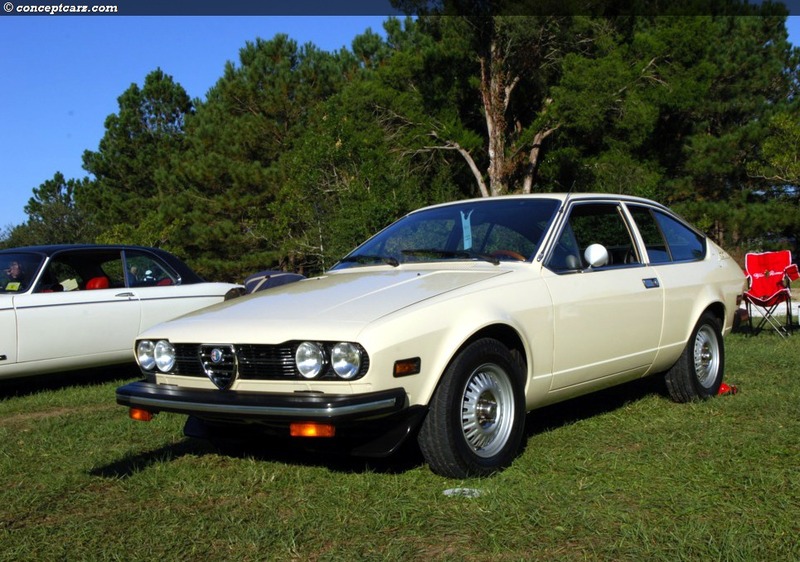 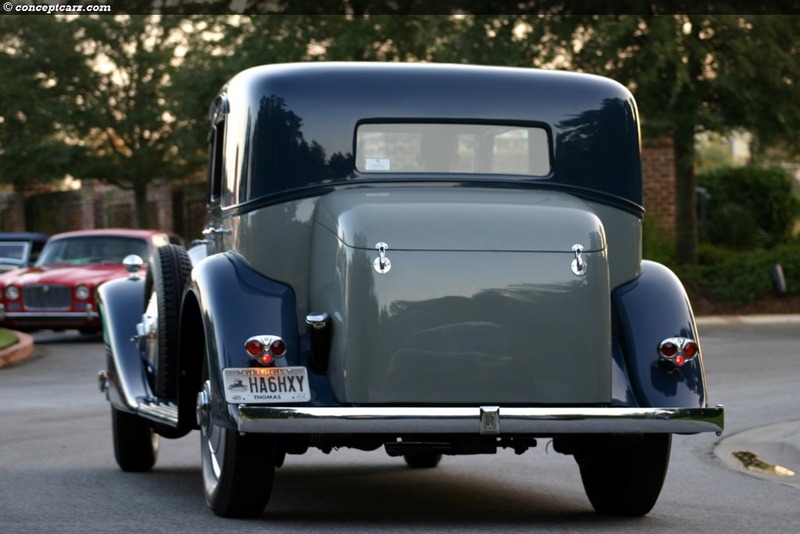 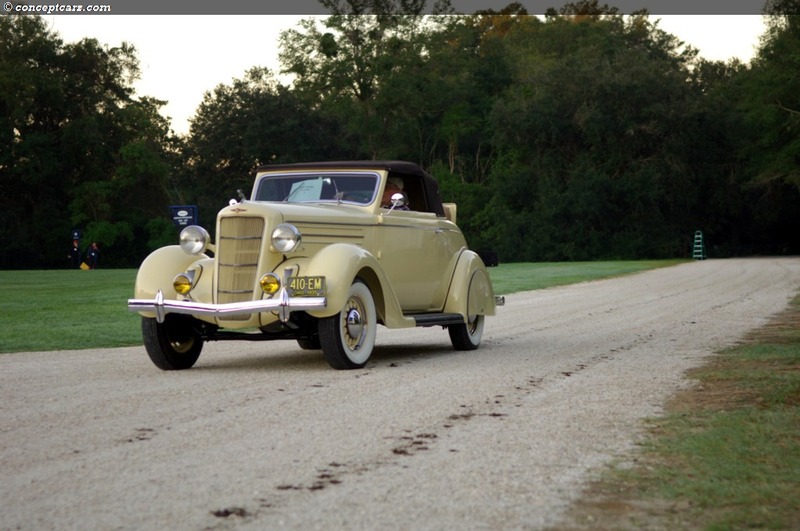 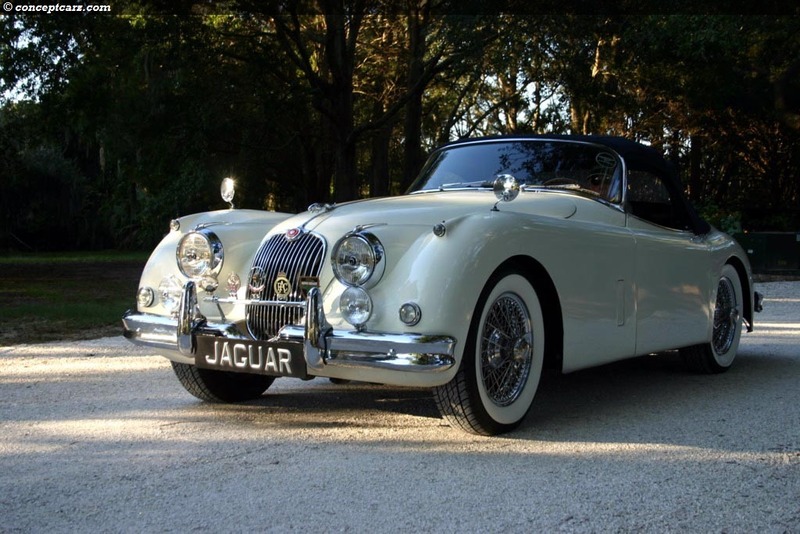 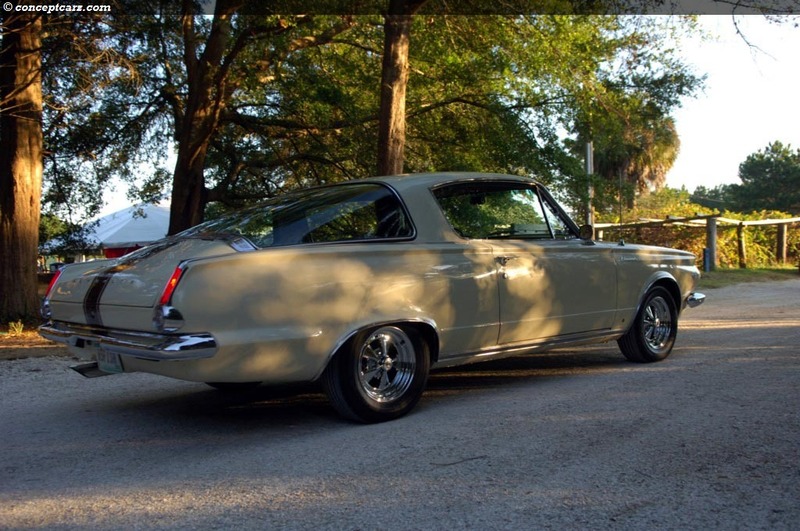 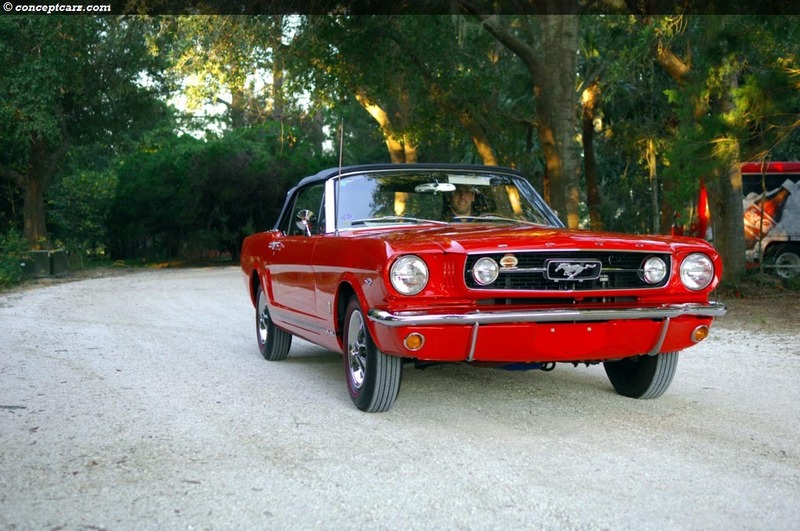 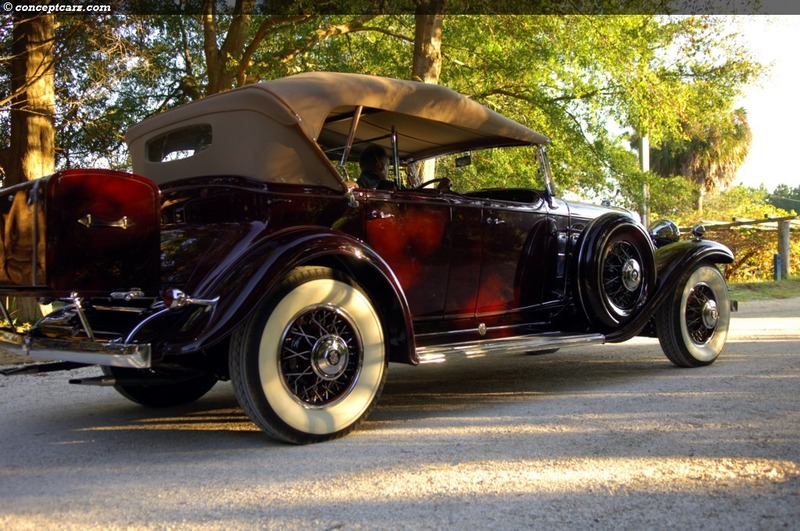 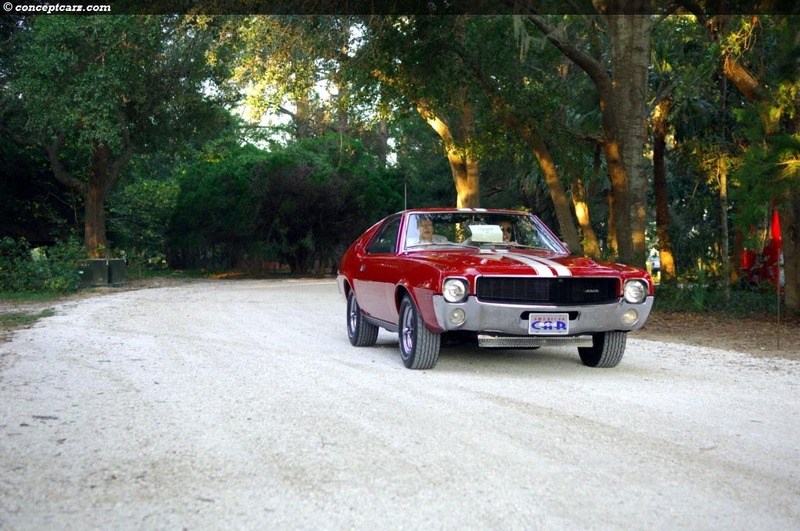 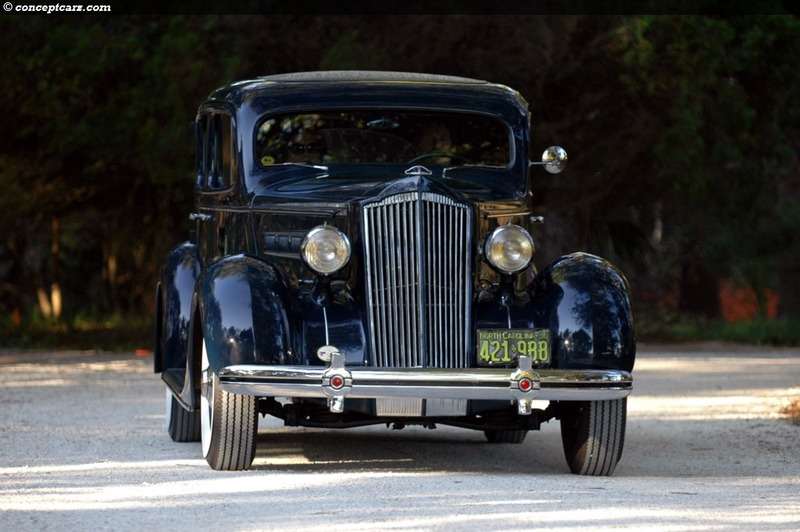 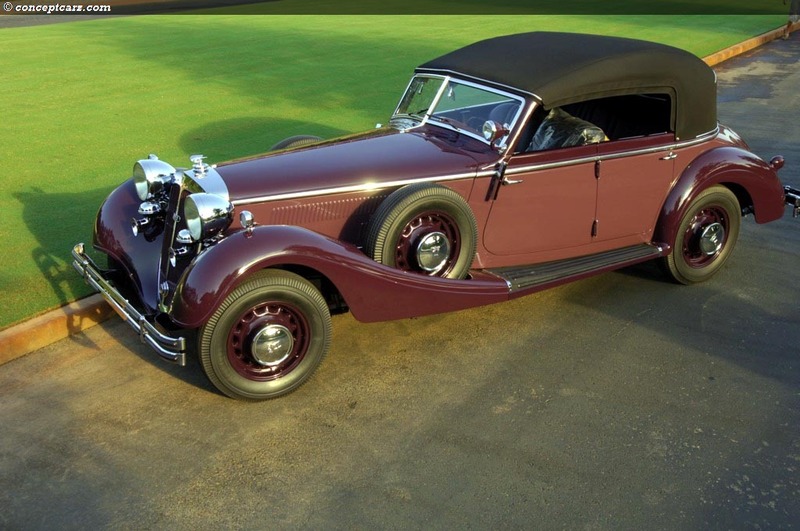 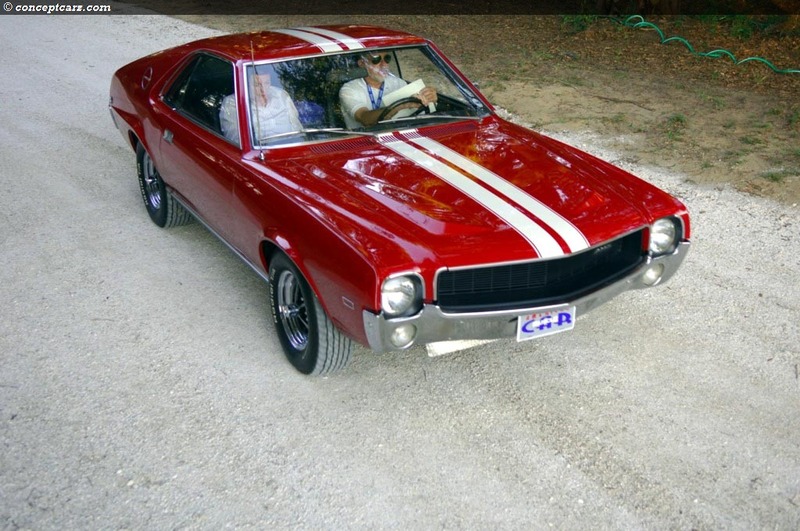 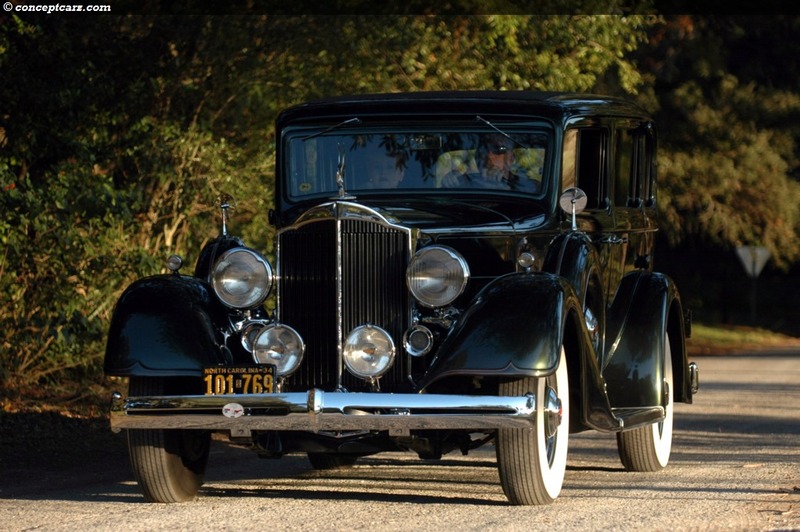 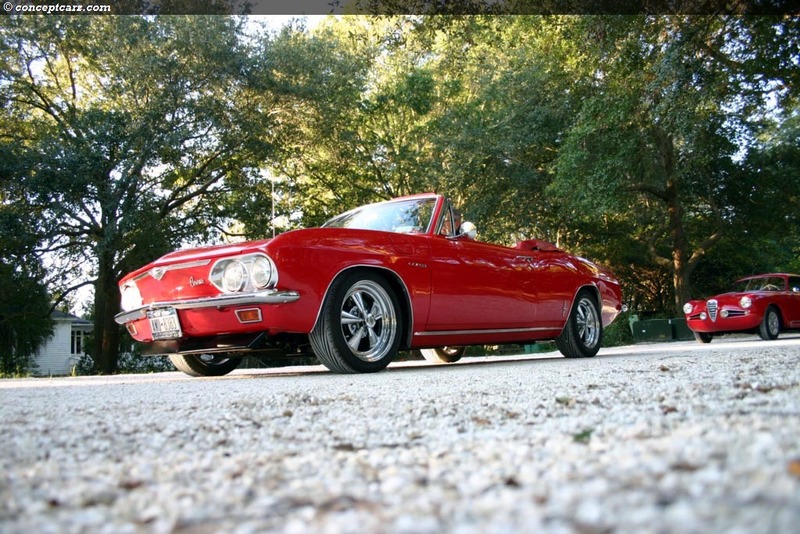 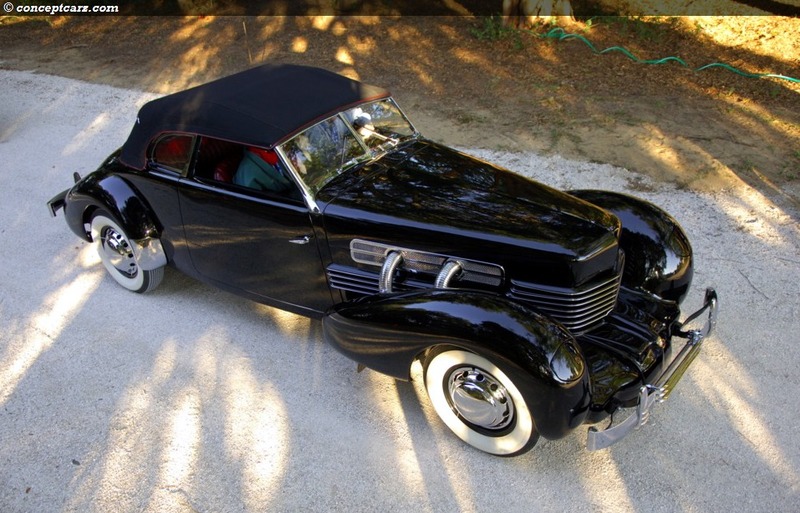 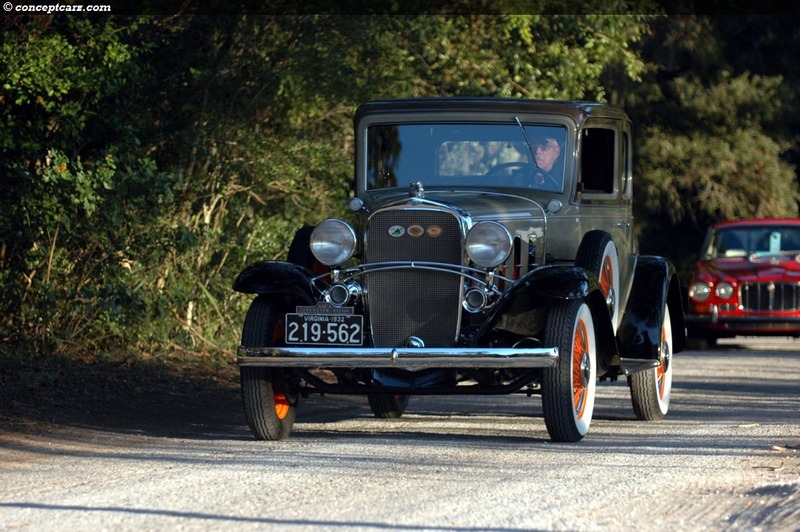 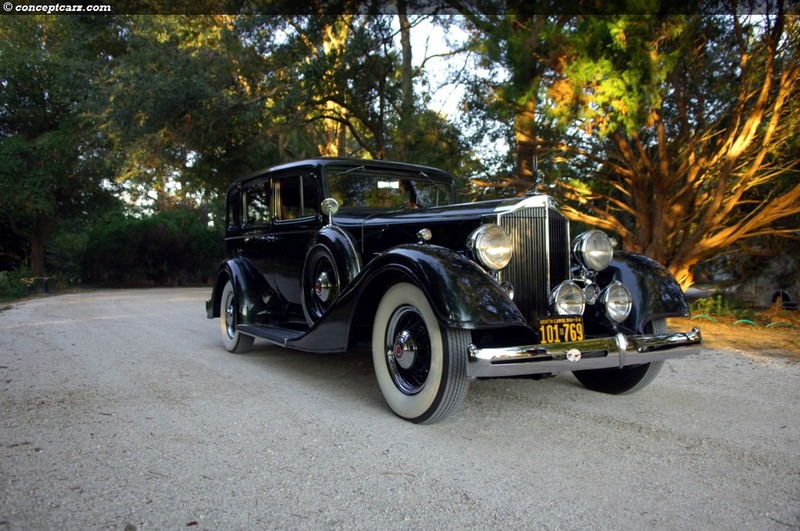 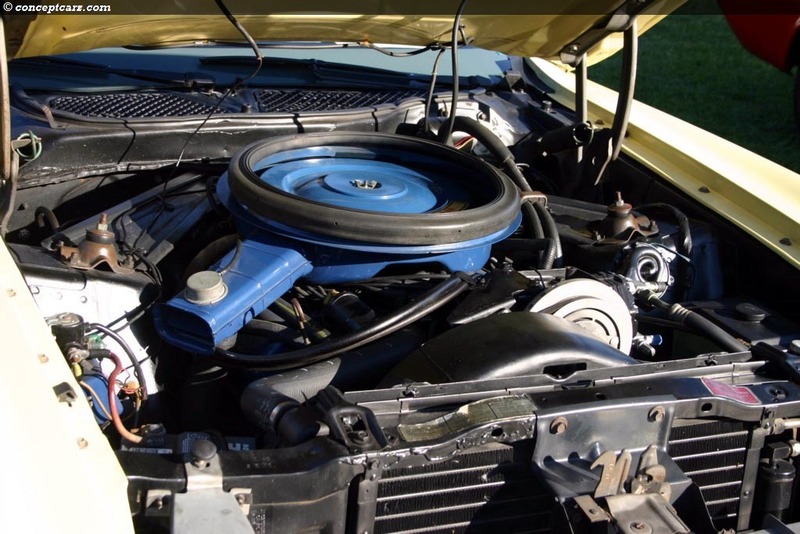 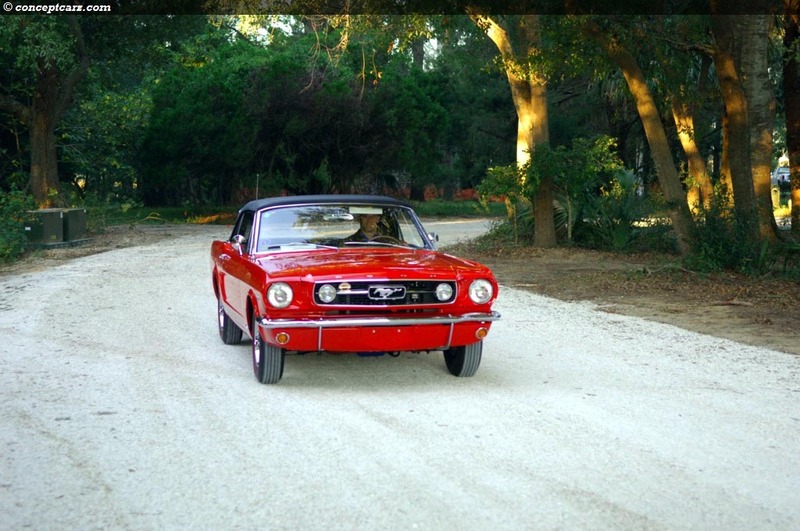 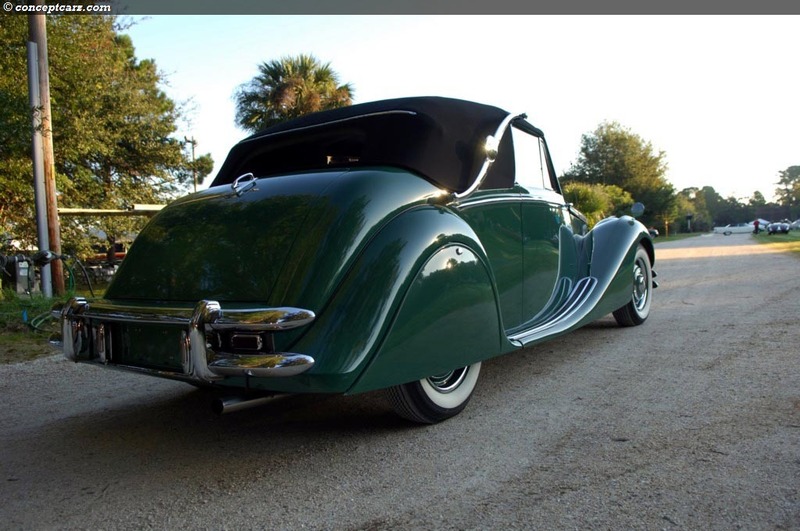 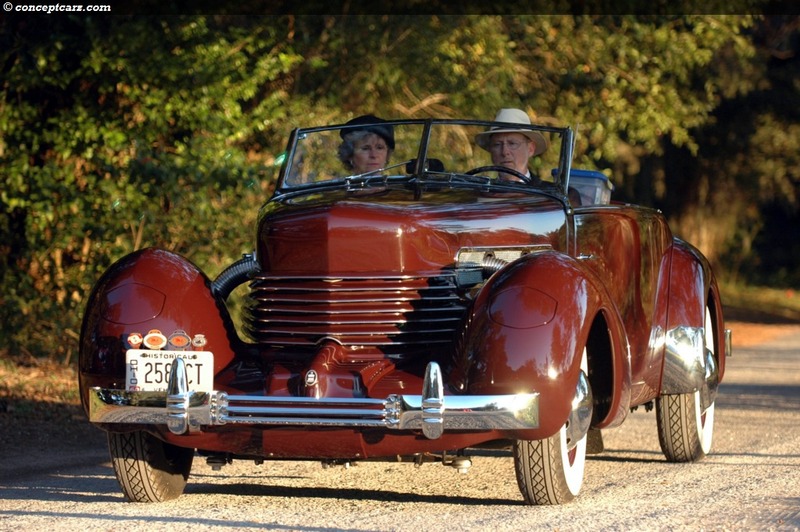 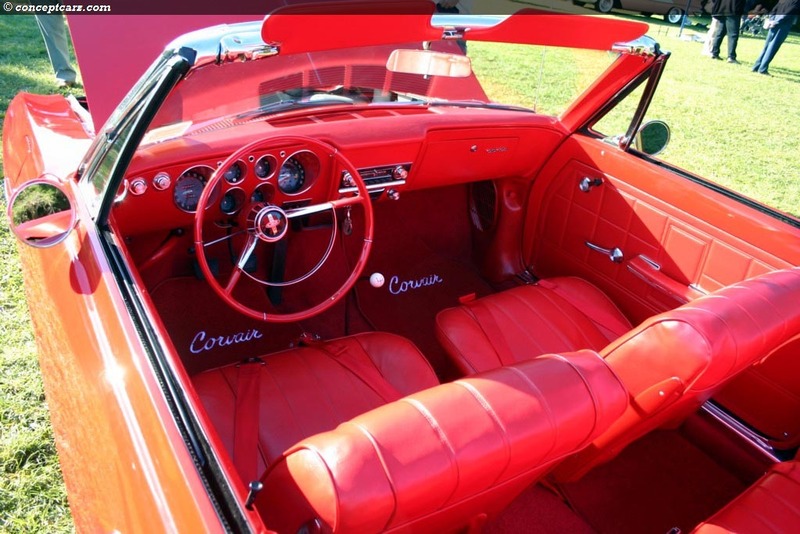 It is a restored masterpiece that has a very long front and a three-position drop head coupe configuration. 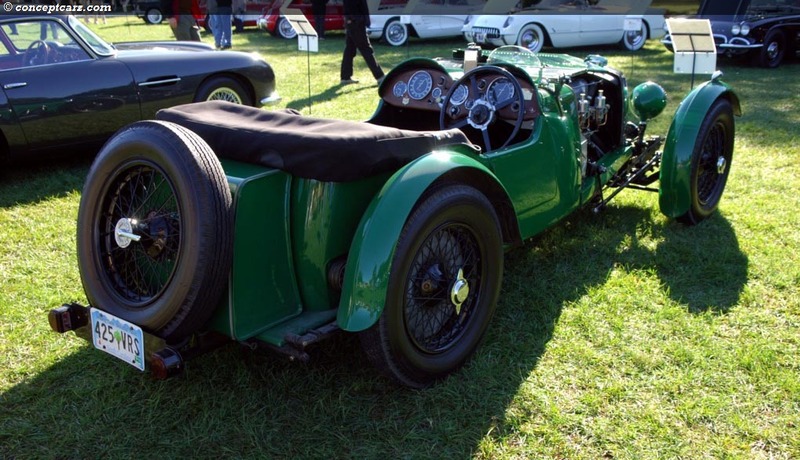 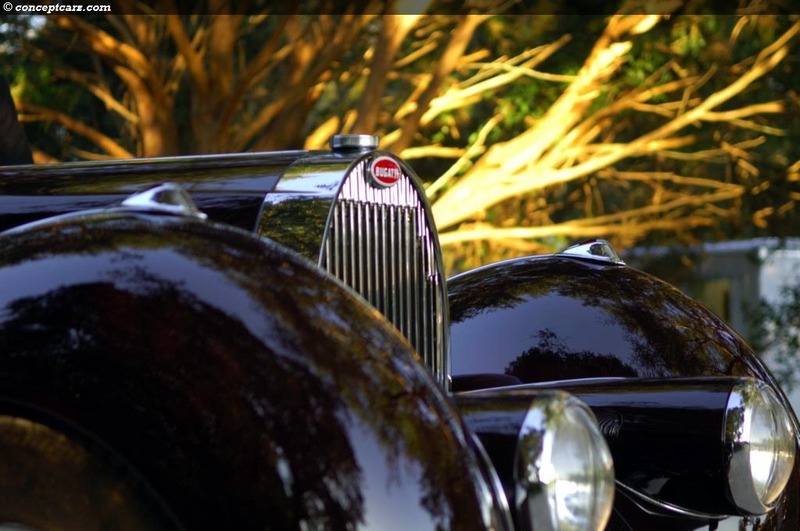 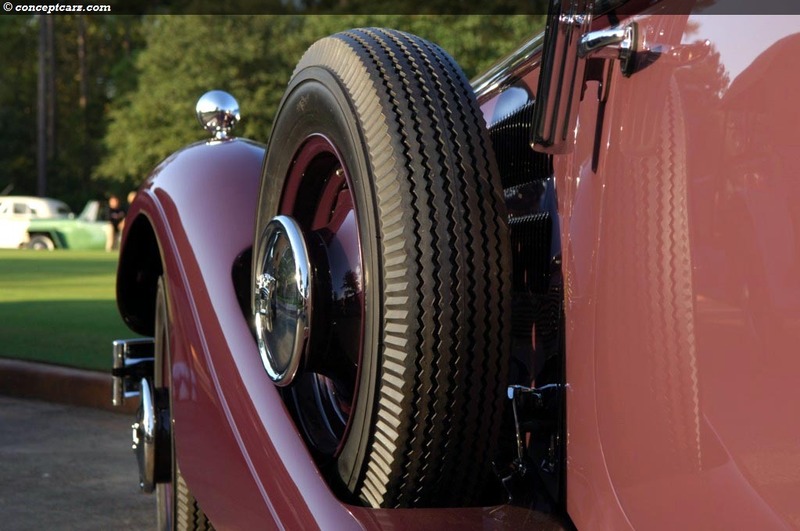 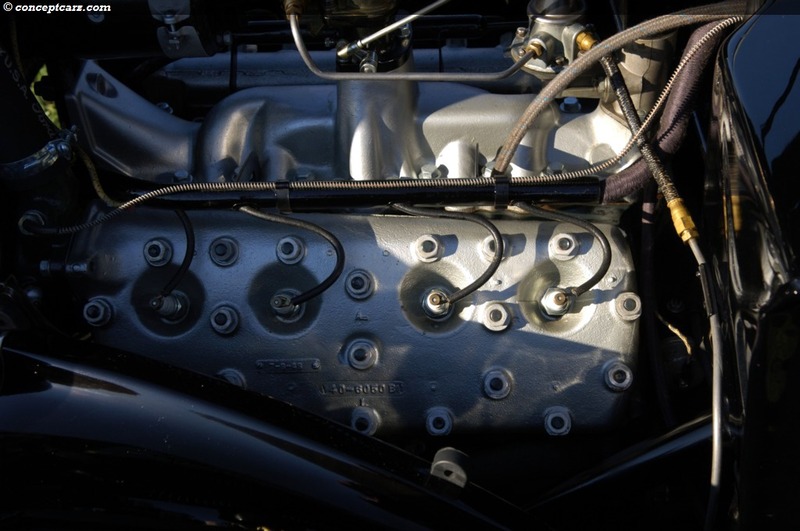 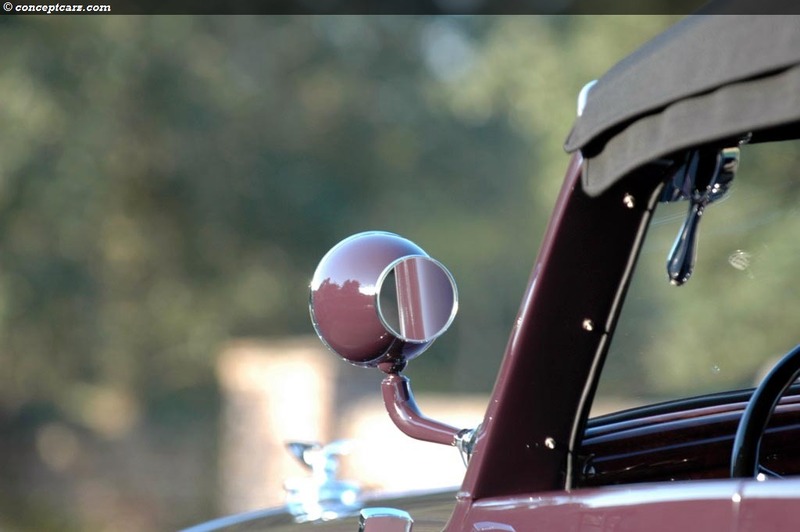 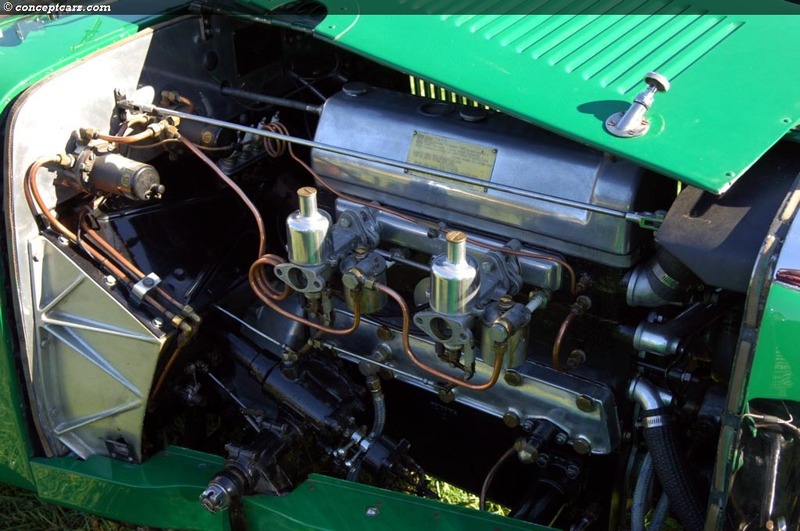 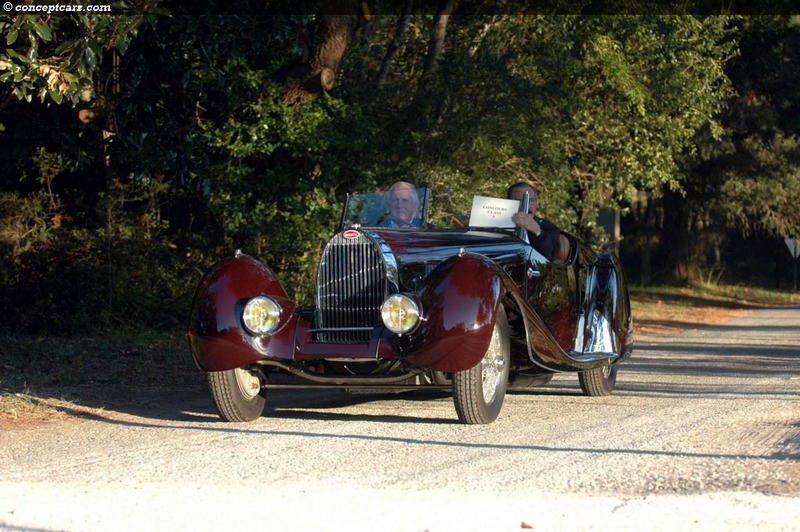 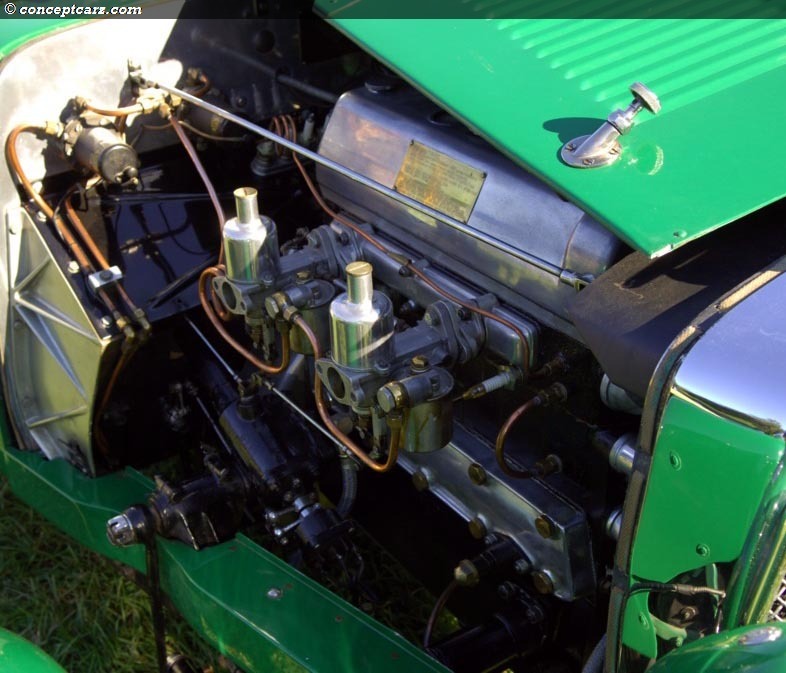 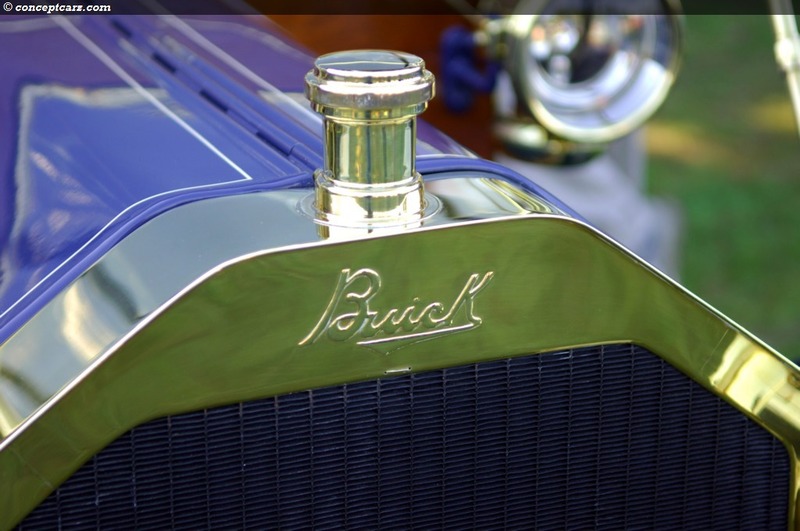 The Bugatti Type 57C Roadster was another potential contender, as it had won top honors at the Greenwich Concours and the Eastern Concours of the US. 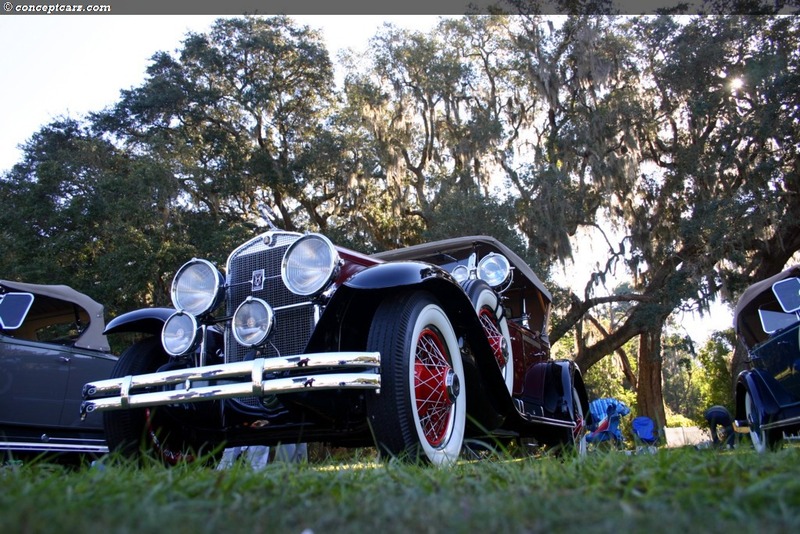 Sitting just a short distance away on concours day was the car that the judges chose as this years 'Best of Show'. 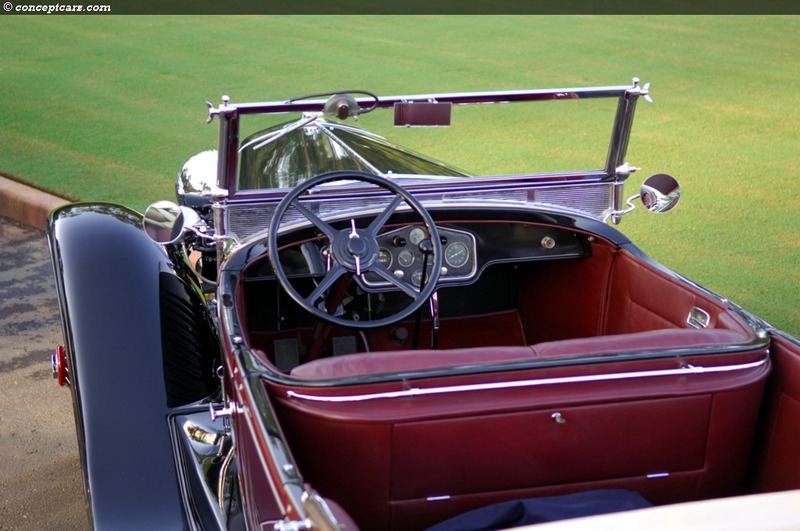 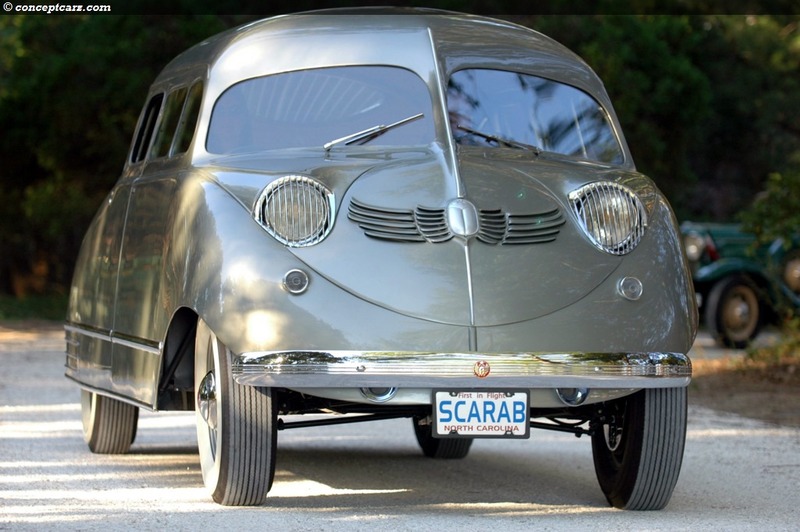 It's a car that recently was awarded a Second in Class at Pebble Beach, has a boat-tail configuration, and coachwork by LeBaron. 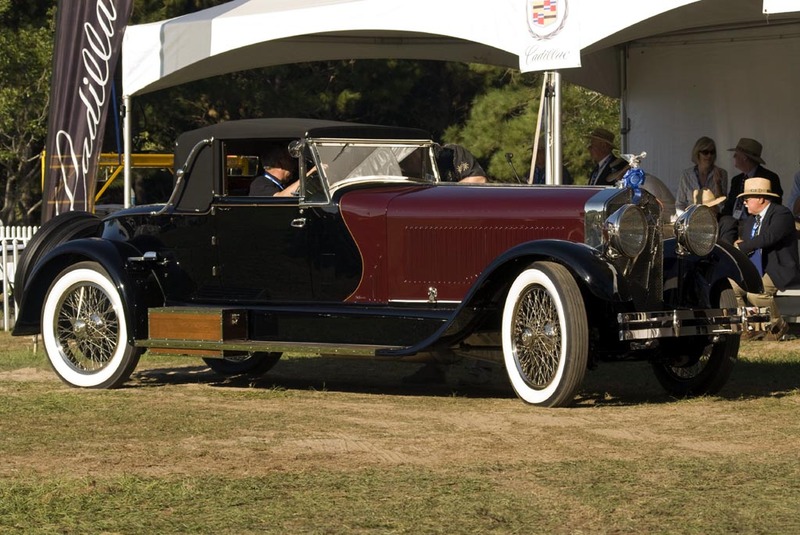 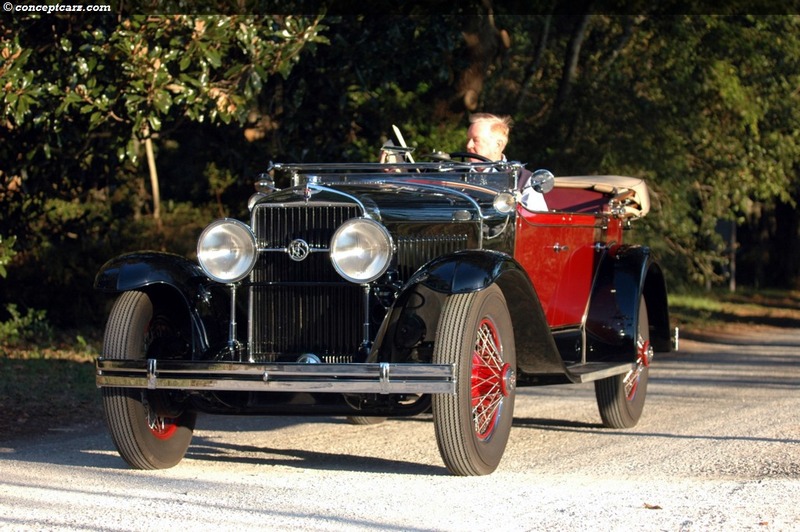 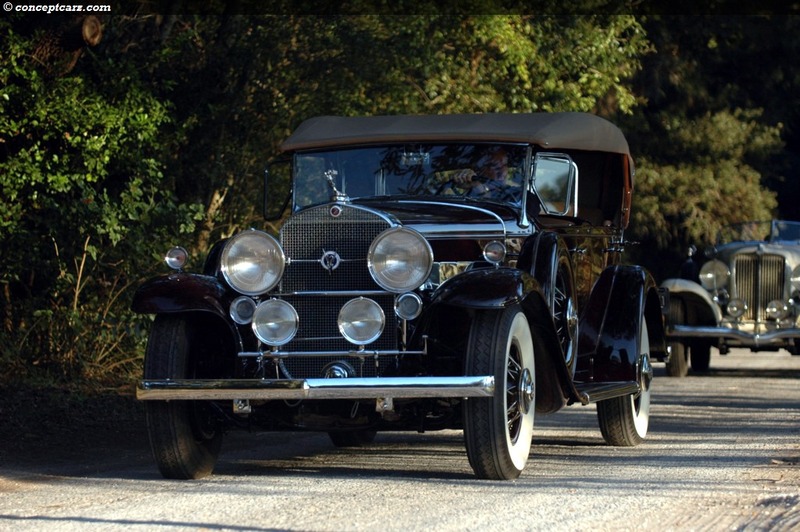 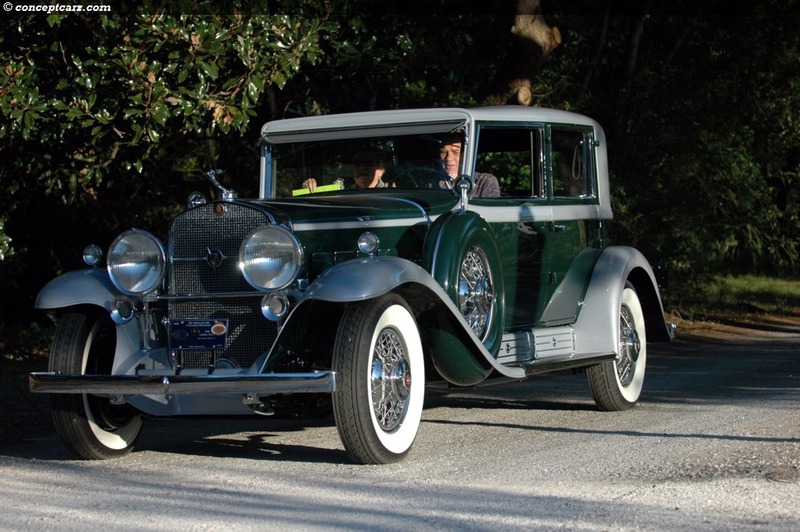 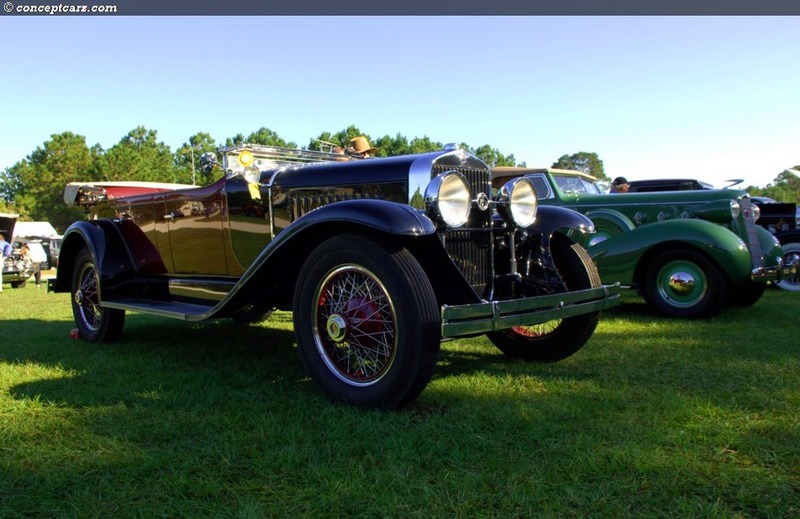 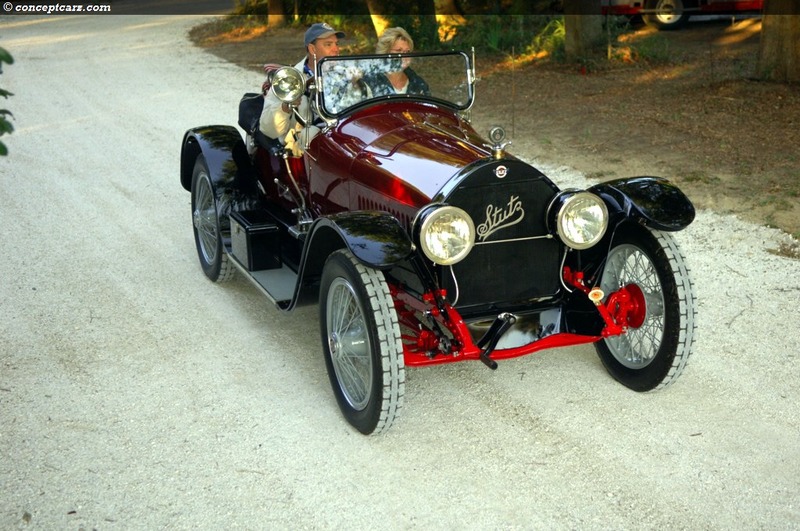 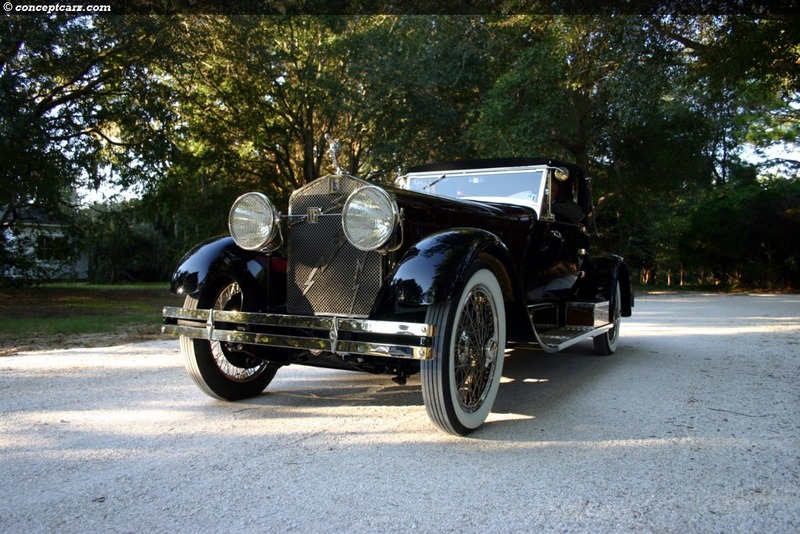 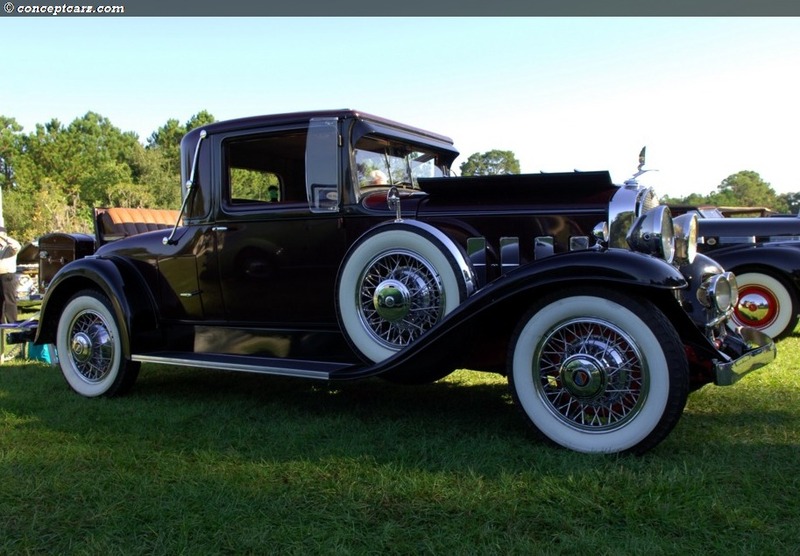 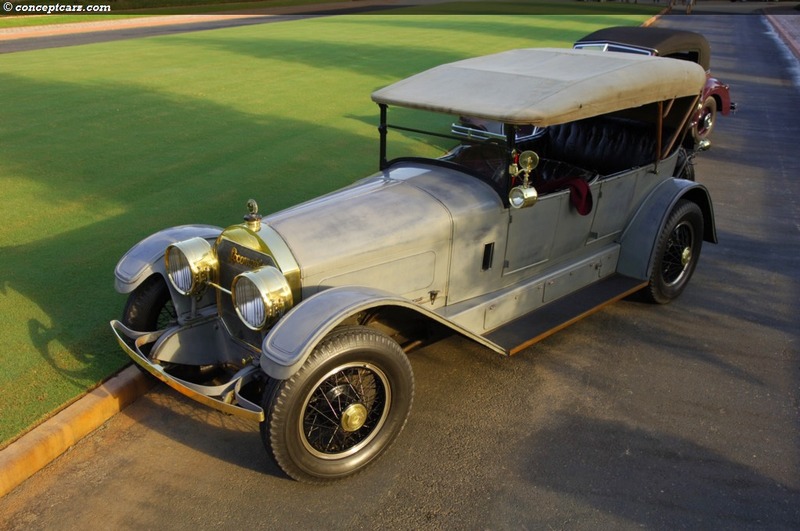 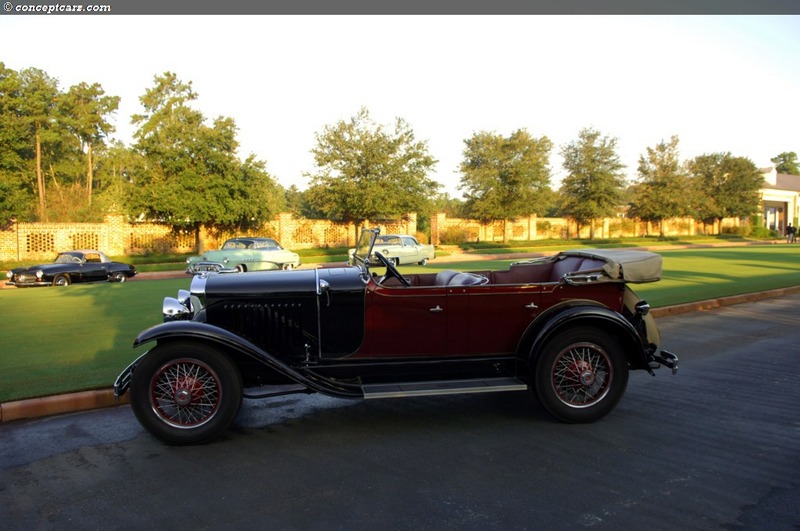 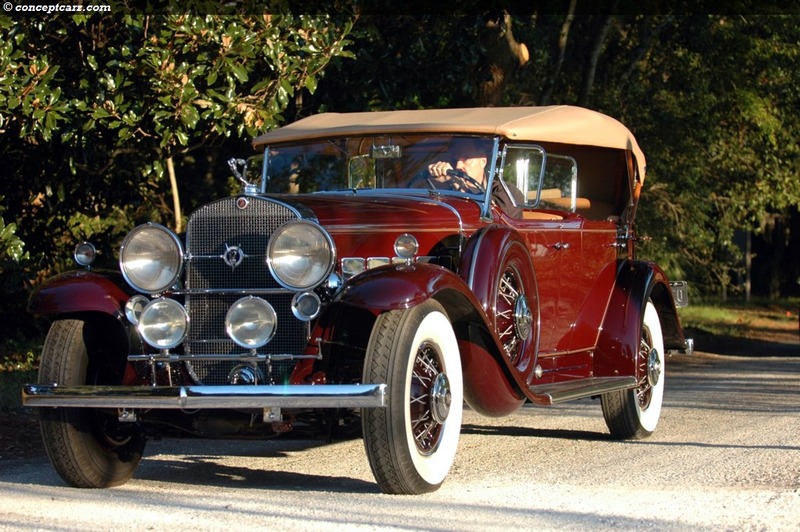 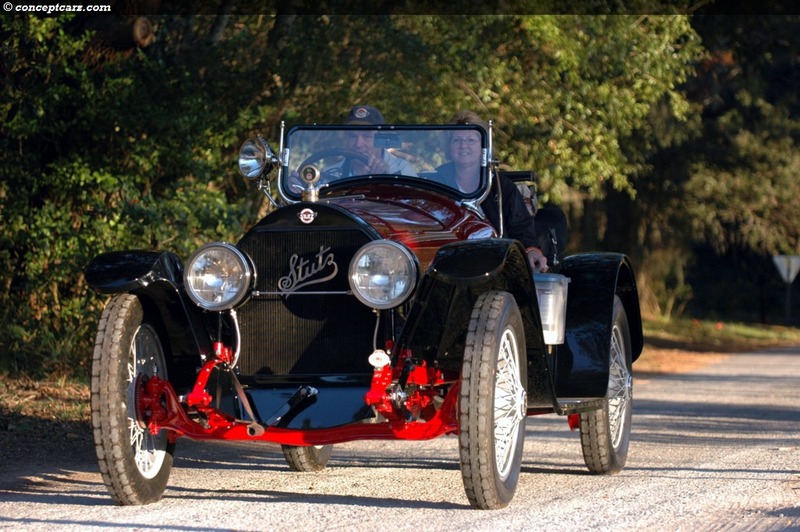 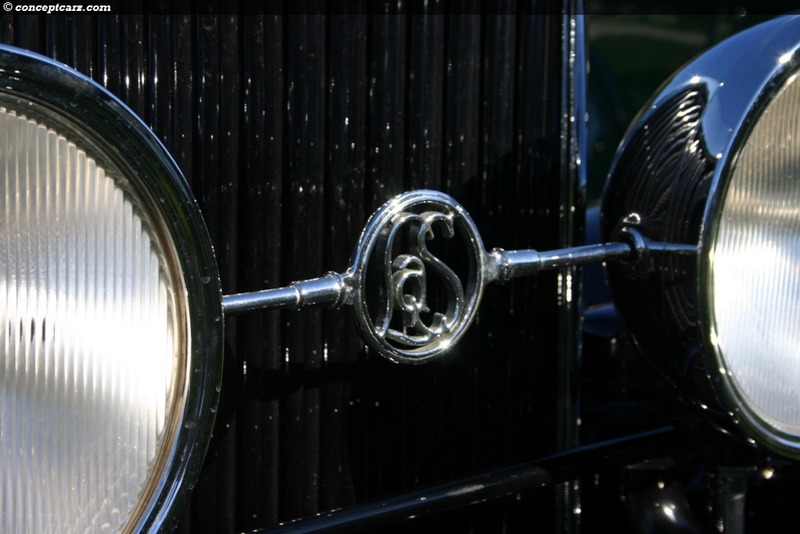 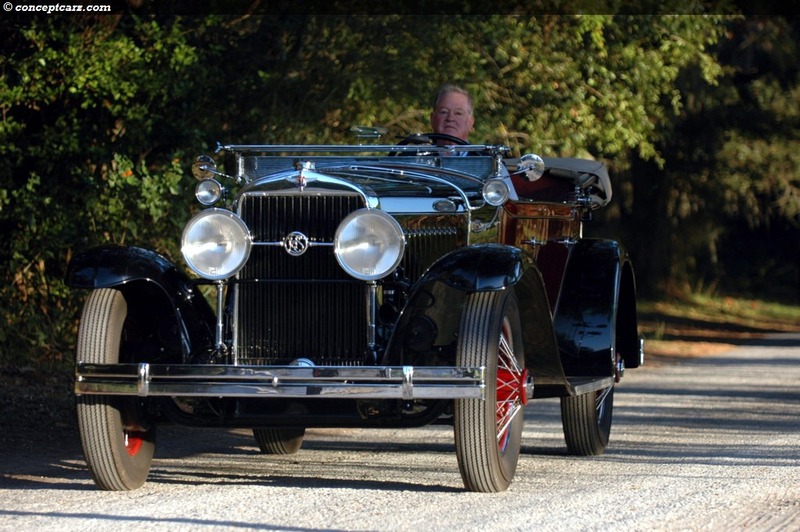 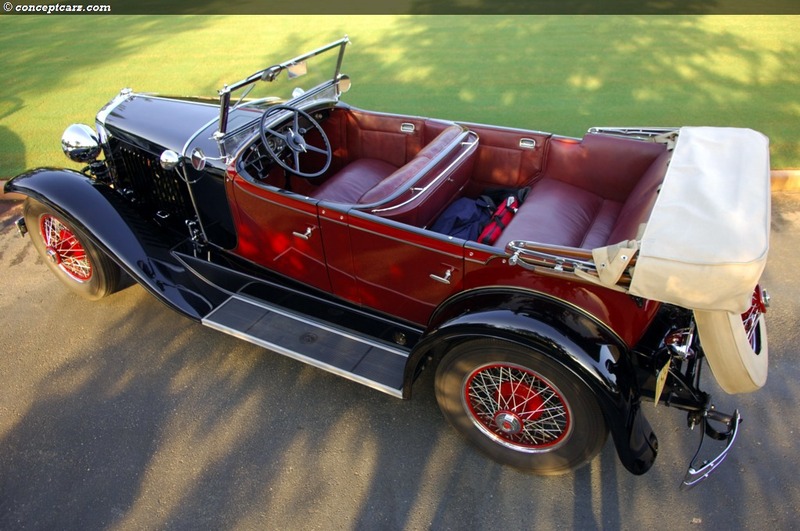 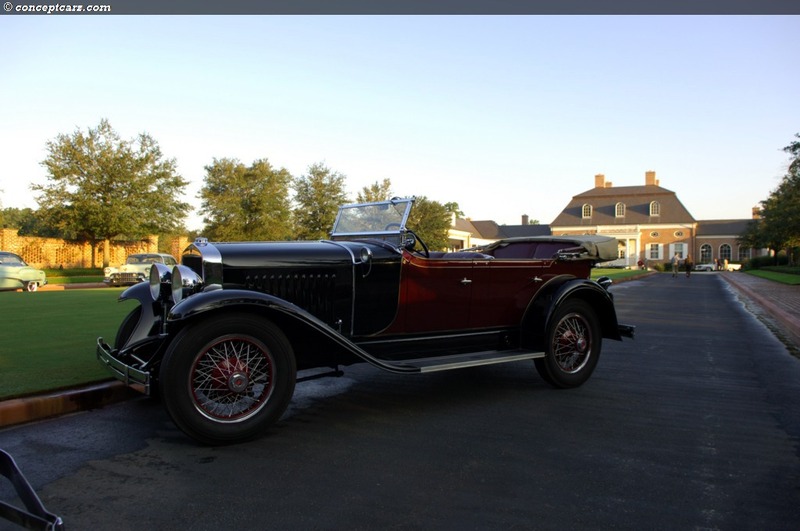 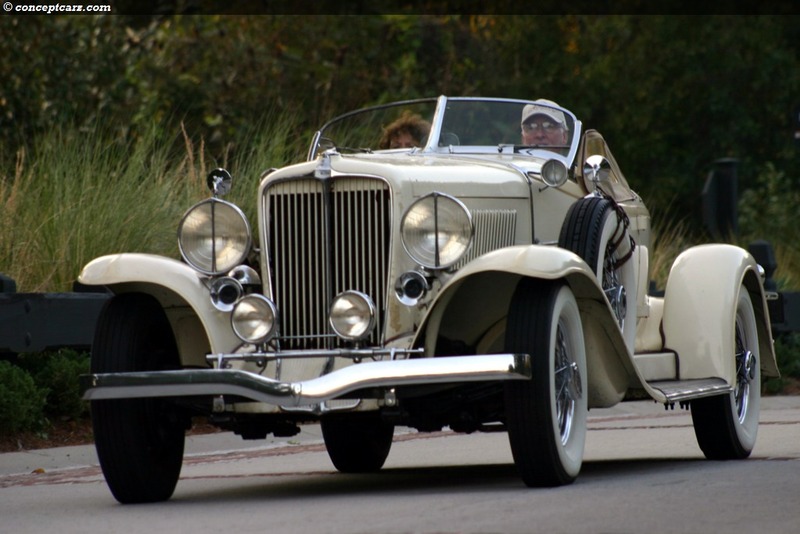 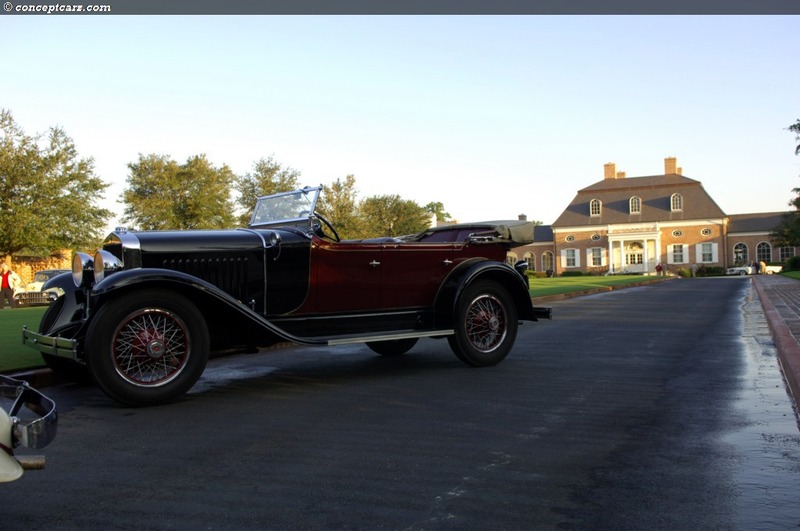 This year's winner was the 1928 Isotta Fraschini 8A SS owned by Peter Boyle of Pennsylvania. 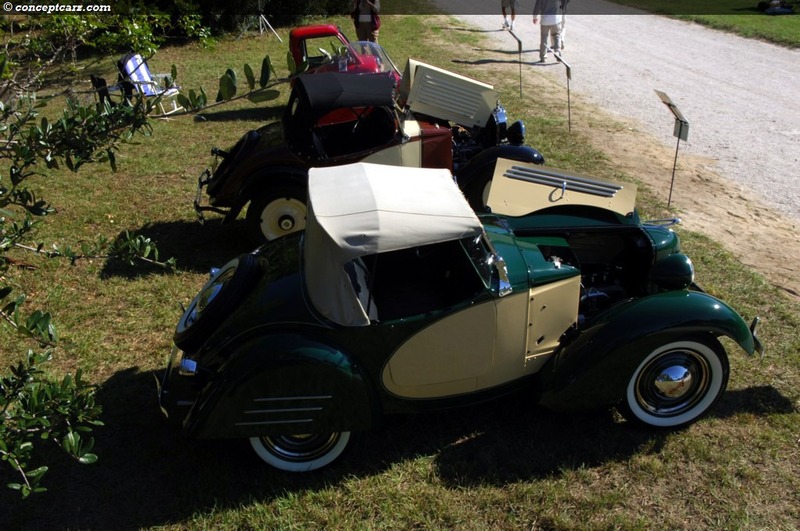 The People's Choice always tends to be the most unusual vehicle in attendance. 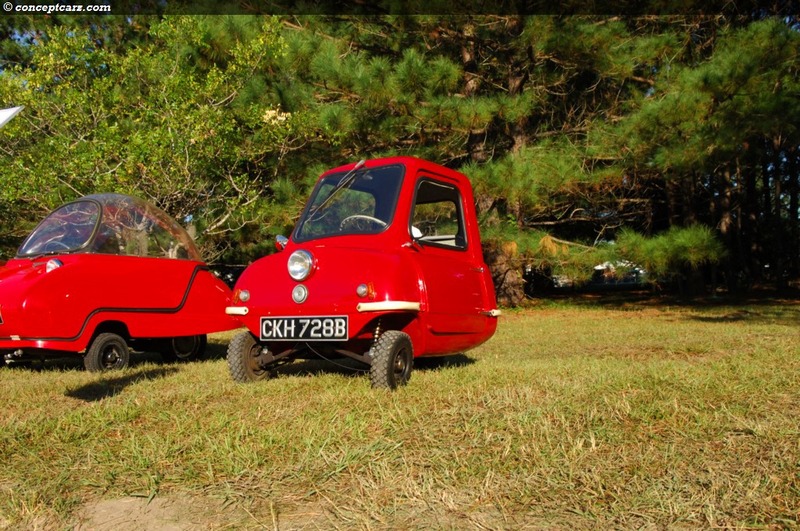 Apart from the micro cars, the Stout was the clear contender. 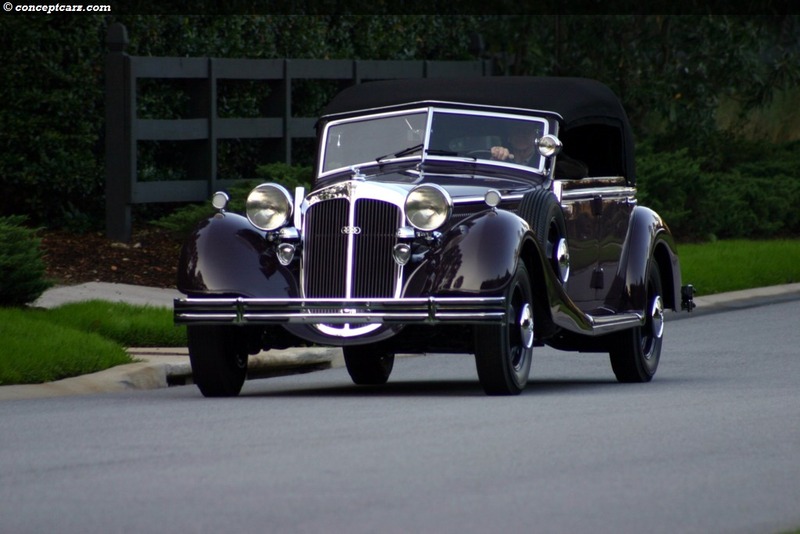 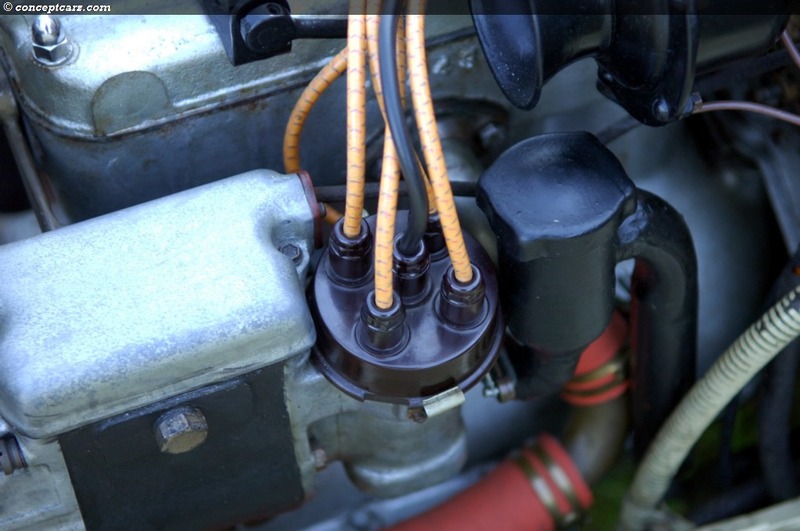 It is an attractive vehicle that always conjures up much attention where it is driven. 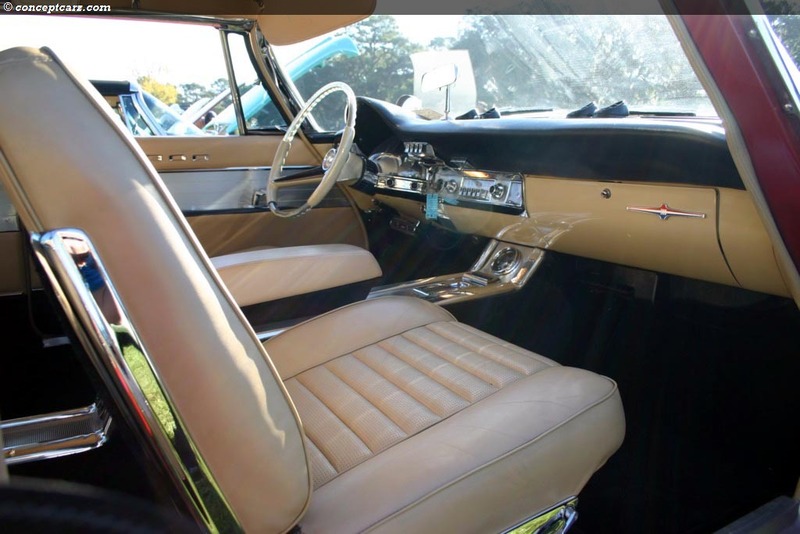 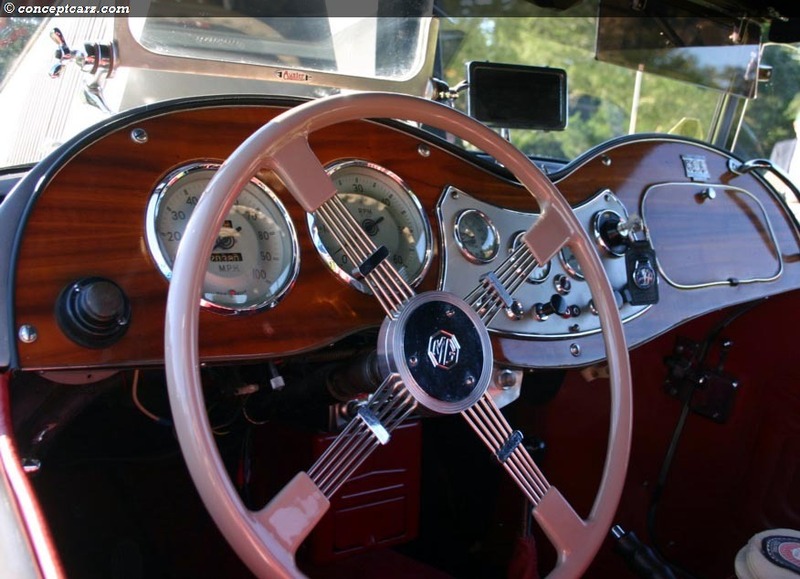 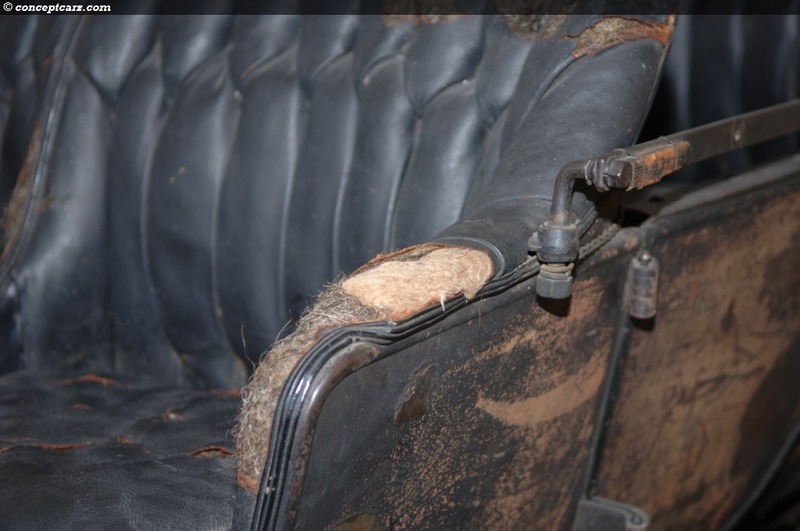 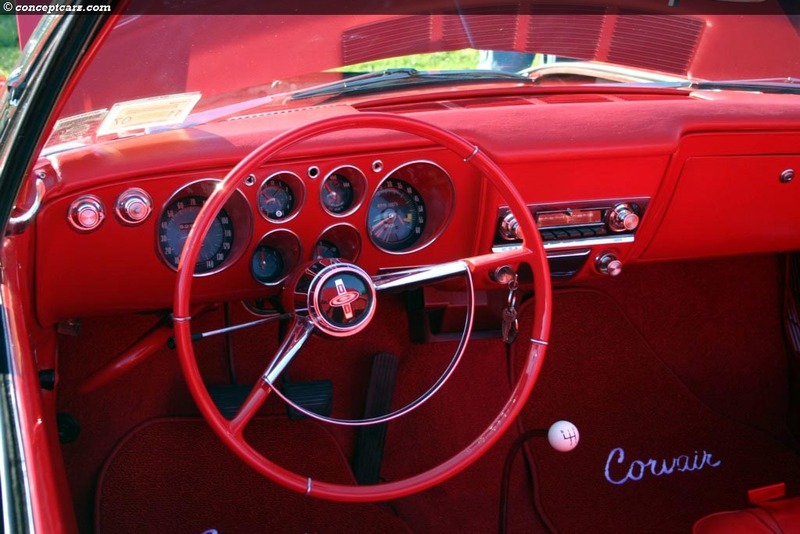 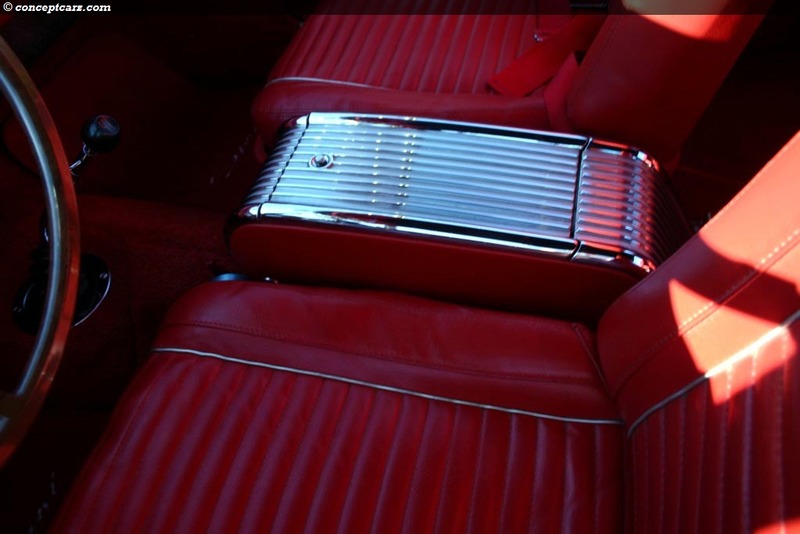 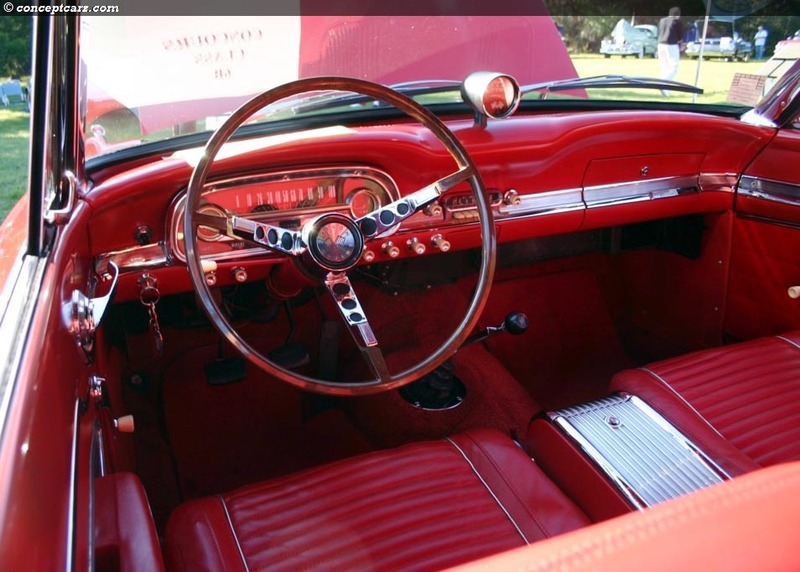 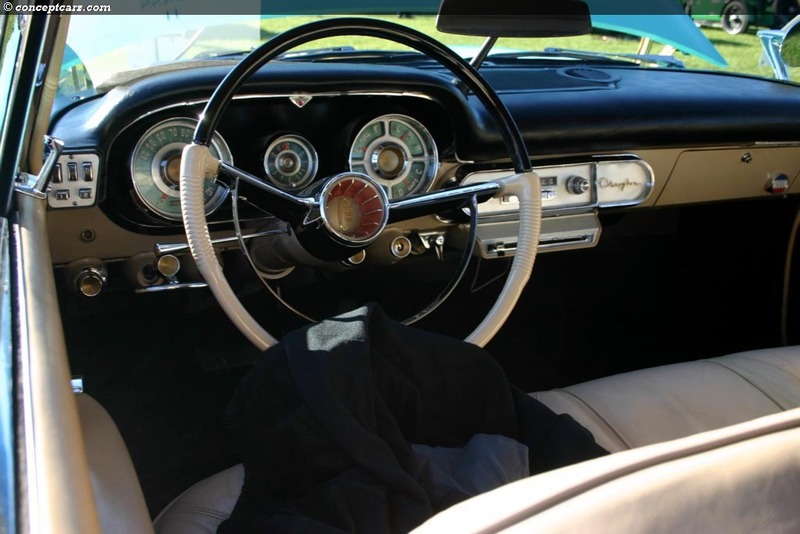 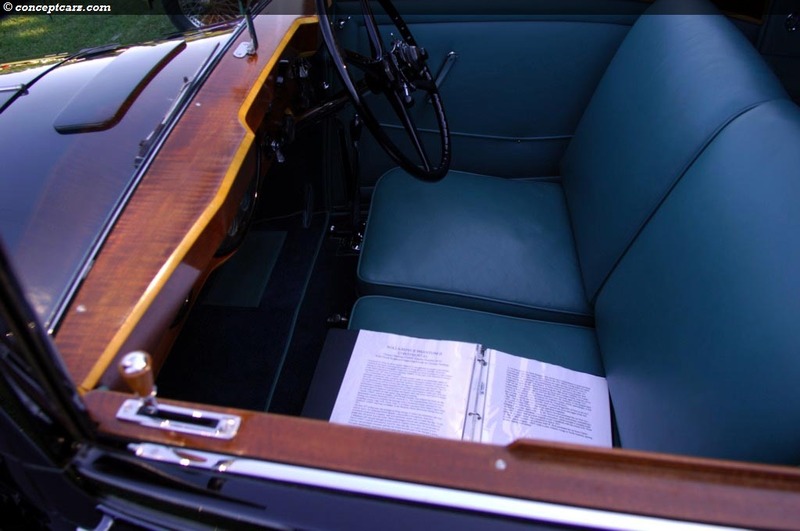 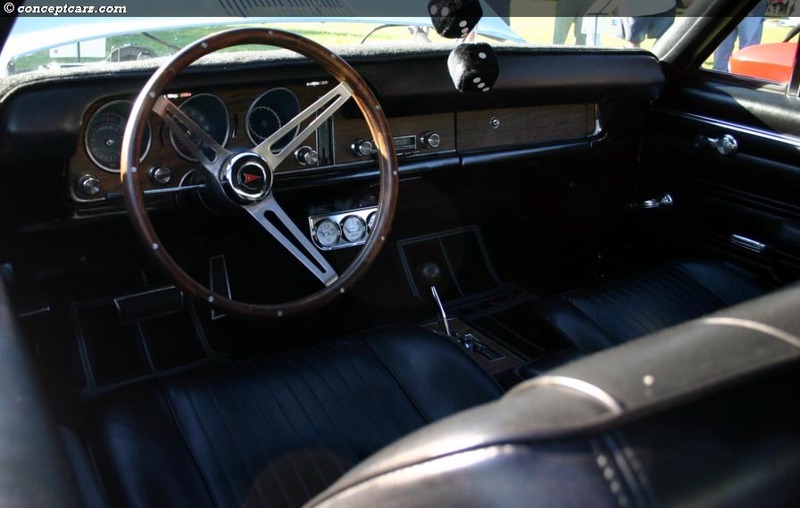 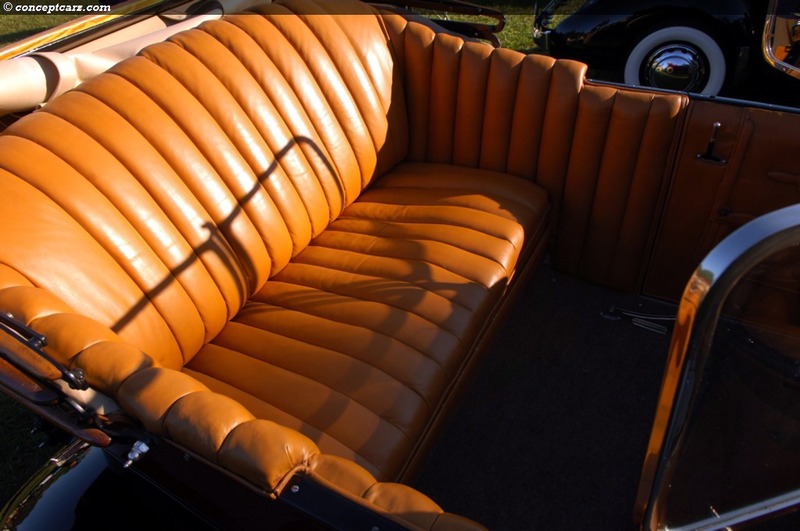 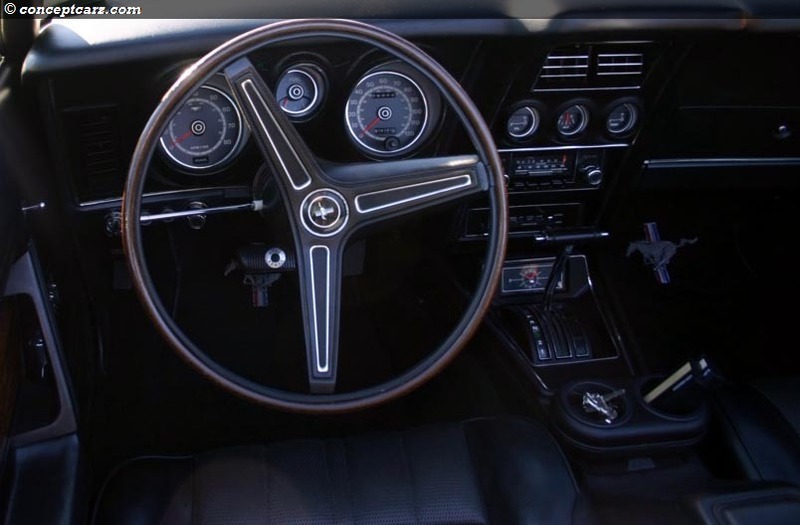 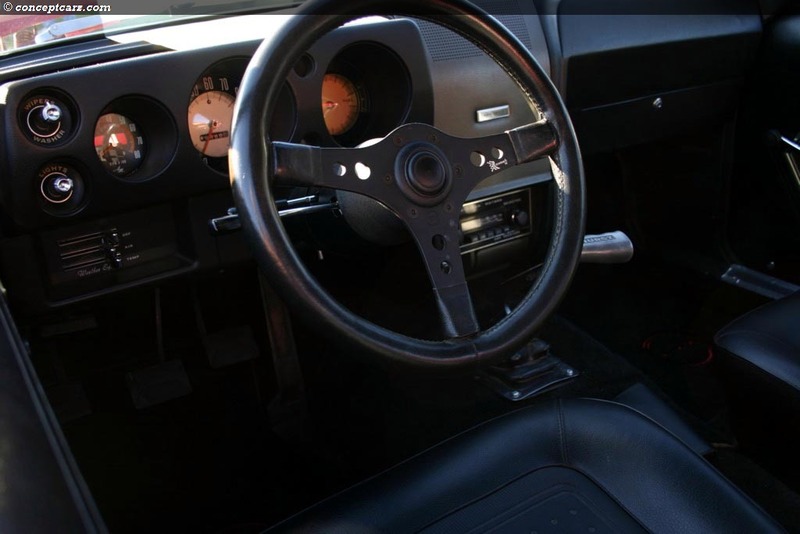 The interior is almost as attractive and unusual as its exterior. 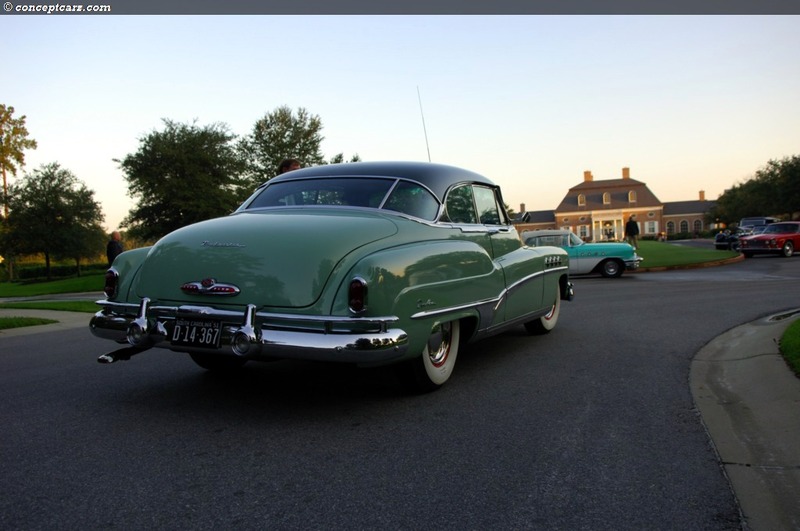 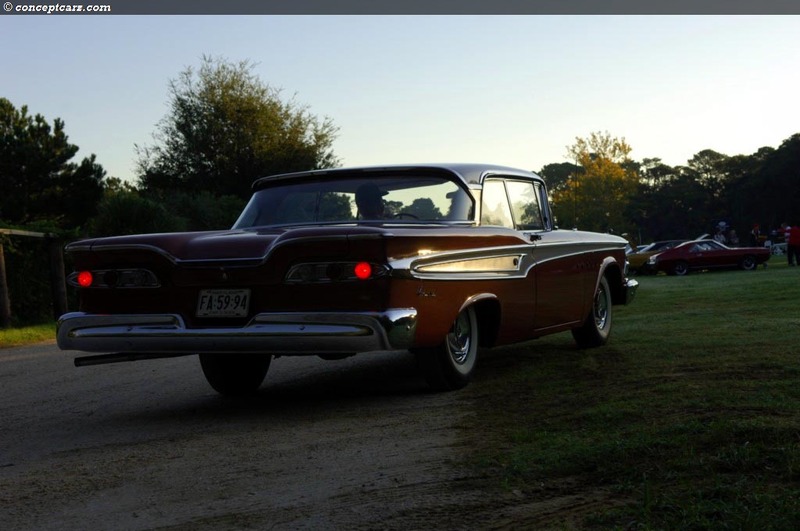 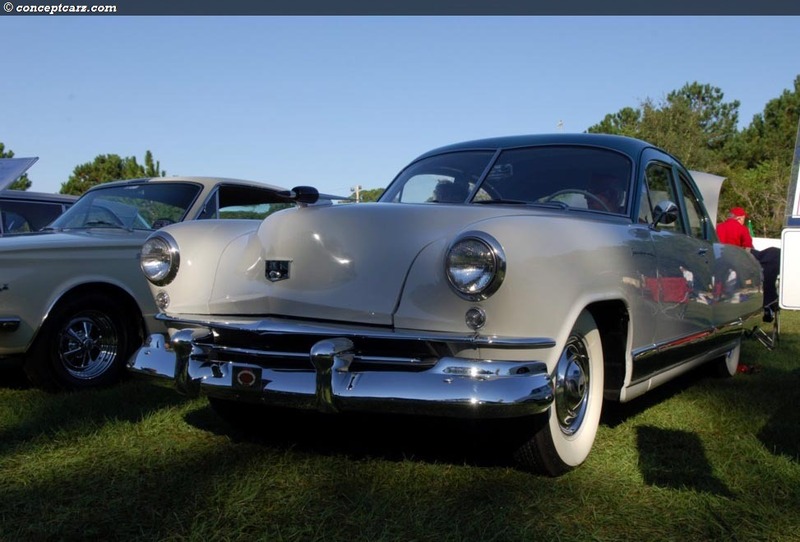 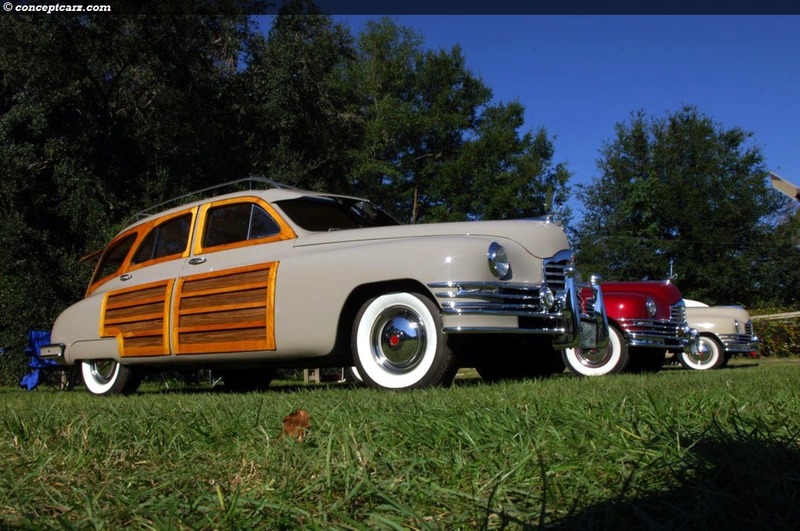 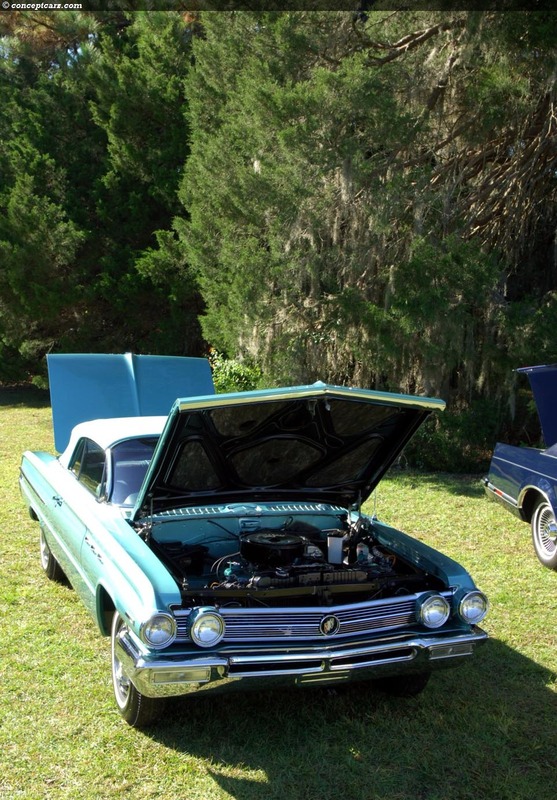 A DeSoto of the same era was also in attendance; these two vehicles have similar lines and both were inspired by aerodynamic design principles. 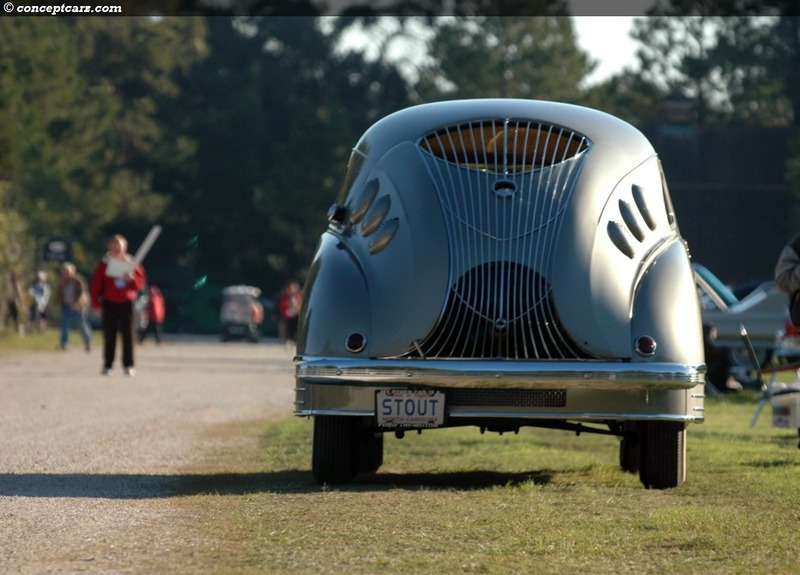 The people chose the Stout as their favorite. 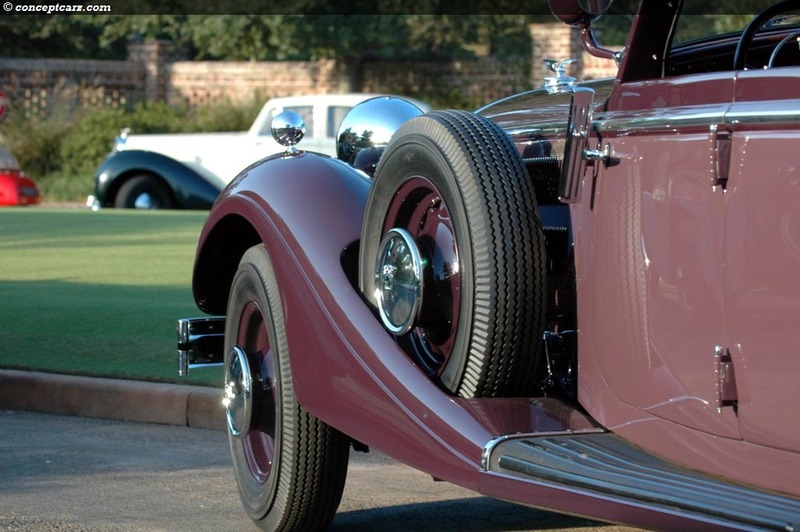 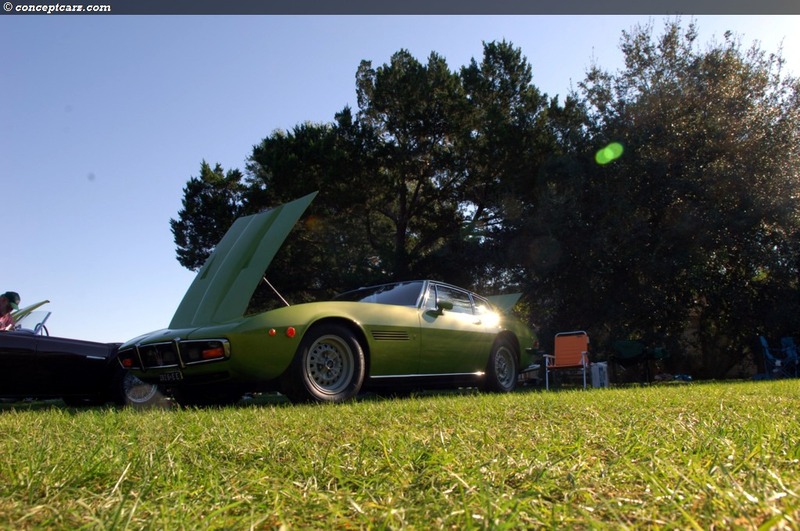 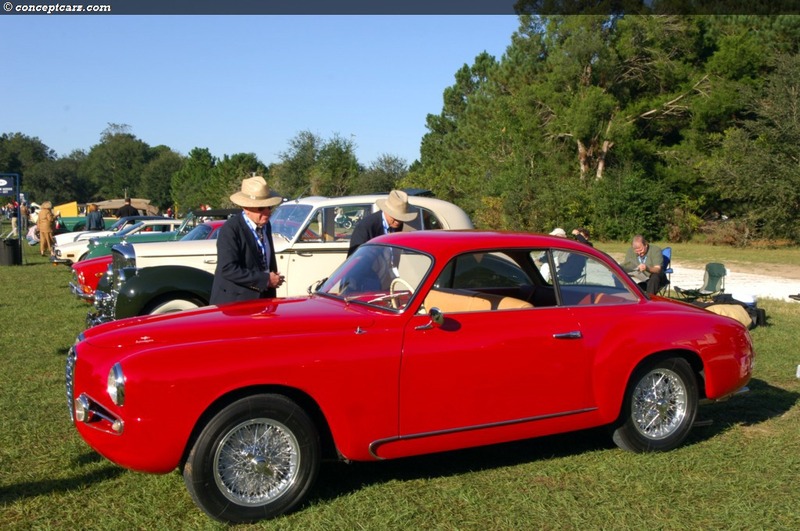 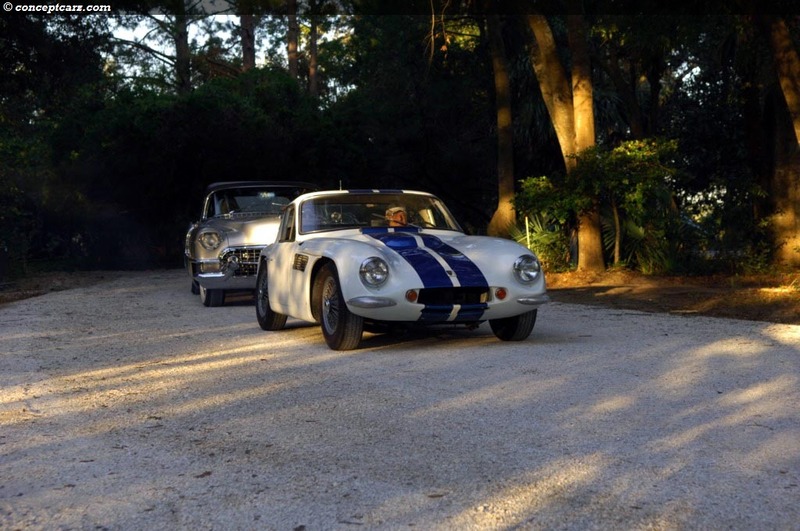 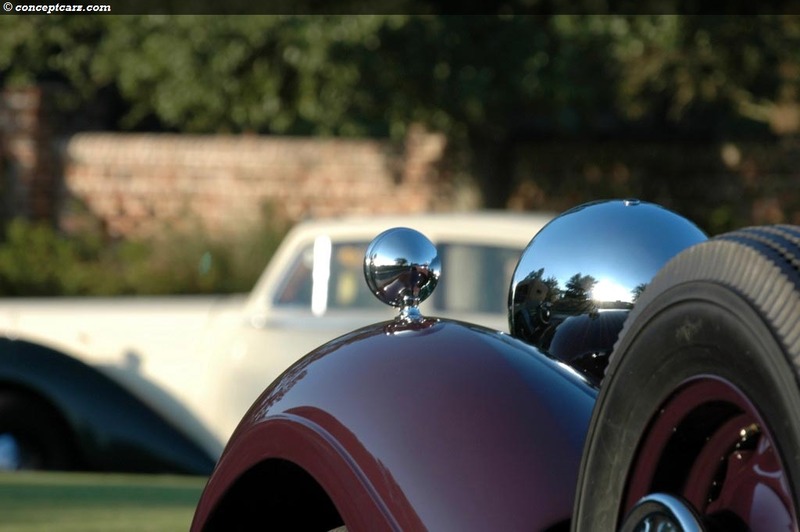 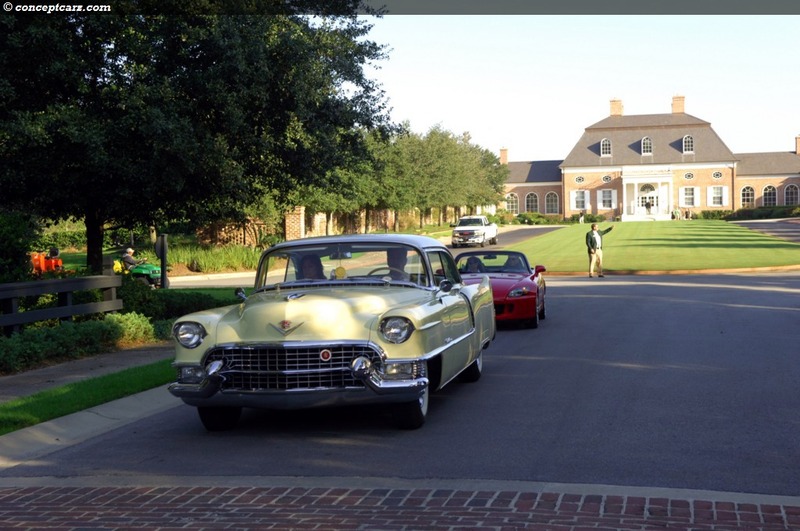 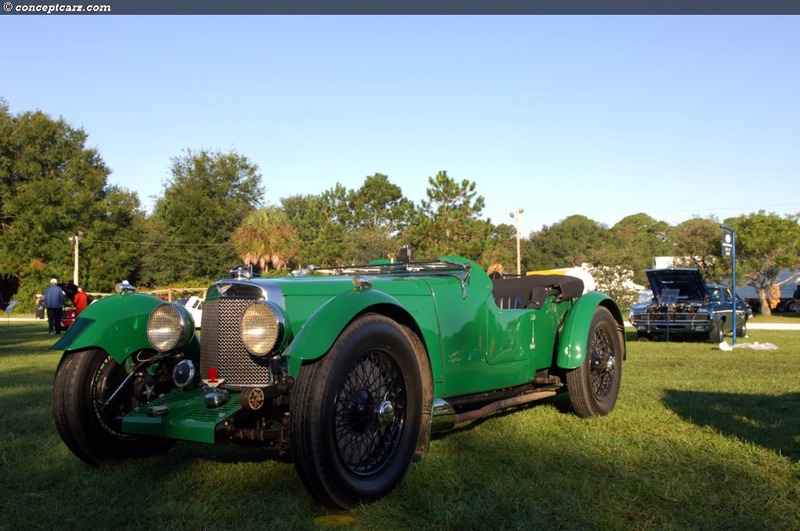 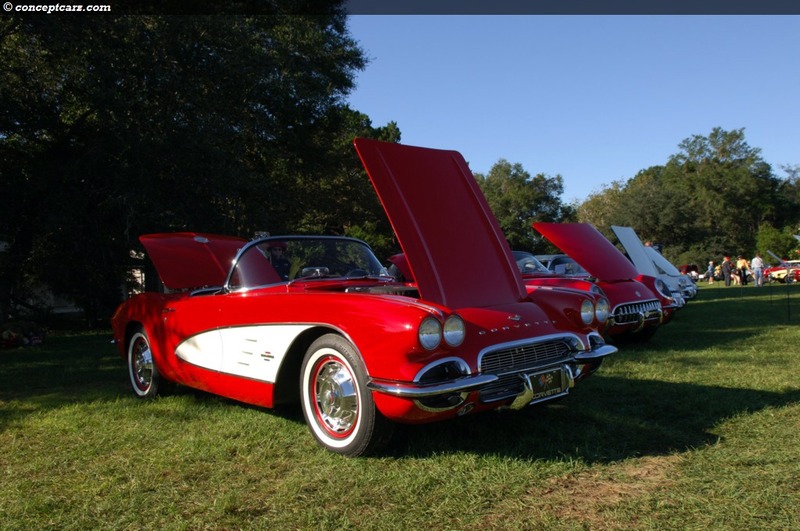 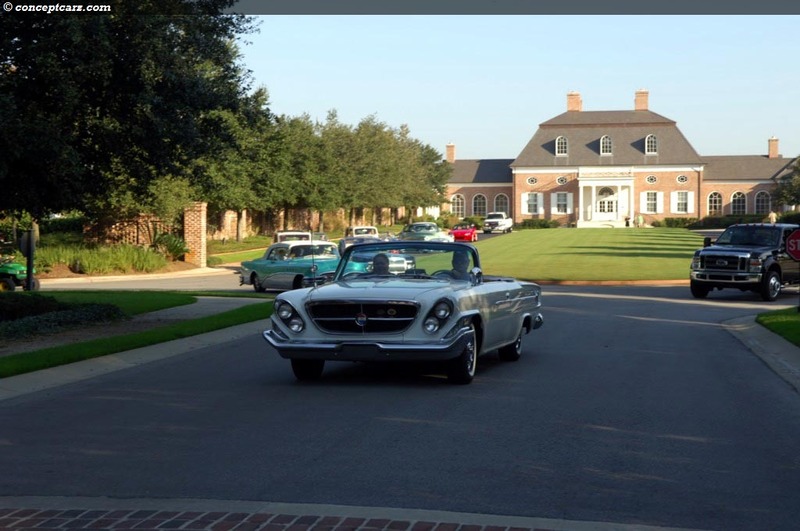 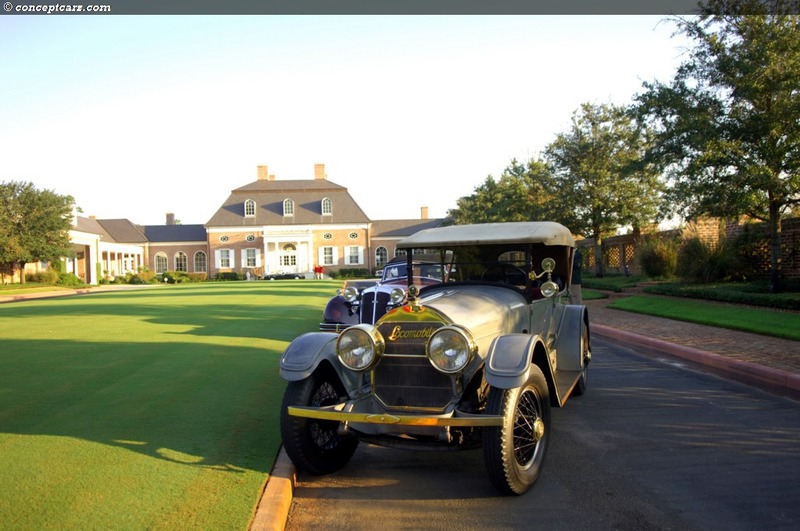 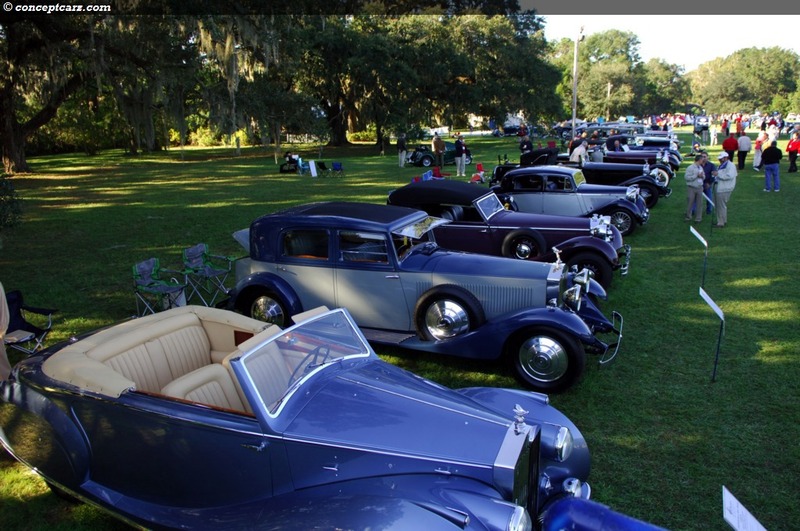 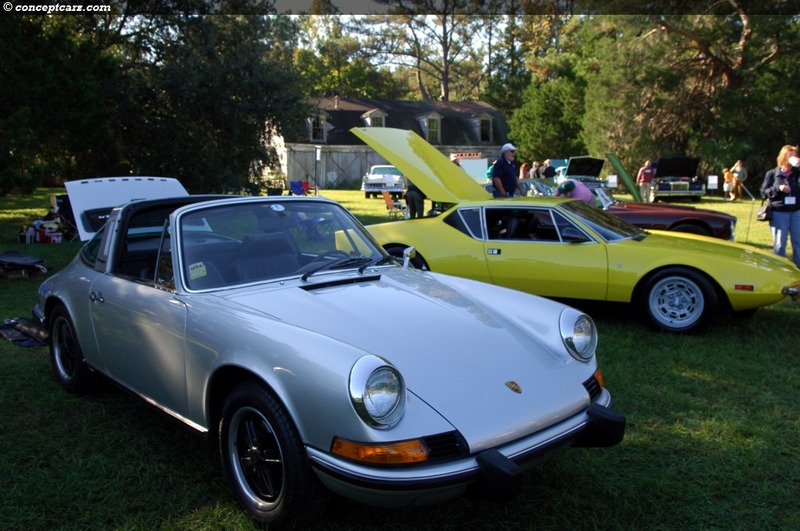 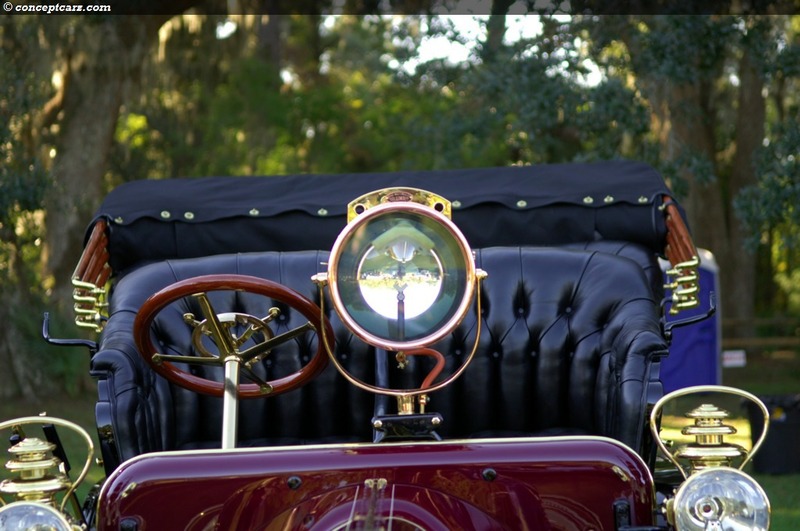 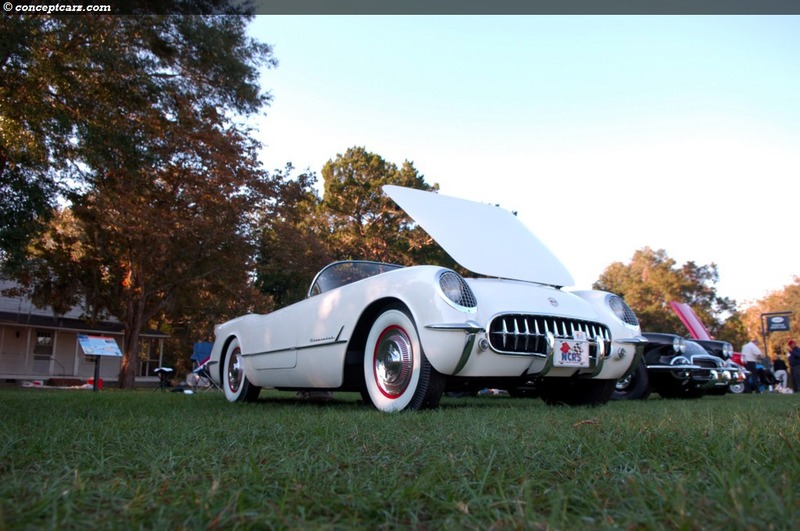 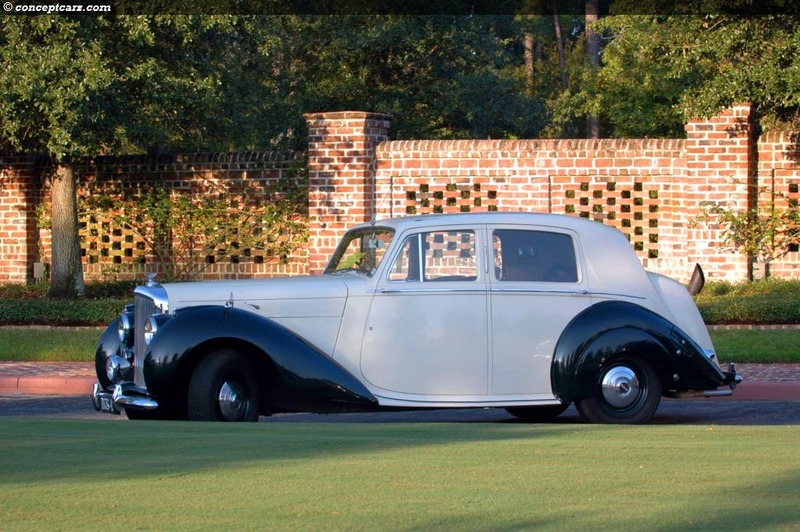 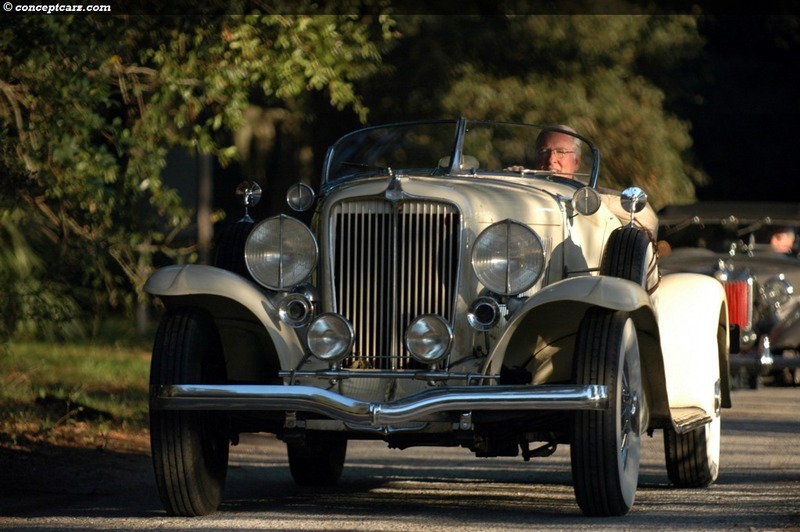 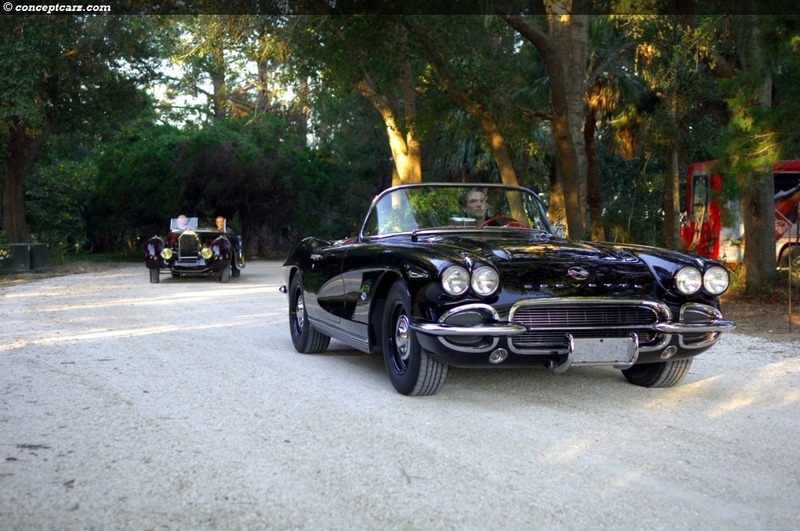 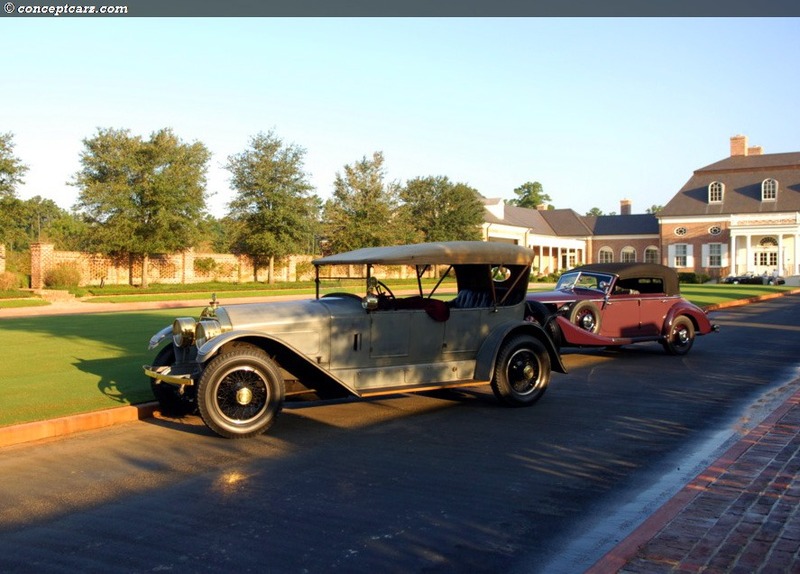 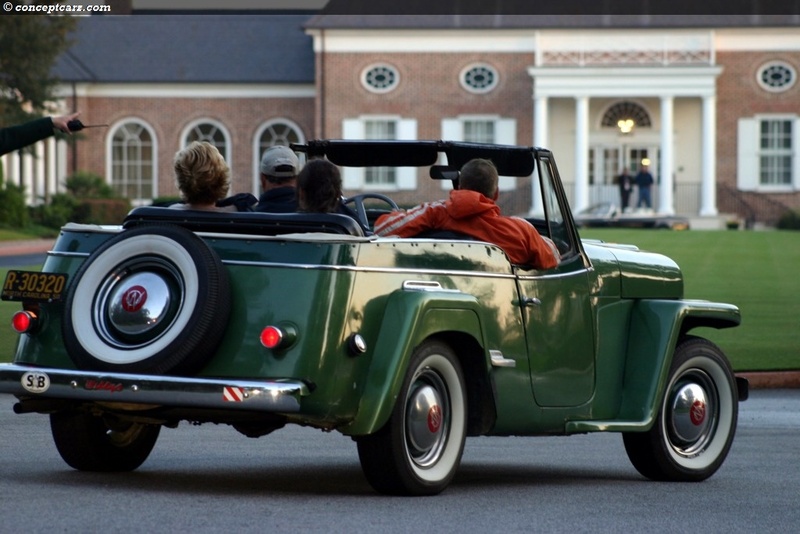 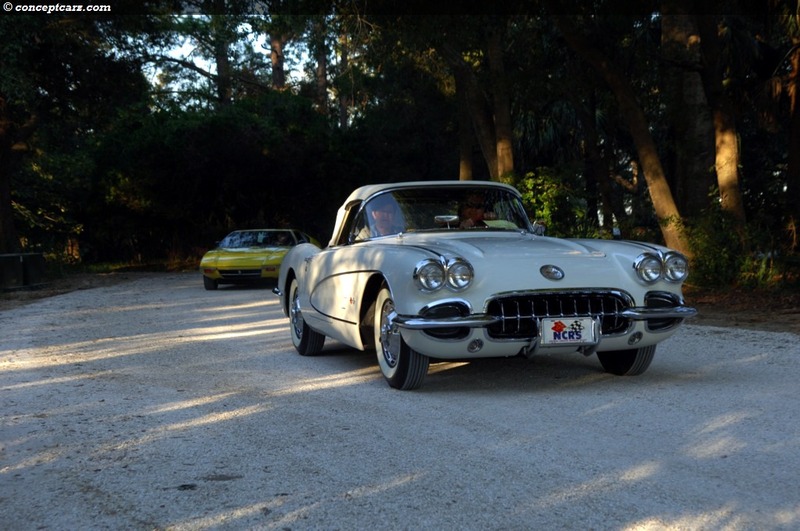 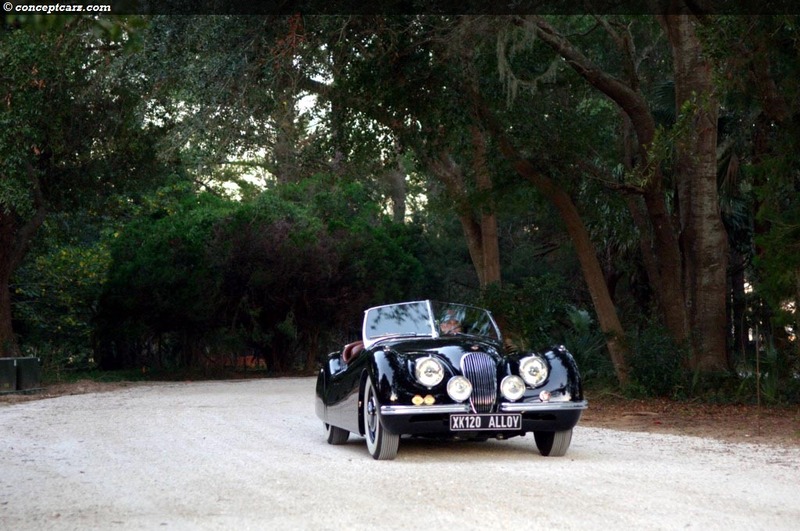 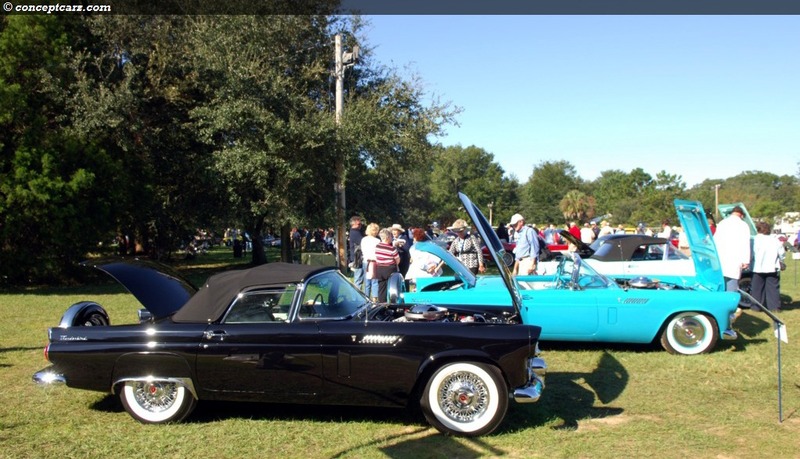 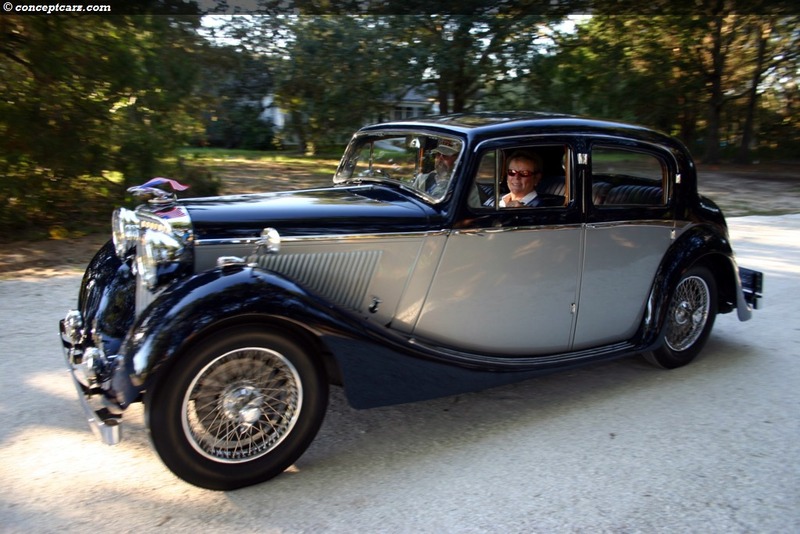 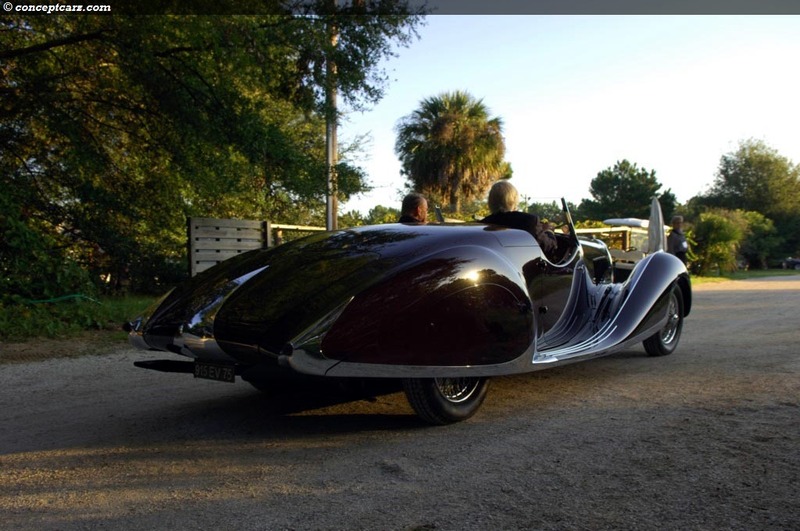 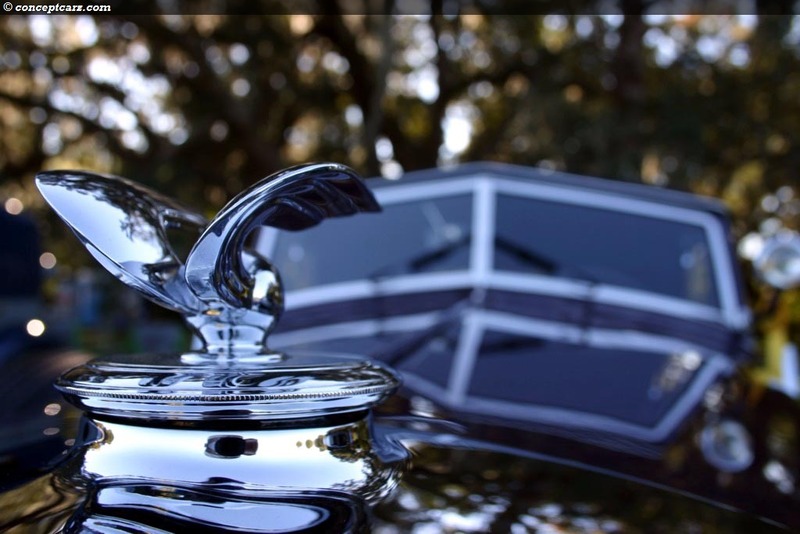 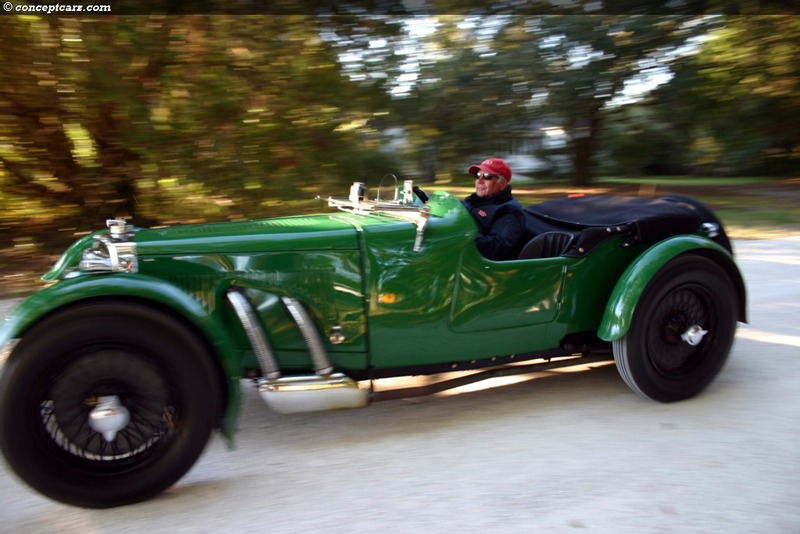 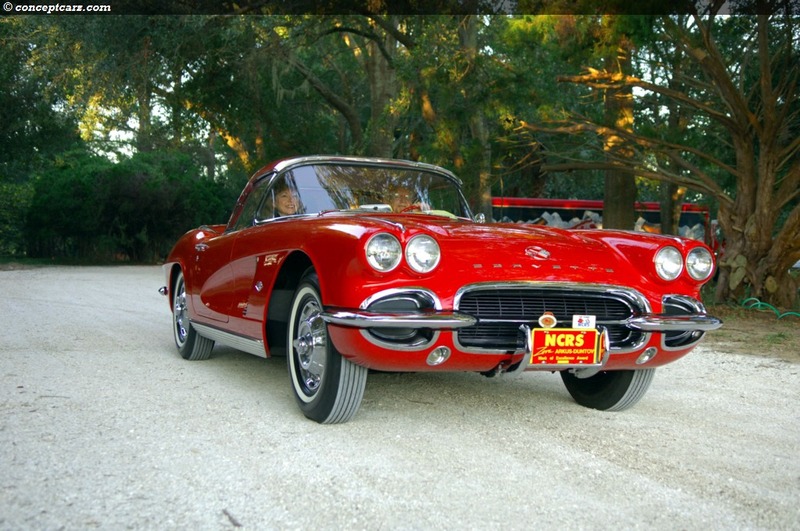 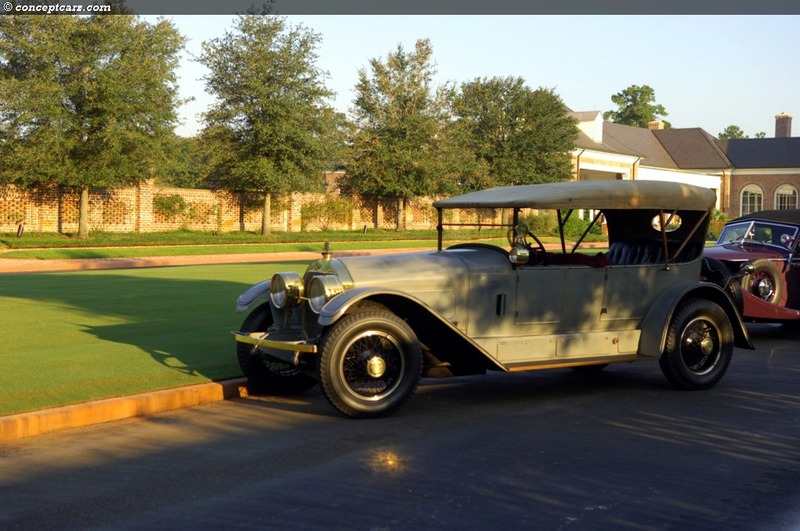 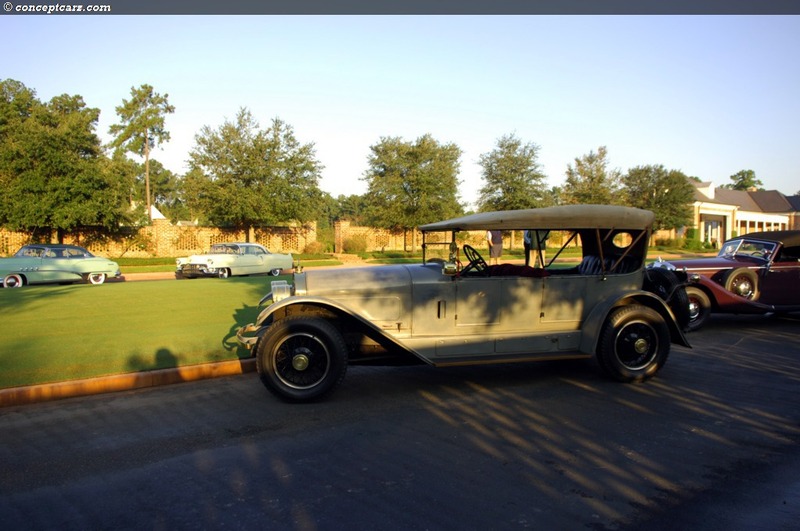 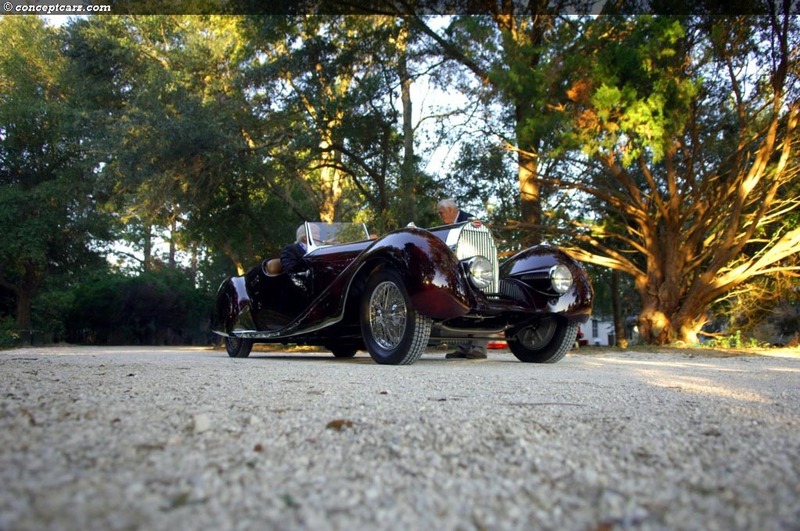 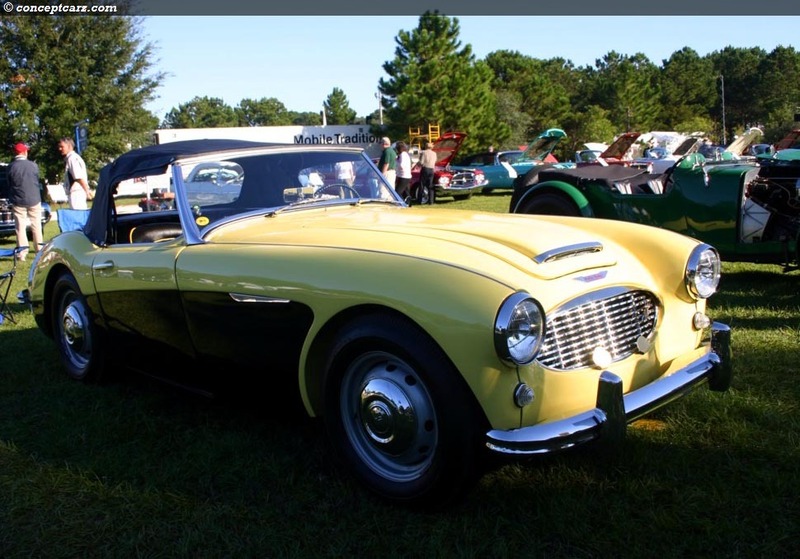 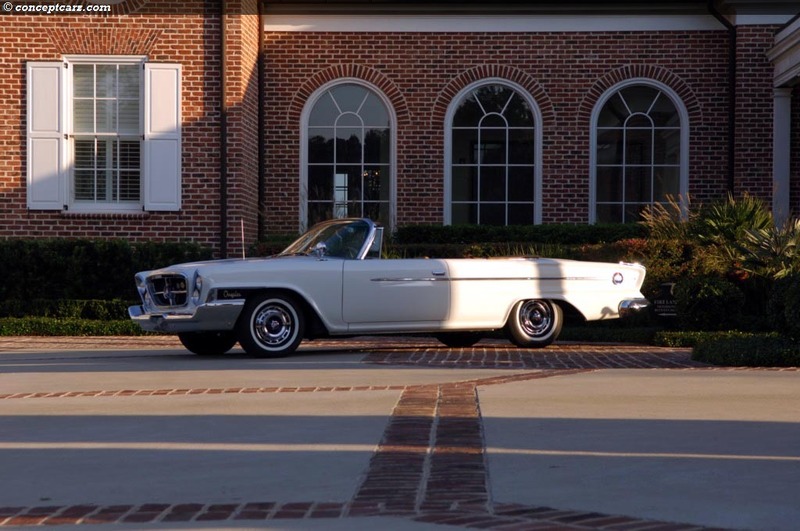 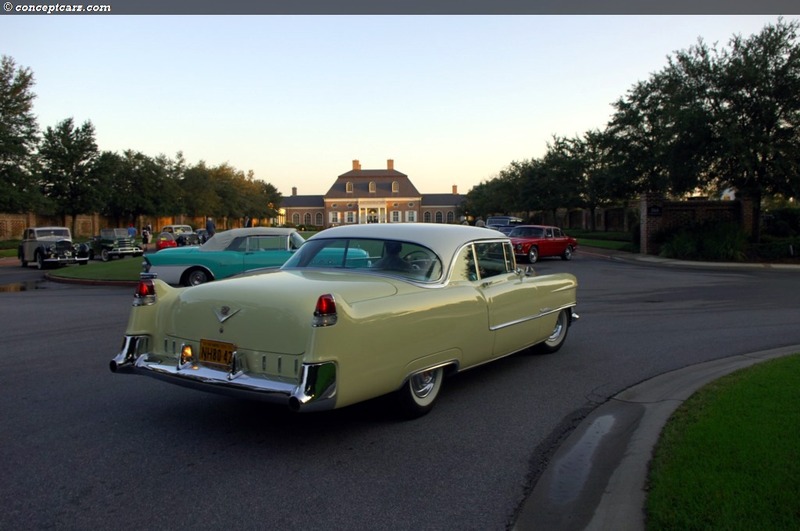 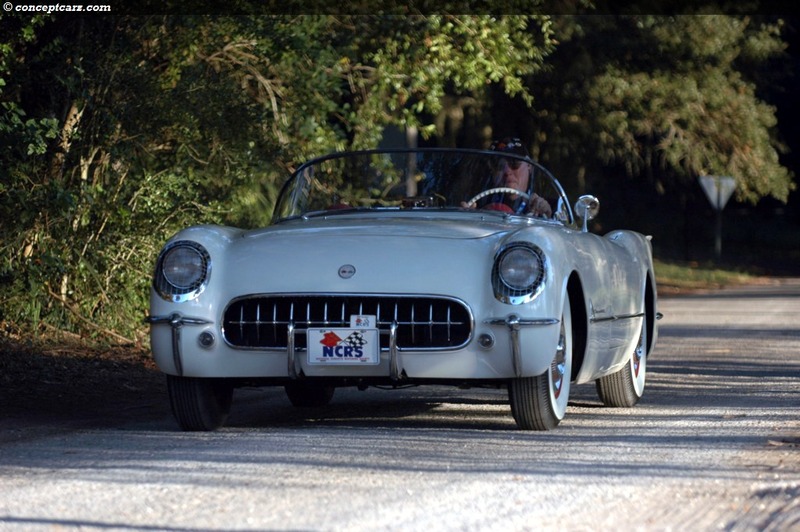 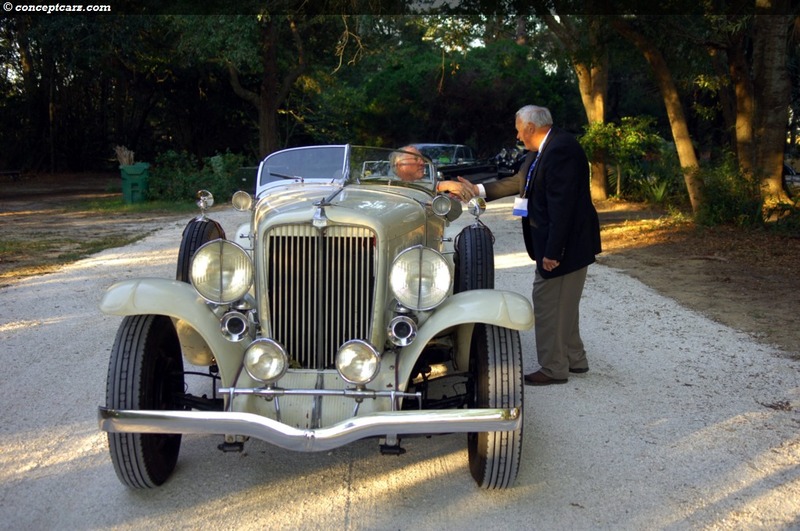 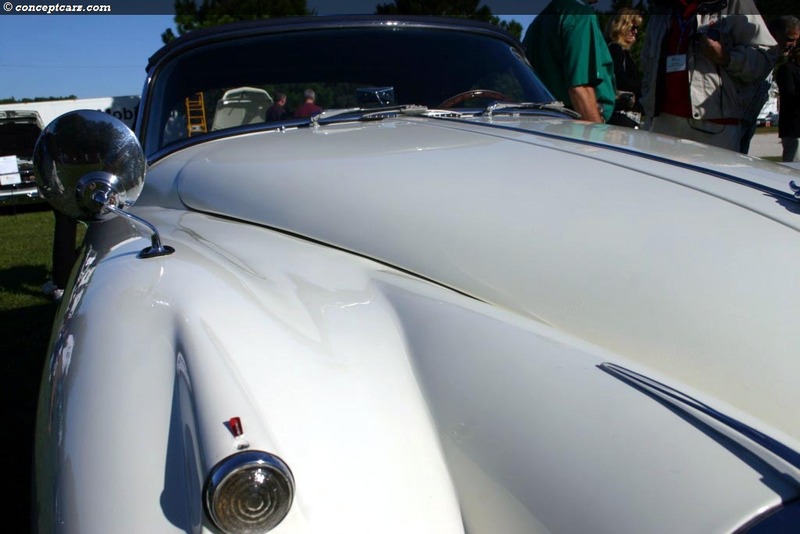 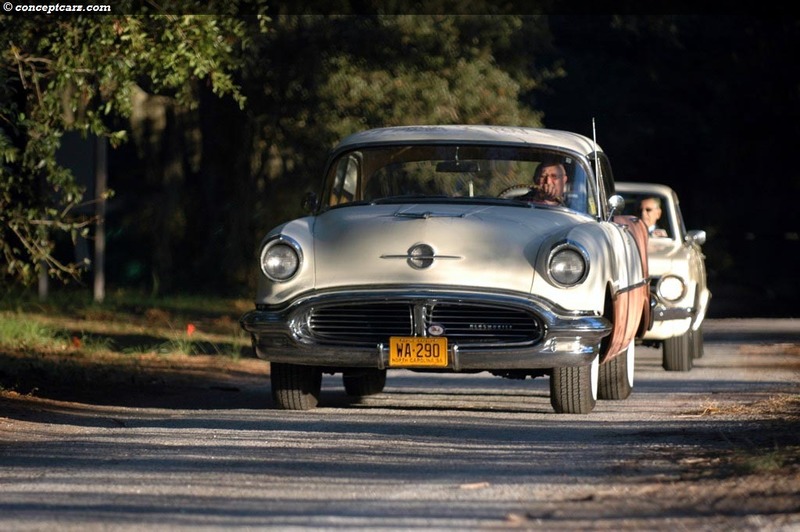 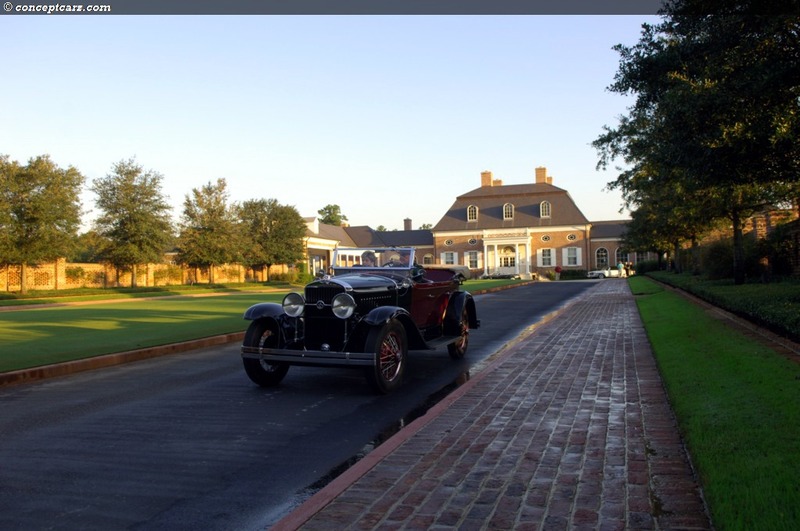 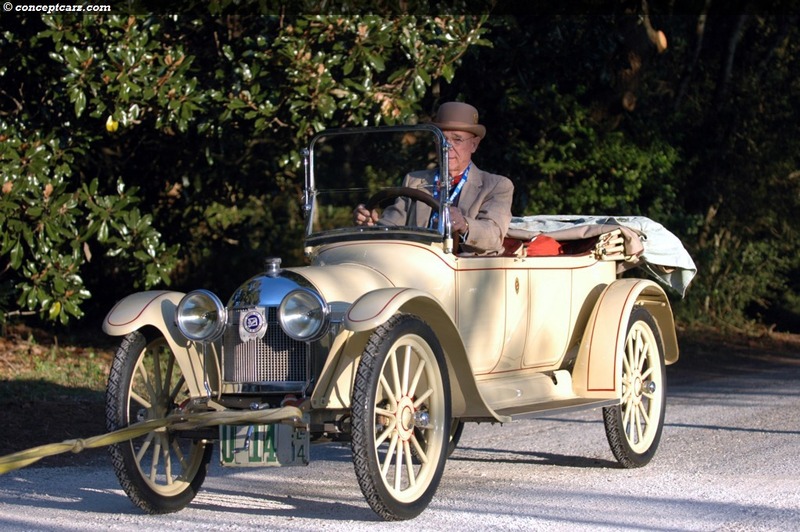 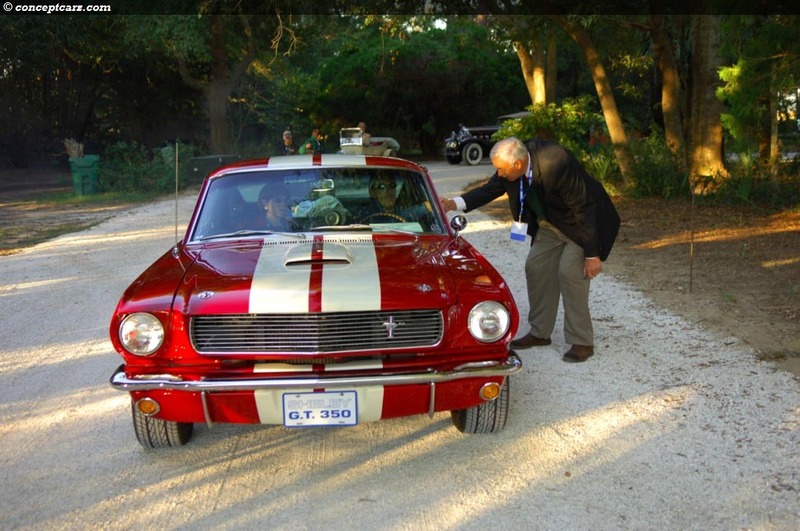 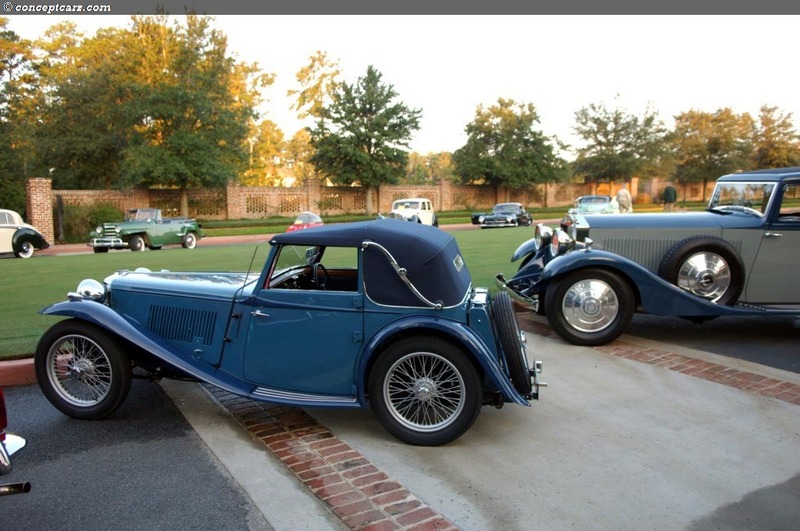 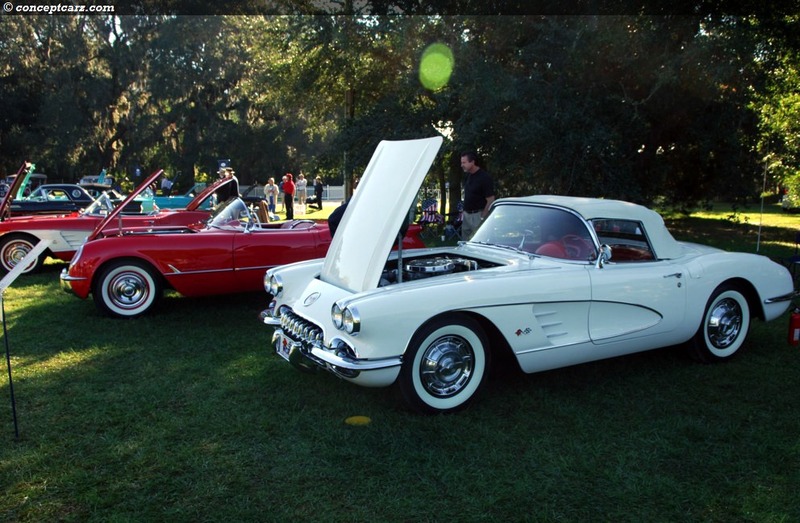 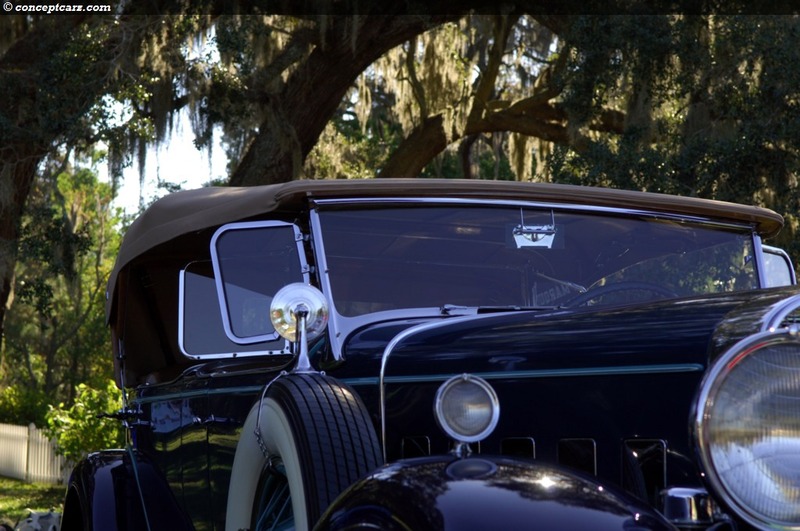 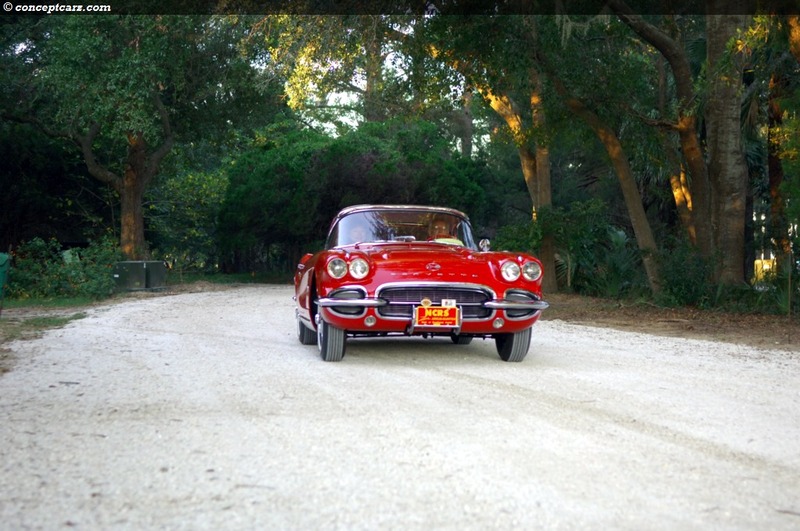 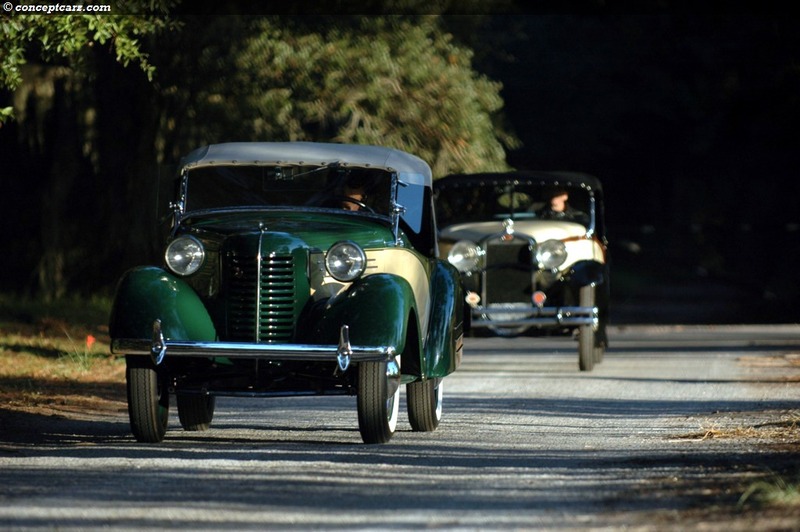 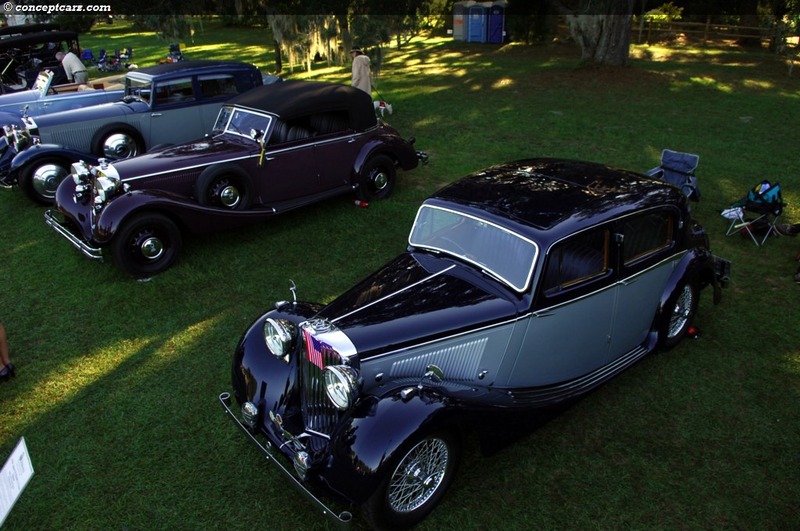 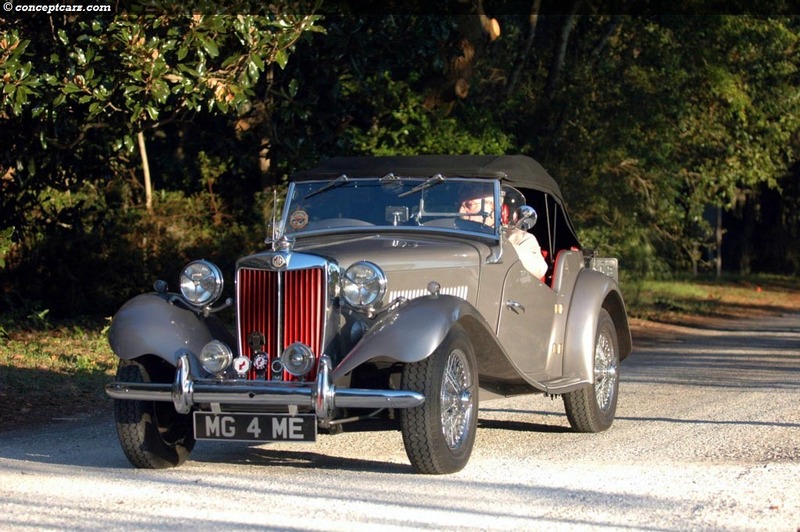 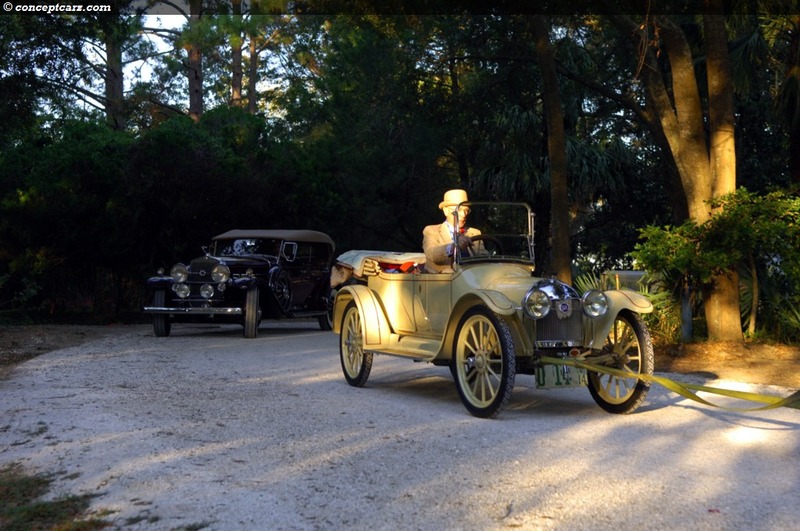 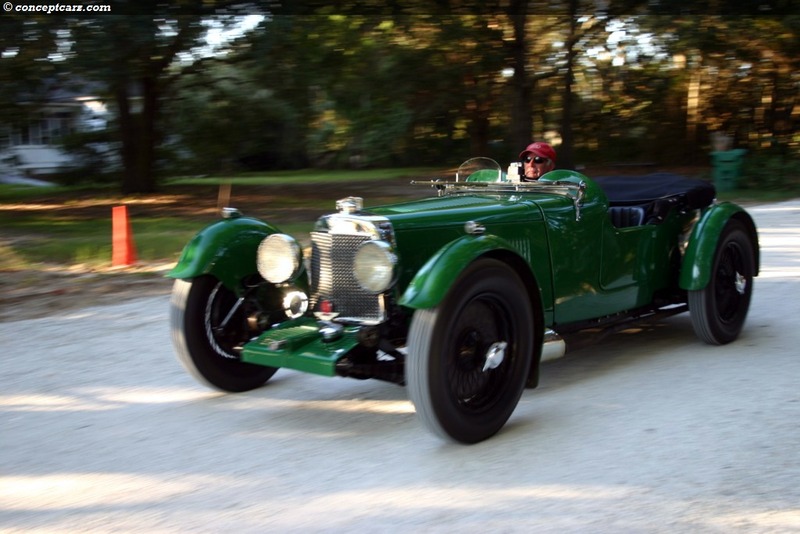 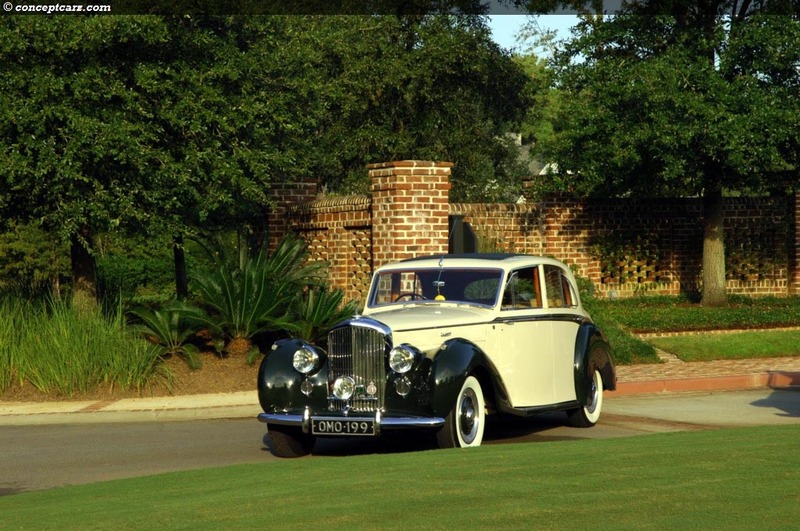 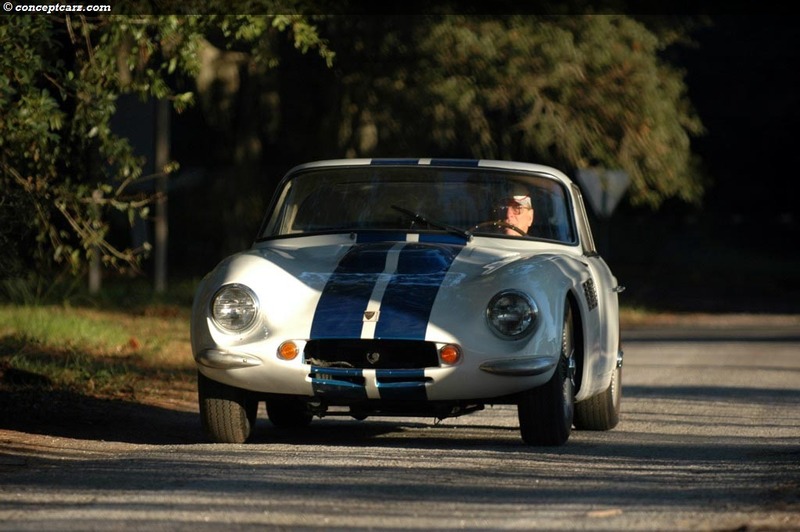 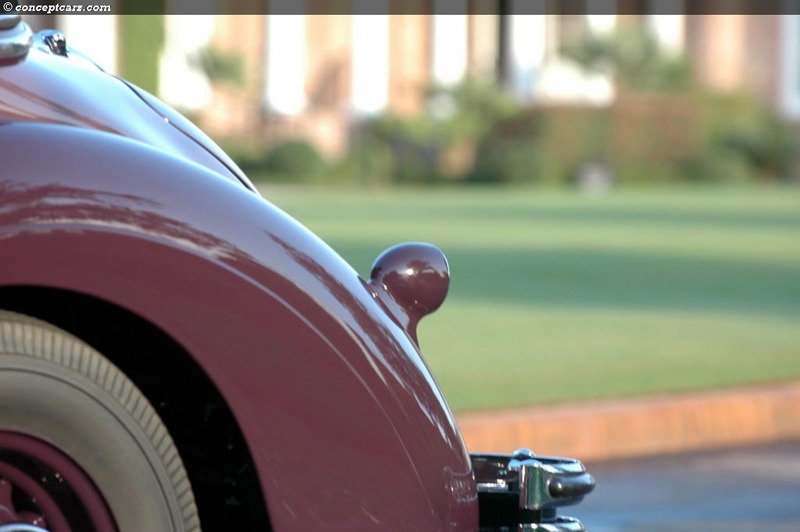 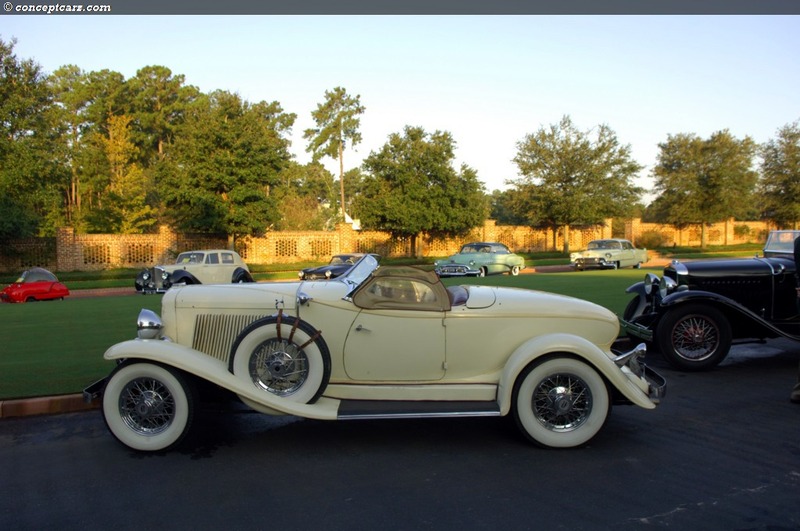 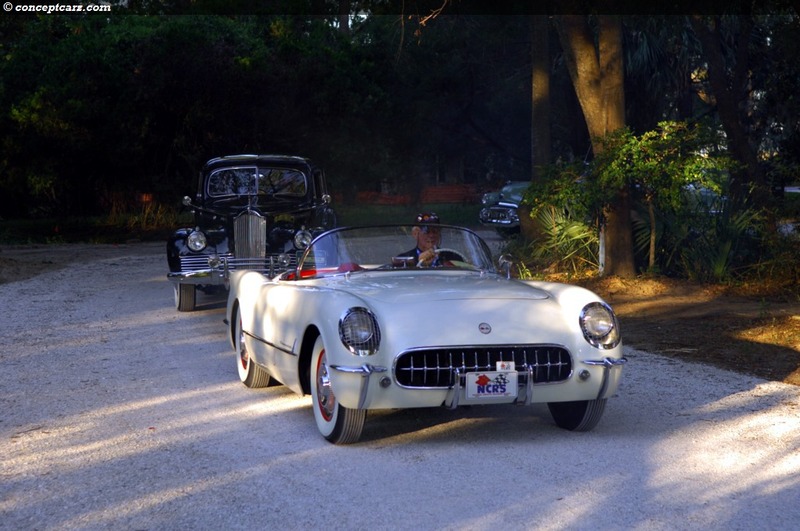 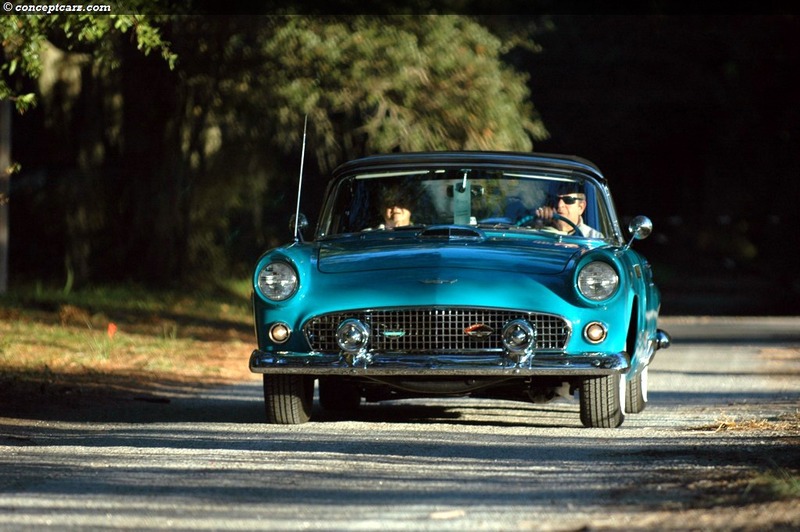 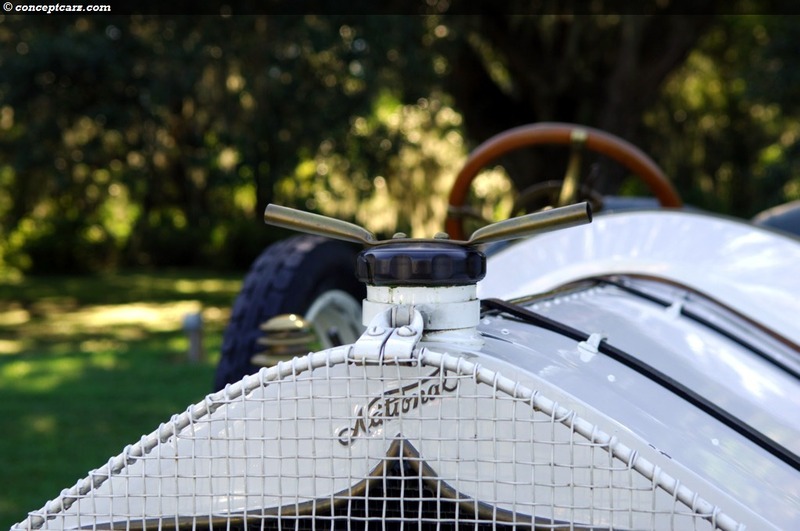 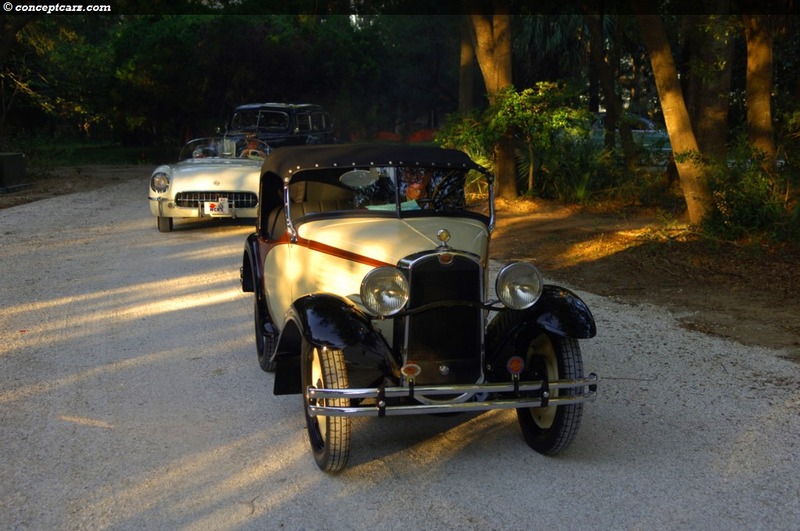 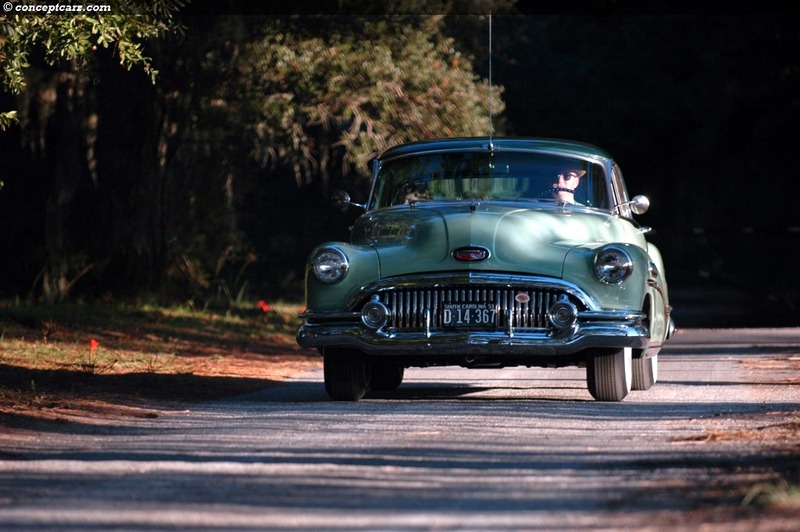 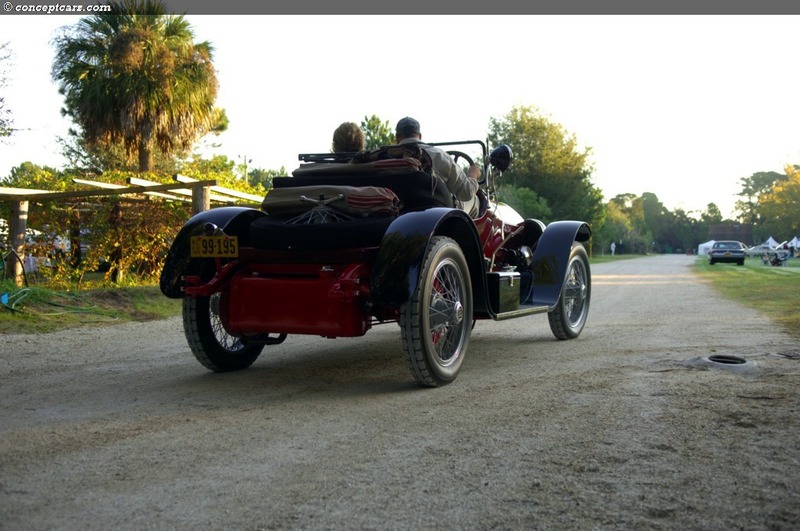 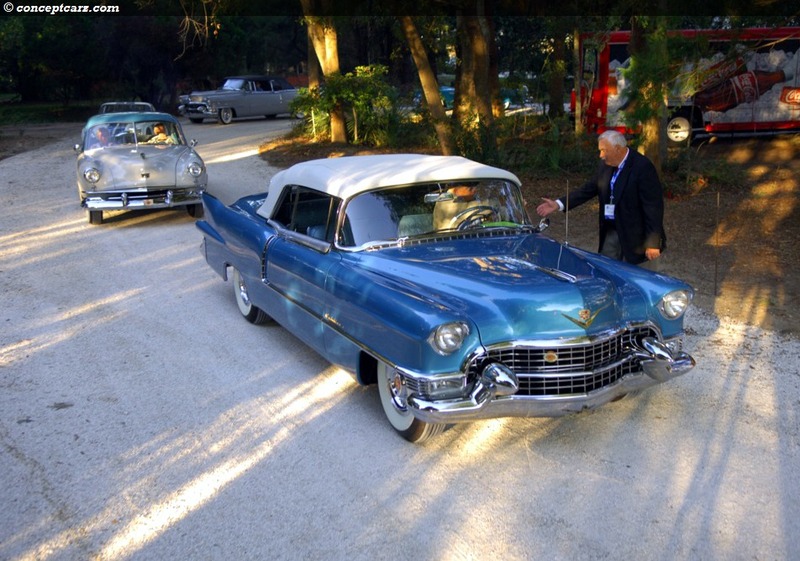 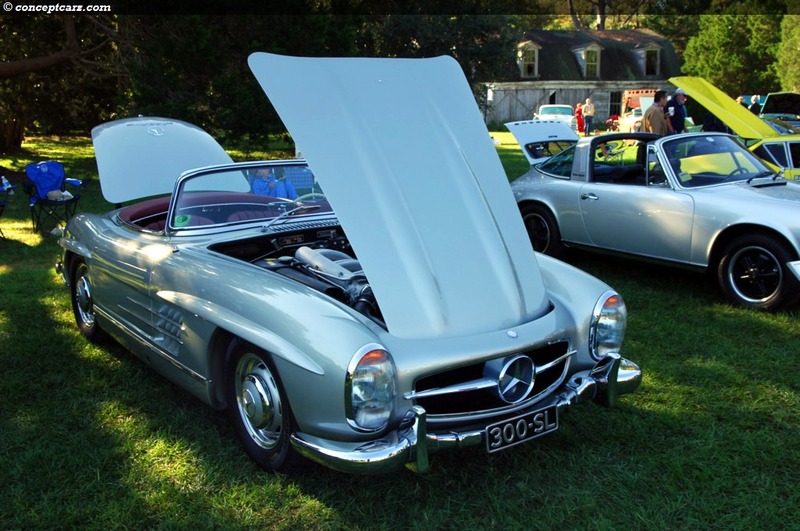 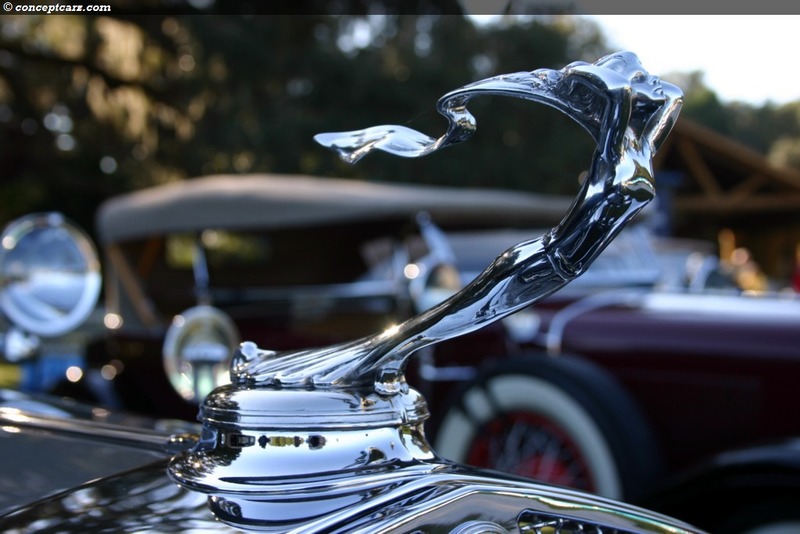 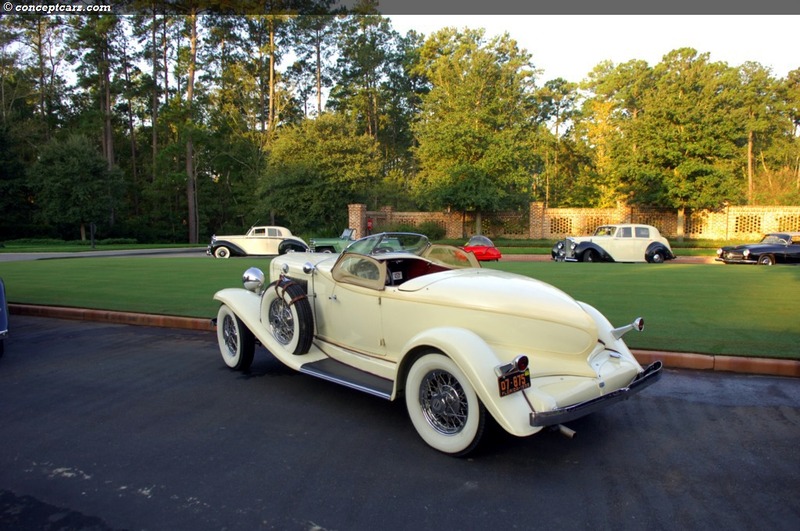 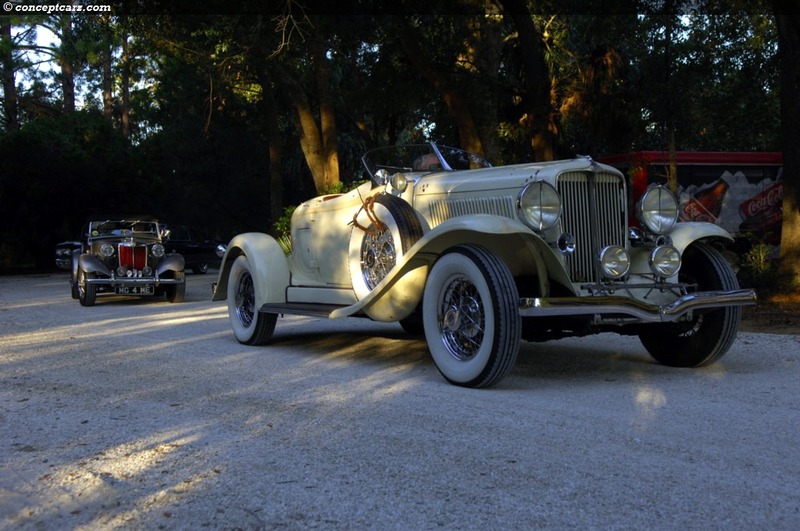 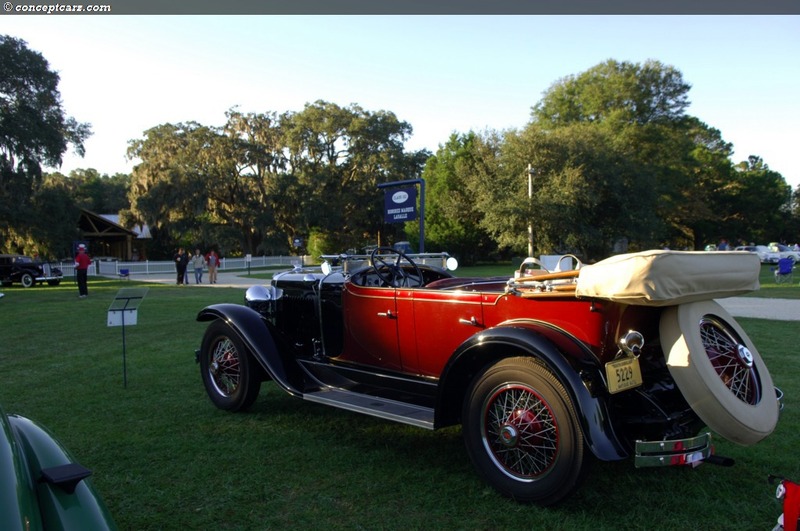 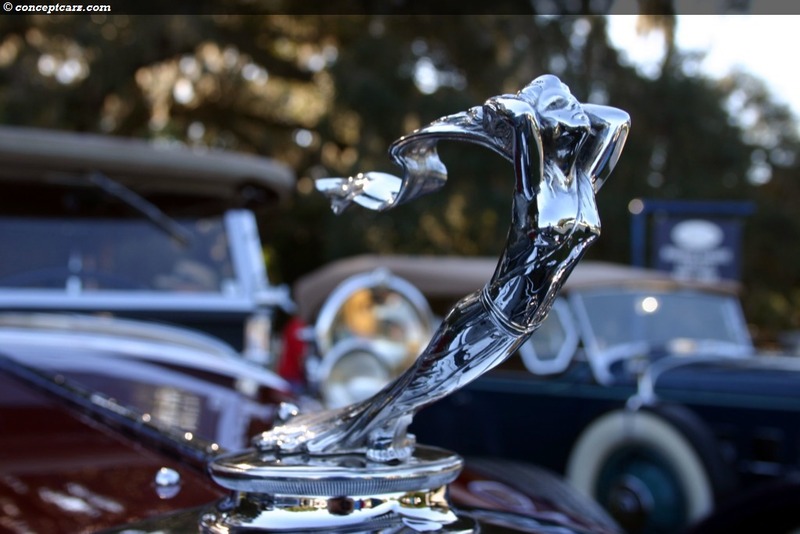 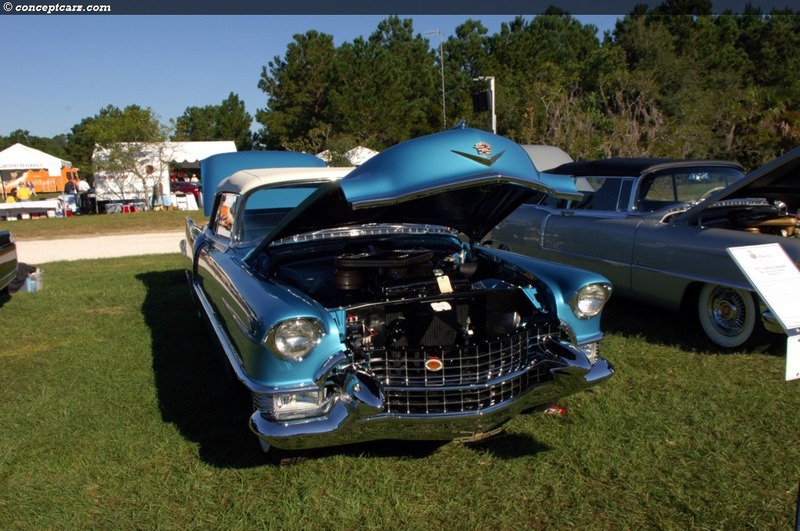 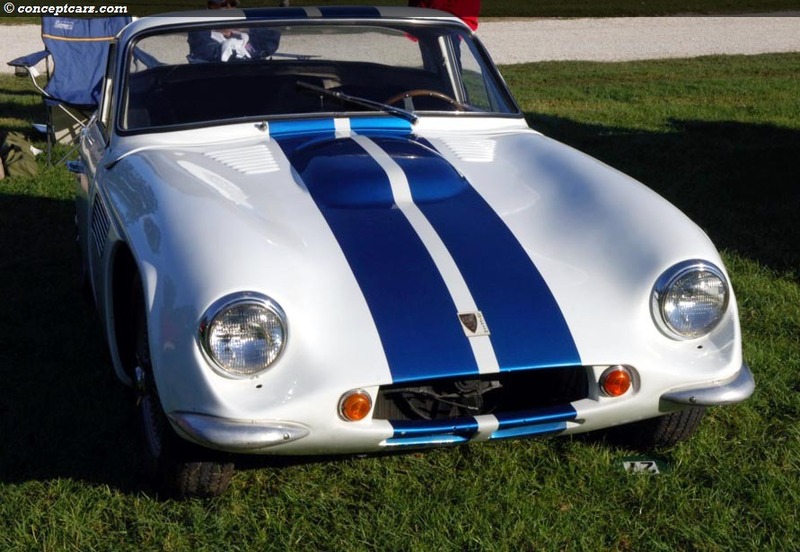 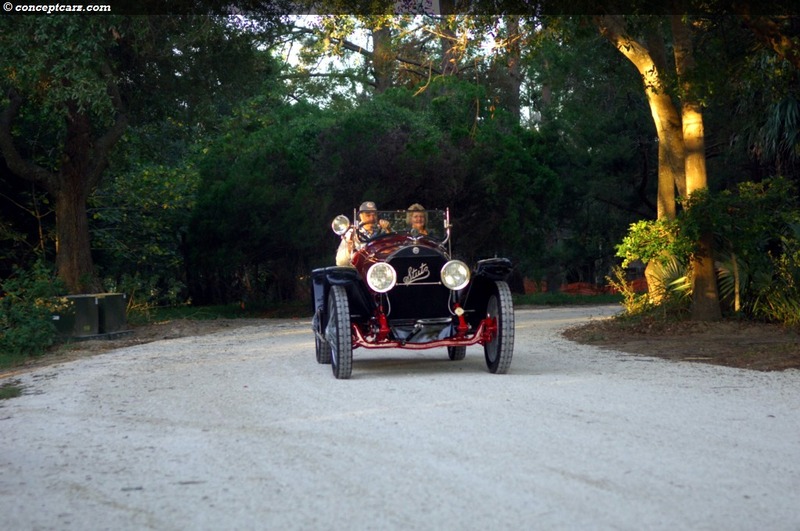 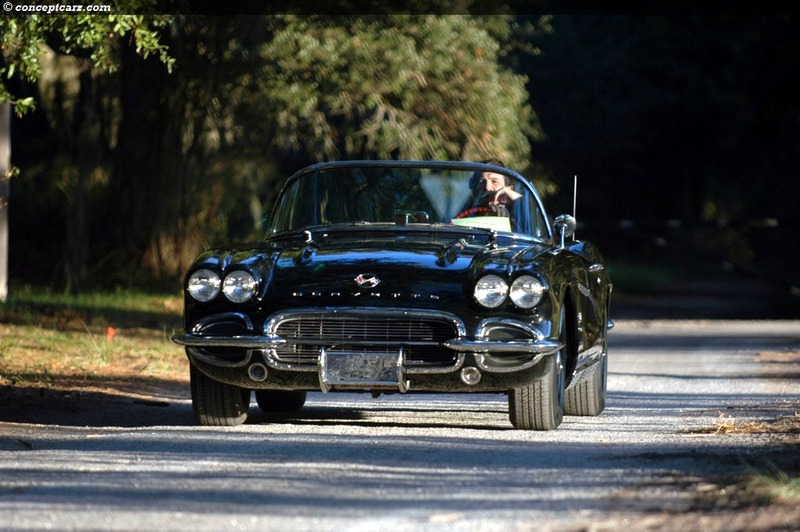 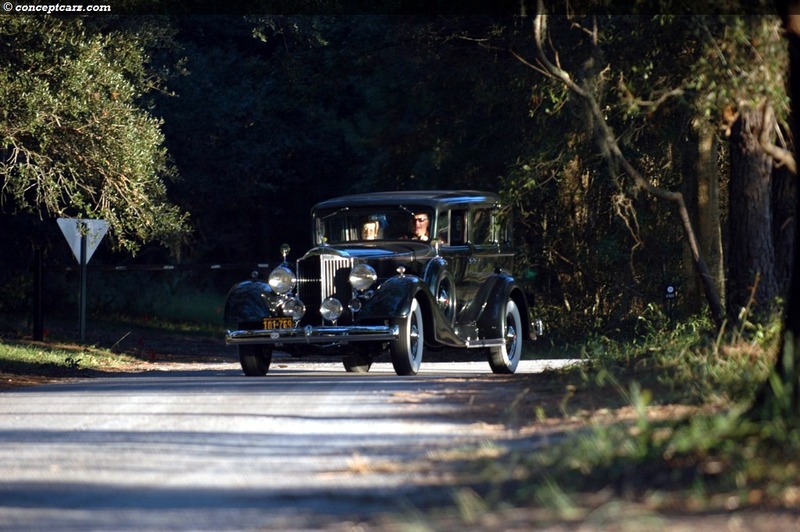 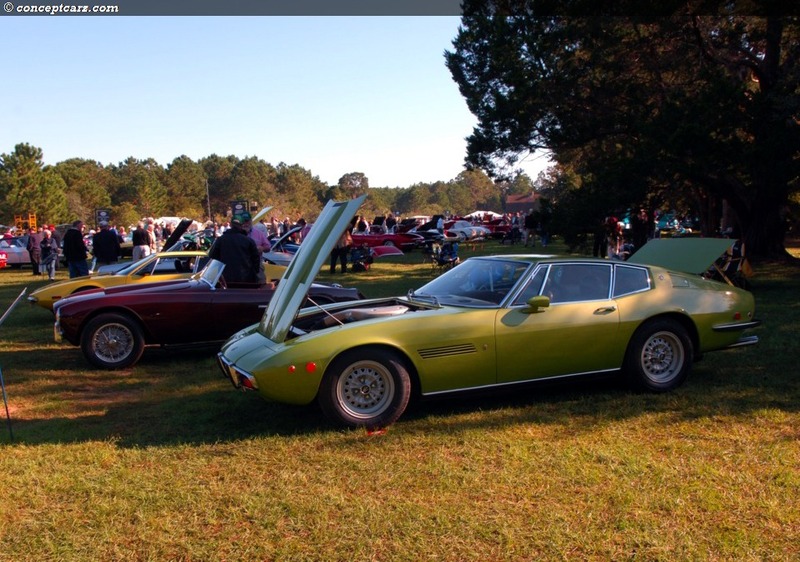 The Hilton Head Concours is preceded by numerous activities and events that have greatly added to the allure and enjoyment. 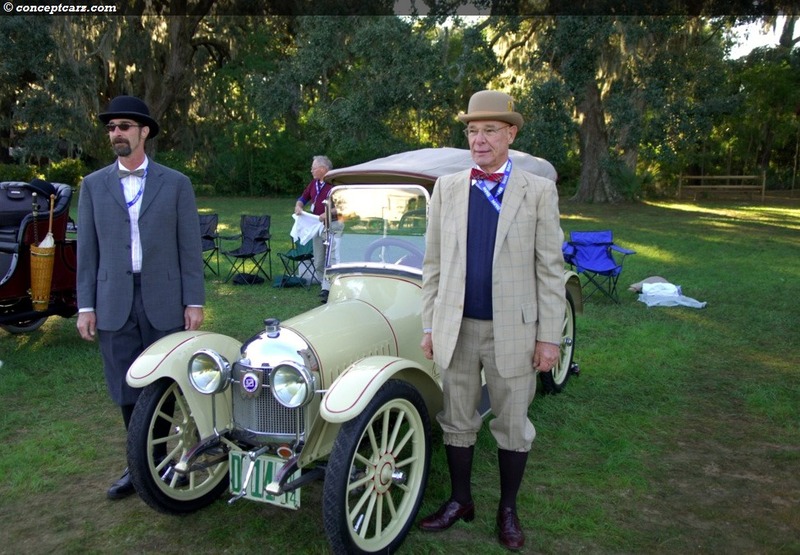 Two years ago the Worldwide Group was given the honors of conducting the auction. 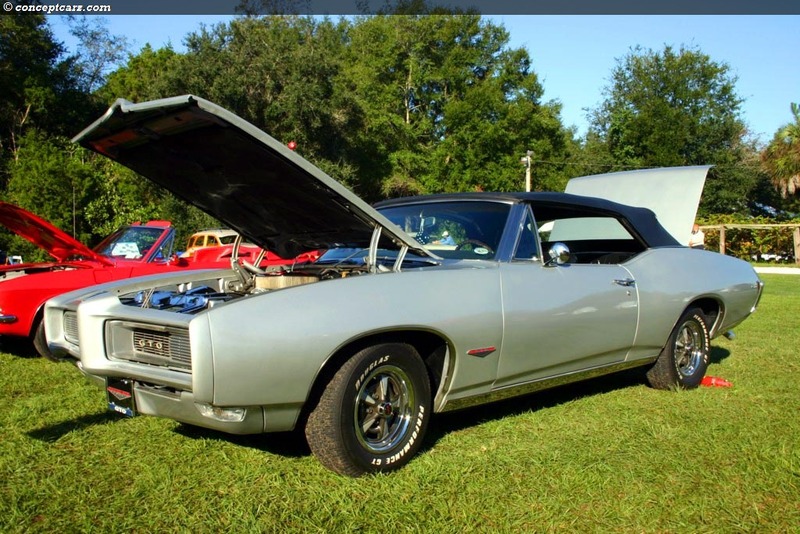 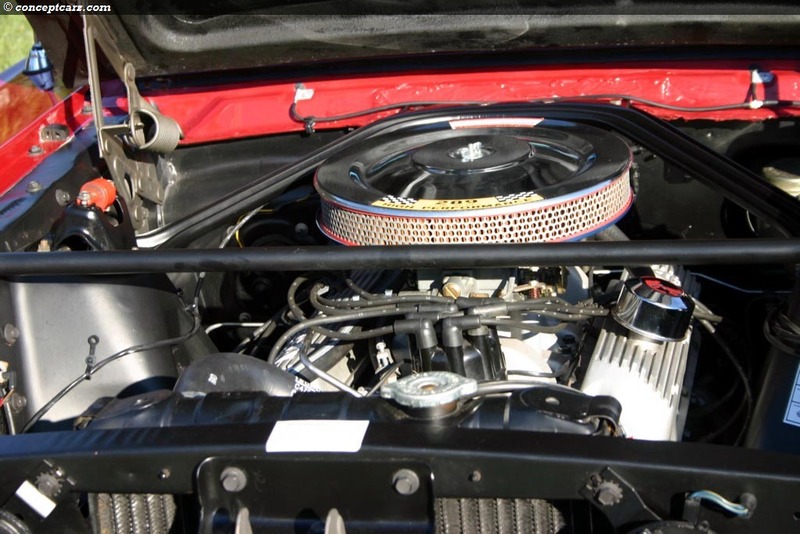 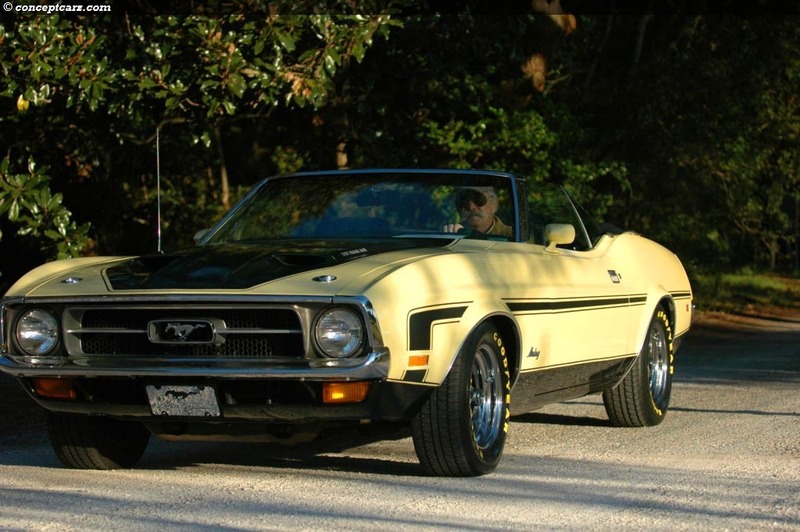 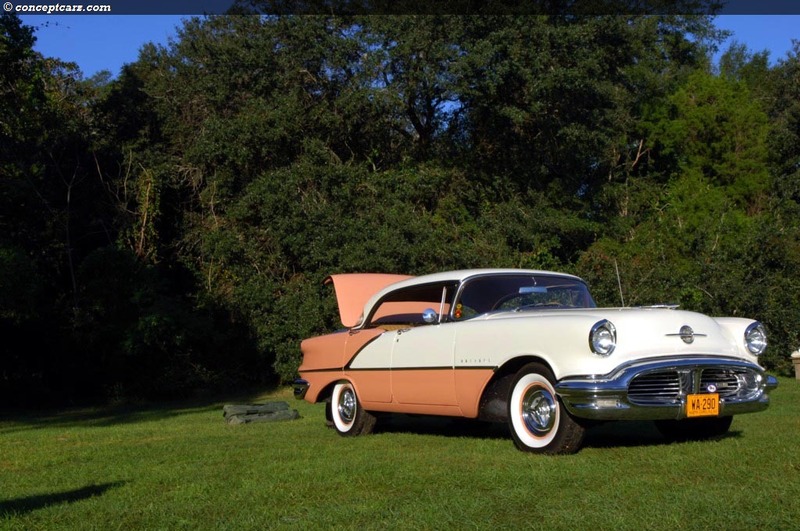 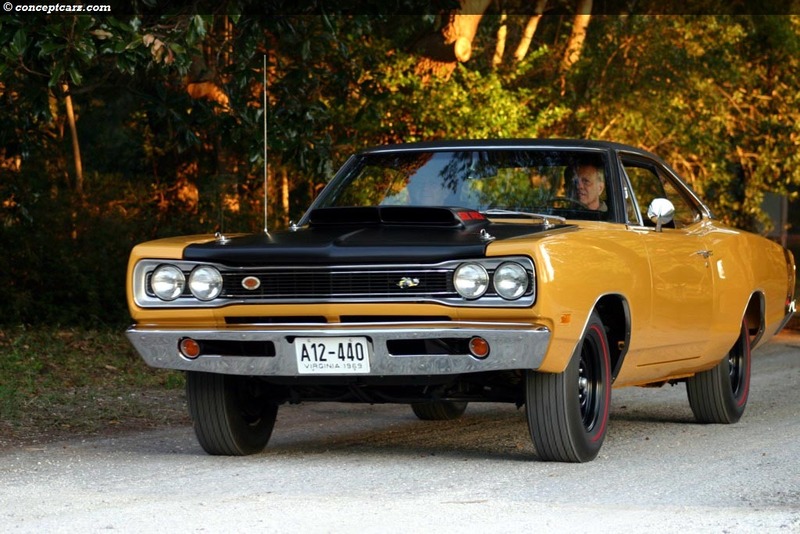 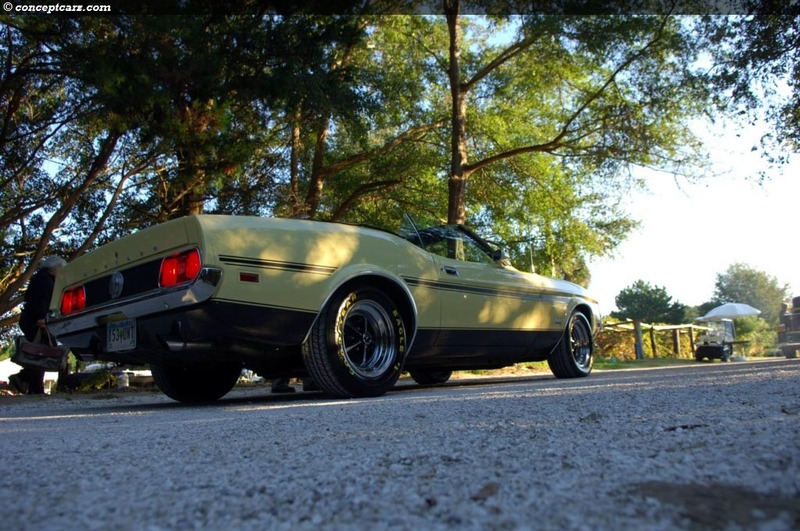 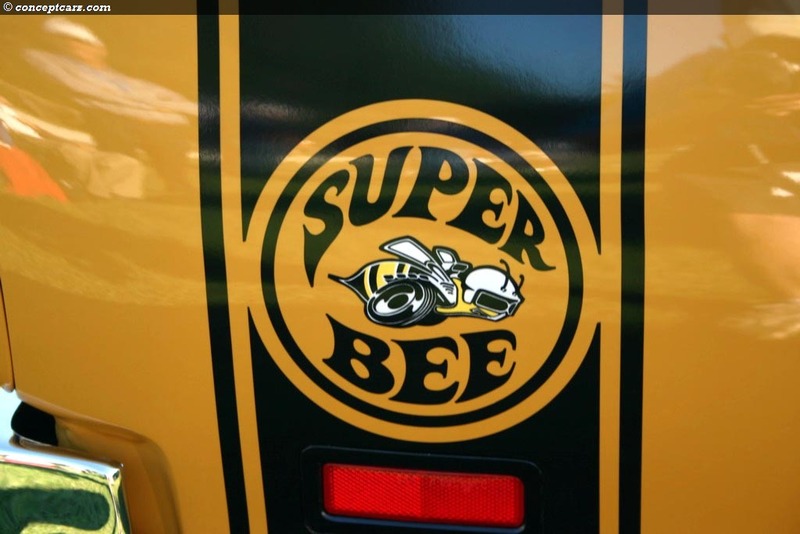 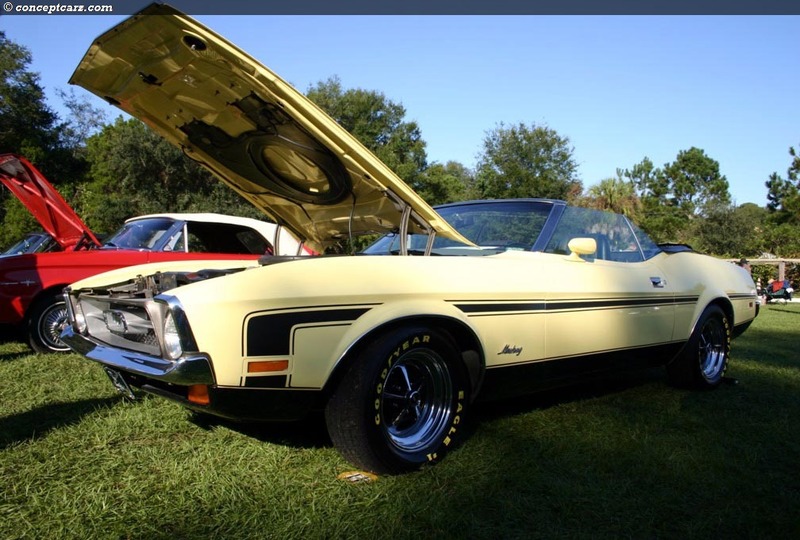 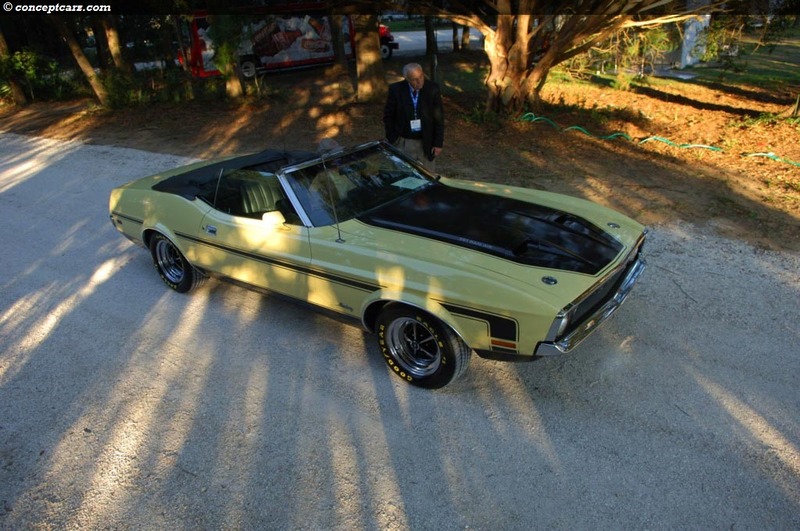 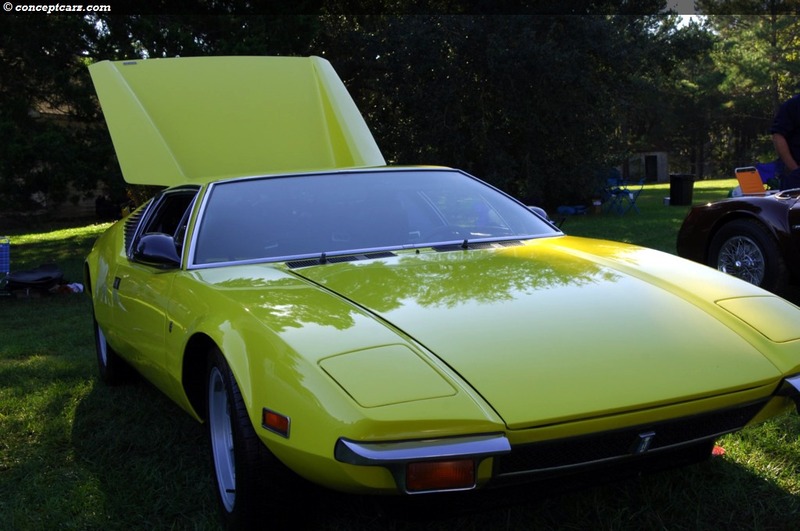 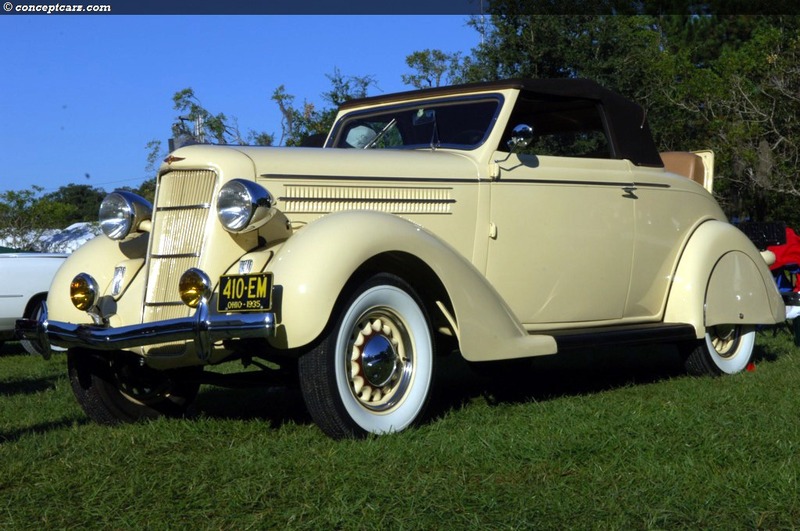 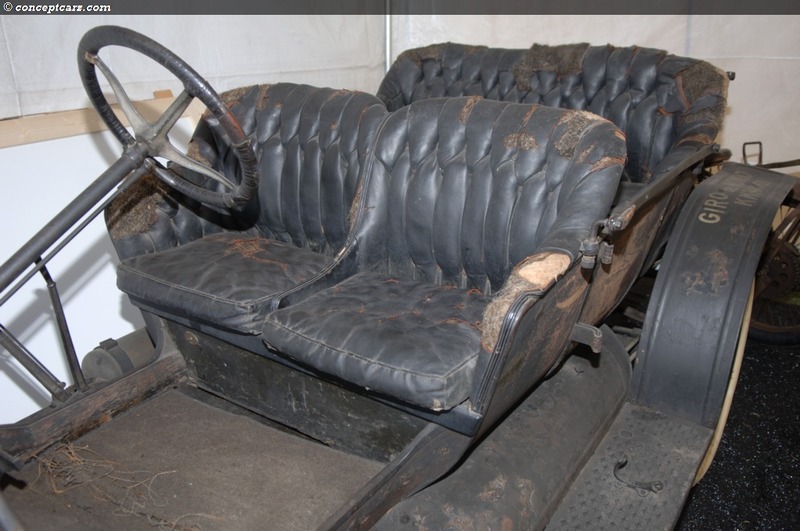 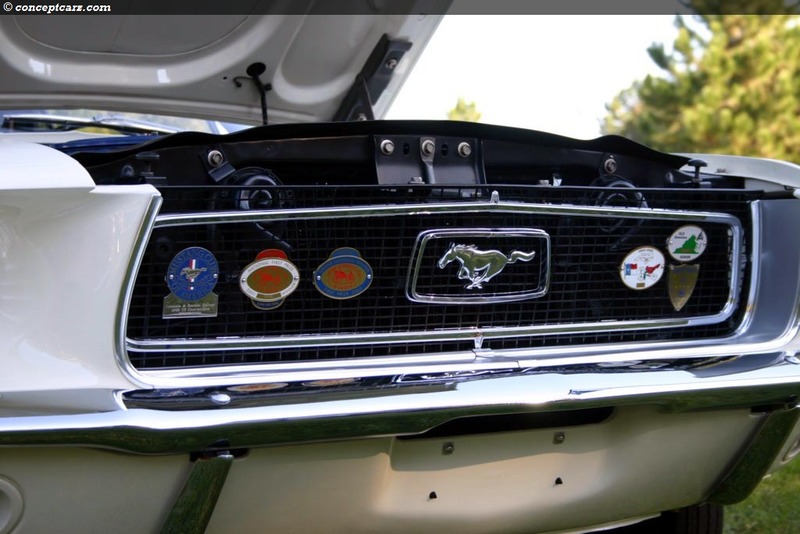 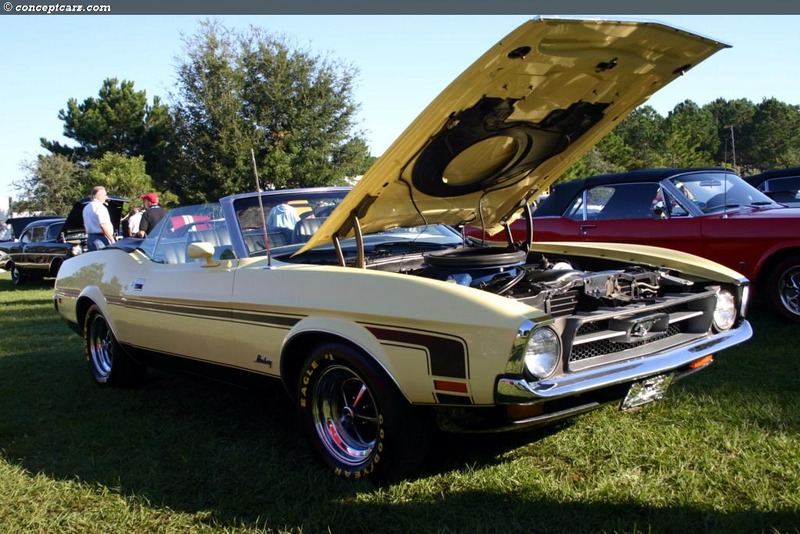 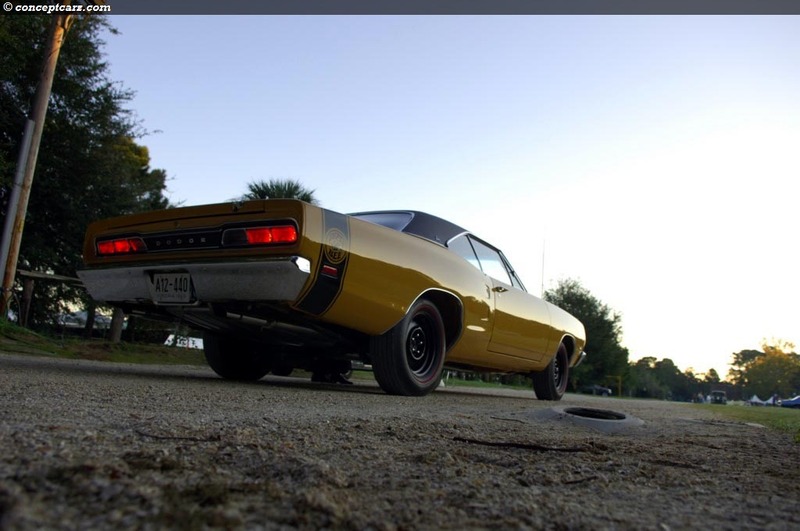 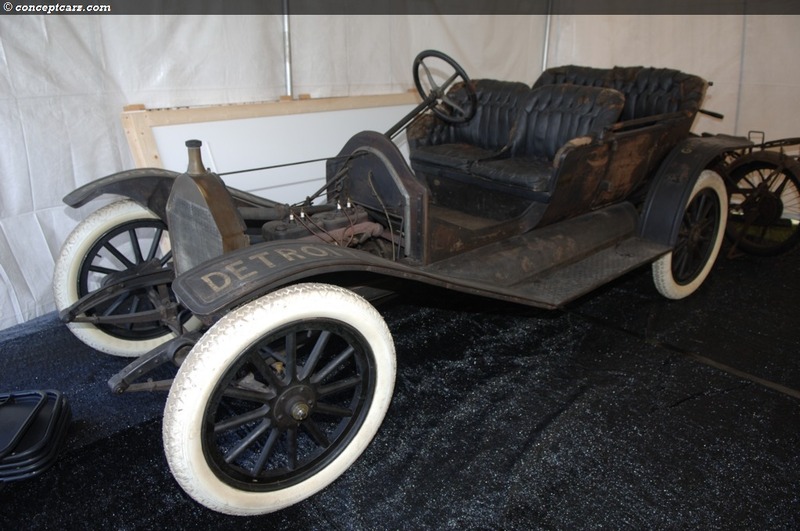 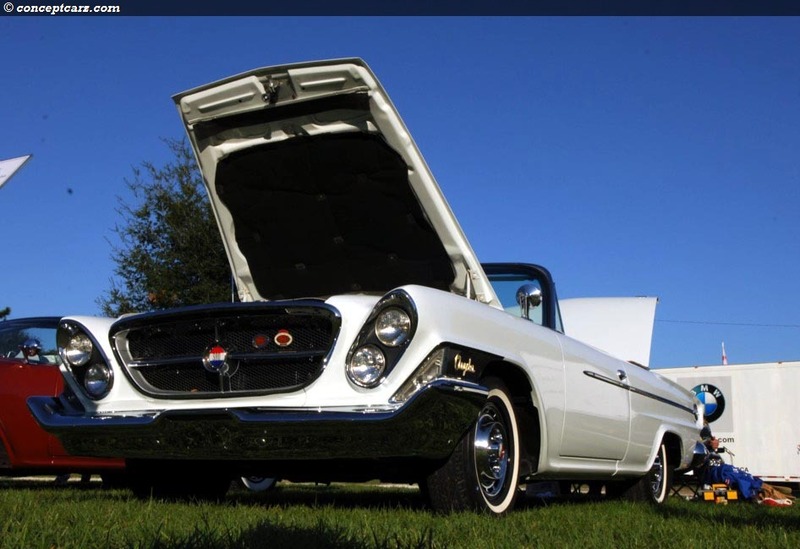 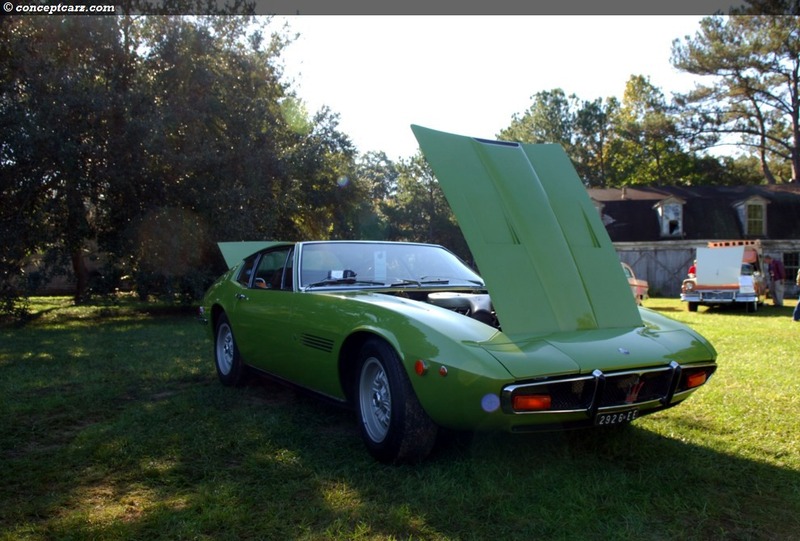 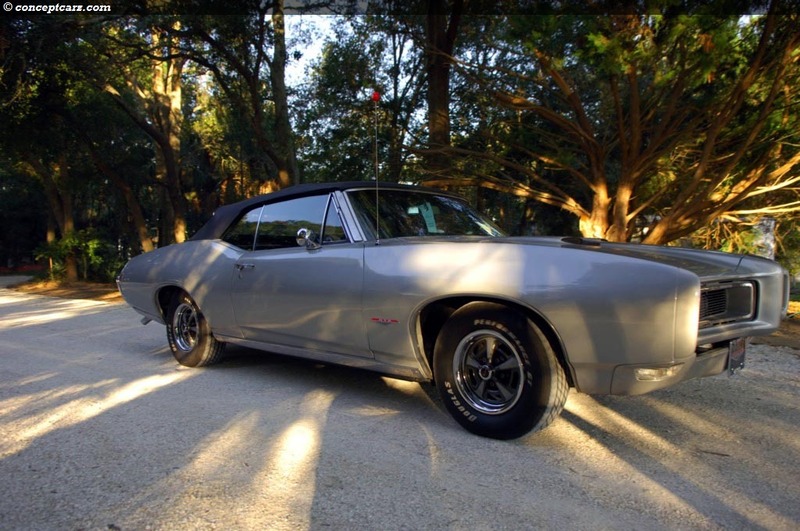 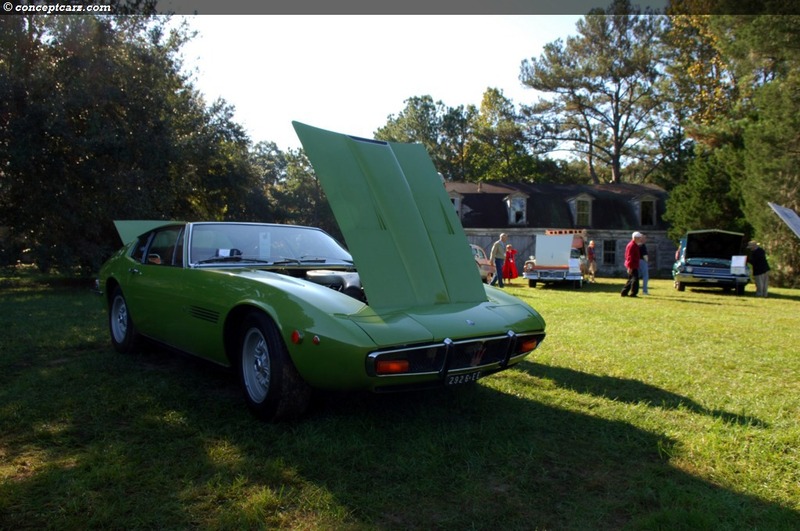 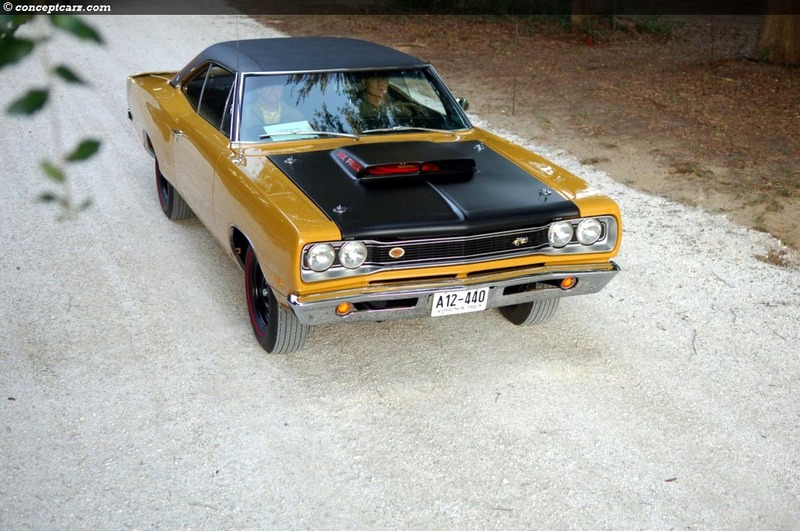 They did an excellent job and returned again this year offering a slew of vehicles for auction that encompassed many different genres and accommodated many different tastes. 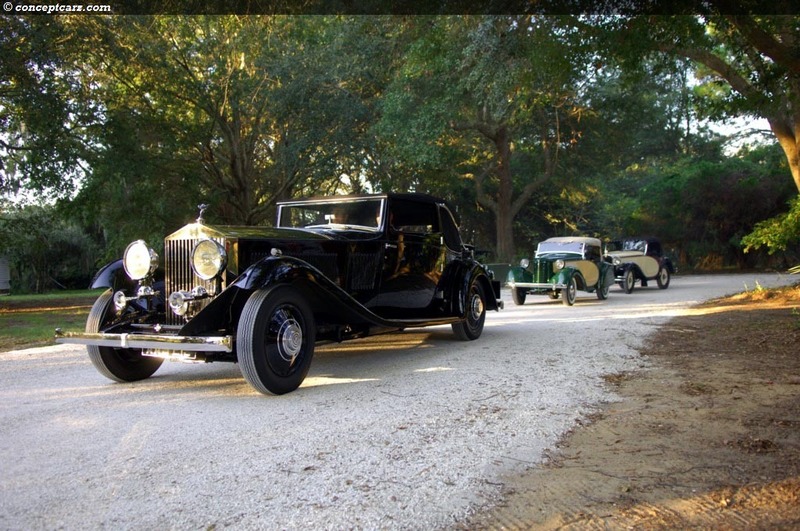 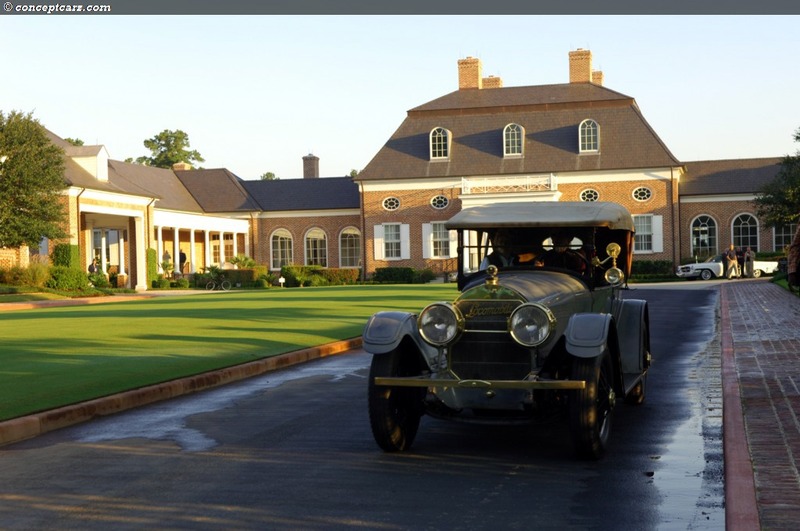 There were two driving tours and both began at Berkeley Hall. 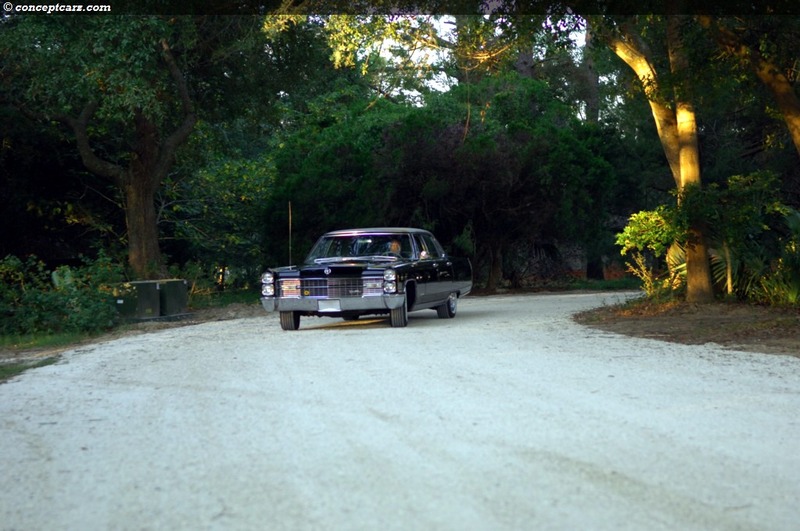 The starting location was different then in years past, and hopefully it will remain in the future. 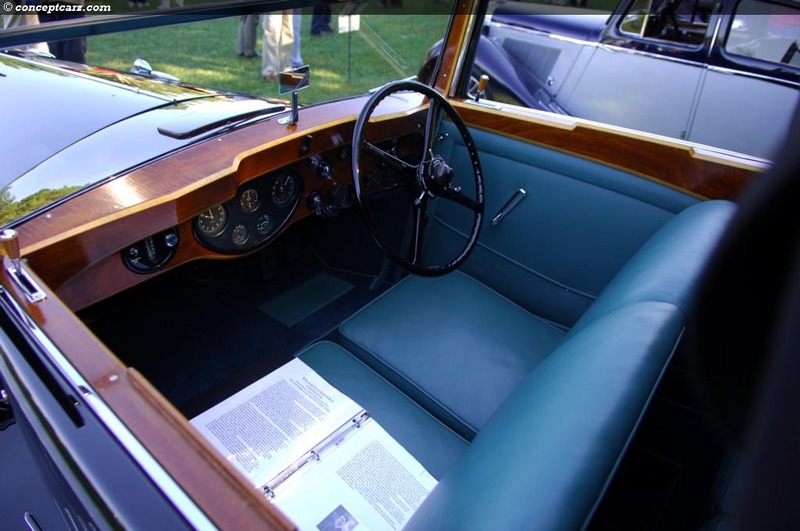 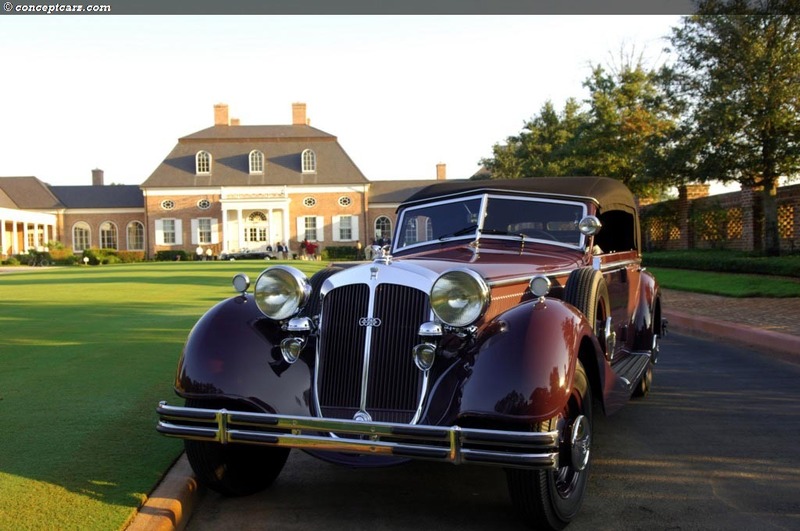 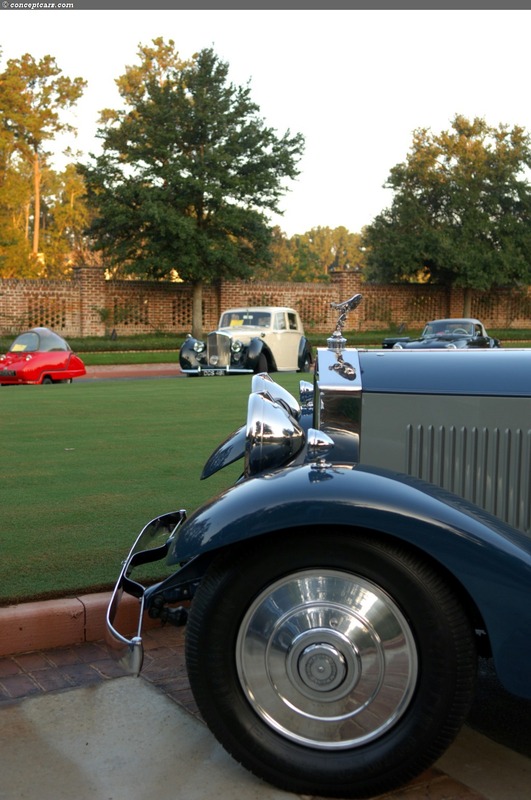 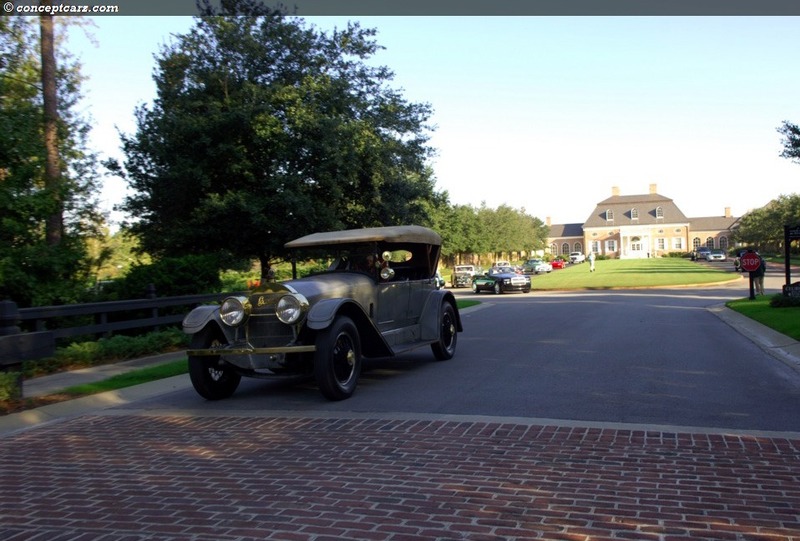 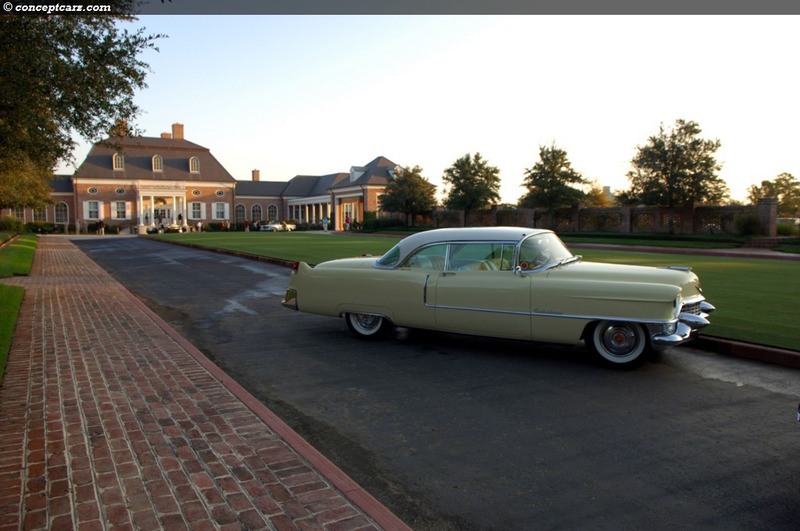 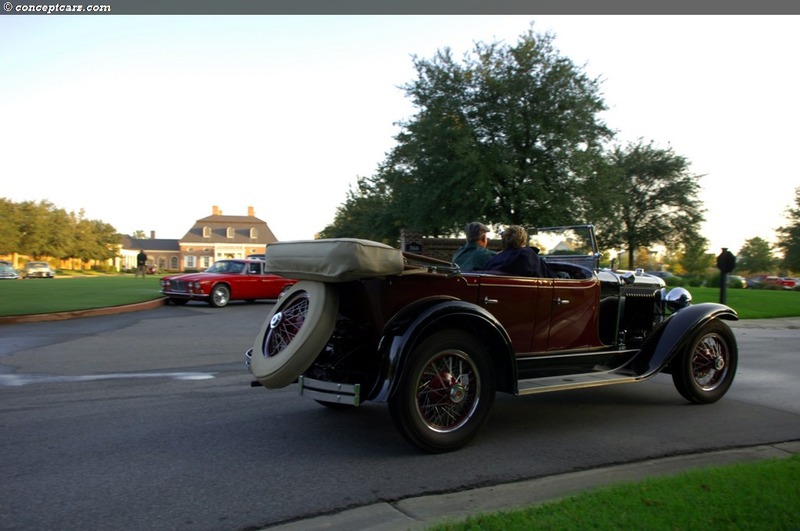 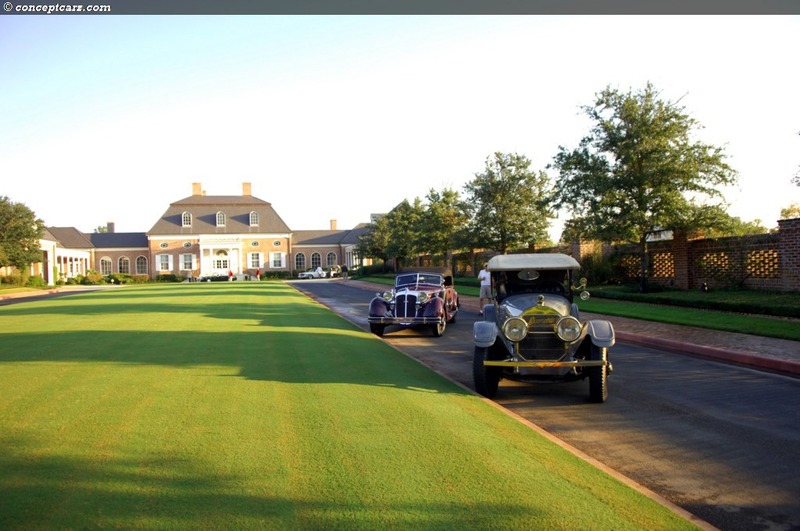 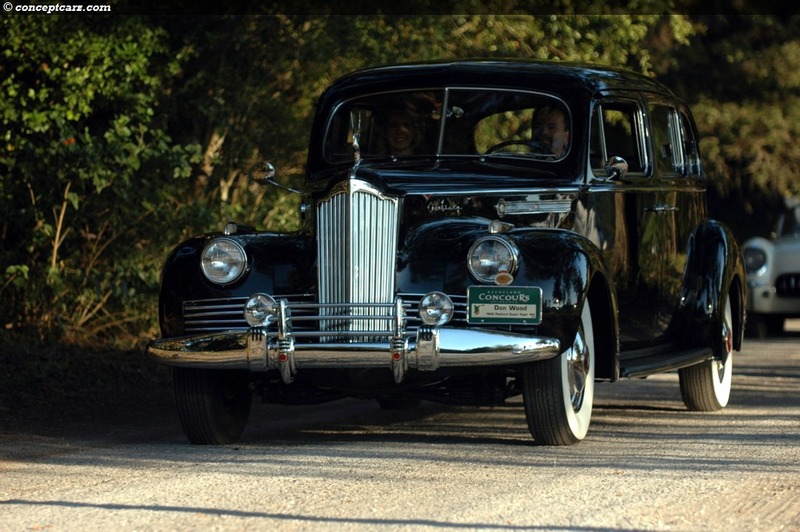 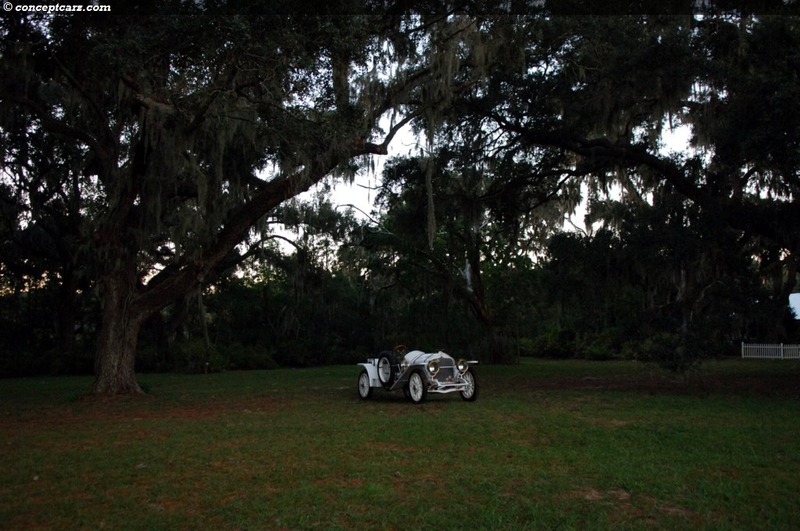 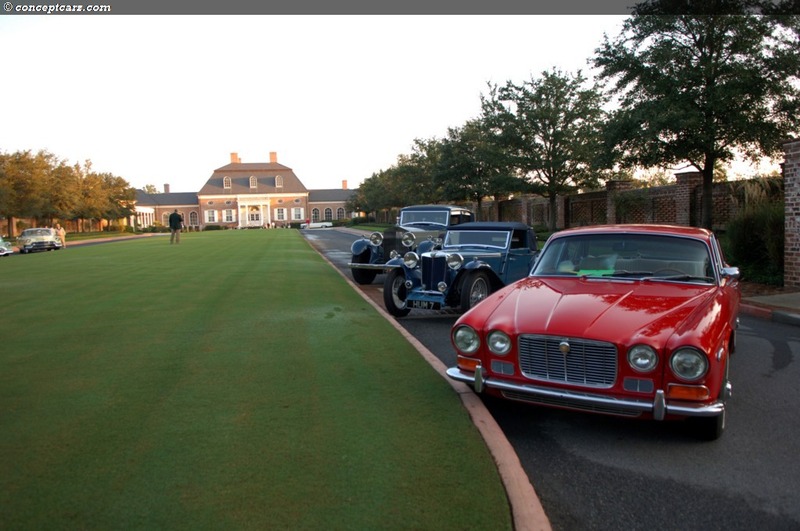 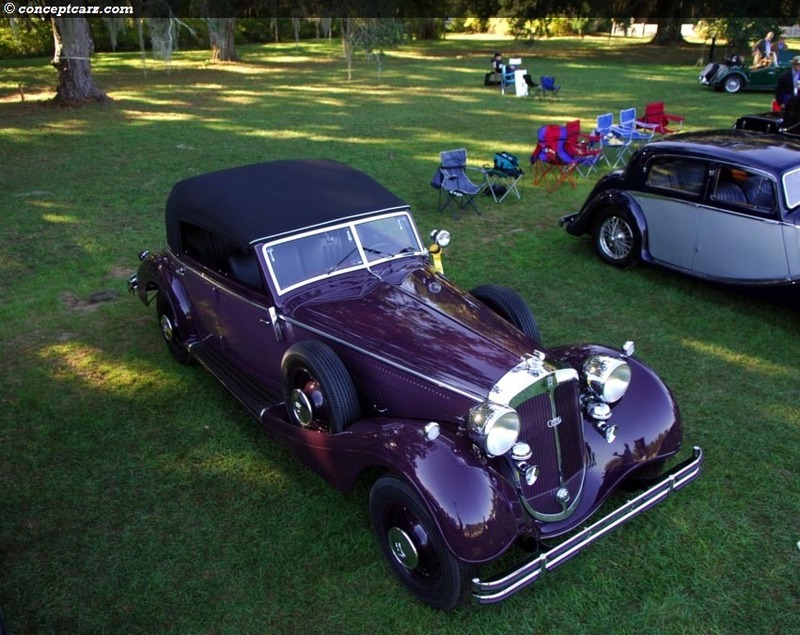 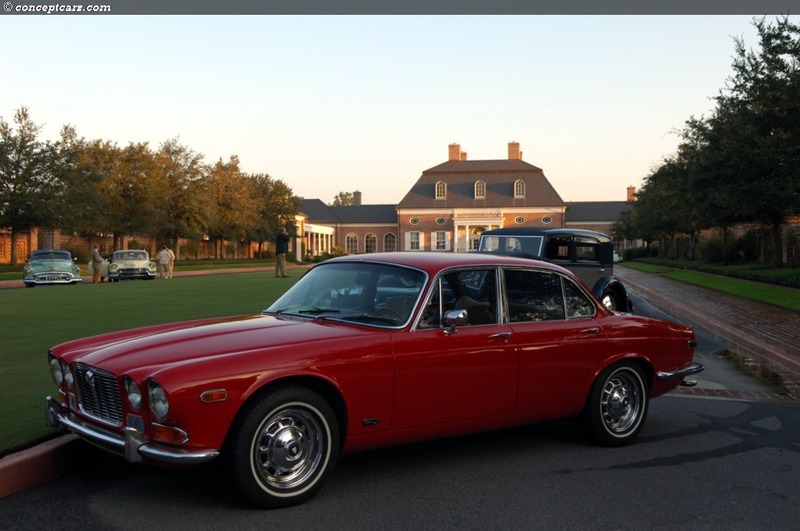 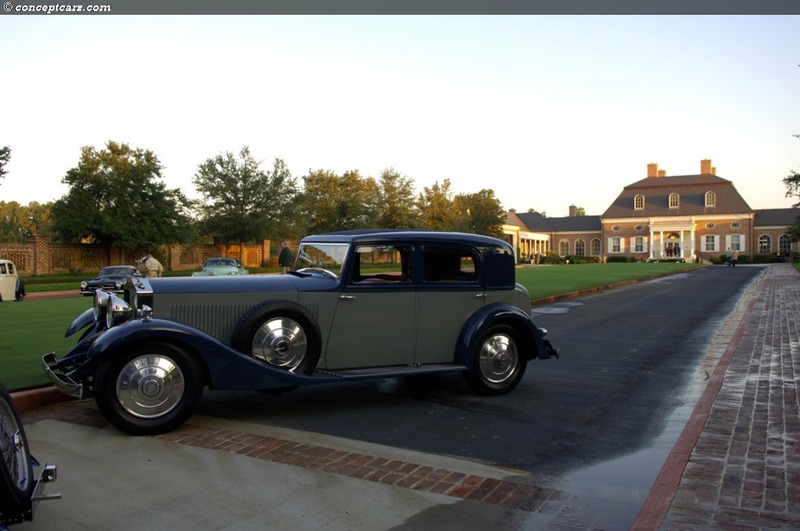 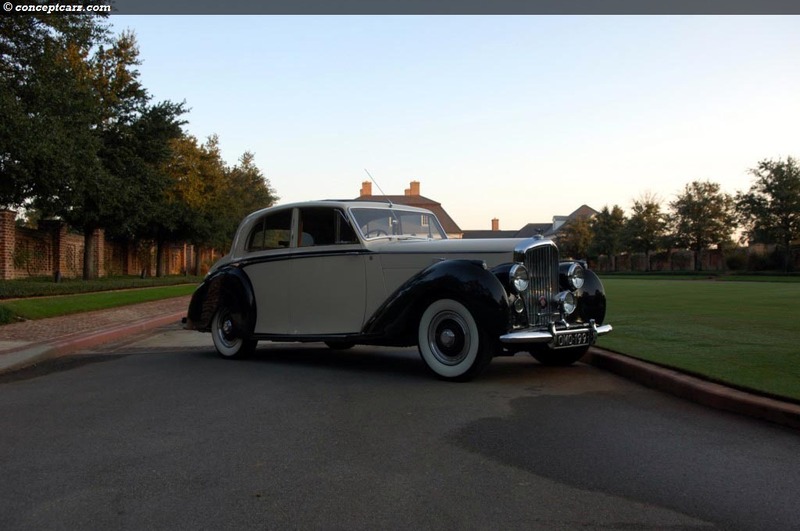 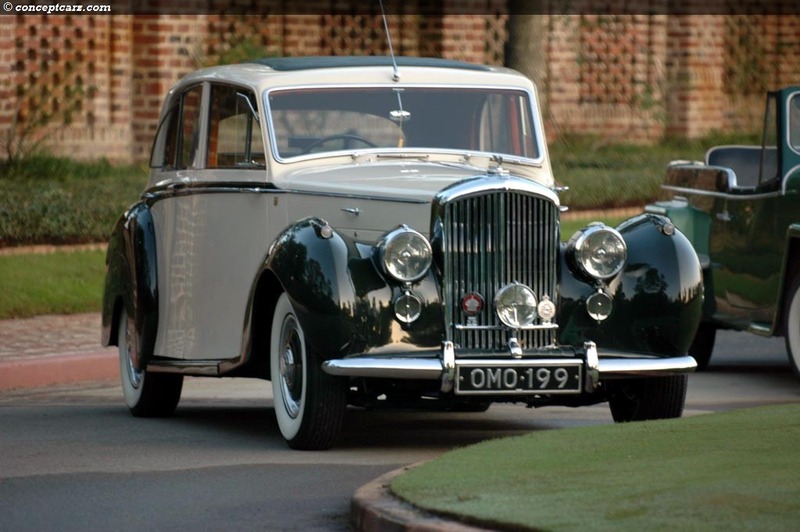 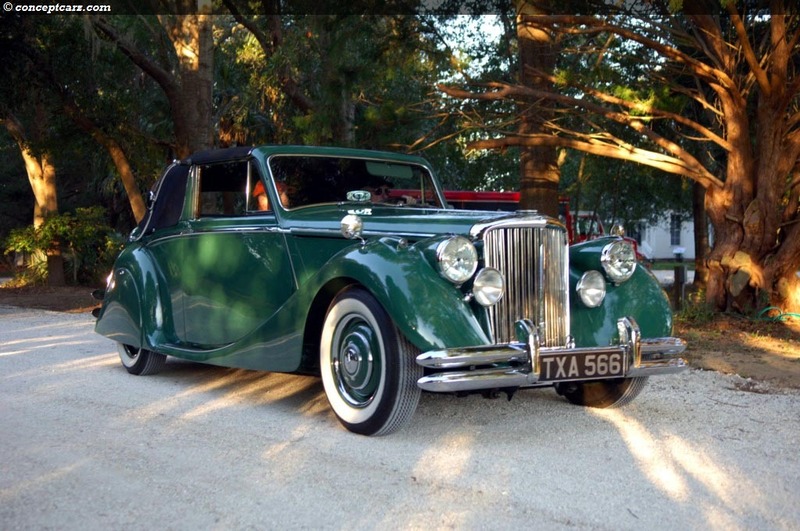 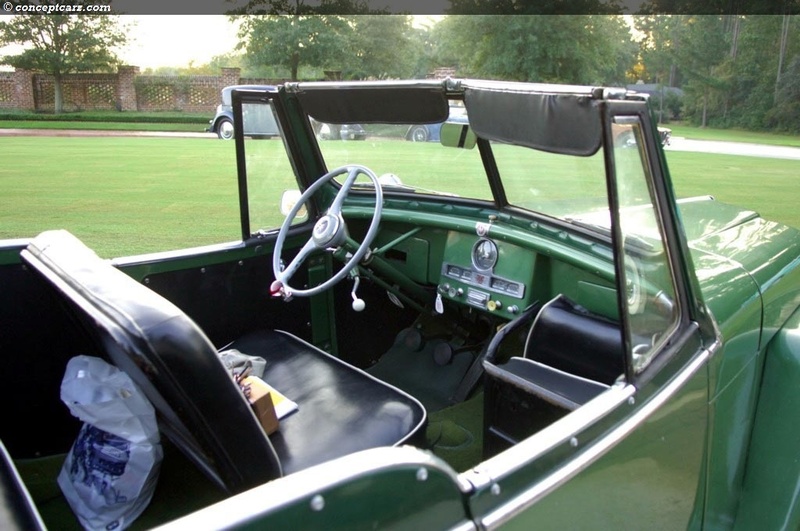 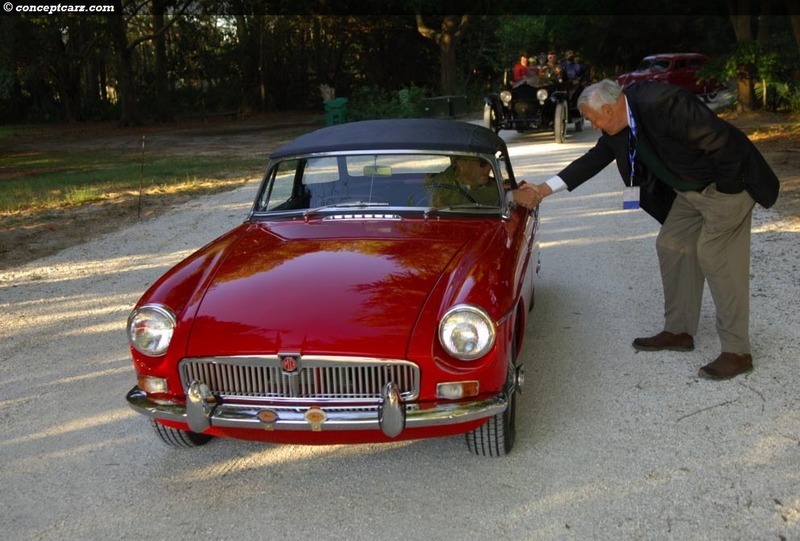 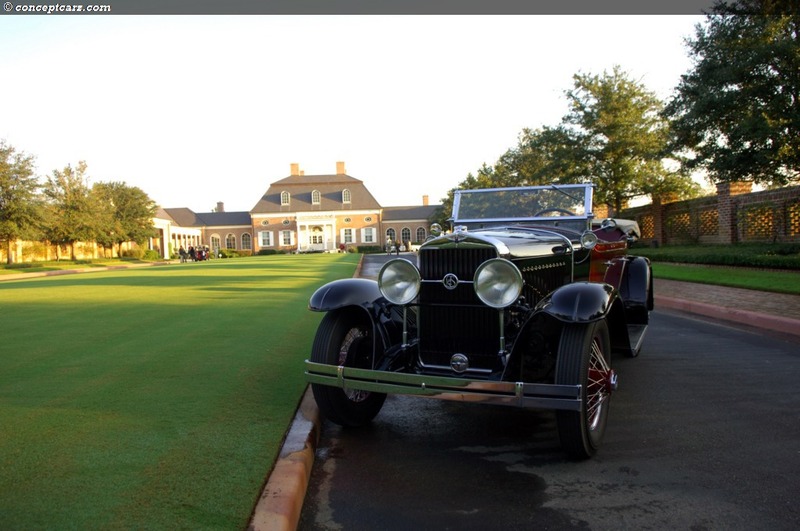 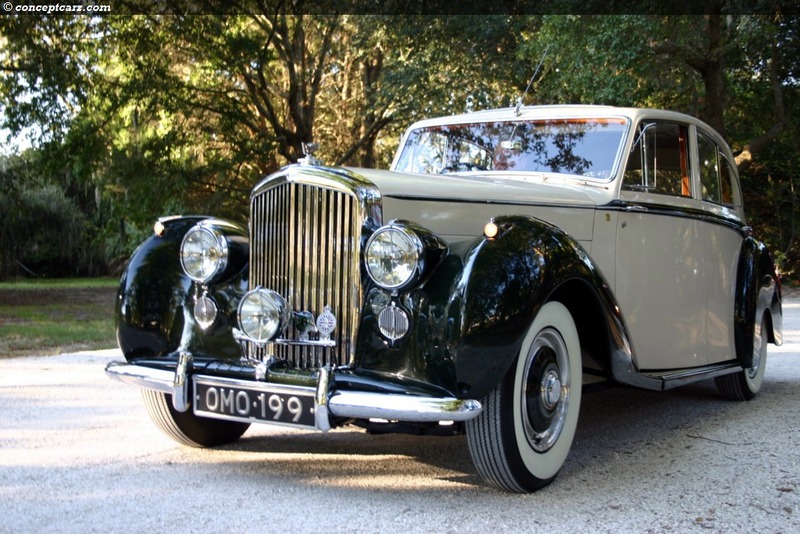 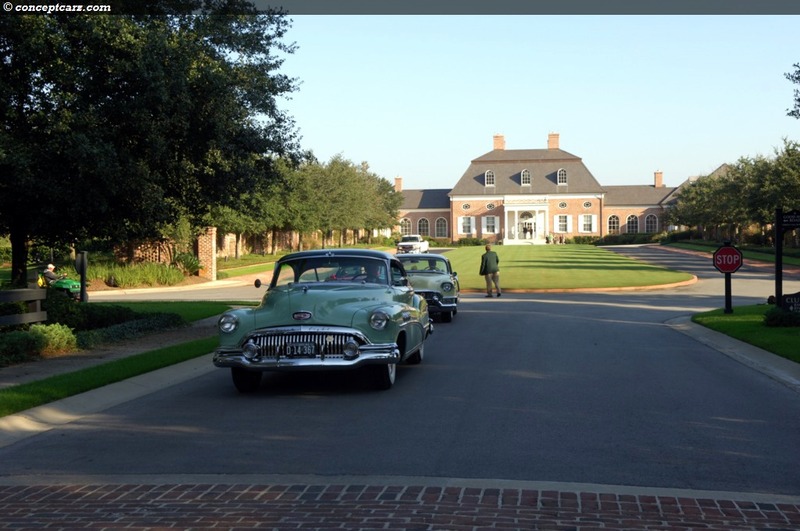 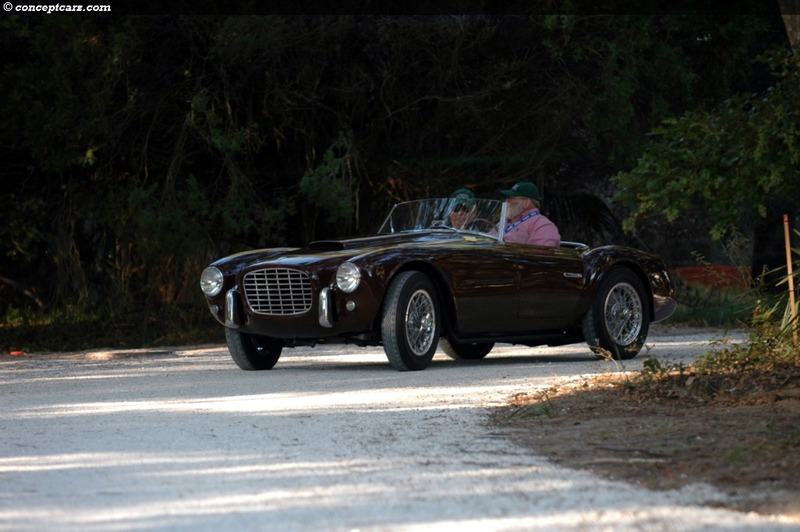 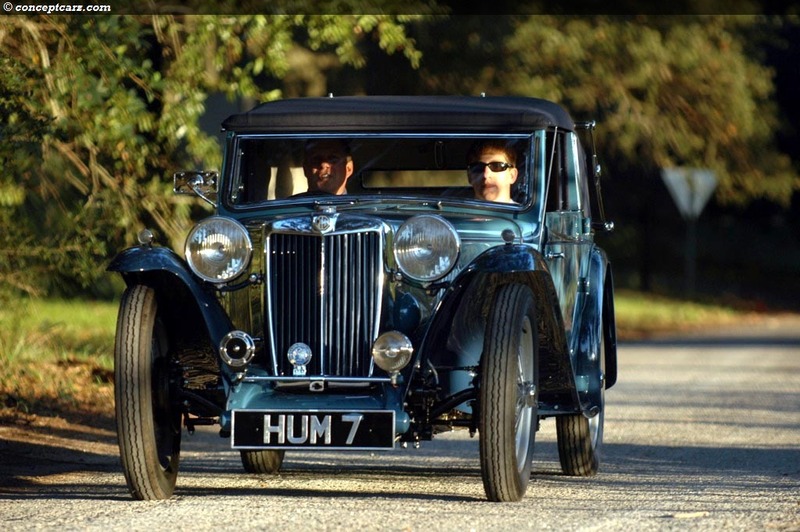 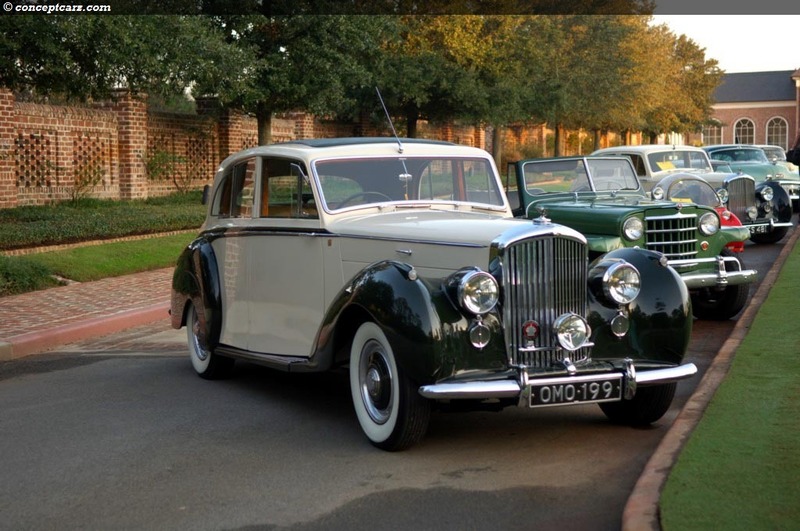 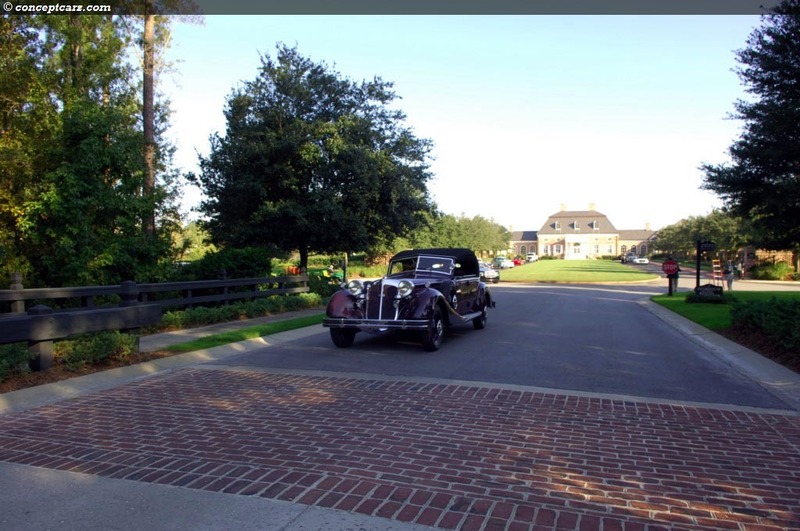 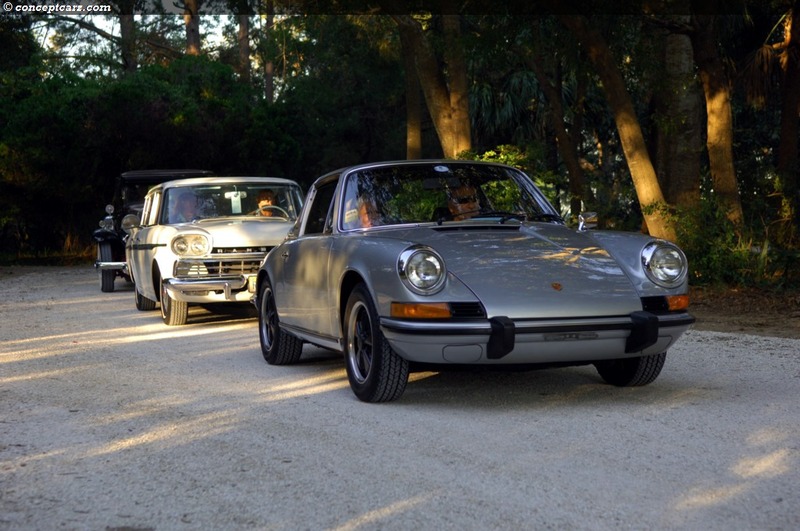 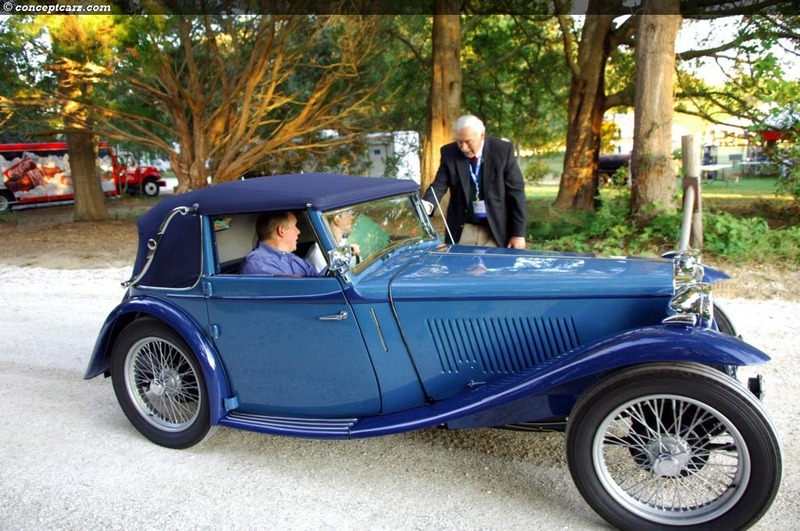 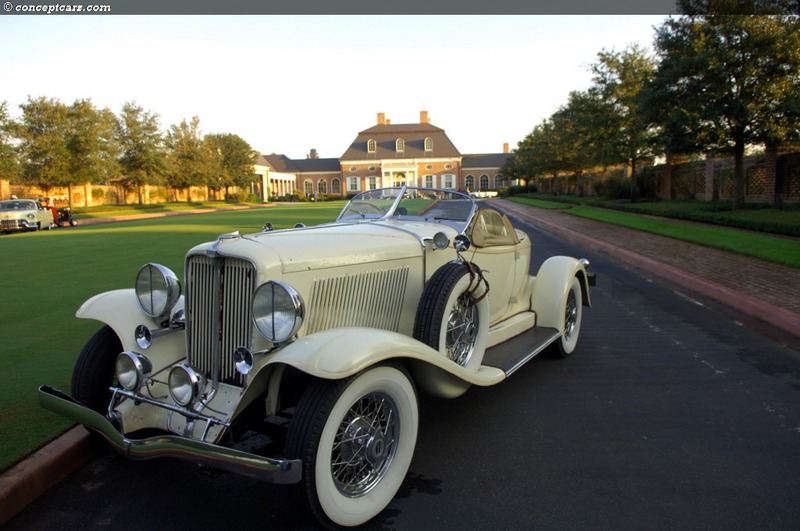 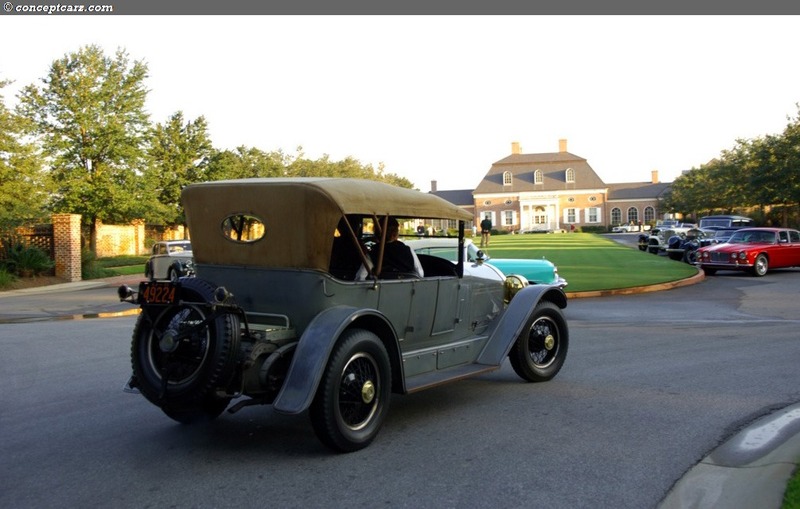 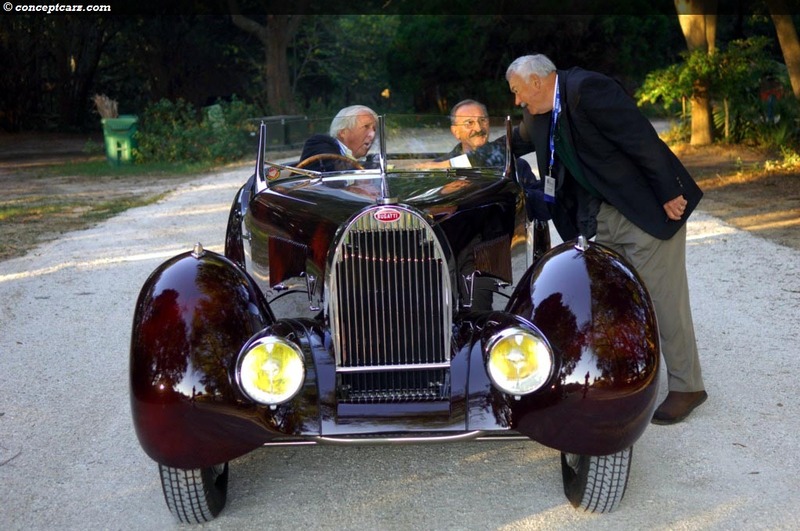 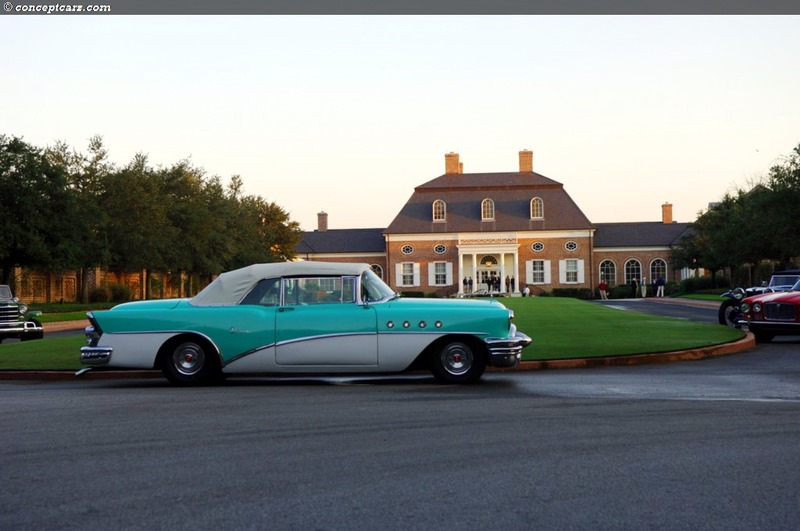 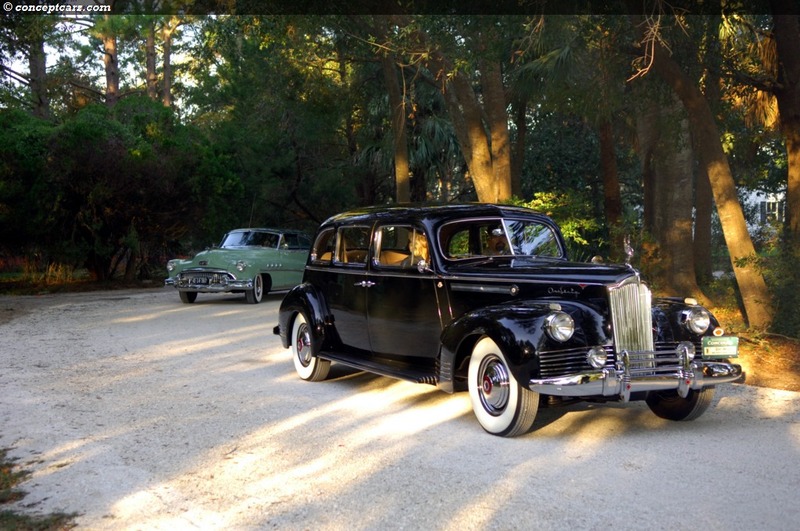 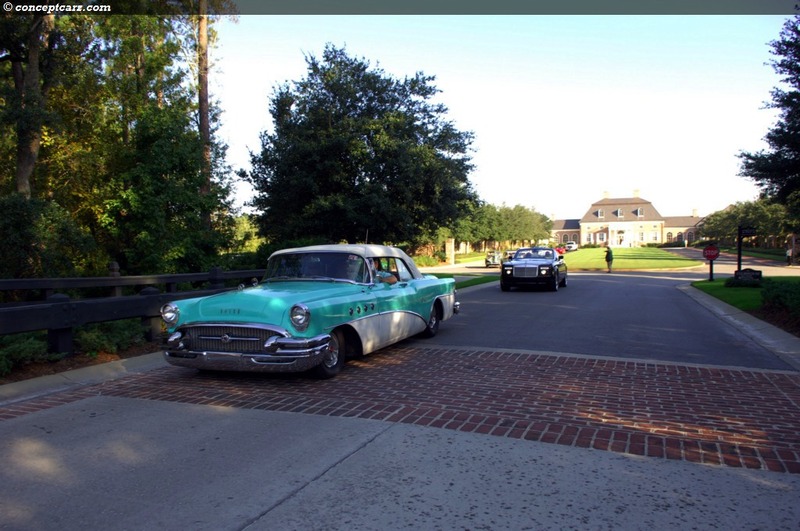 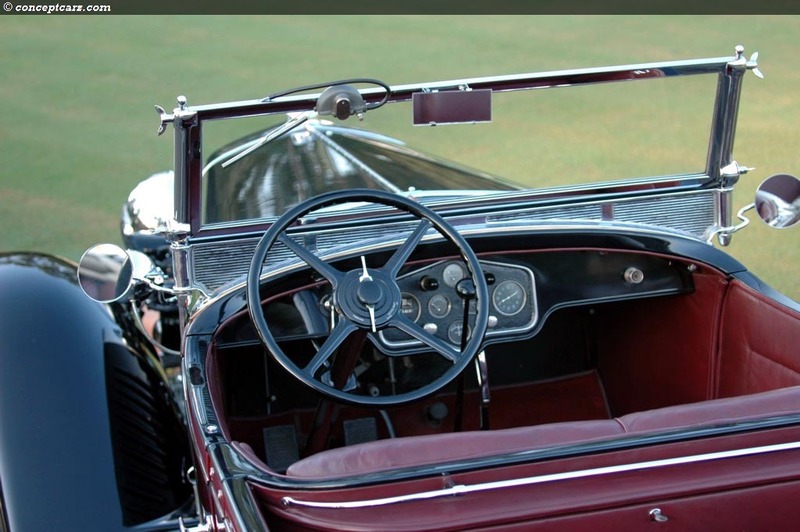 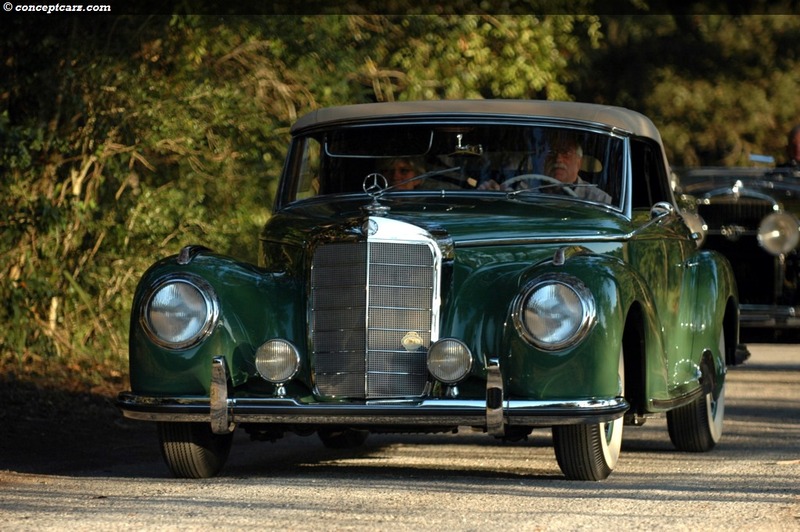 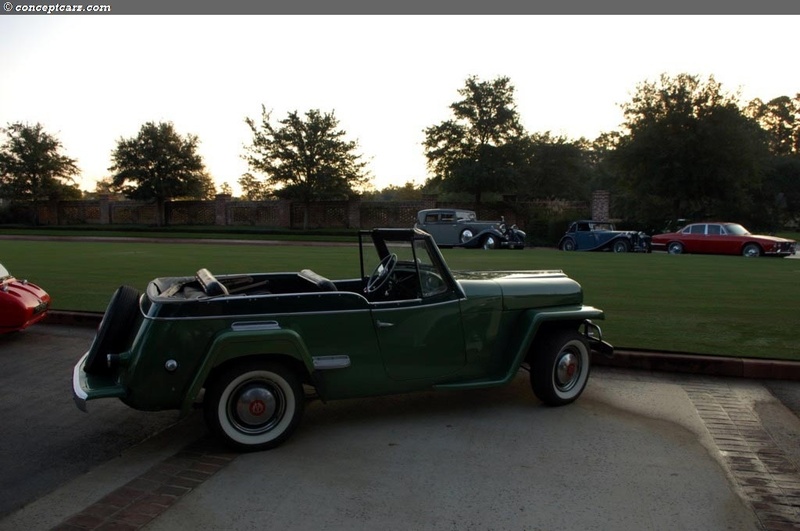 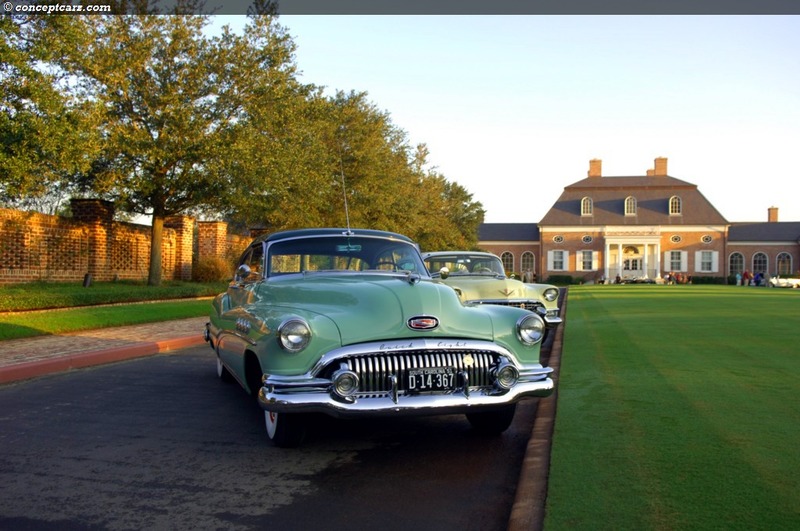 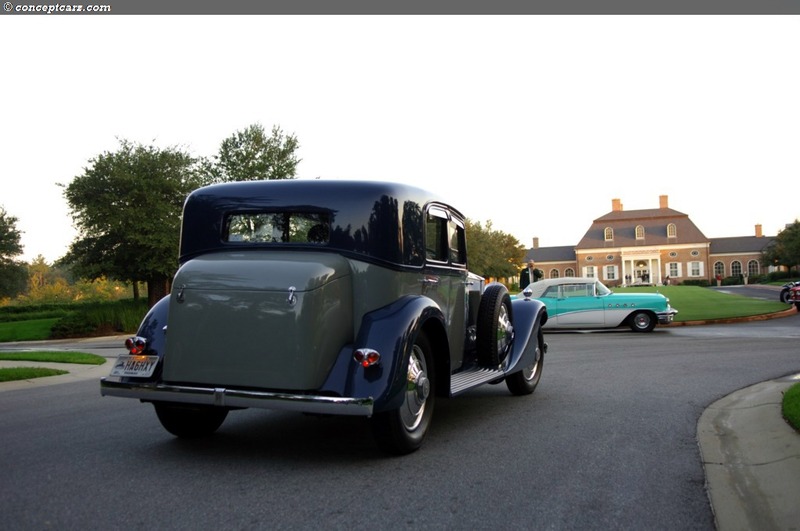 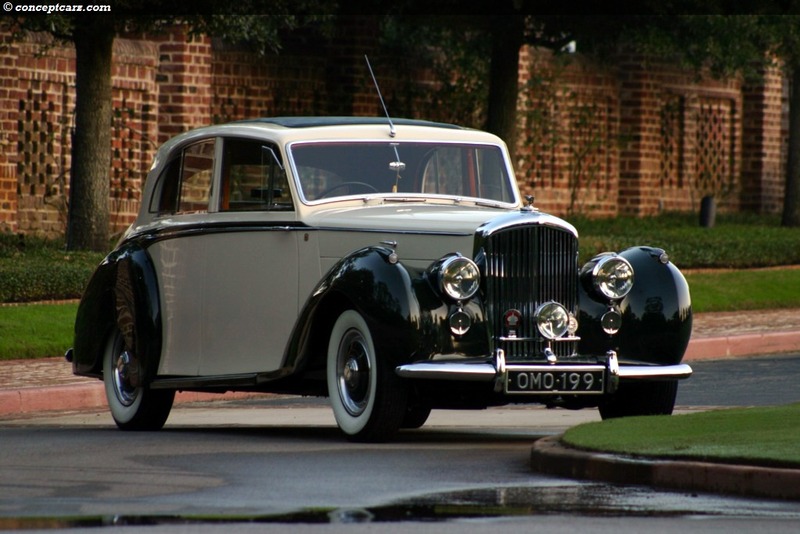 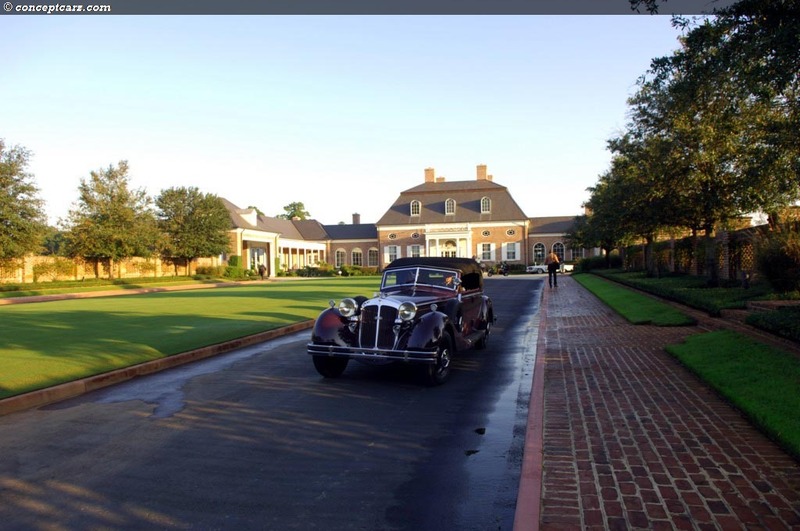 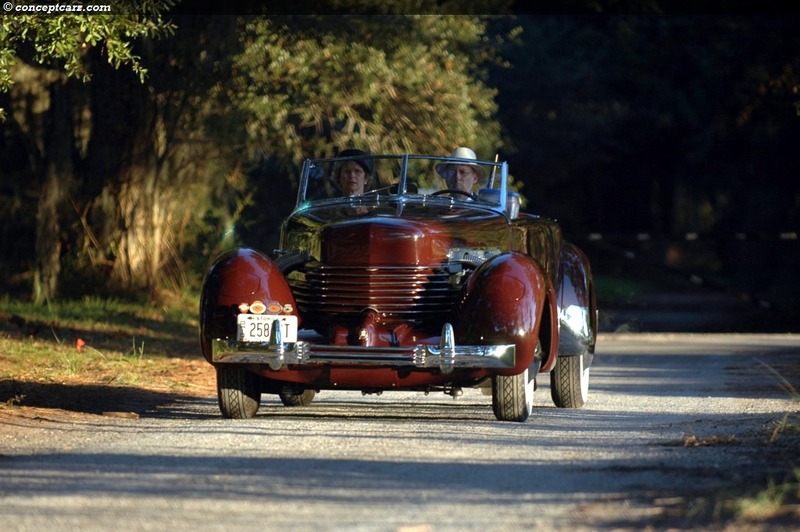 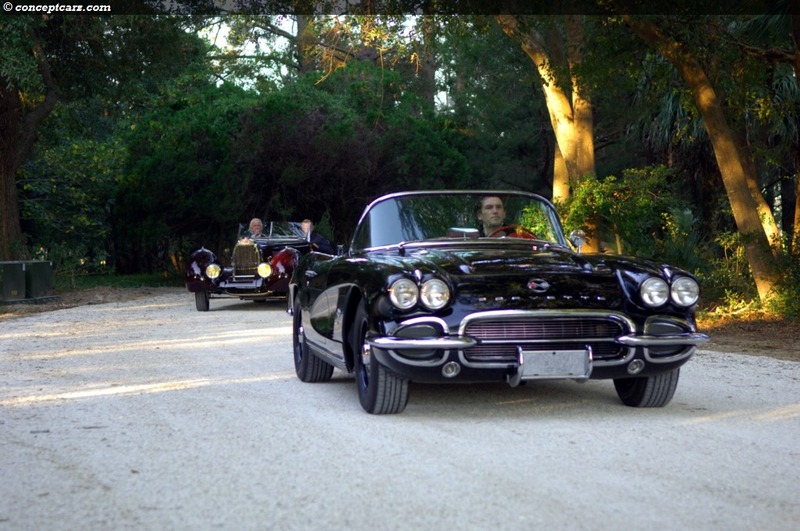 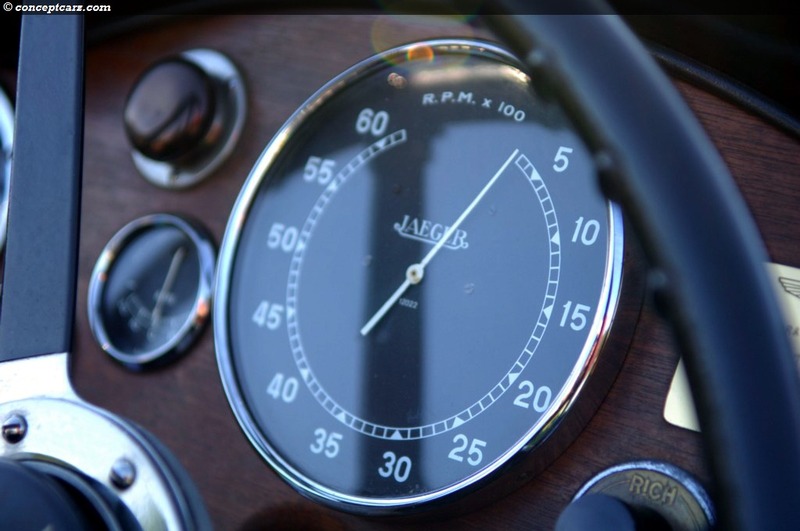 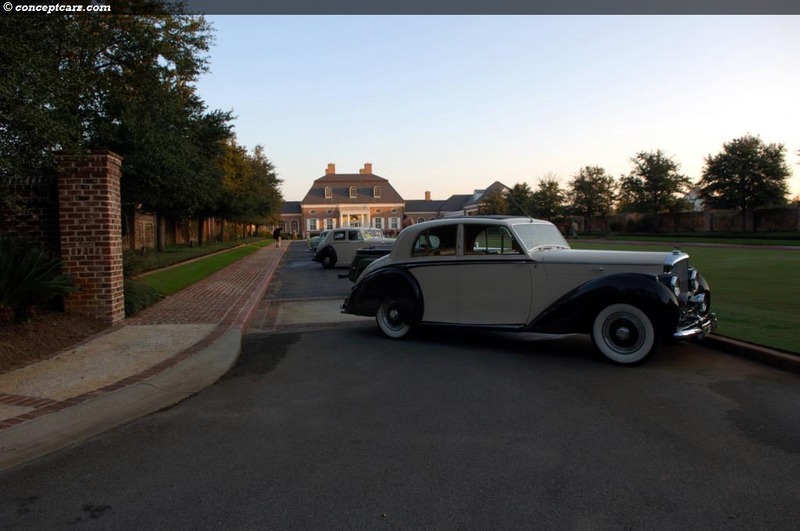 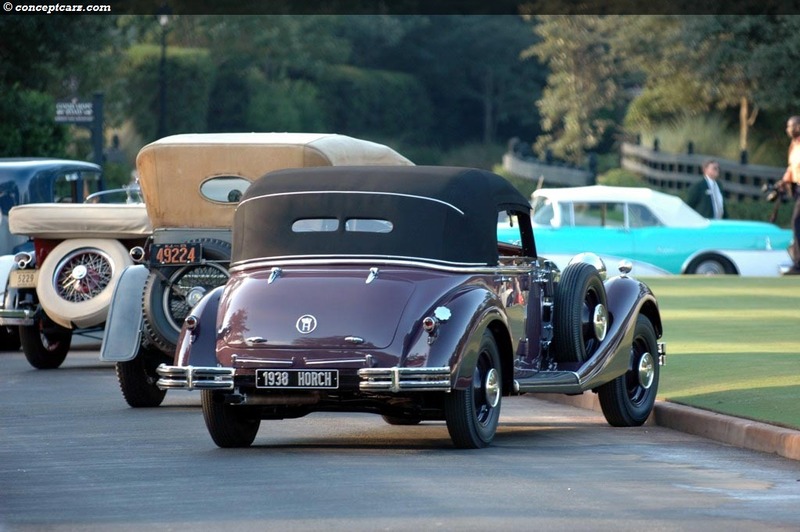 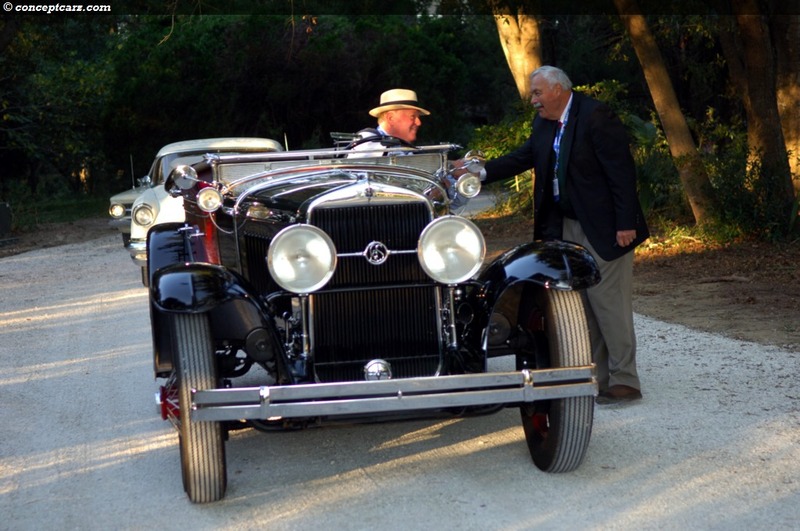 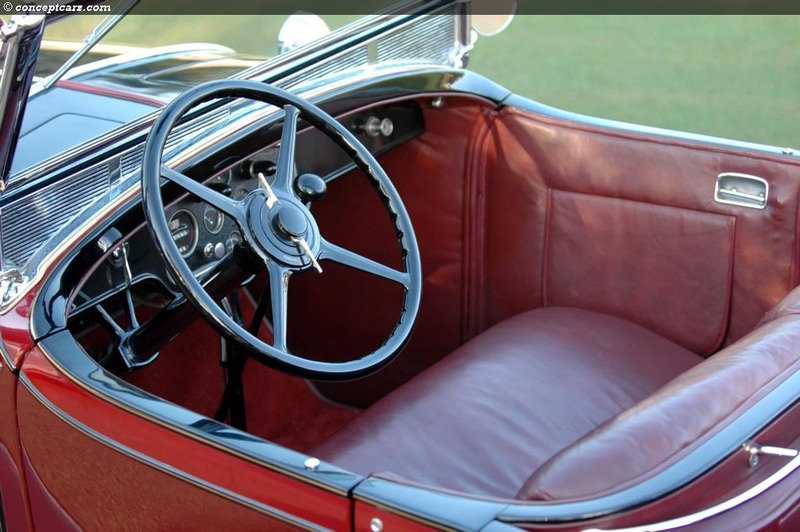 It was very exclusive and the perfect setting and surrounding for the elegant automobiles that partook in the tour. 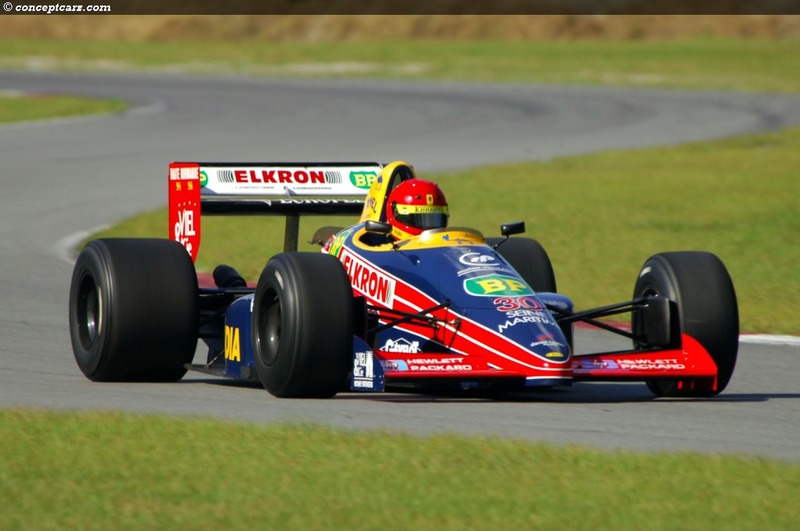 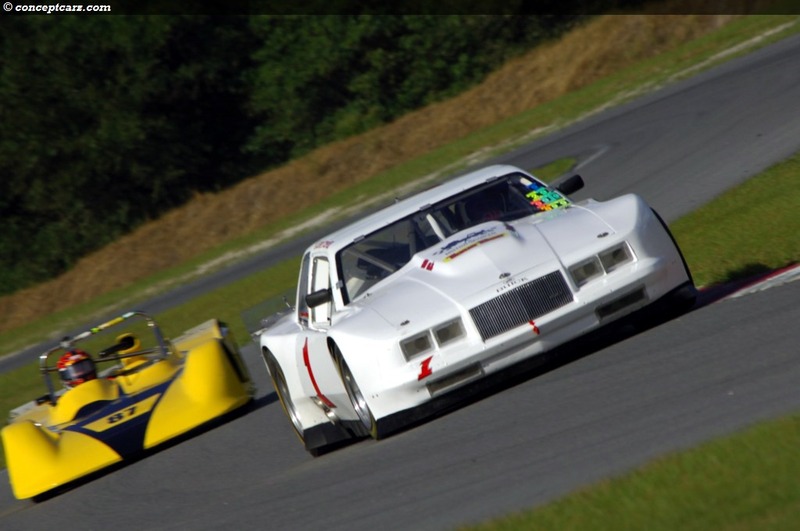 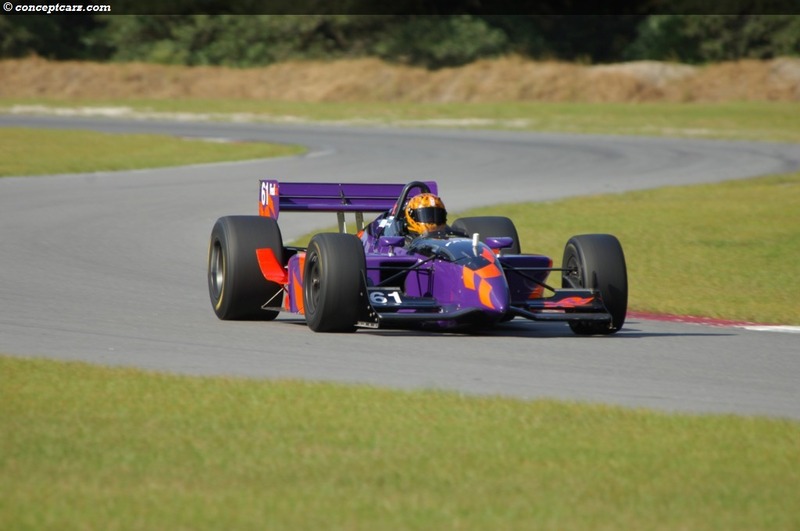 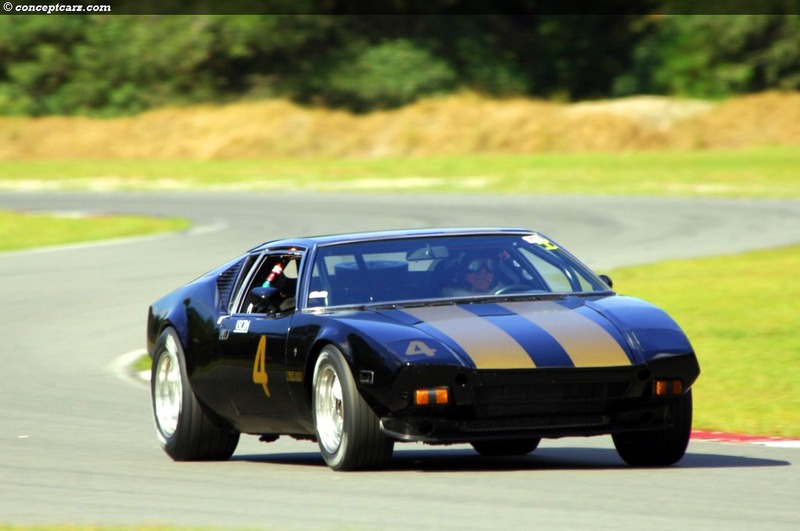 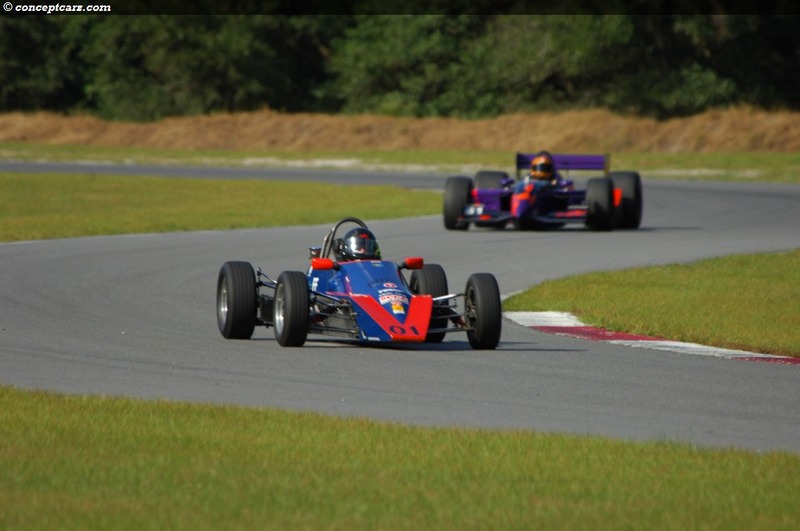 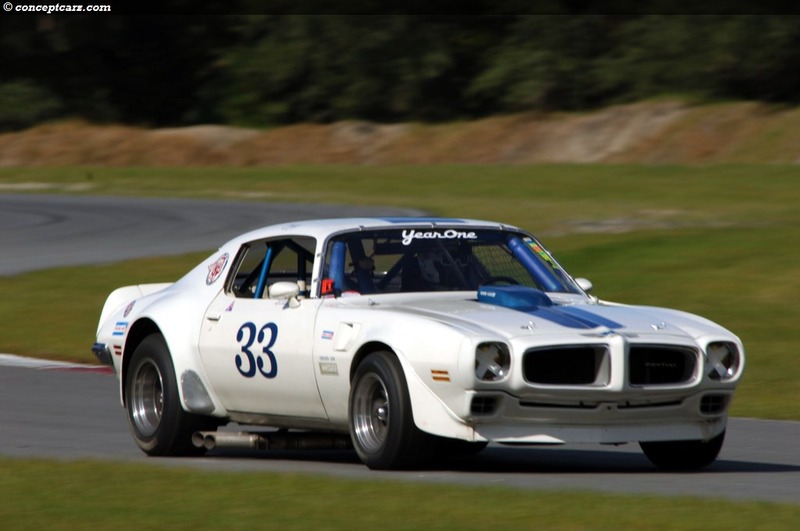 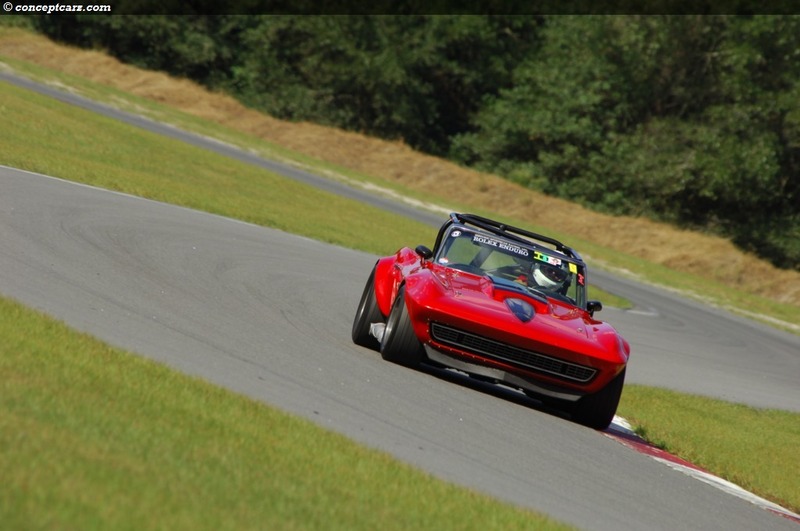 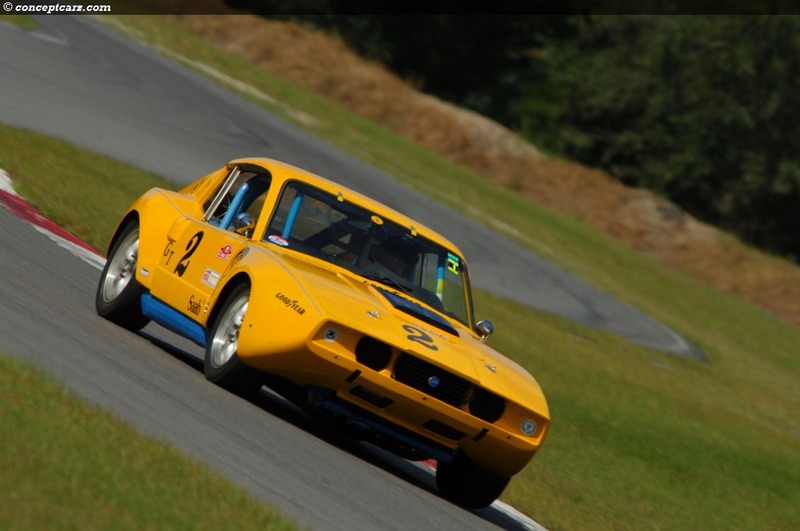 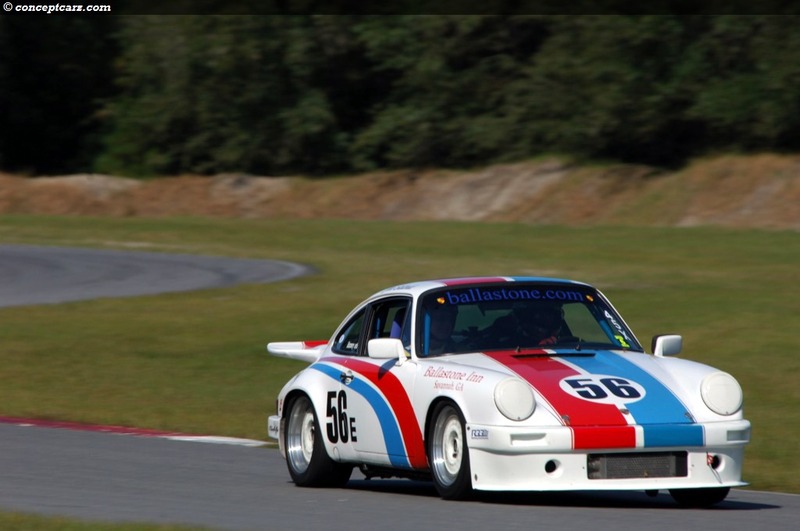 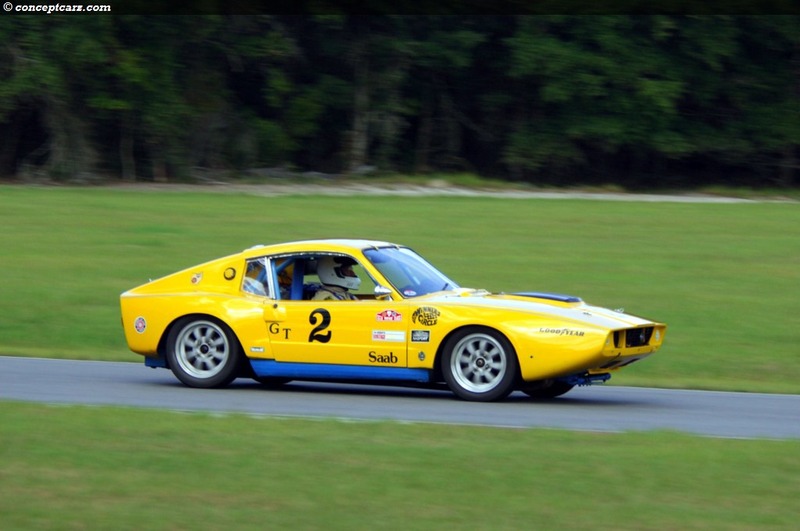 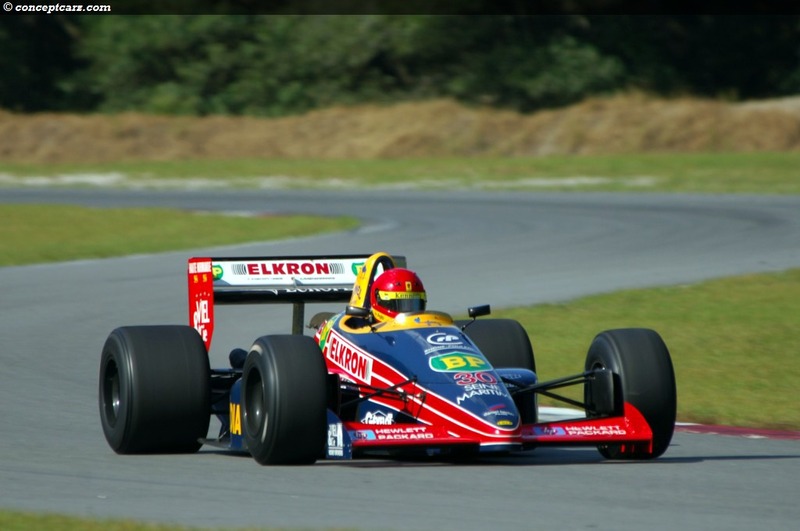 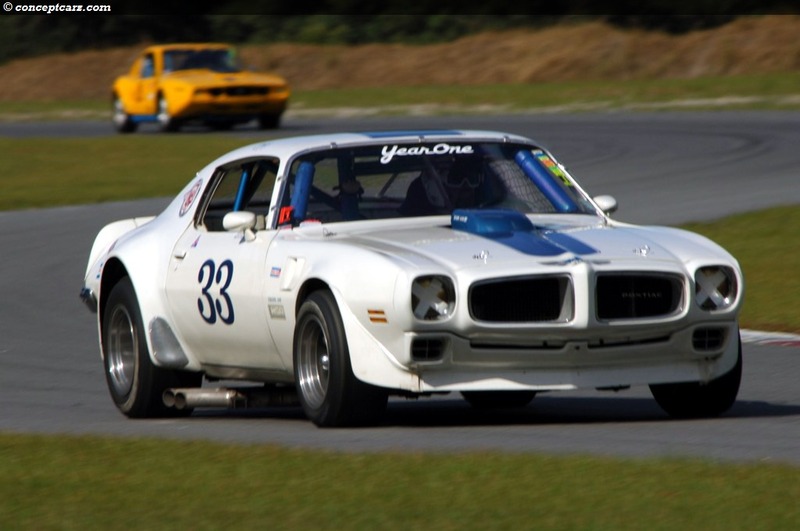 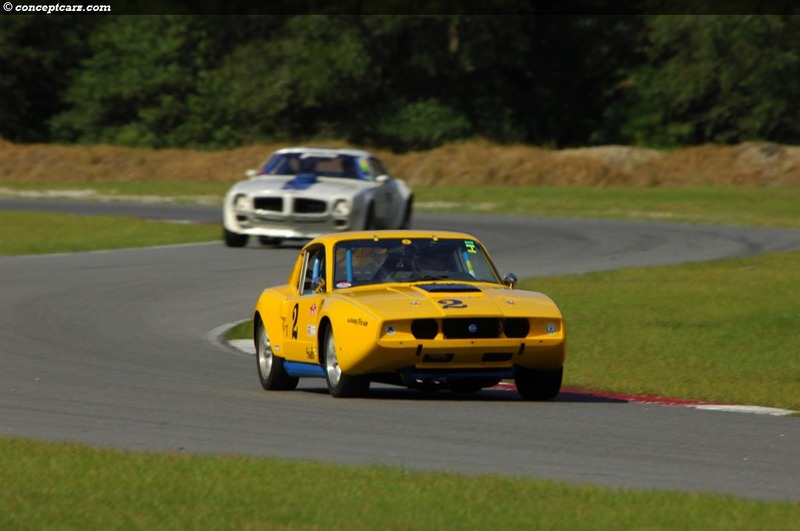 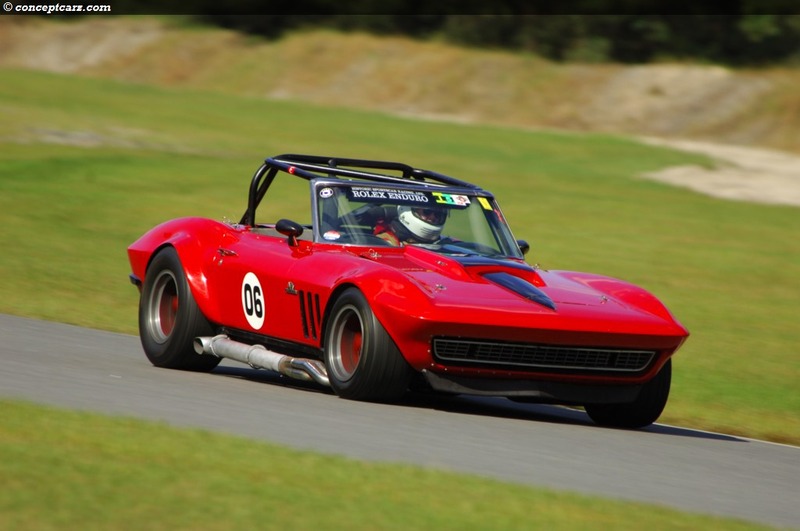 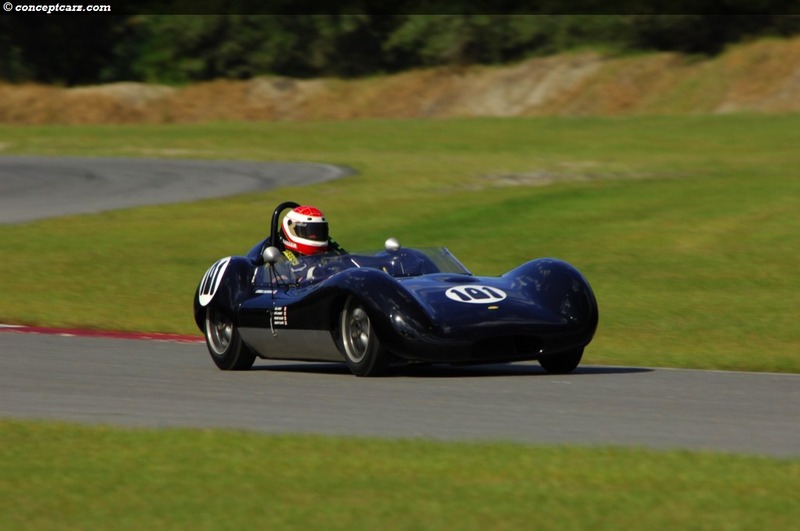 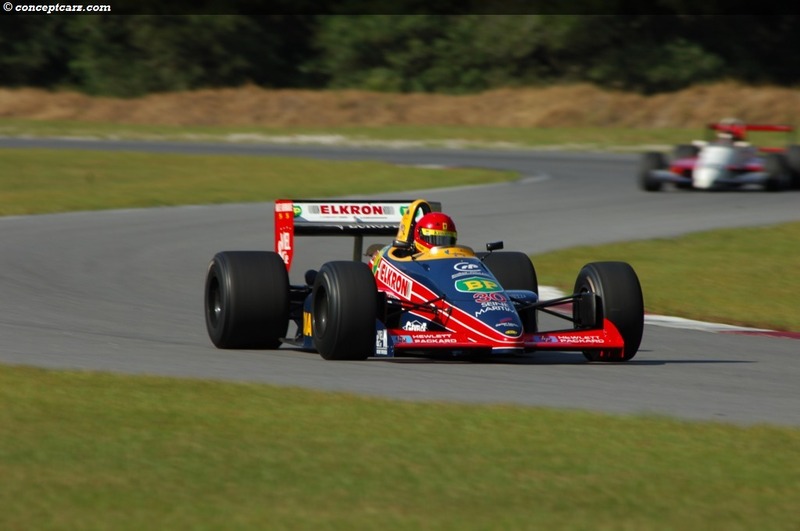 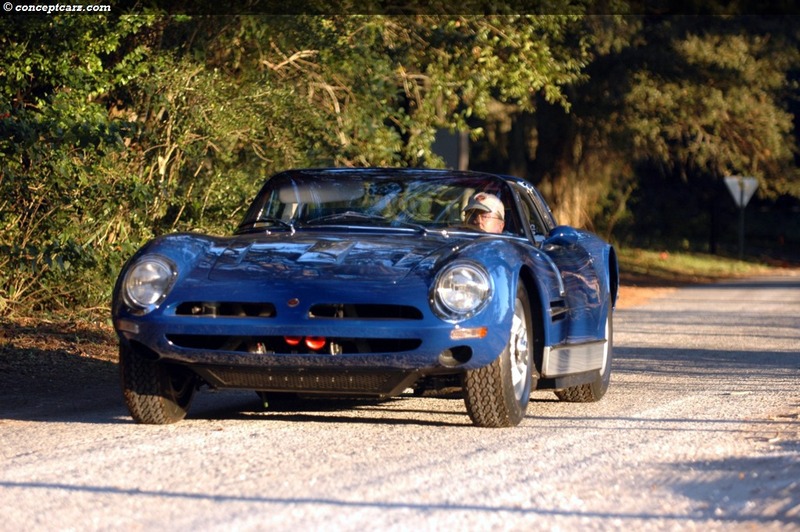 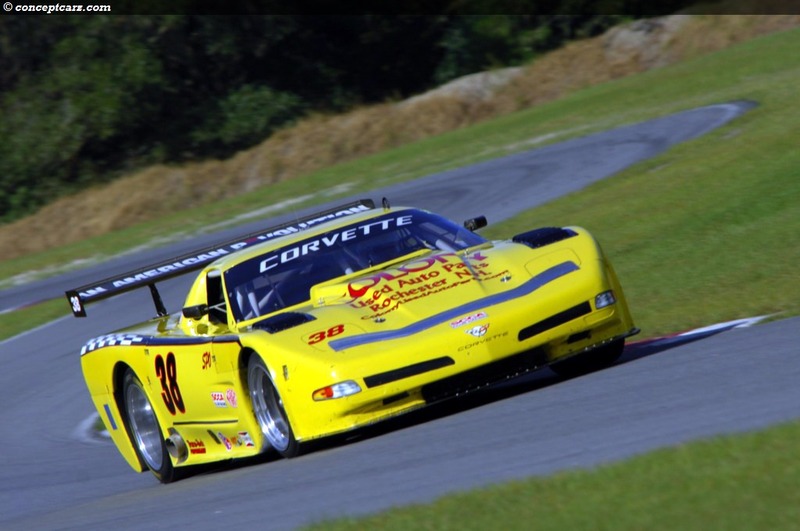 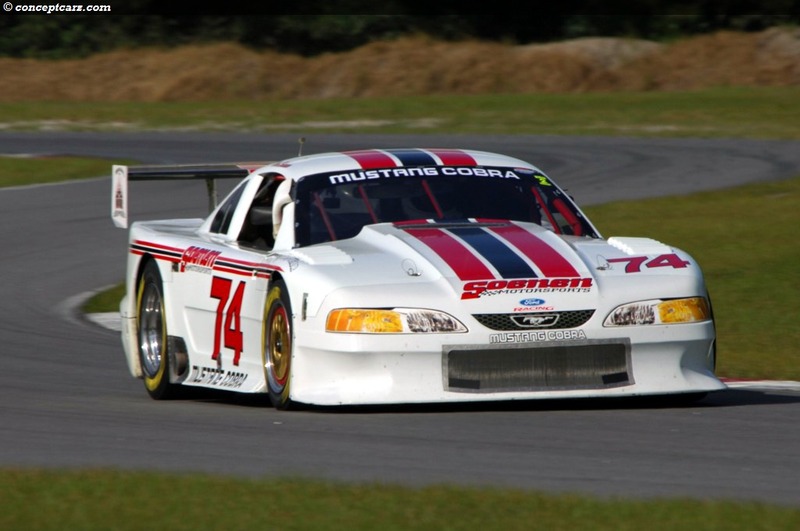 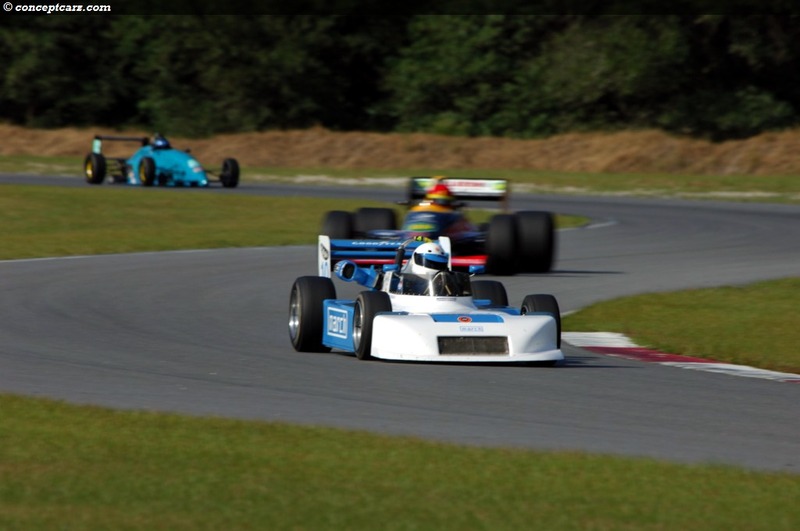 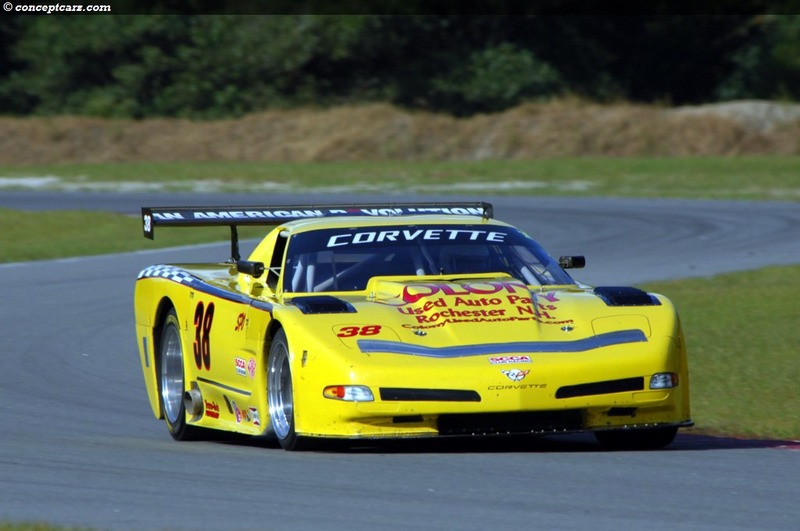 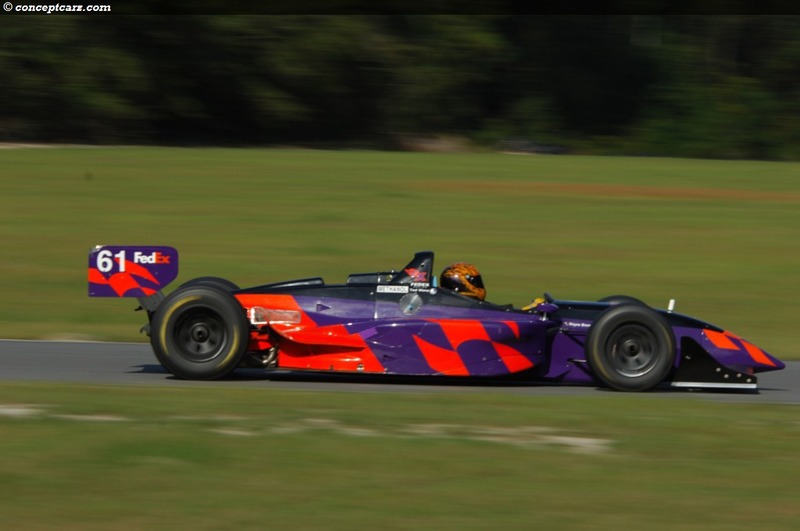 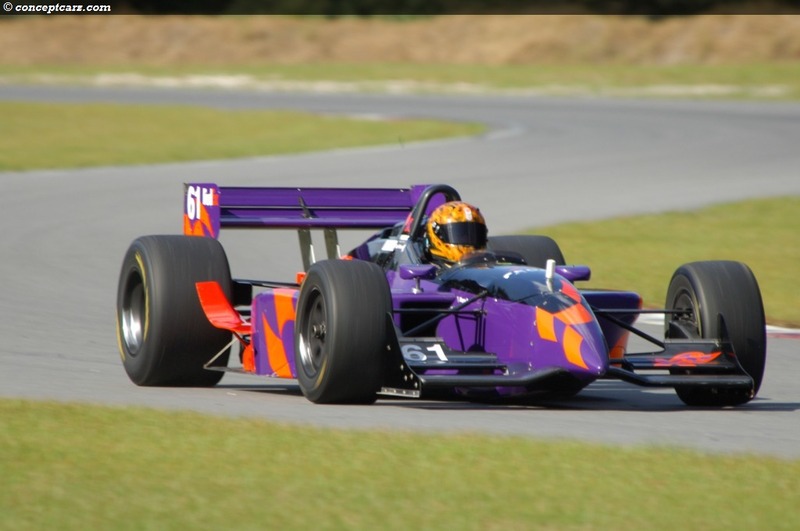 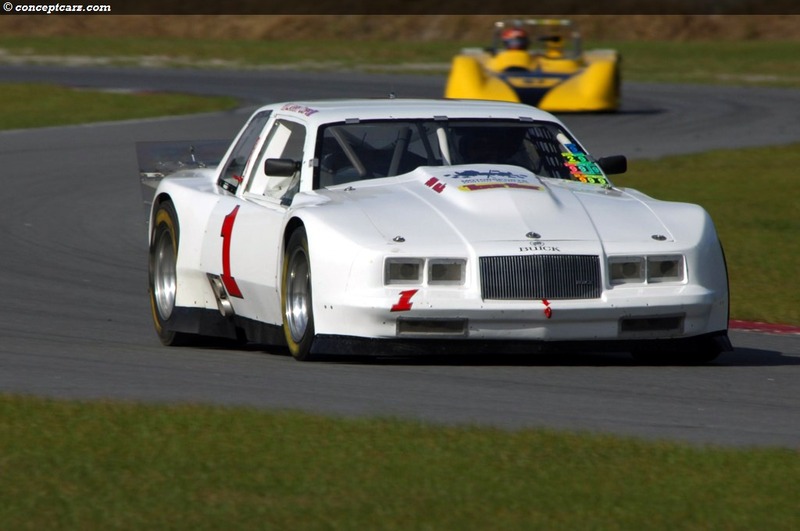 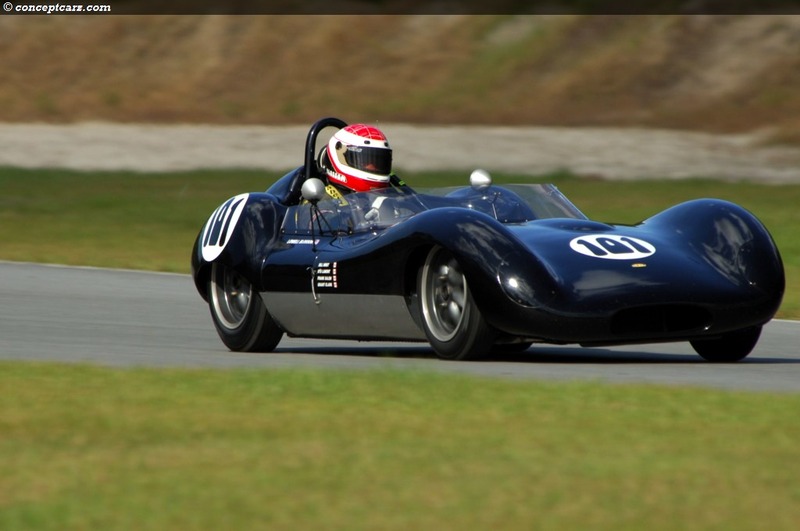 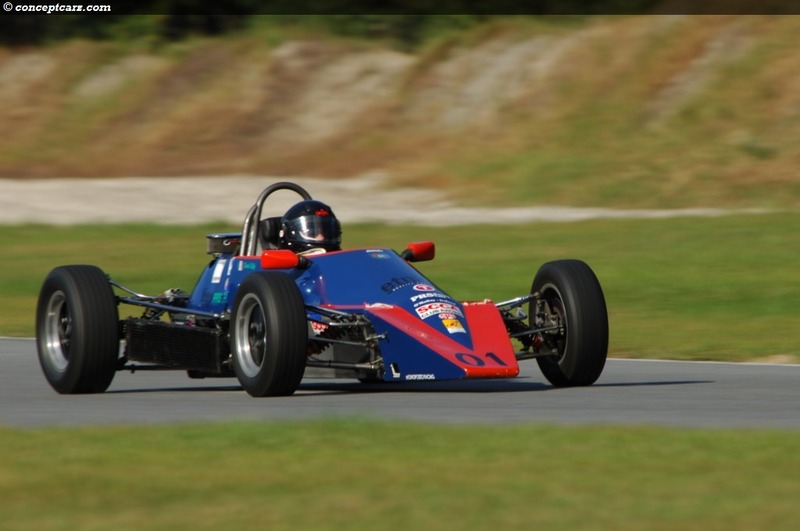 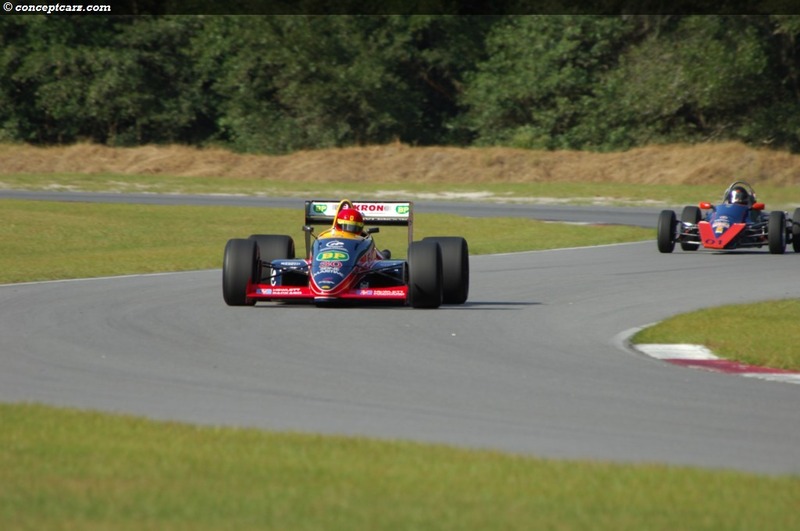 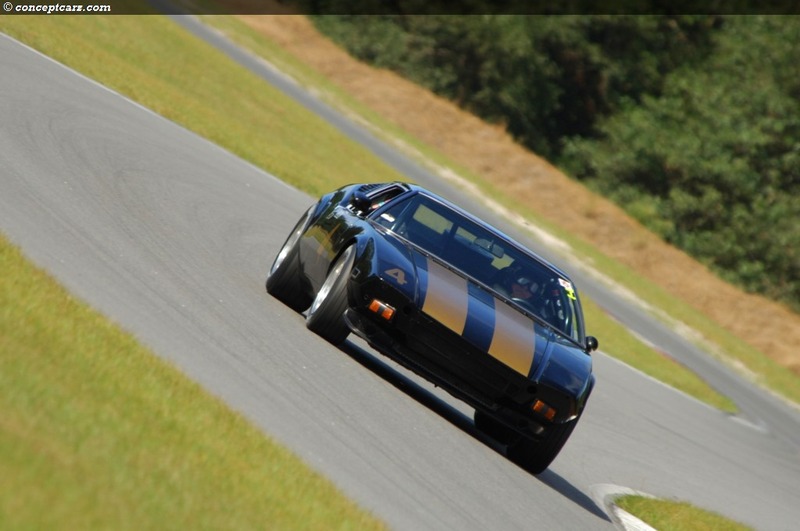 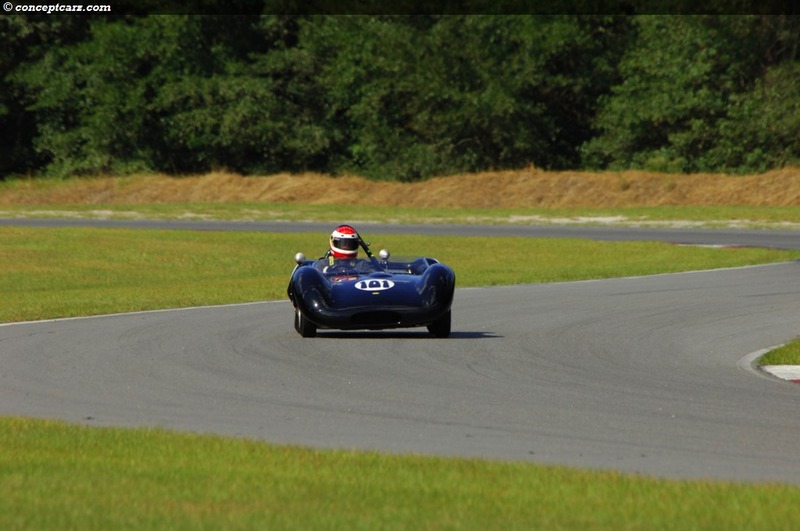 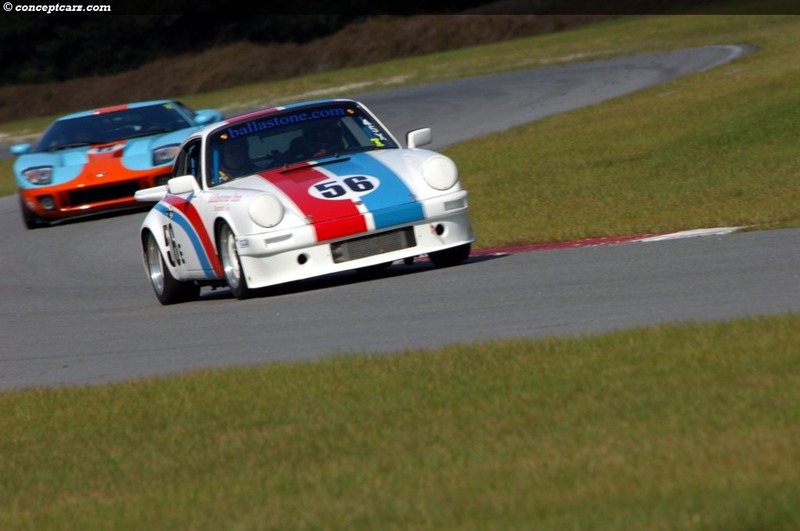 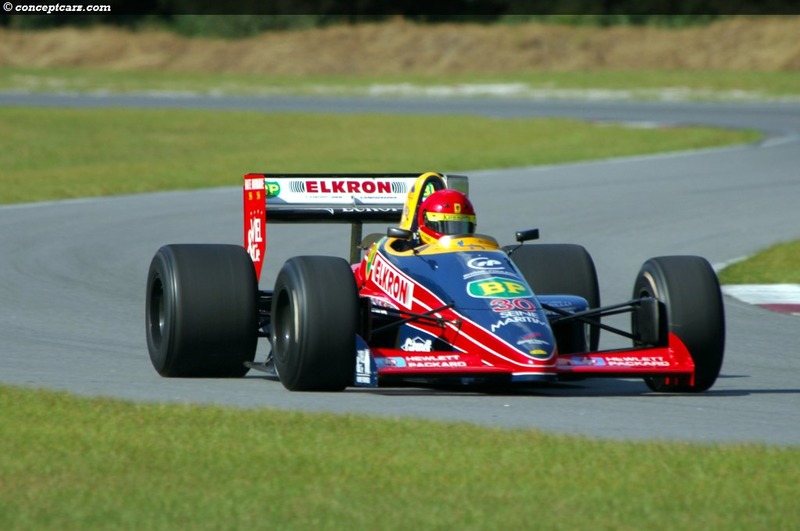 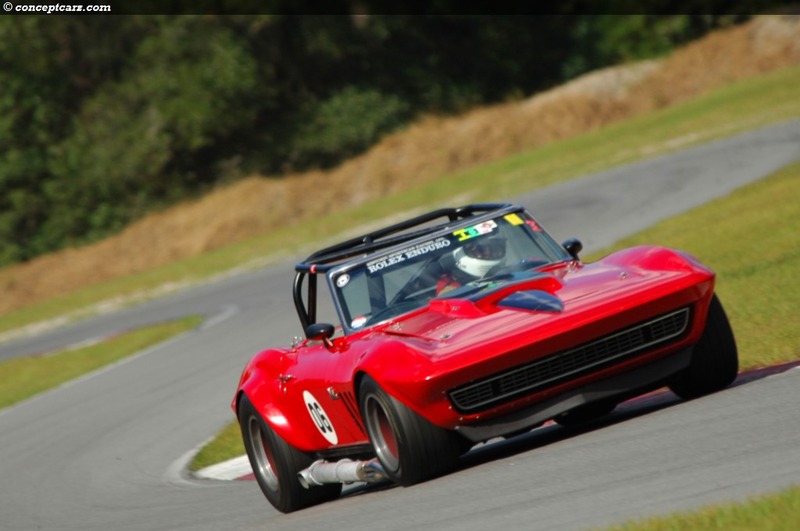 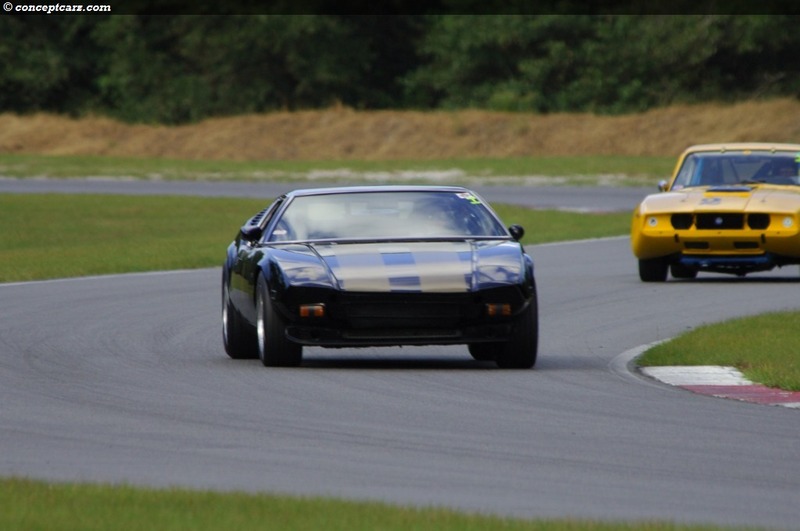 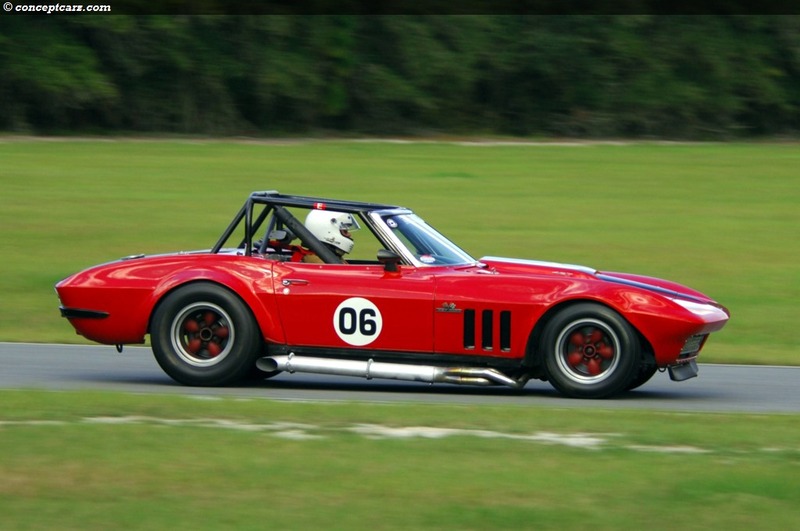 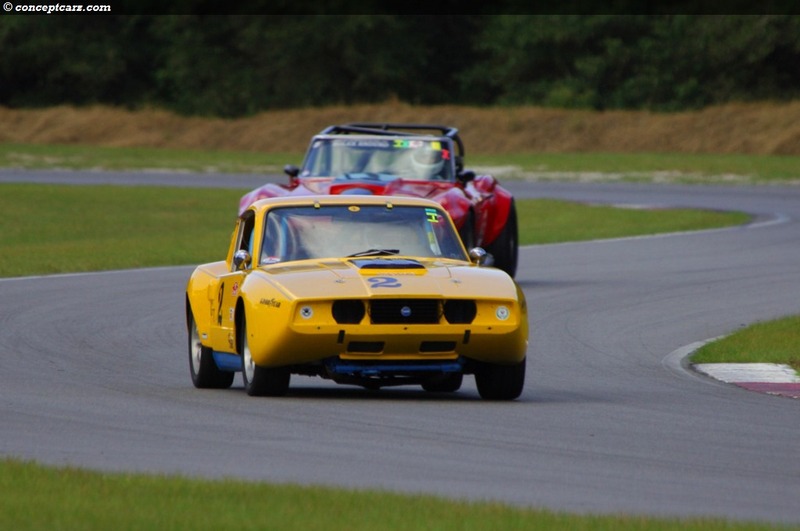 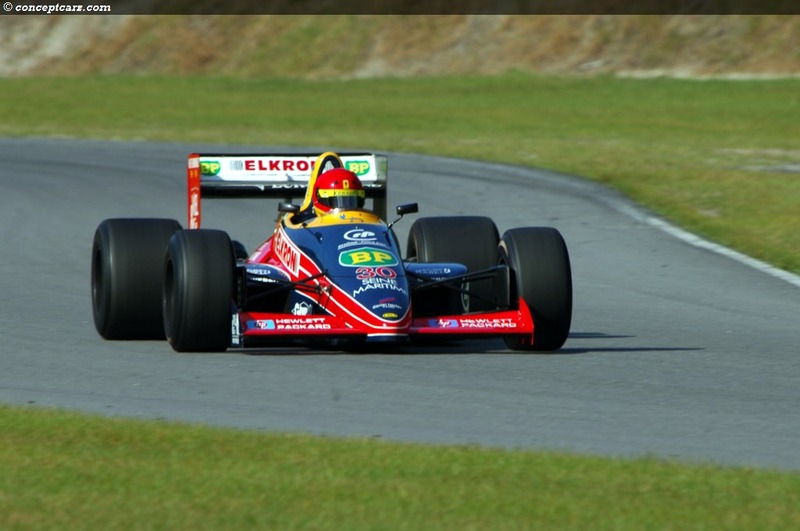 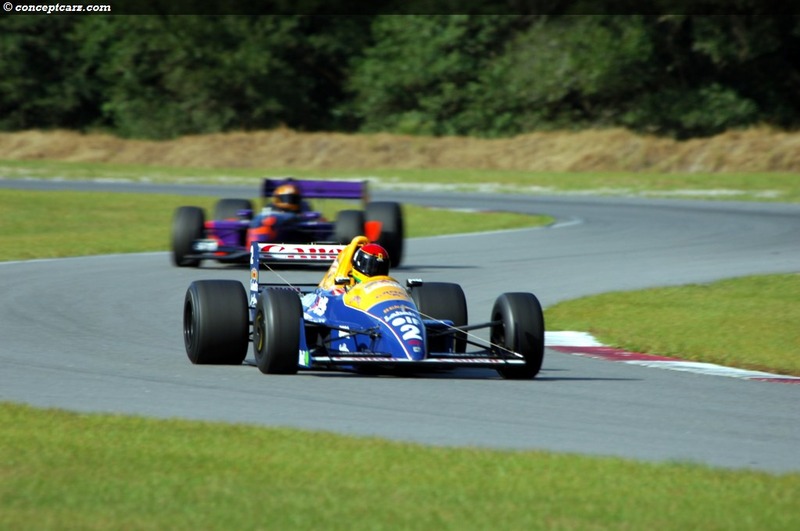 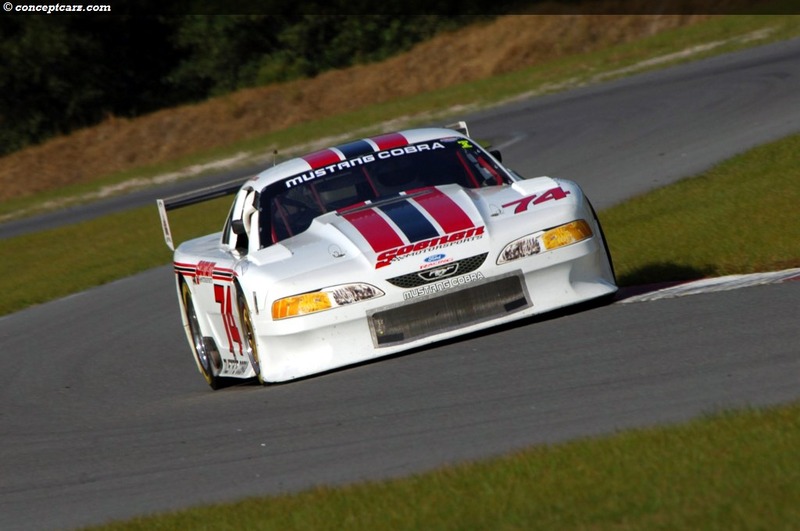 The Savannah Historics, coordinated by the Historic Sportscar Racing (HSR) Group, was a two day event held at Roebling Road Raceway. 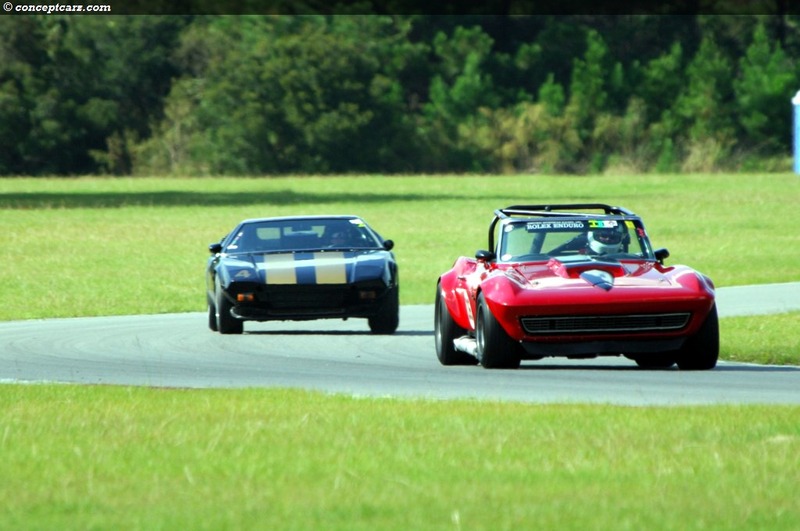 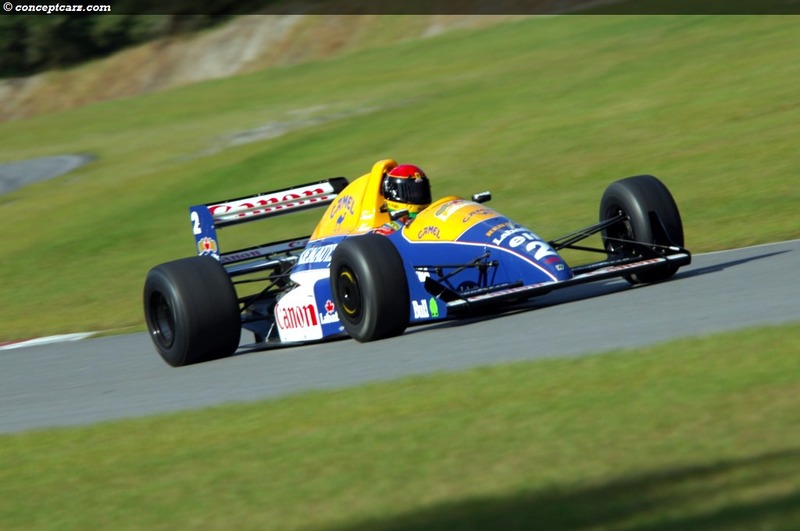 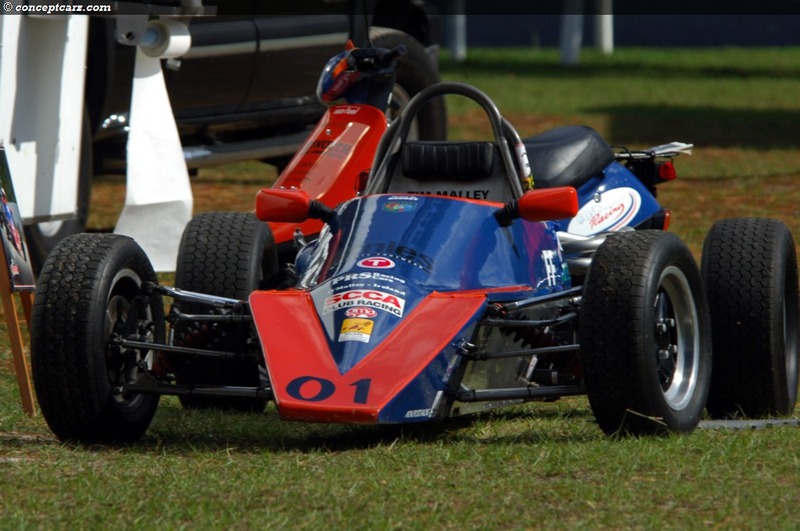 It had plenty of racing variety and entertainment during the two day sessions, including opportunities for spectators to enjoy hot laps with certified drivers - for a fee of course. 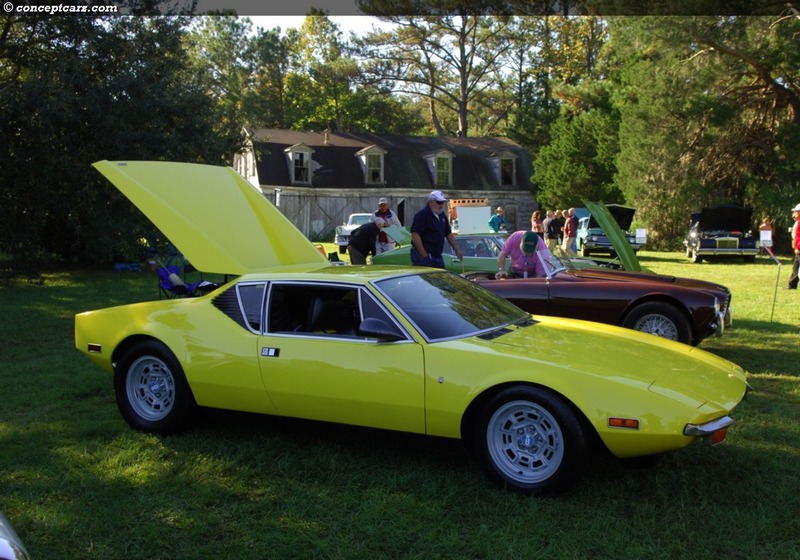 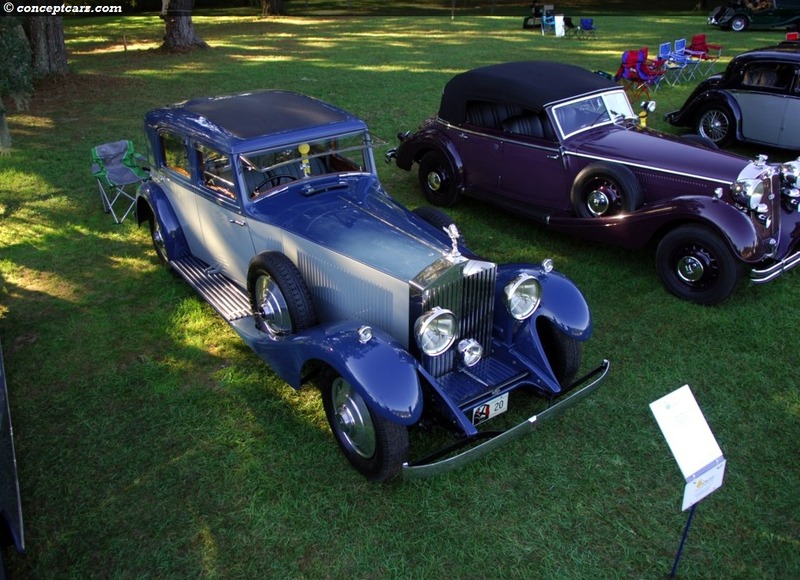 The day prior to the concours is the Car Club Jamboree. 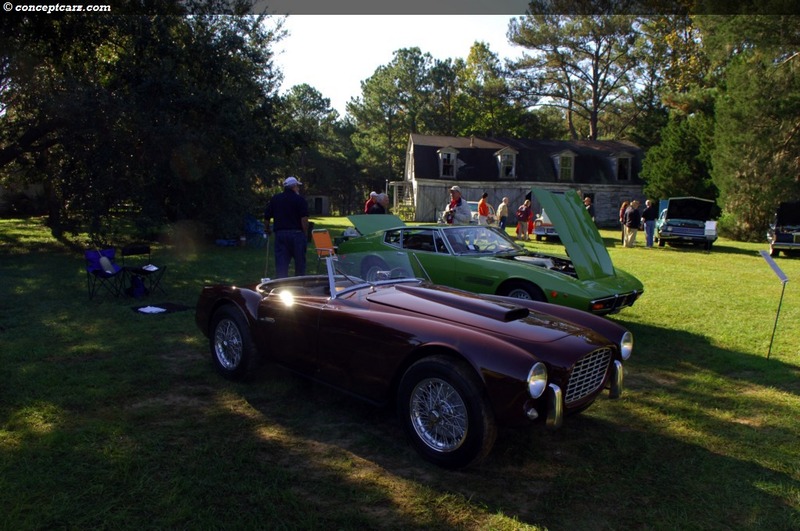 The large field that stages this event quickly becomes very small as the nearly twenty car clubs roll onto the field. 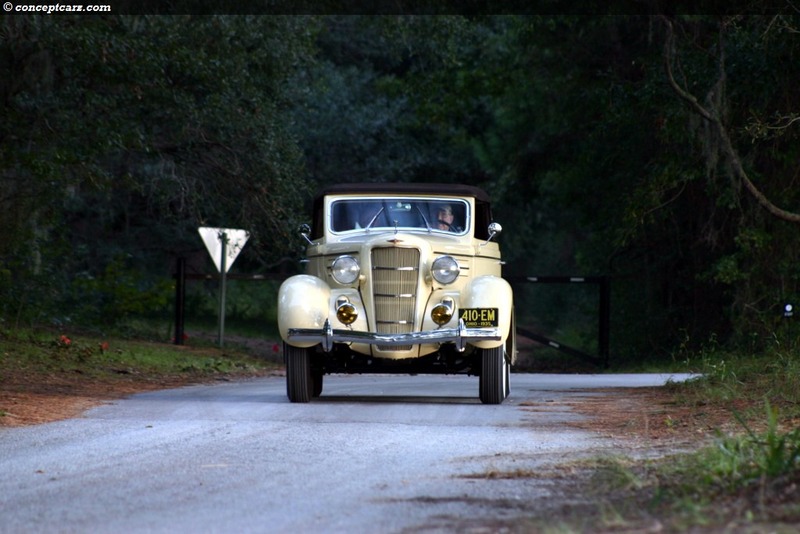 Many are local, some are repeat visitors, but surprisingly, most are newcomers. 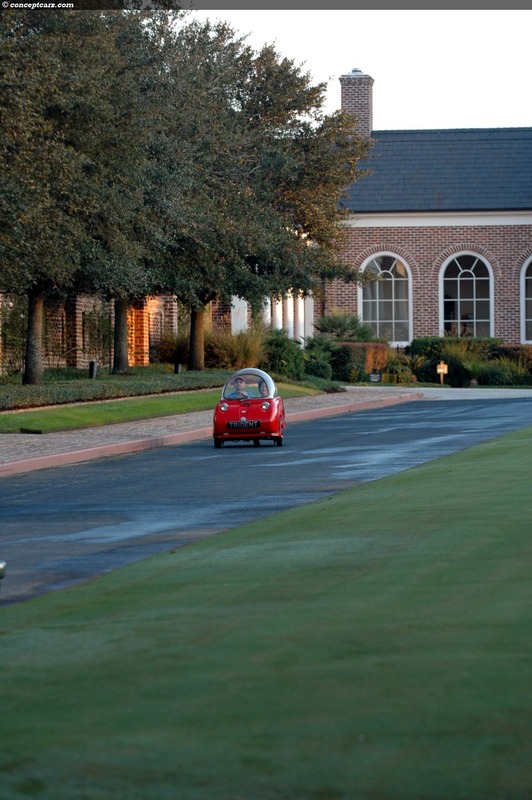 In our opinion, the most improved event for this year was the driving tour. 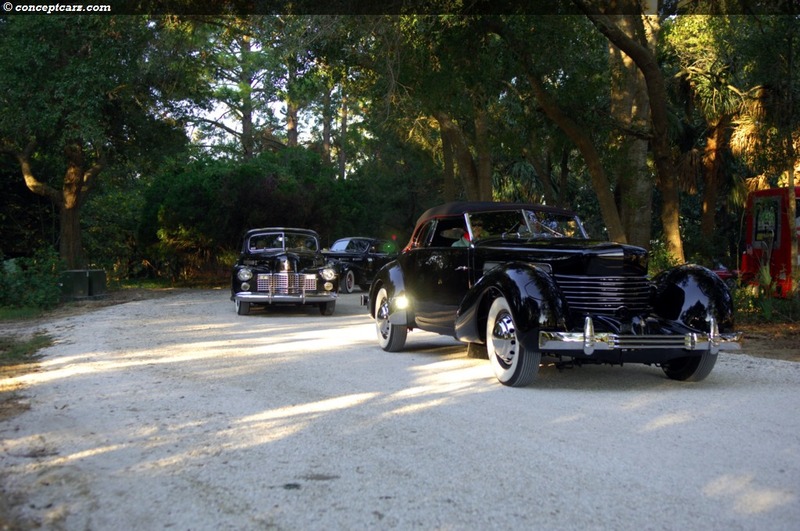 The starting location was breath-taking, it seemed to be well orchestrated, and the group of cars assembled was very exquisite. 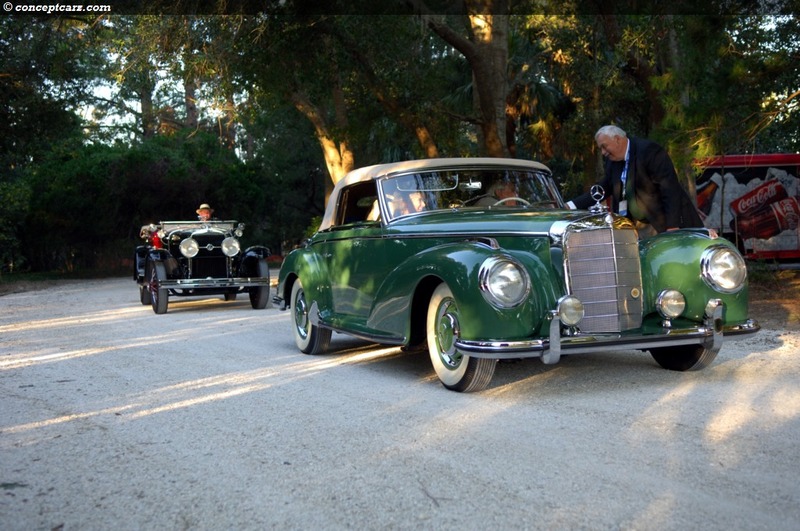 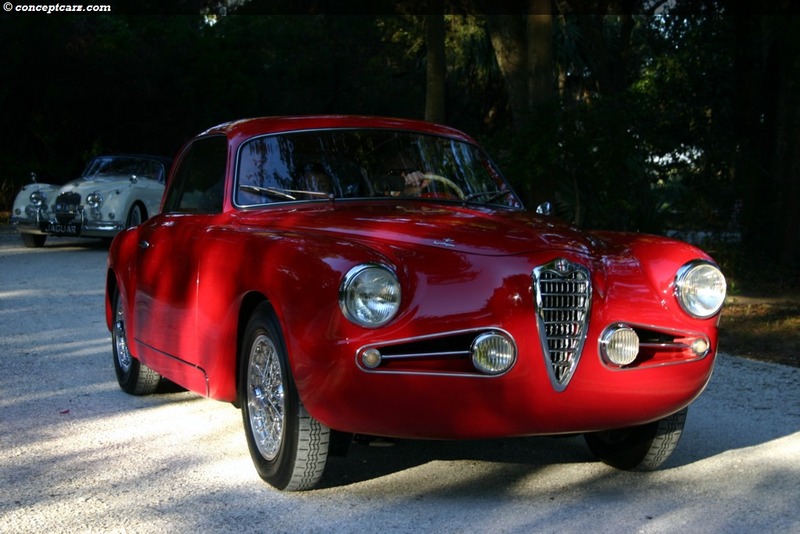 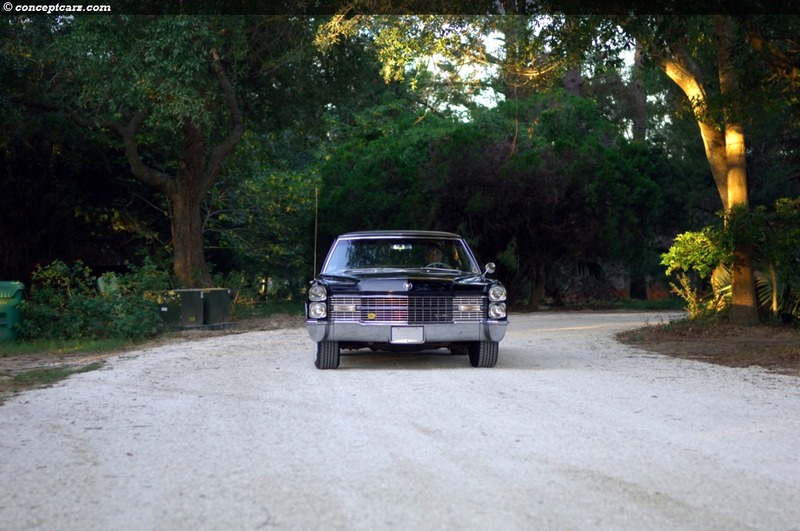 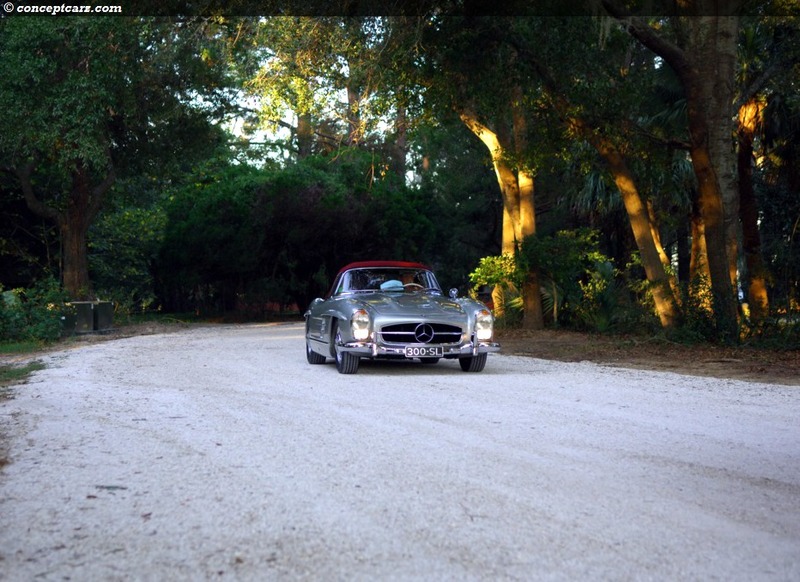 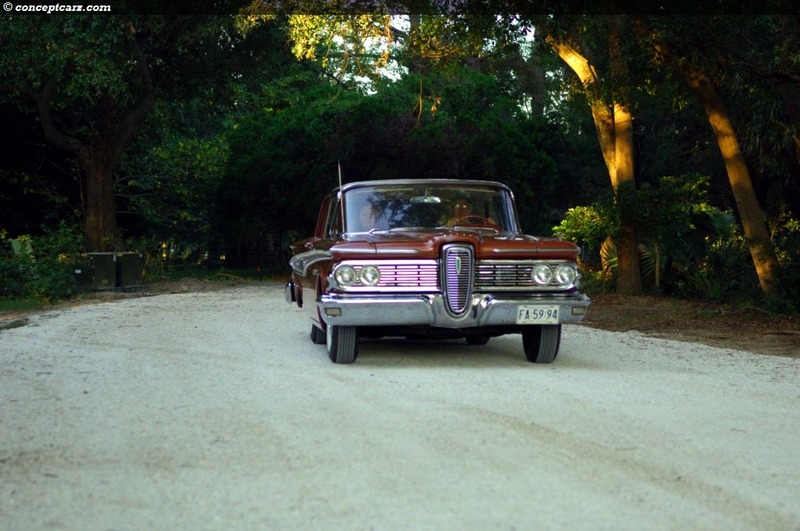 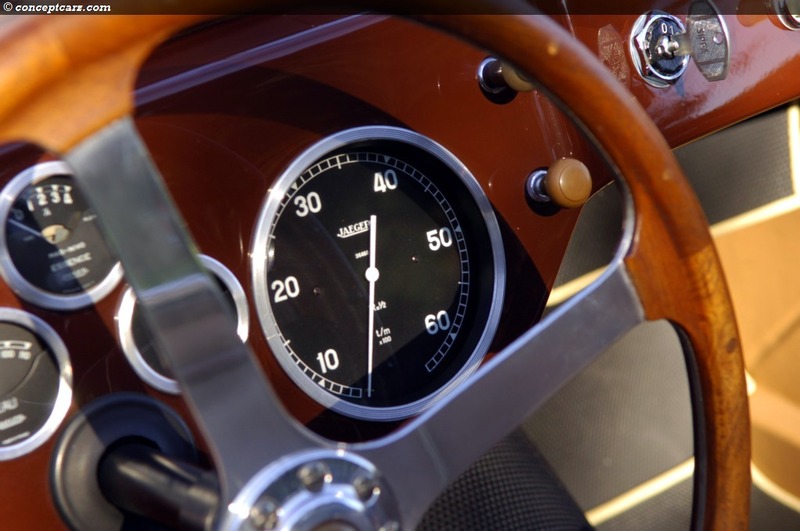 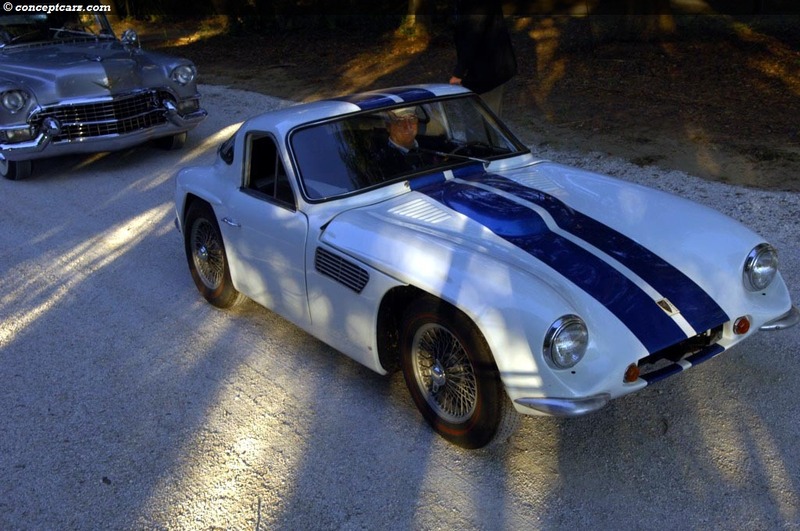 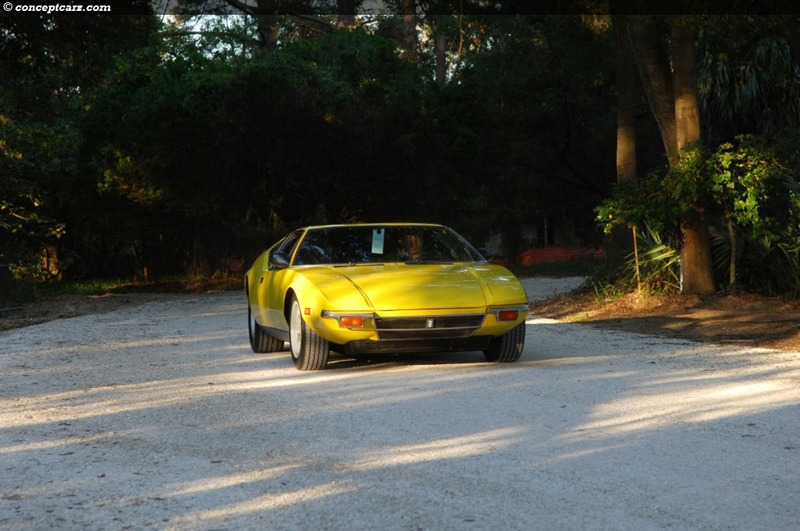 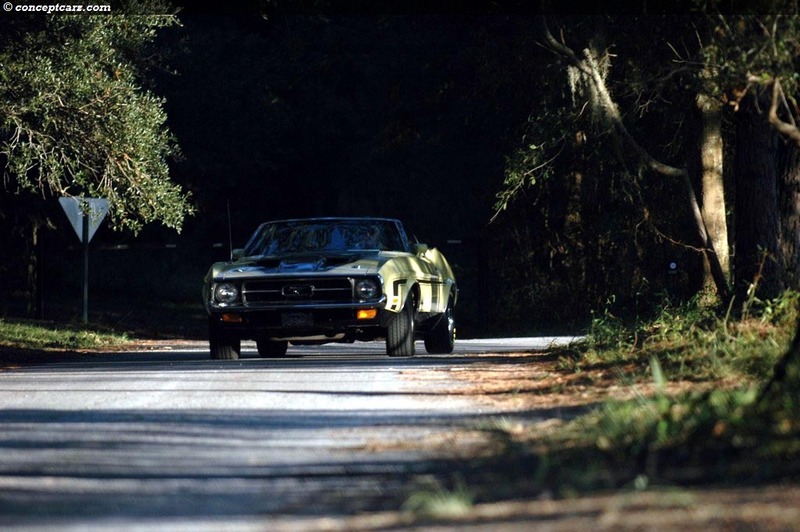 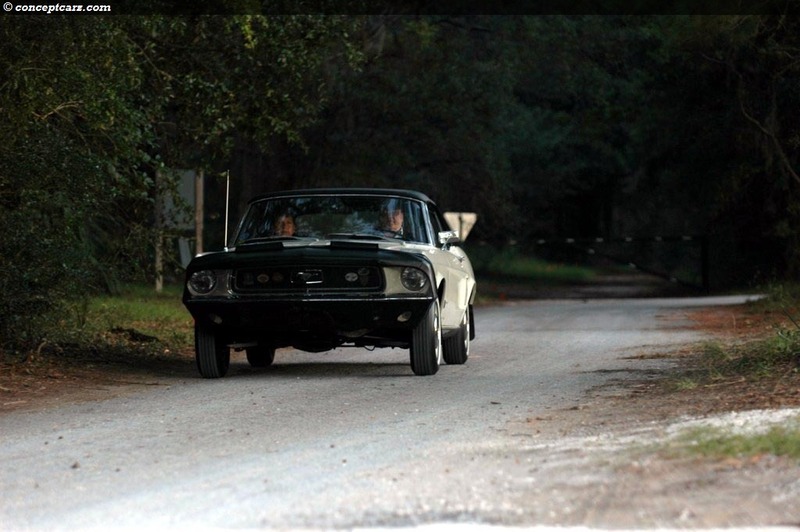 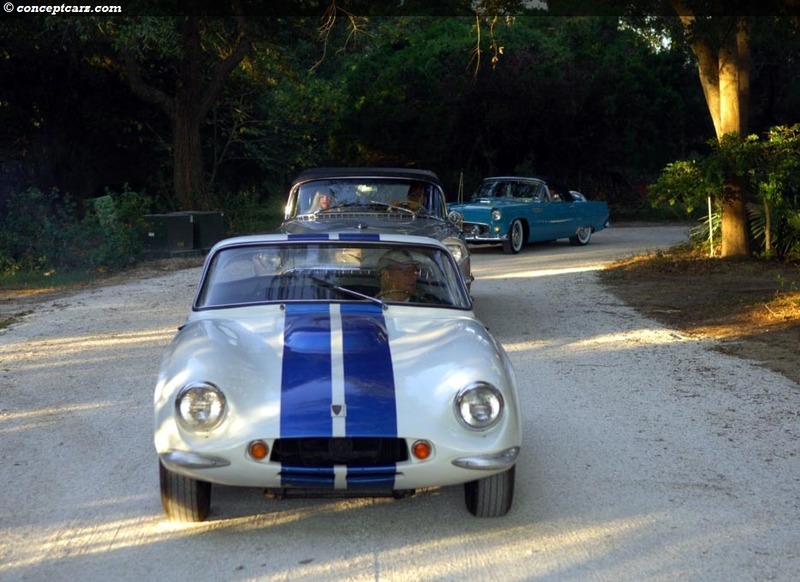 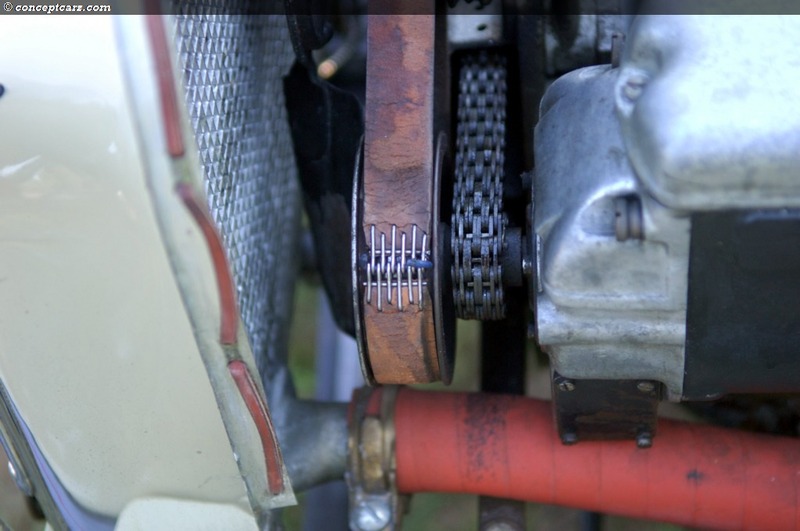 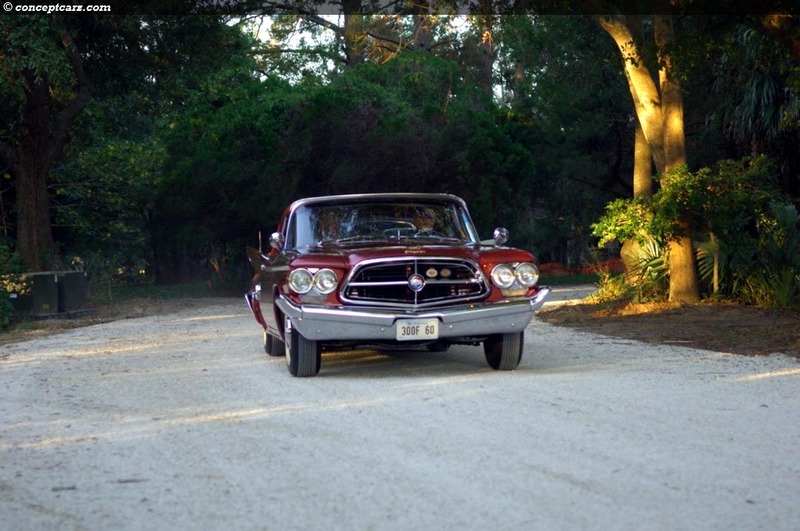 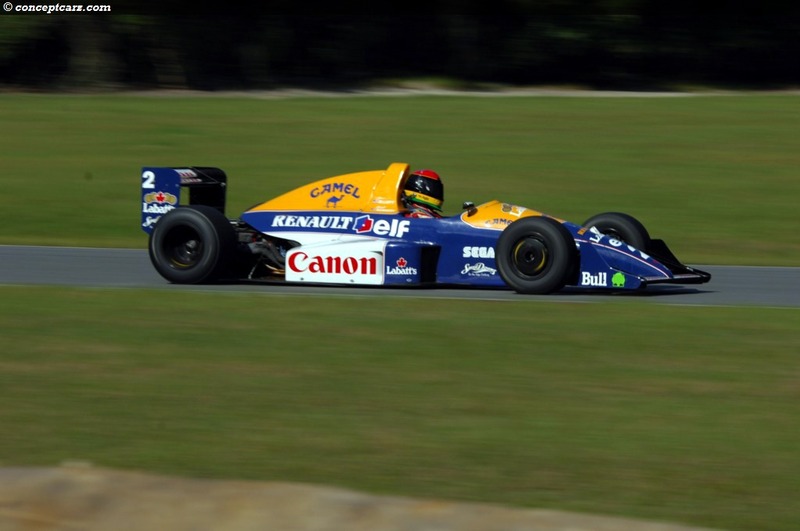 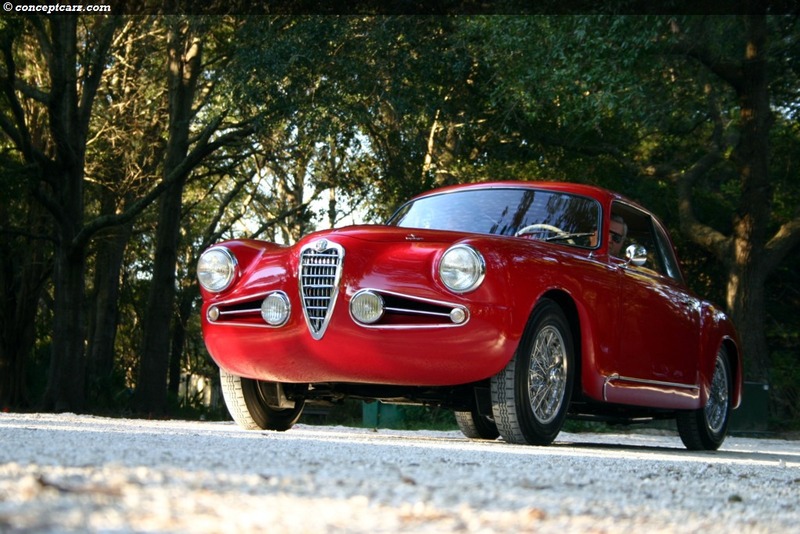 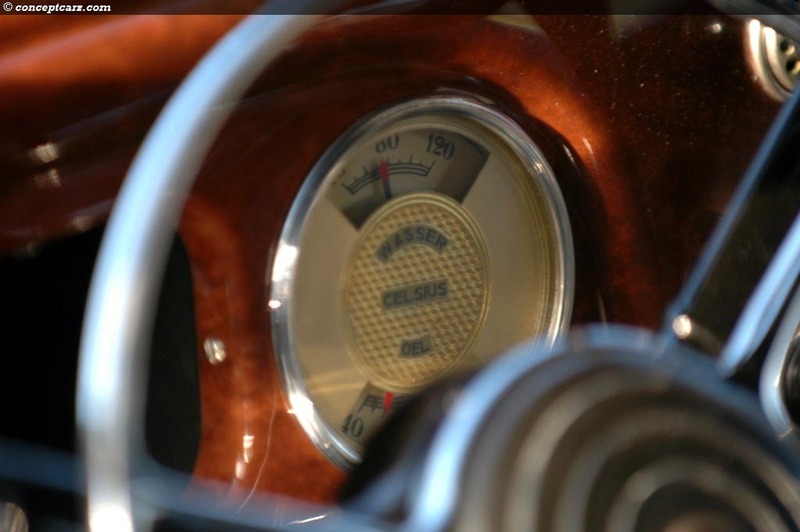 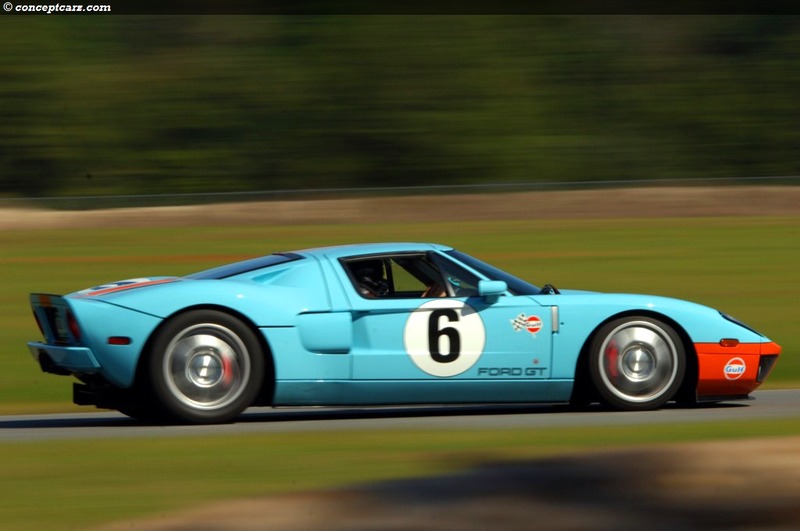 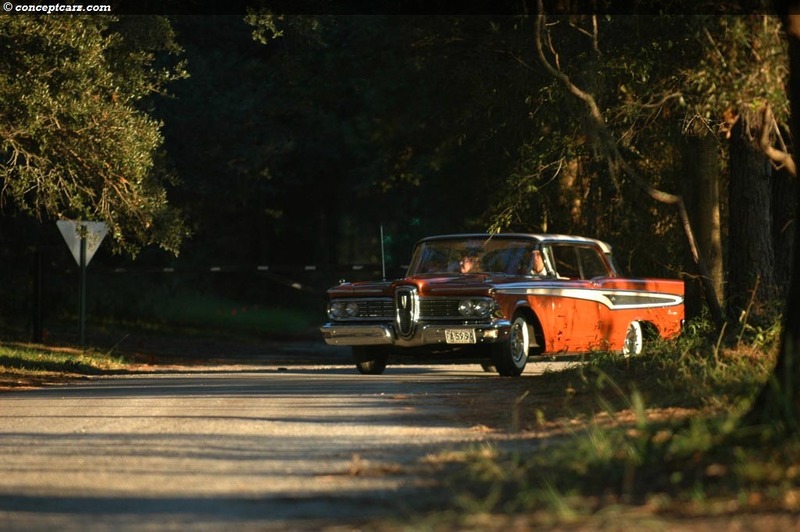 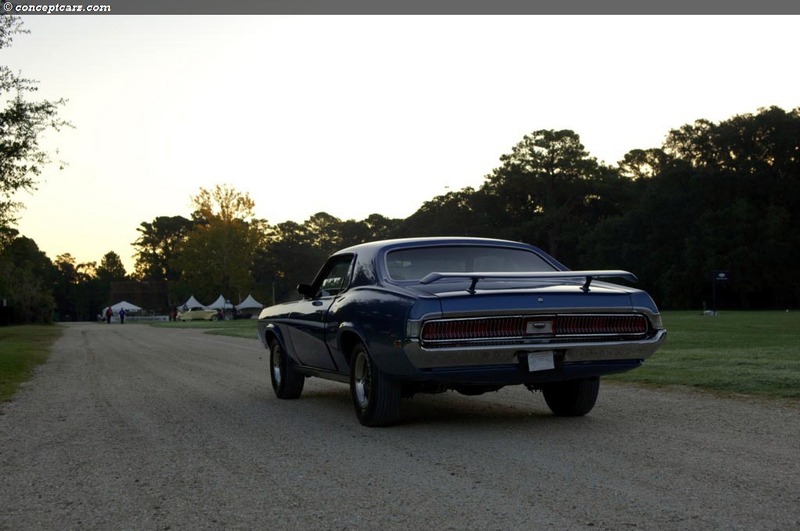 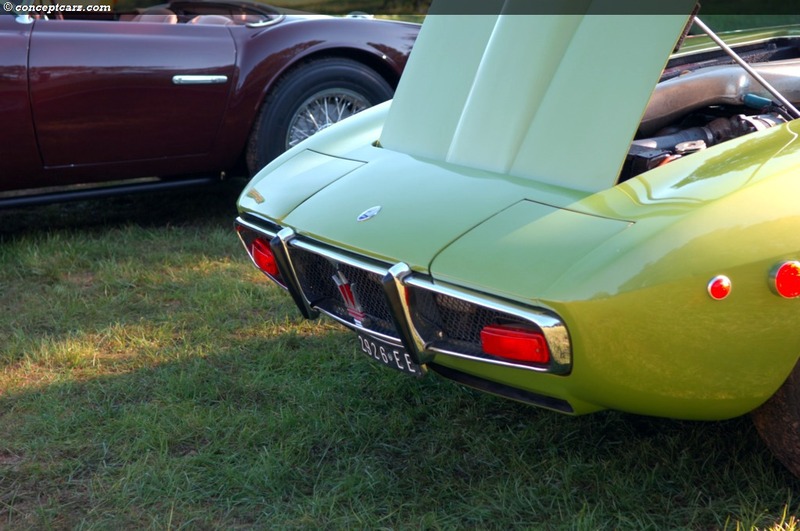 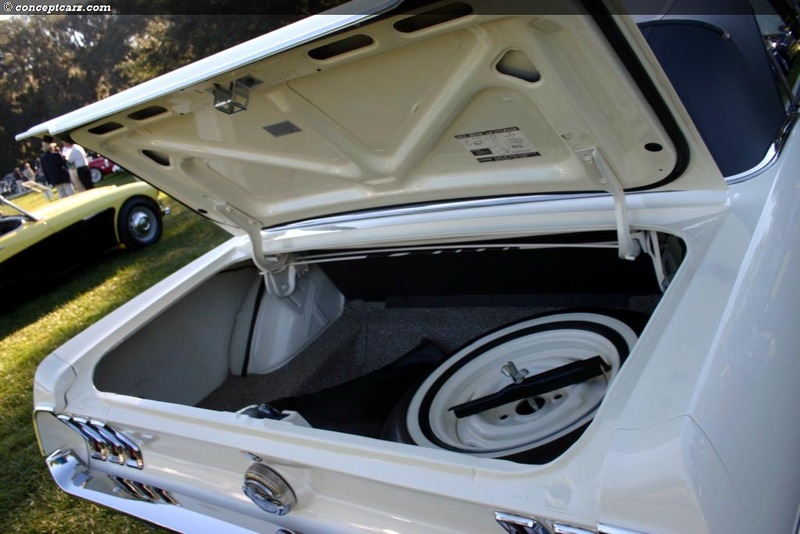 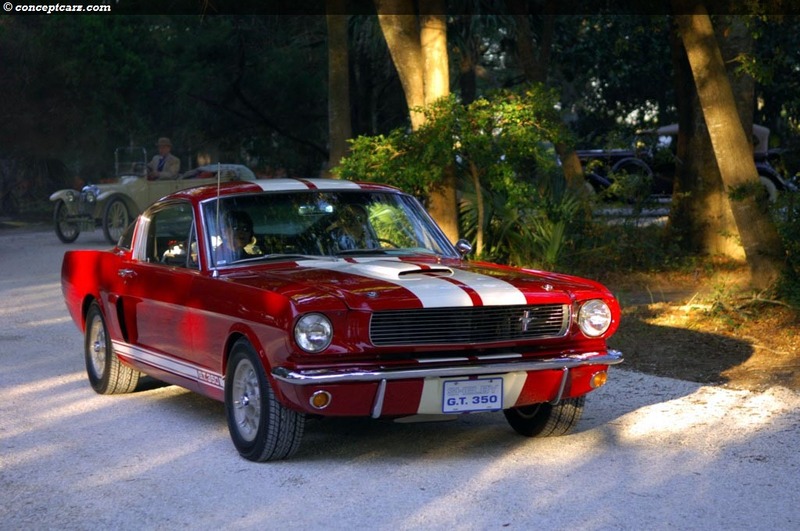 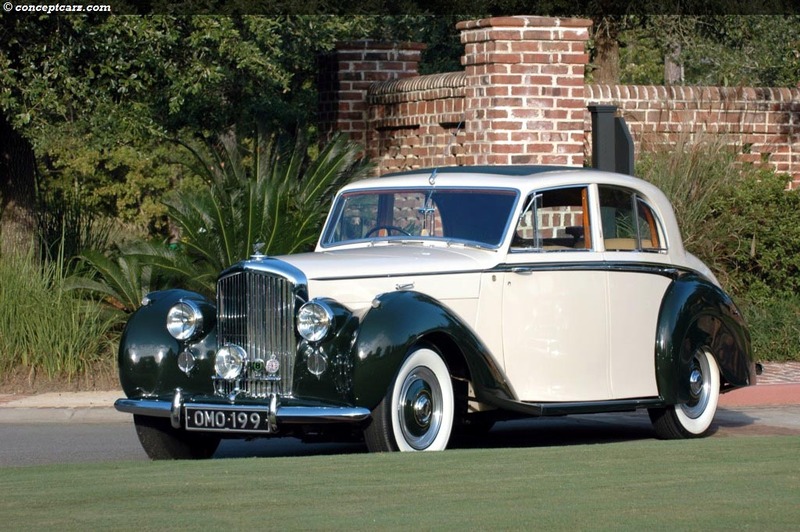 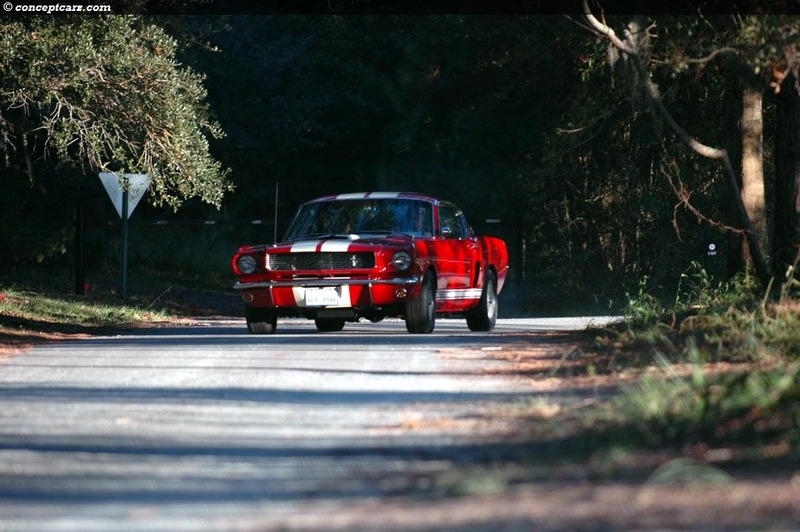 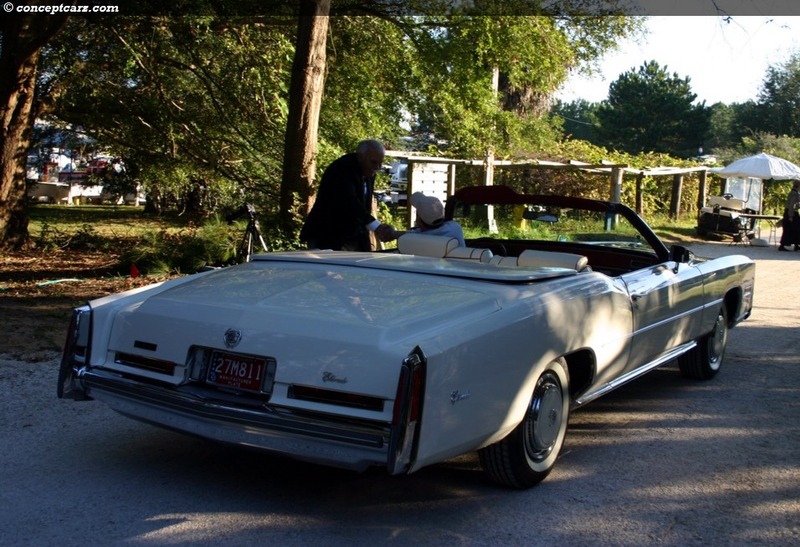 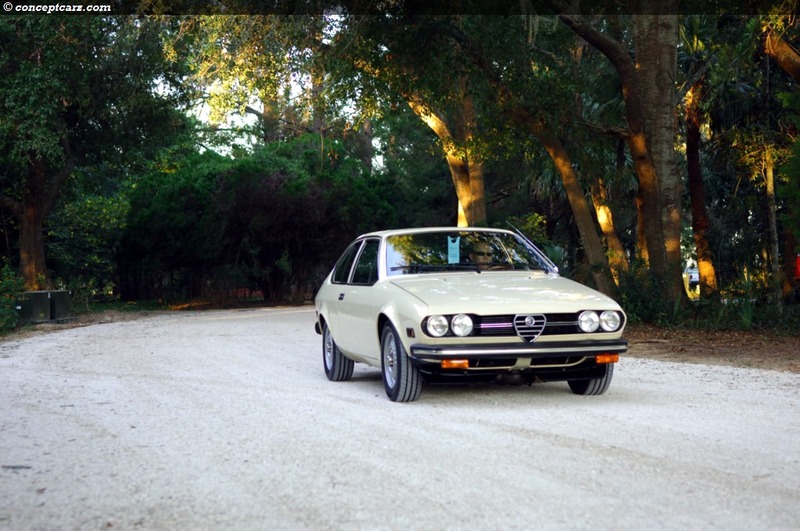 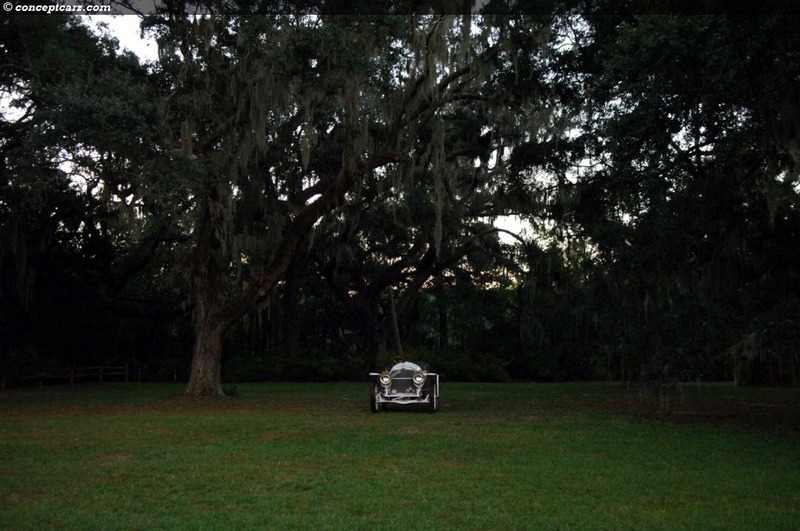 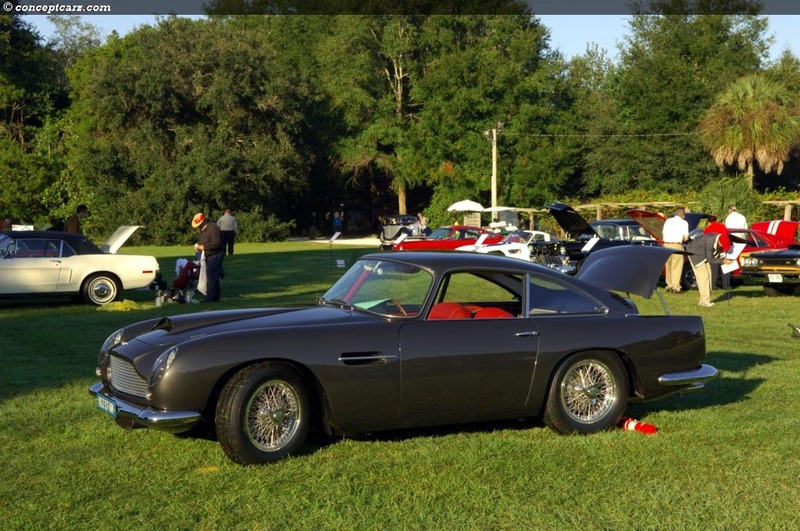 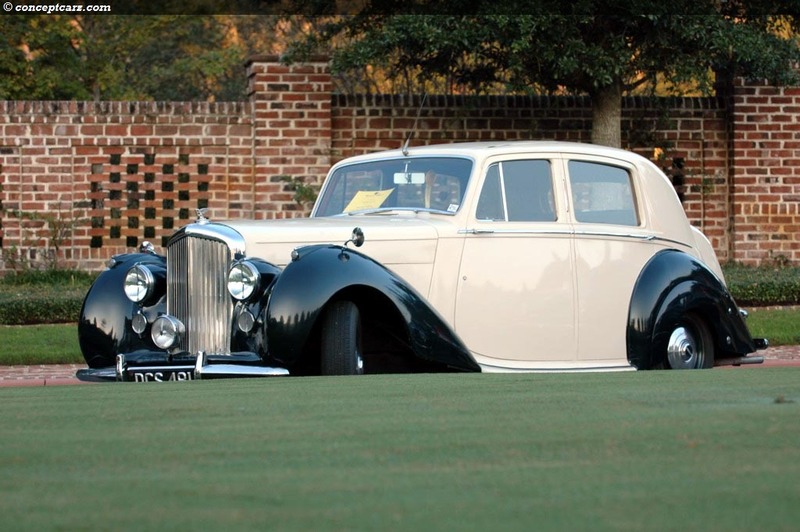 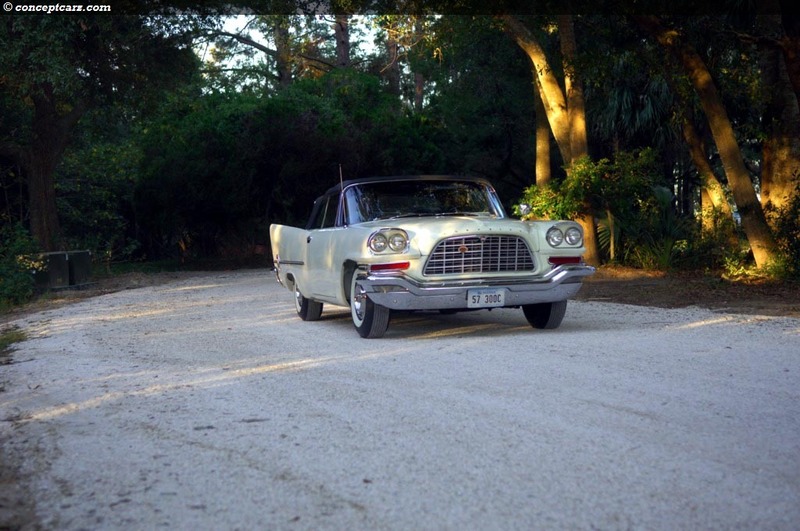 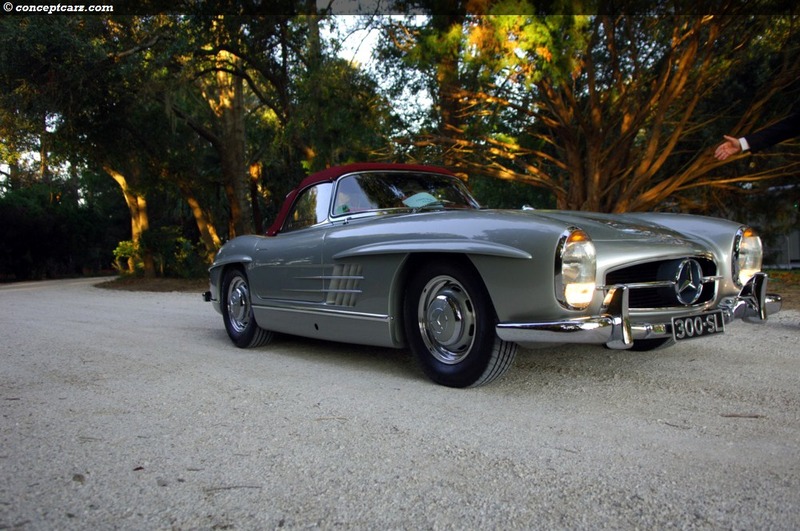 Those in attendance at the Hilton Head Concours d'Elegance can say they have witnessed something indeed, special. 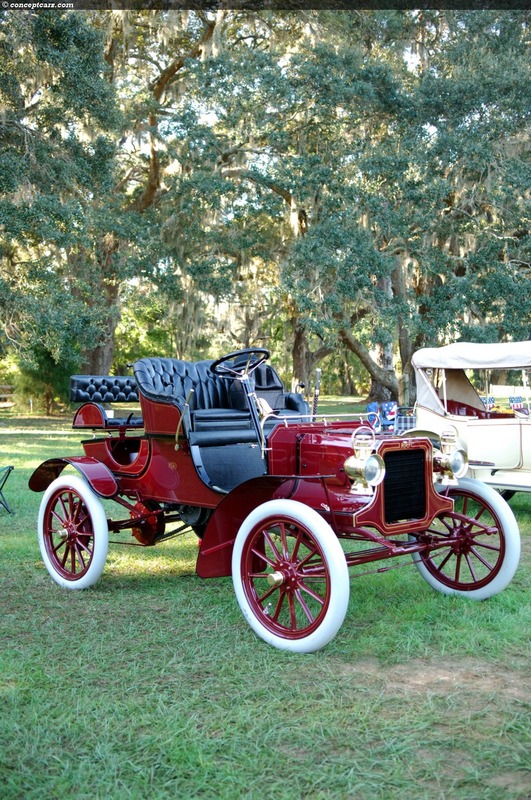 The vehicles on display, which have been so lovingly restored, maintained, and preserved, represent a period of history that is uniquely monumental. 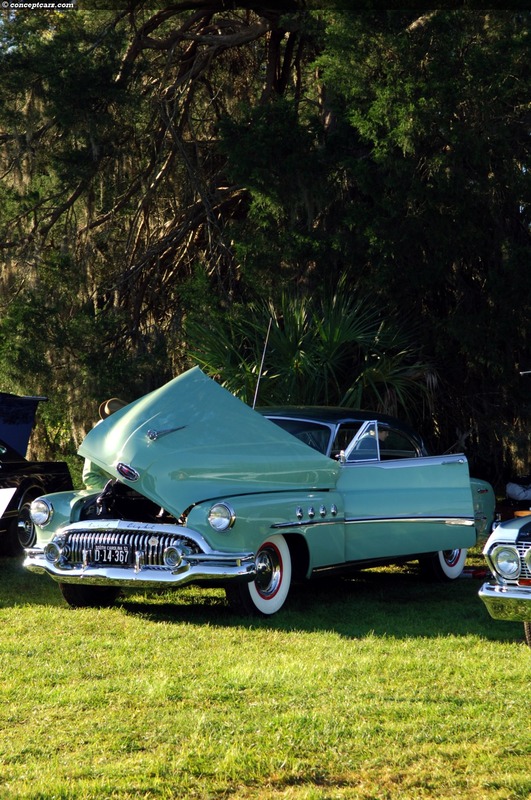 The great assortment of automobiles coupled with sunny, warm weather makes for a very enjoyable and relaxing show. 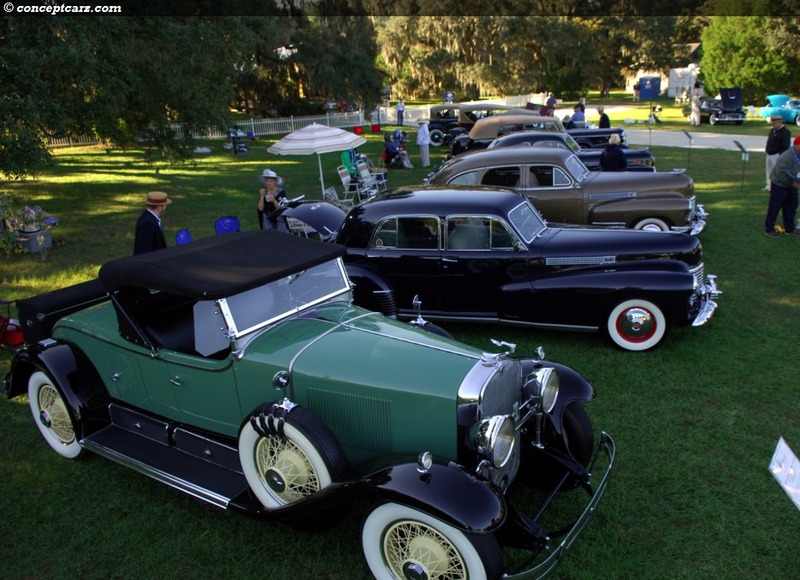 This event, now in its sixth year, is a well-oiled machine with the days activities conducted in a very fluid motion.